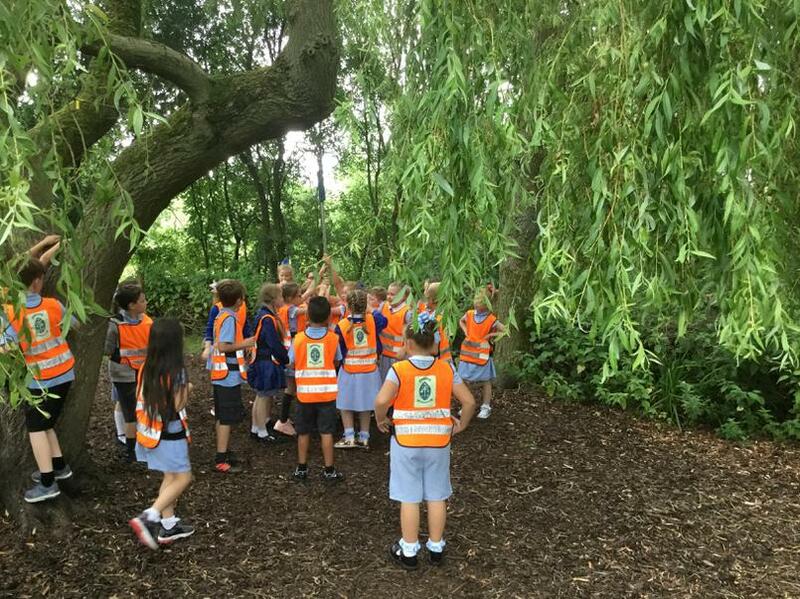 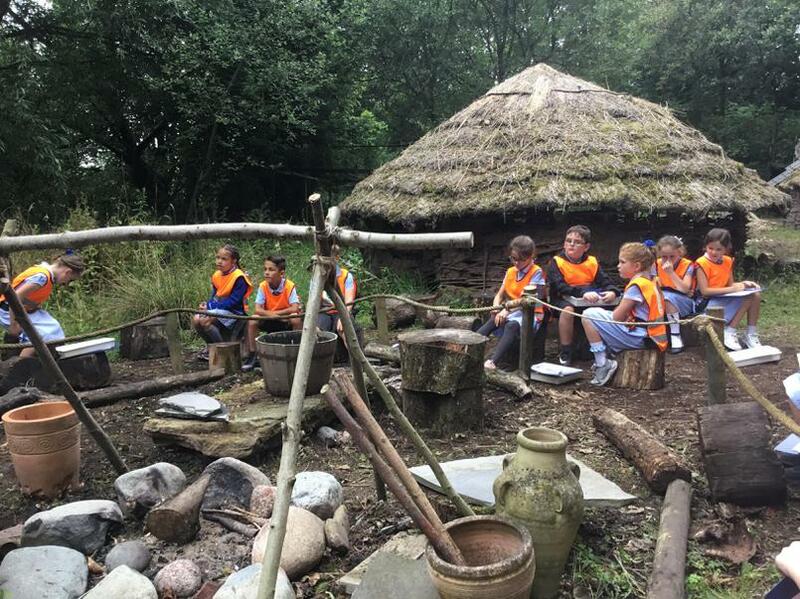 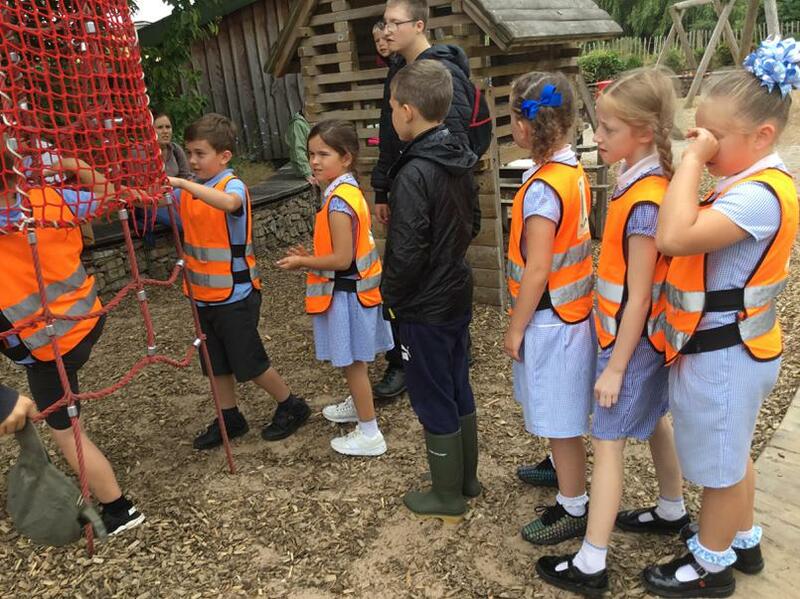 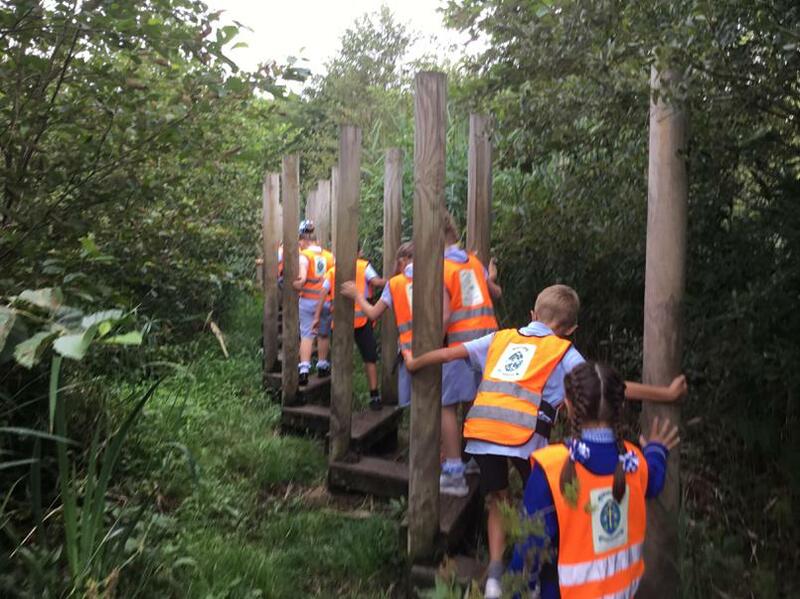 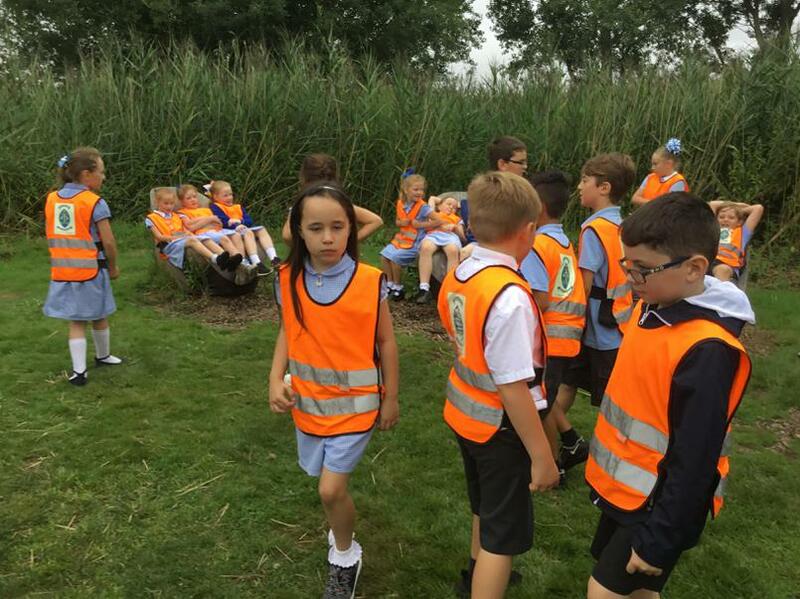 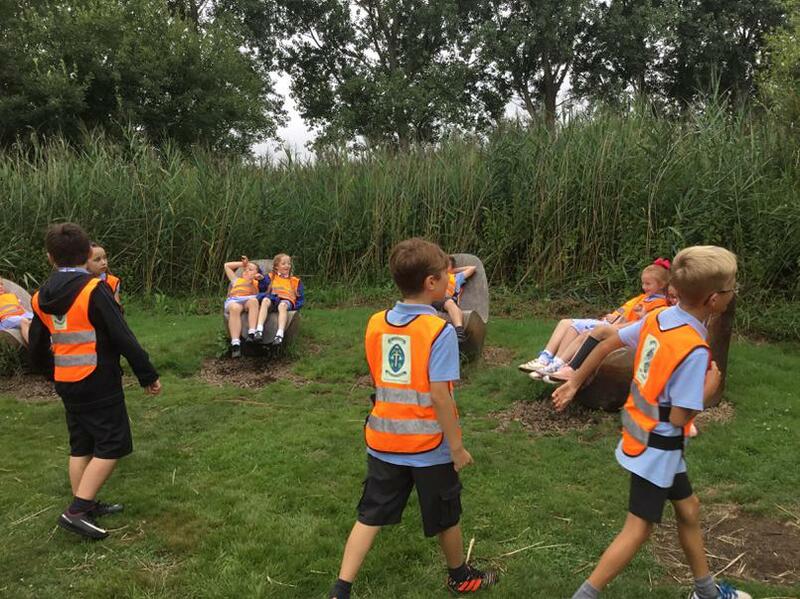 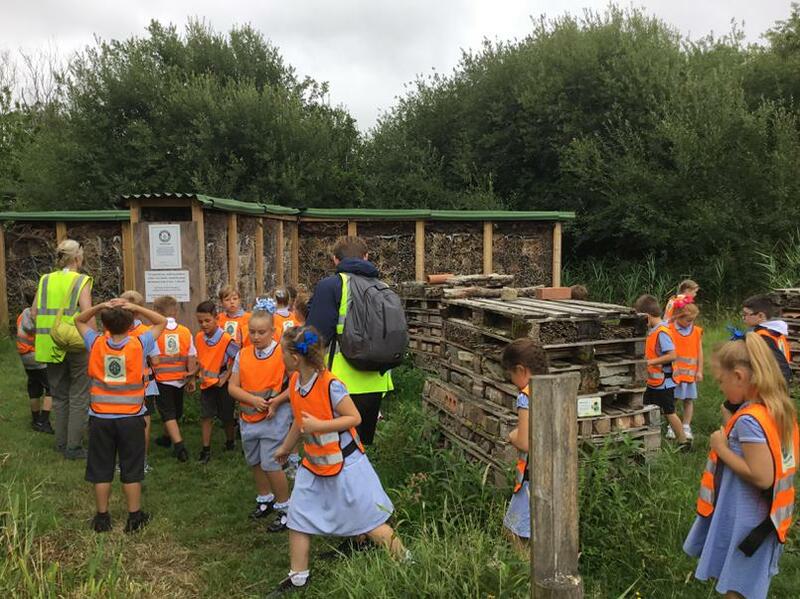 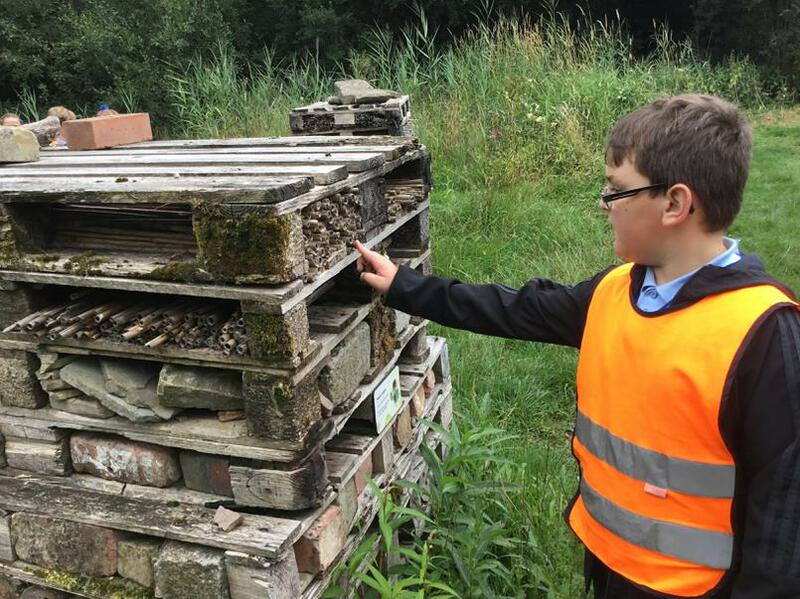 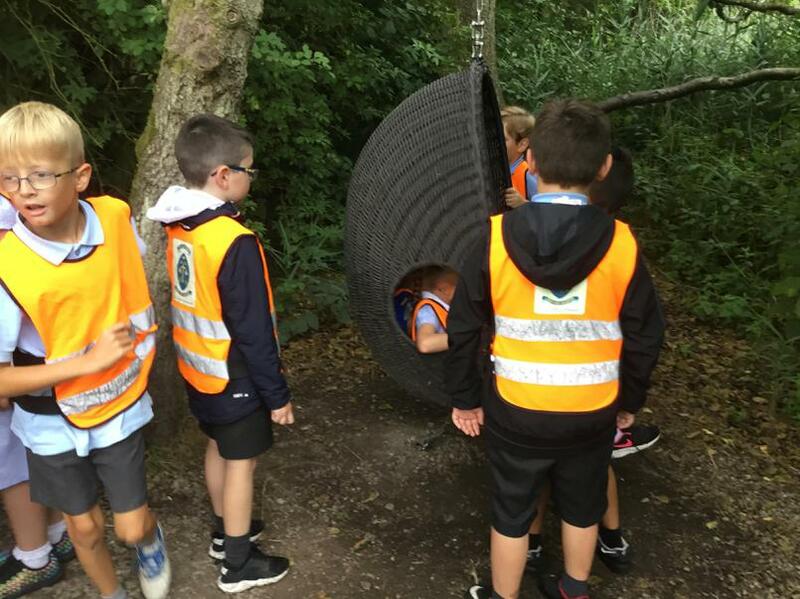 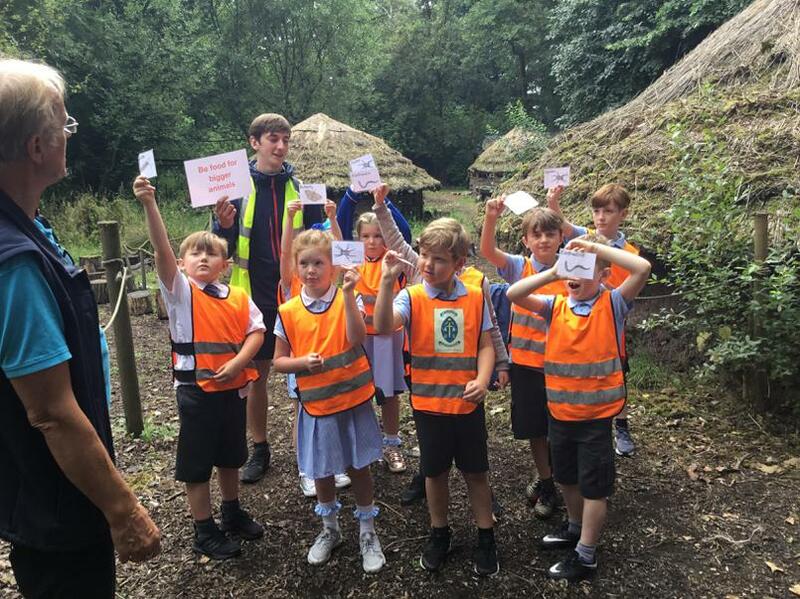 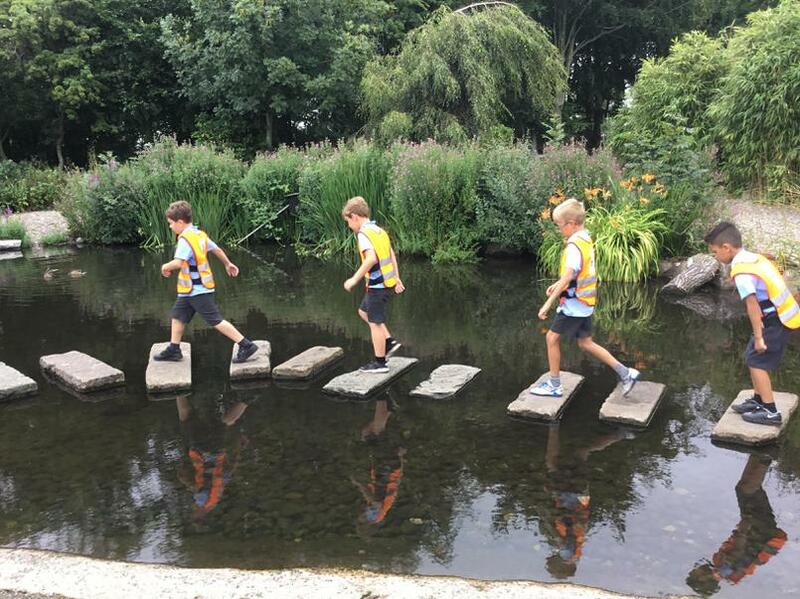 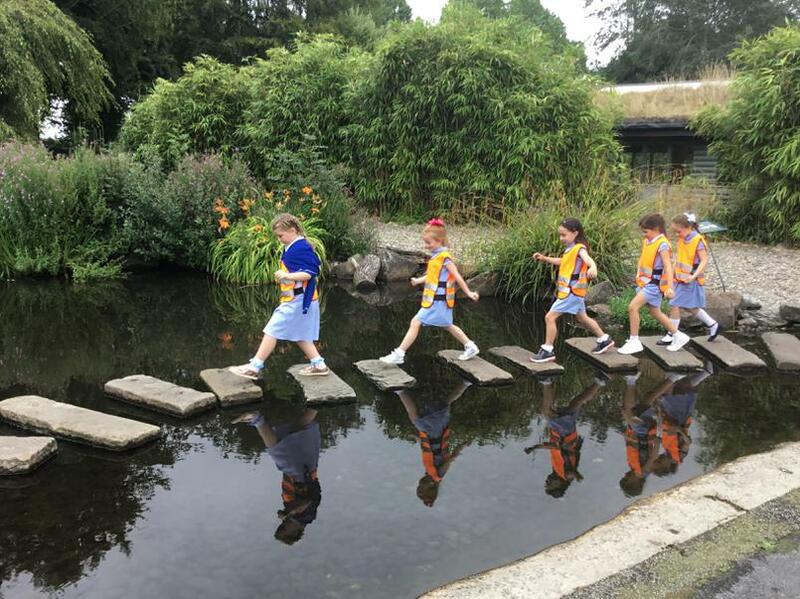 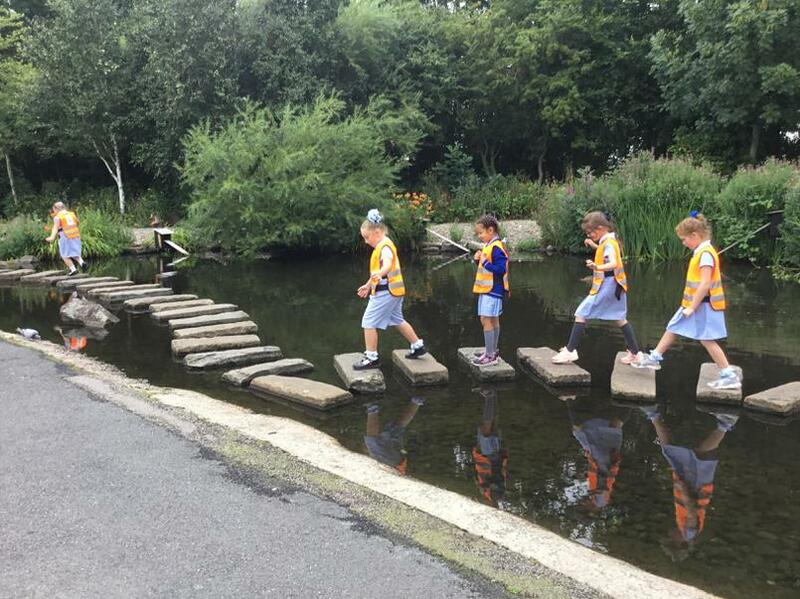 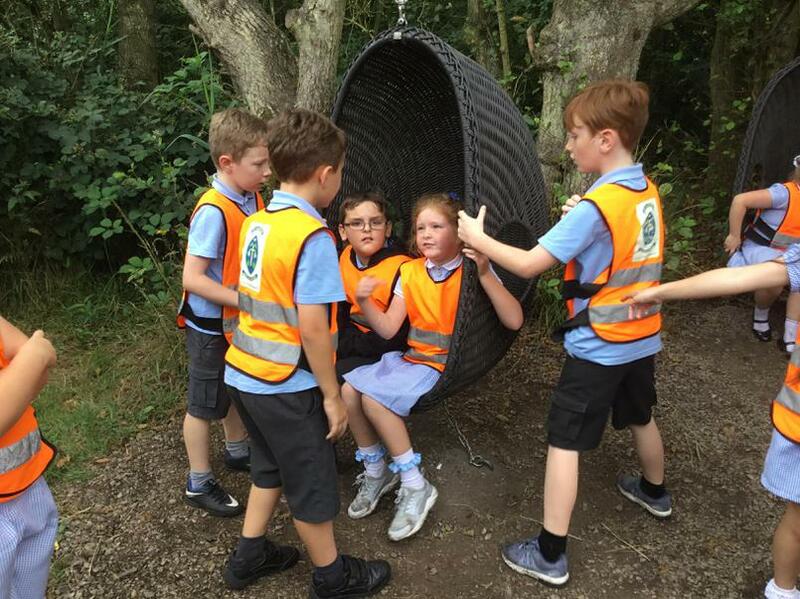 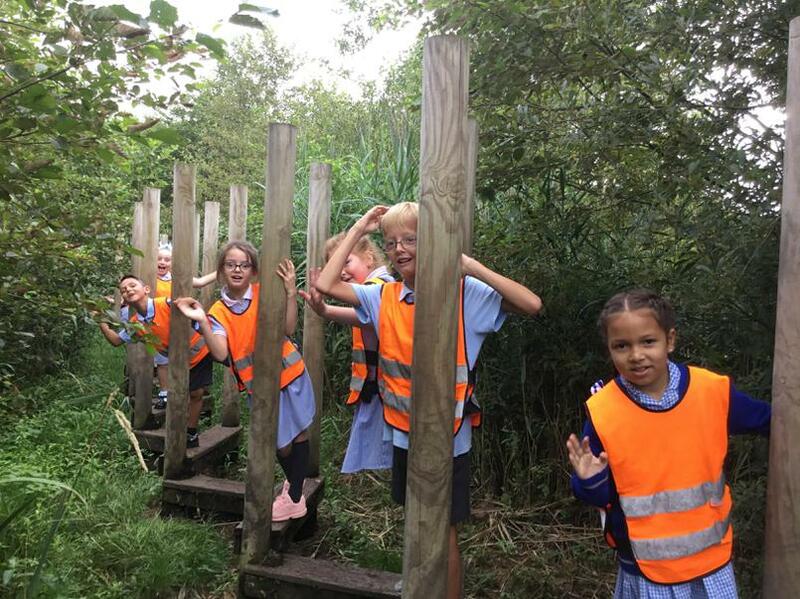 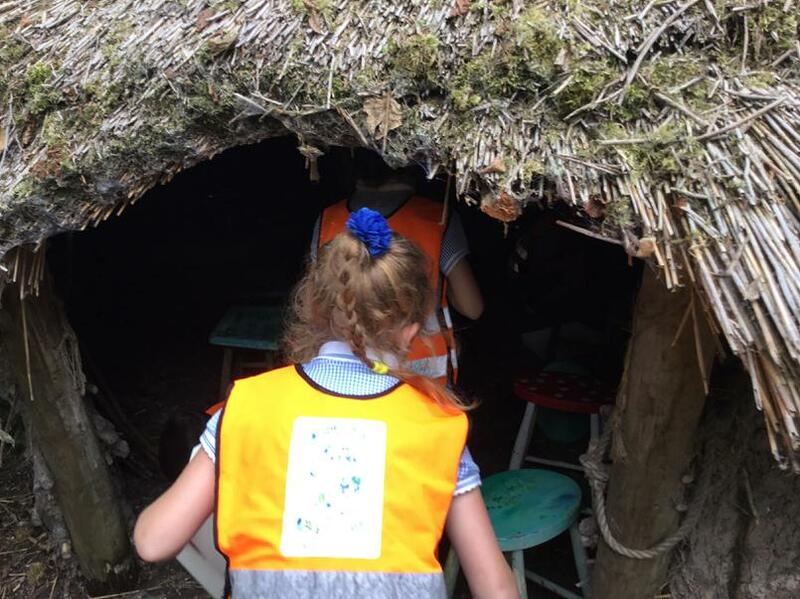 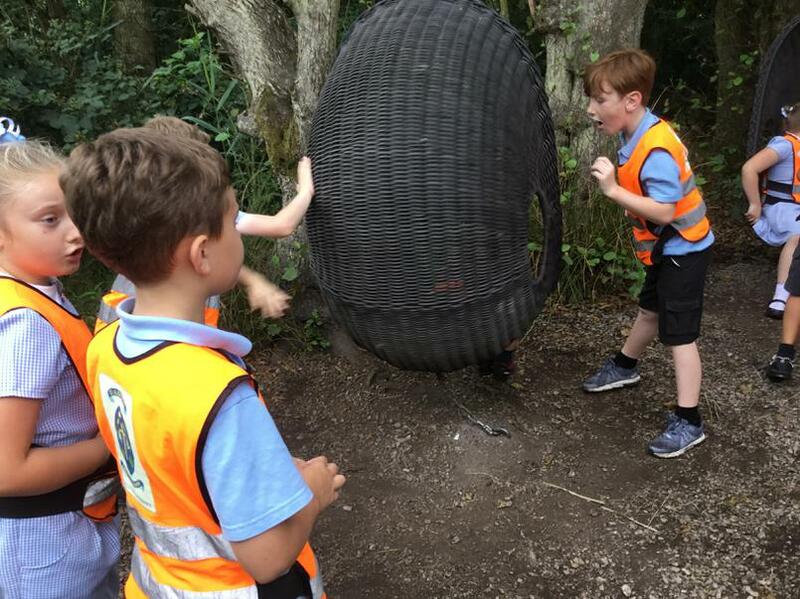 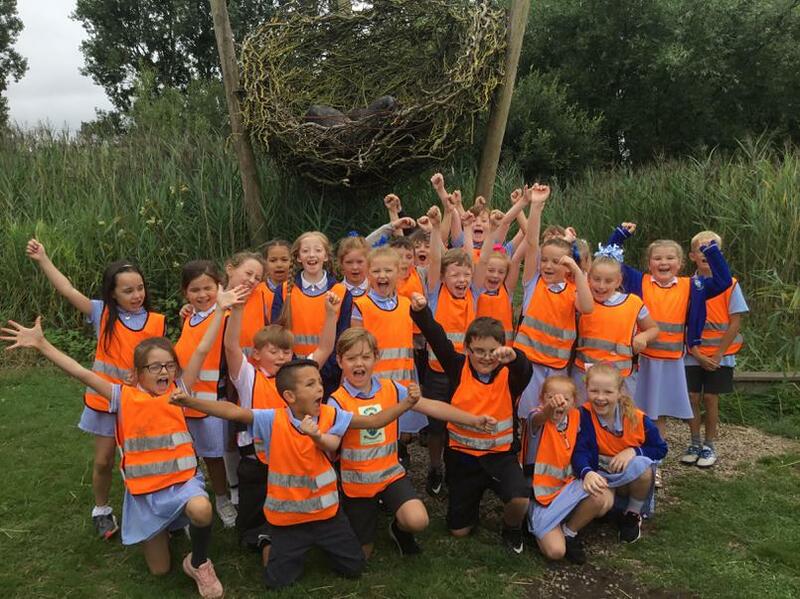 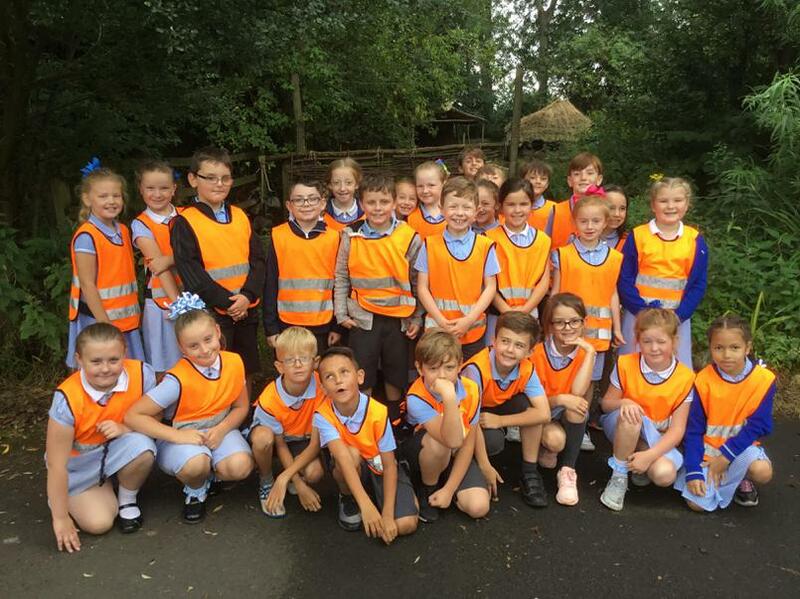 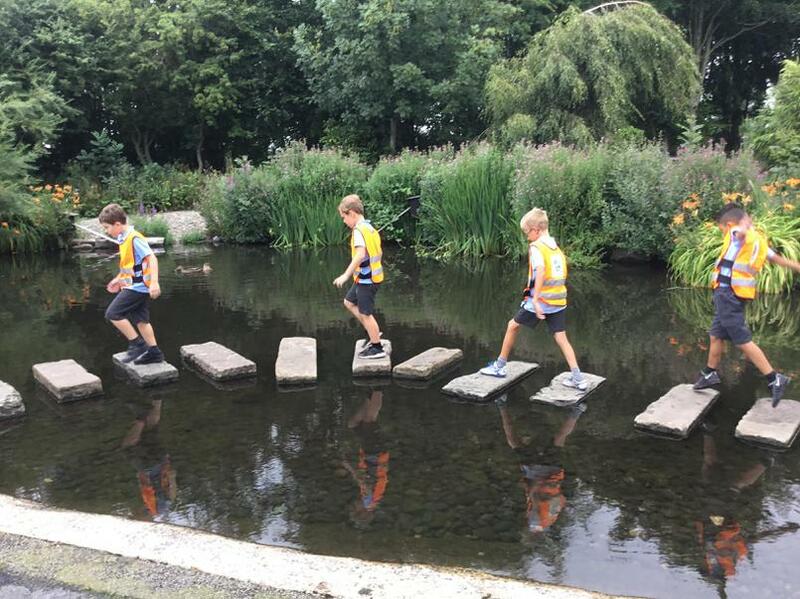 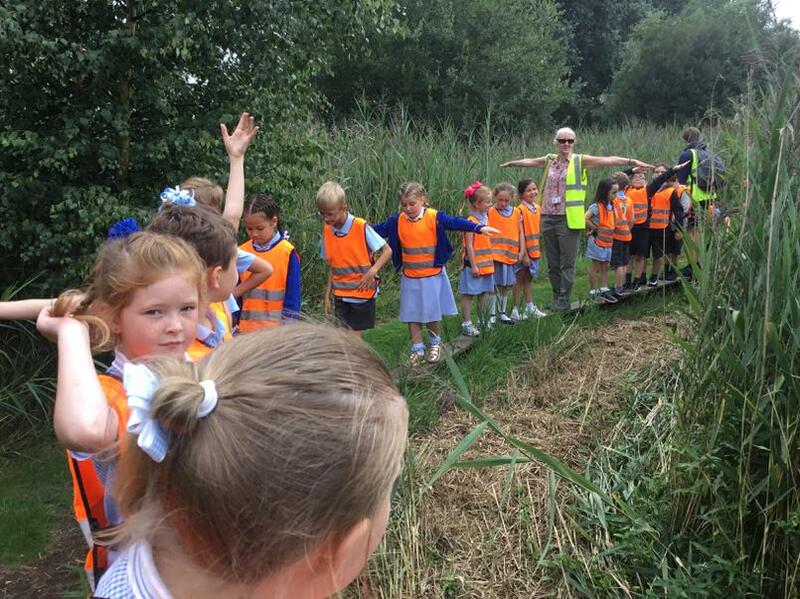 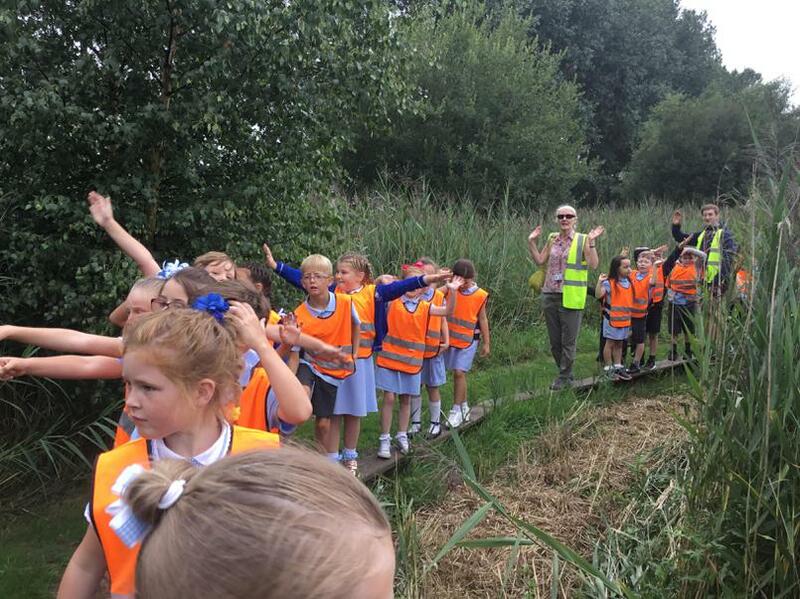 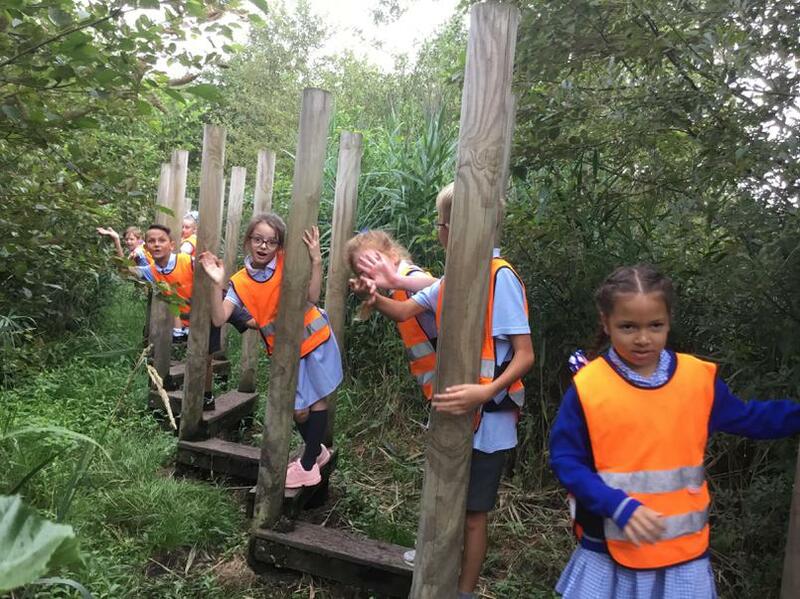 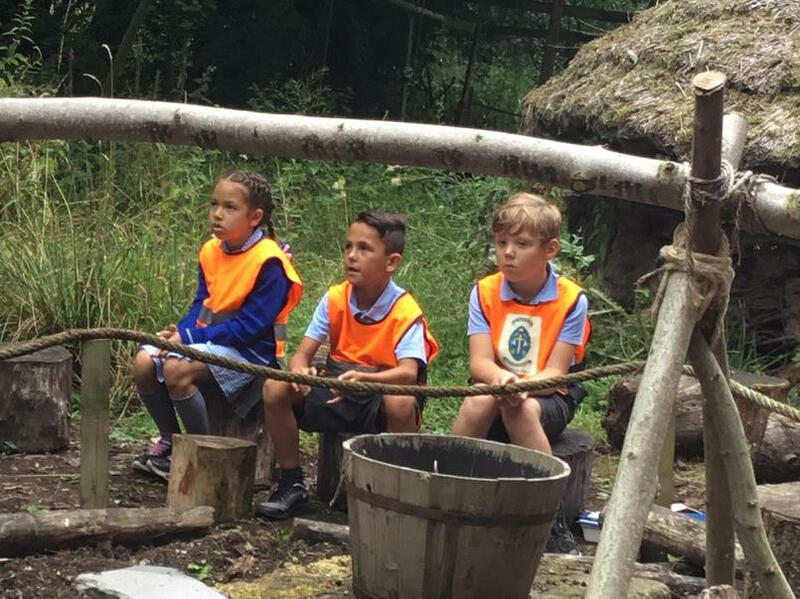 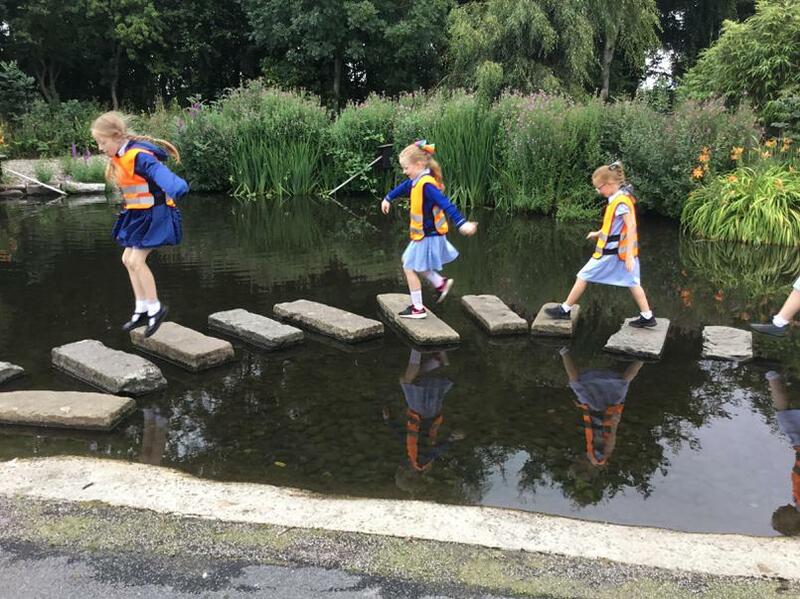 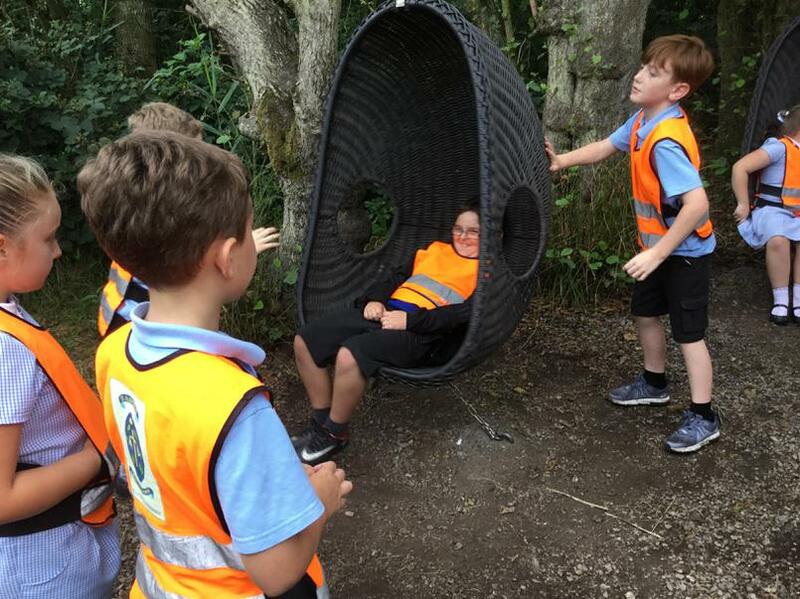 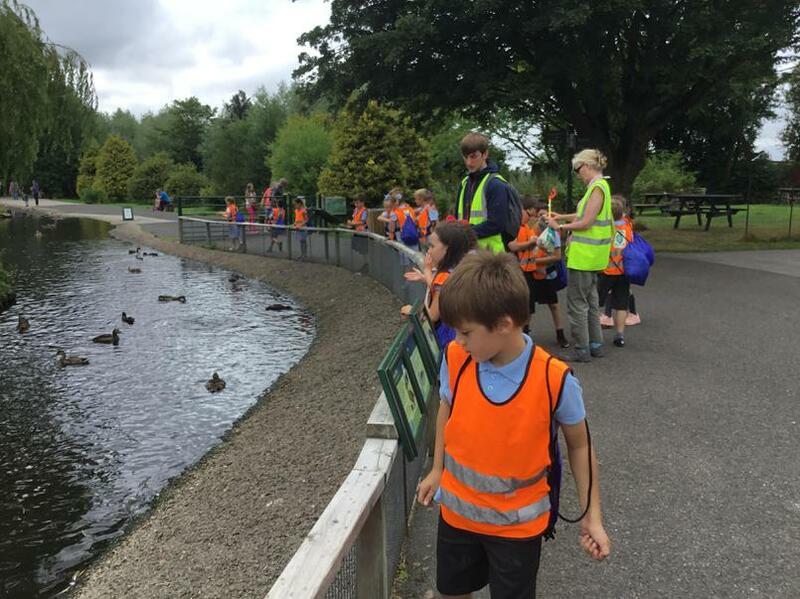 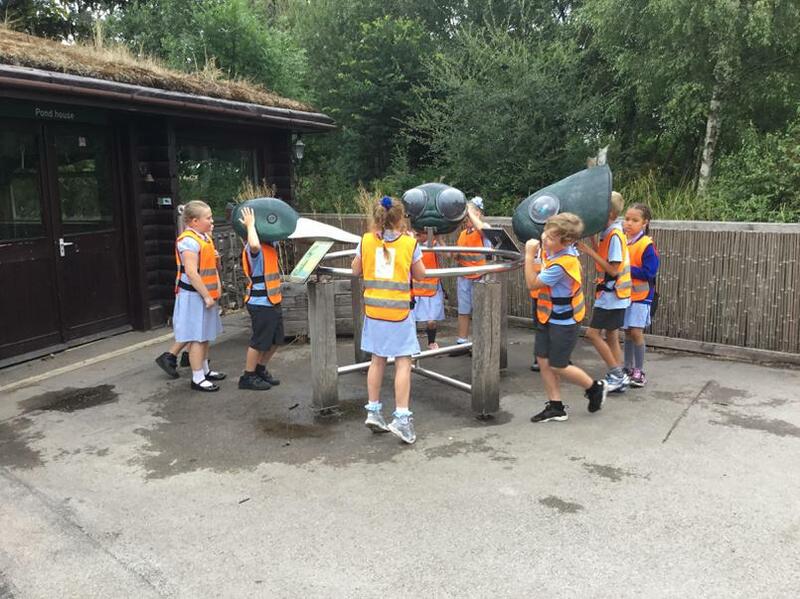 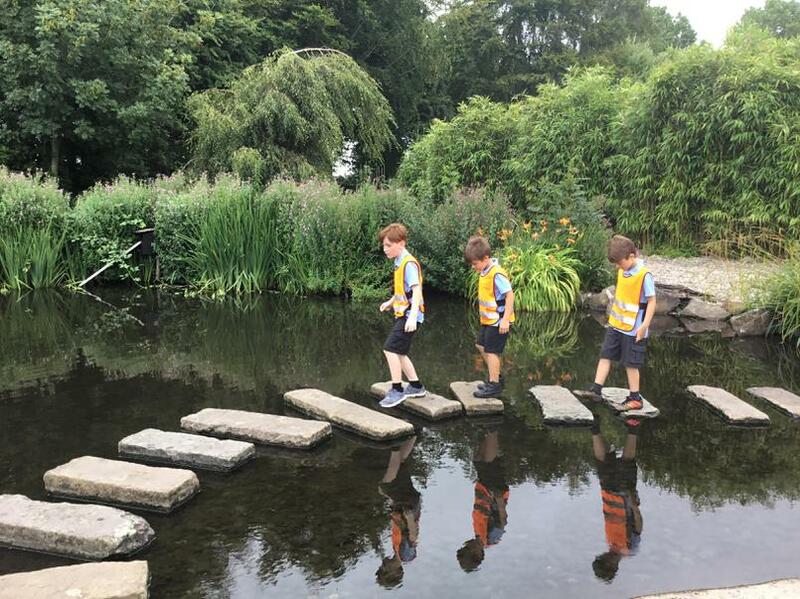 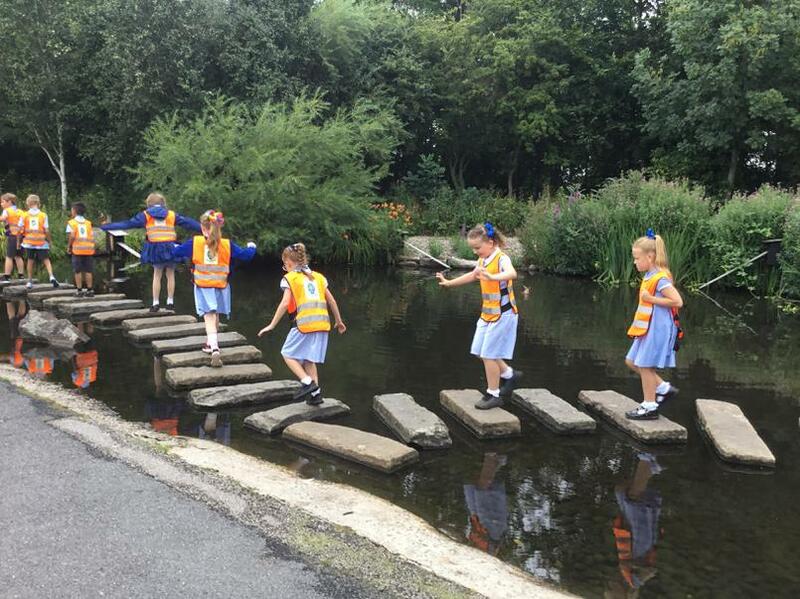 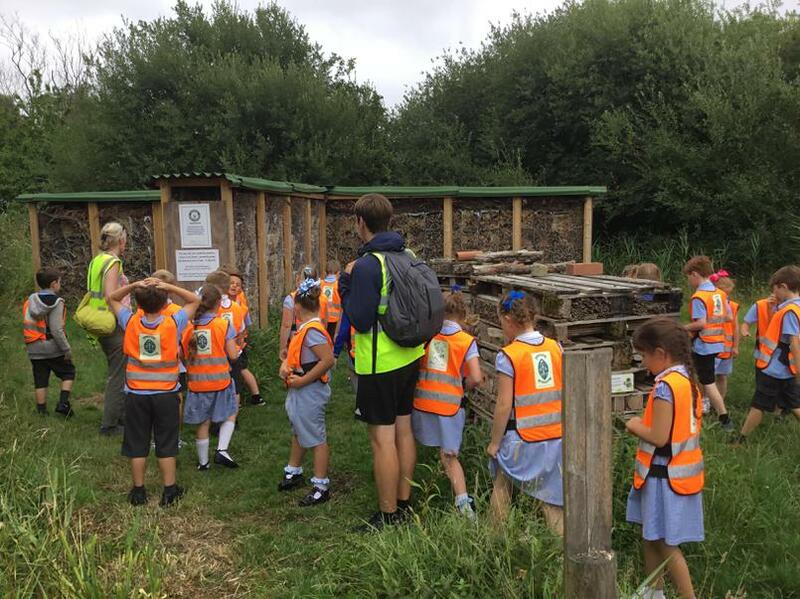 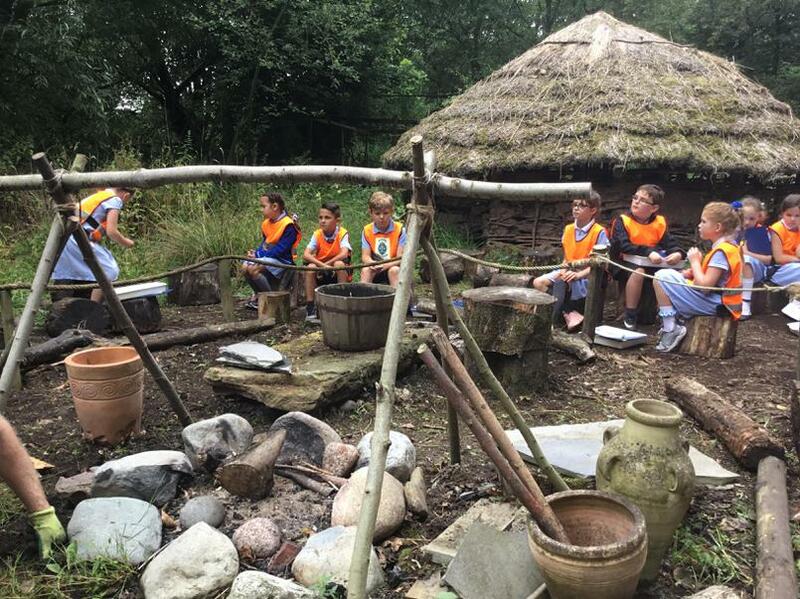 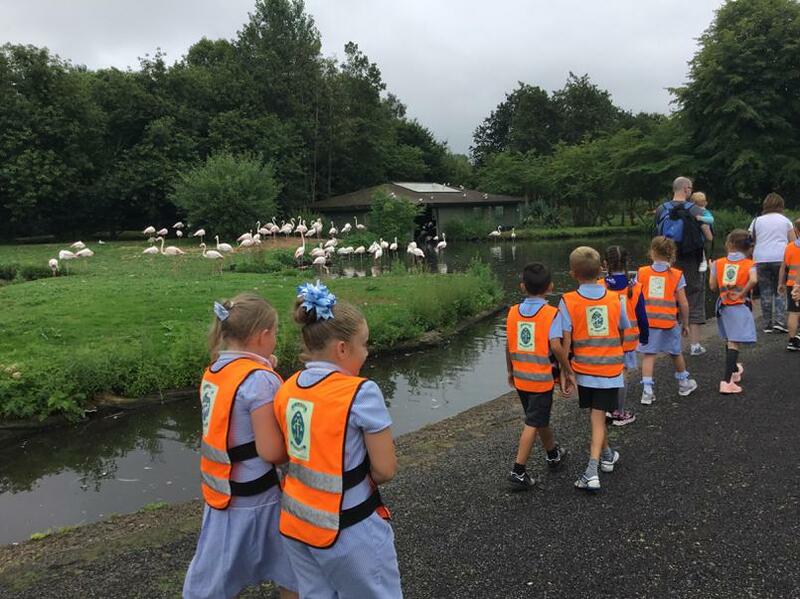 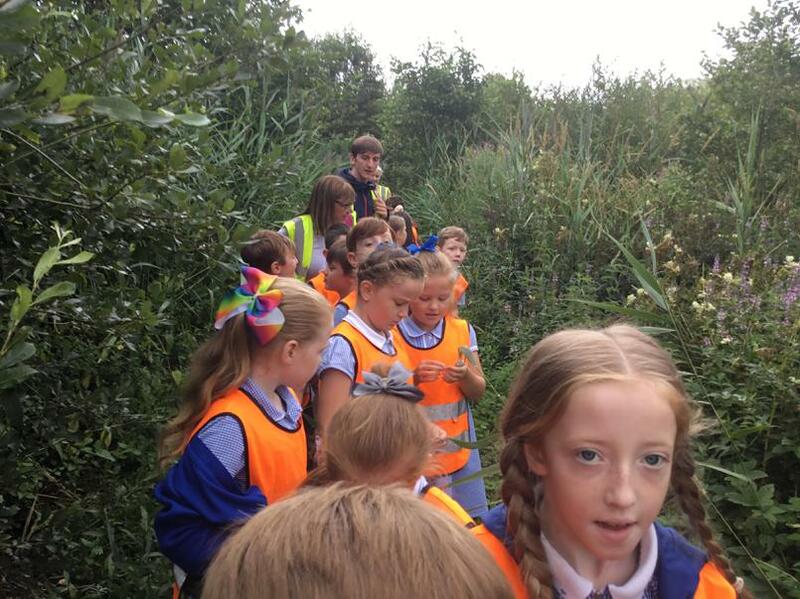 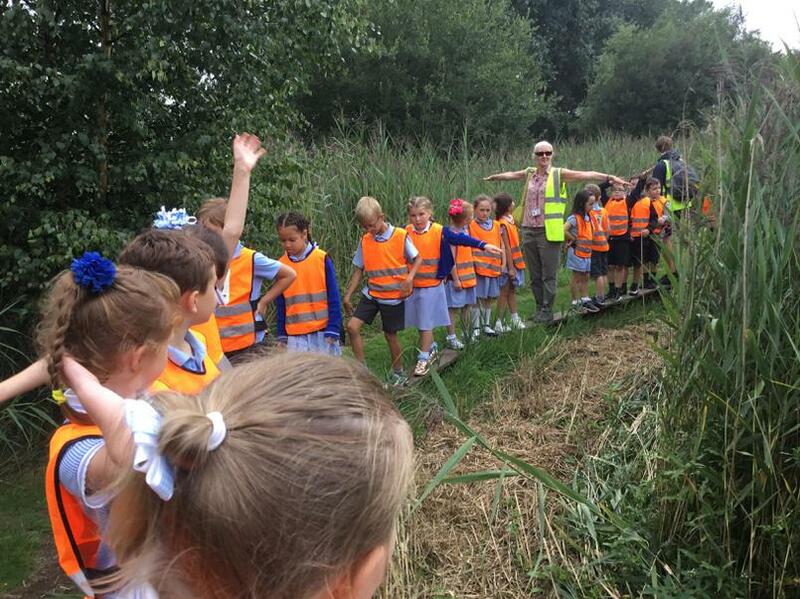 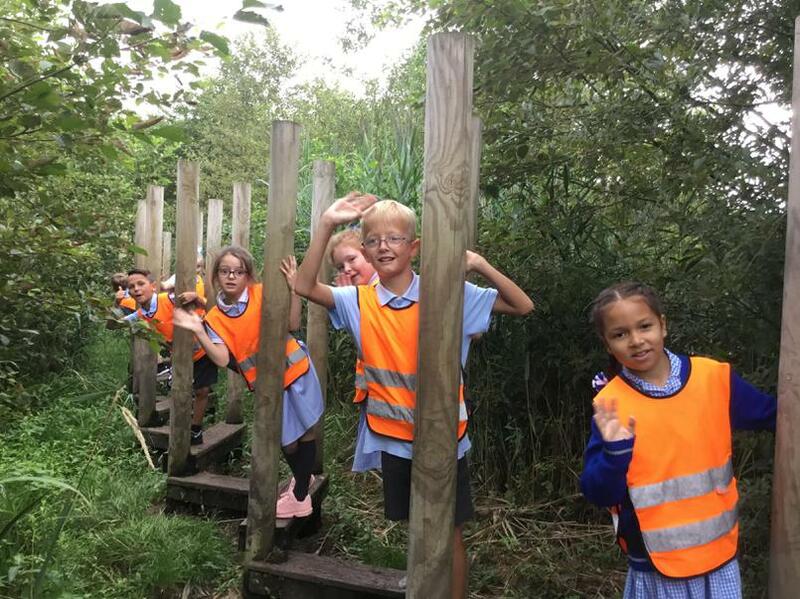 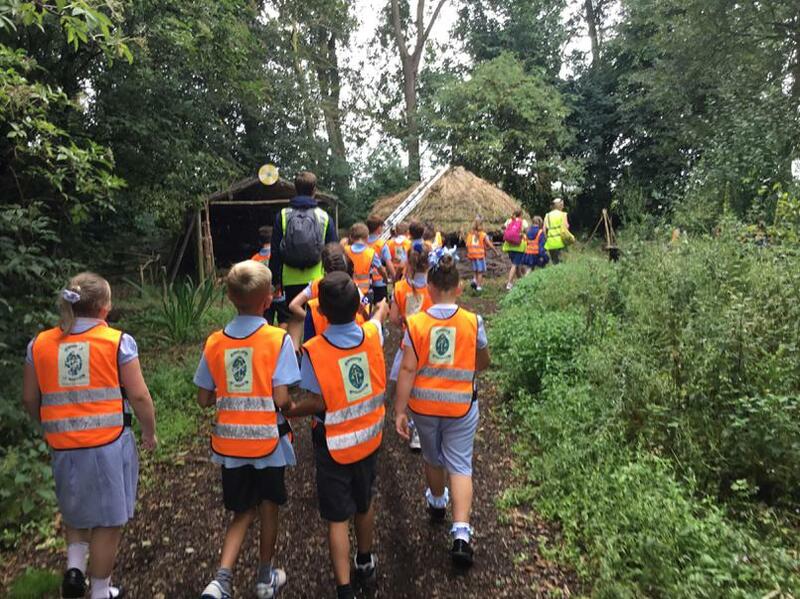 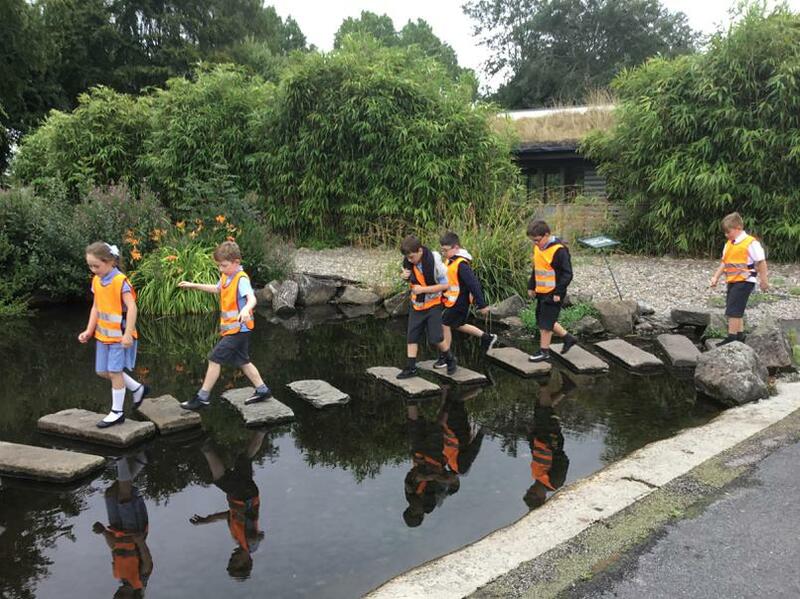 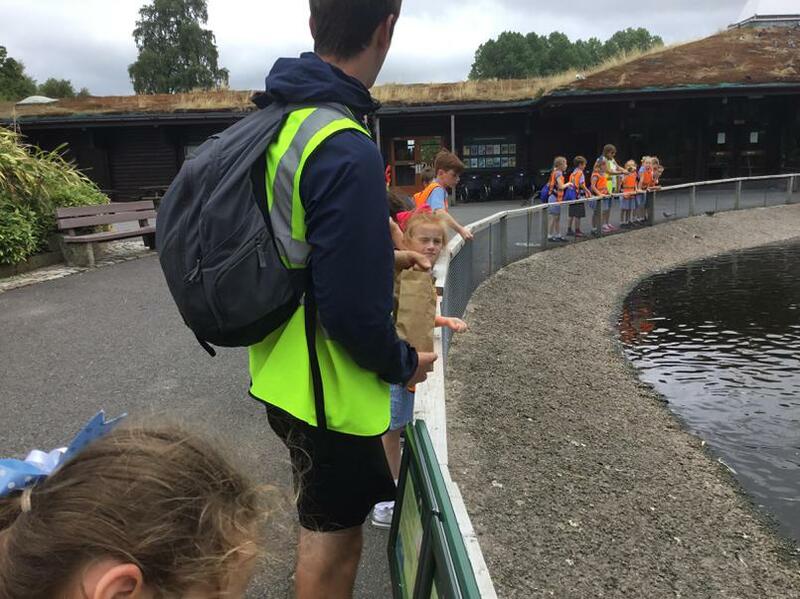 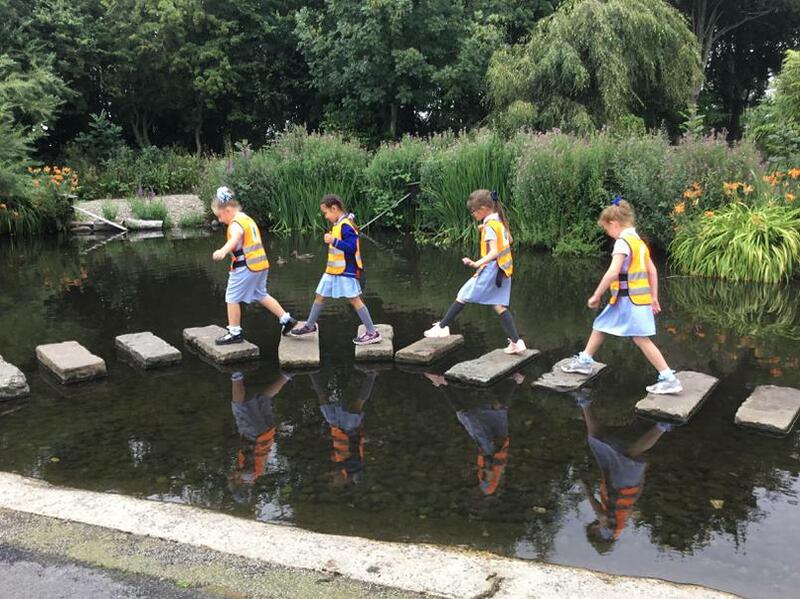 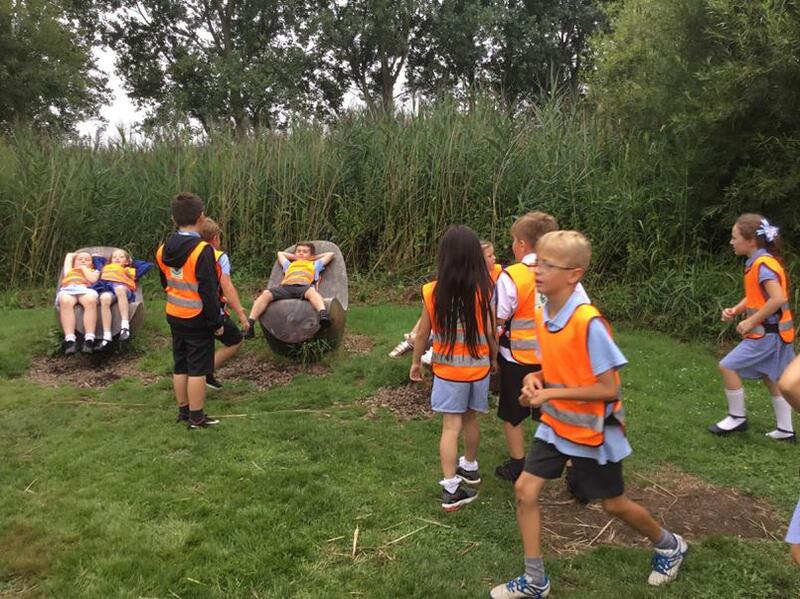 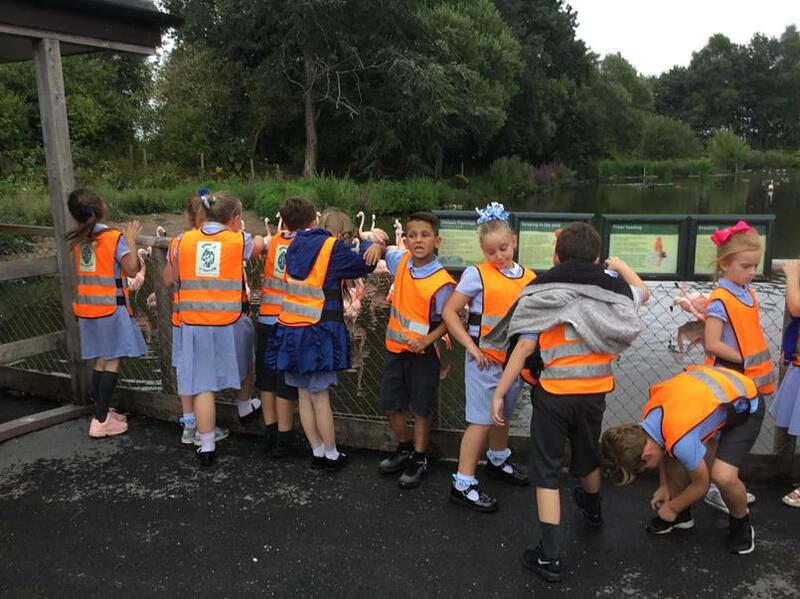 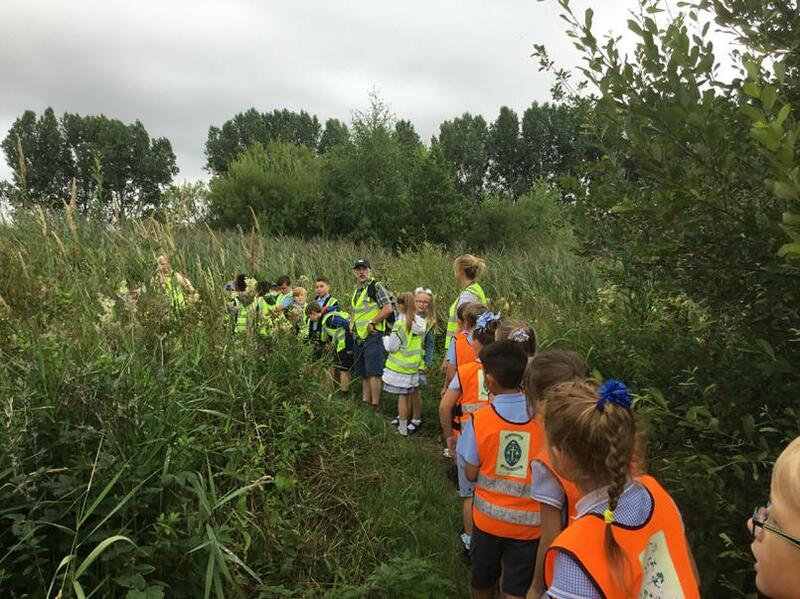 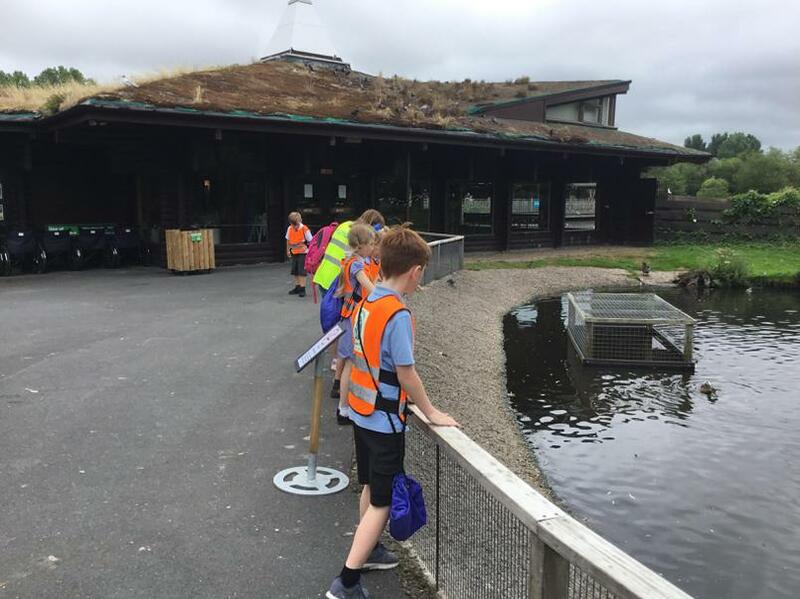 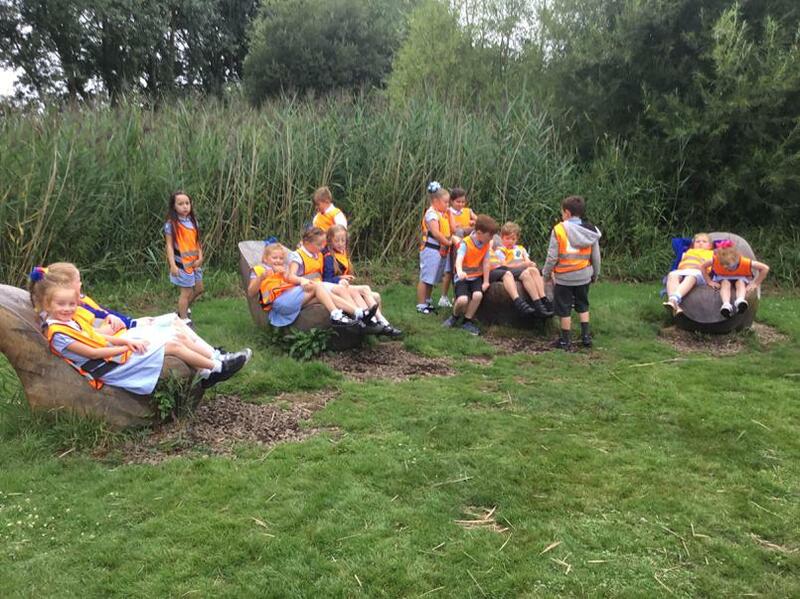 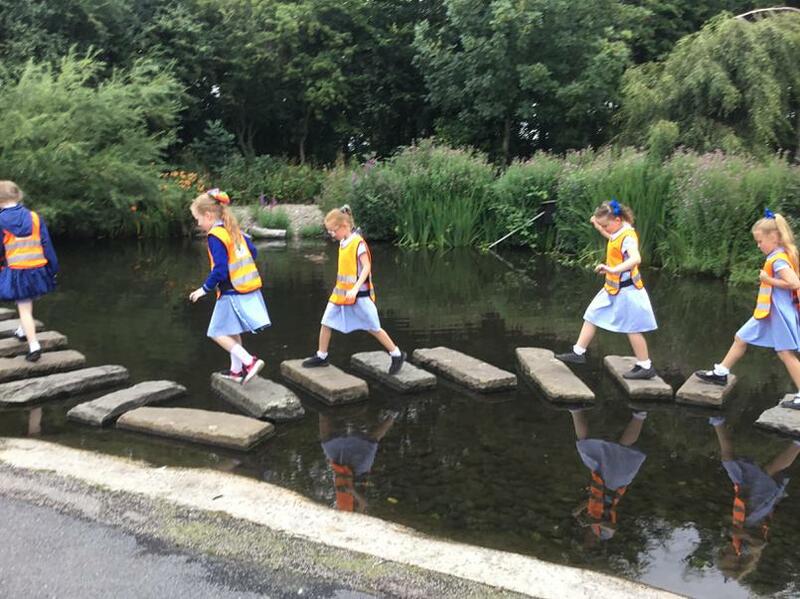 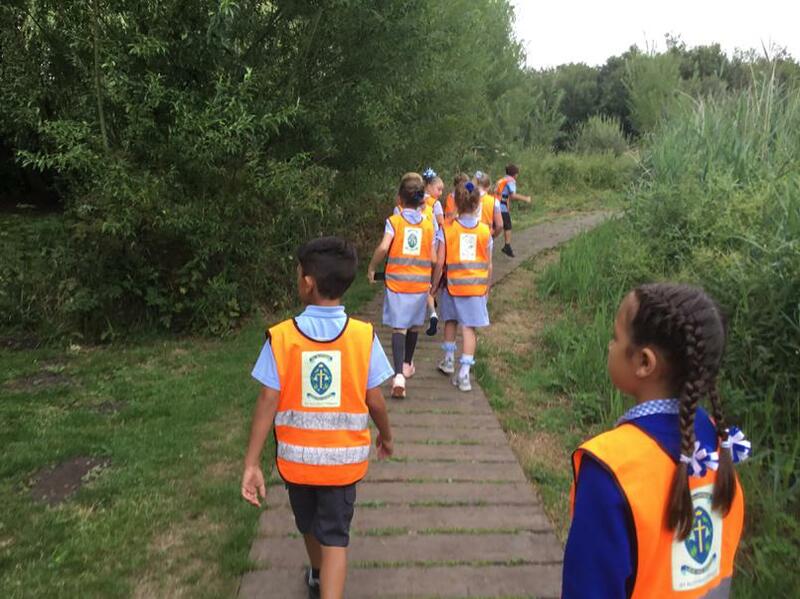 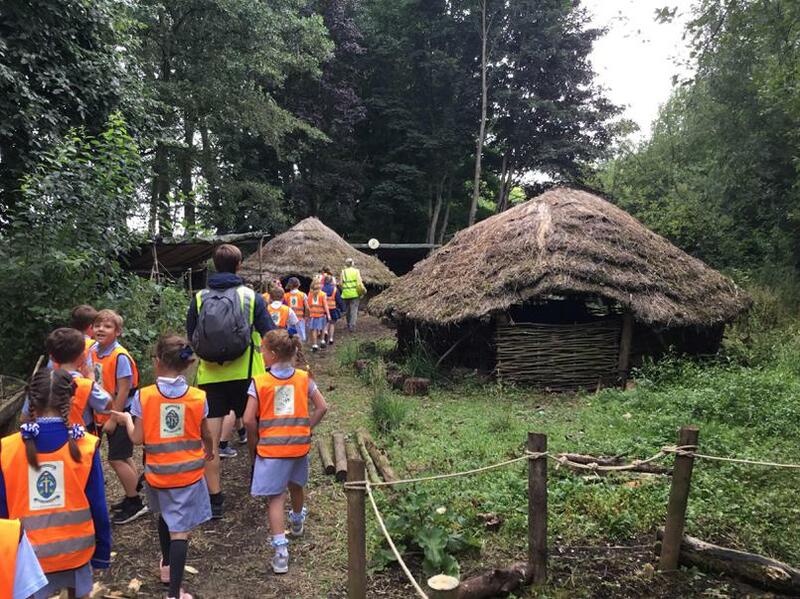 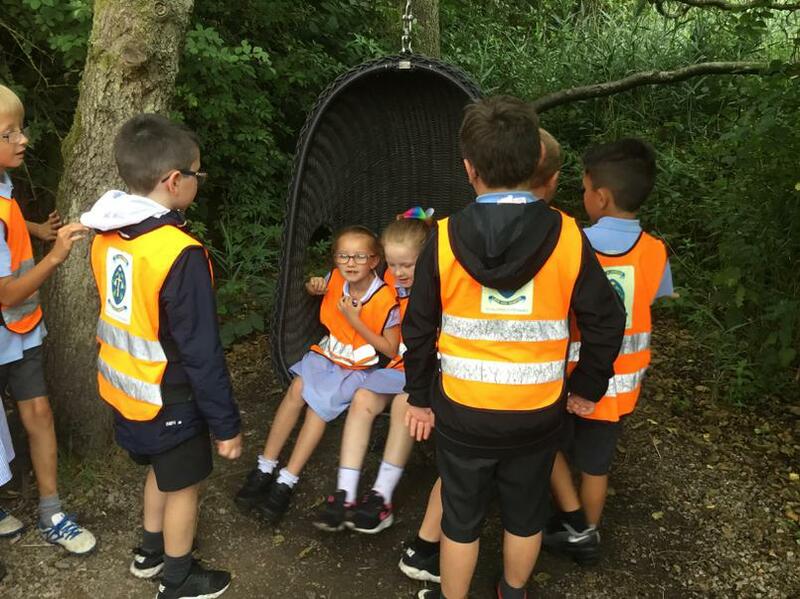 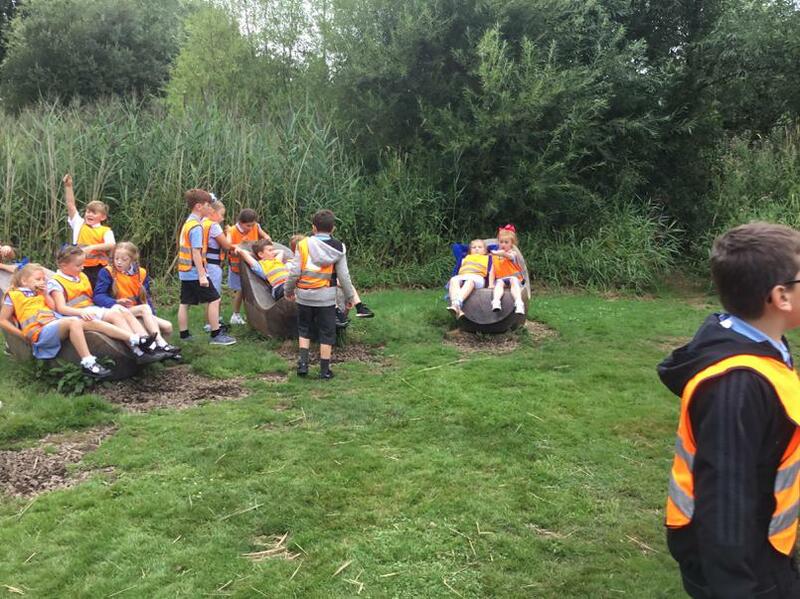 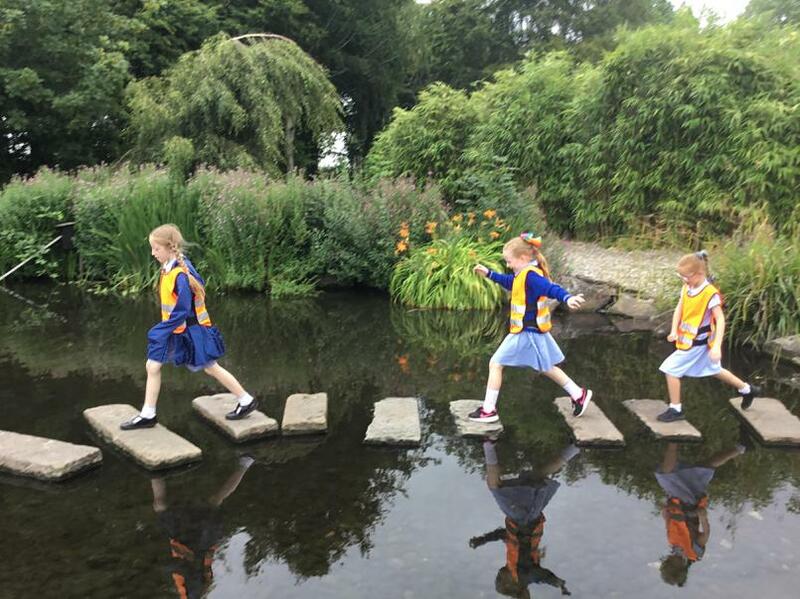 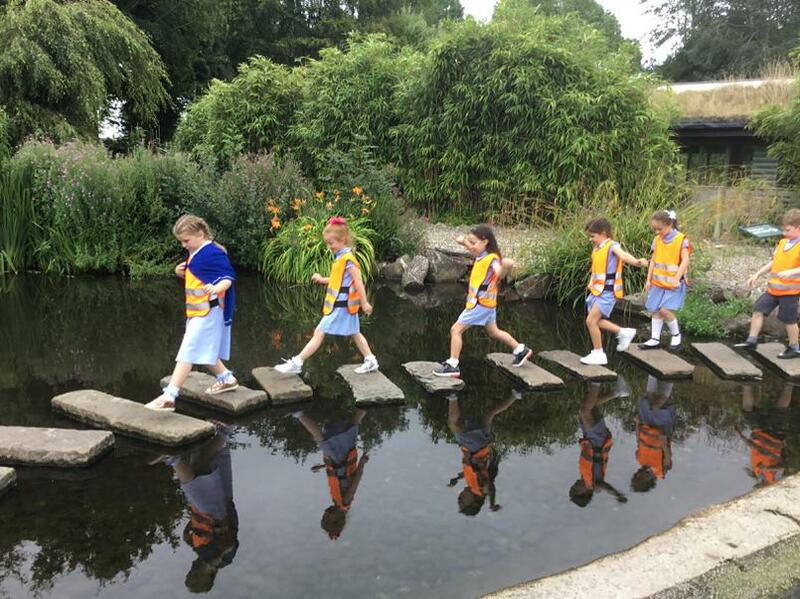 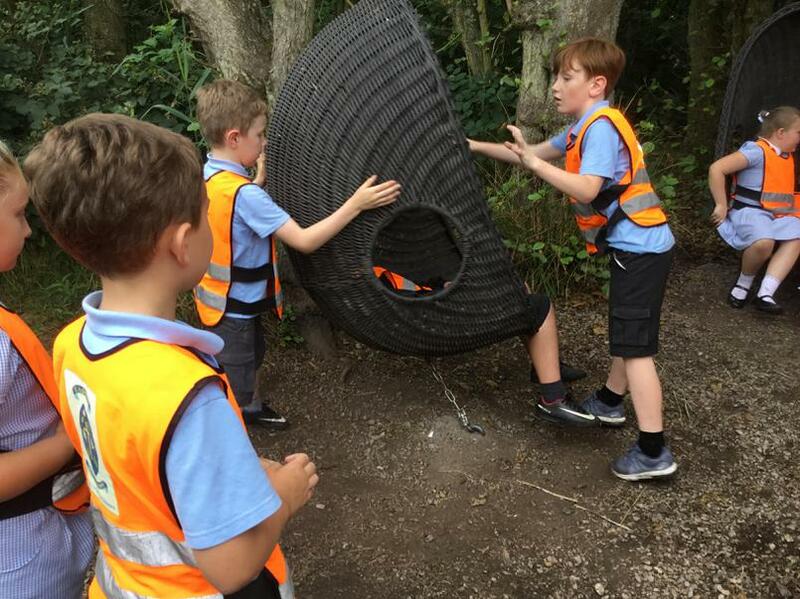 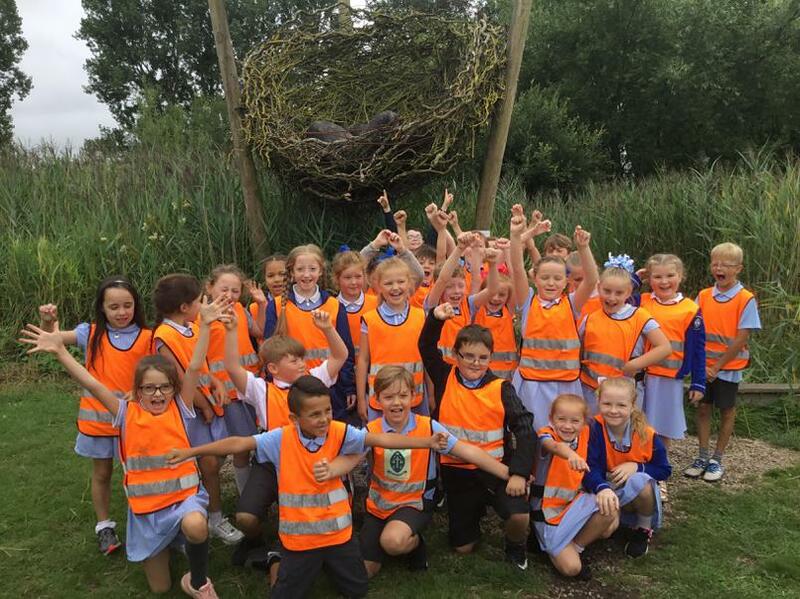 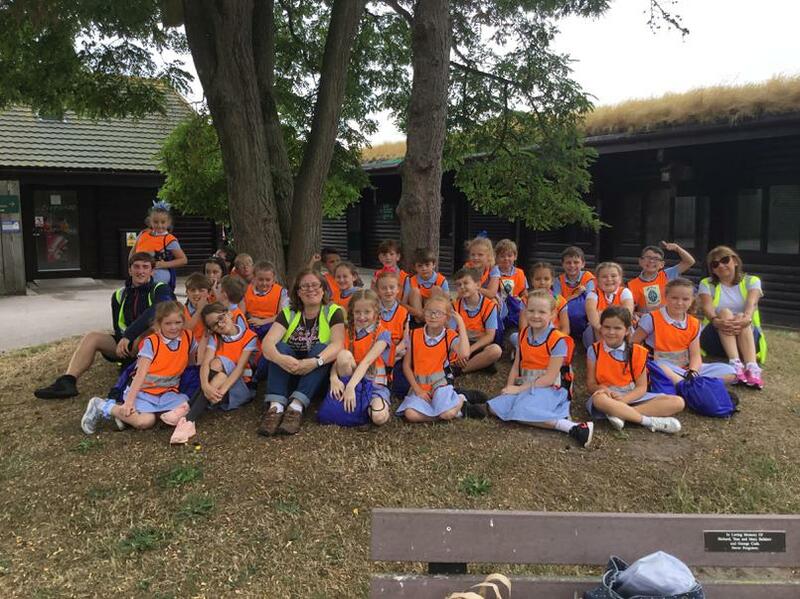 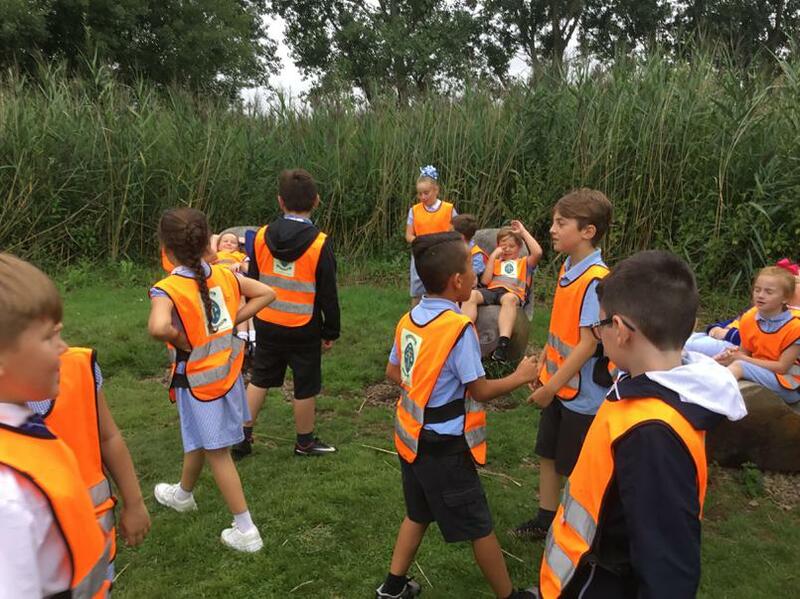 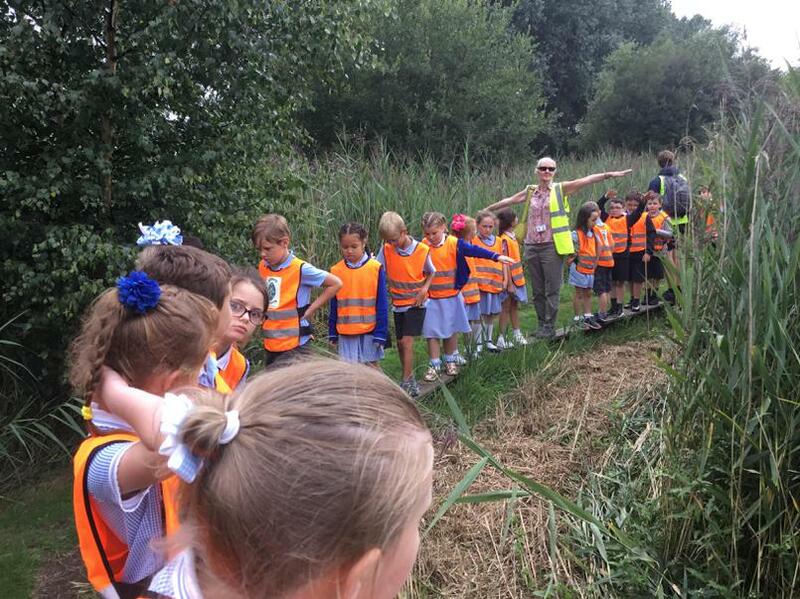 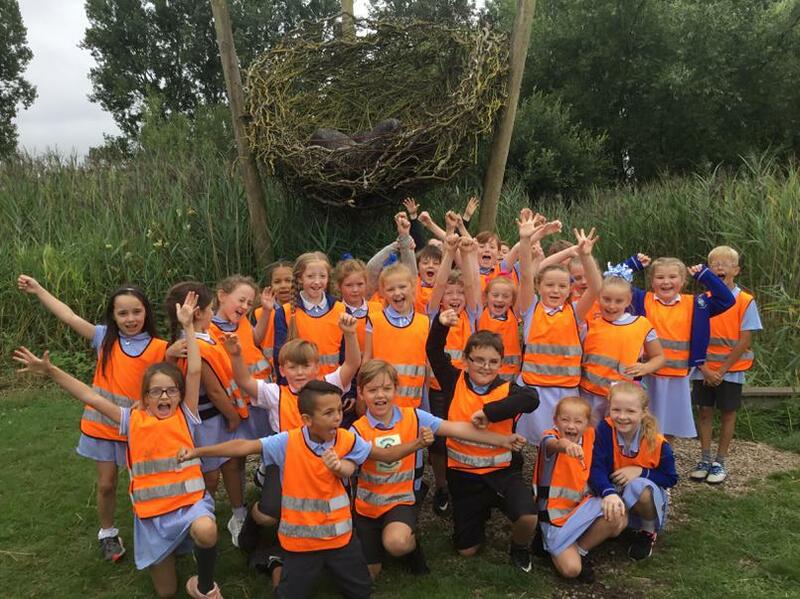 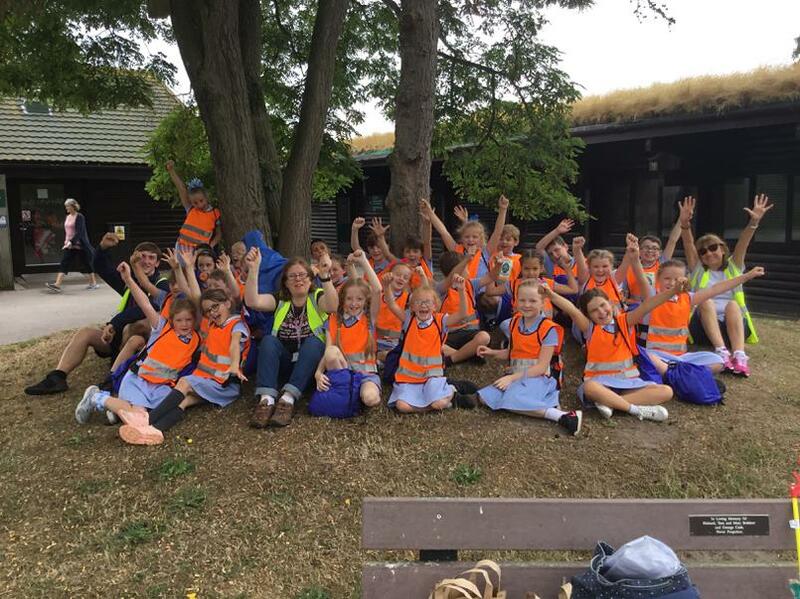 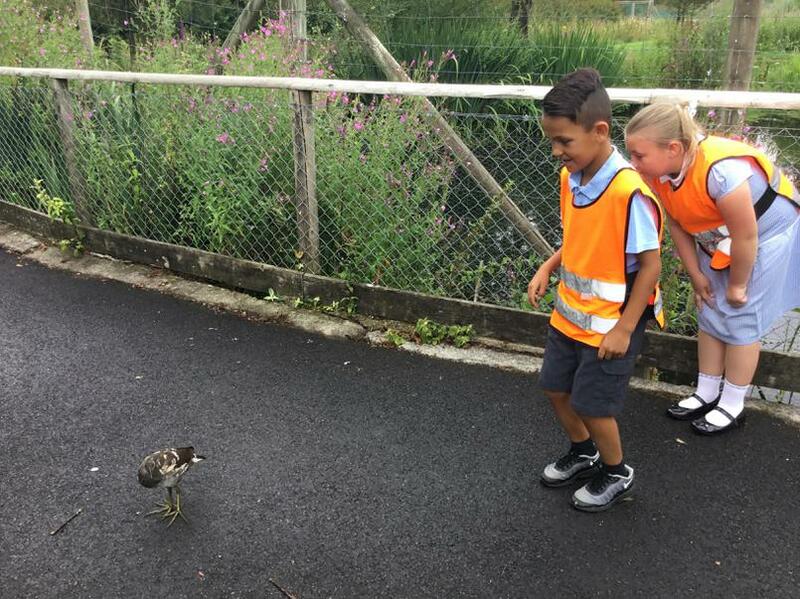 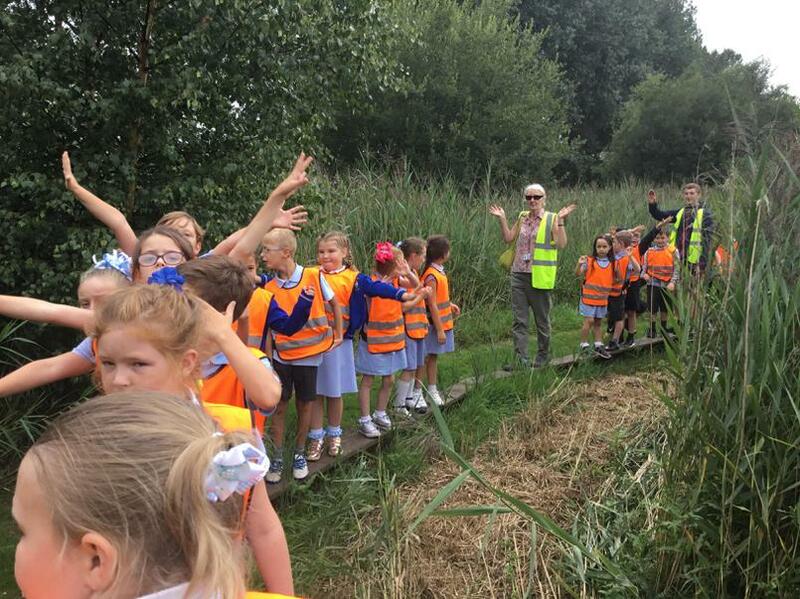 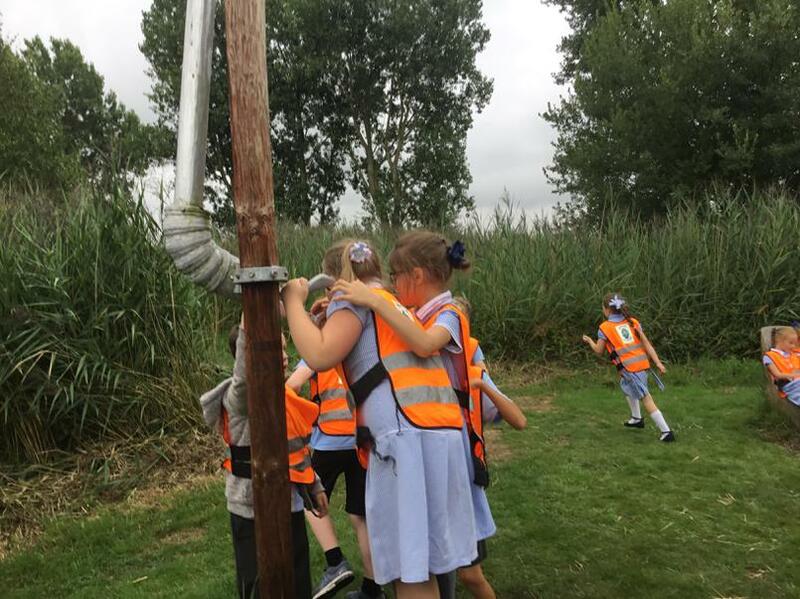 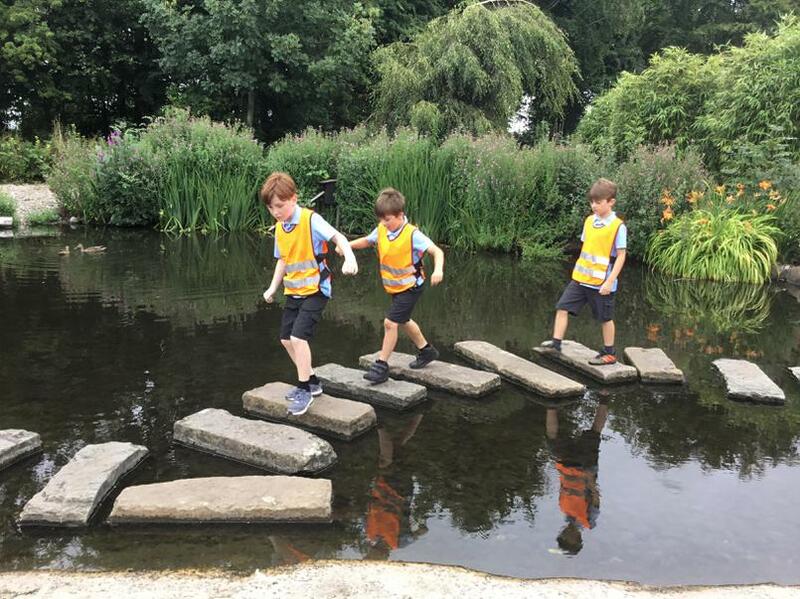 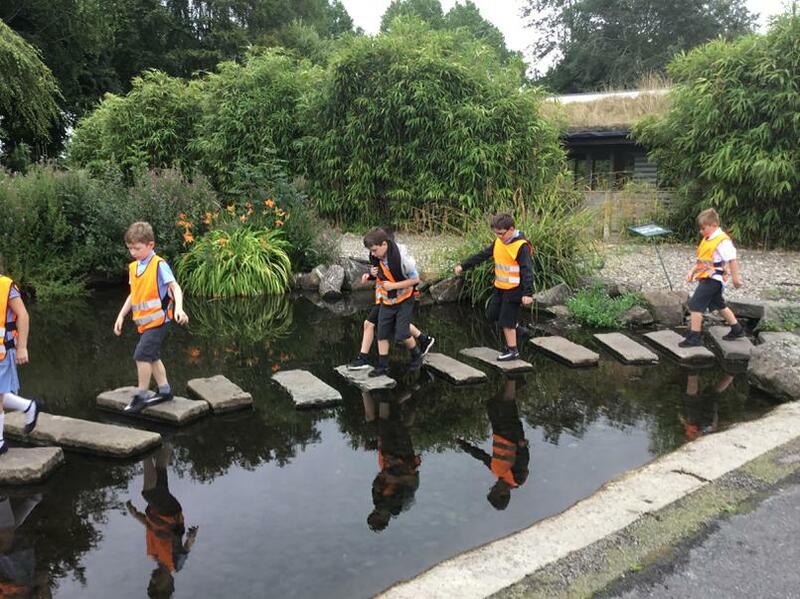 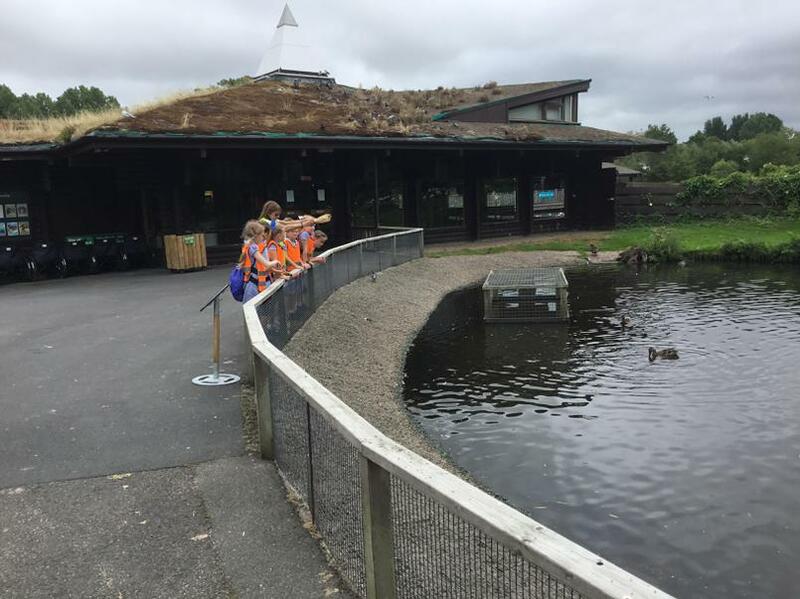 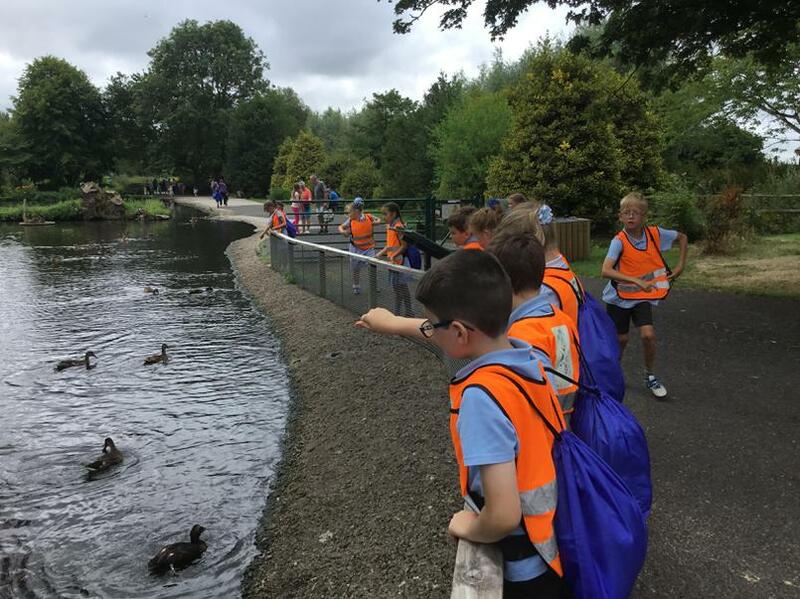 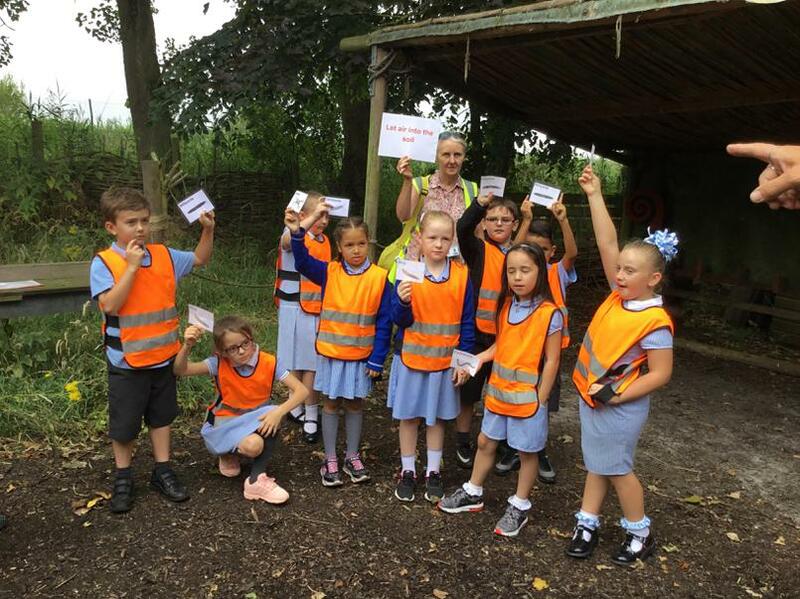 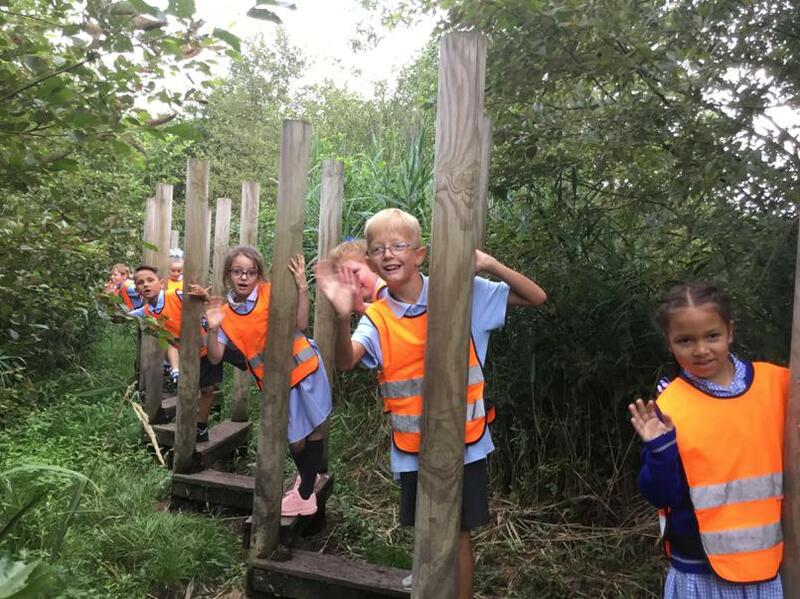 The children had a fantastic time exploring Martin Mere Wildfowl and Wetlands Trust. 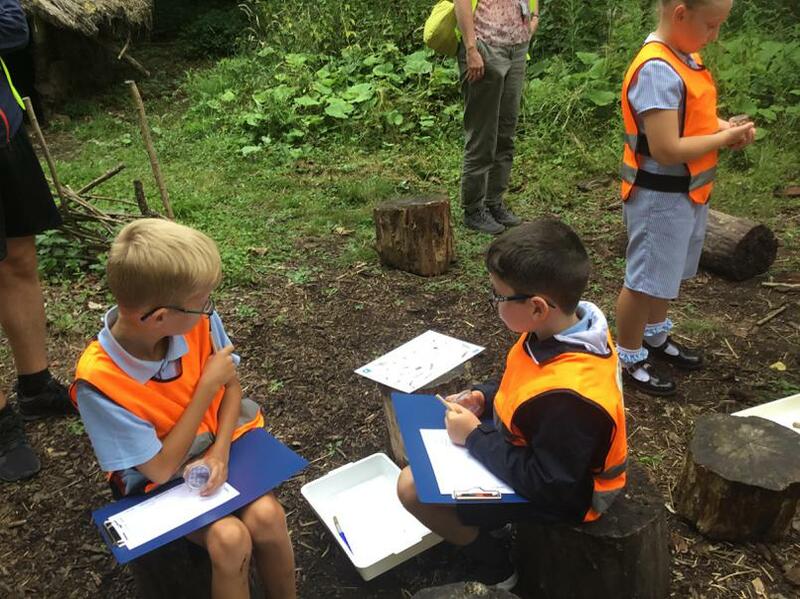 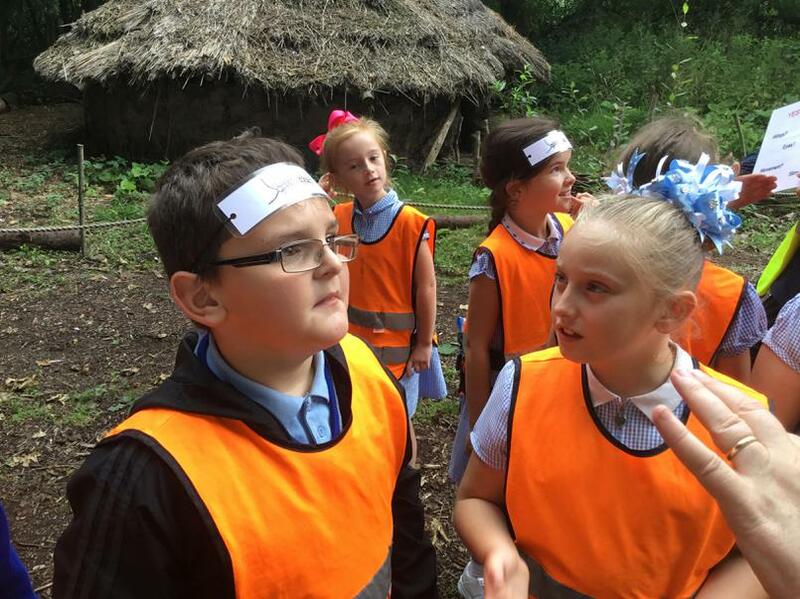 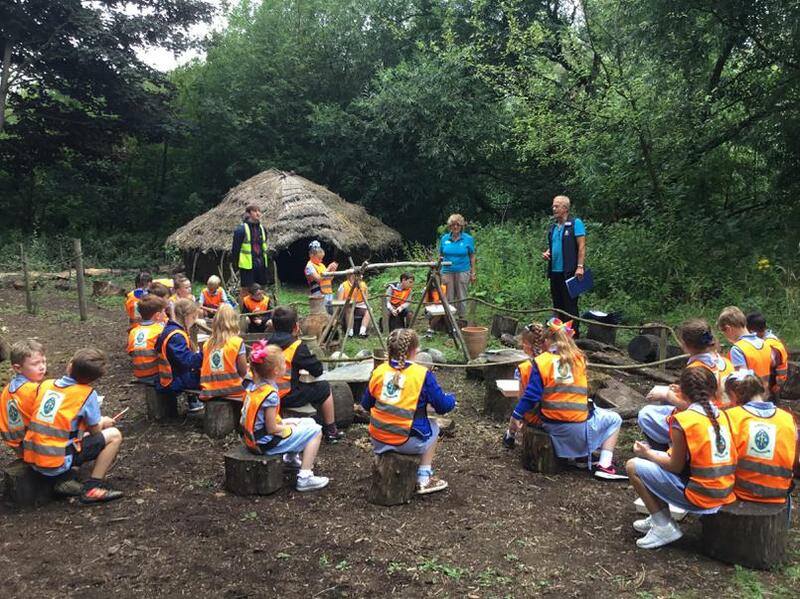 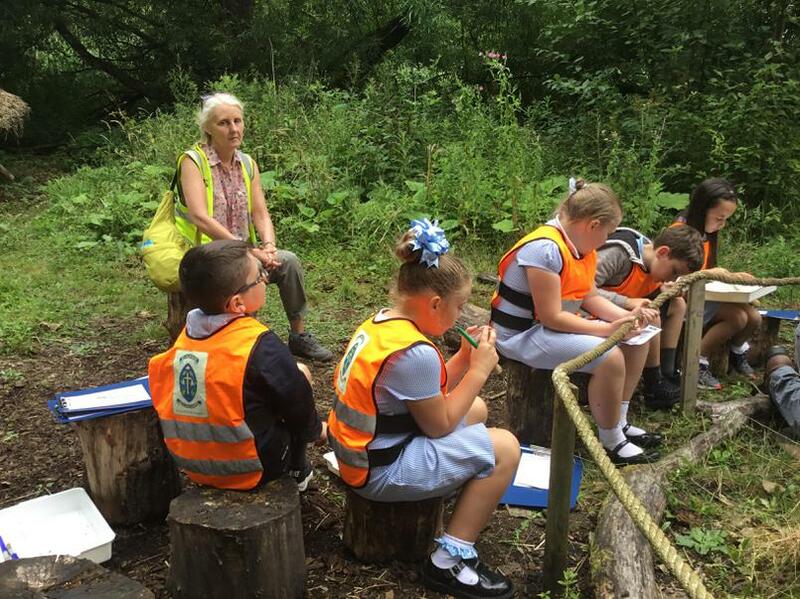 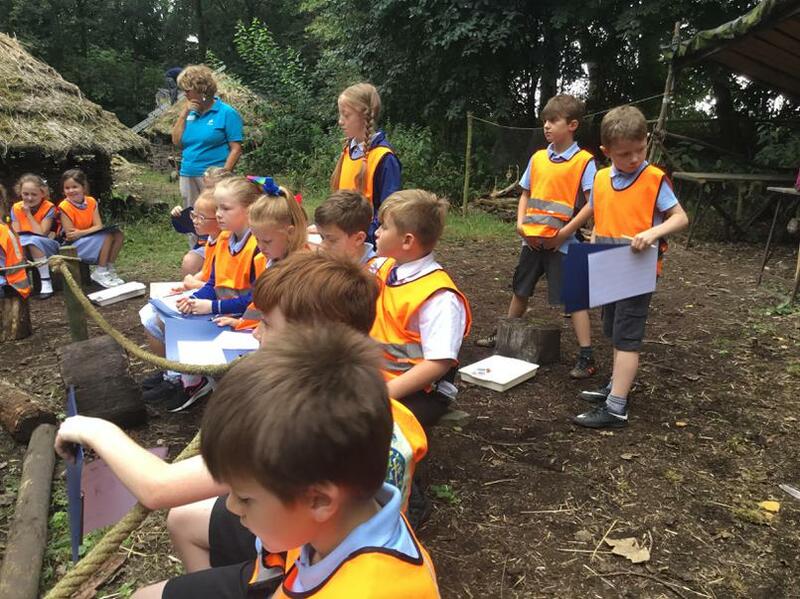 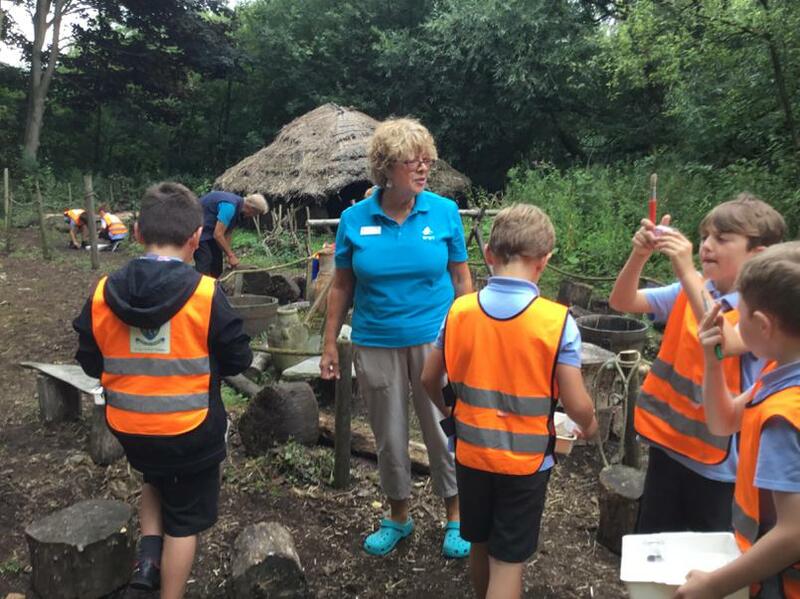 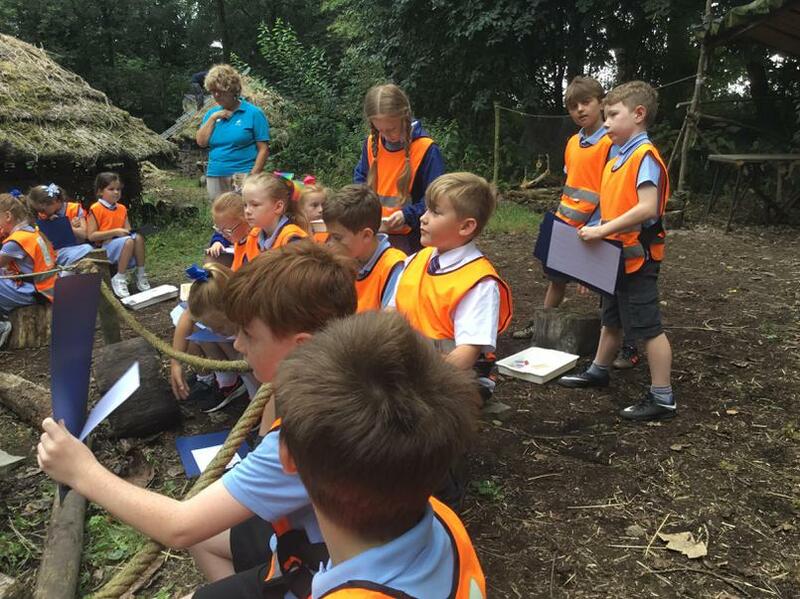 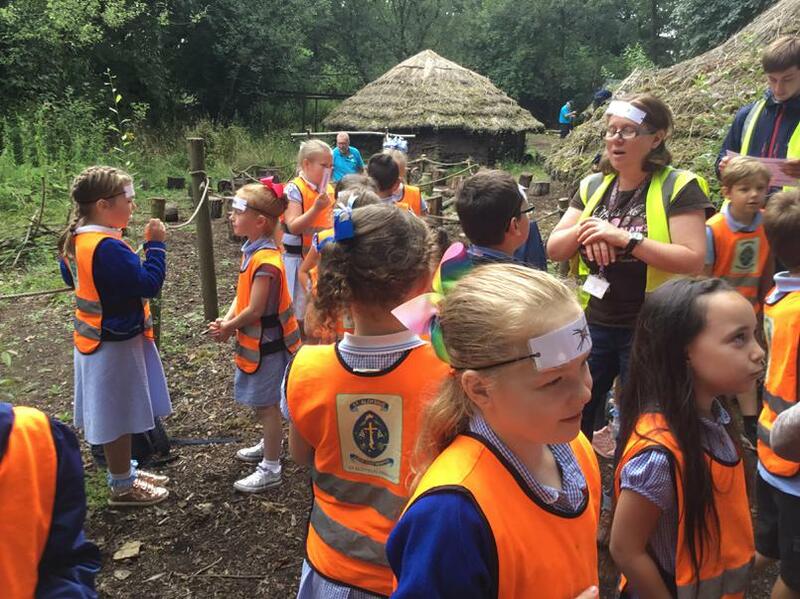 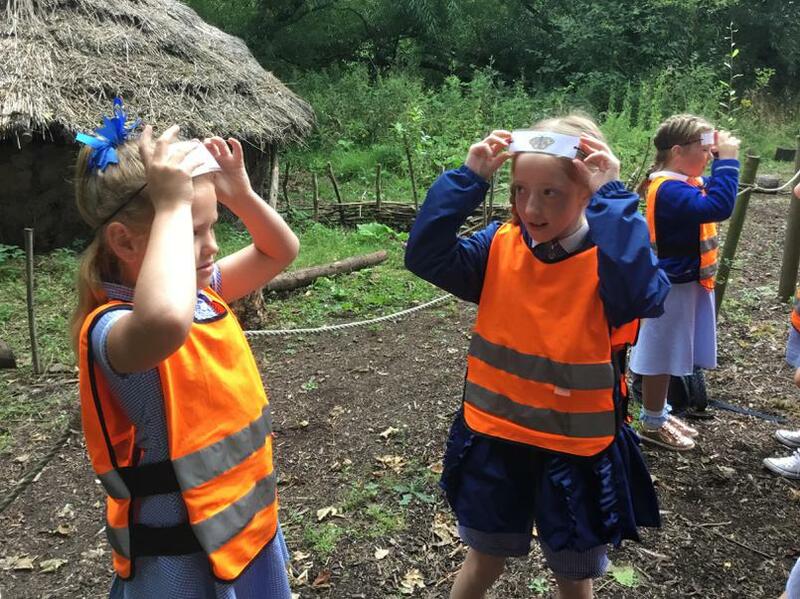 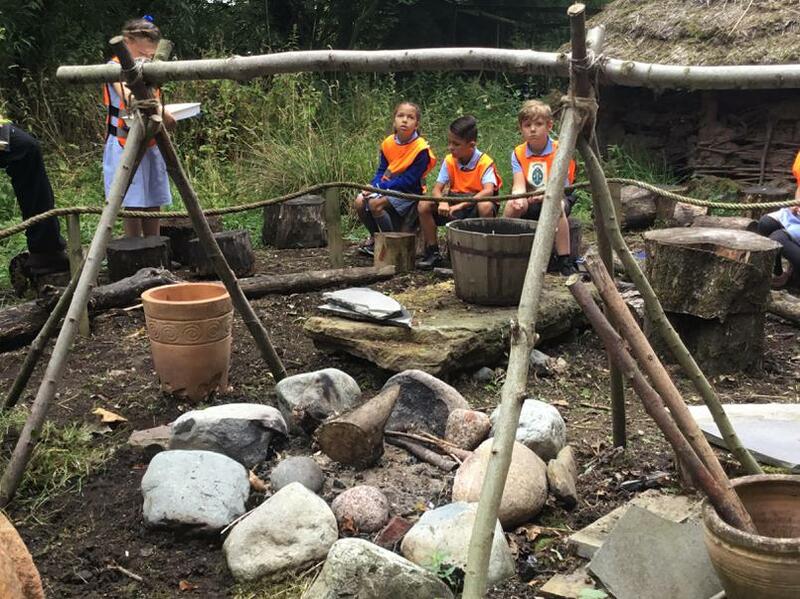 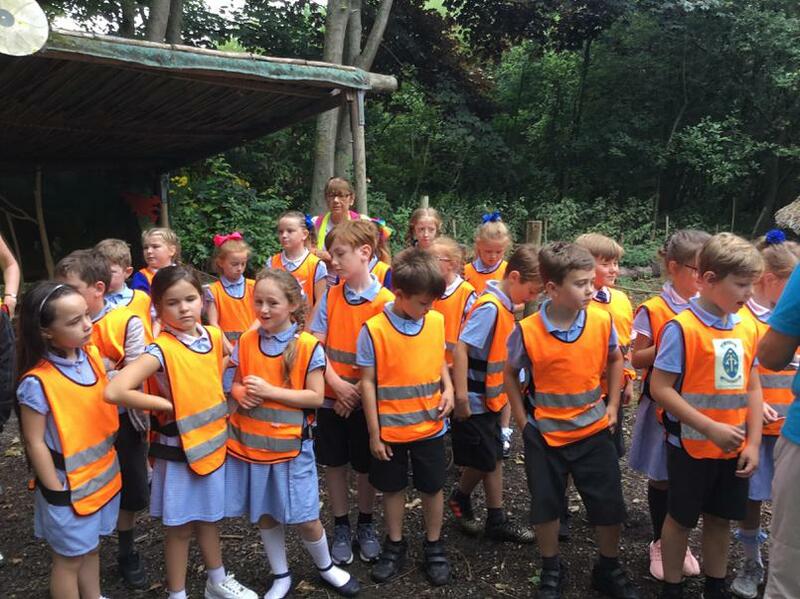 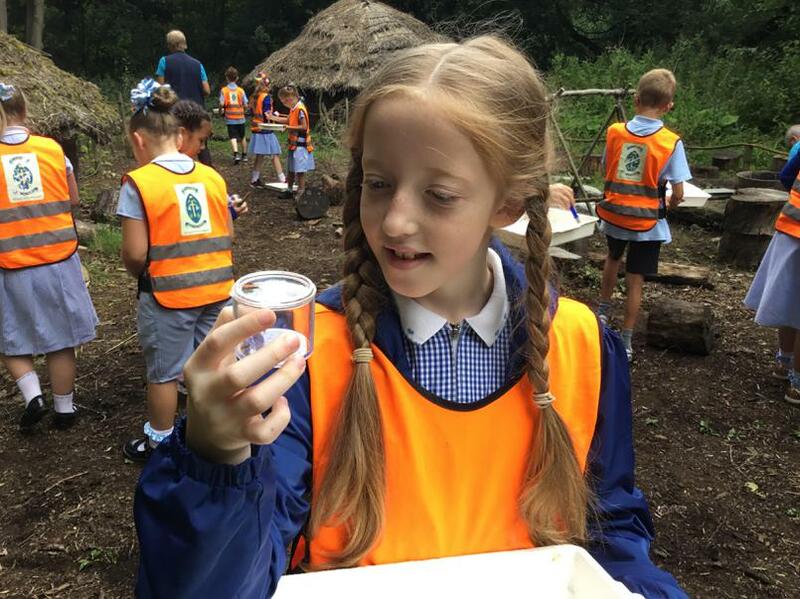 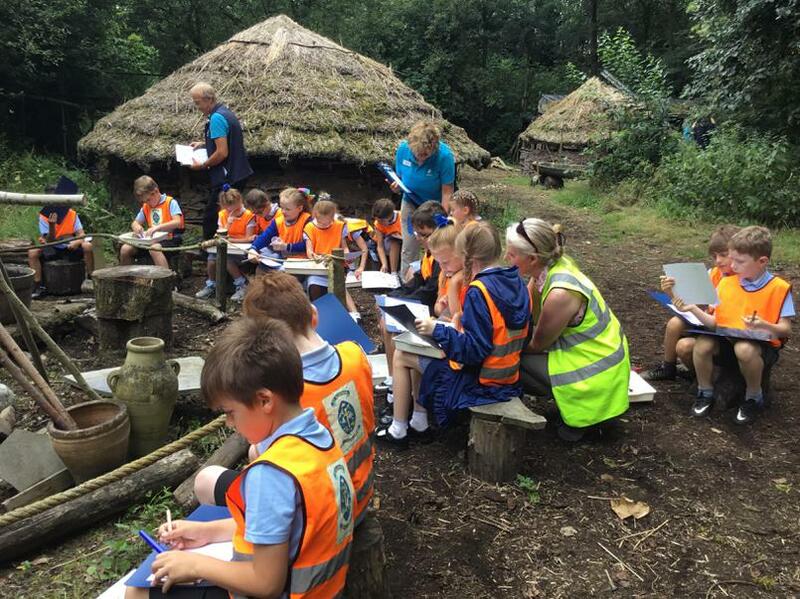 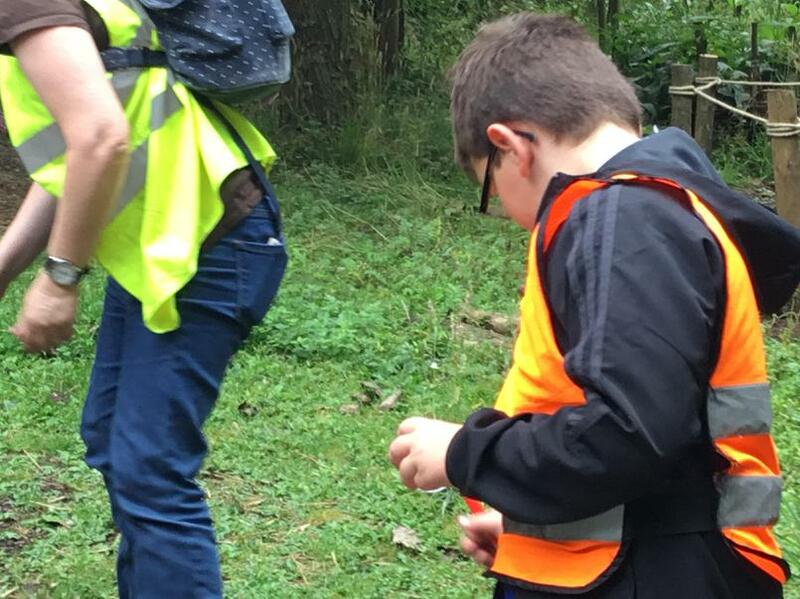 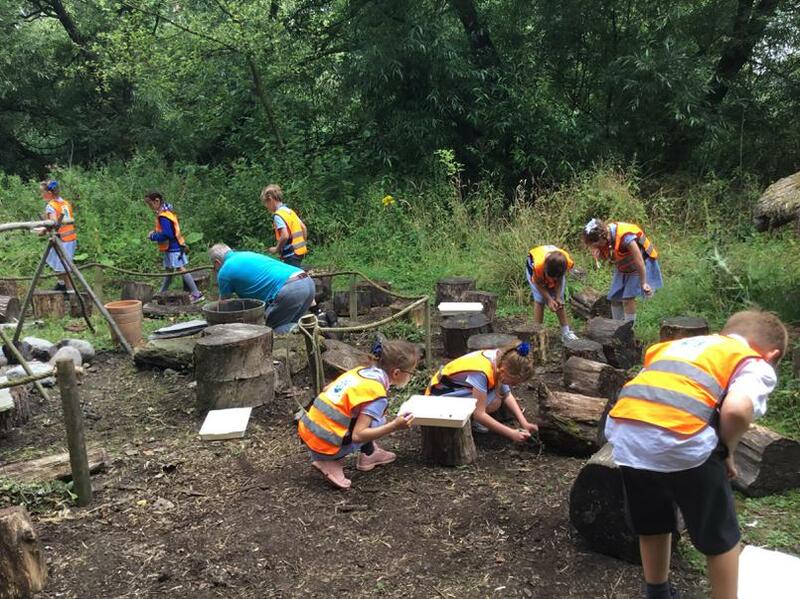 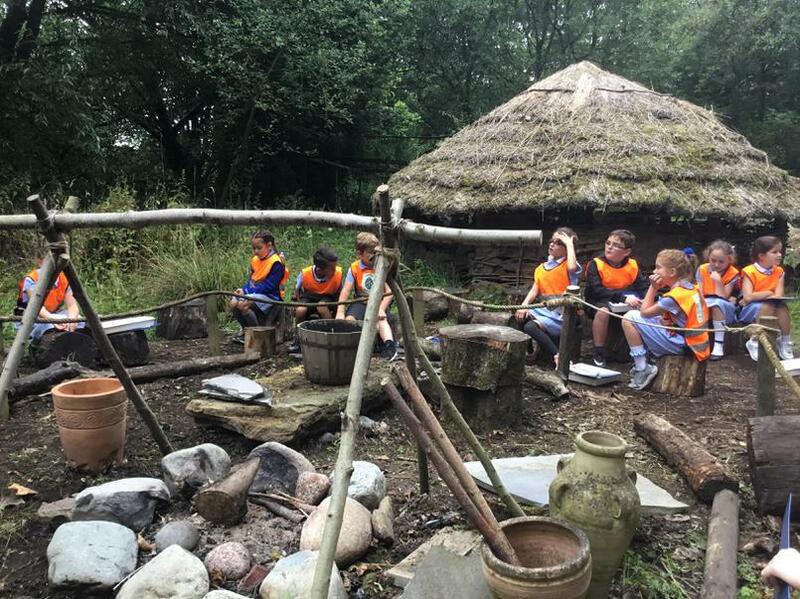 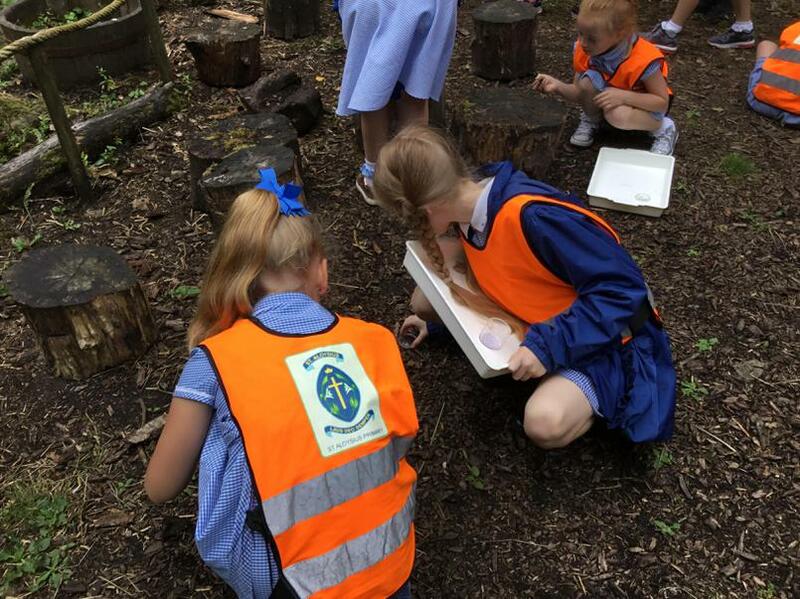 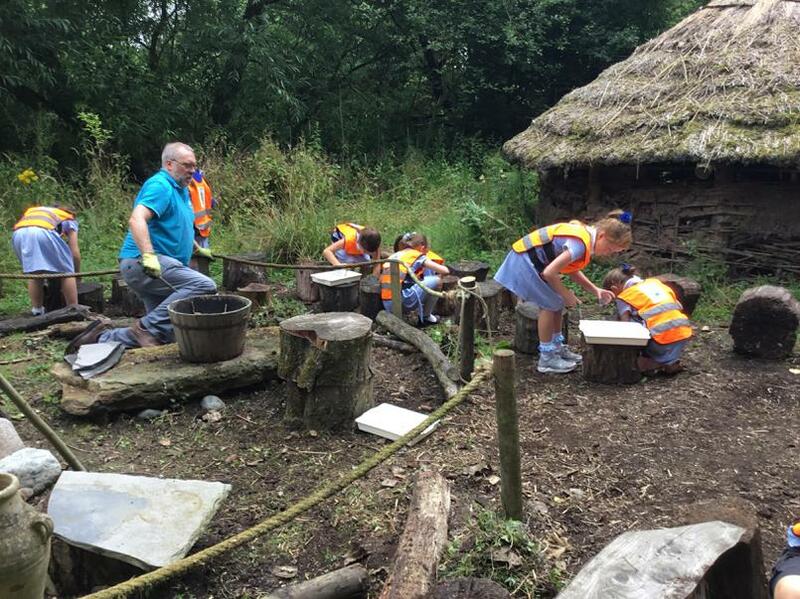 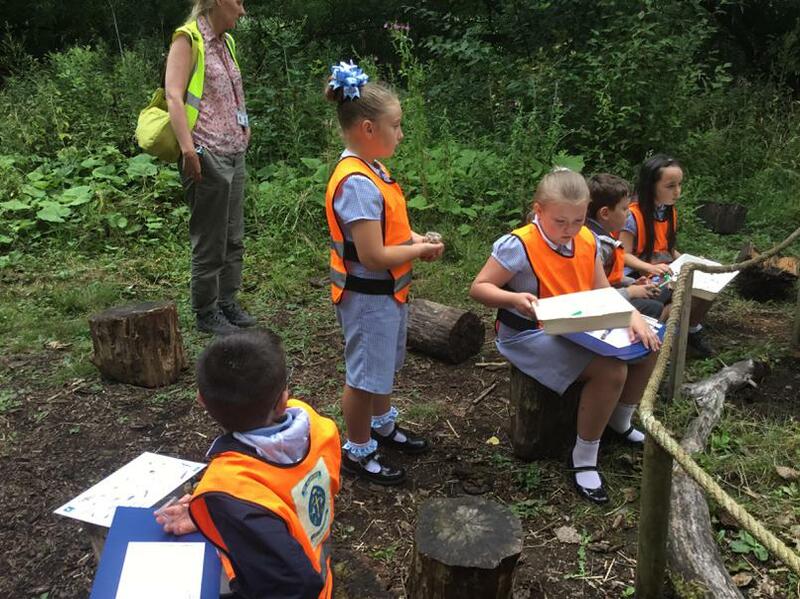 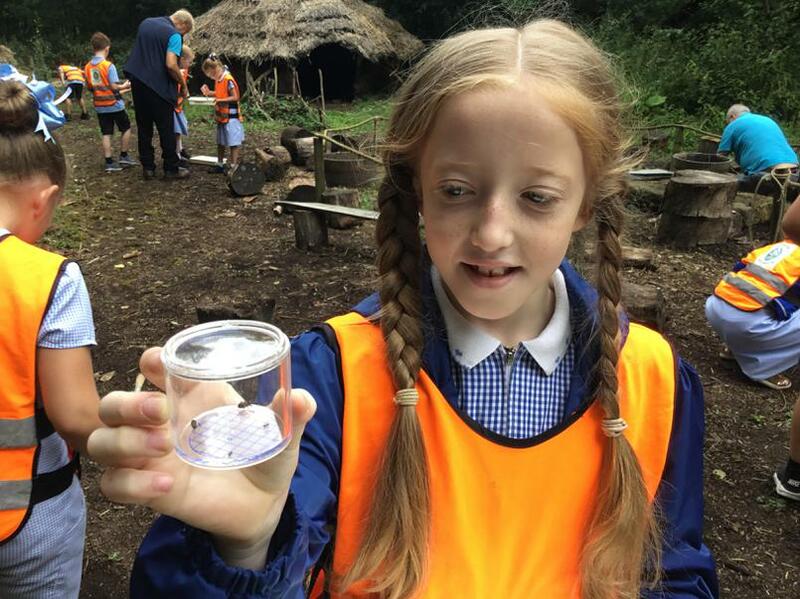 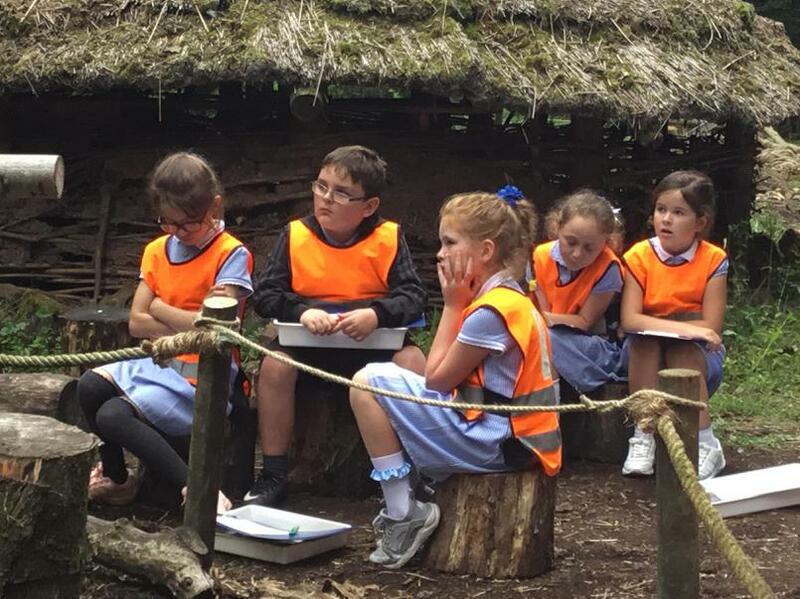 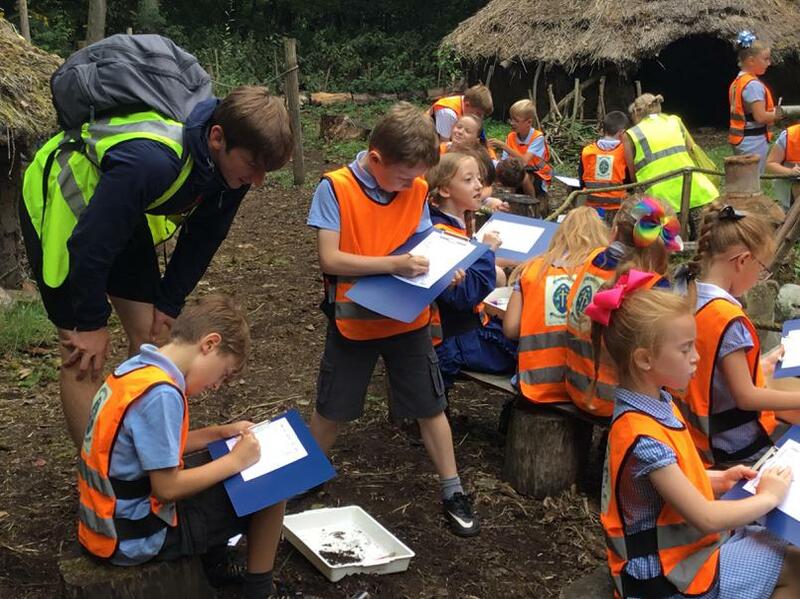 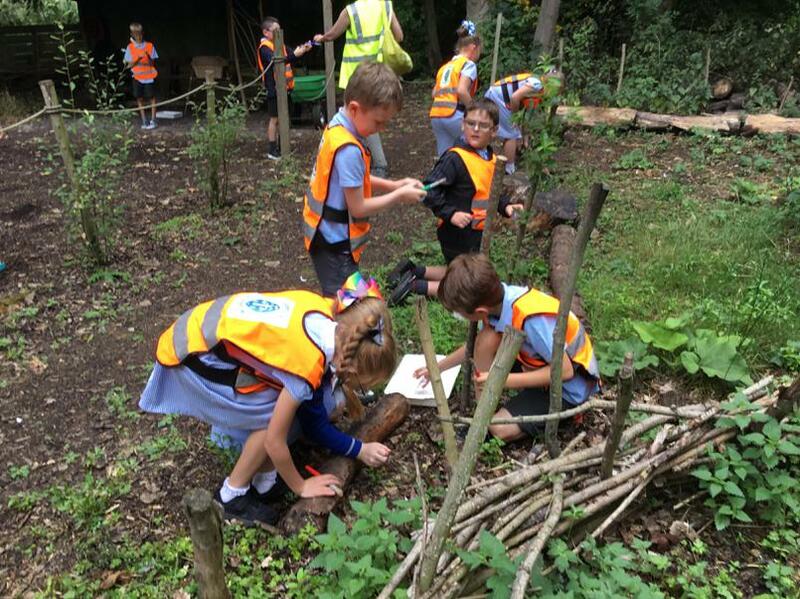 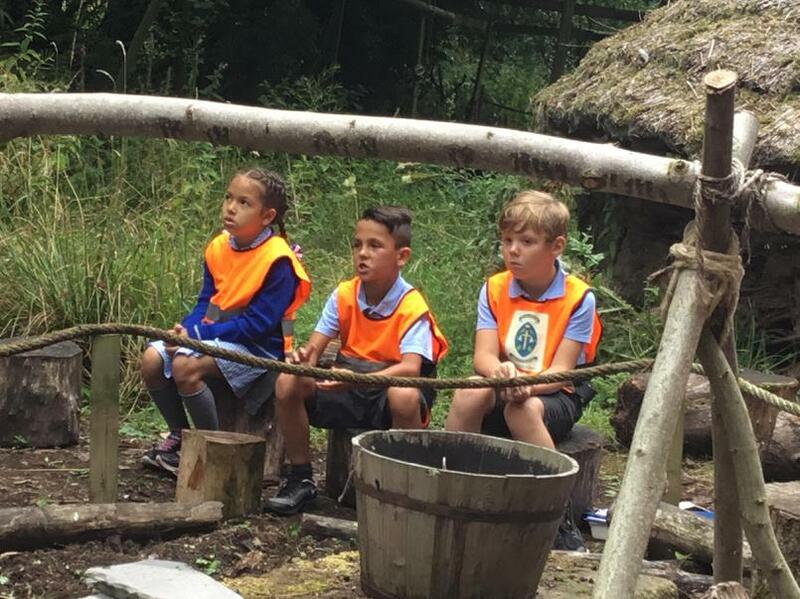 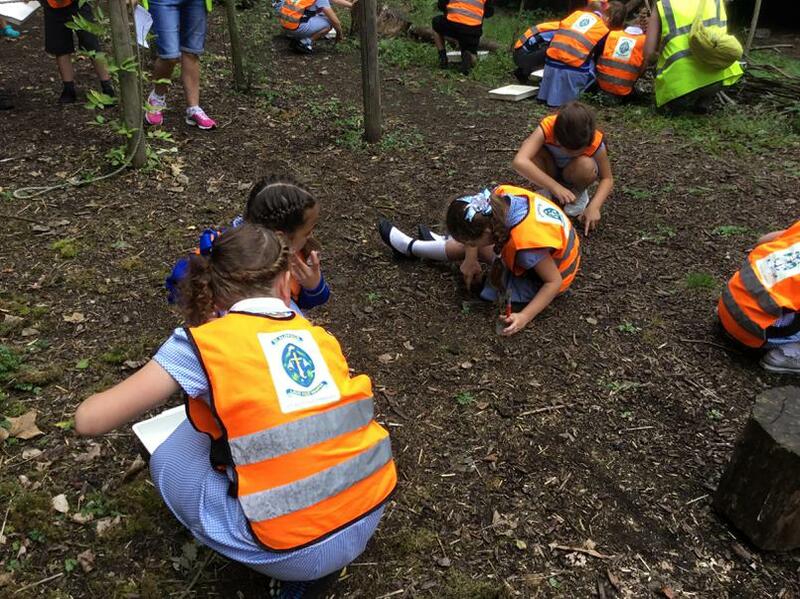 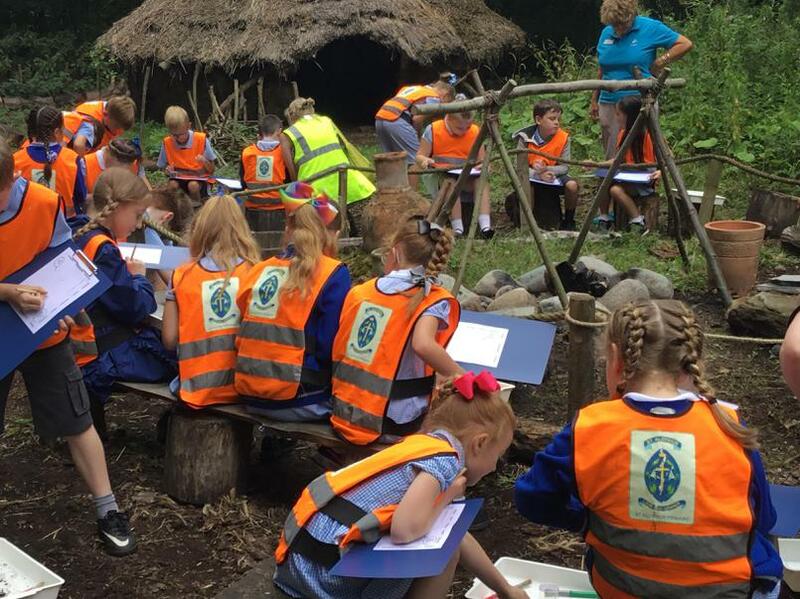 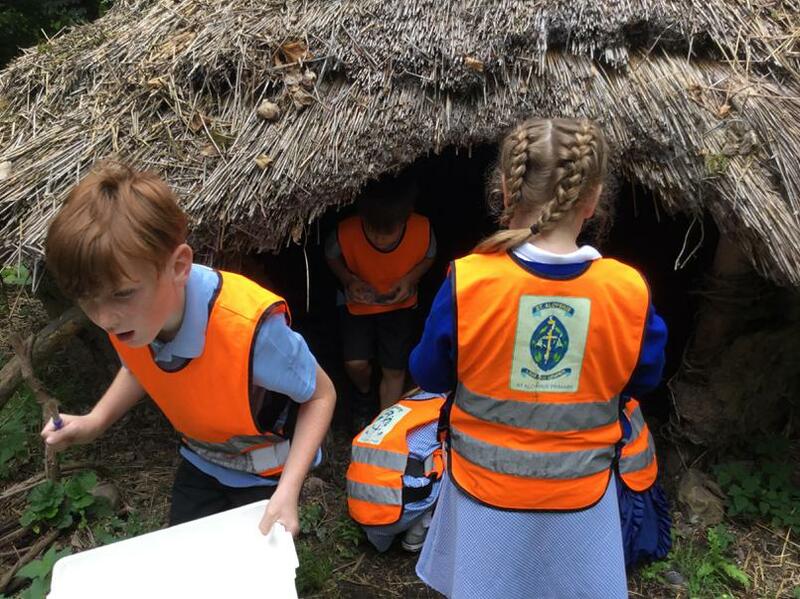 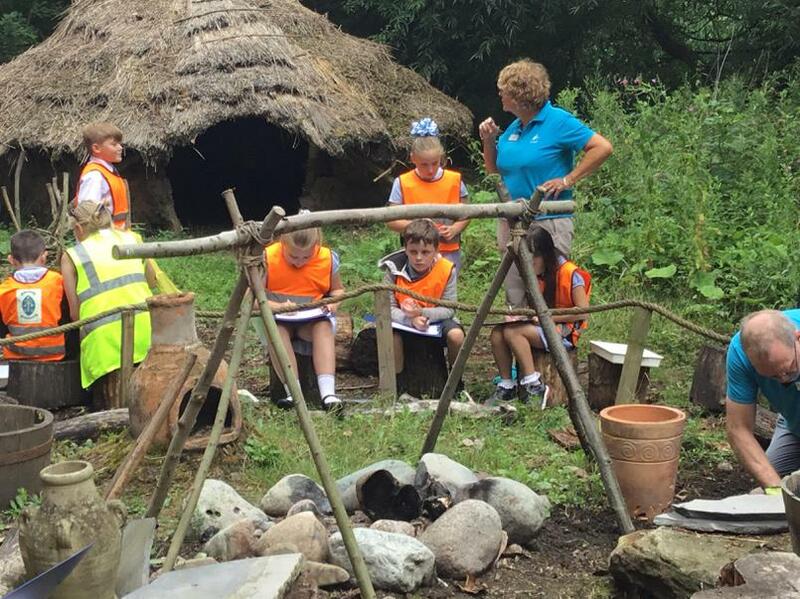 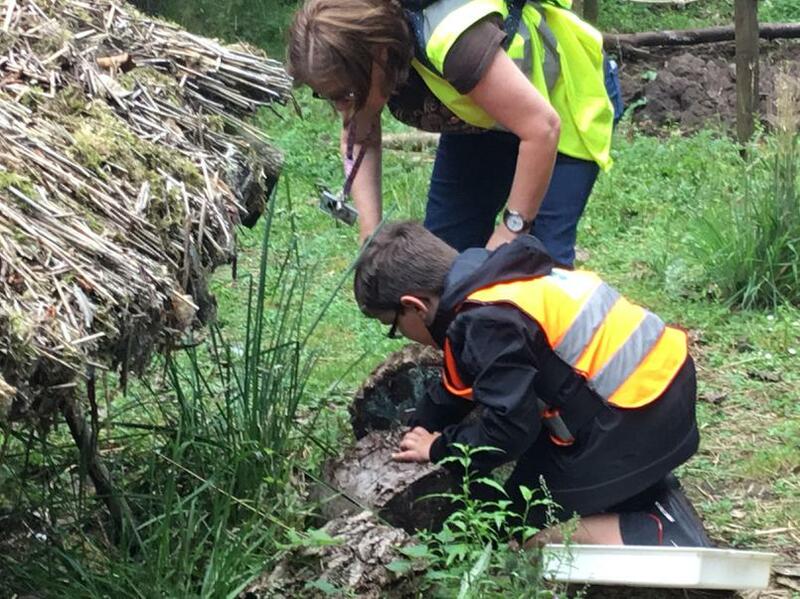 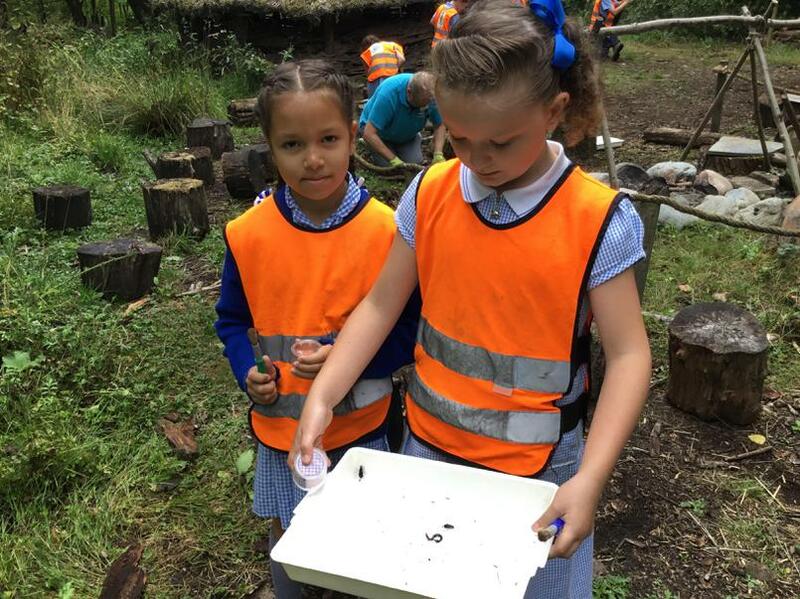 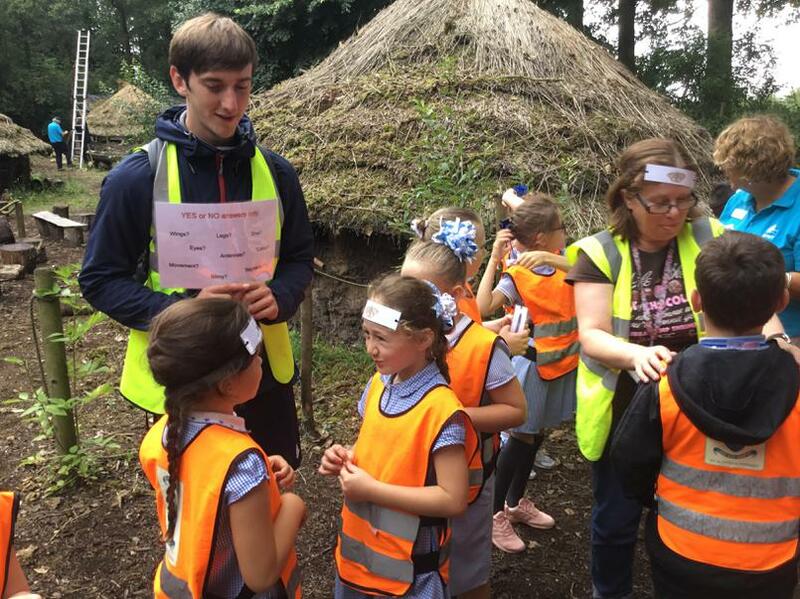 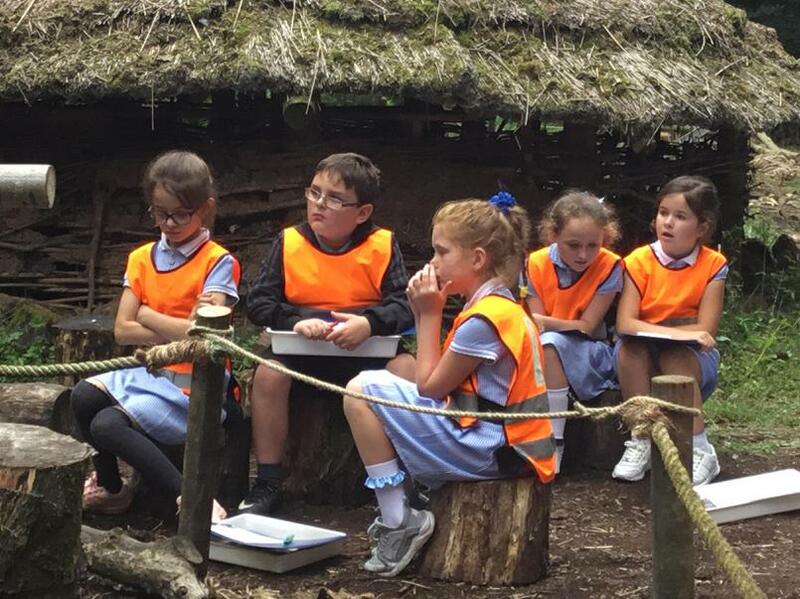 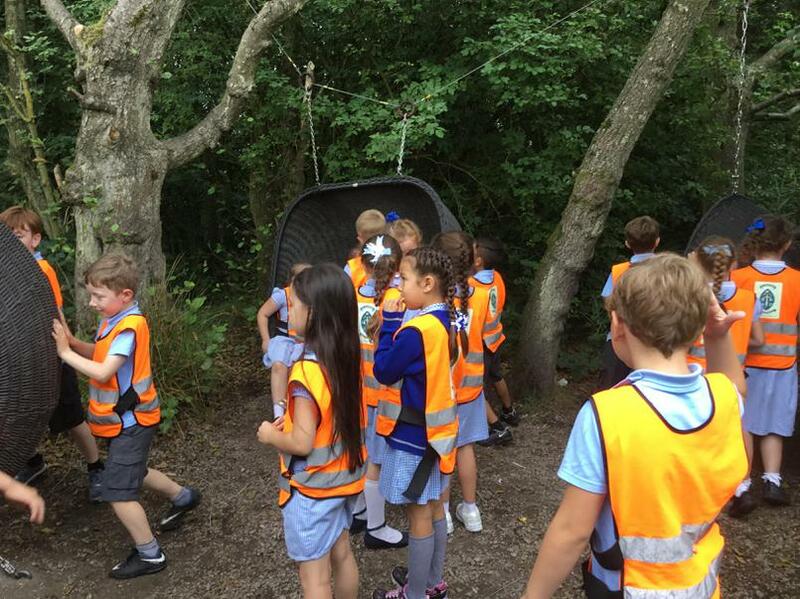 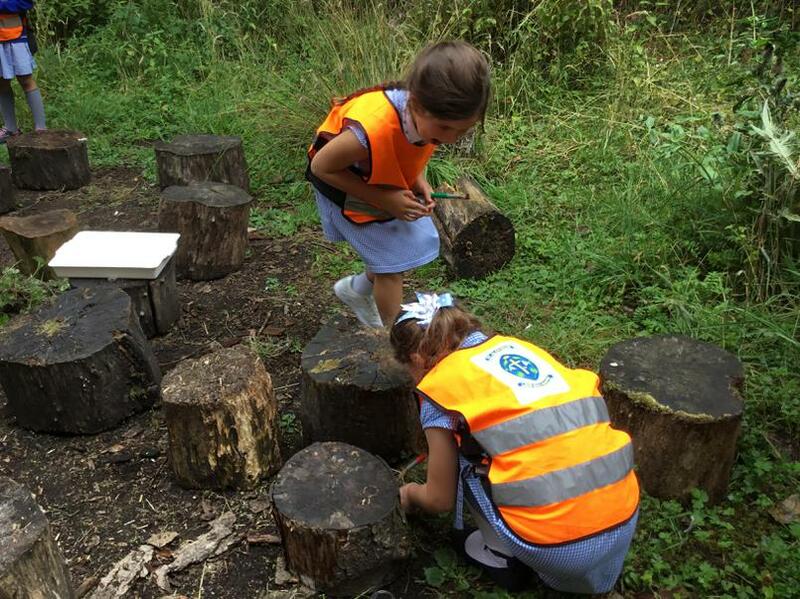 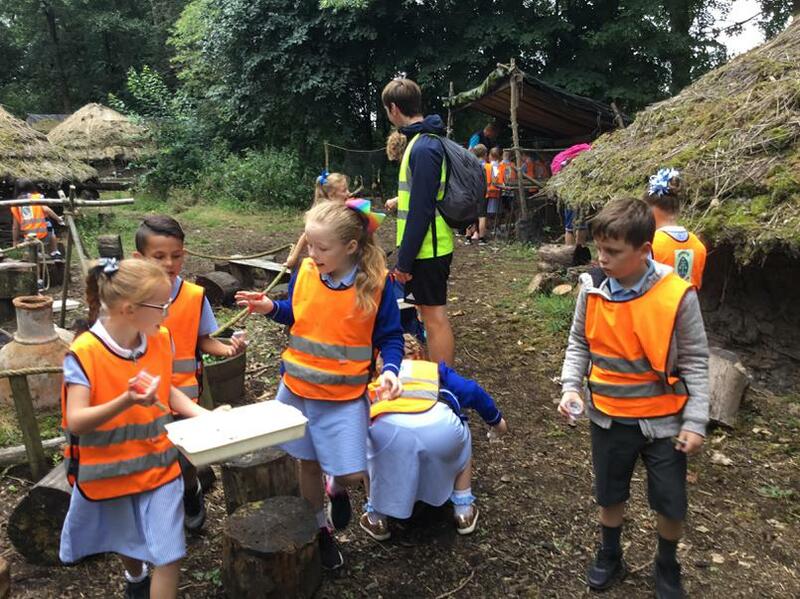 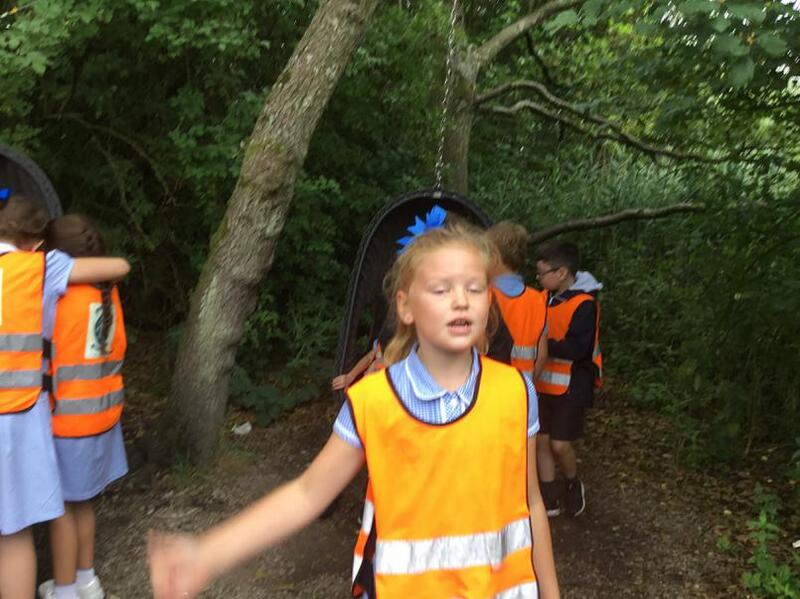 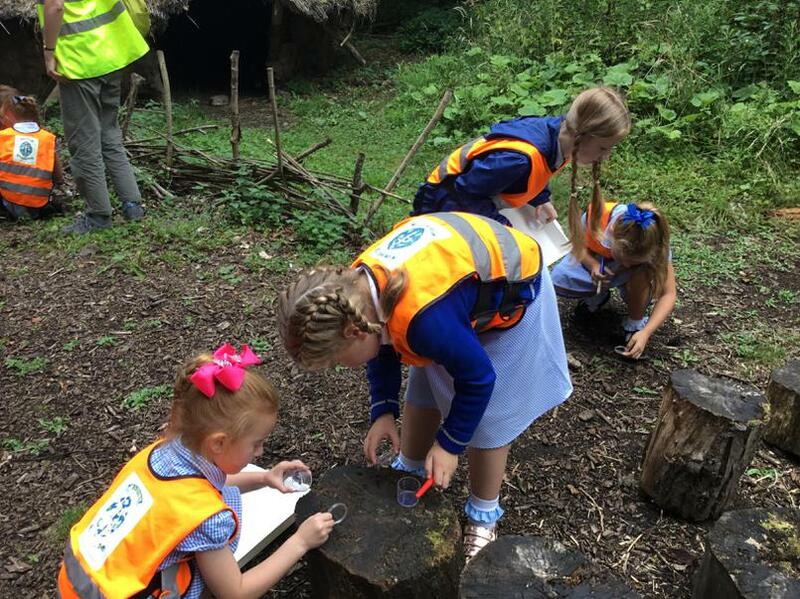 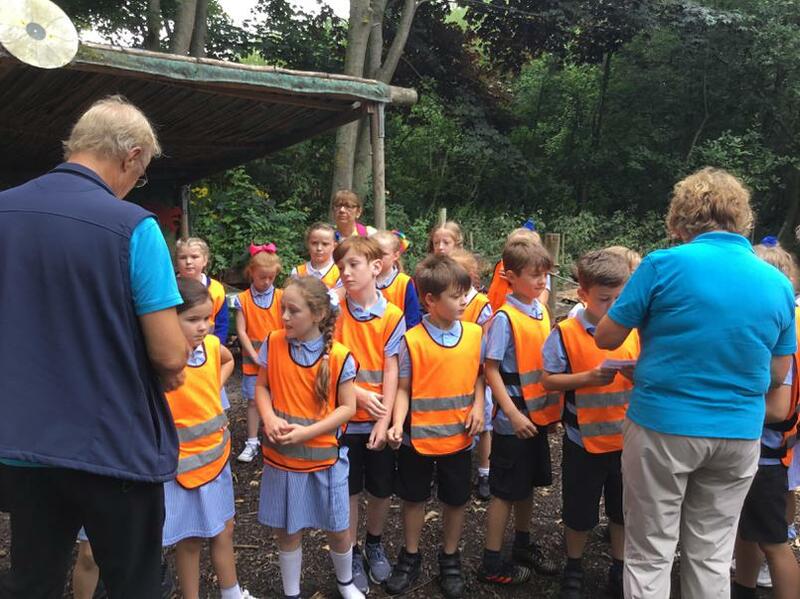 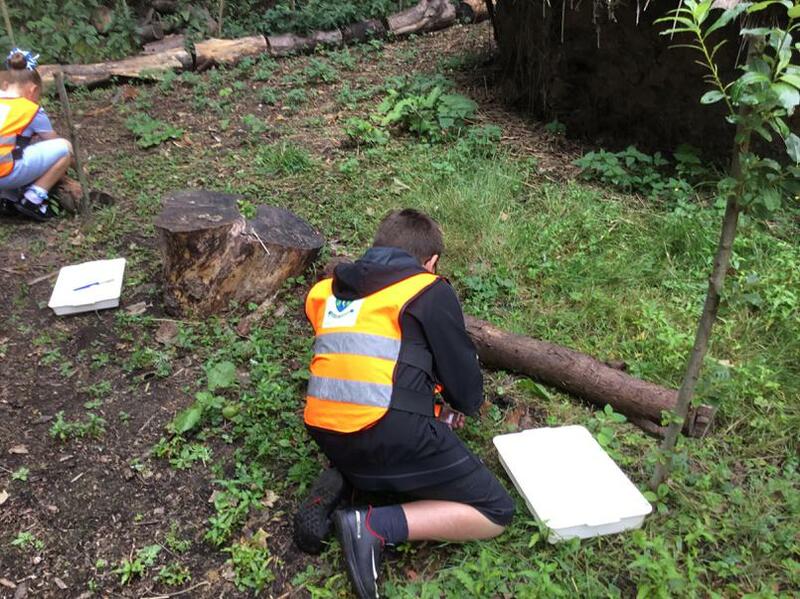 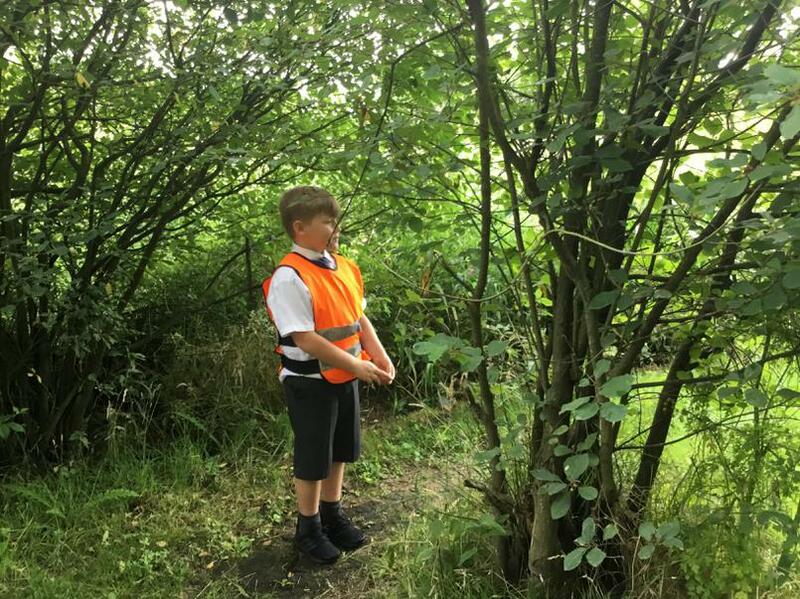 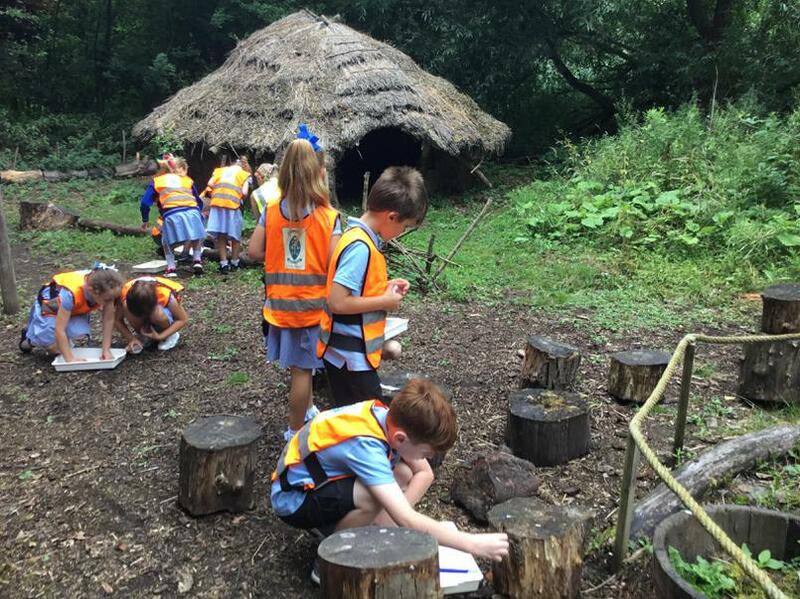 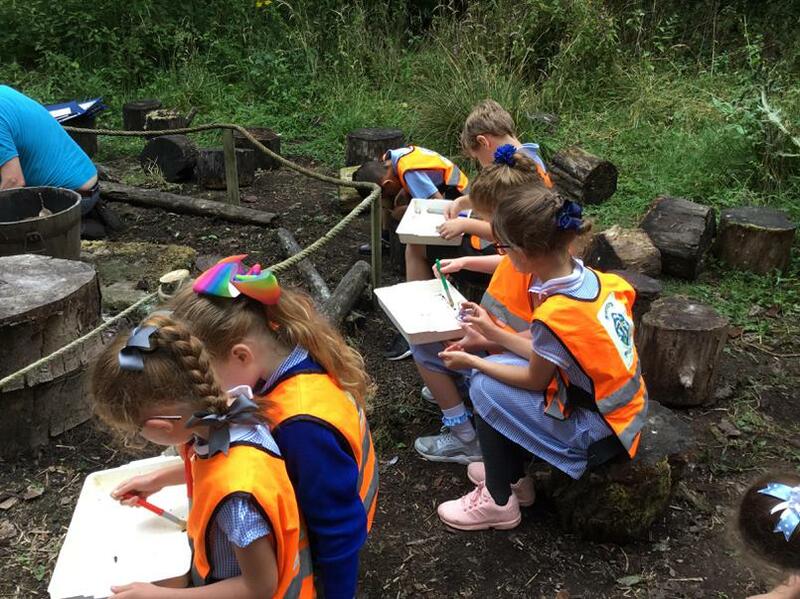 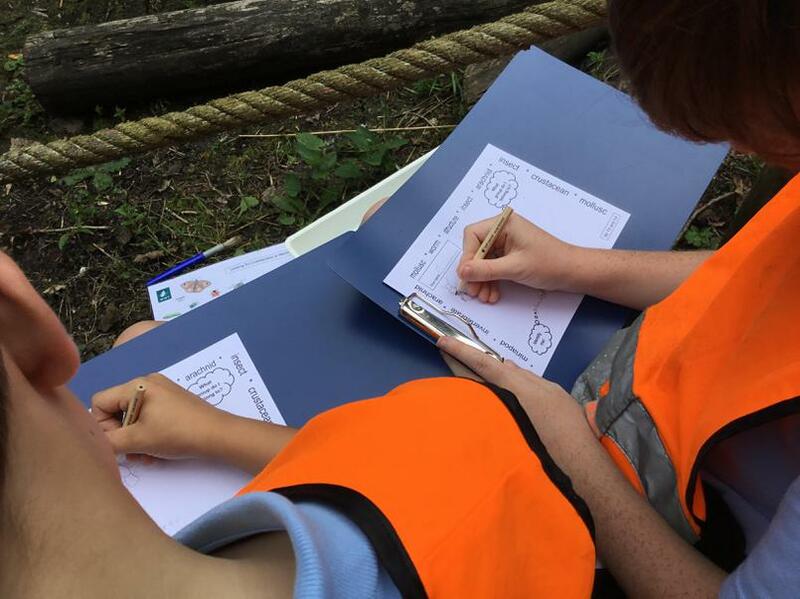 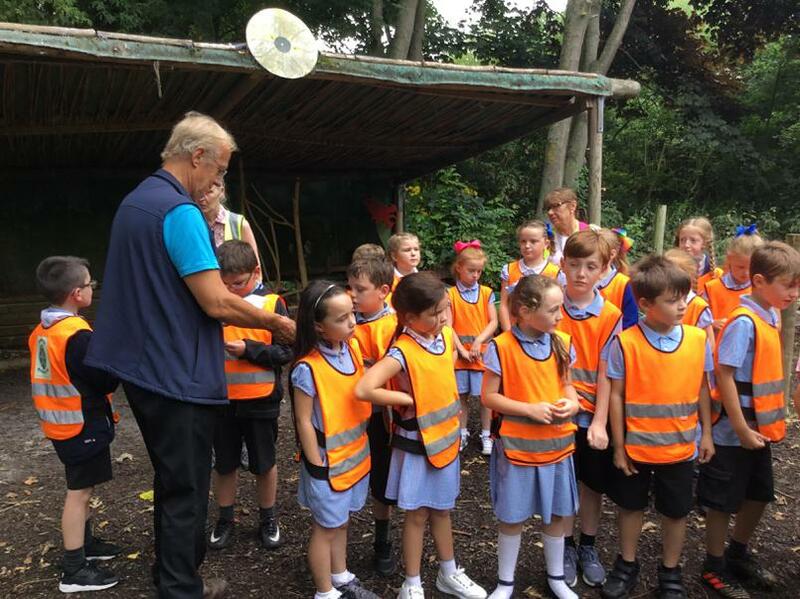 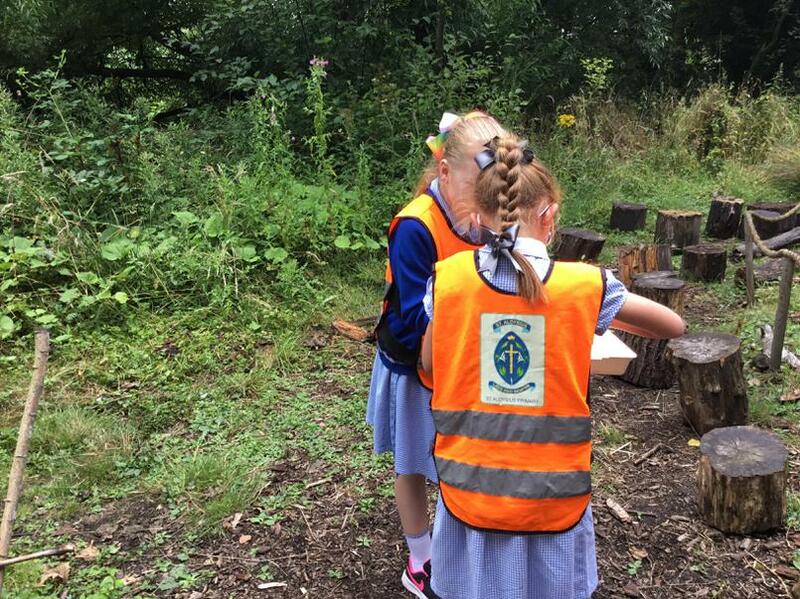 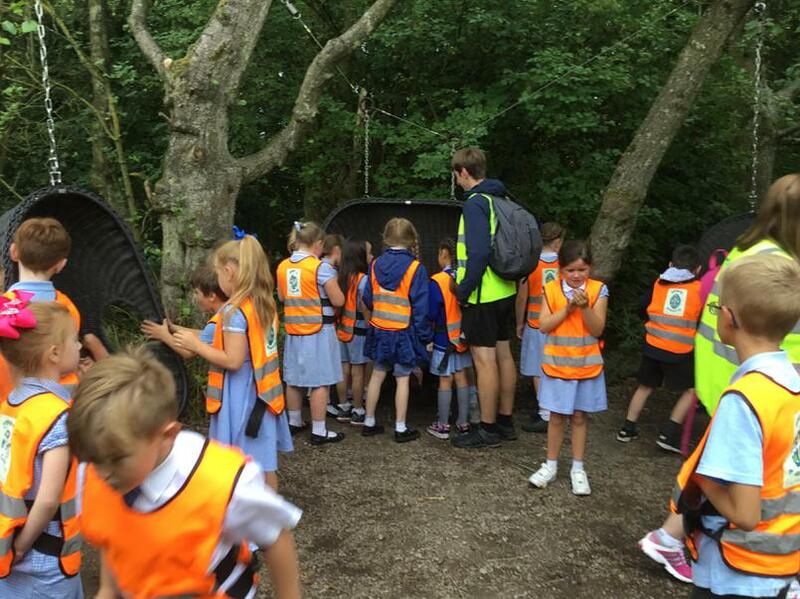 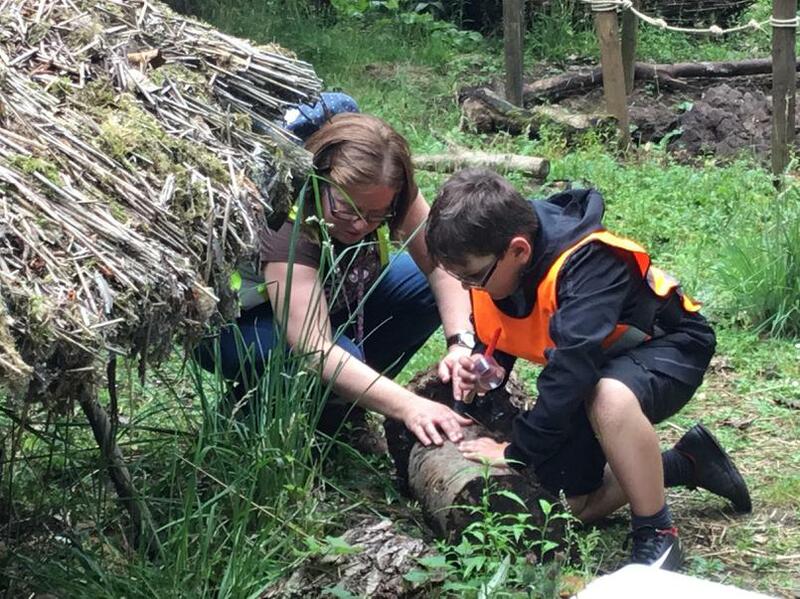 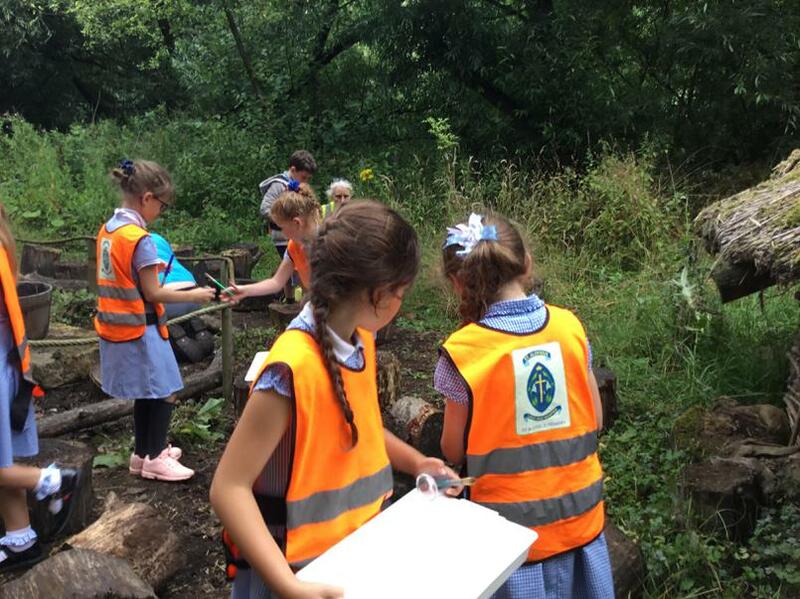 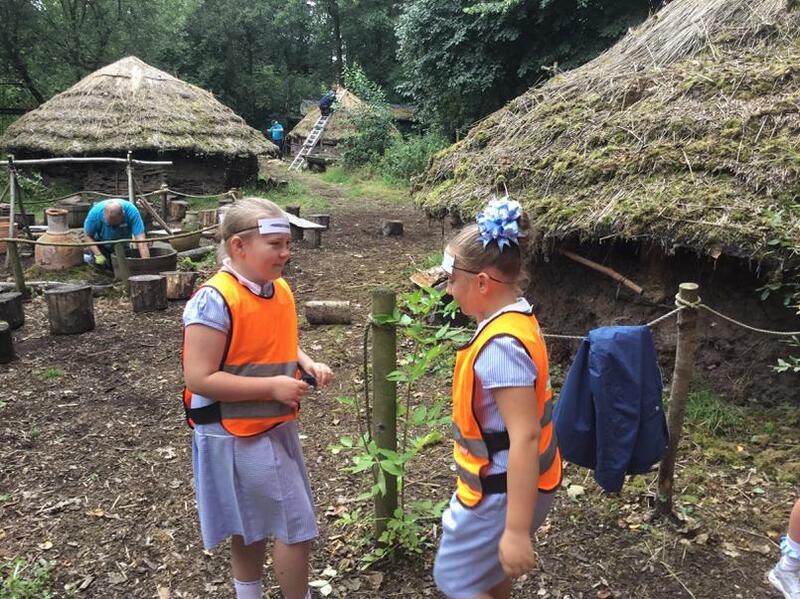 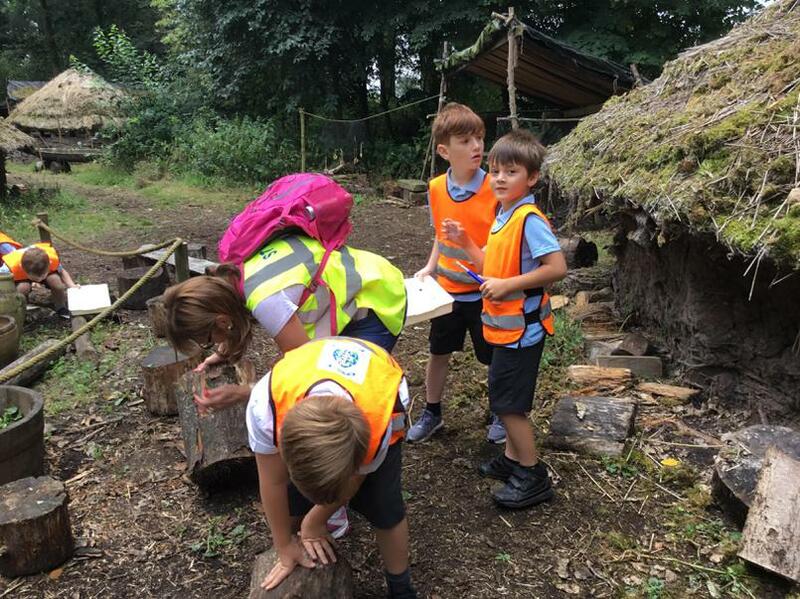 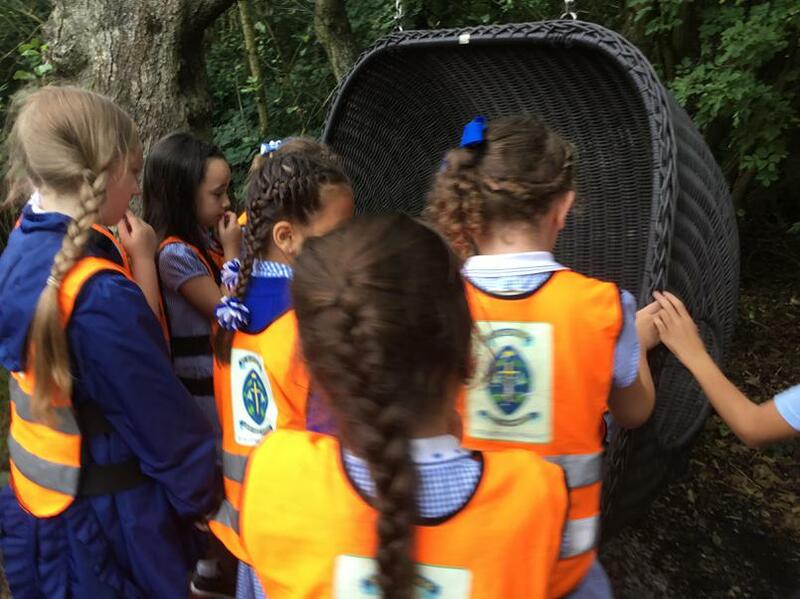 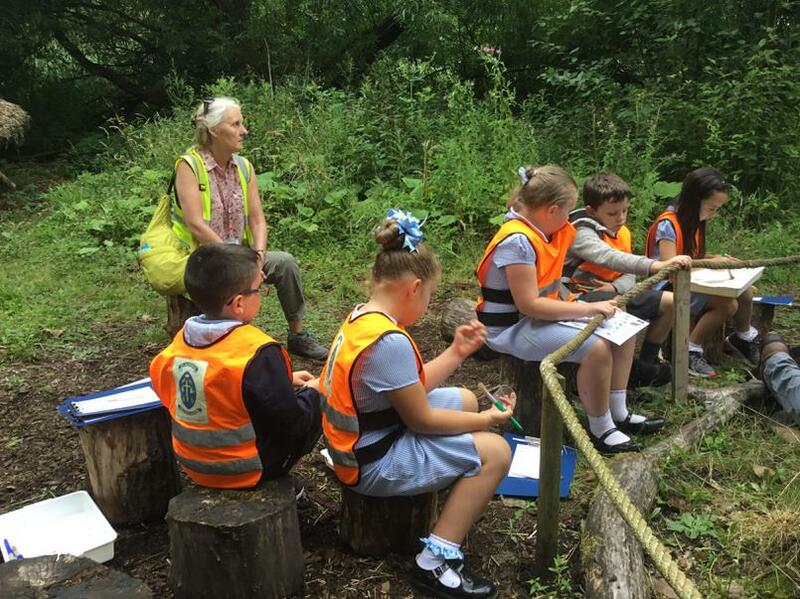 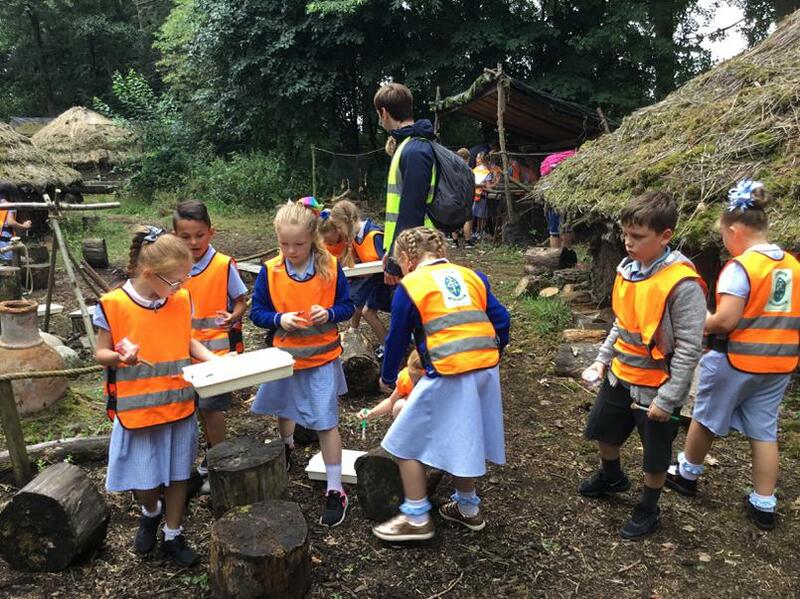 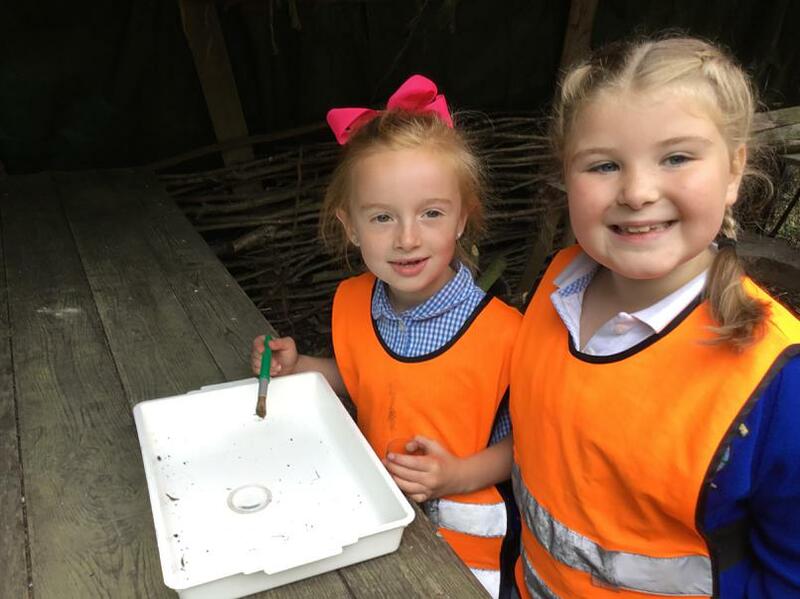 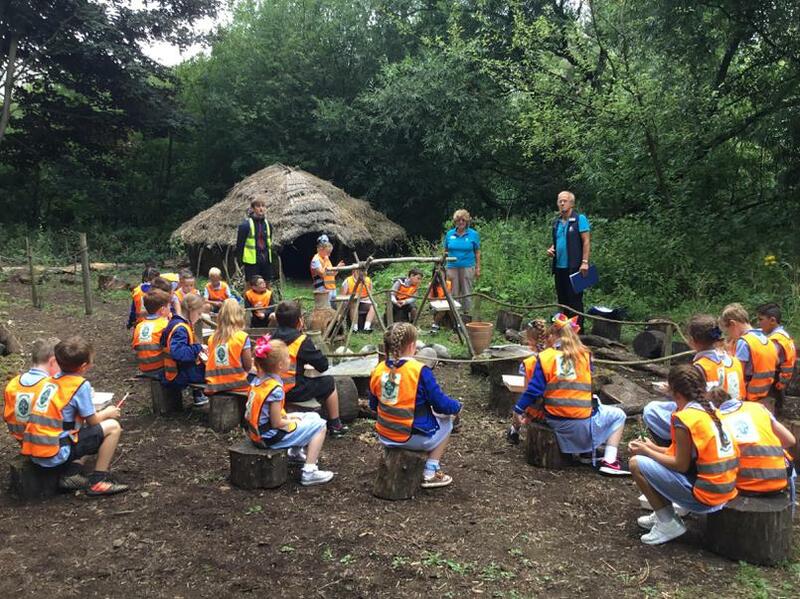 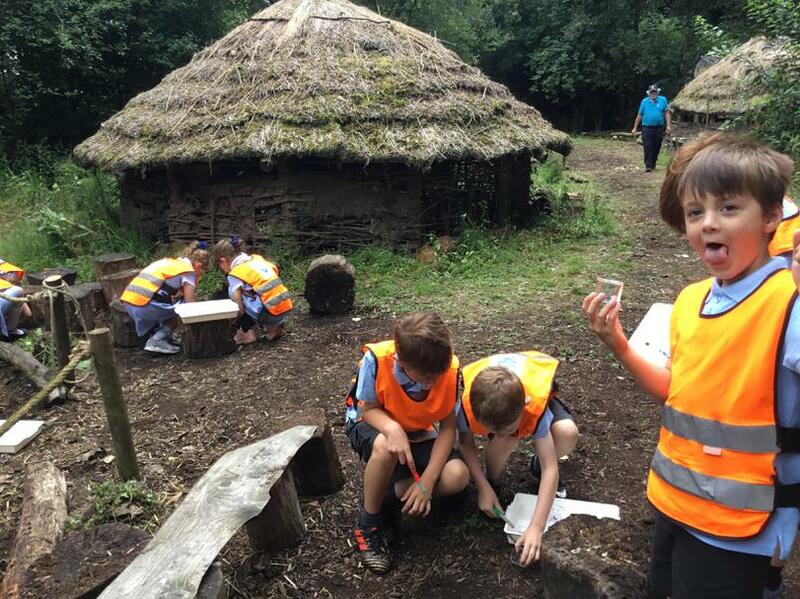 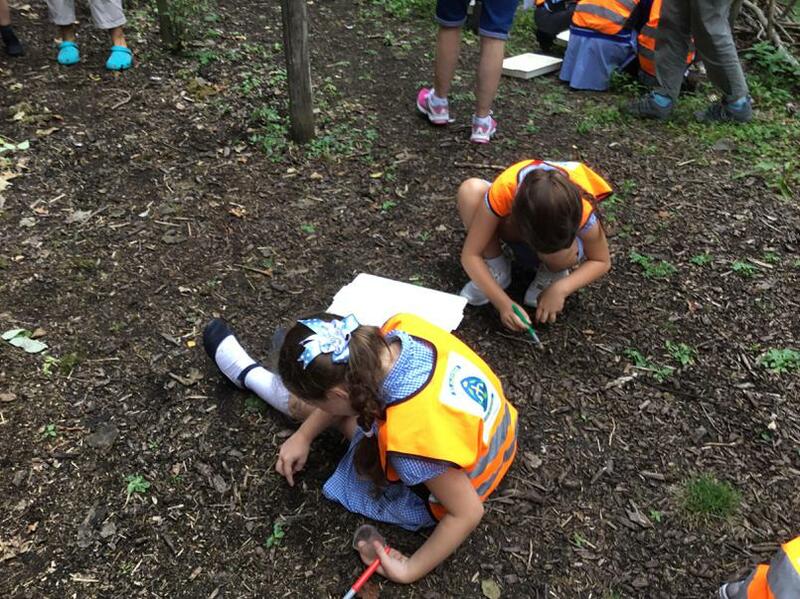 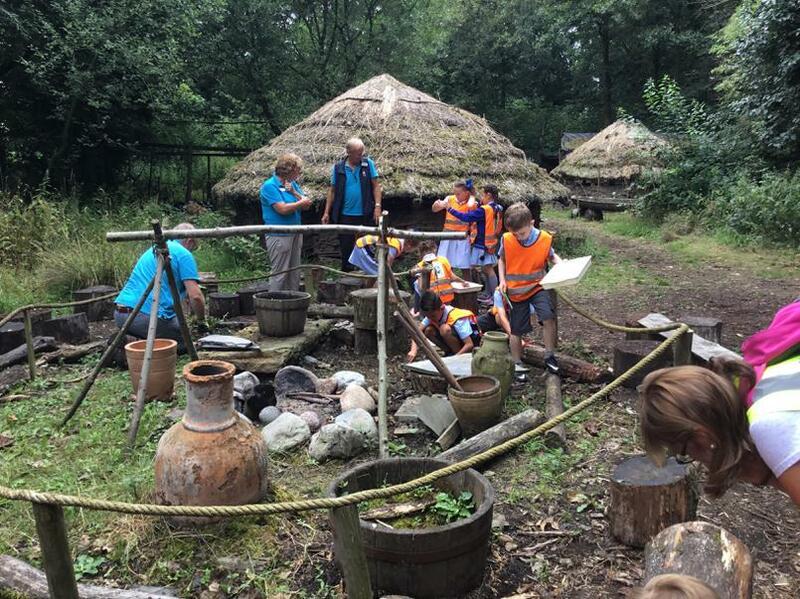 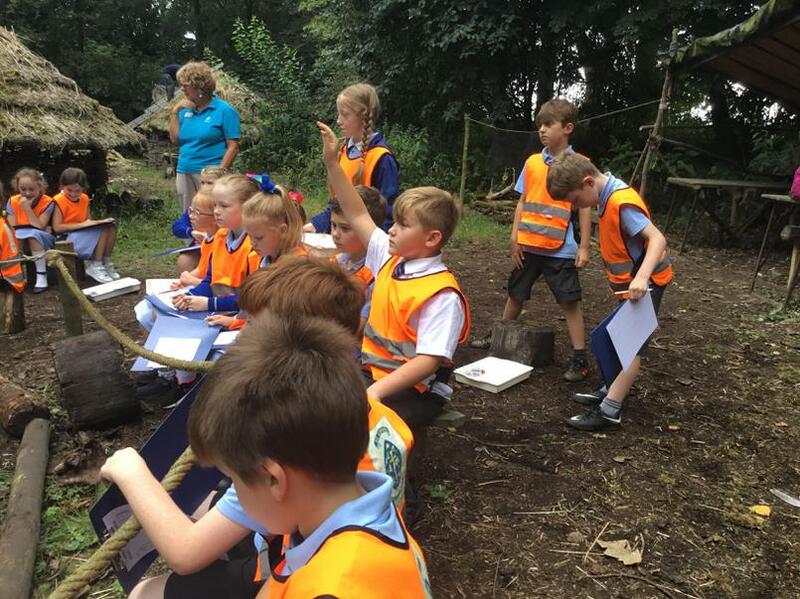 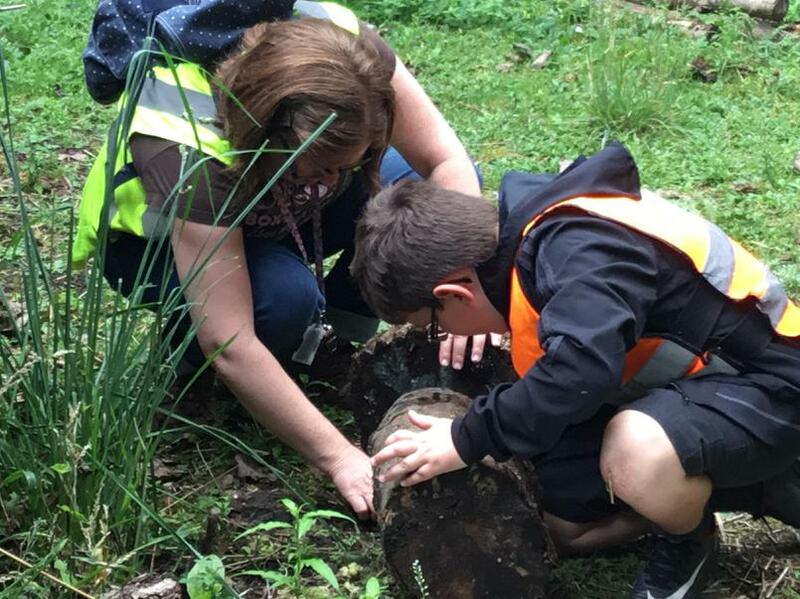 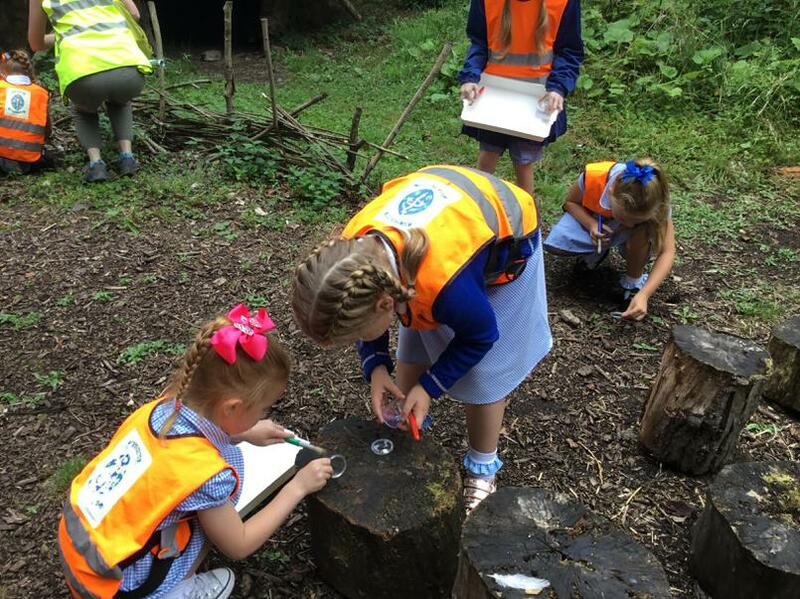 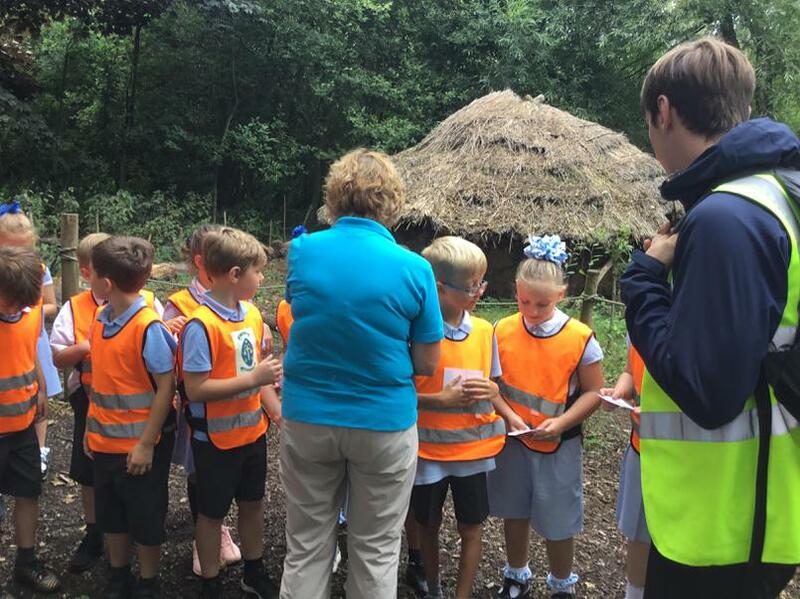 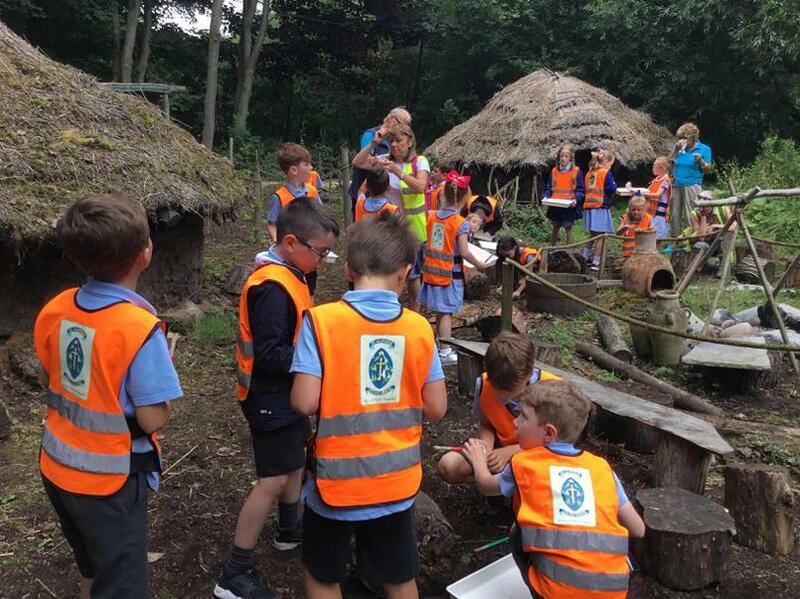 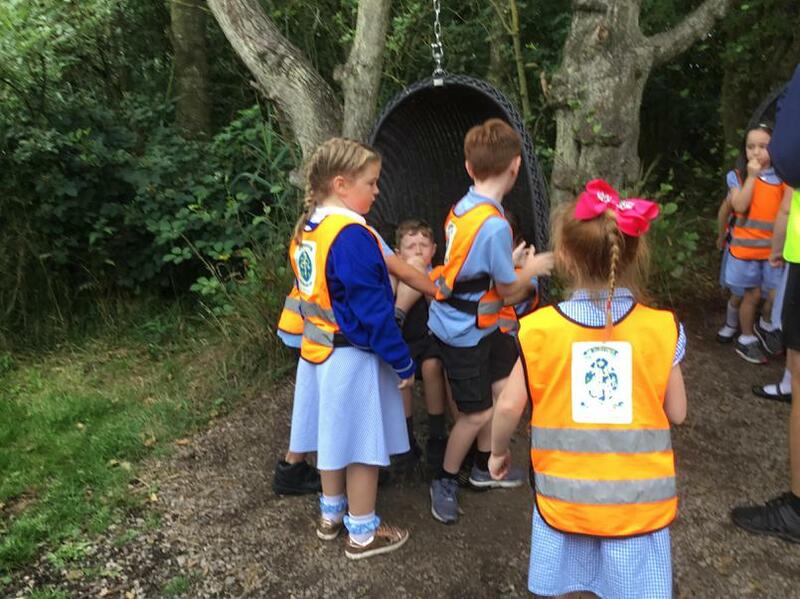 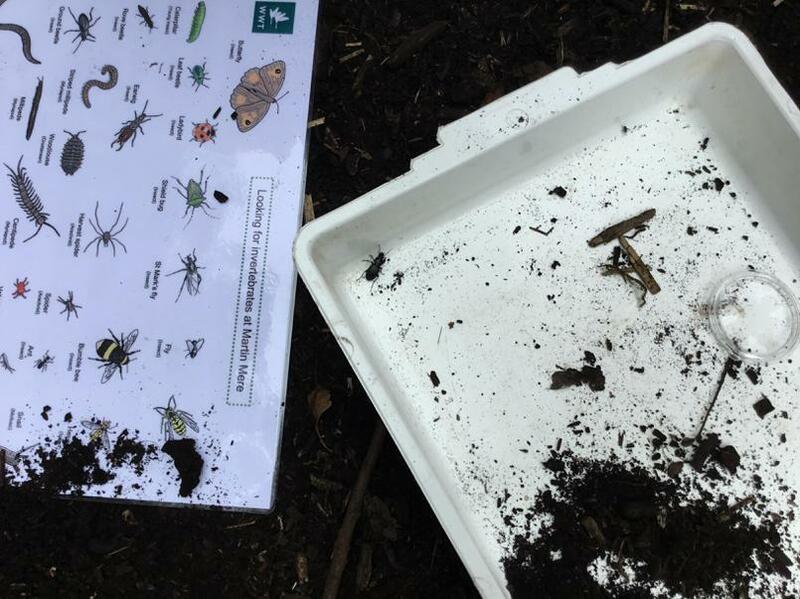 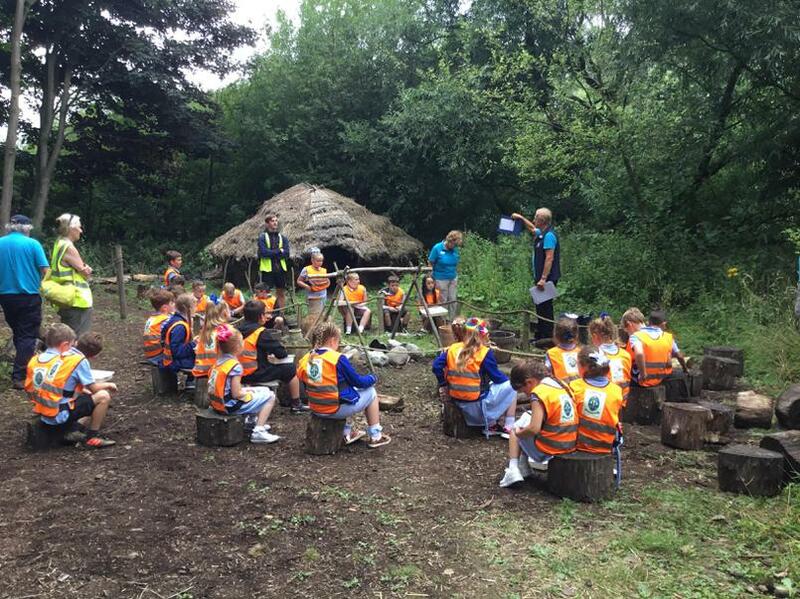 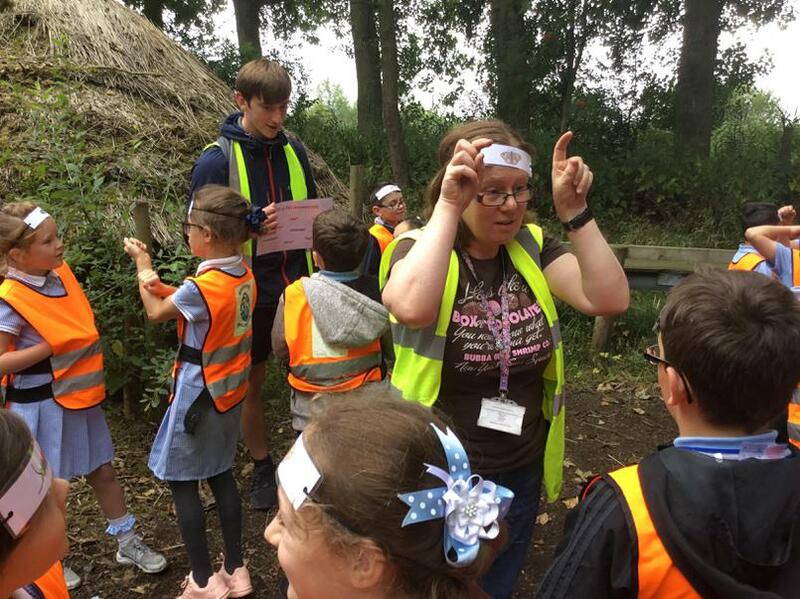 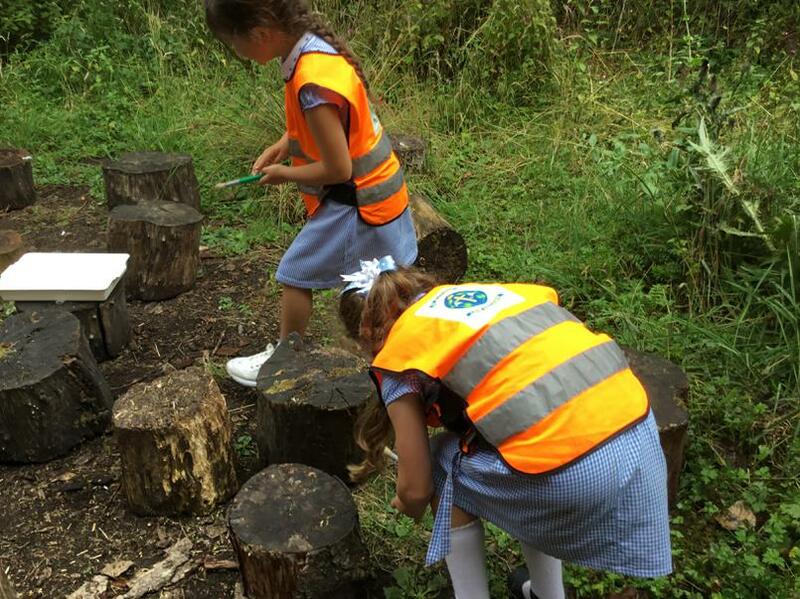 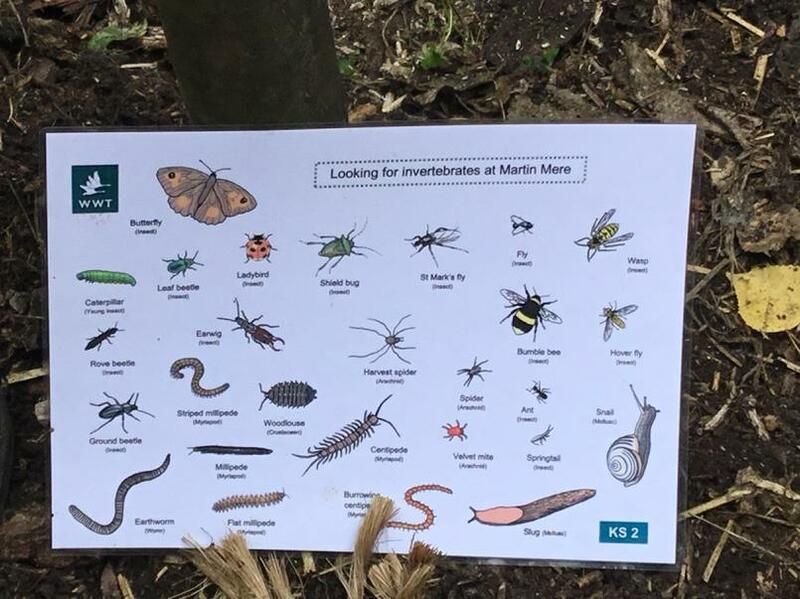 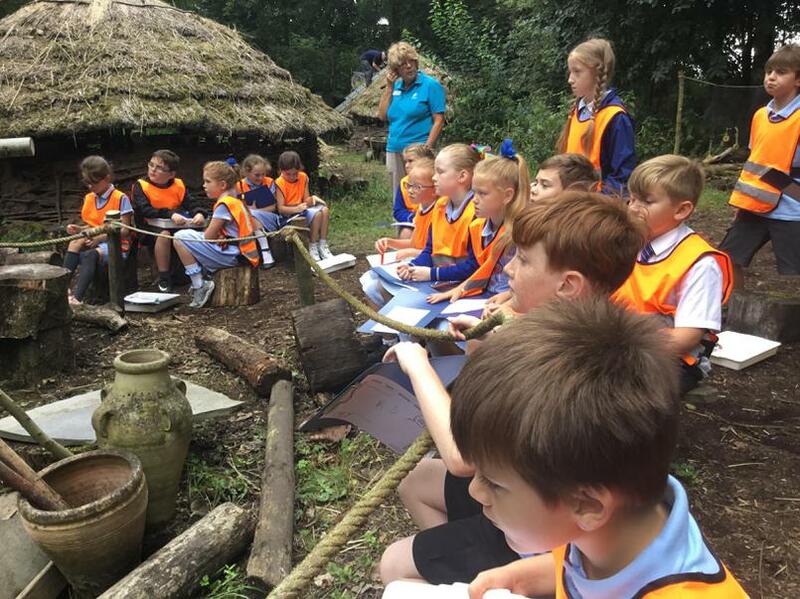 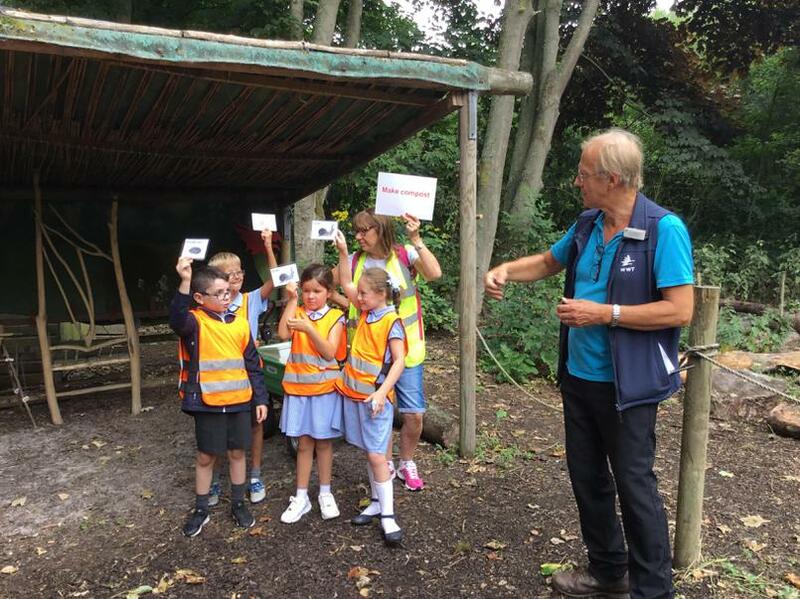 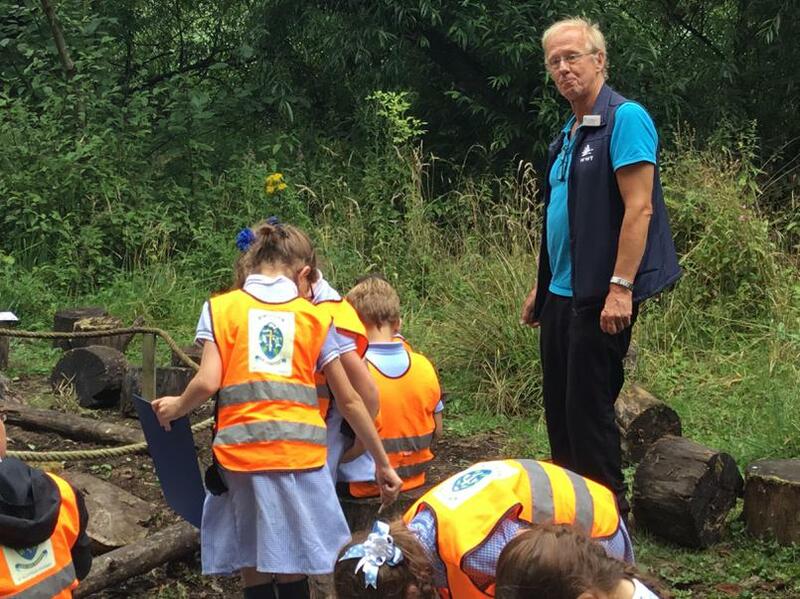 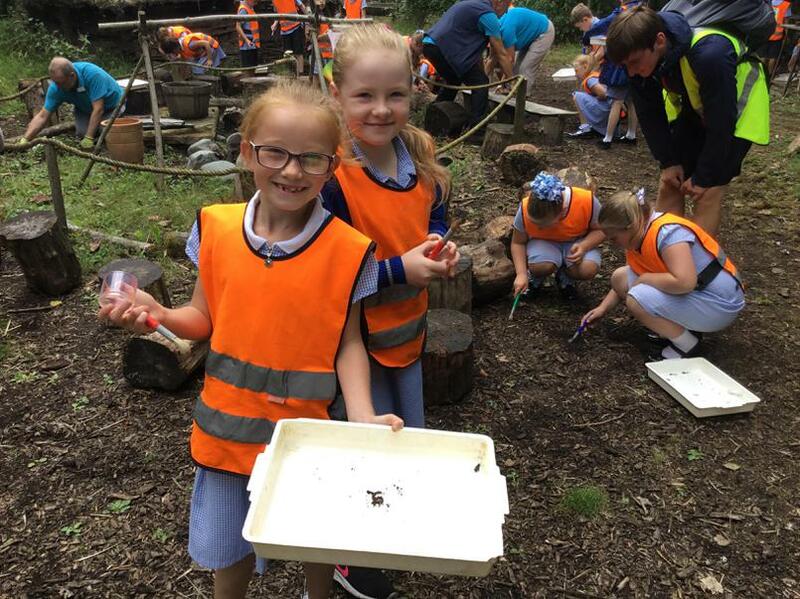 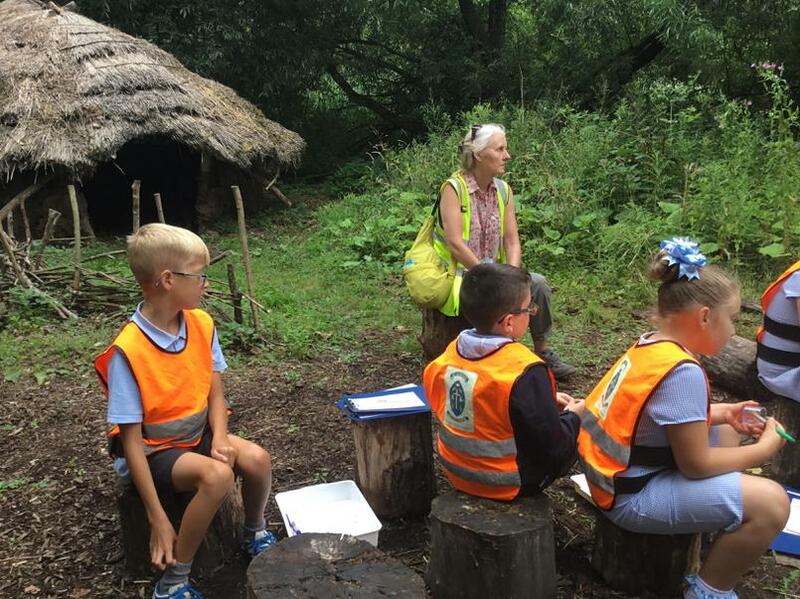 They searched for minibeasts in a woodland habitat, which was also the location of a Viking settlement. 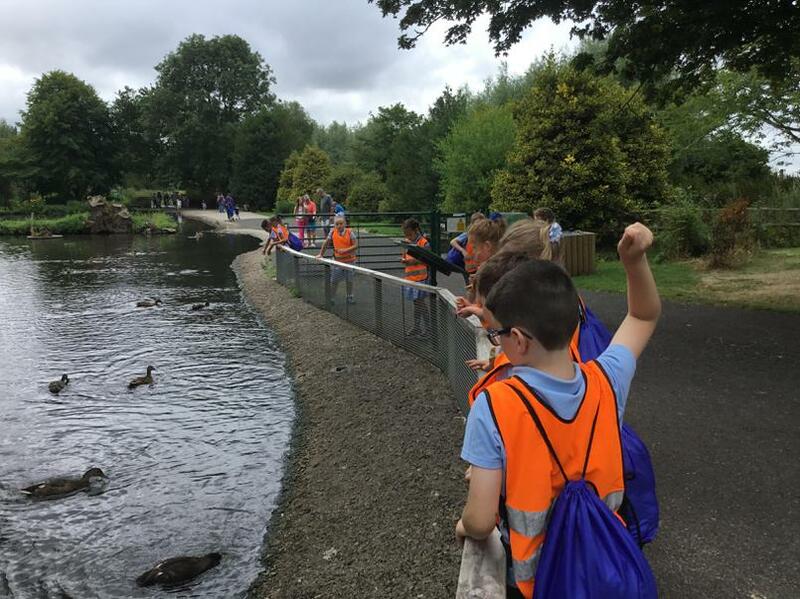 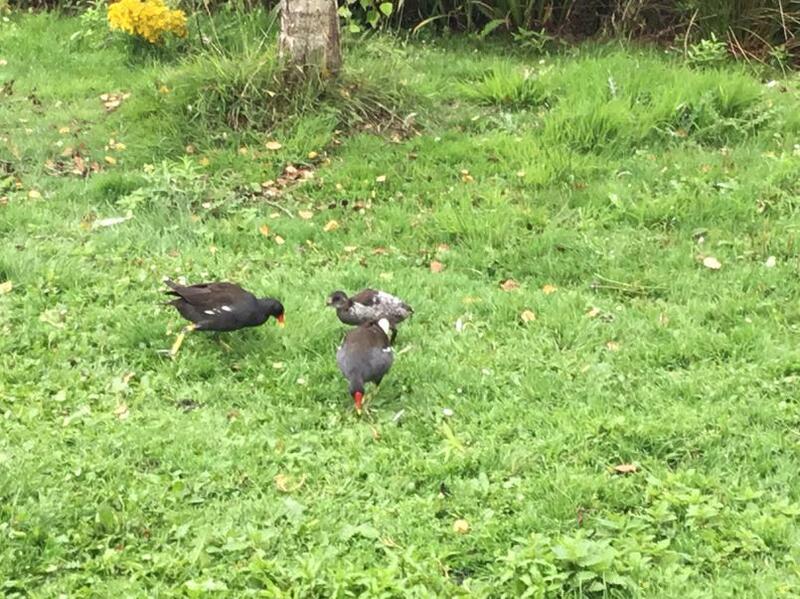 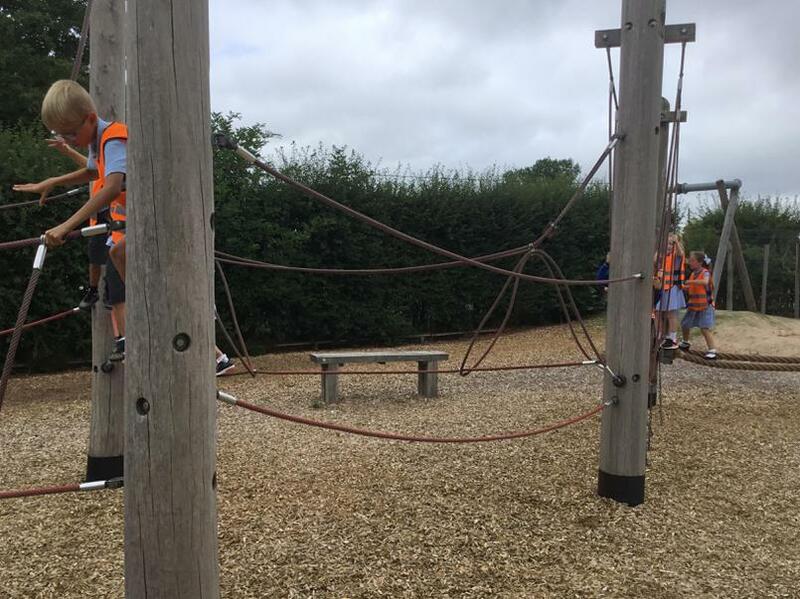 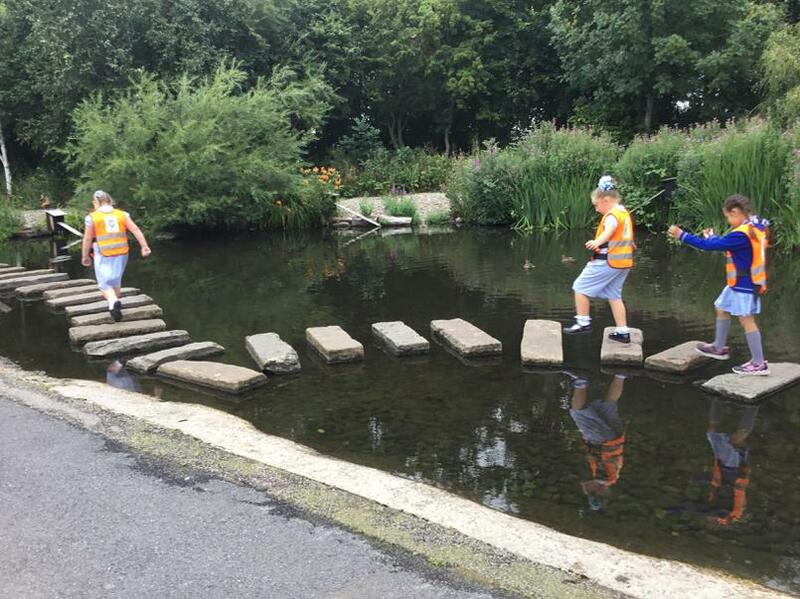 They explored the Wild Walk, played on the play area and fed the ducks. 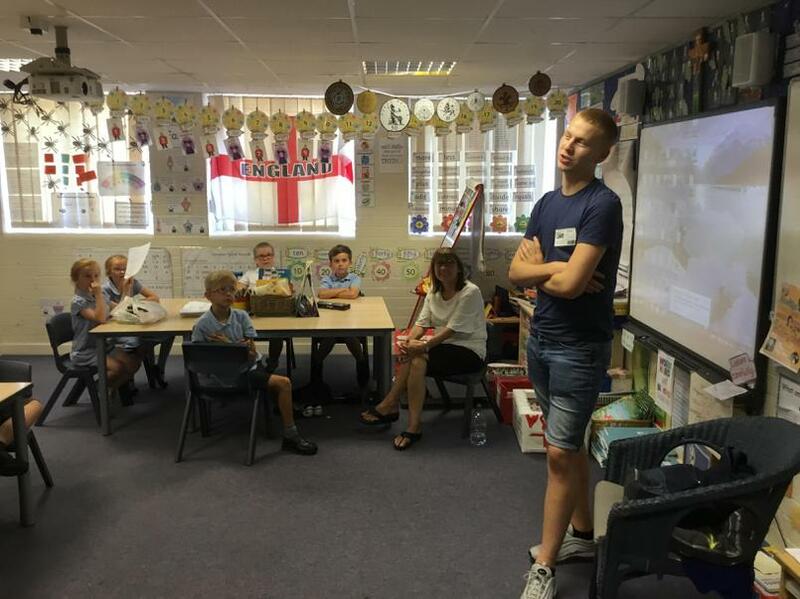 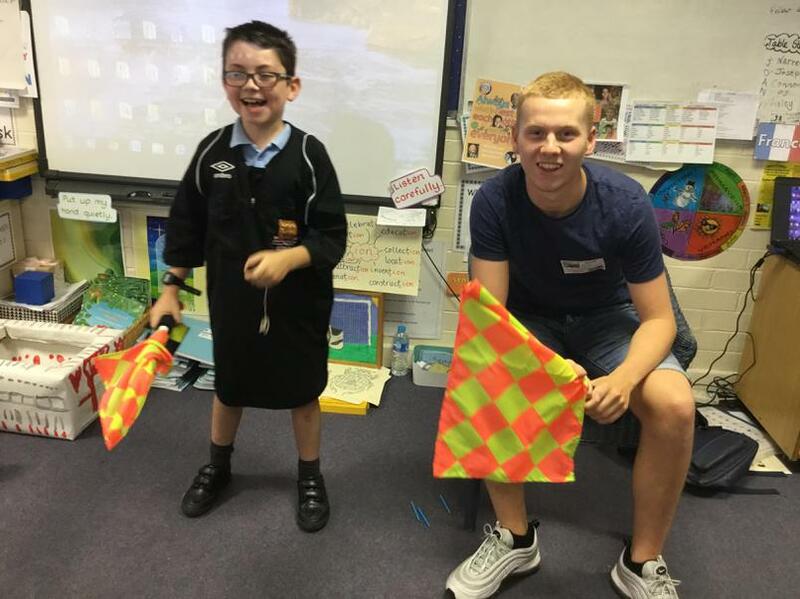 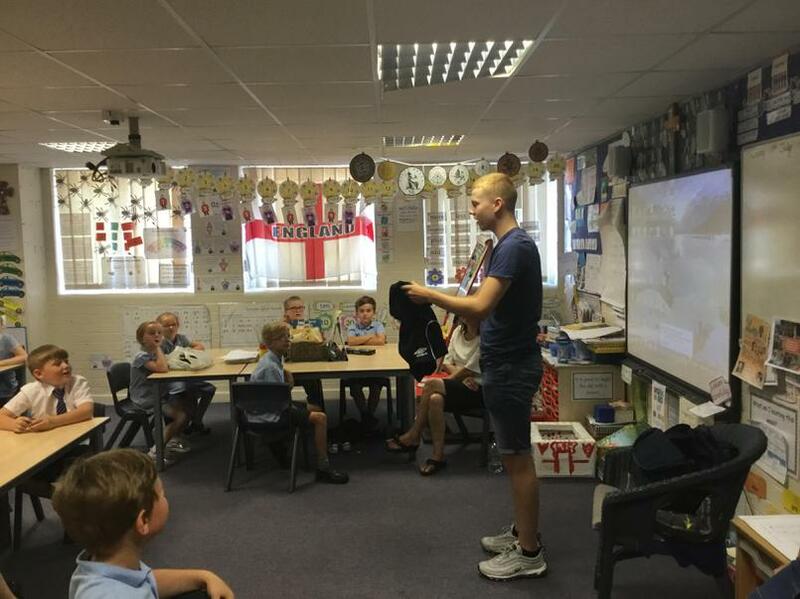 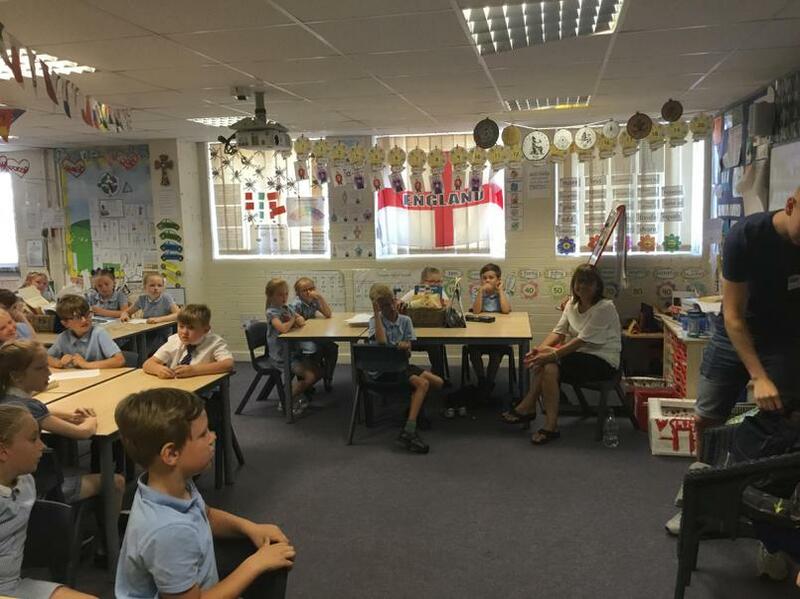 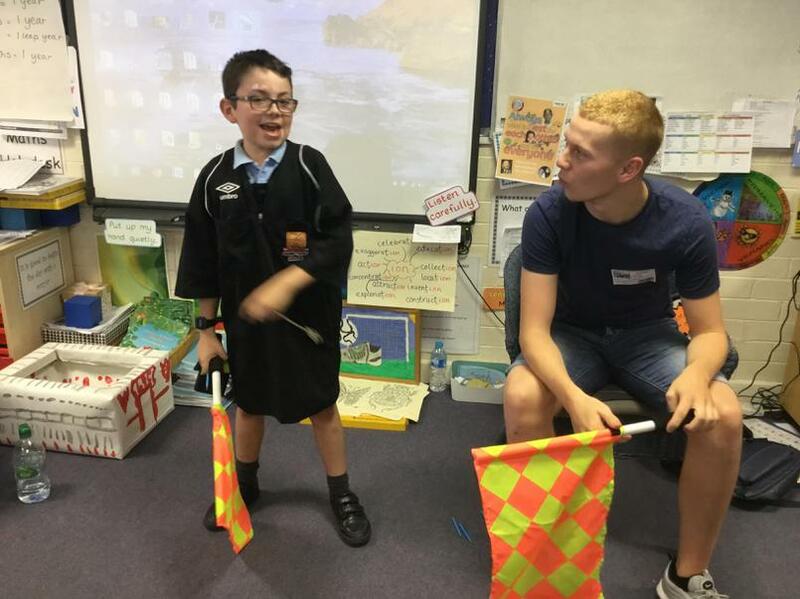 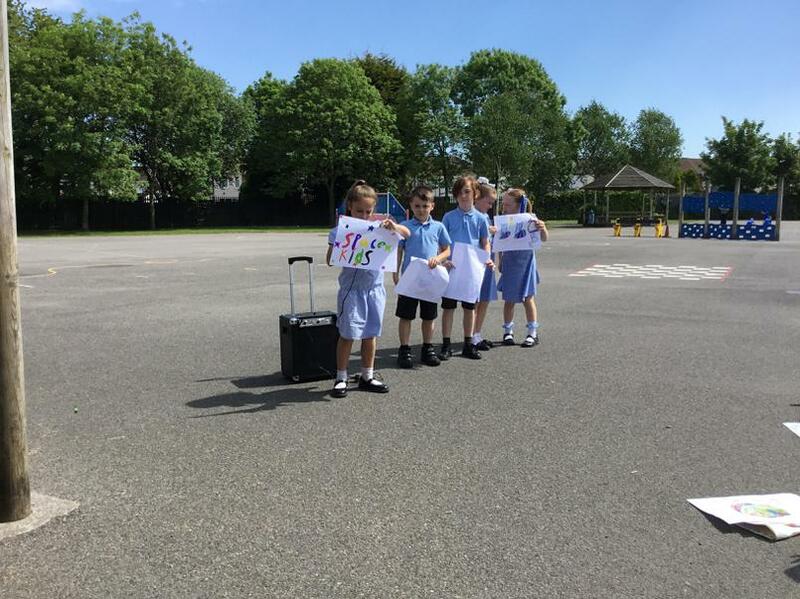 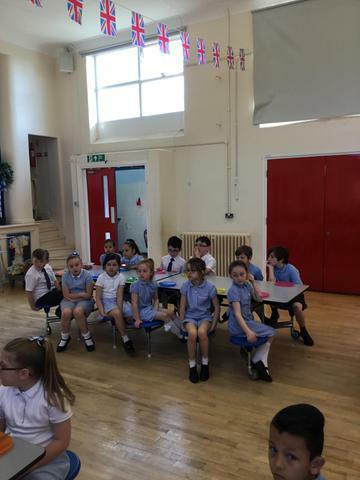 The children thought about some questions they would like to ask a referee. 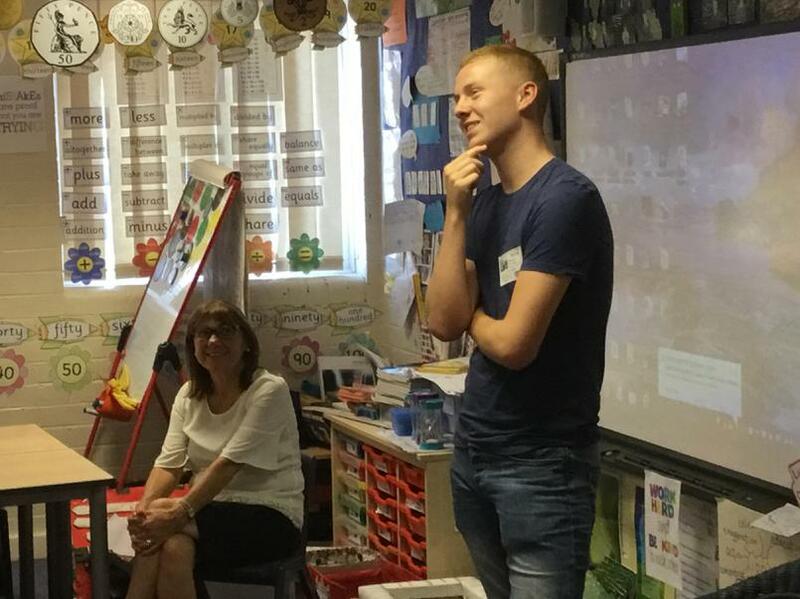 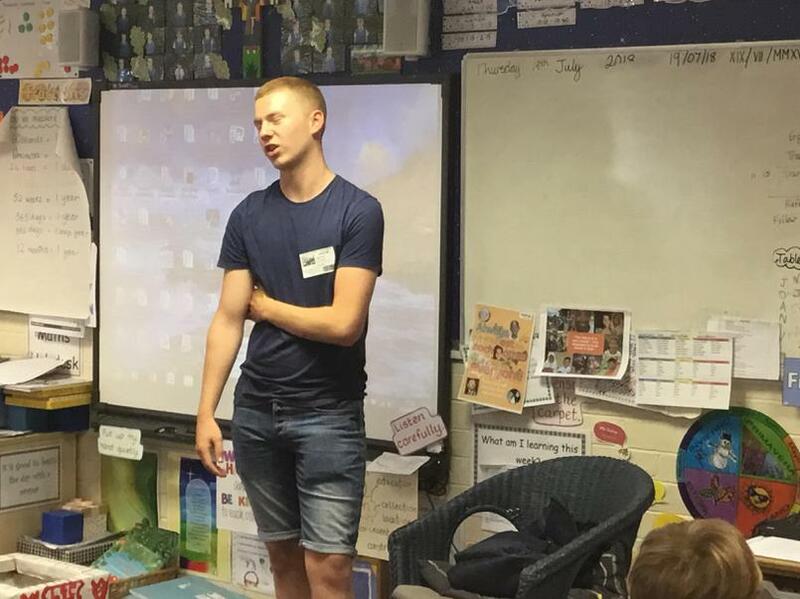 All the children asked a question and my son answered them. 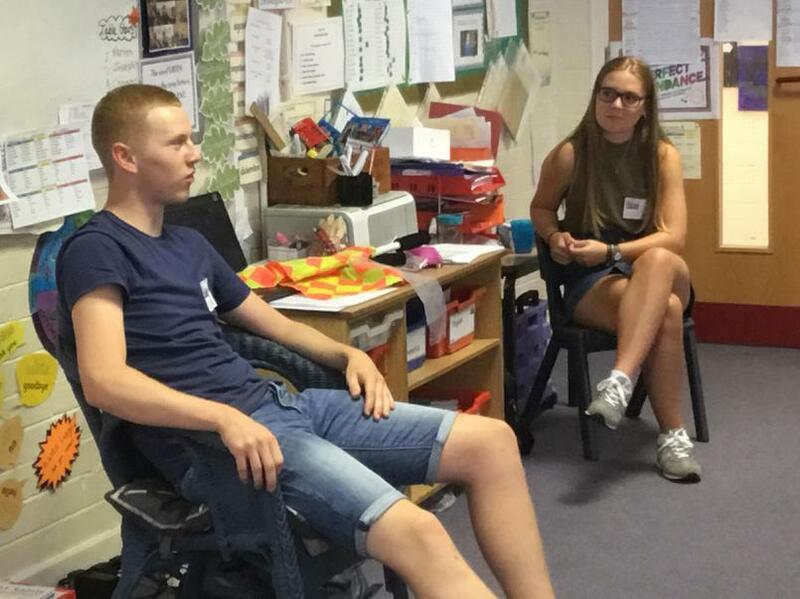 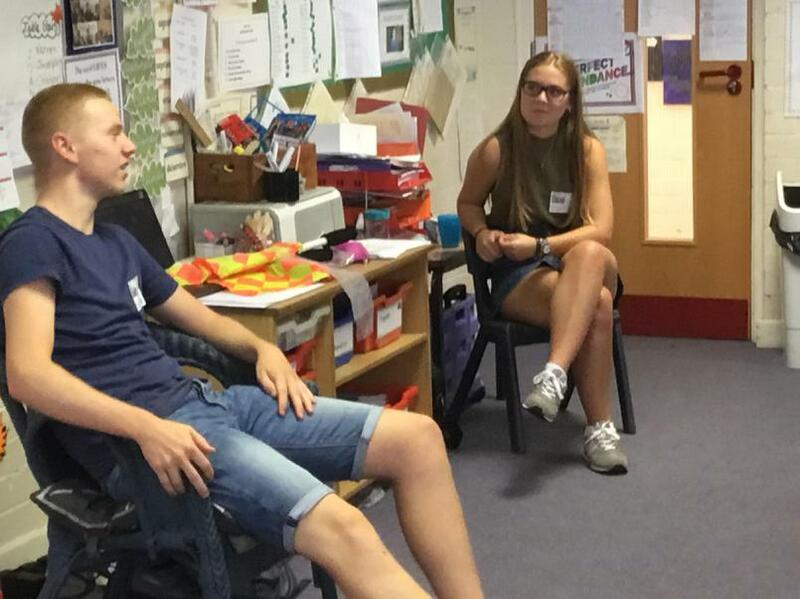 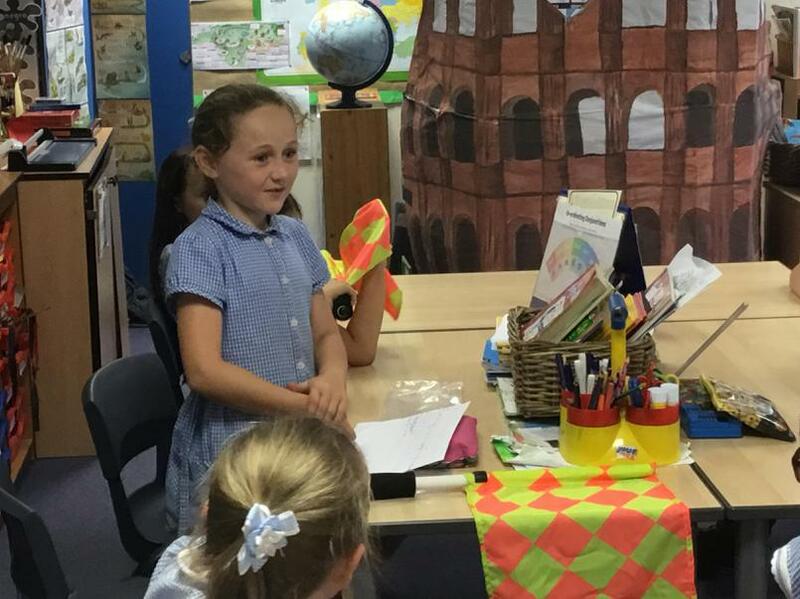 They even had an opportunity to ask my daughter about her adventures in America. 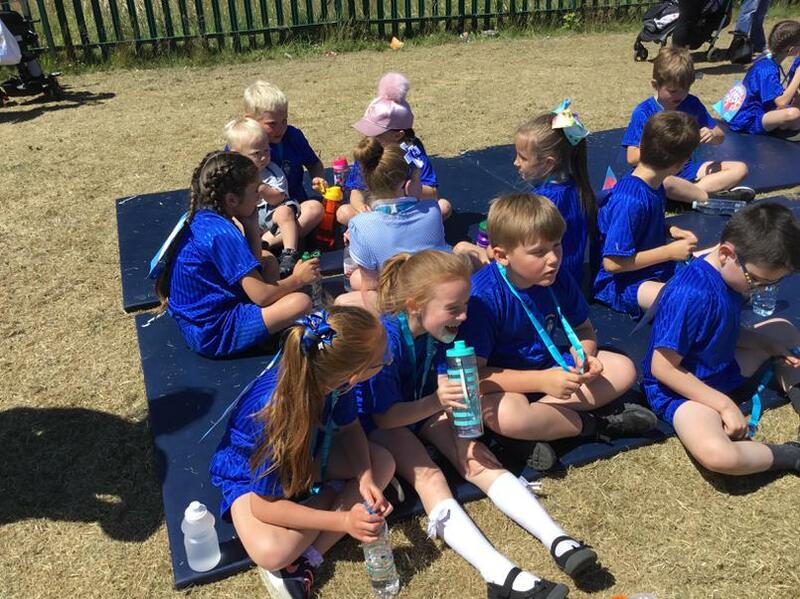 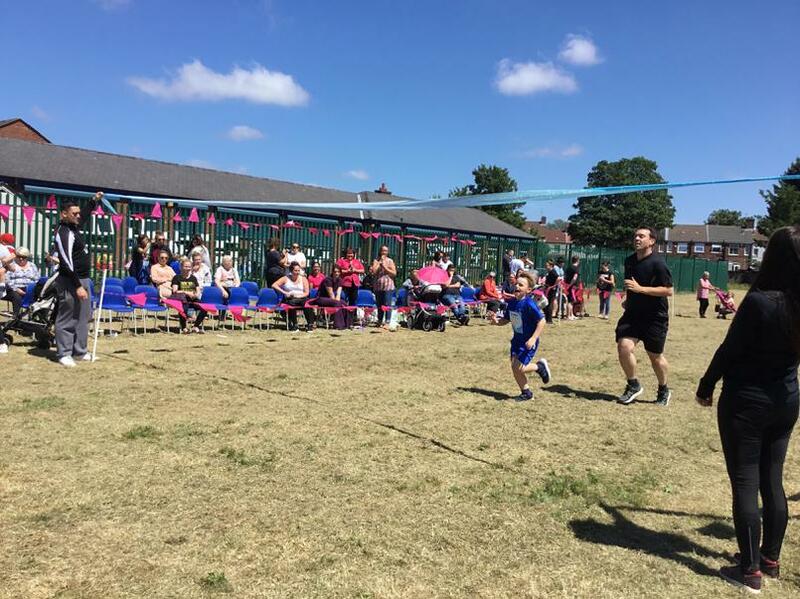 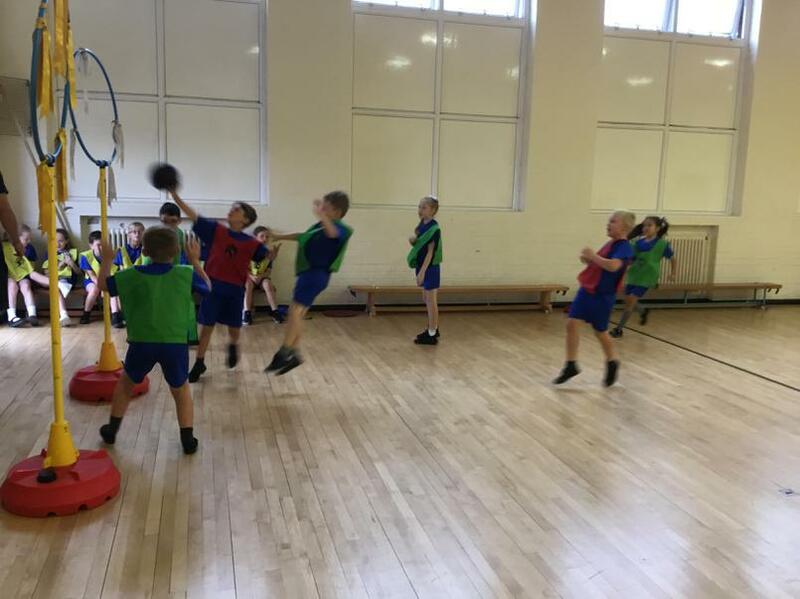 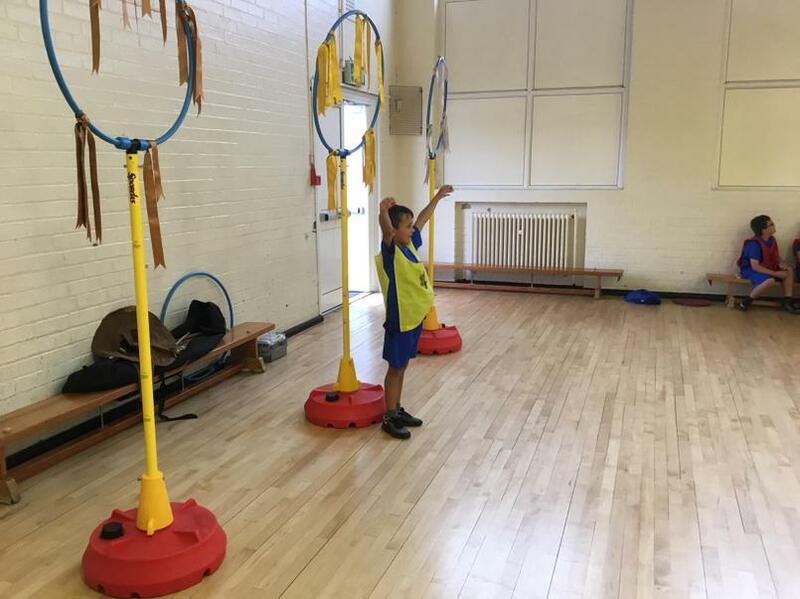 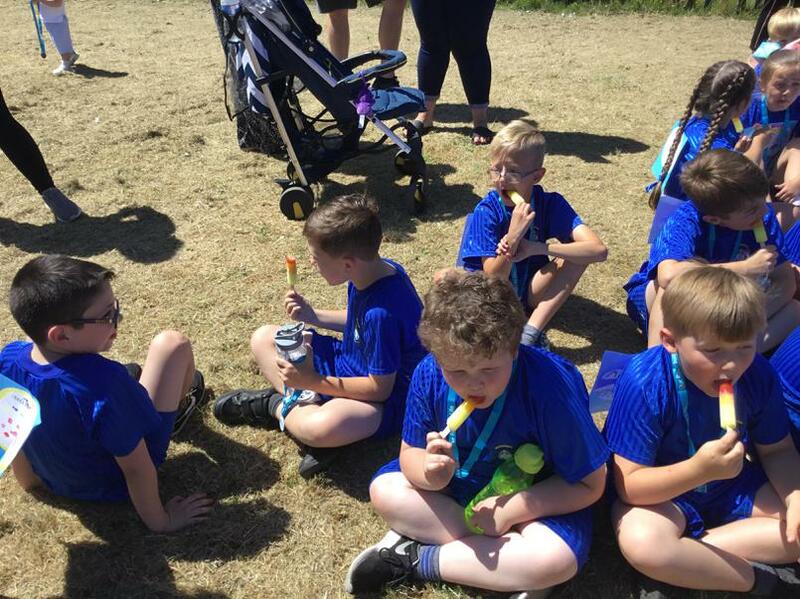 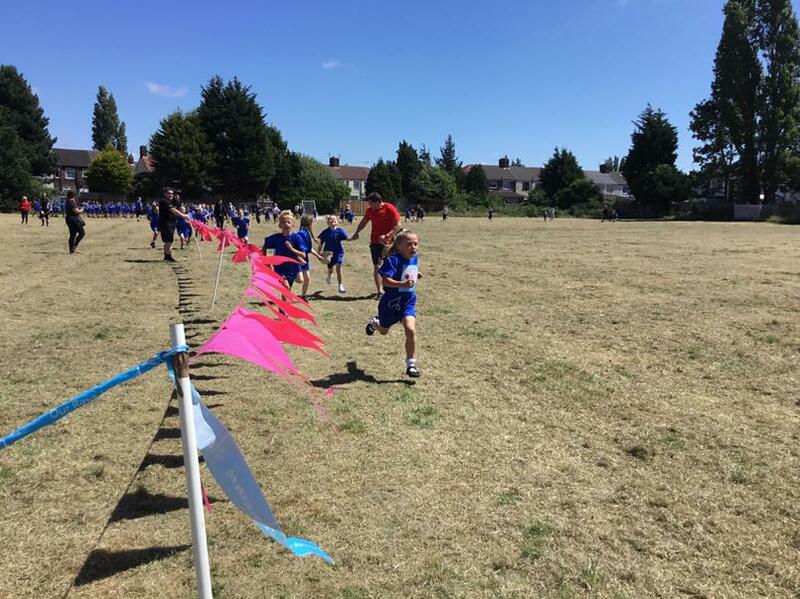 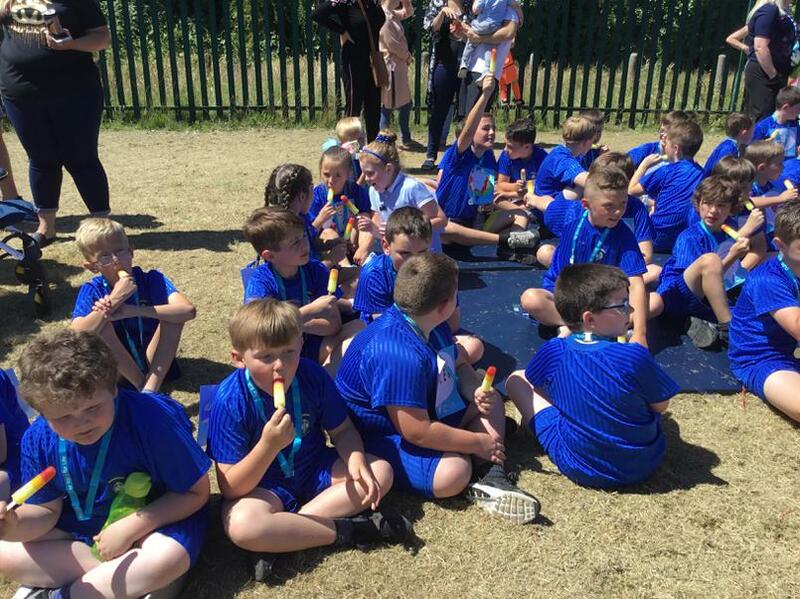 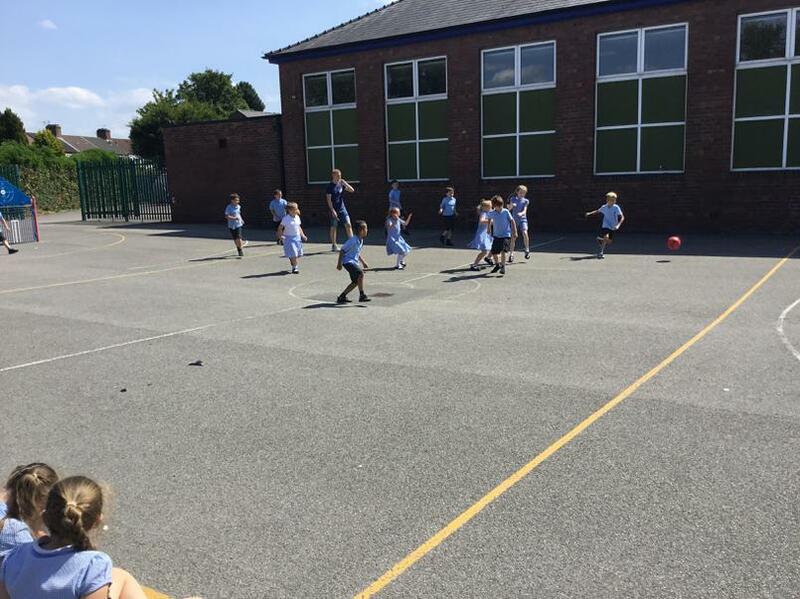 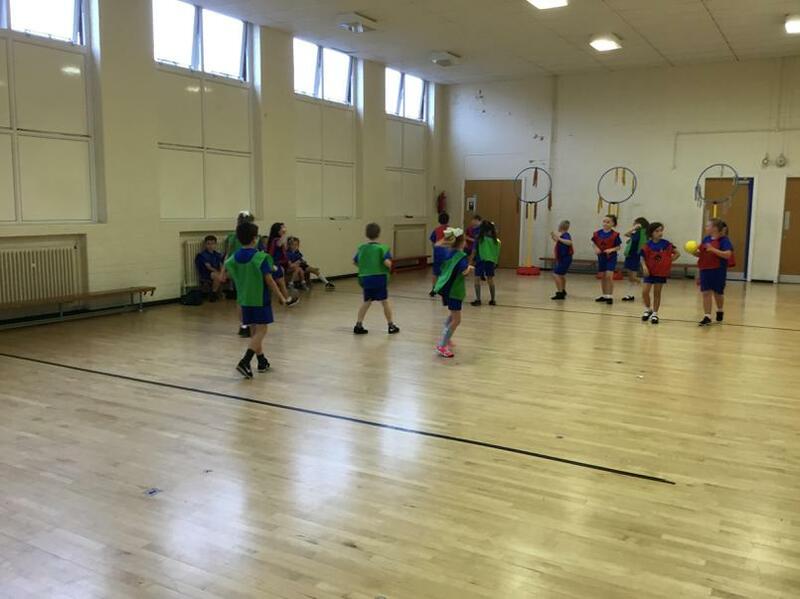 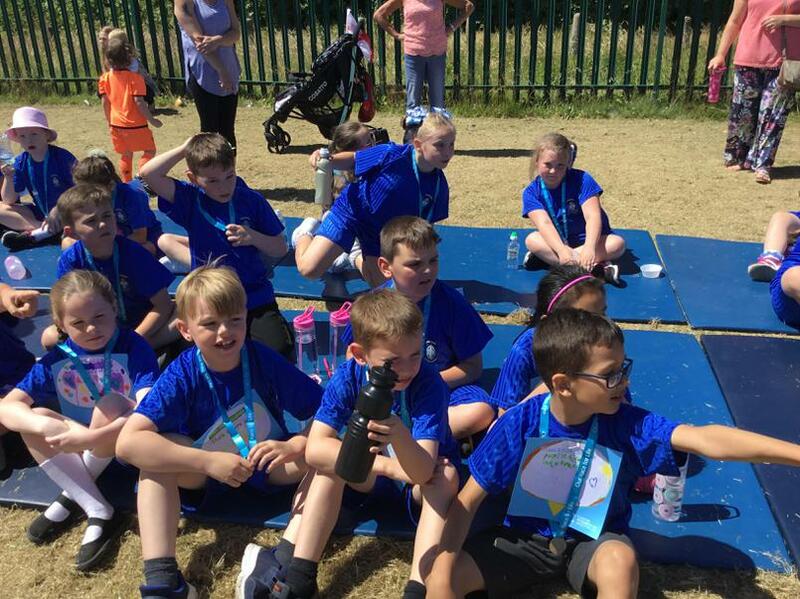 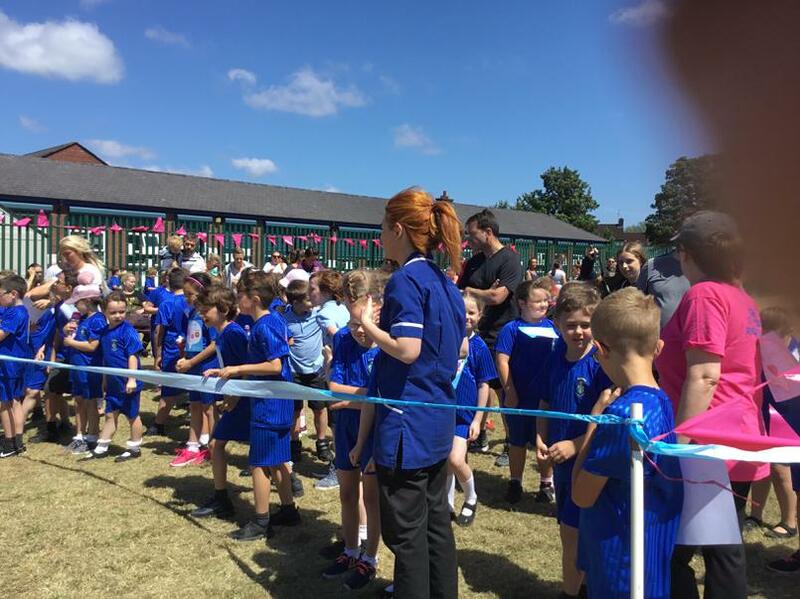 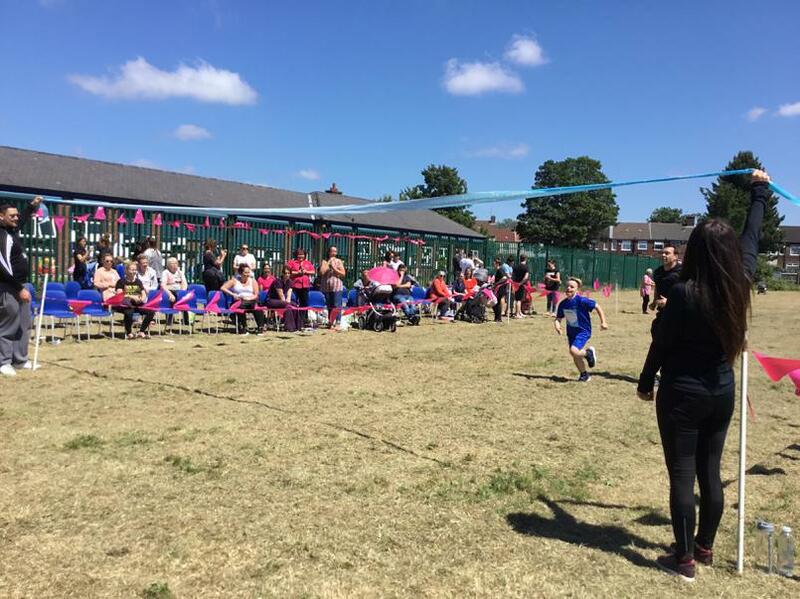 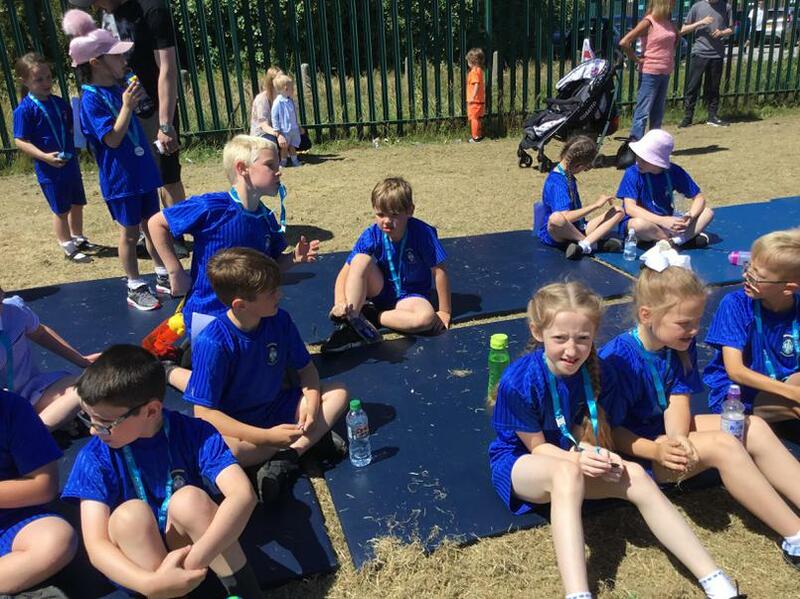 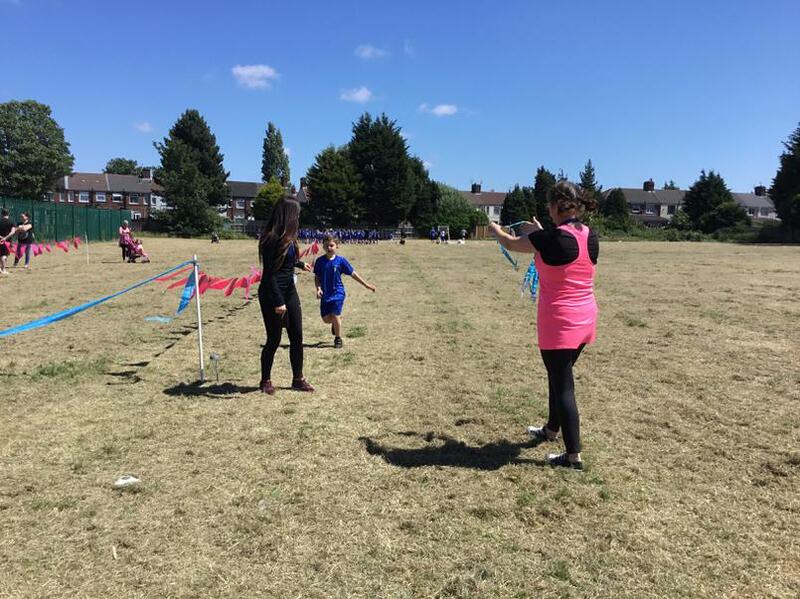 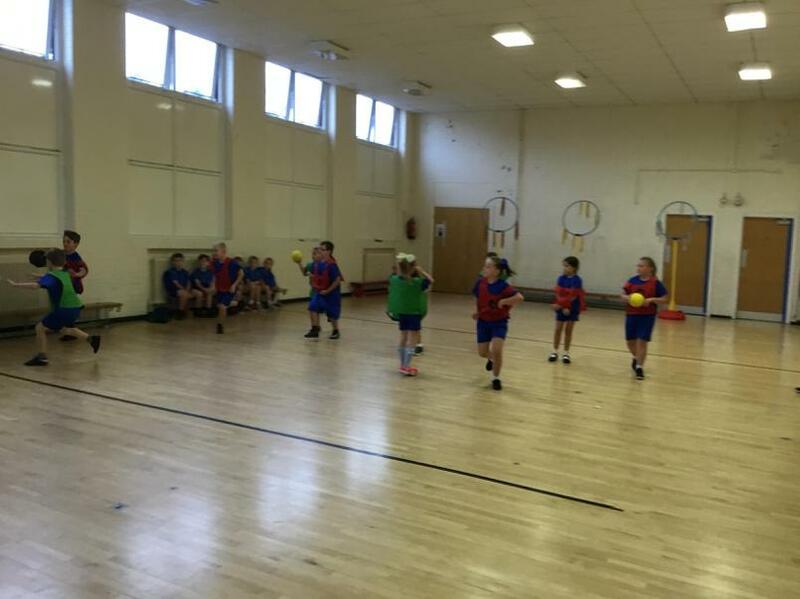 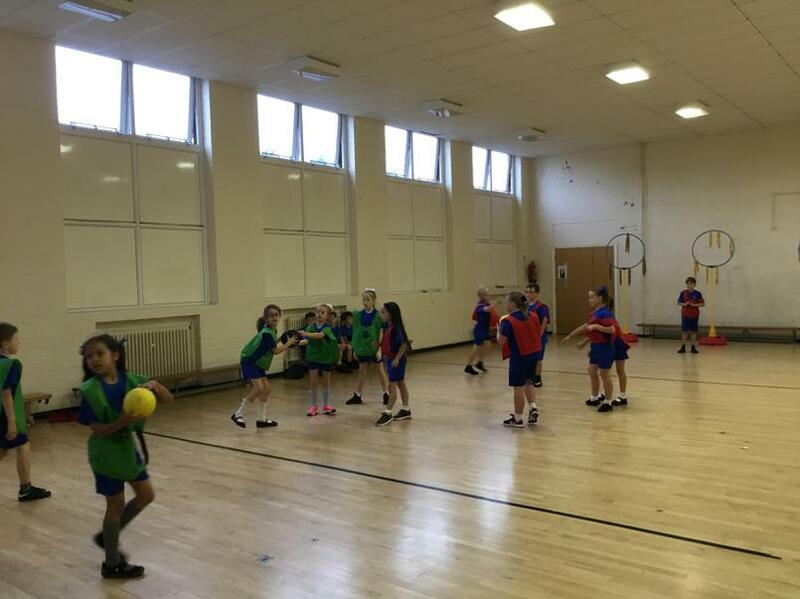 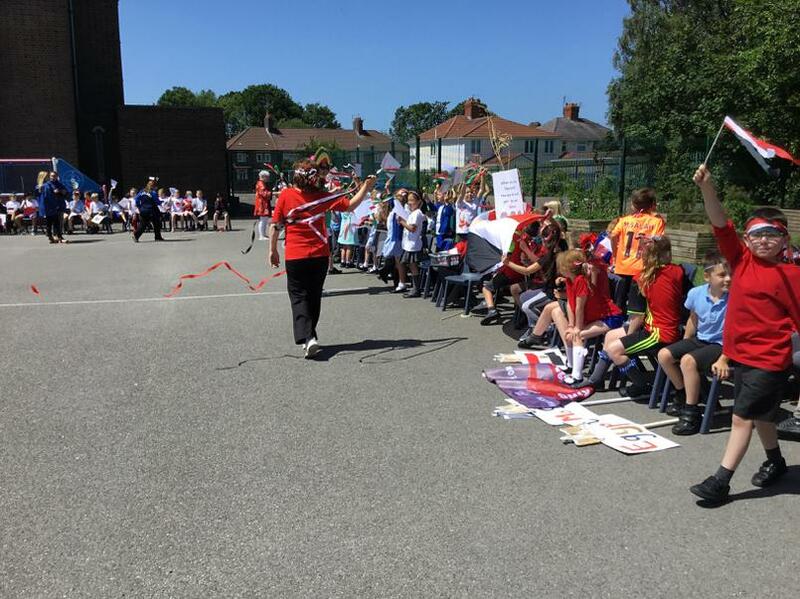 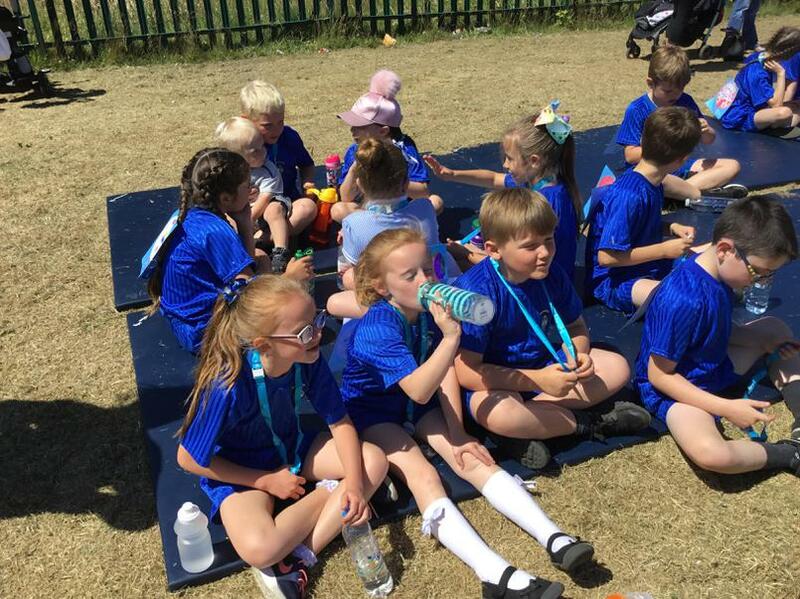 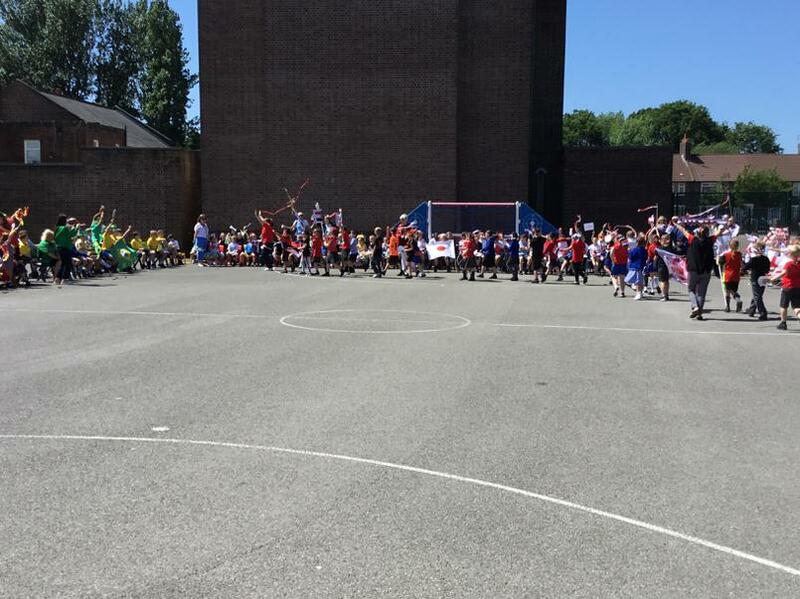 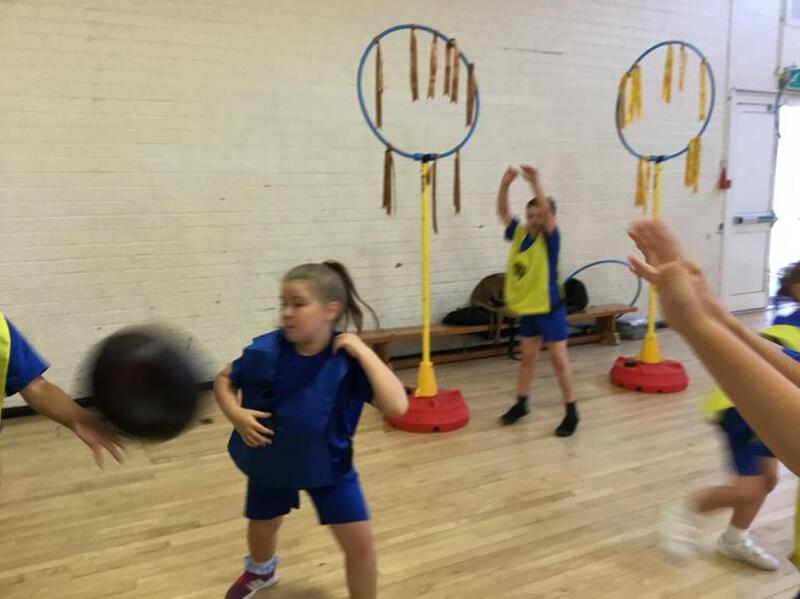 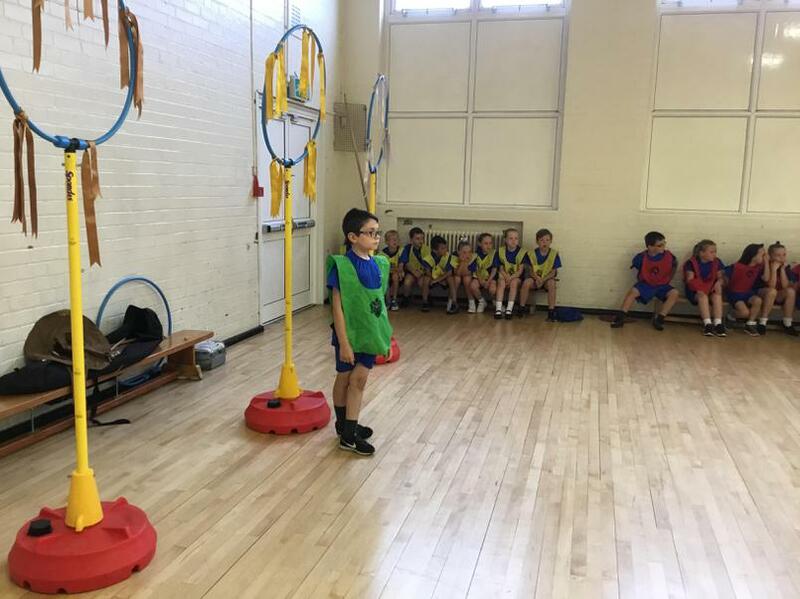 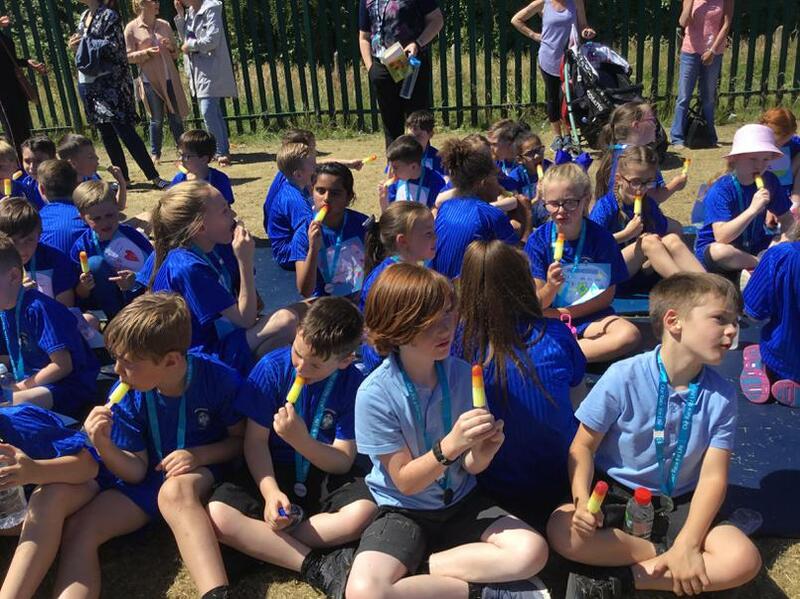 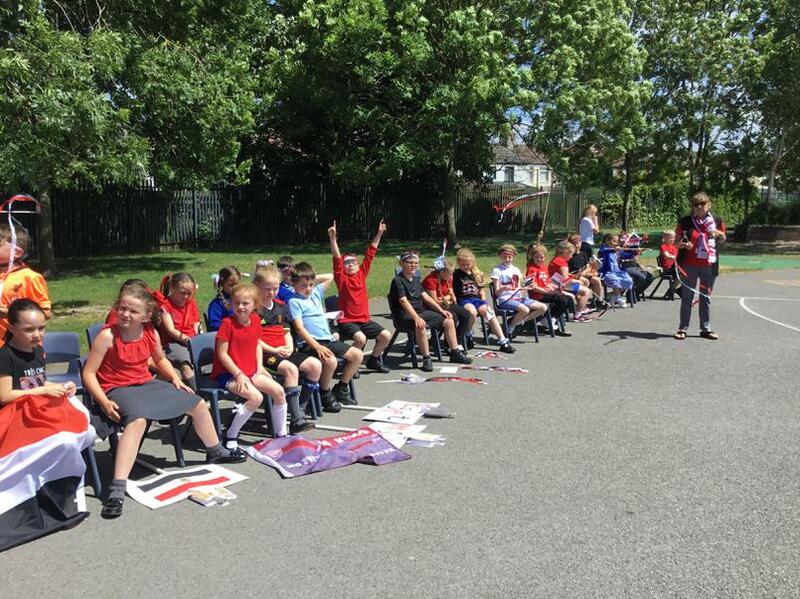 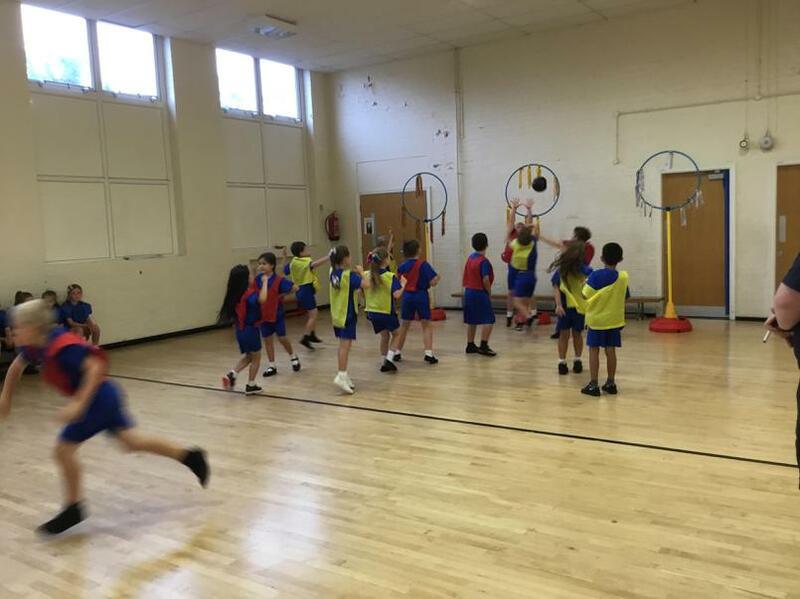 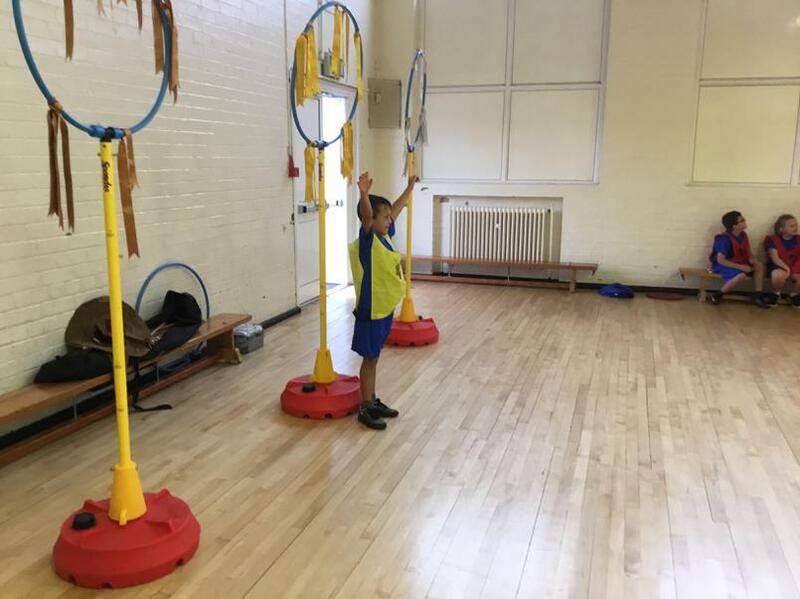 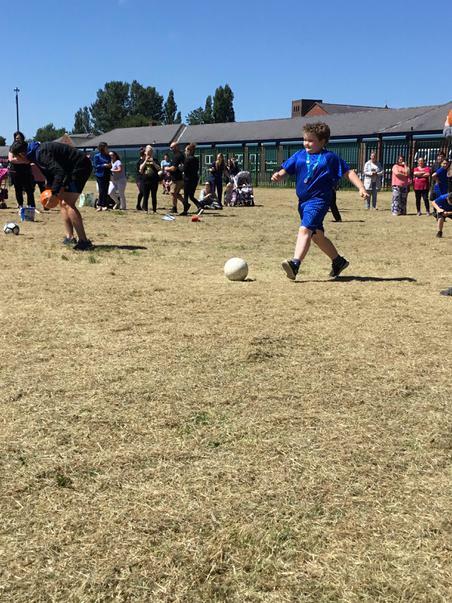 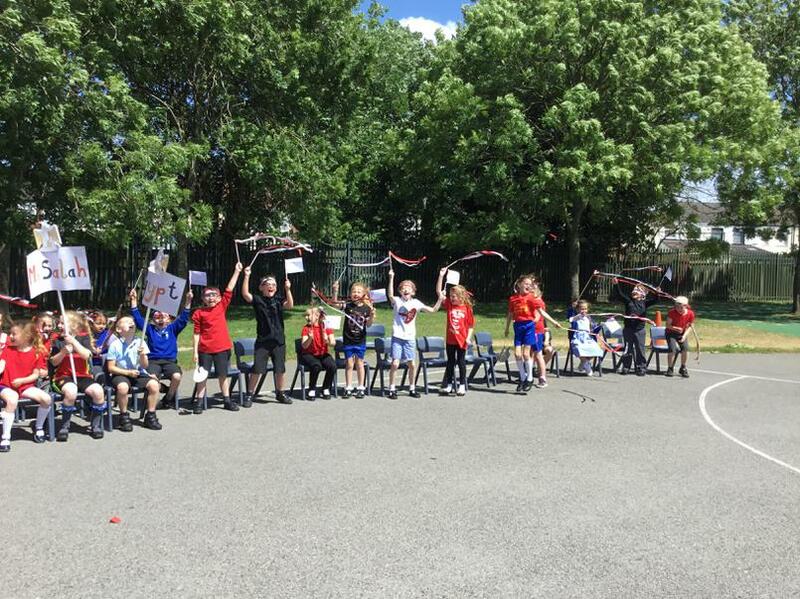 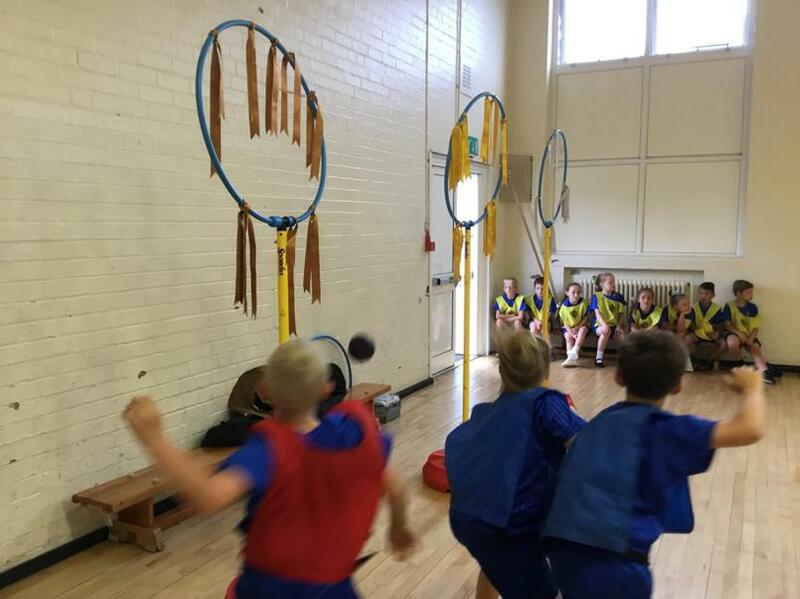 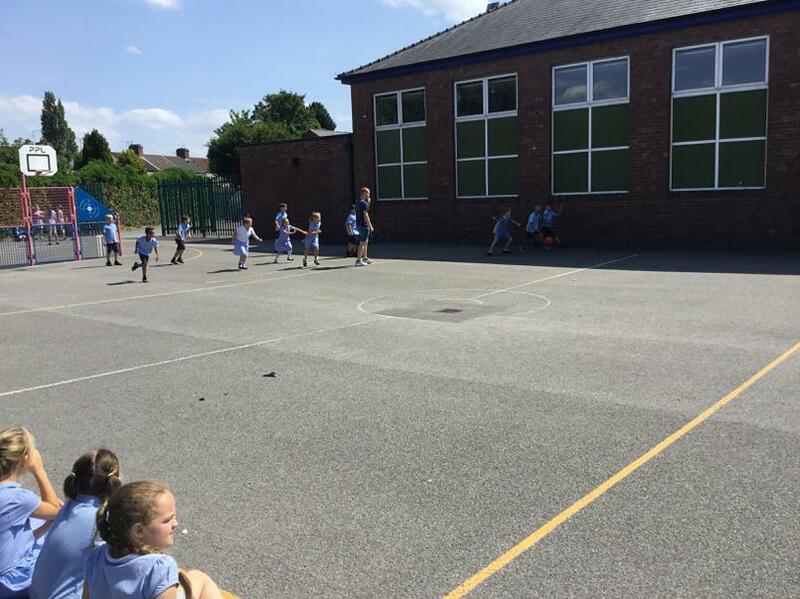 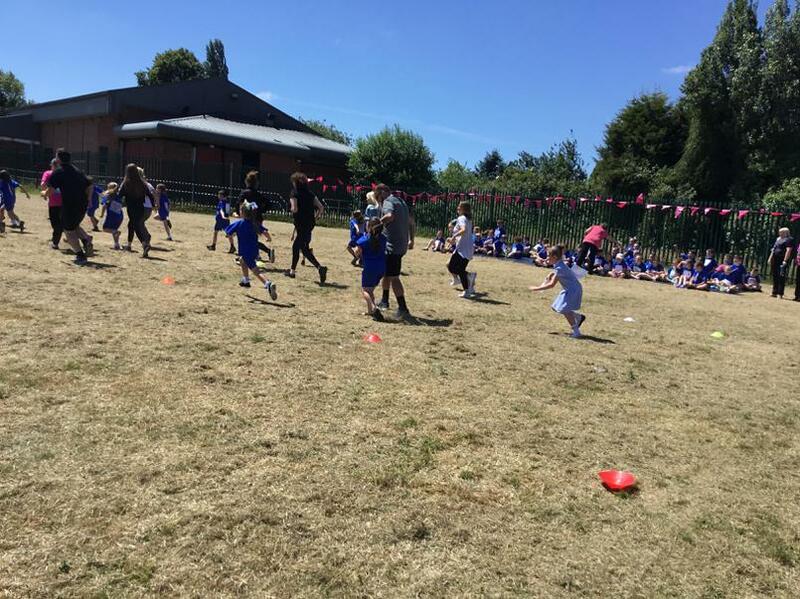 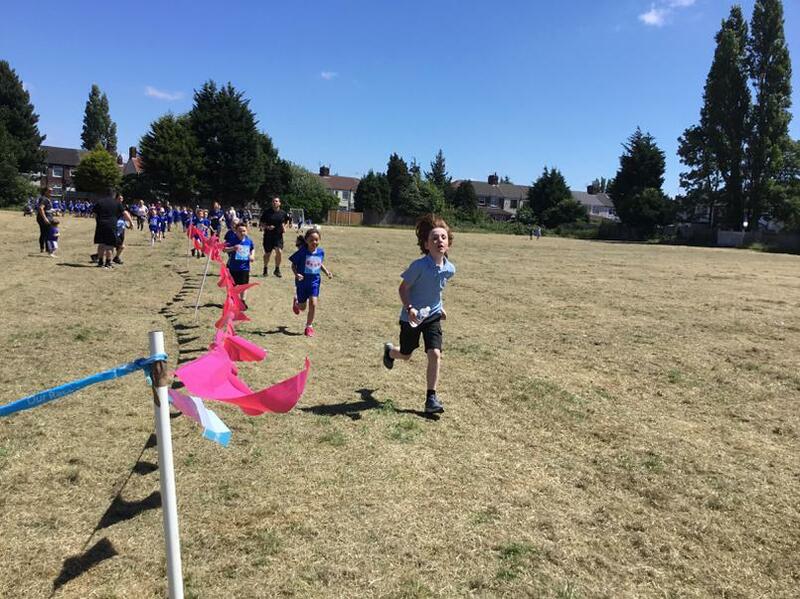 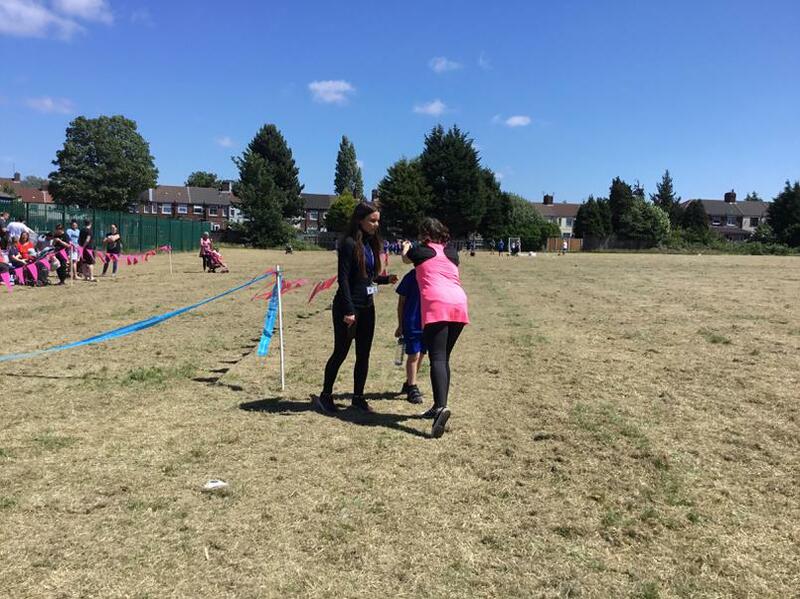 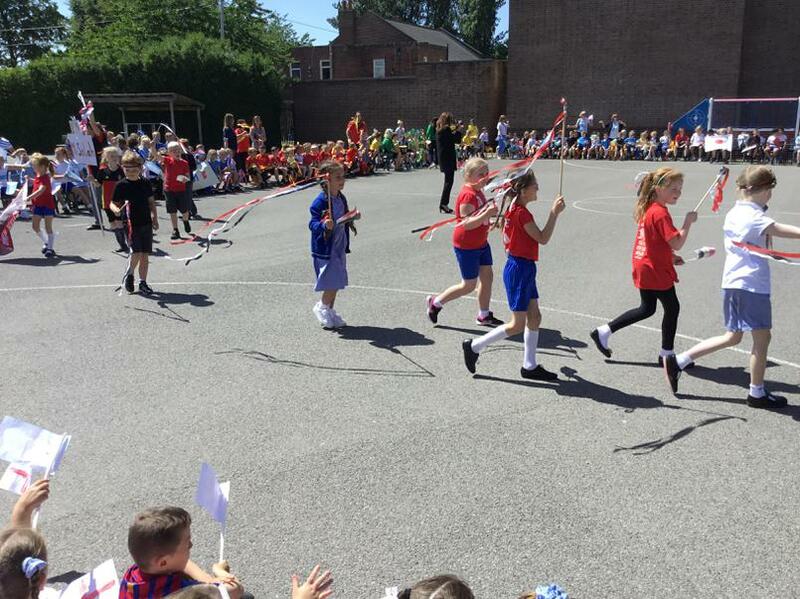 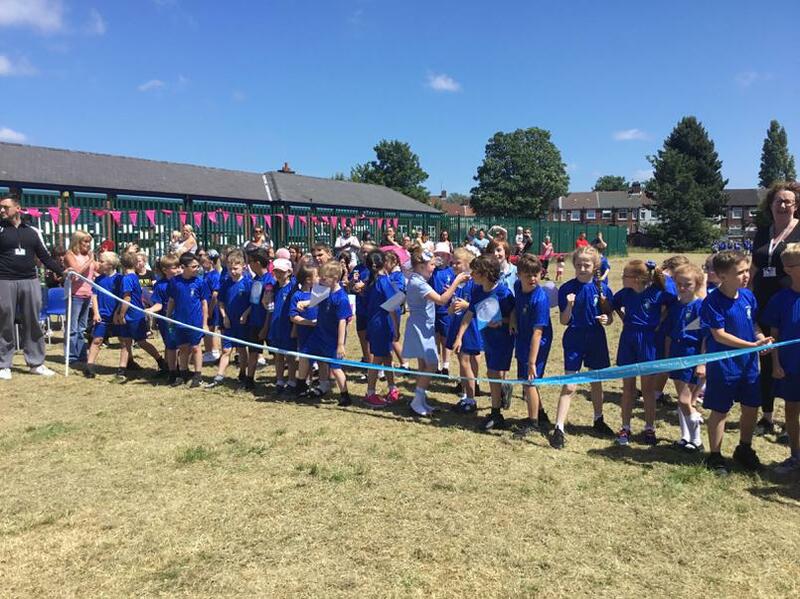 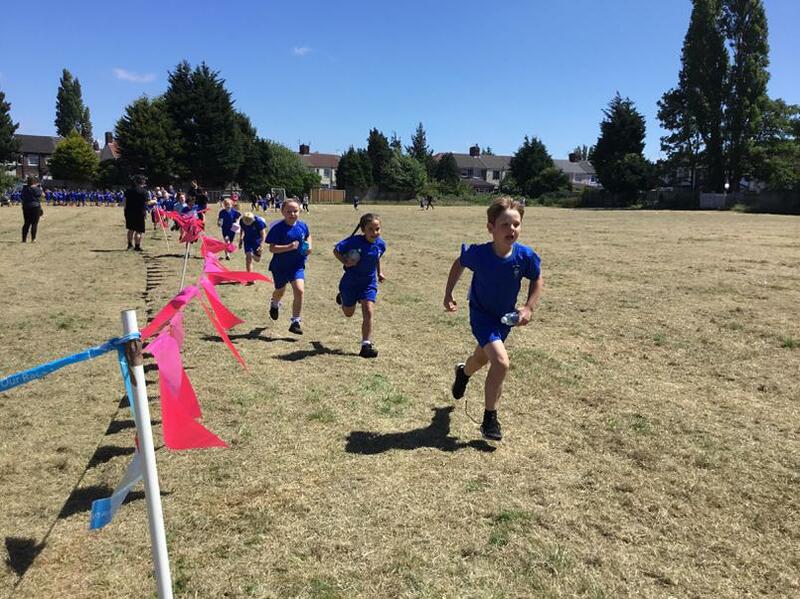 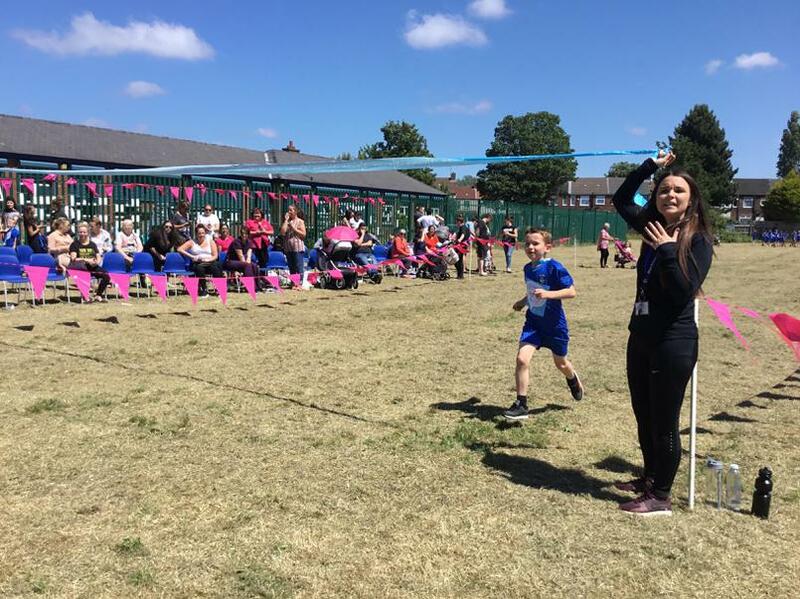 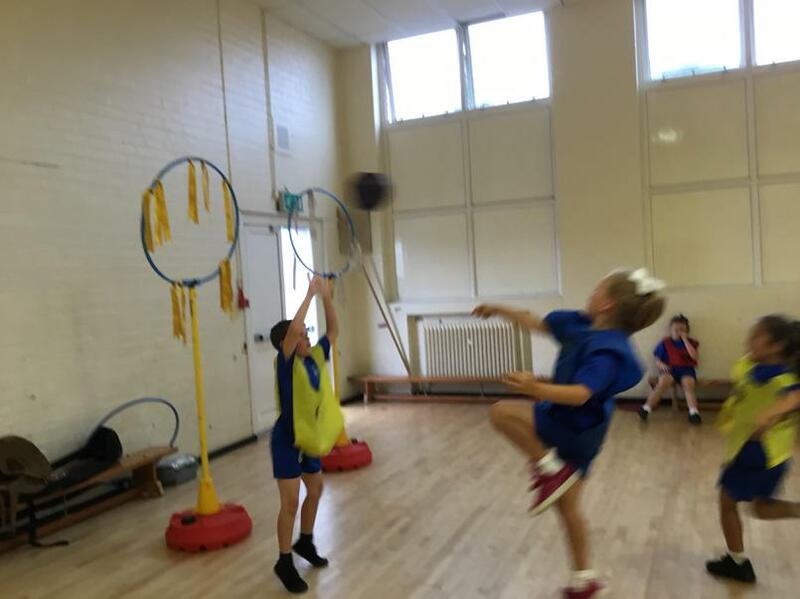 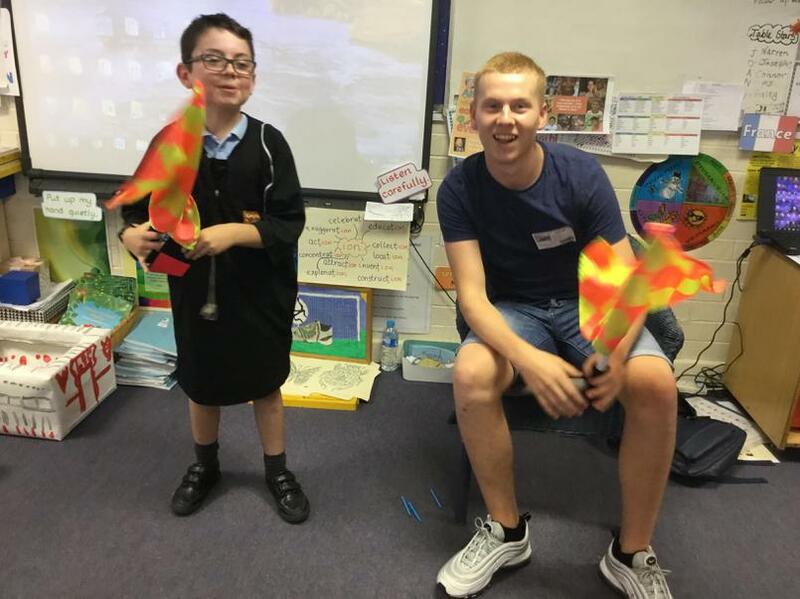 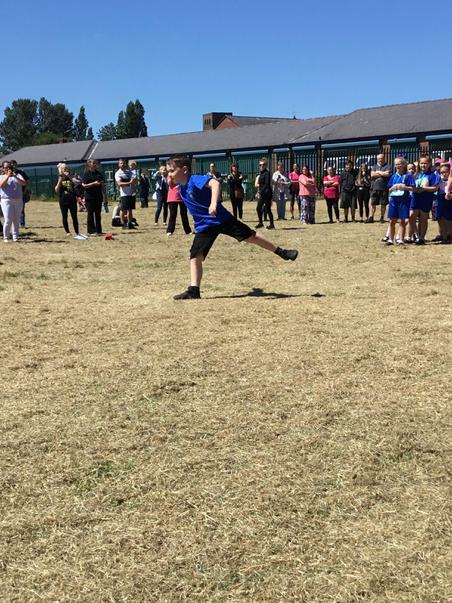 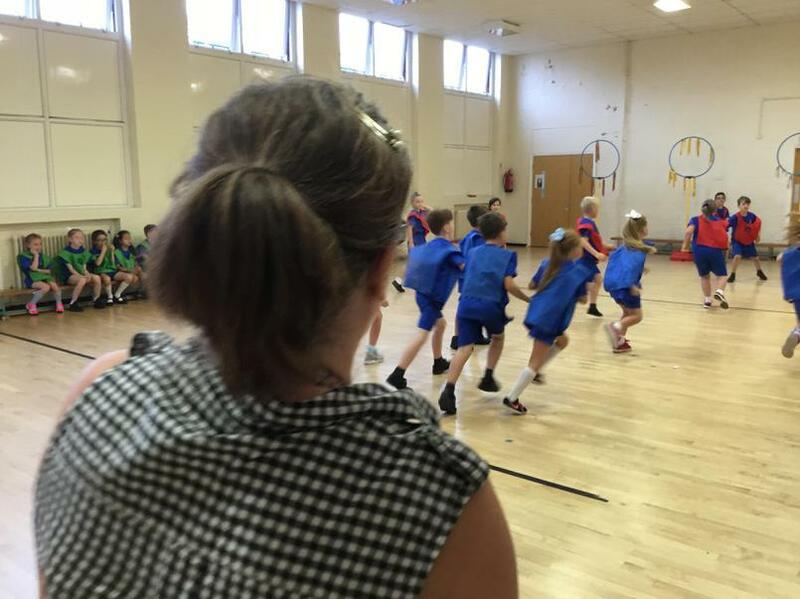 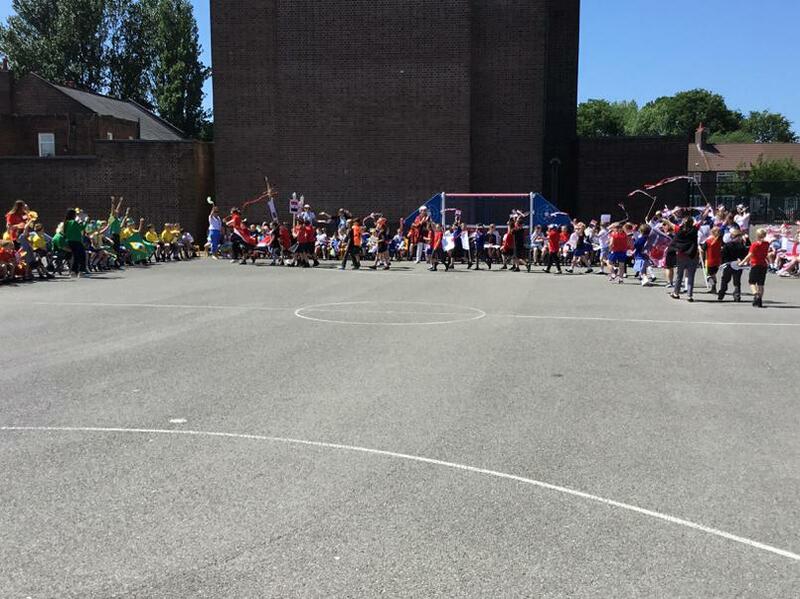 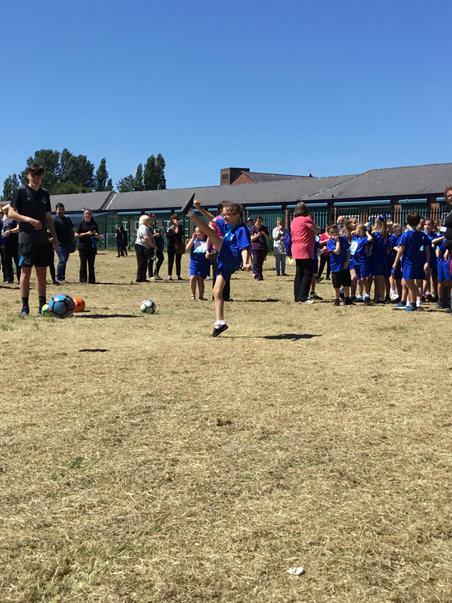 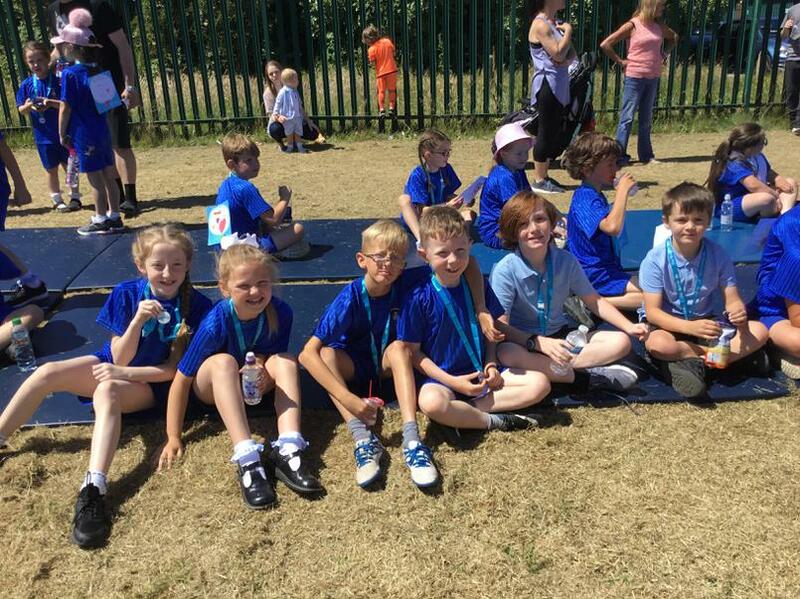 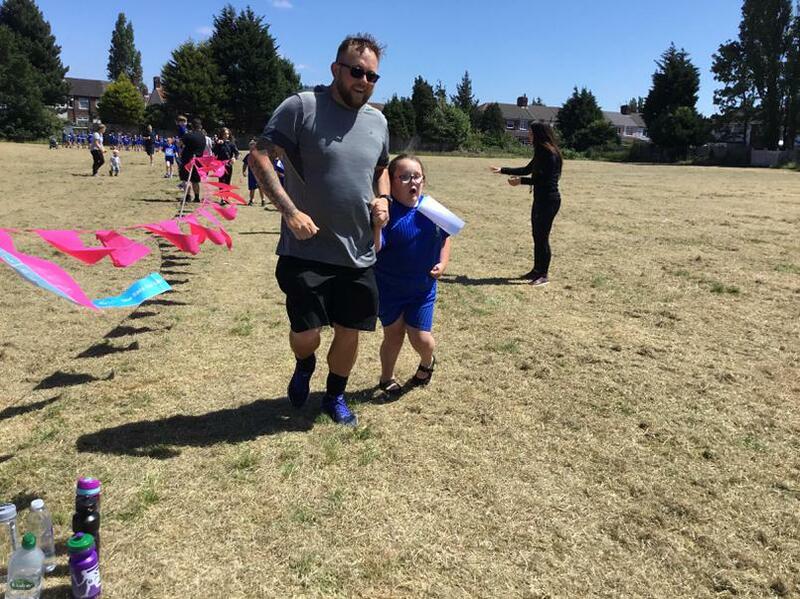 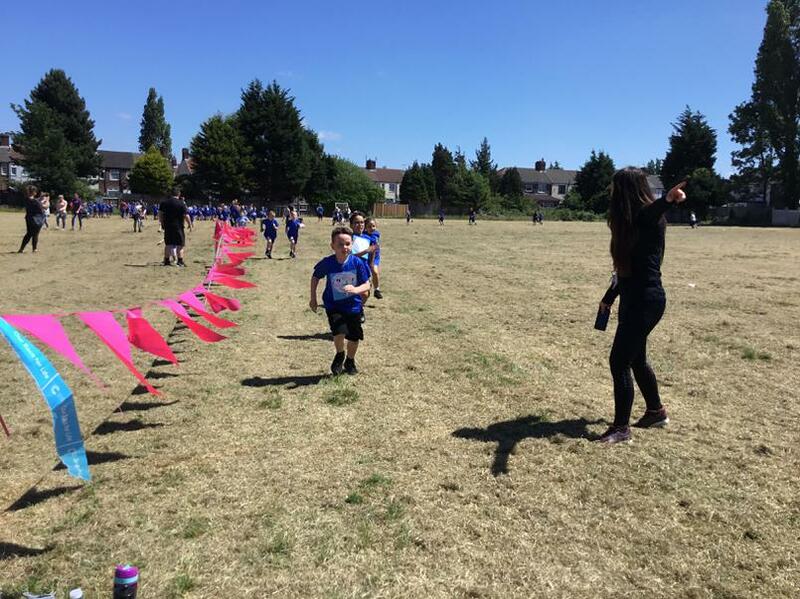 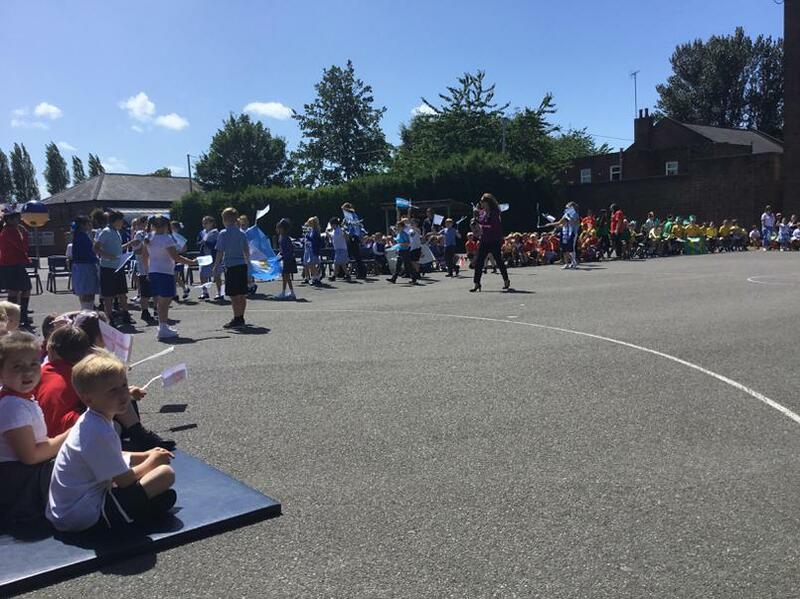 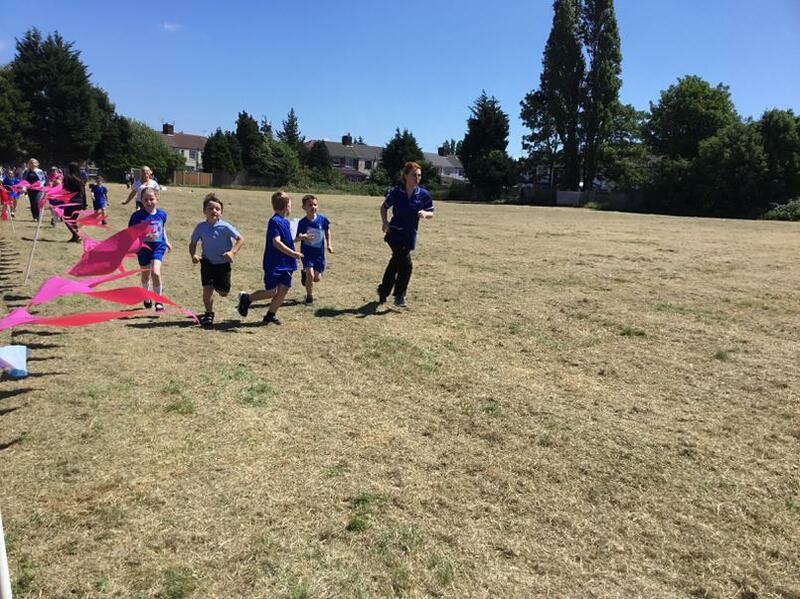 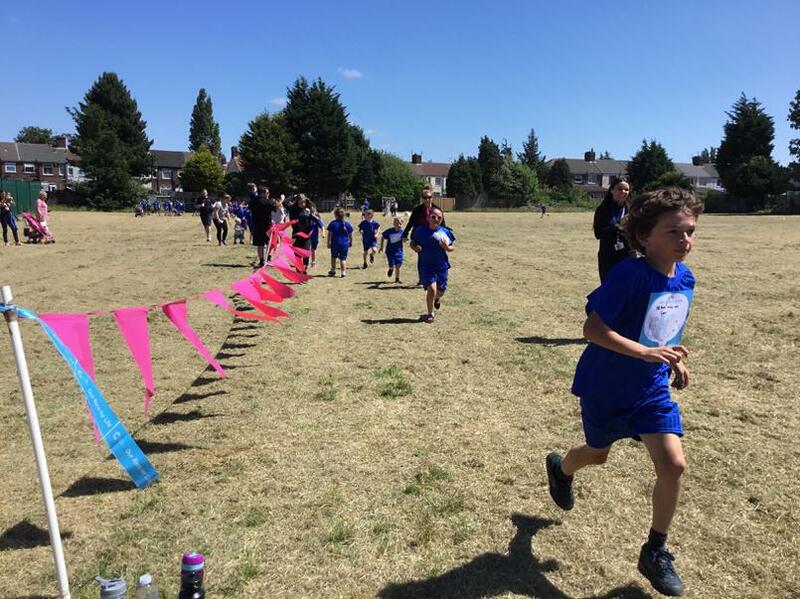 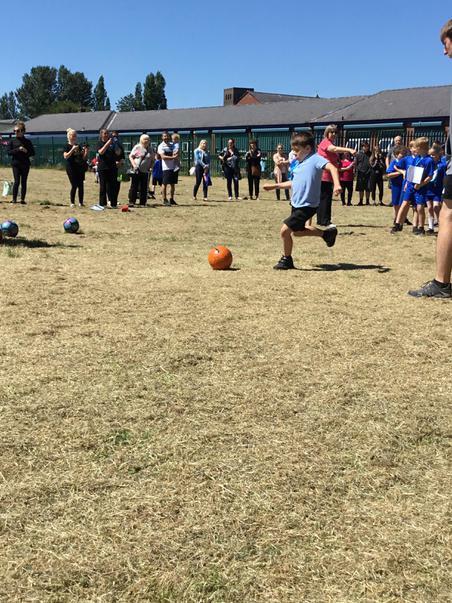 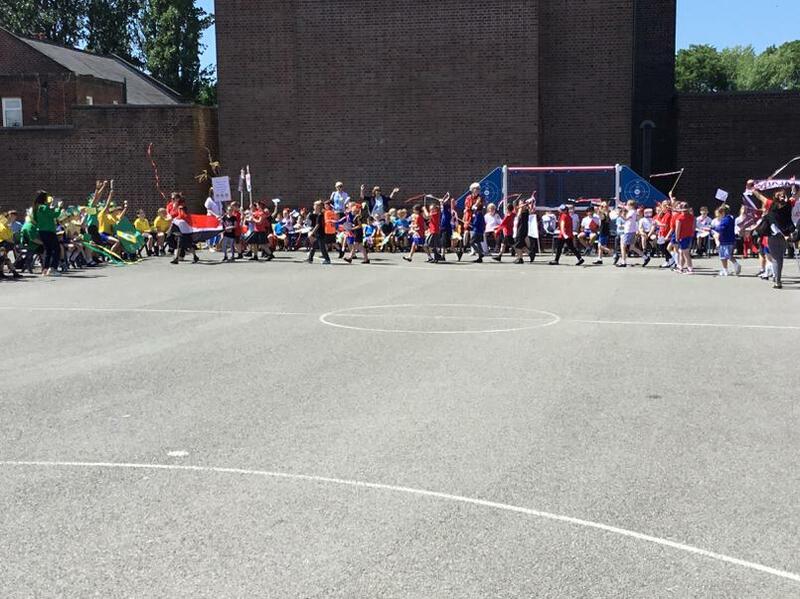 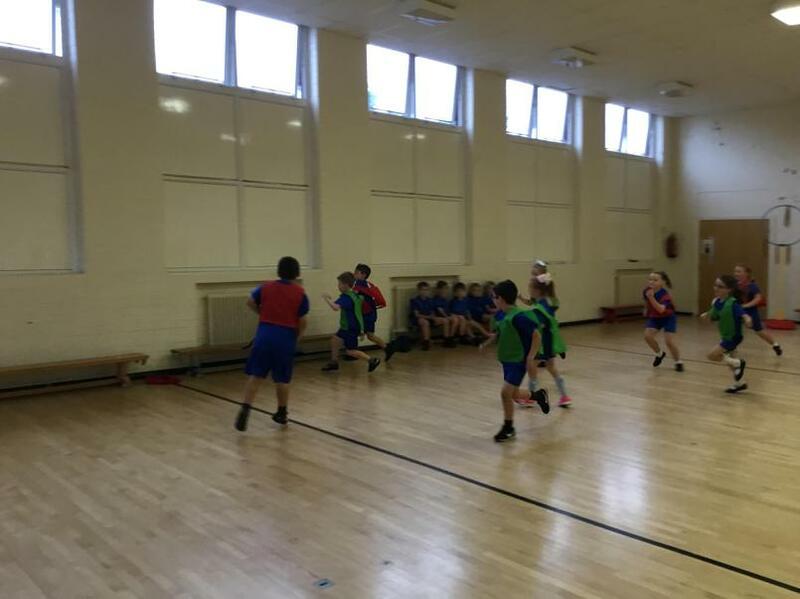 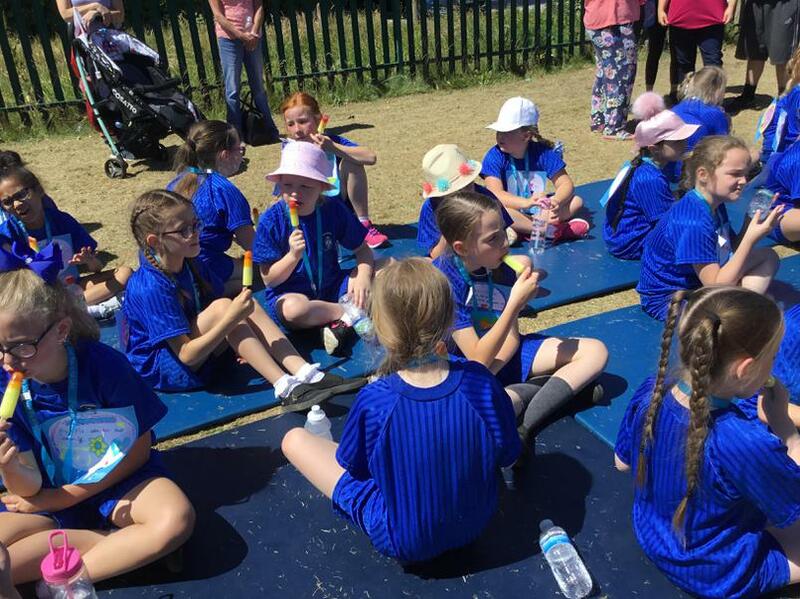 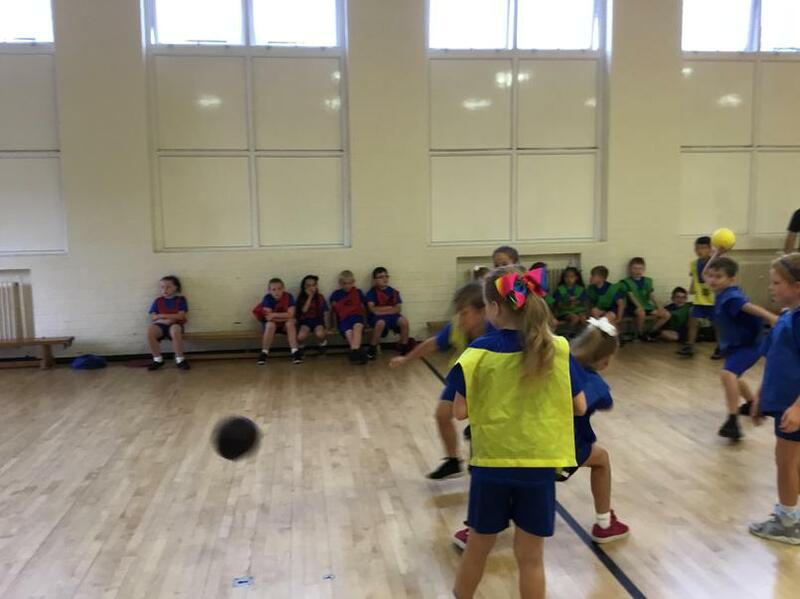 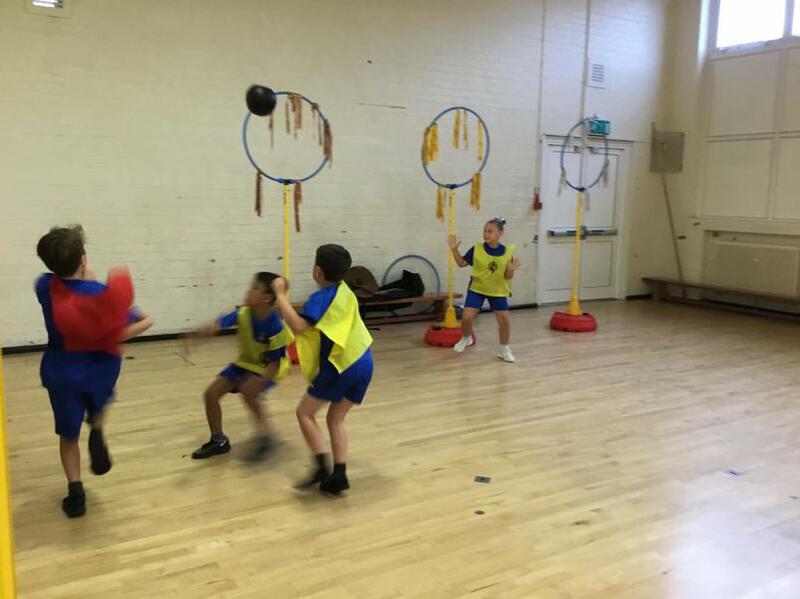 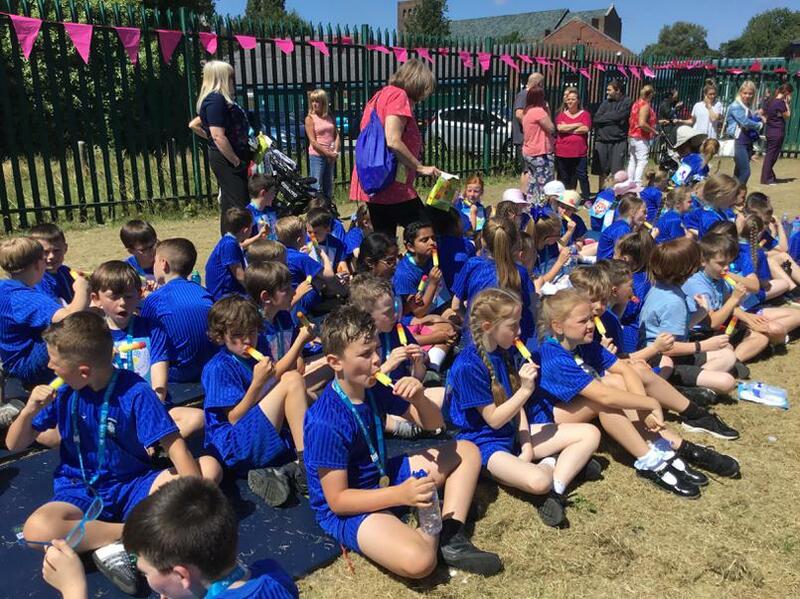 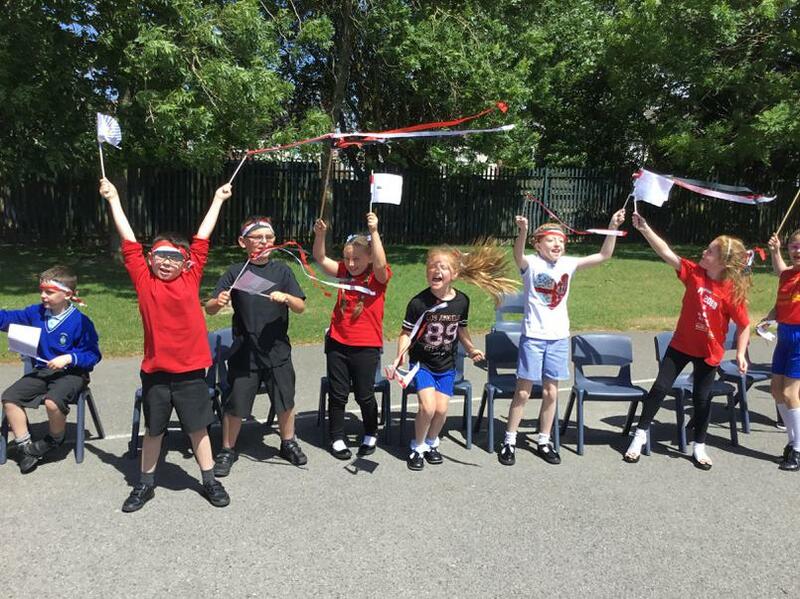 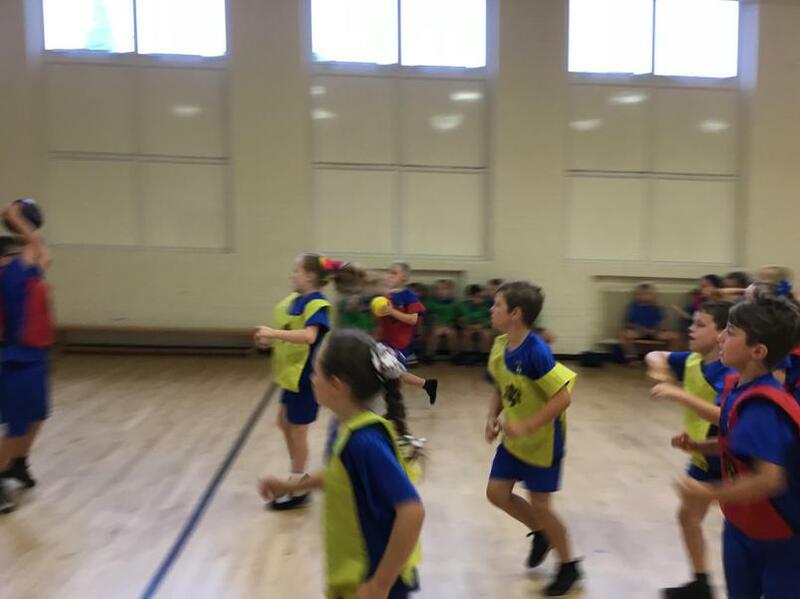 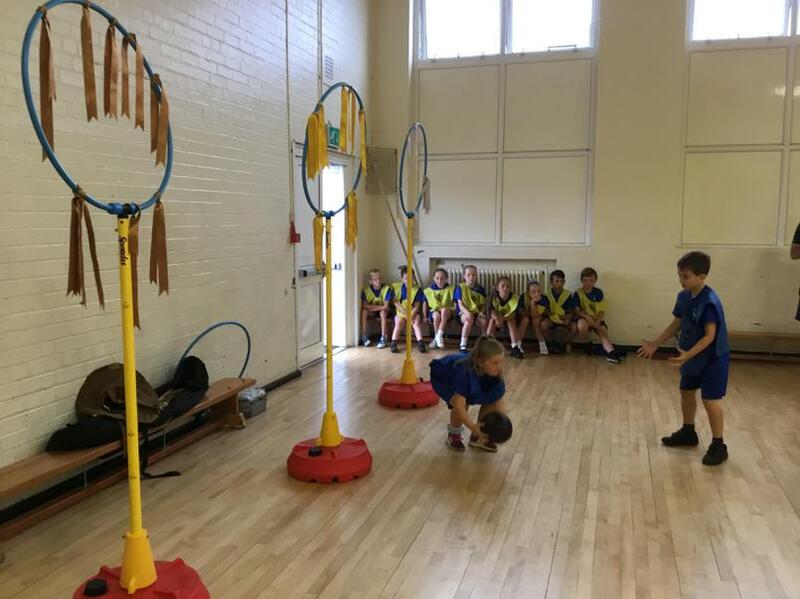 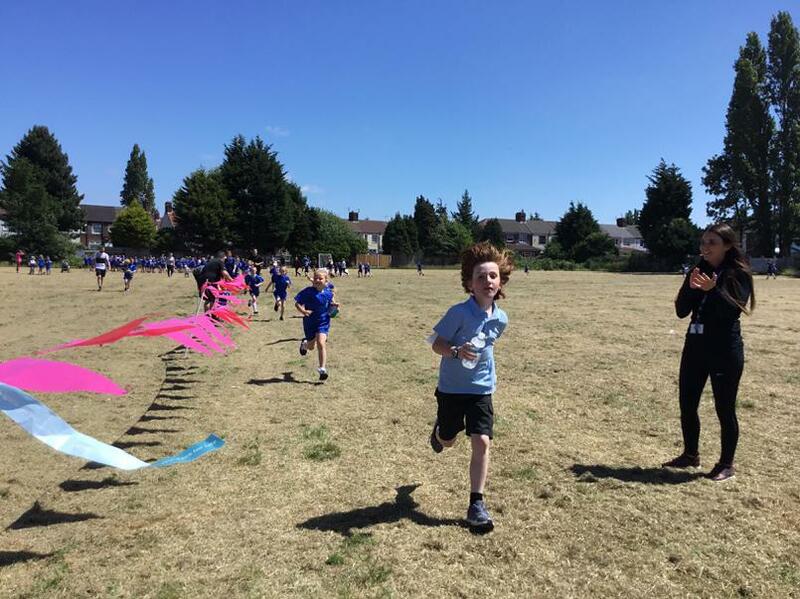 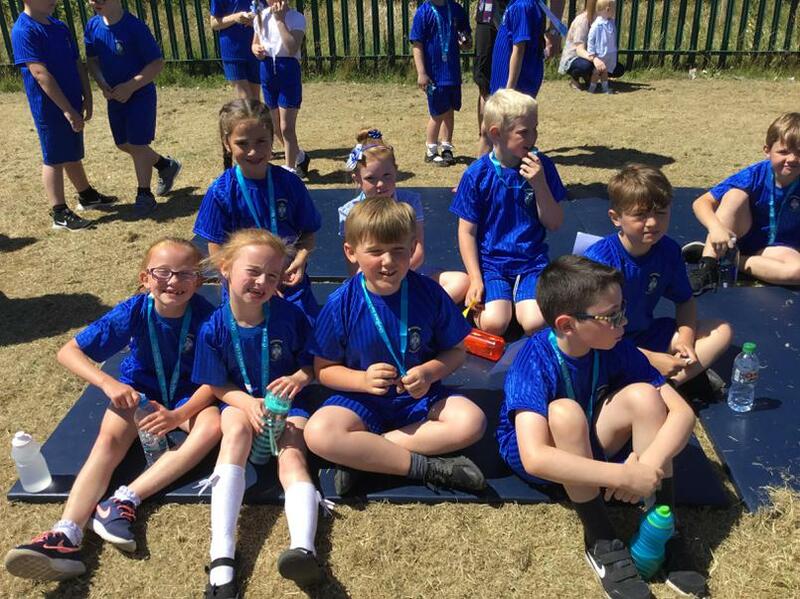 The children had a great time playing Quidditch again. 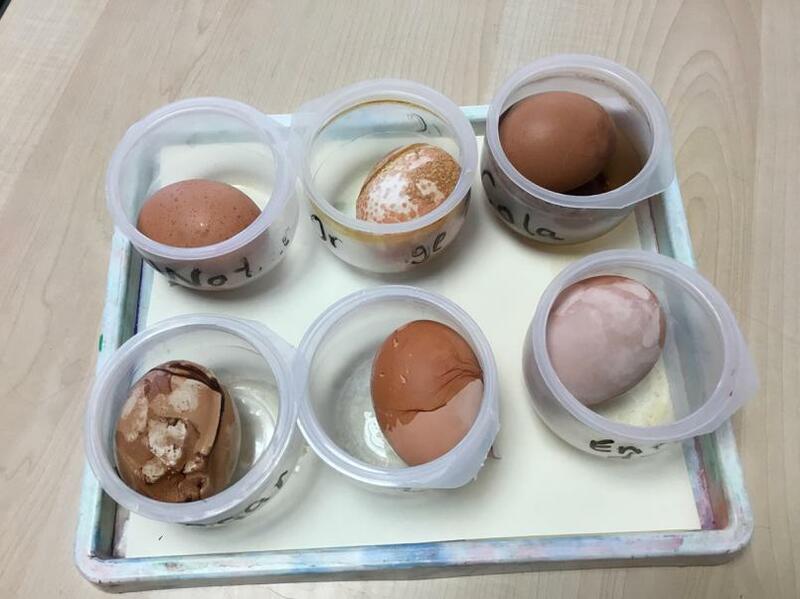 SCIENCE INVESTIGATION: Which liquid does the most damage to eggshells? 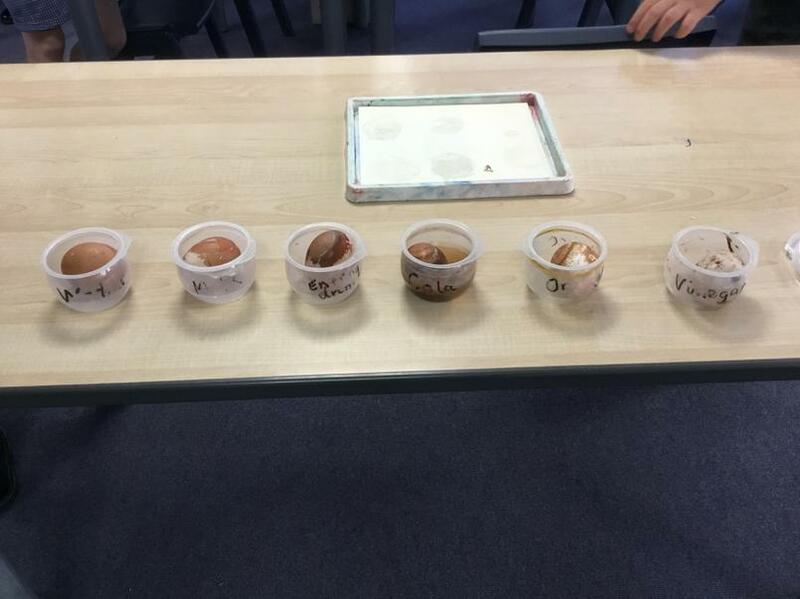 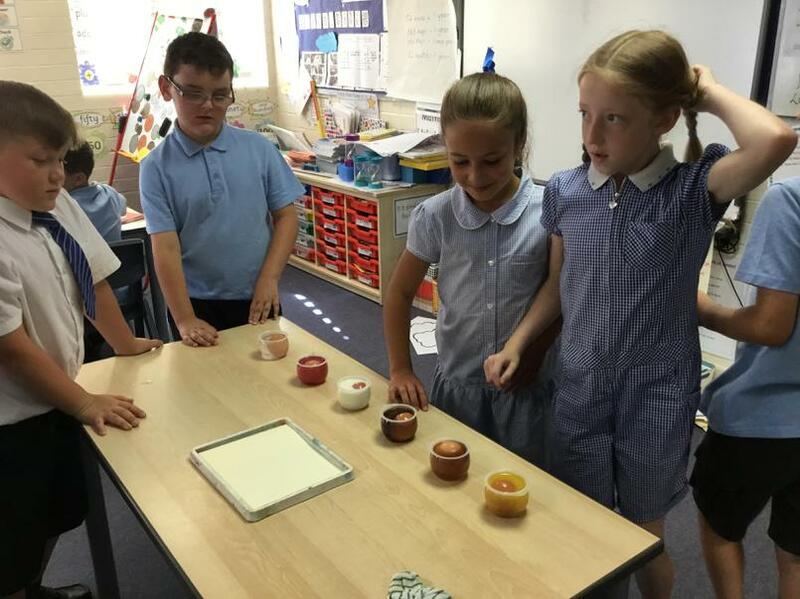 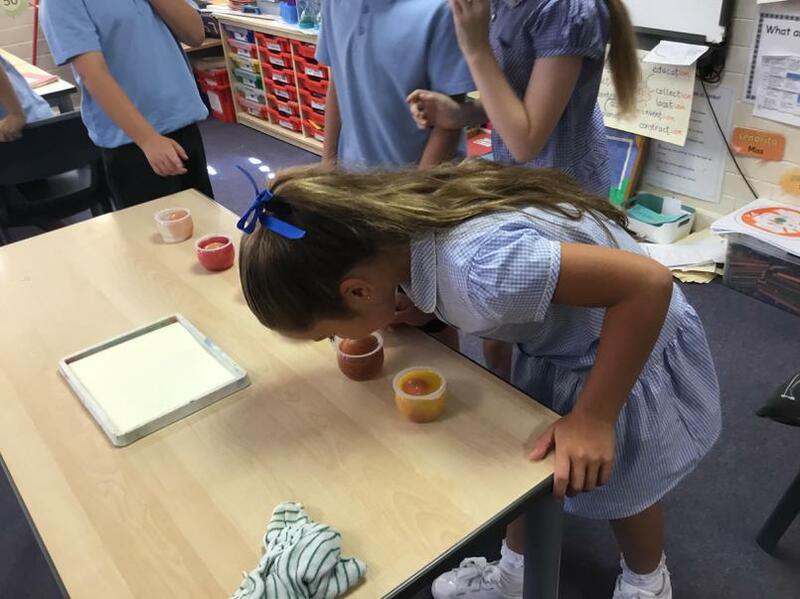 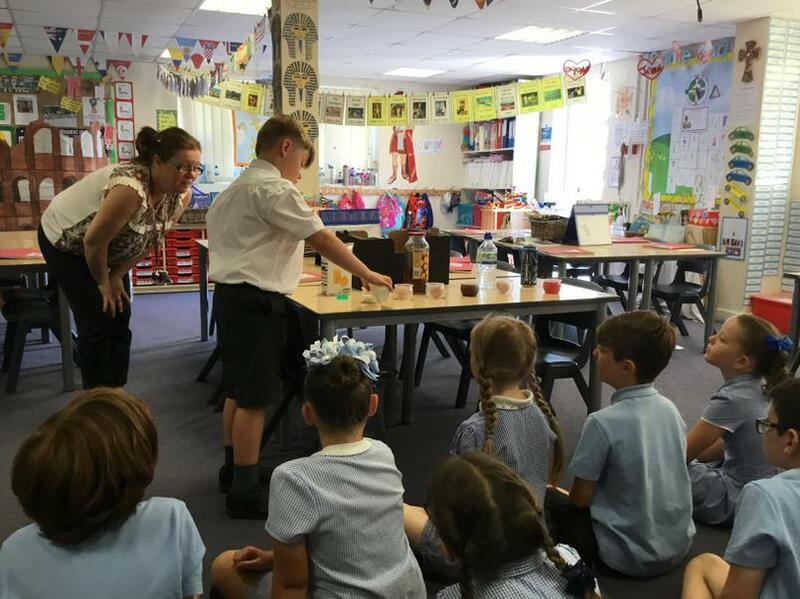 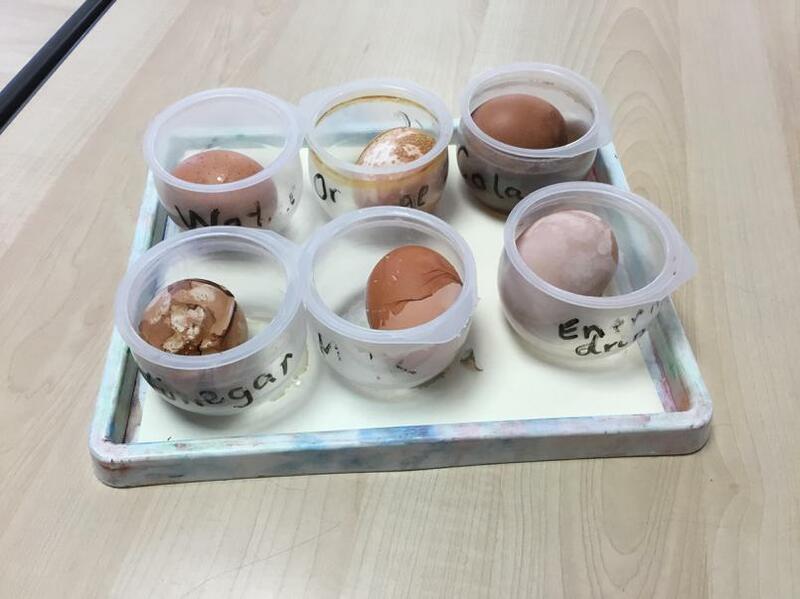 Six hard-boiled eggs were put in 6 different liquids-water, milk, orange juice, cola, energy drink and vinegar to see if they had any effect on the eggshells. 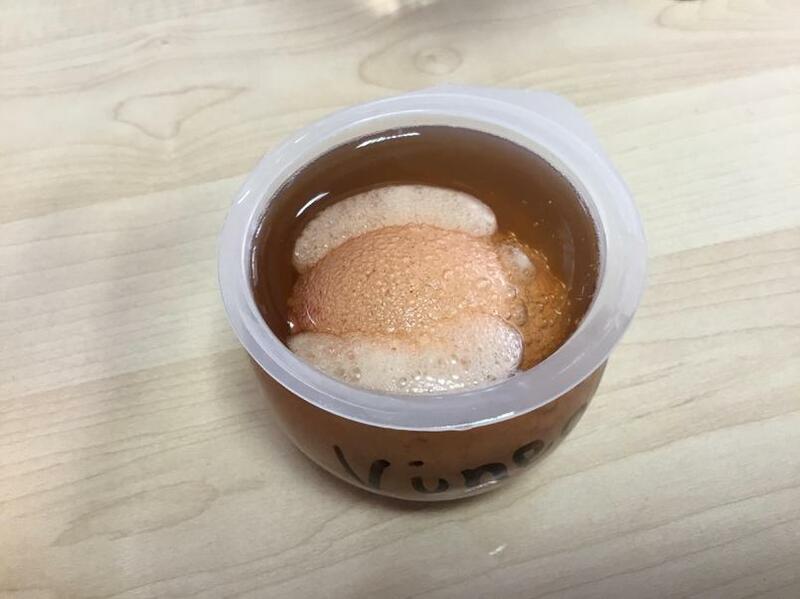 The acidity of the vinegar actually stripped away the eggshell, the cola and energy drink stained the eggshell, the orange juice dissolved the surface of the eggshell which could be scratched away and only the water and milk had no effect on the eggshell. 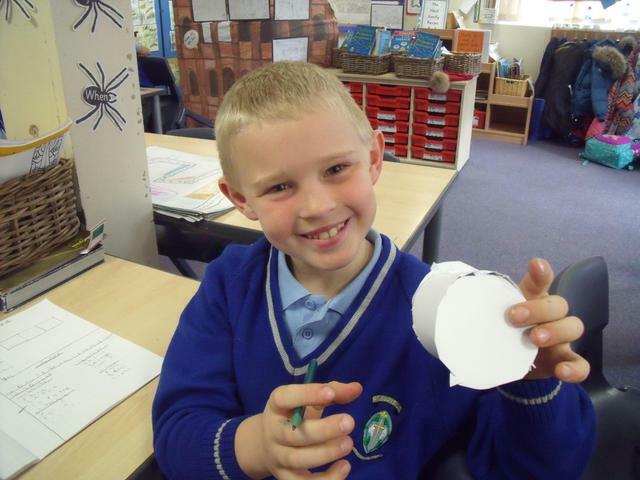 The whole point of the experiment was to show that both milk and water are a healthy option for teeth. 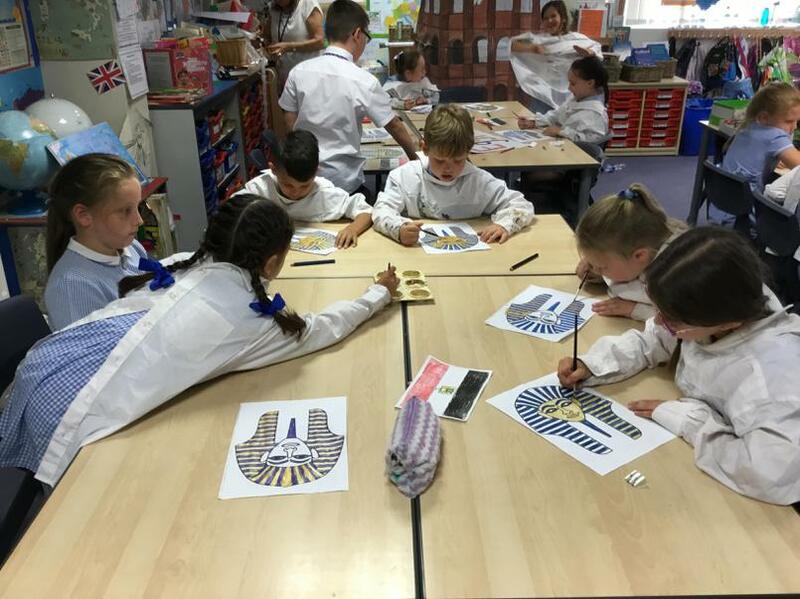 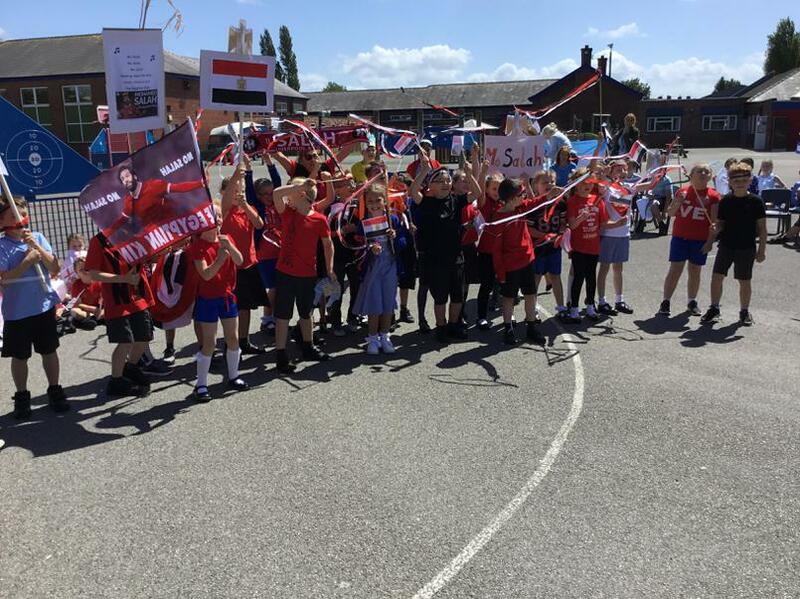 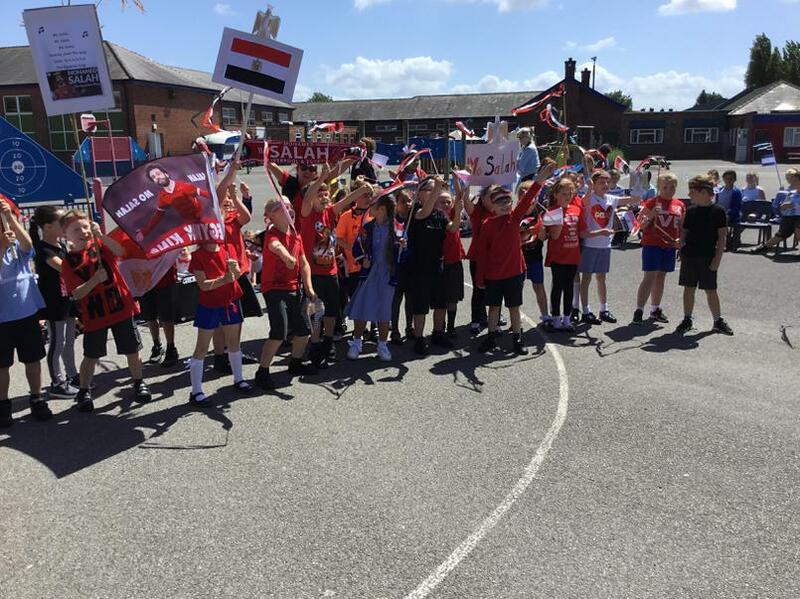 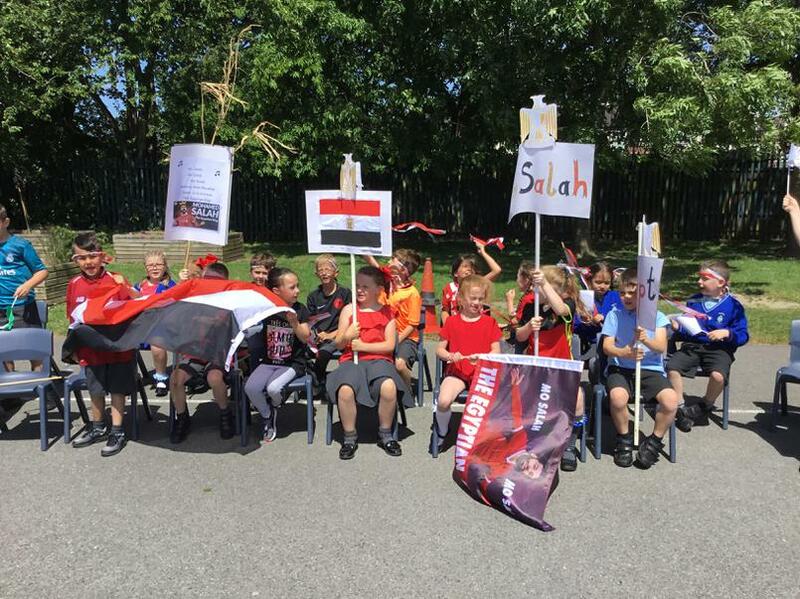 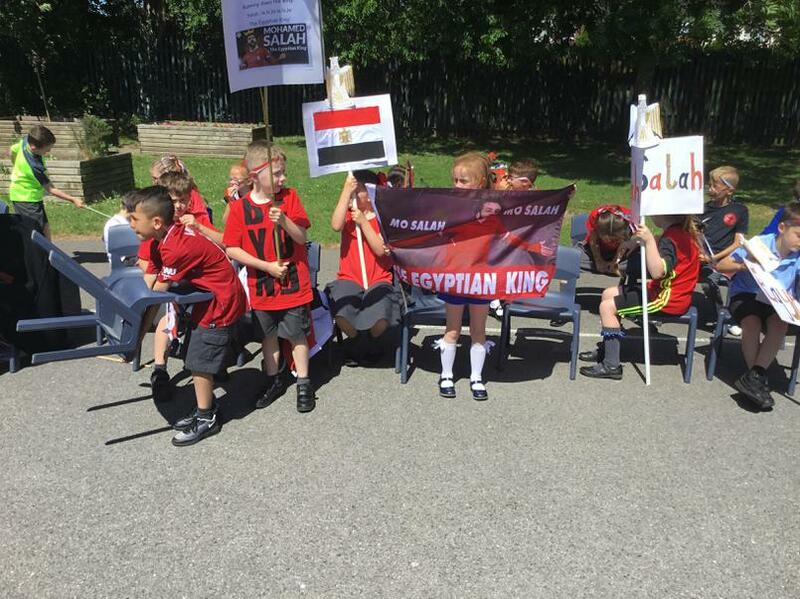 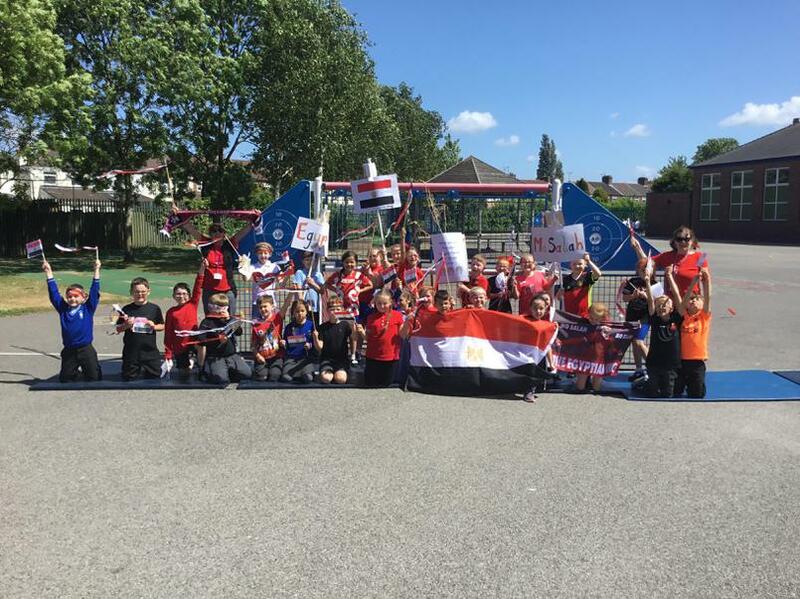 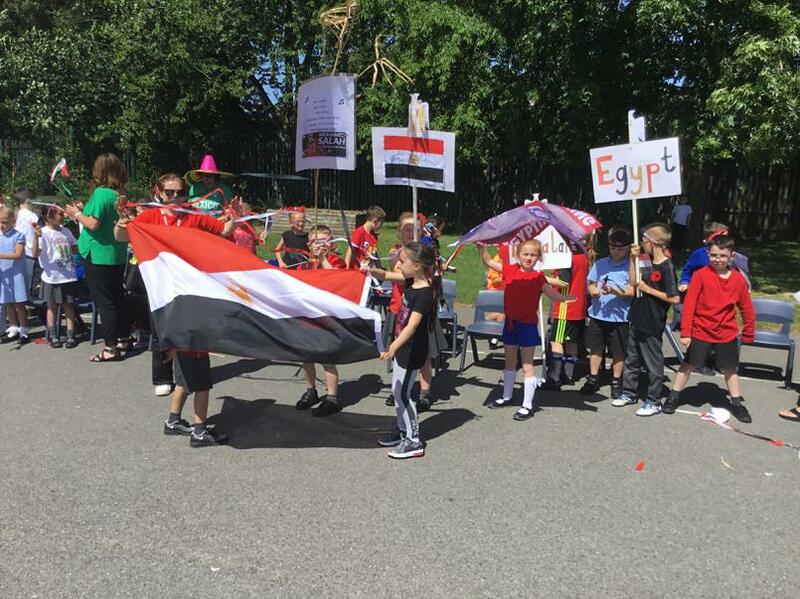 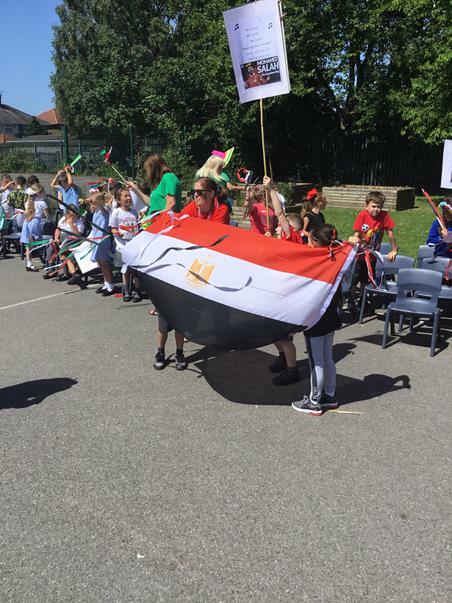 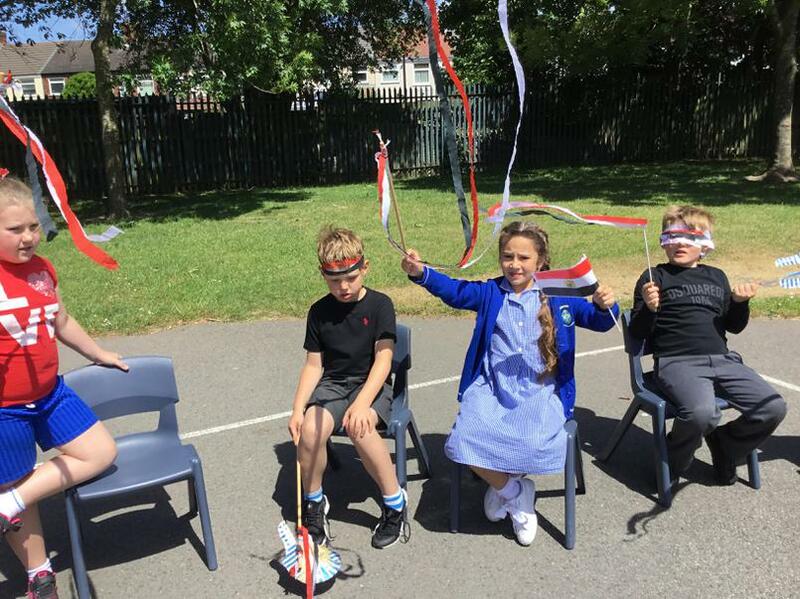 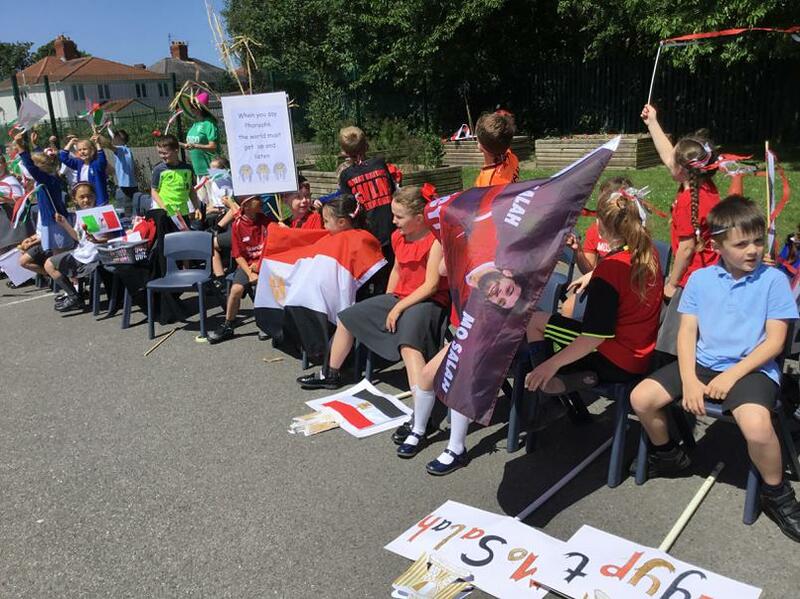 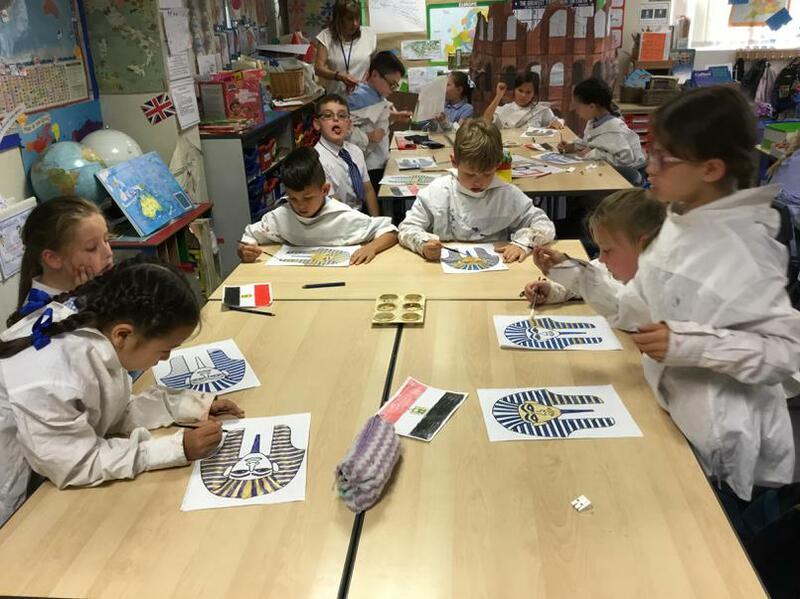 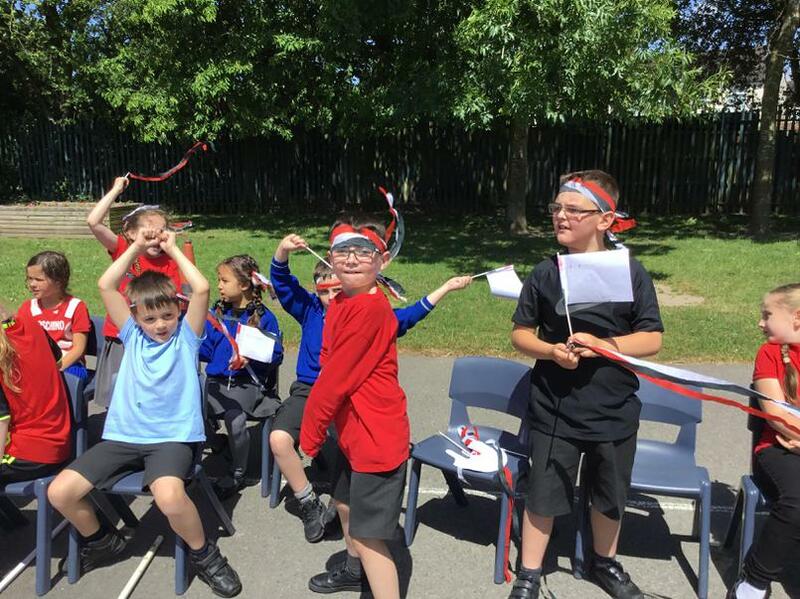 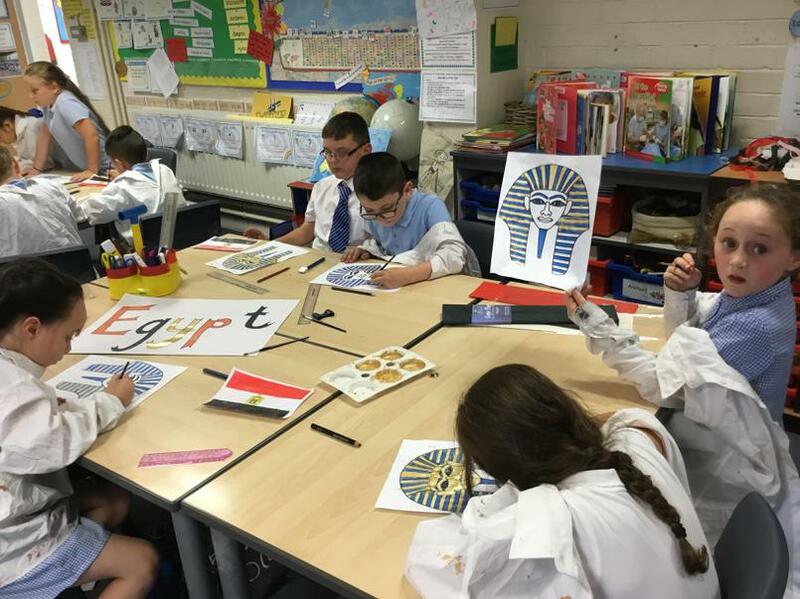 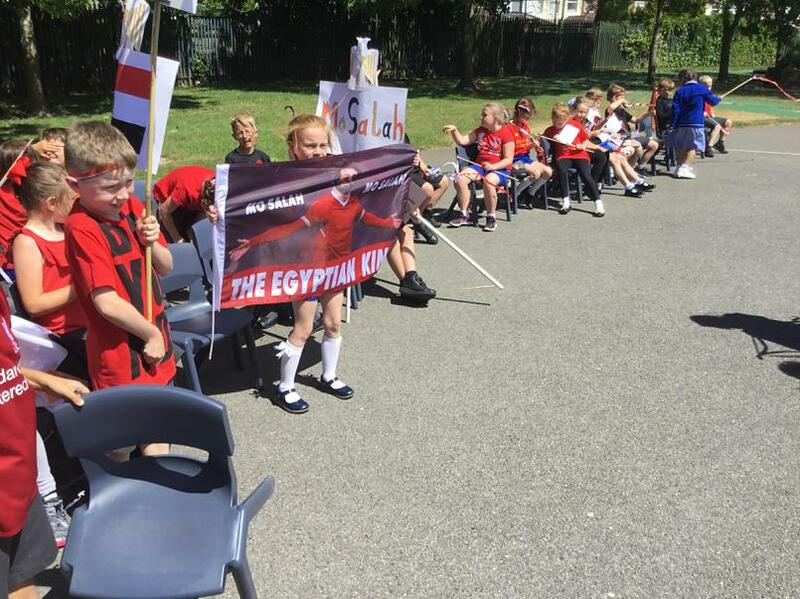 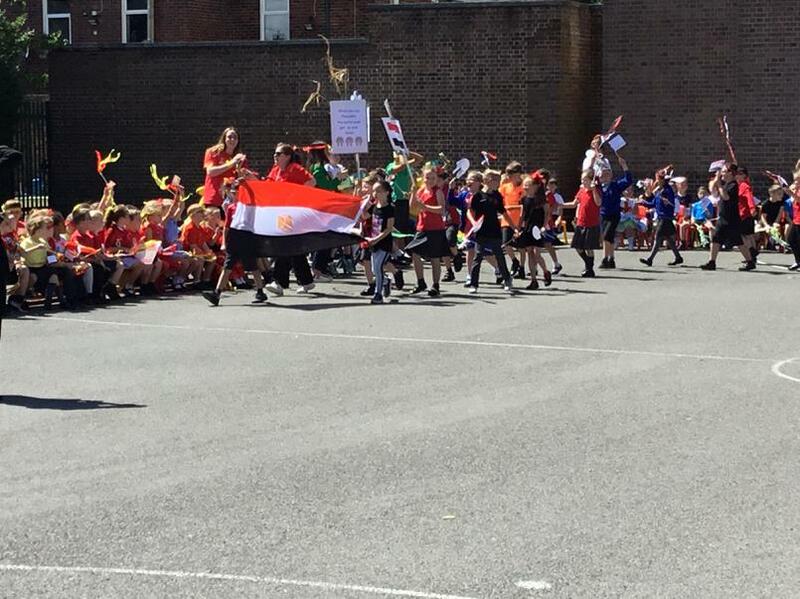 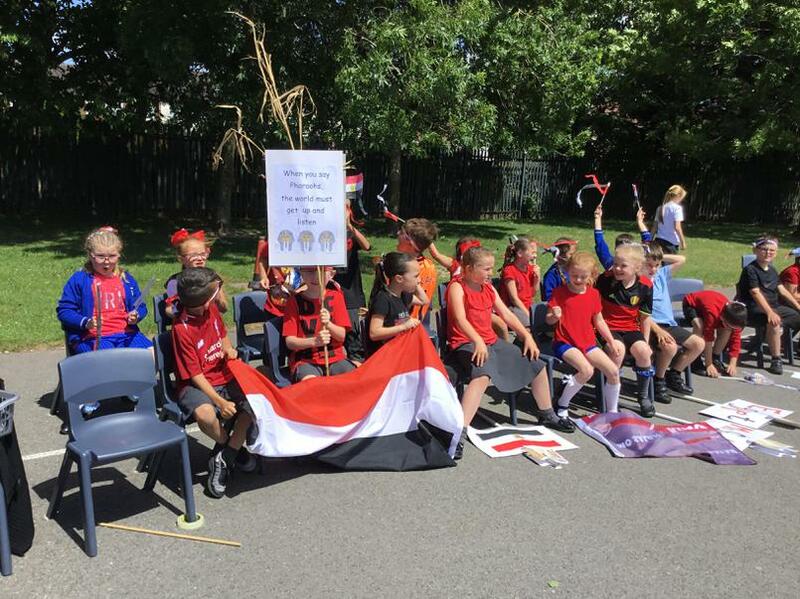 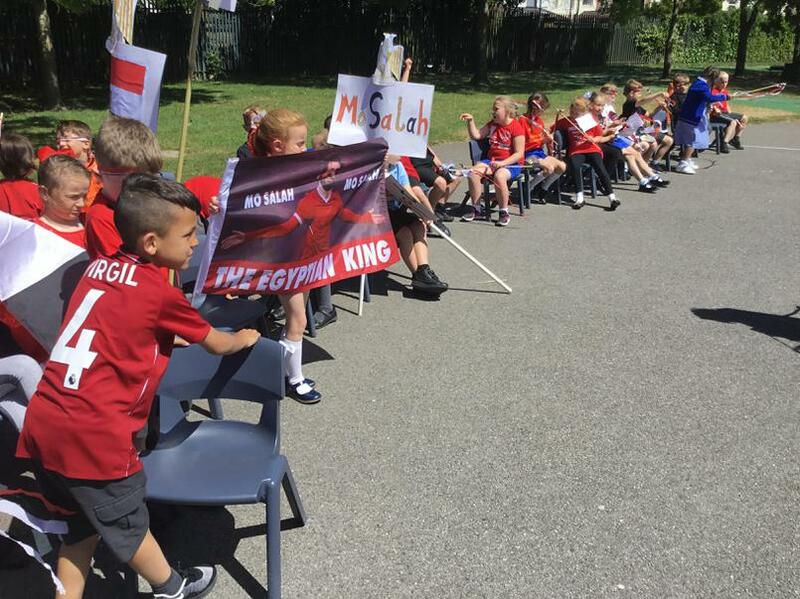 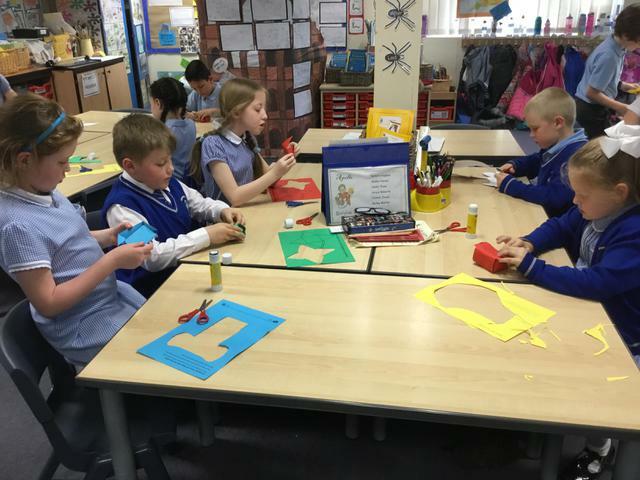 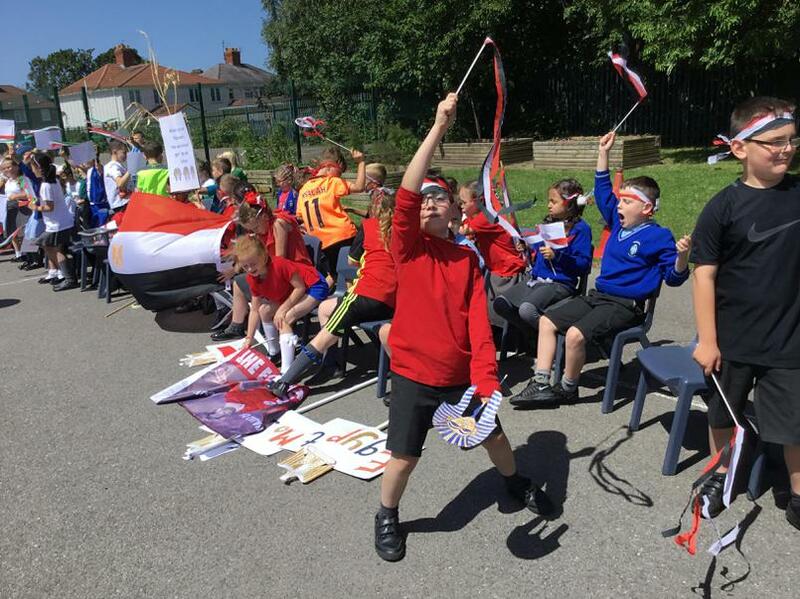 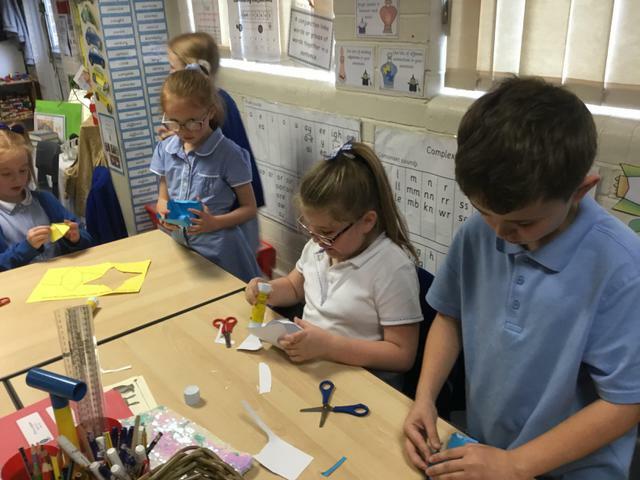 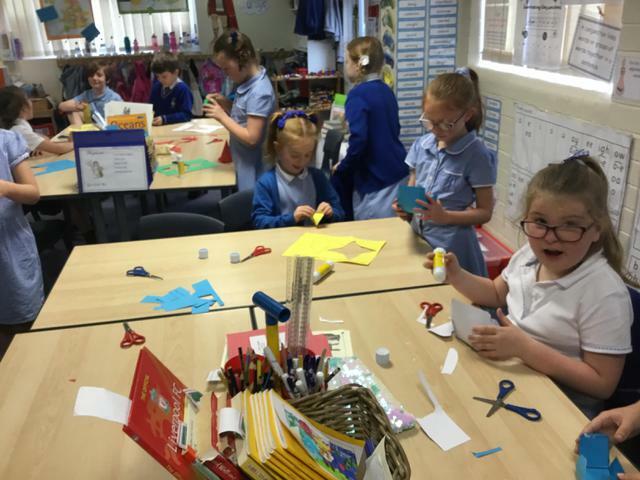 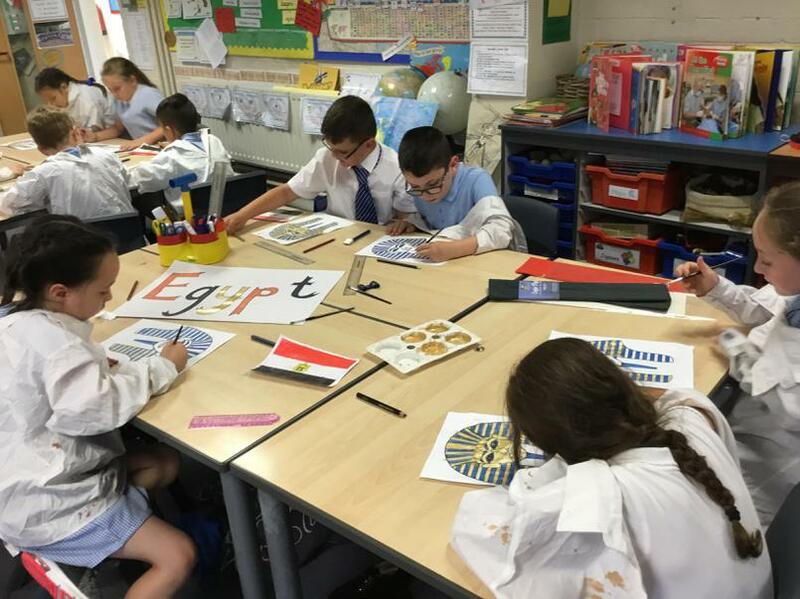 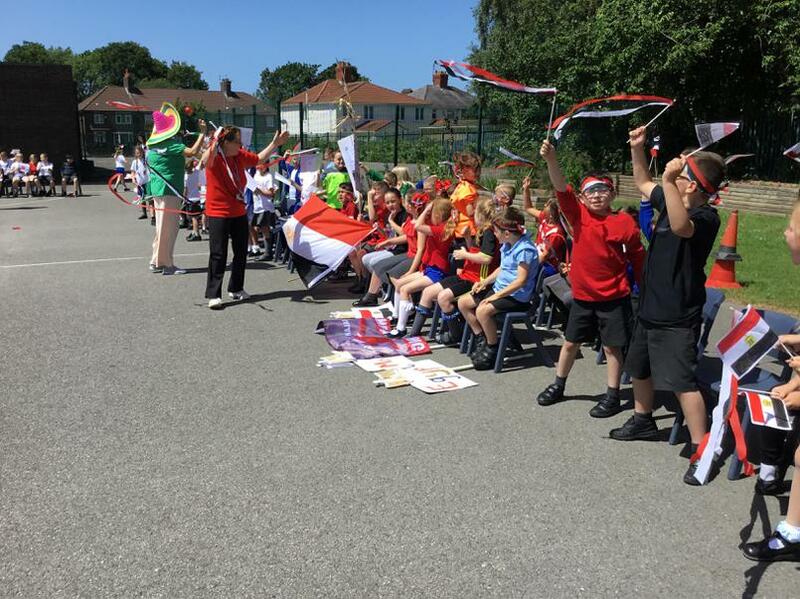 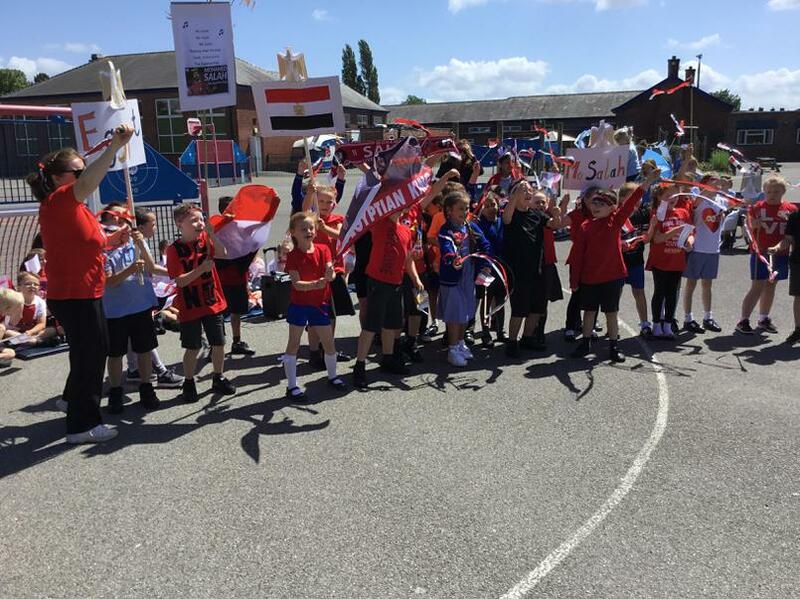 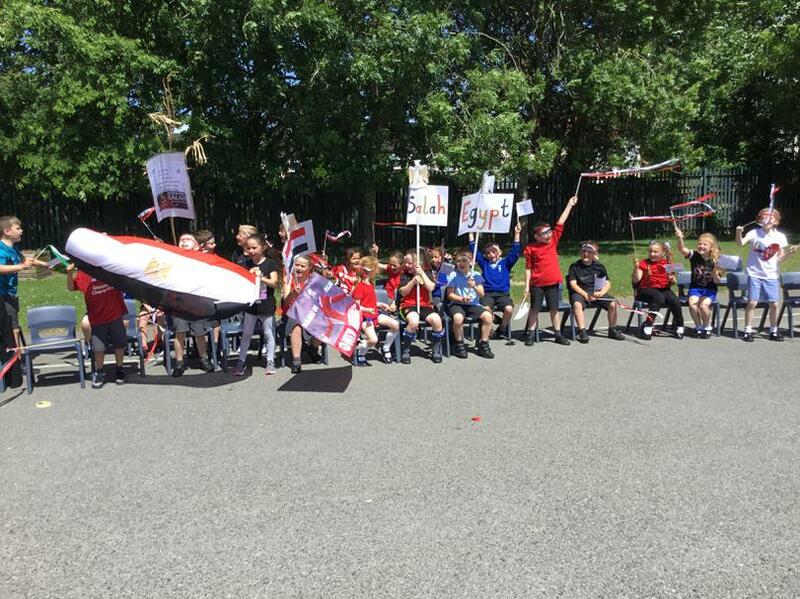 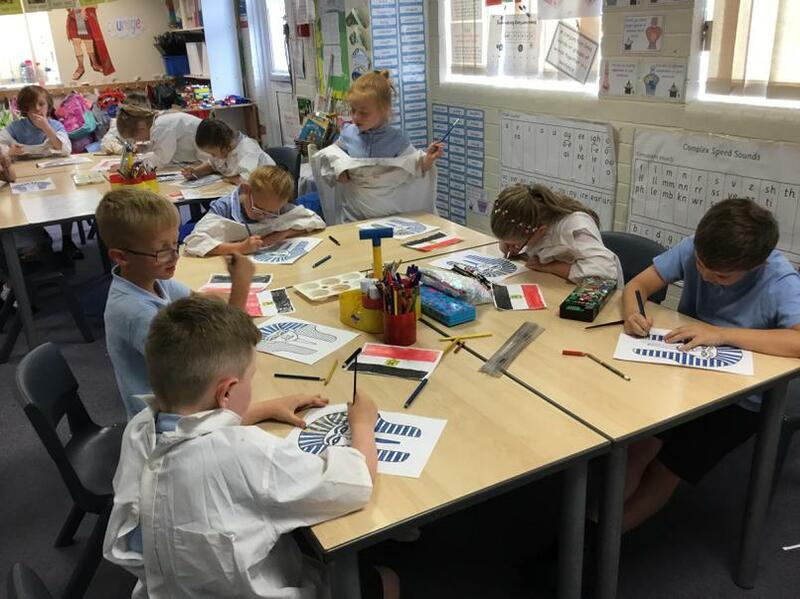 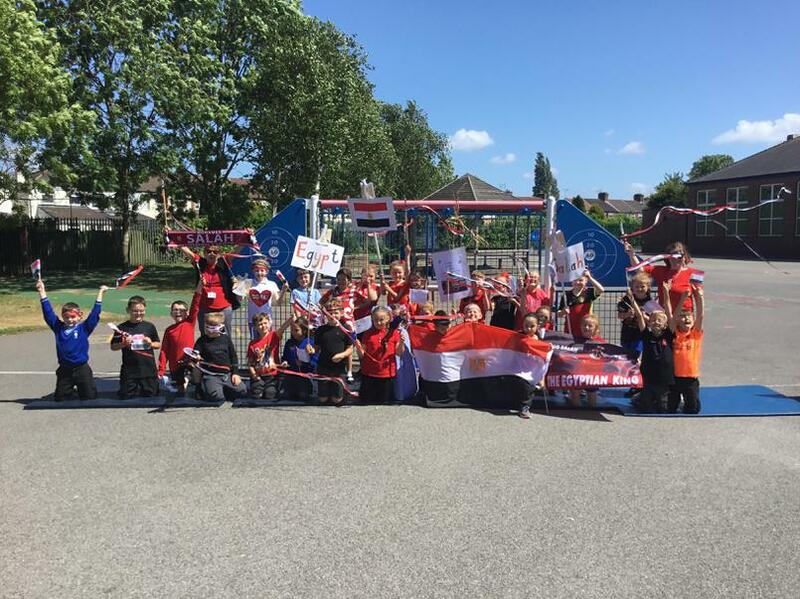 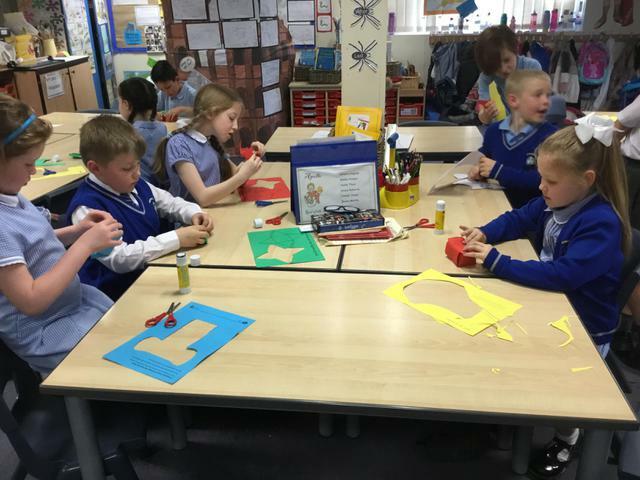 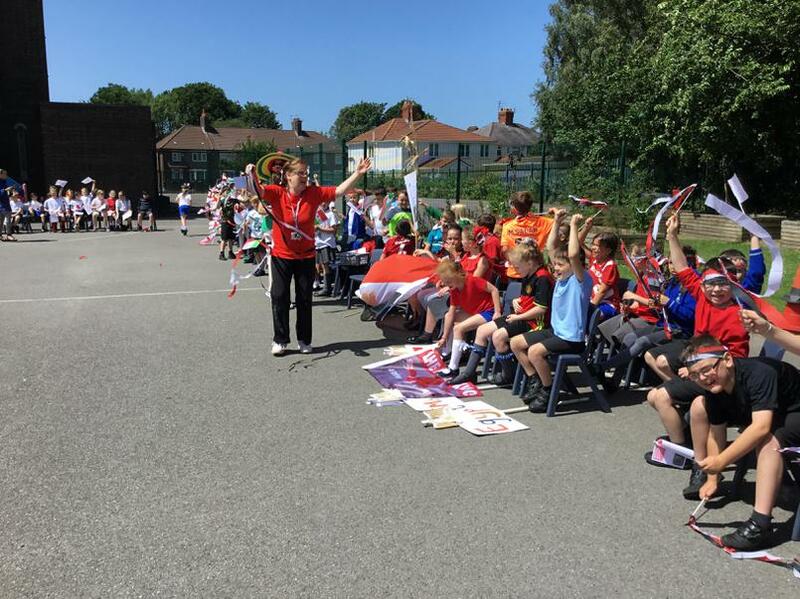 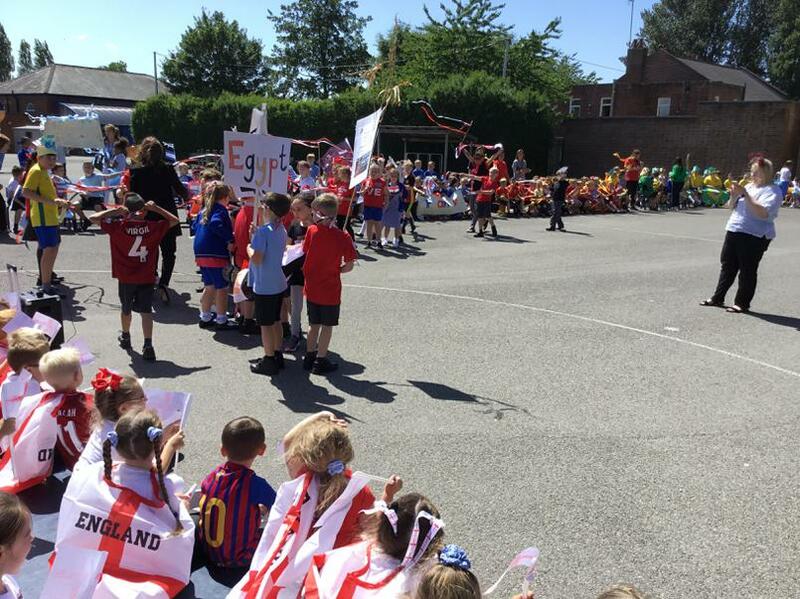 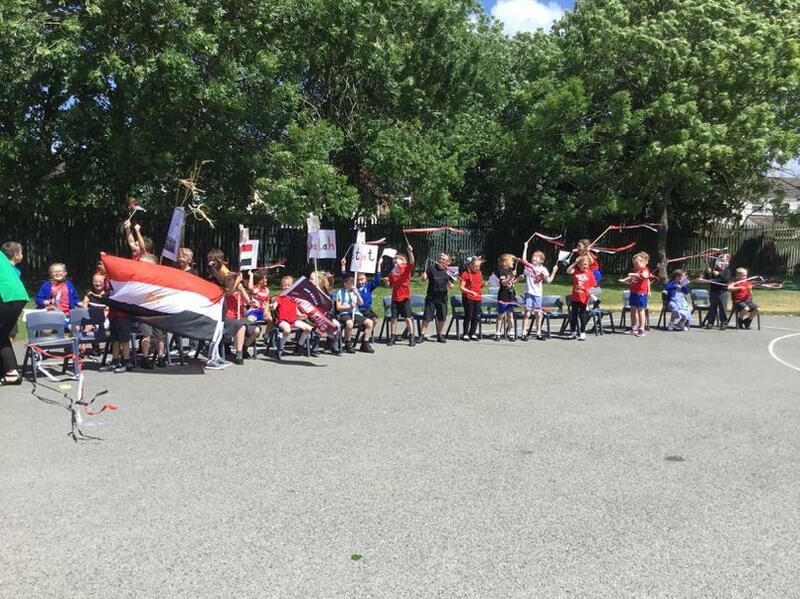 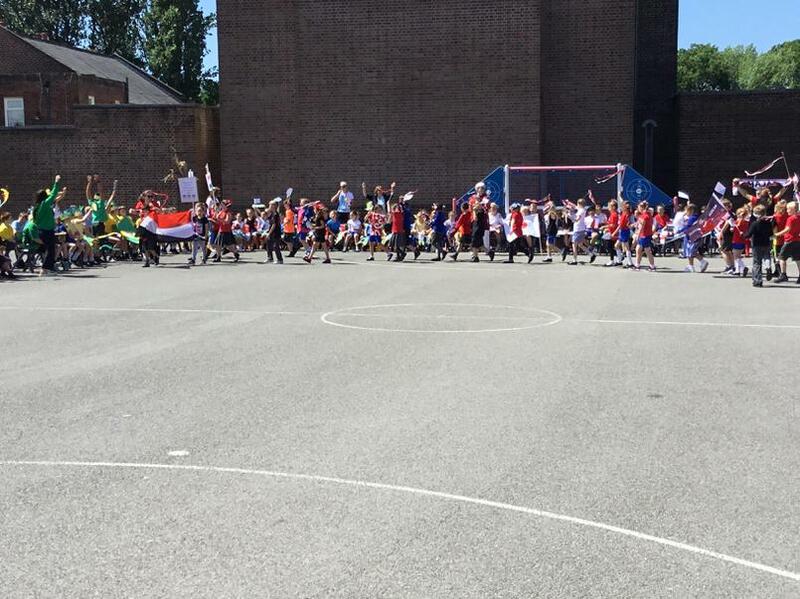 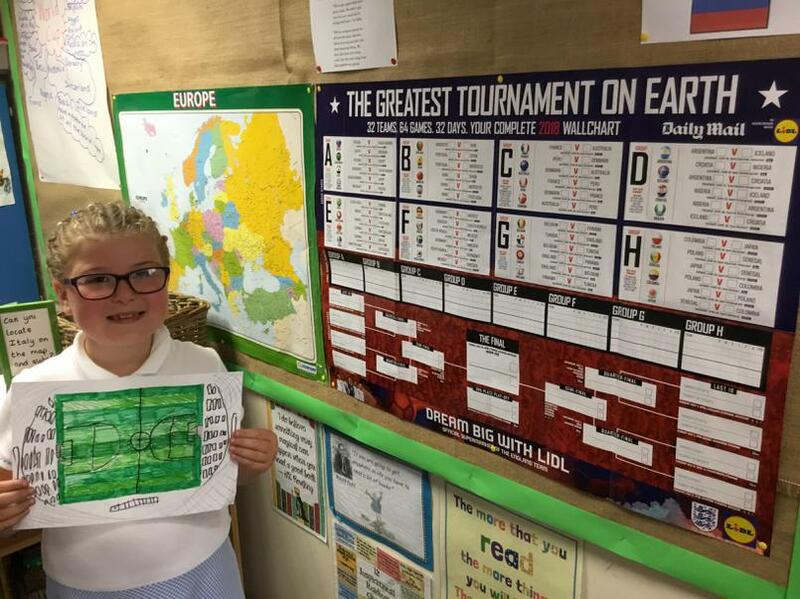 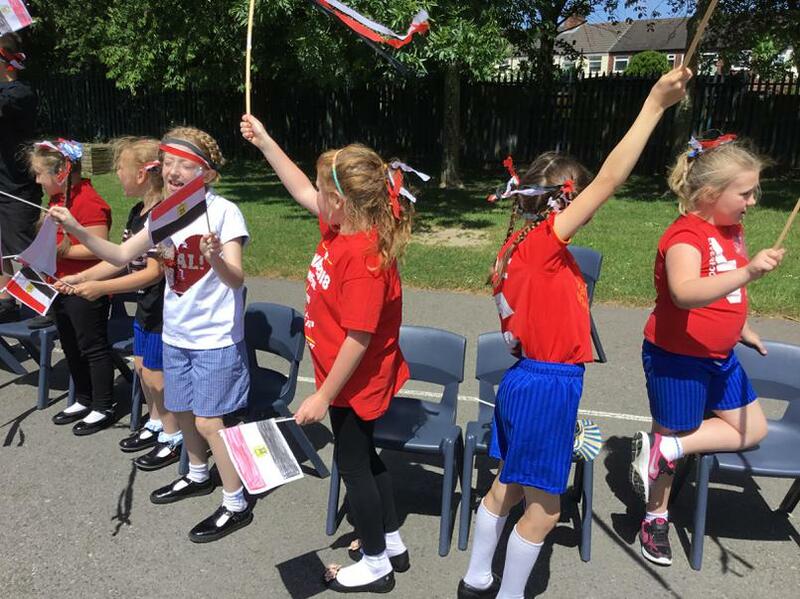 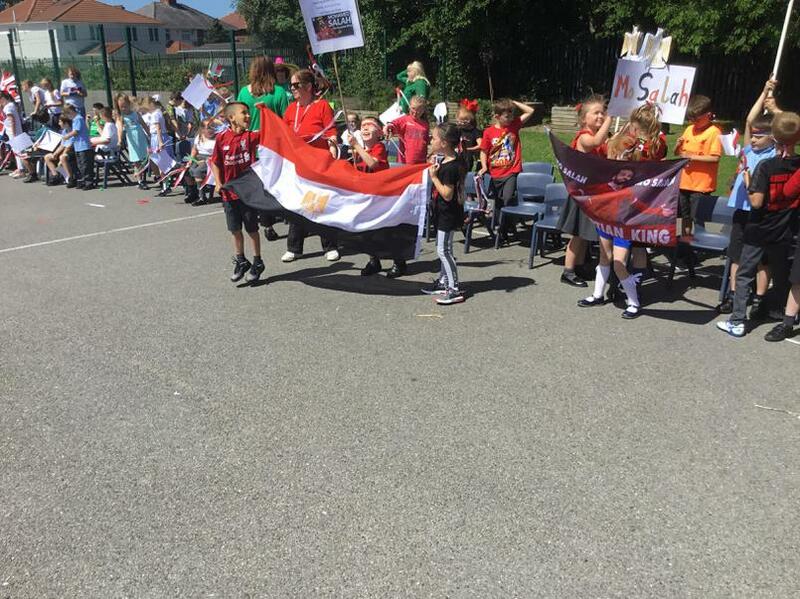 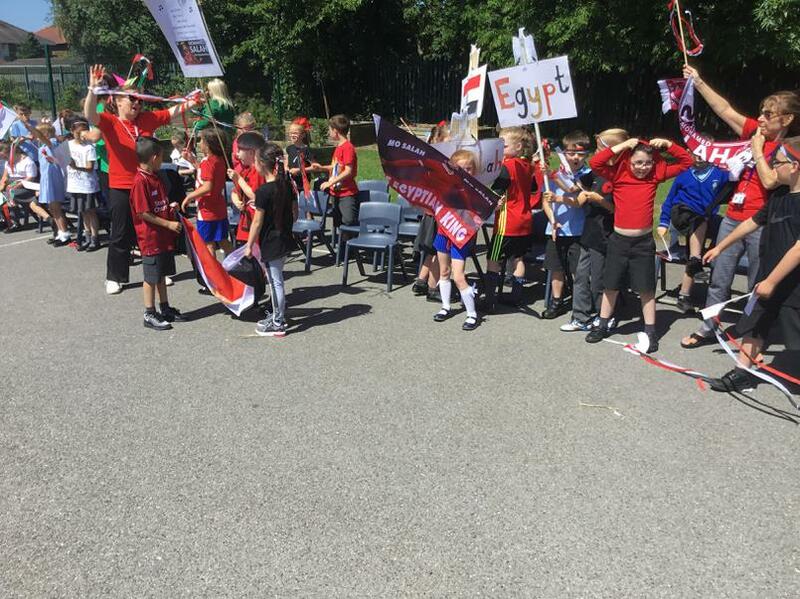 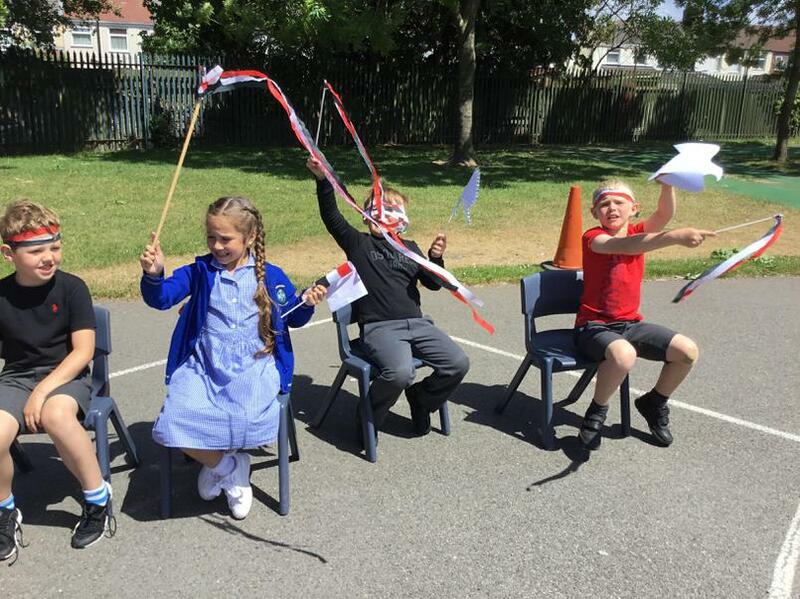 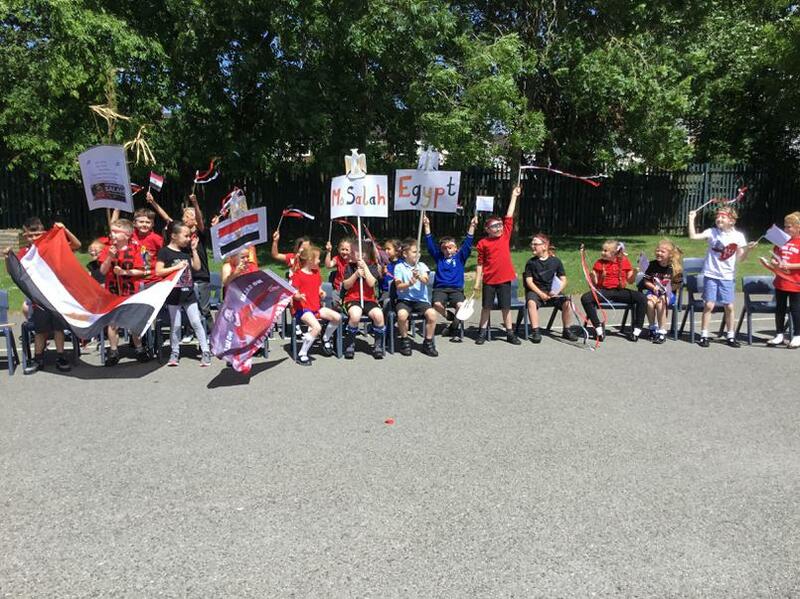 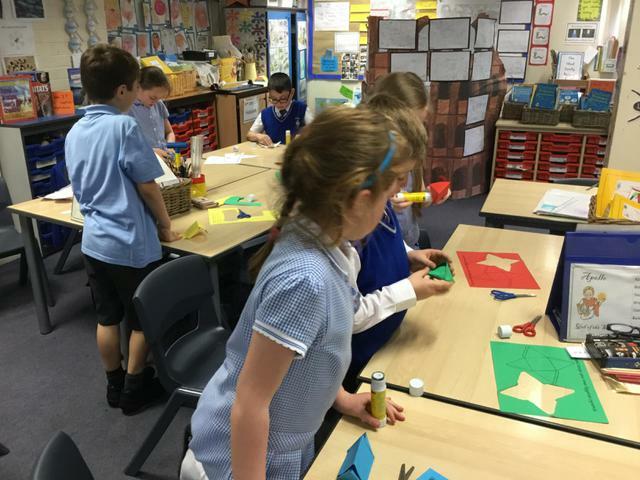 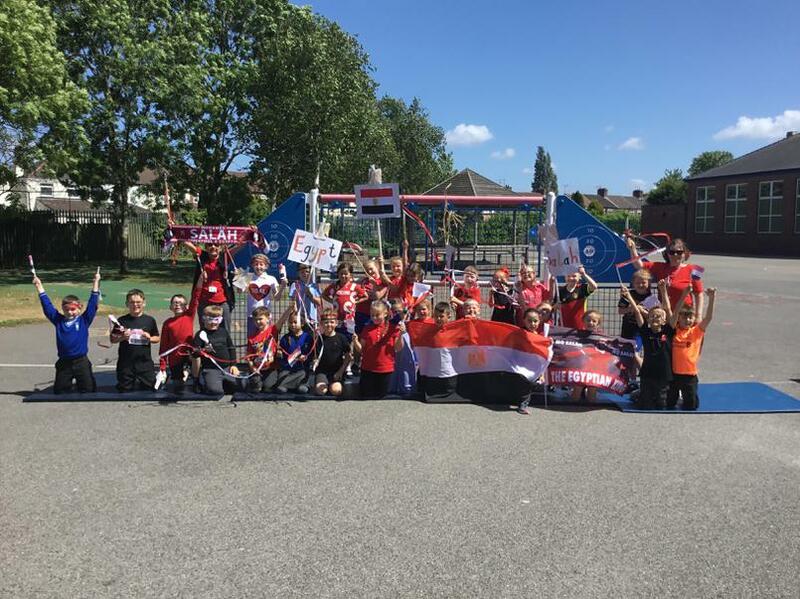 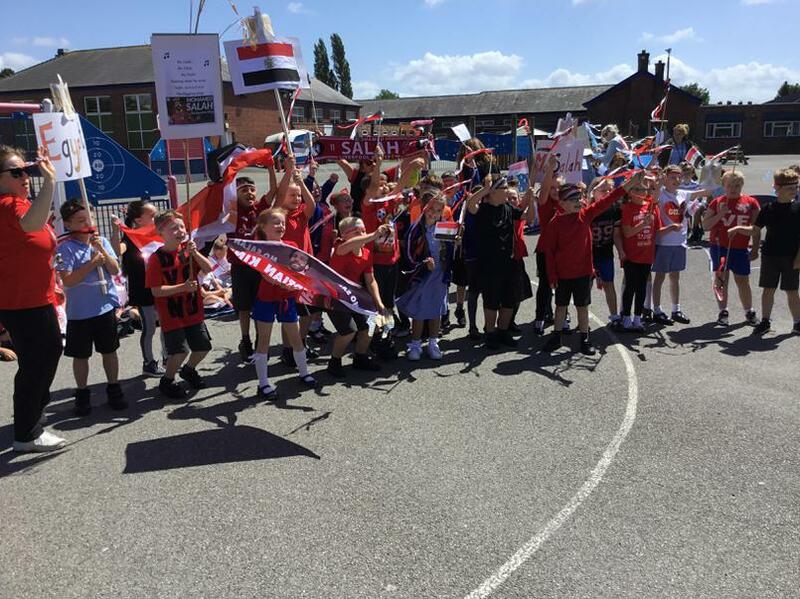 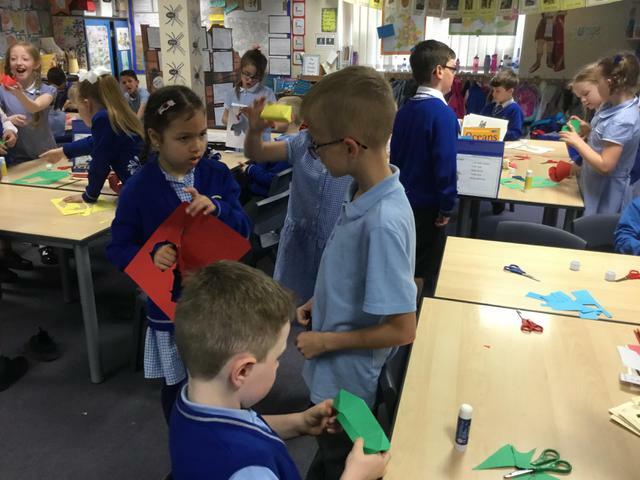 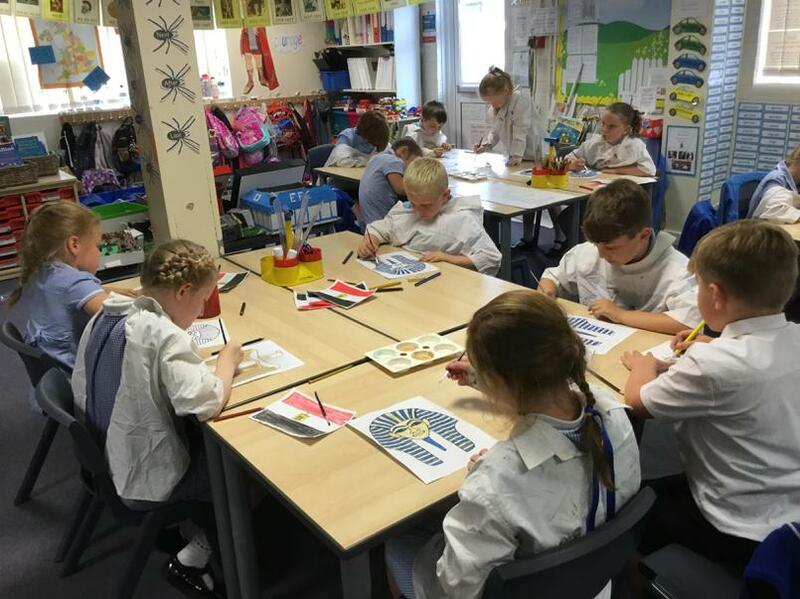 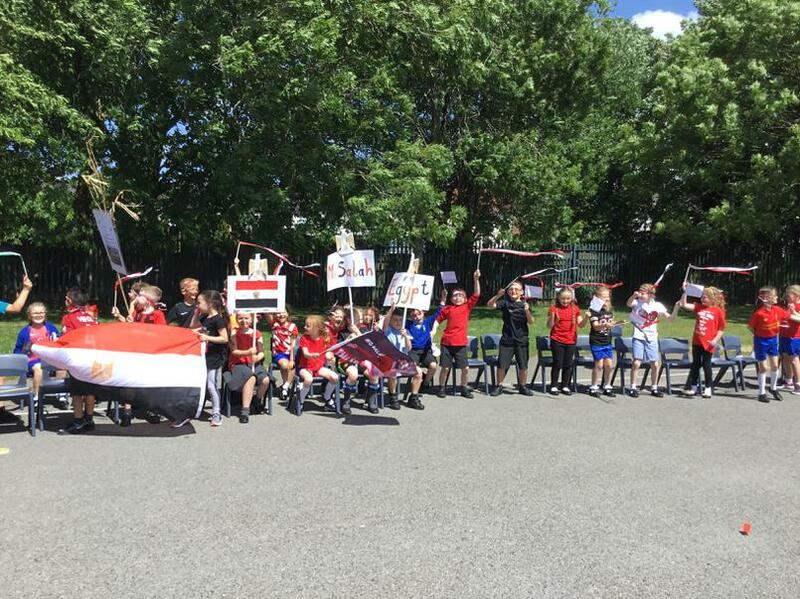 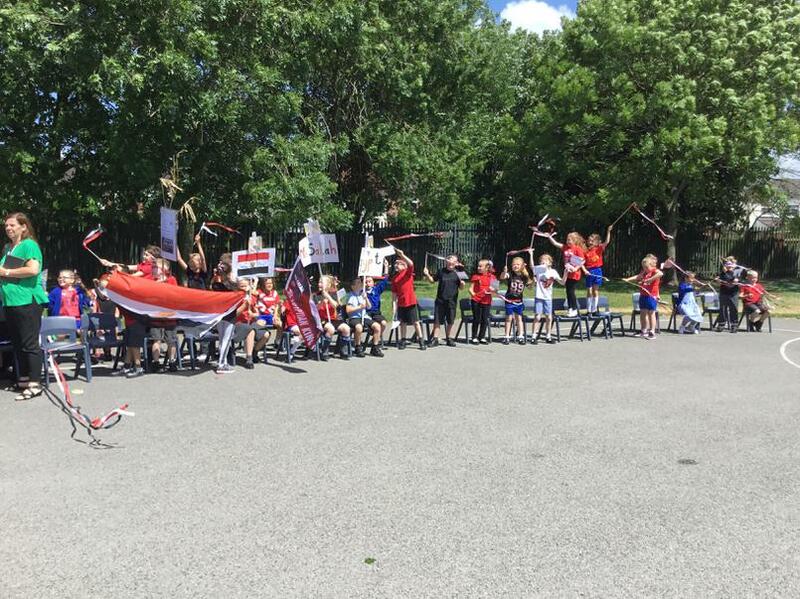 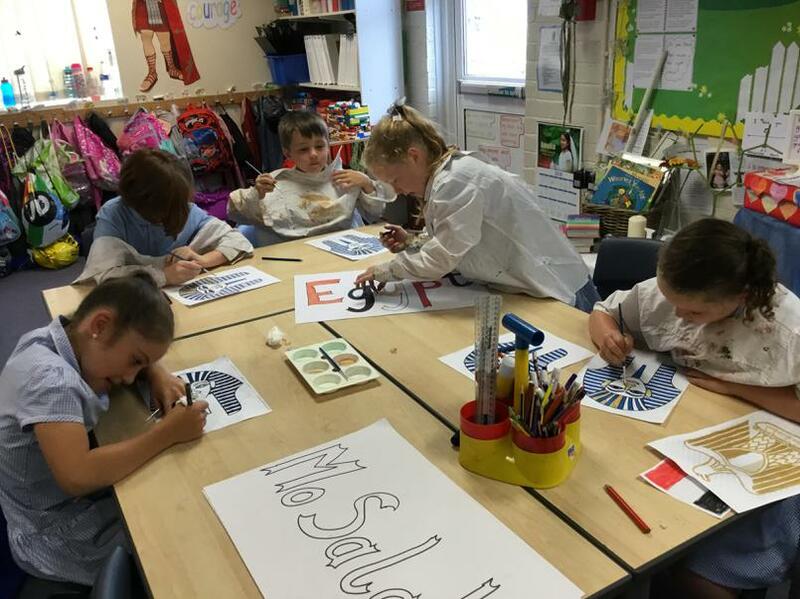 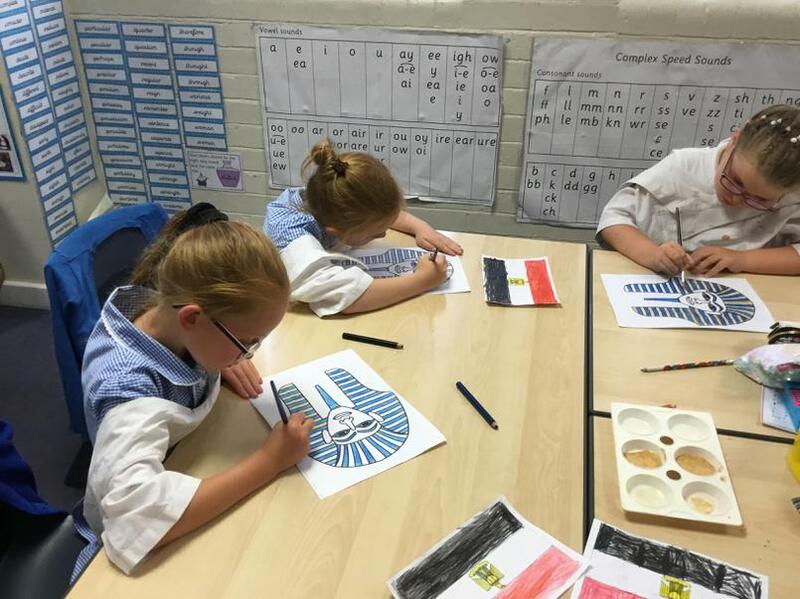 One of the teams our class is supporting is Egypt, so we had a great time getting ready for the World Cup Launch celebration by making flags, banners and Pharaoh masks. 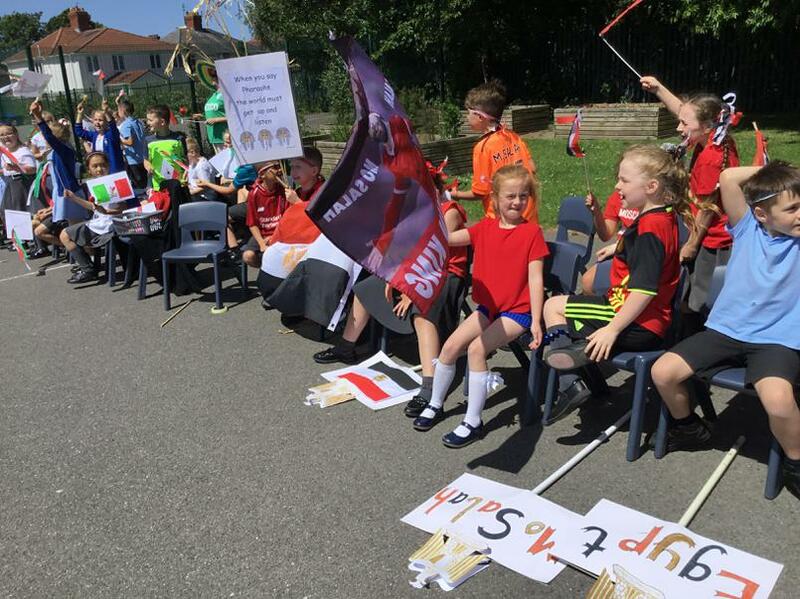 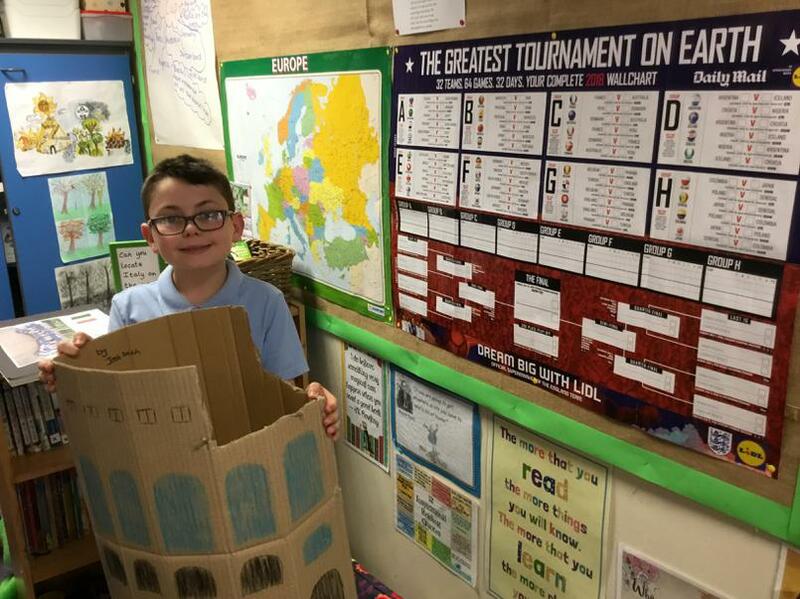 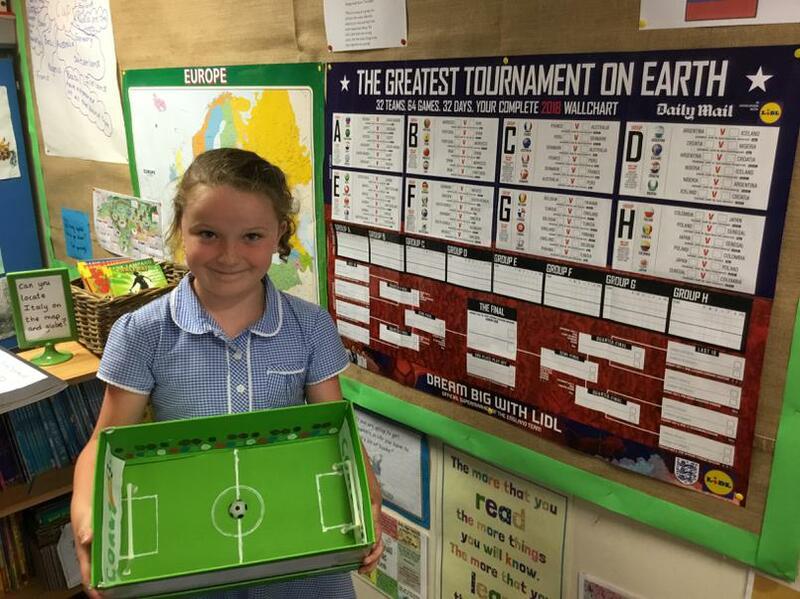 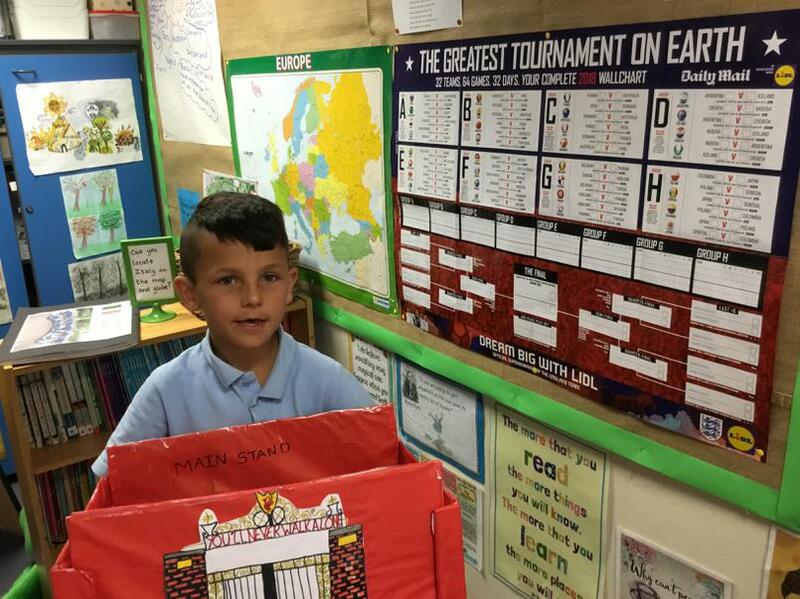 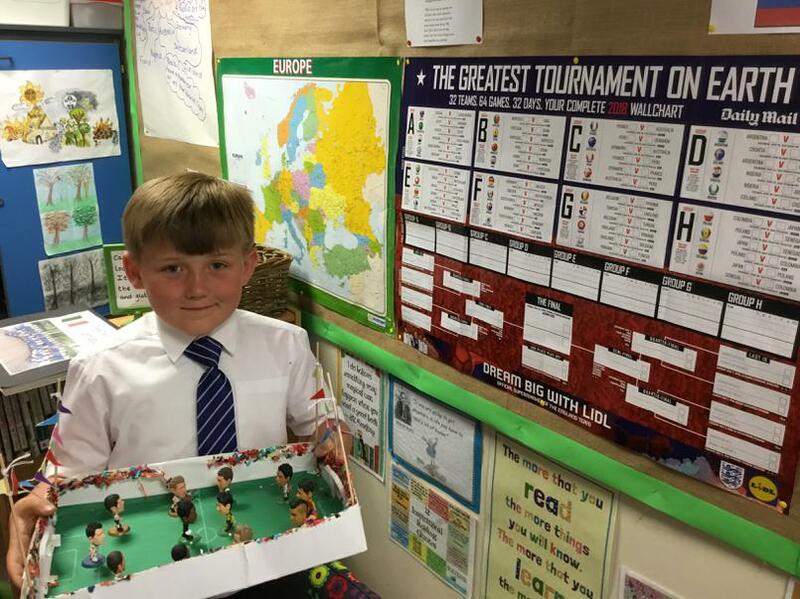 Over the next few weeks we will be learning more about the countries competing in the FIFA World Cup, including Russia the host country and Belgium. 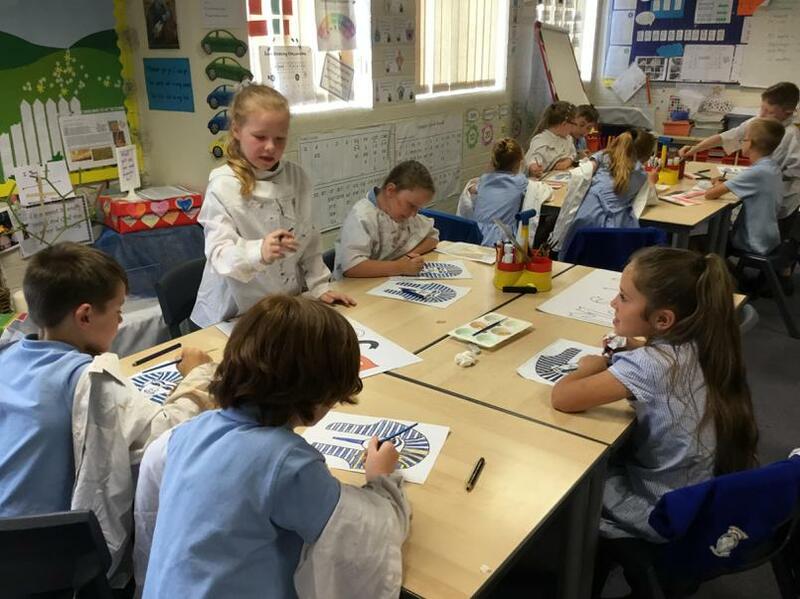 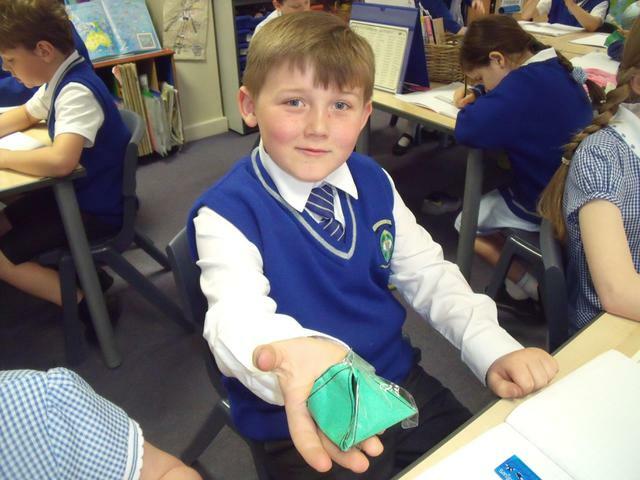 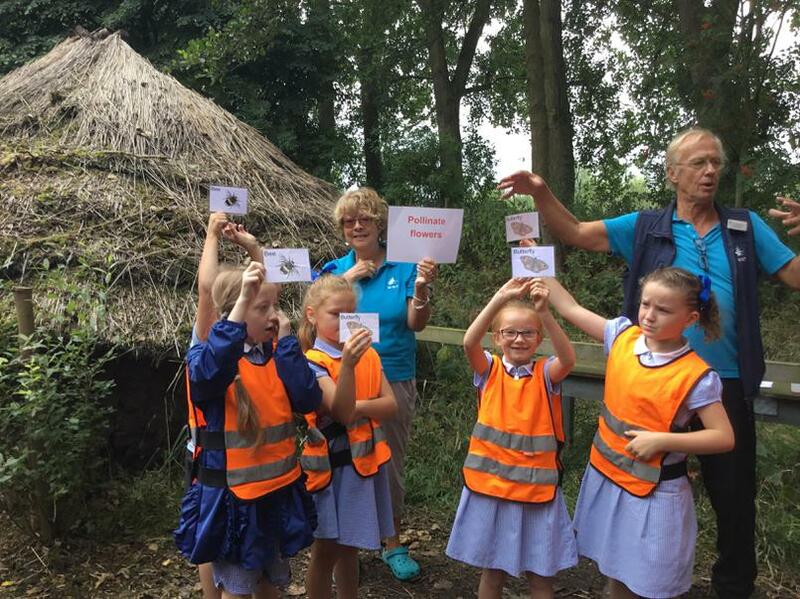 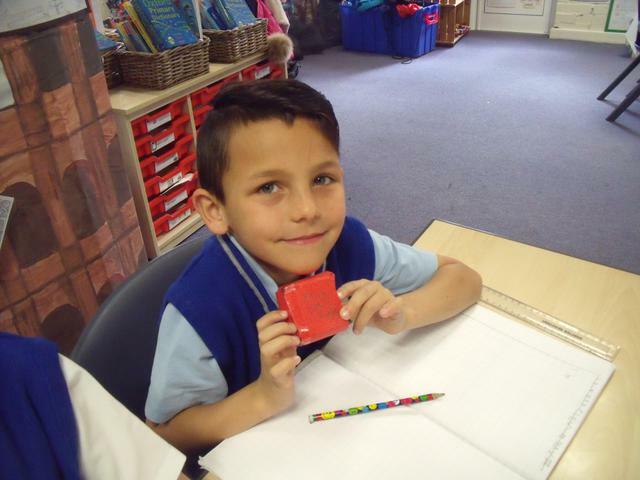 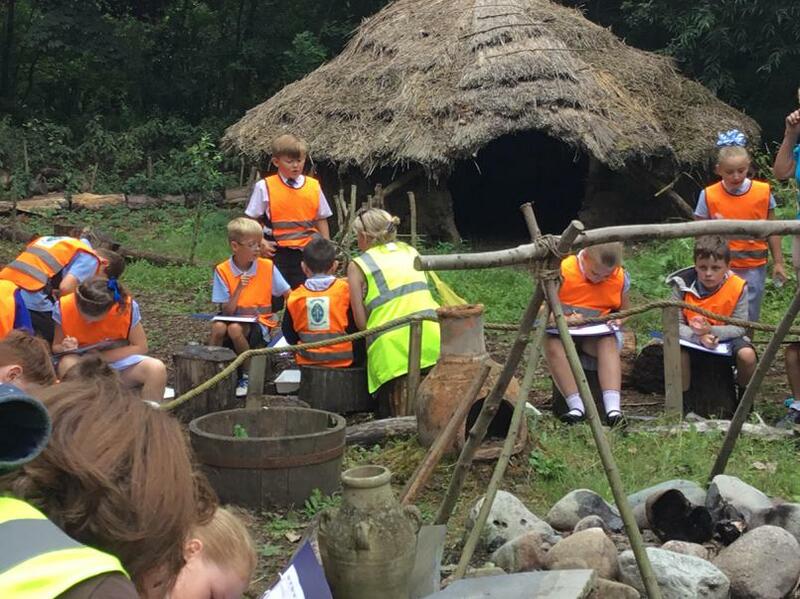 The children enjoyed learning about the Shang Dynasty around 1600-400BC, the Bronze age period in China. 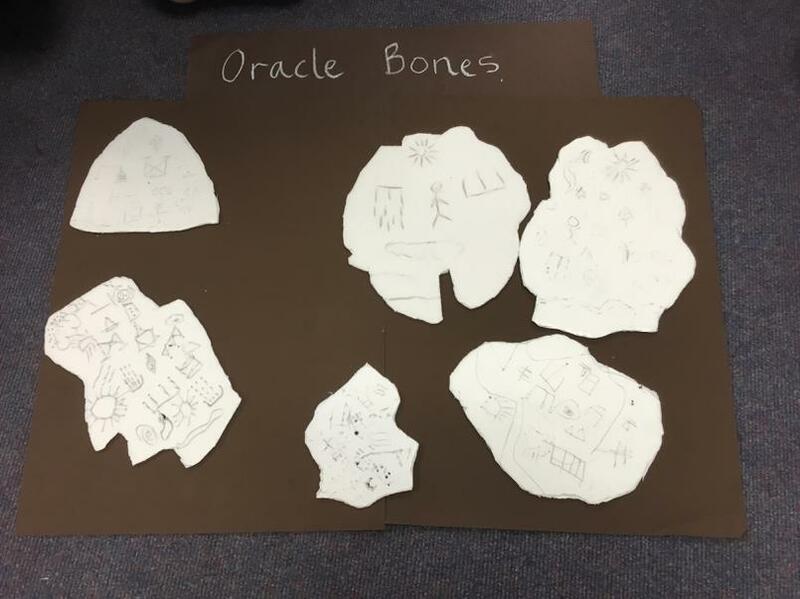 They learnt that Emperors and priests used to write messages and questions in pictures to the Gods and ancestors on ox bones or turtle shells. 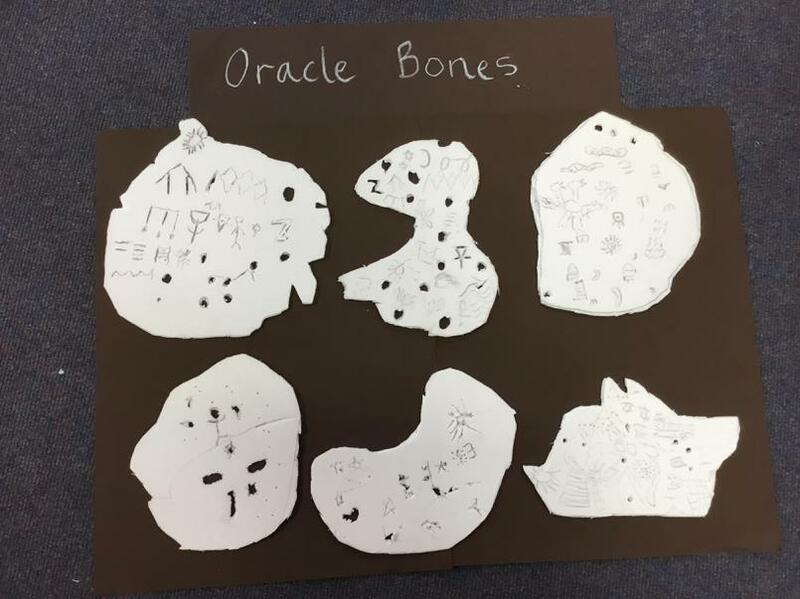 These were known as Oracle bones. 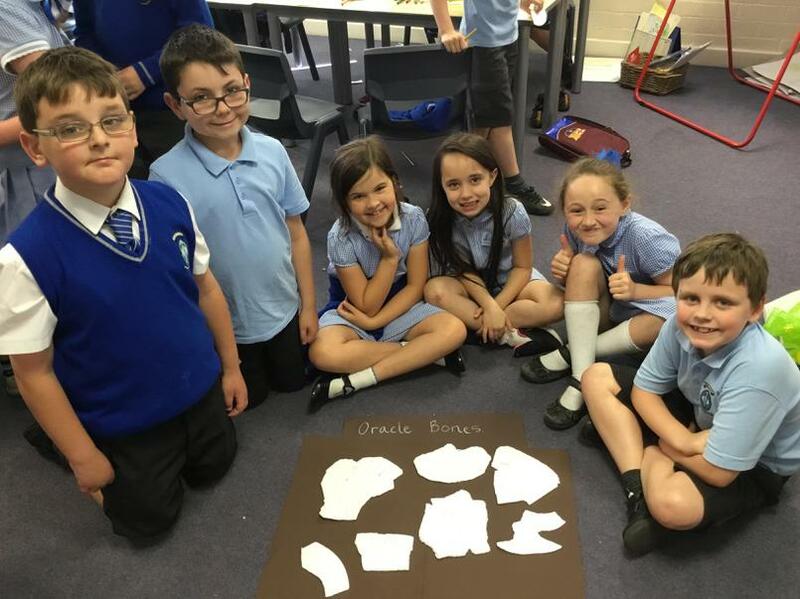 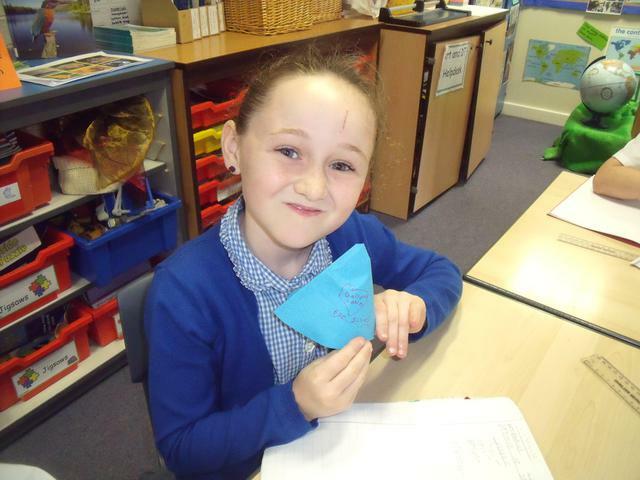 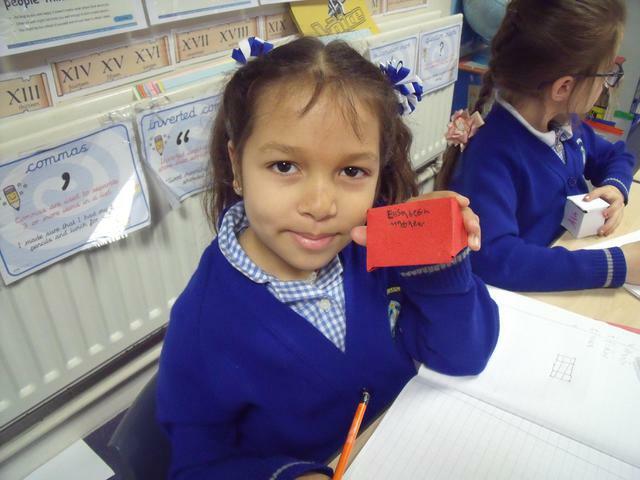 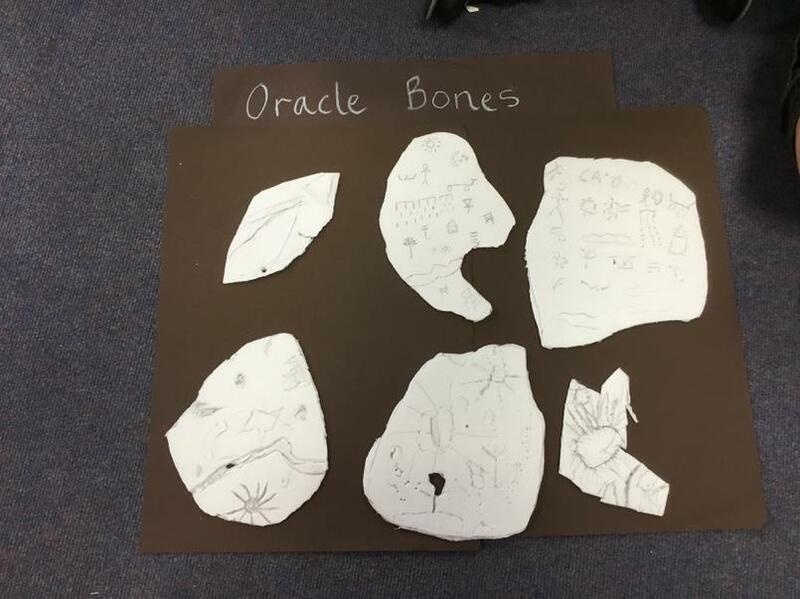 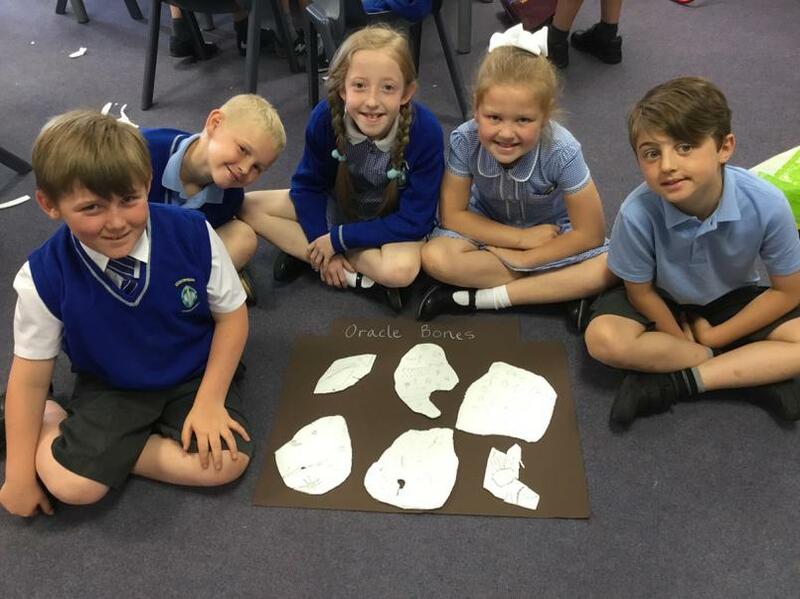 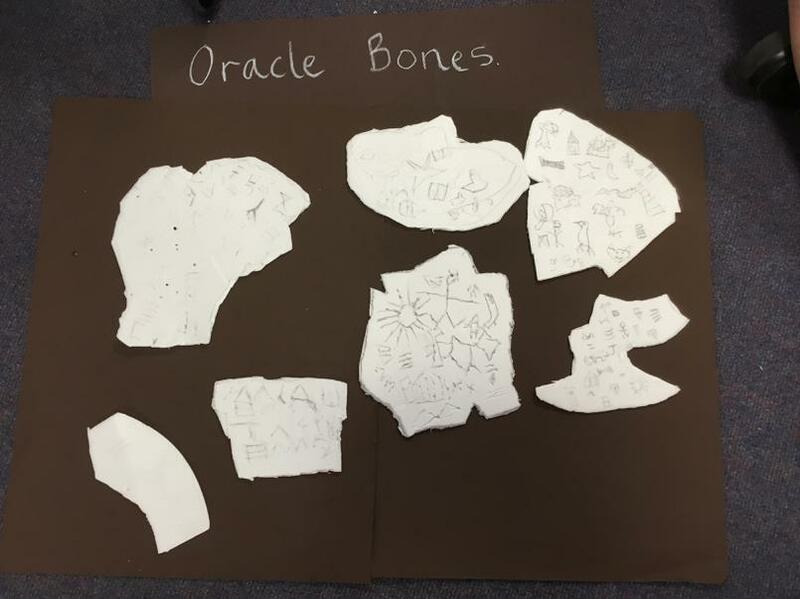 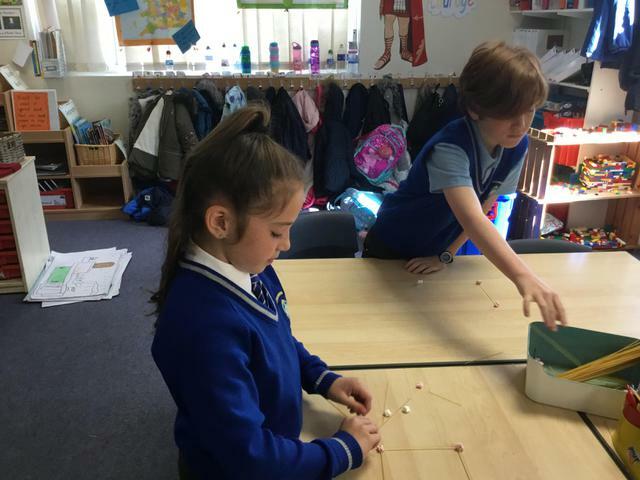 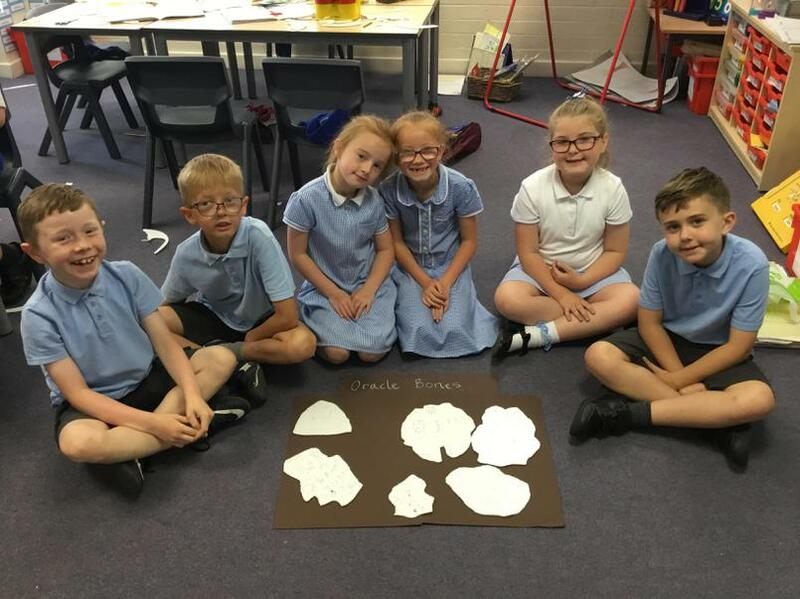 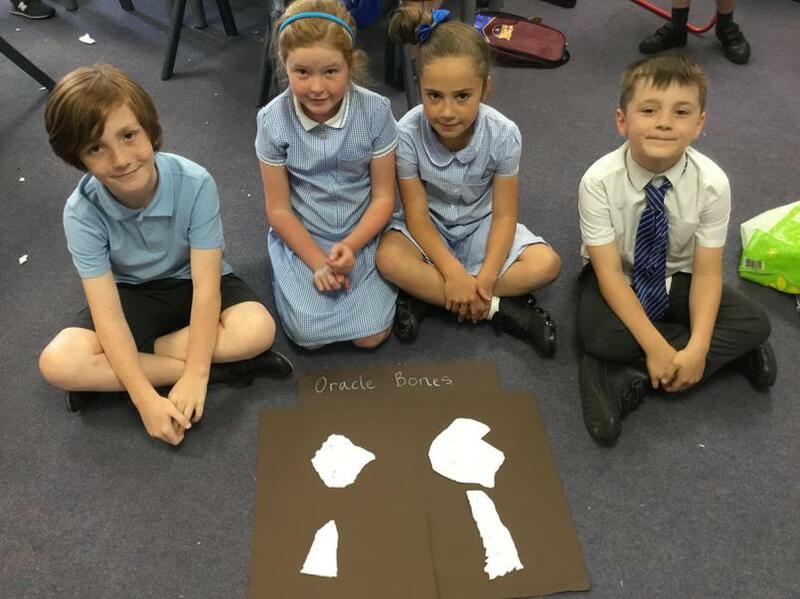 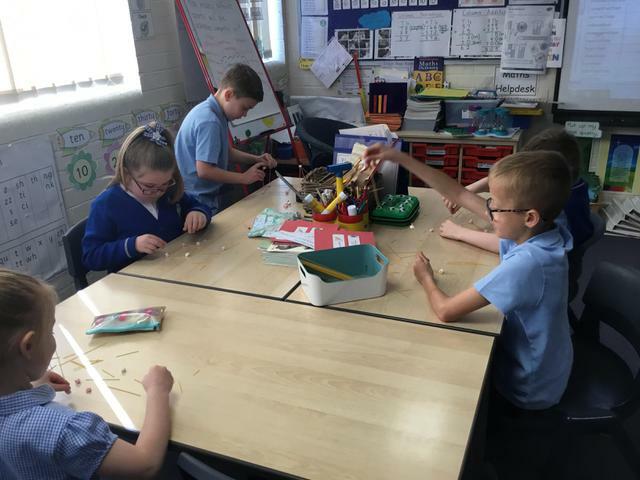 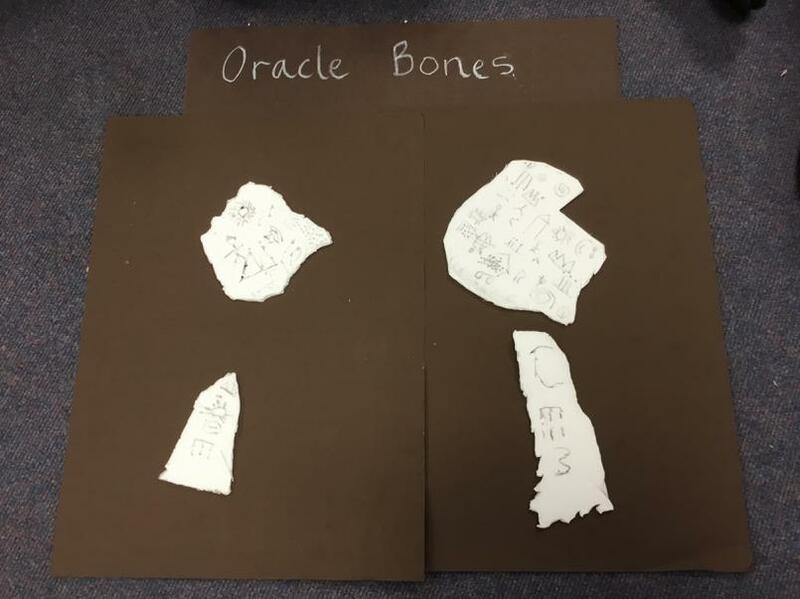 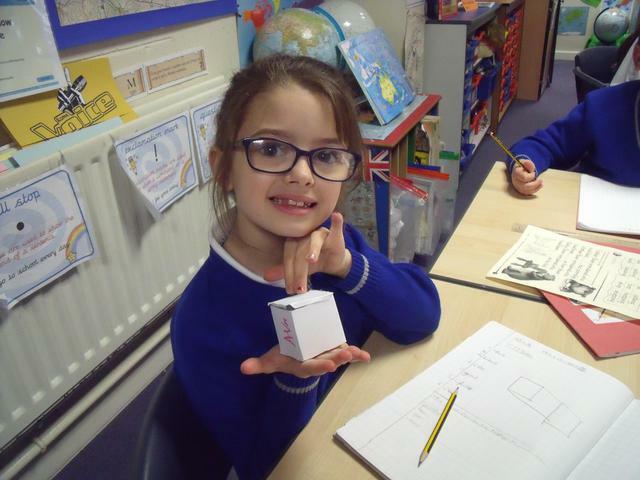 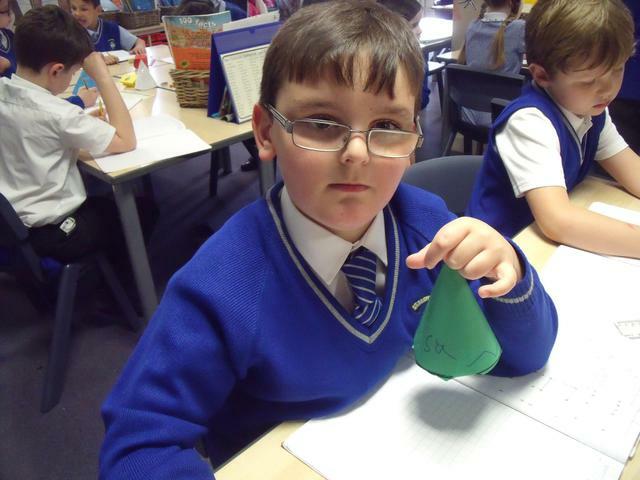 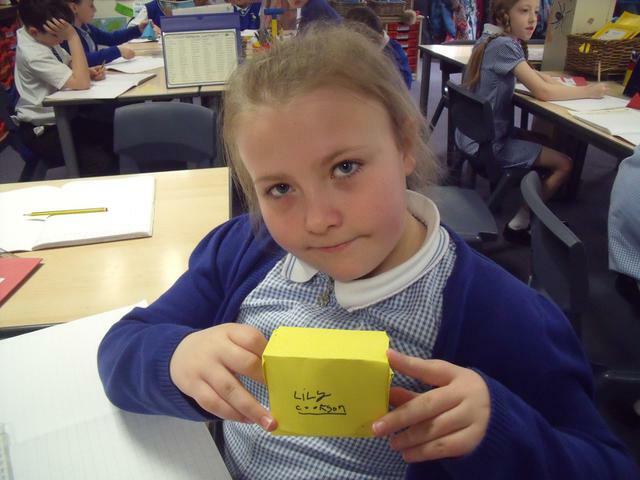 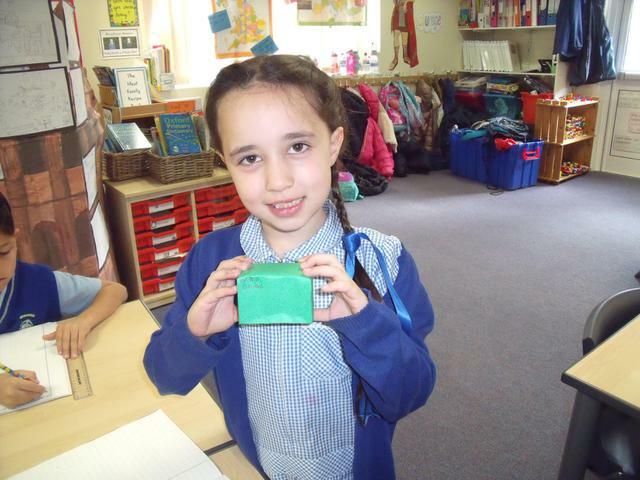 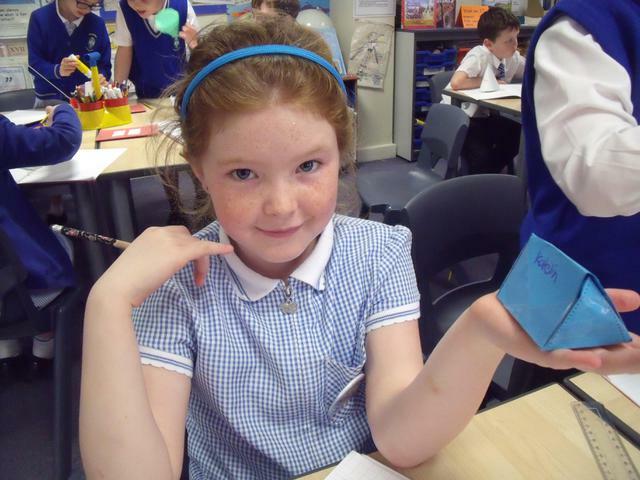 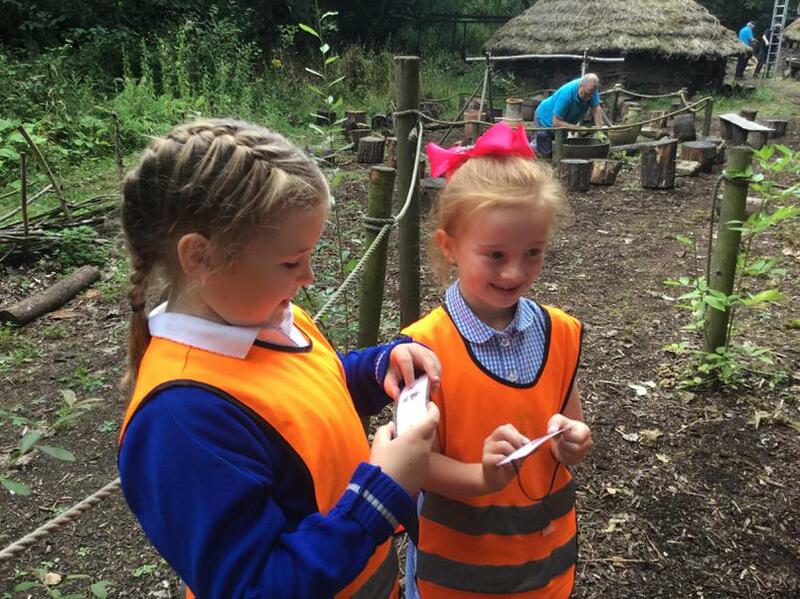 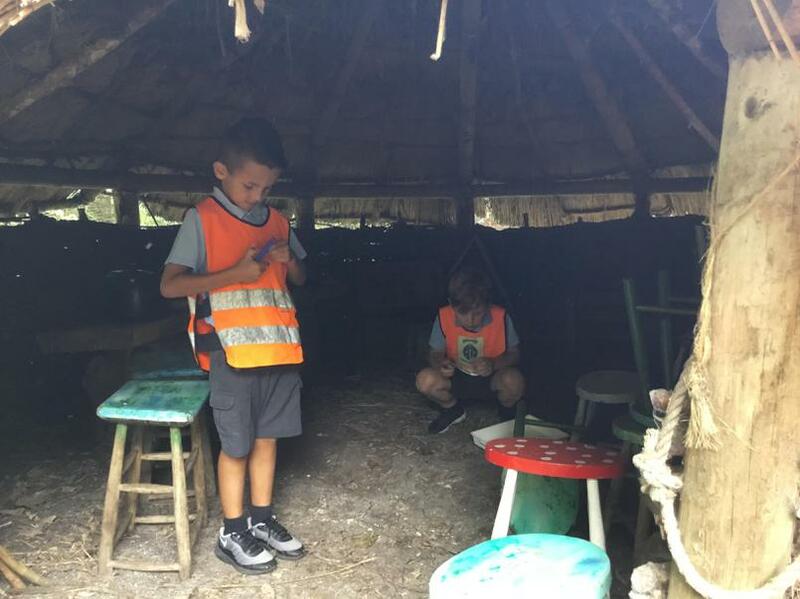 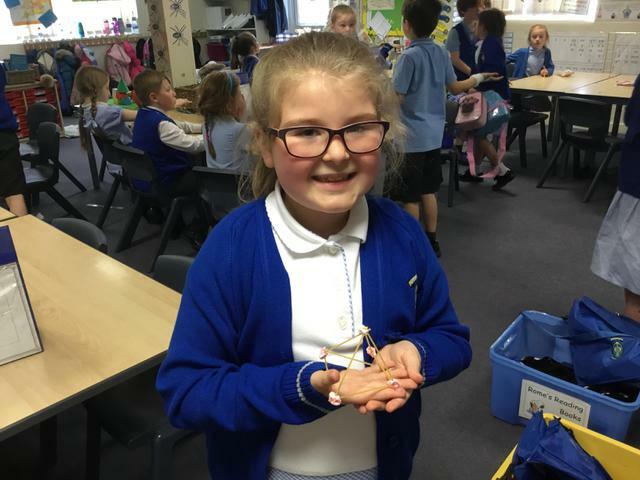 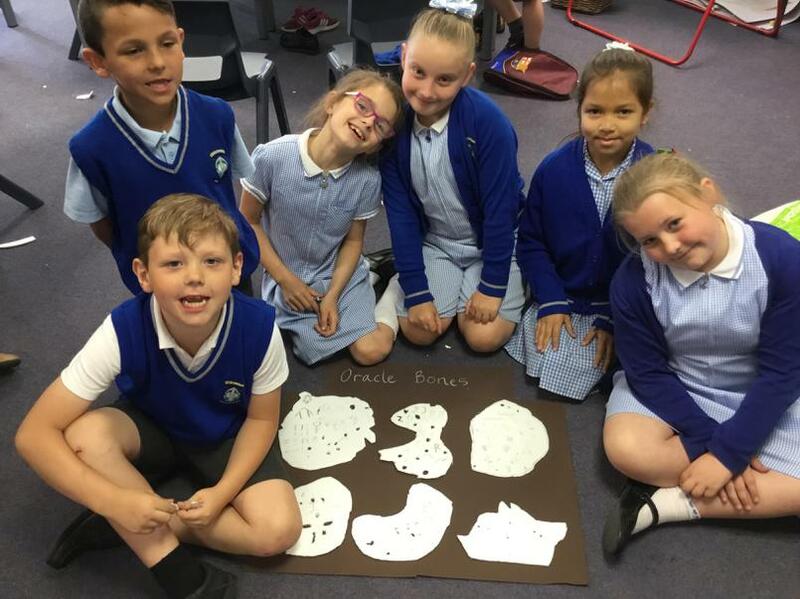 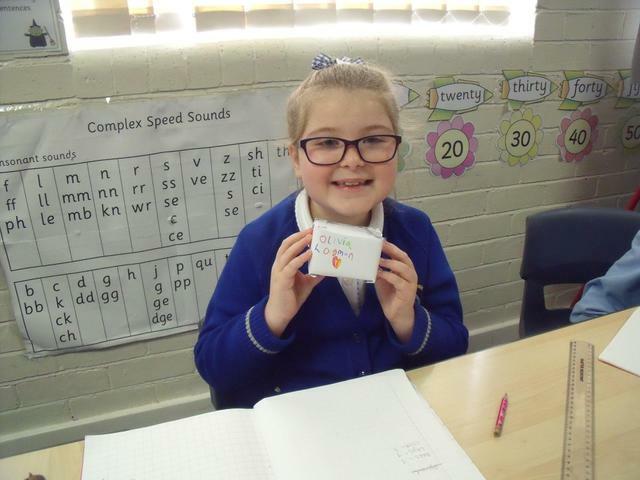 The children enjoyed making their own Oracle bones! 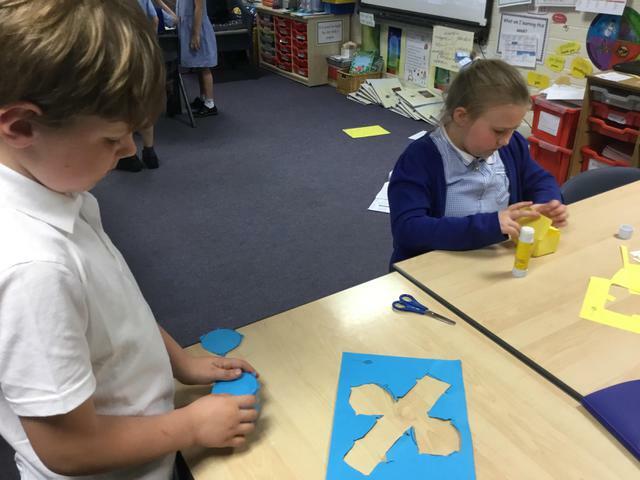 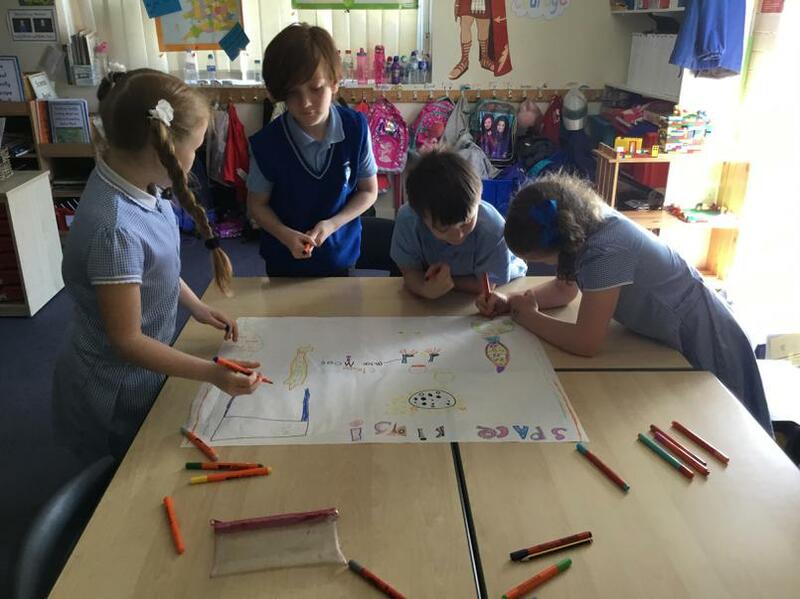 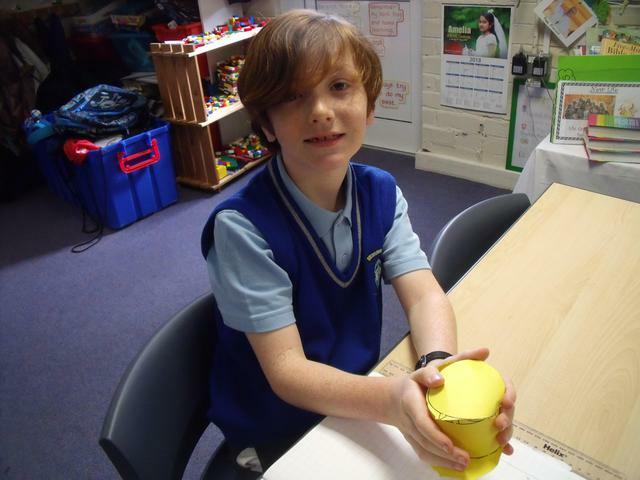 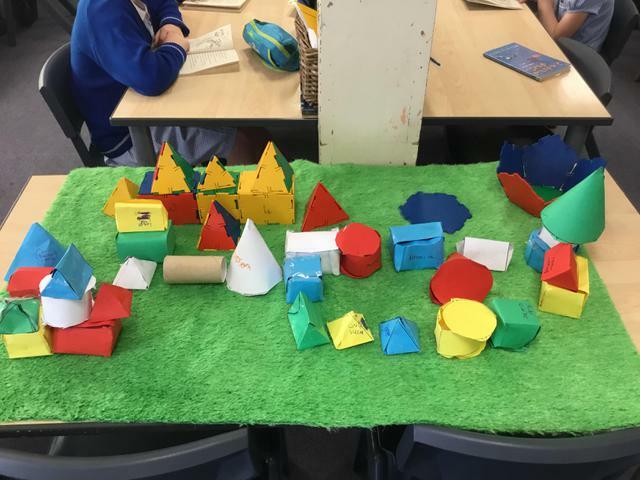 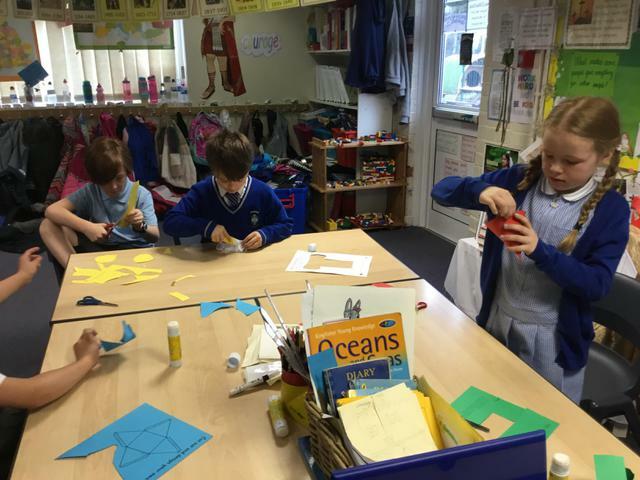 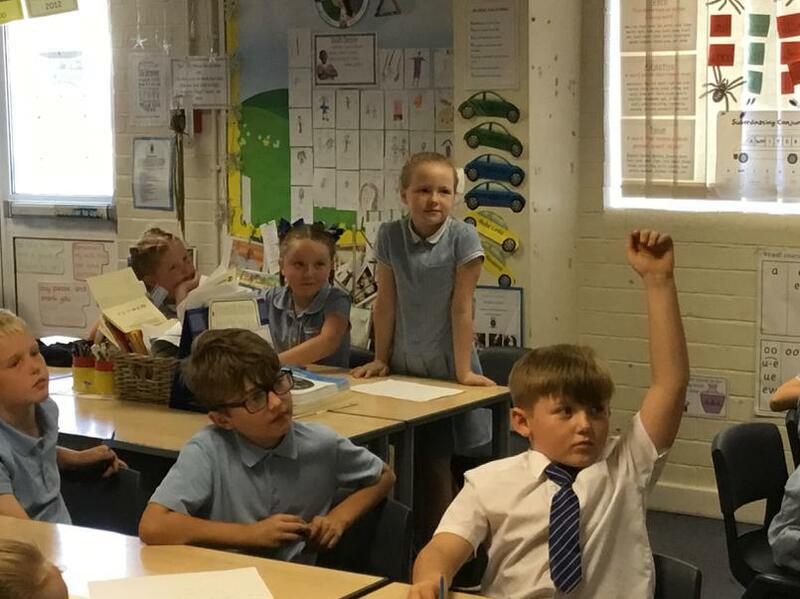 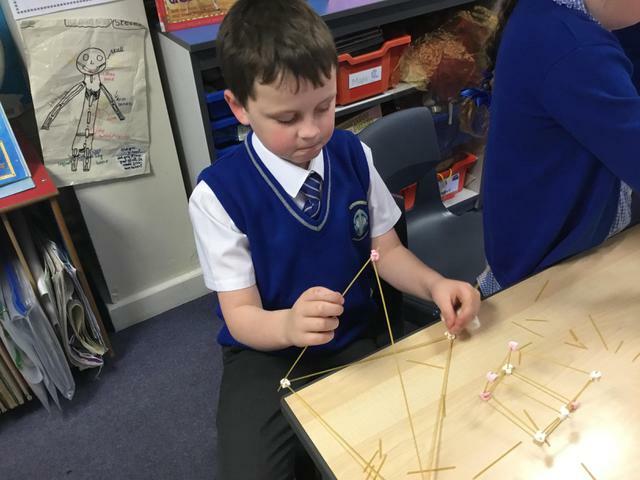 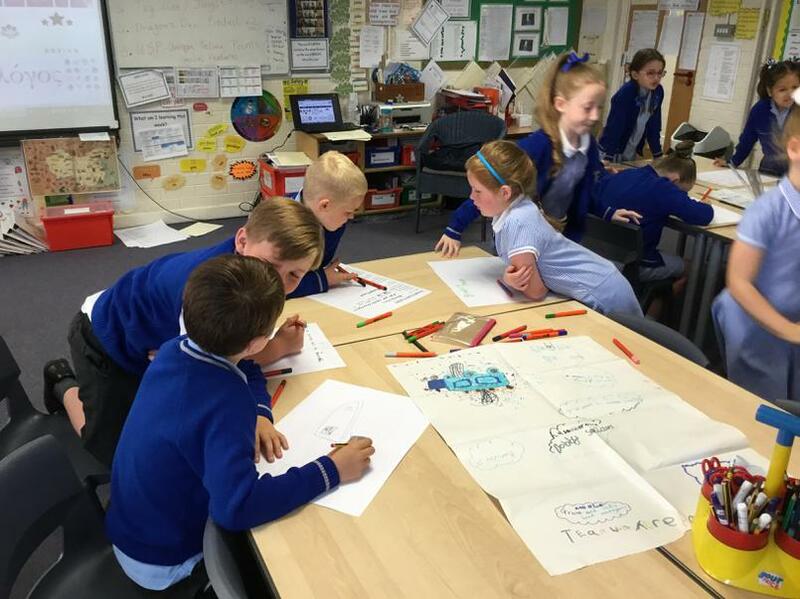 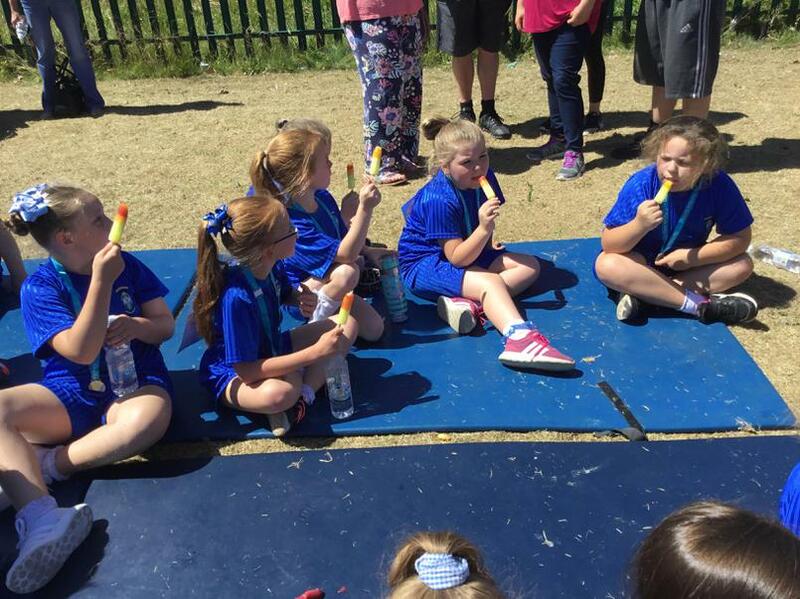 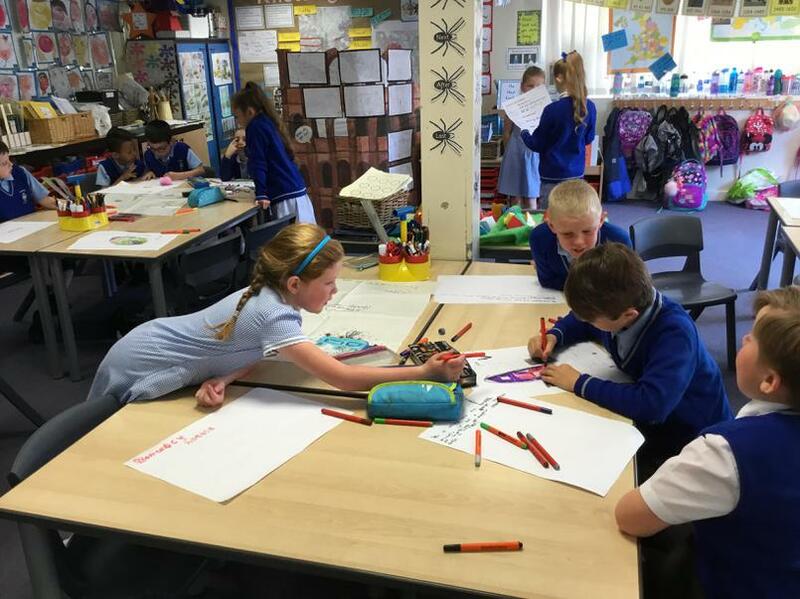 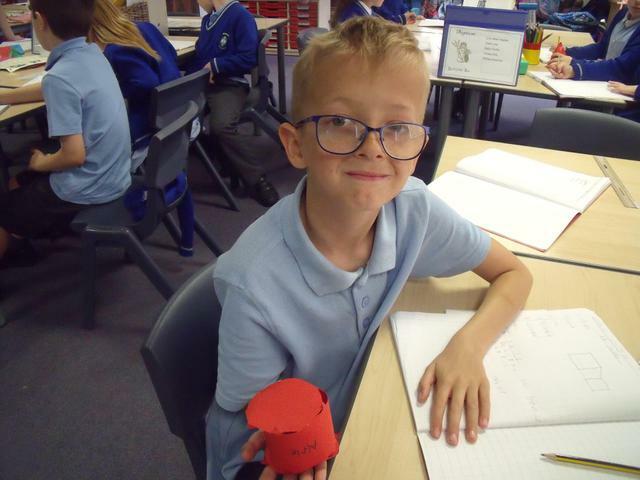 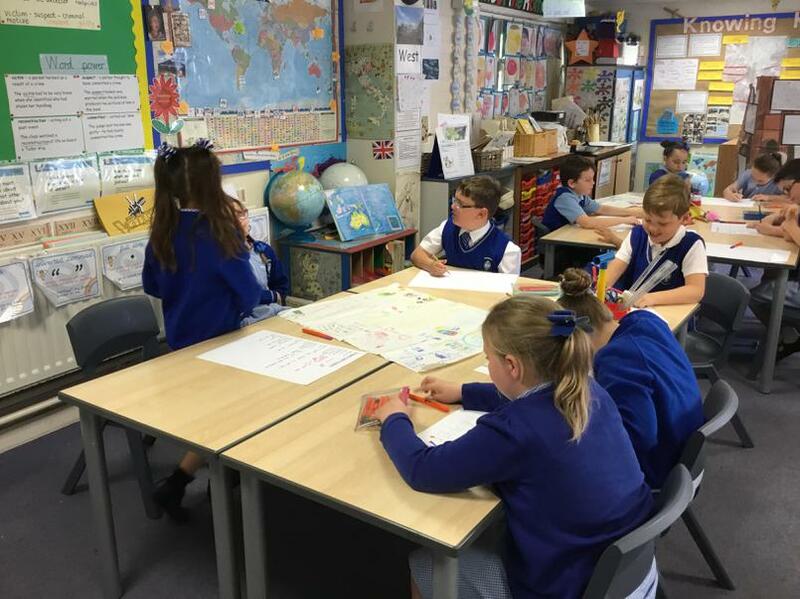 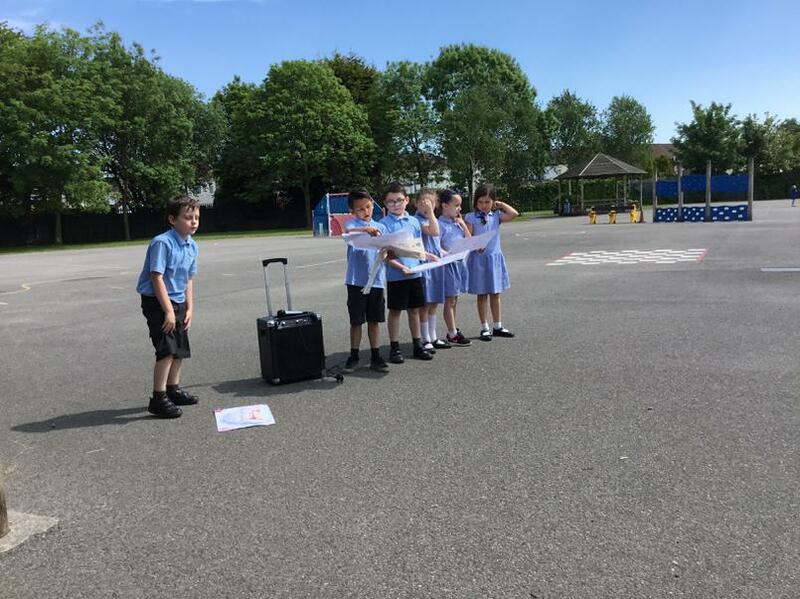 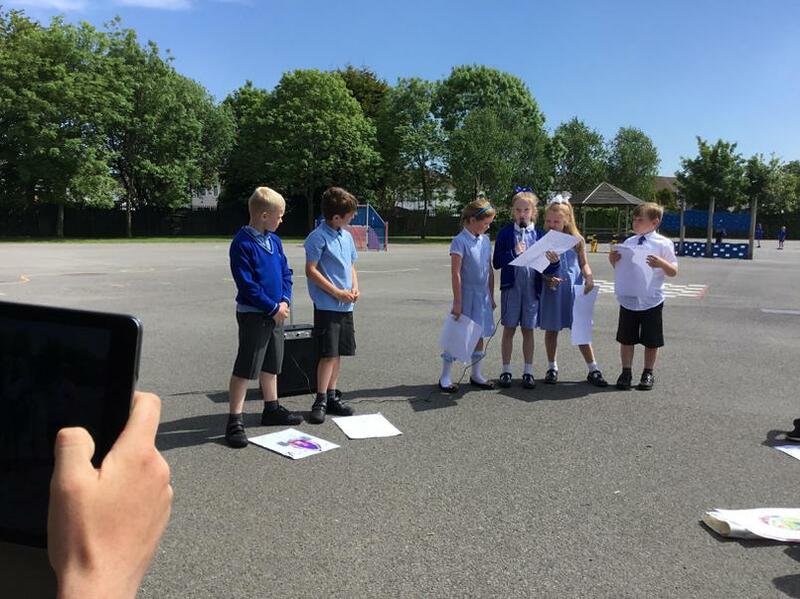 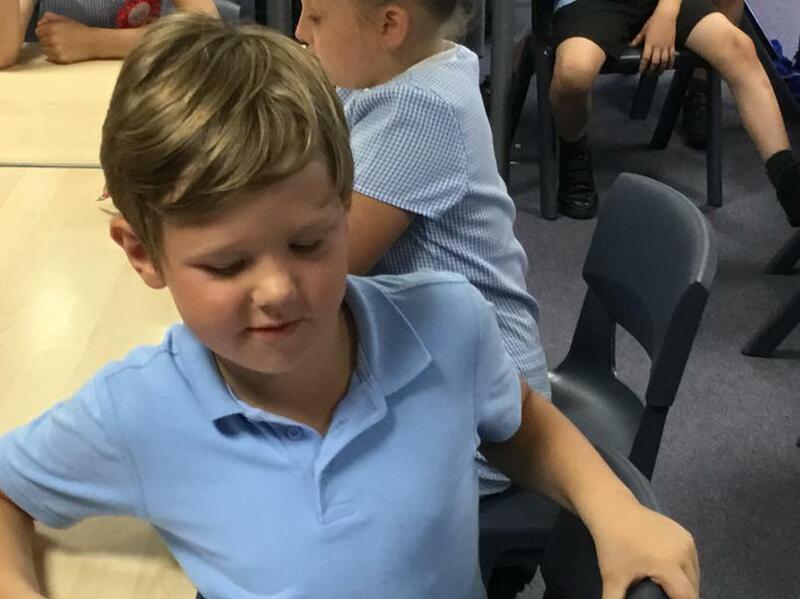 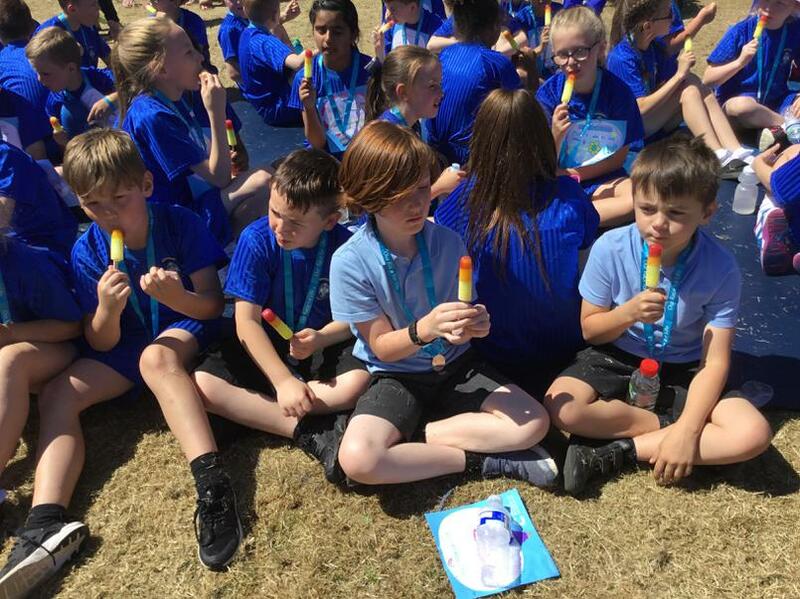 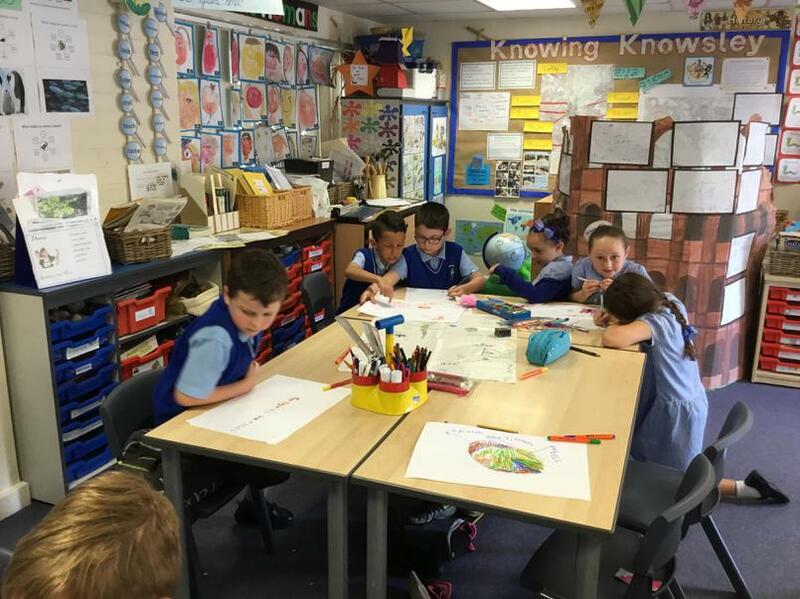 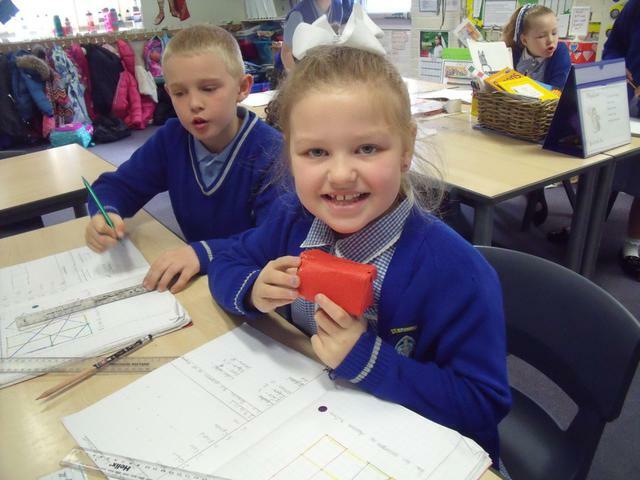 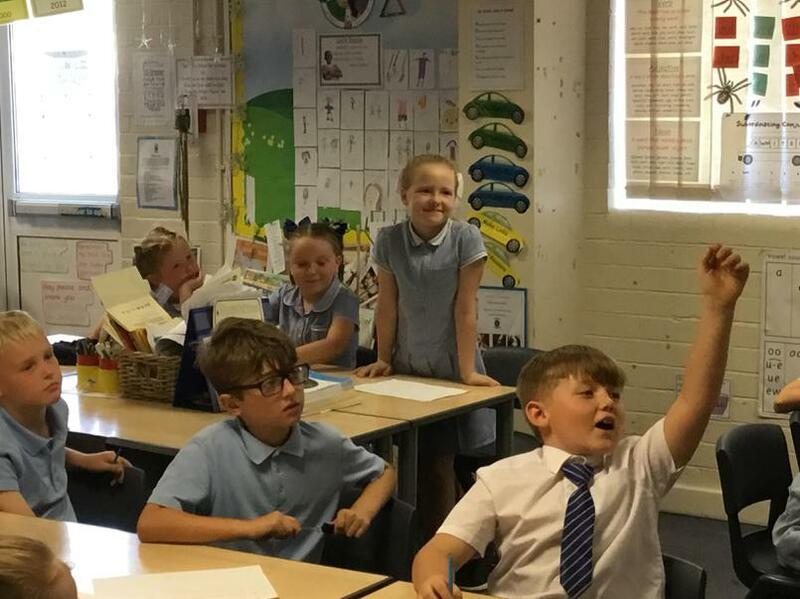 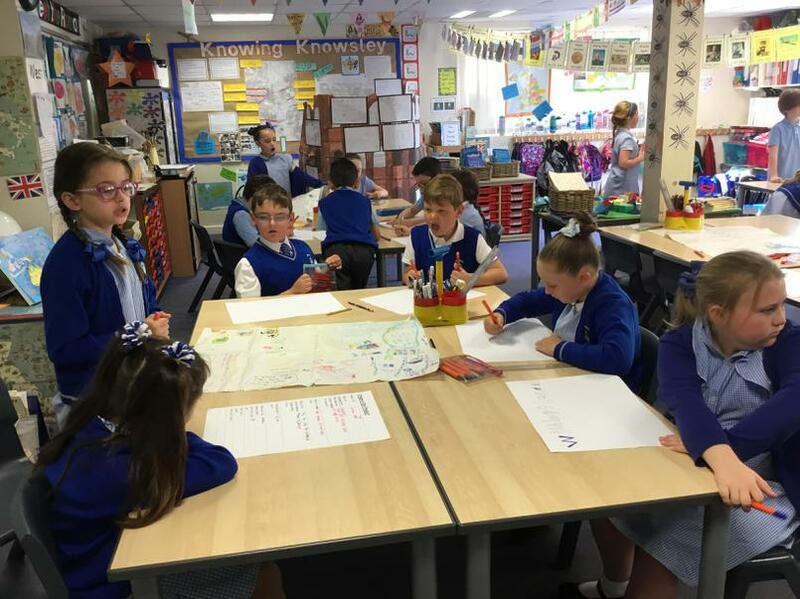 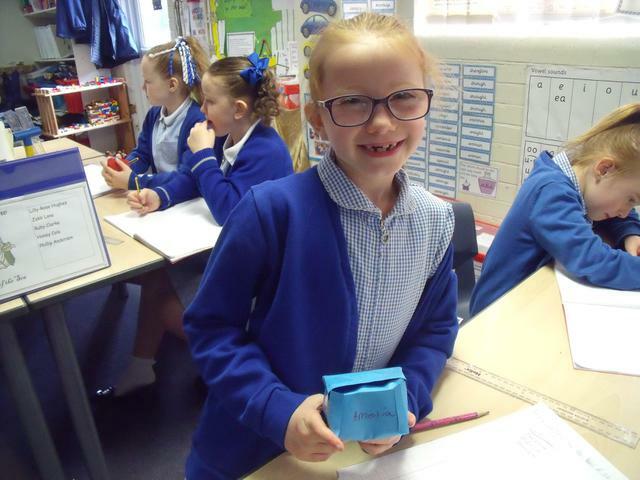 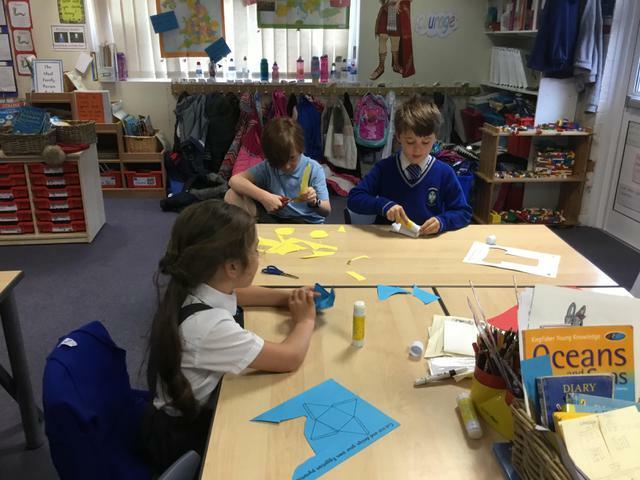 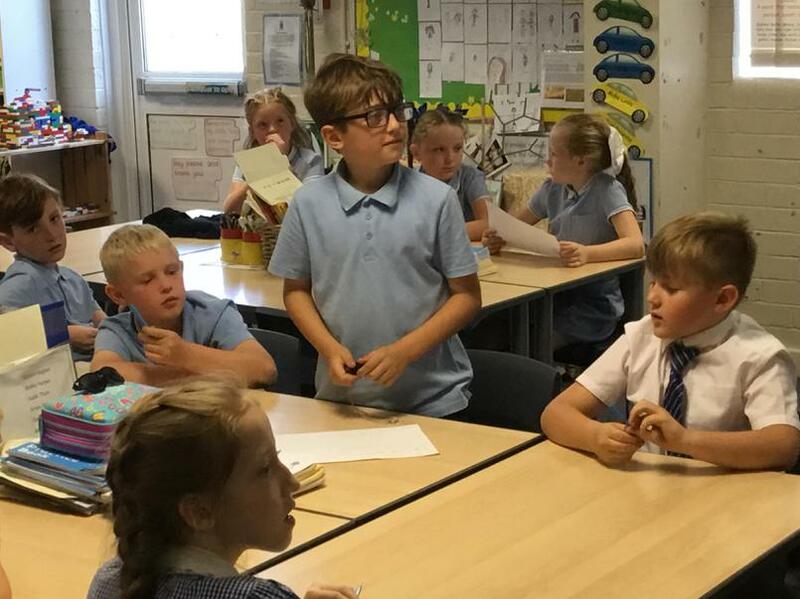 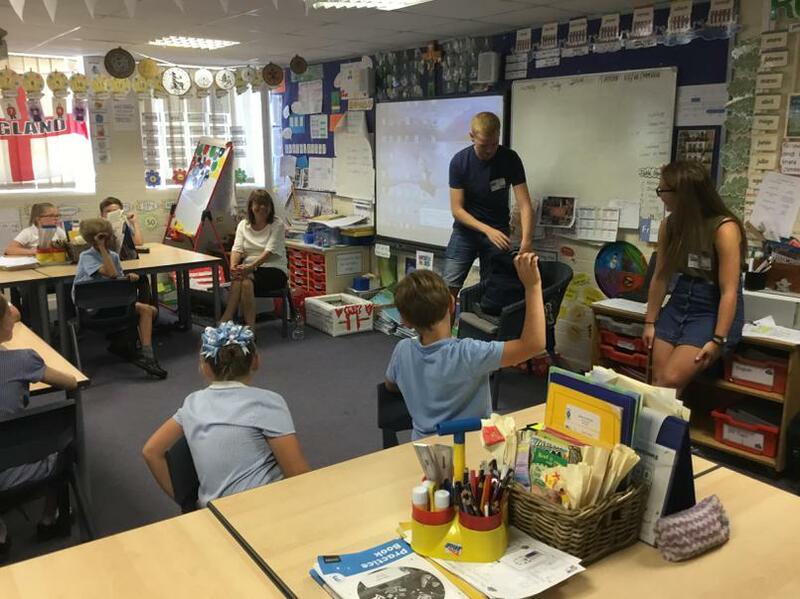 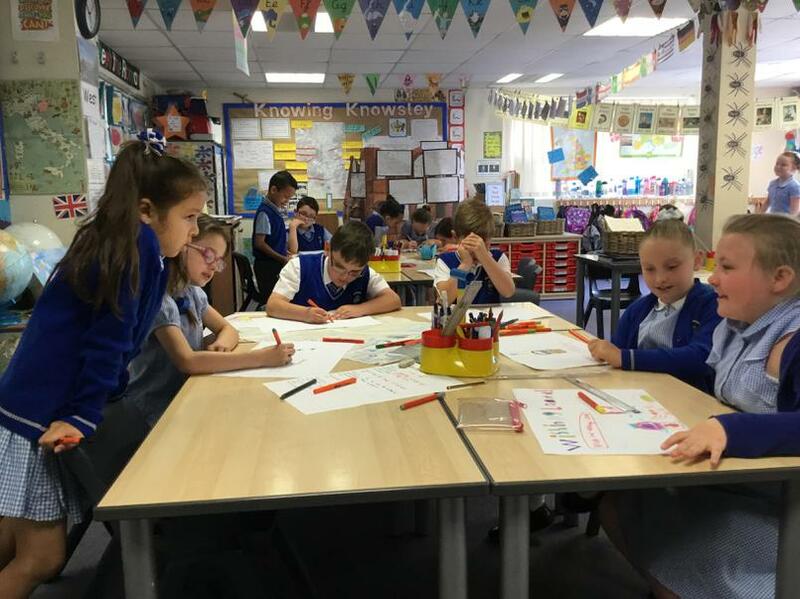 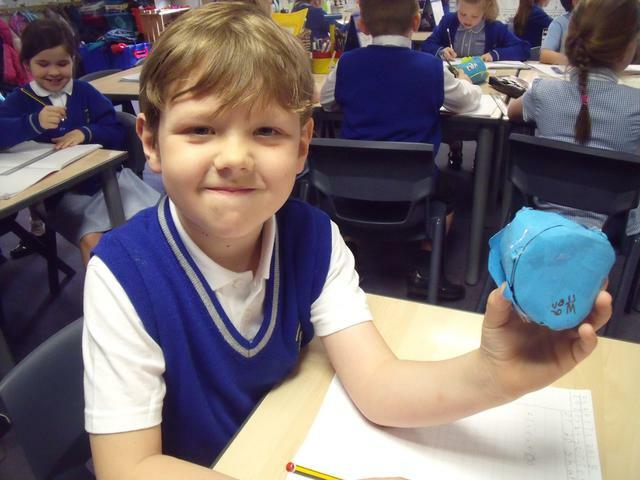 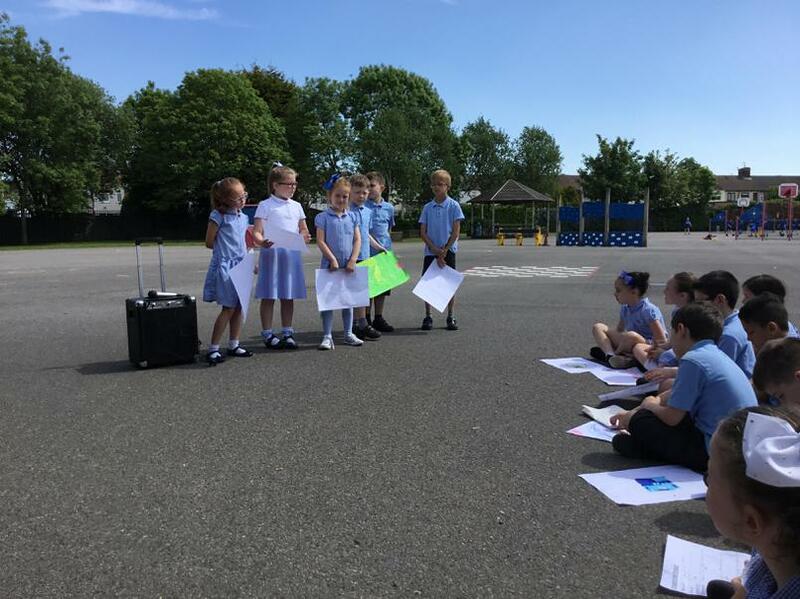 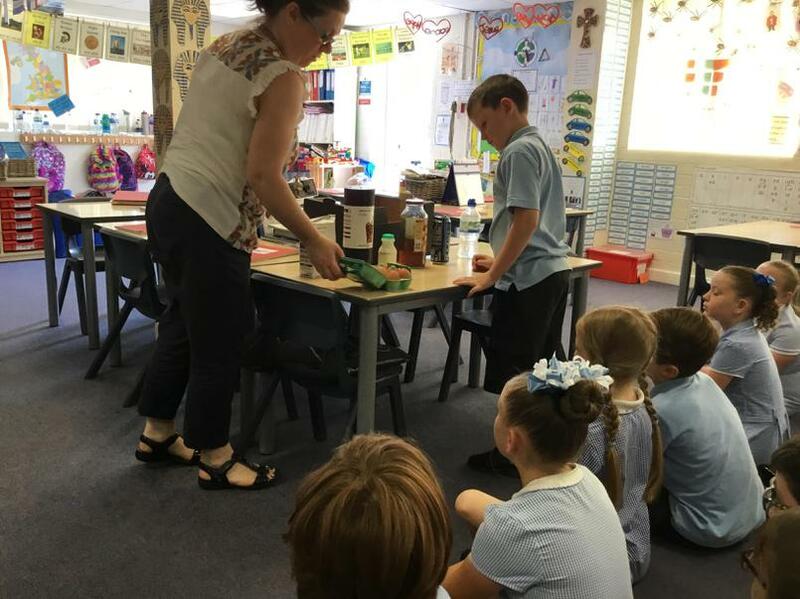 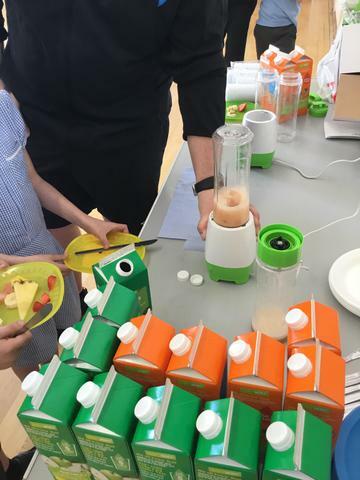 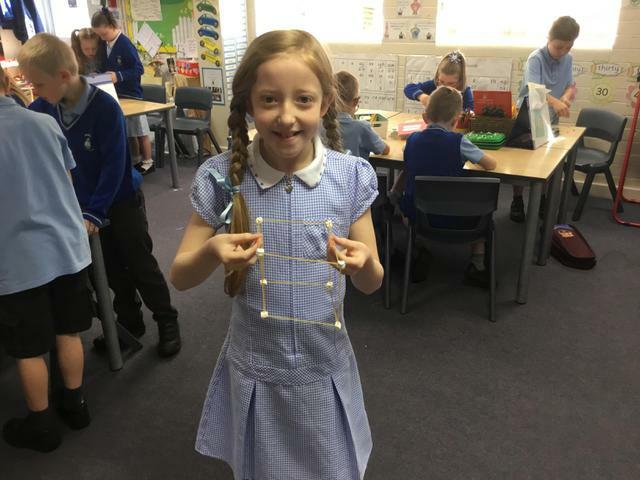 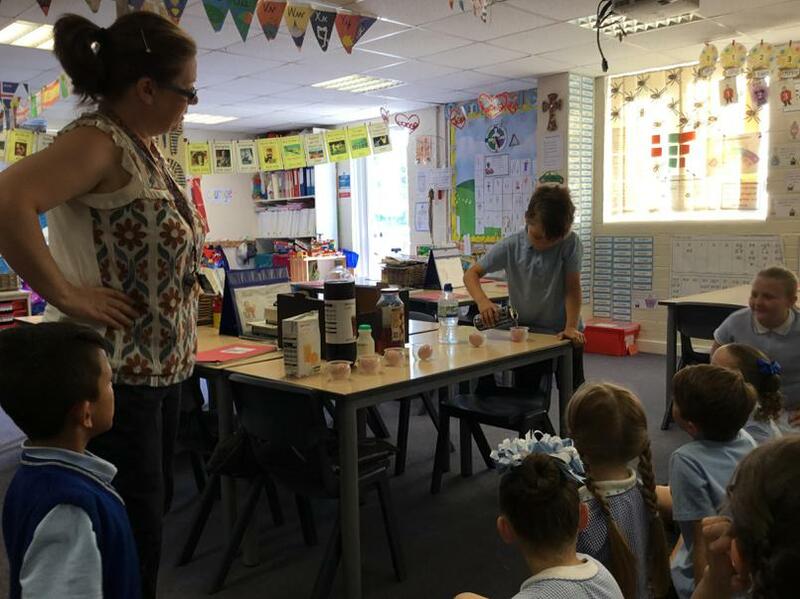 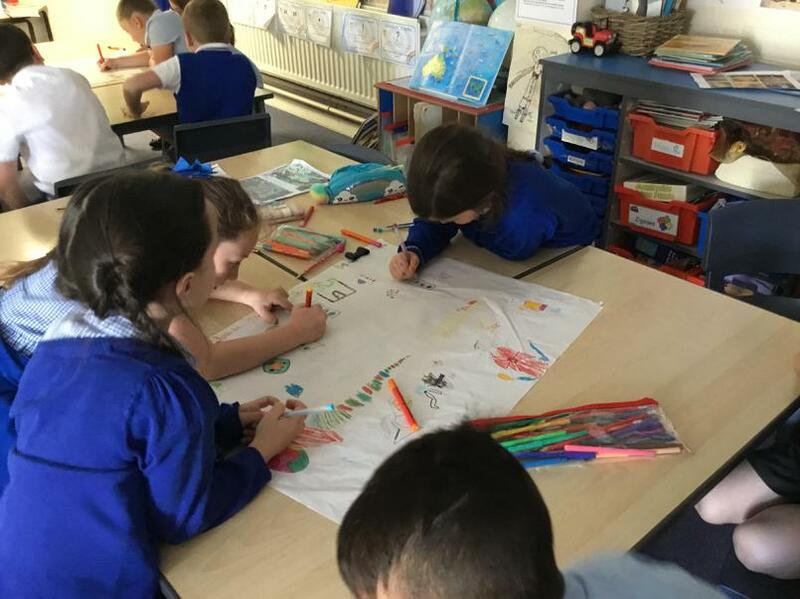 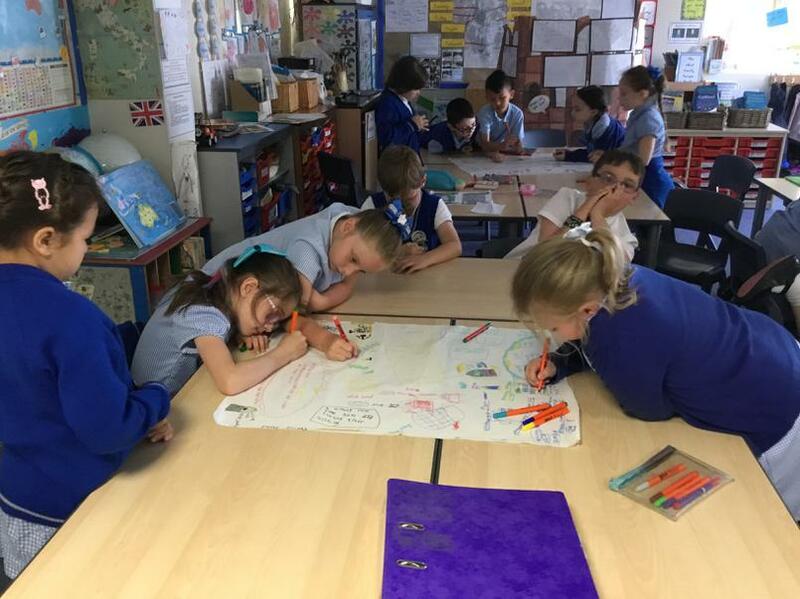 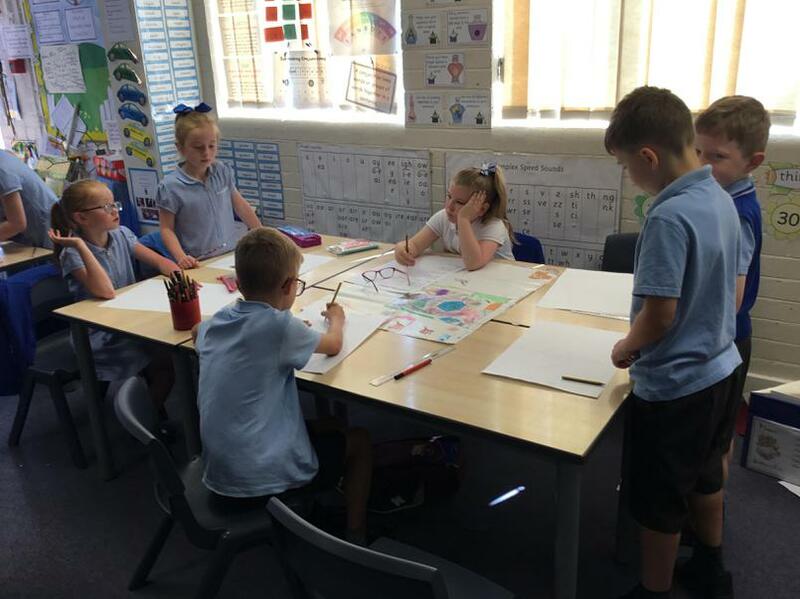 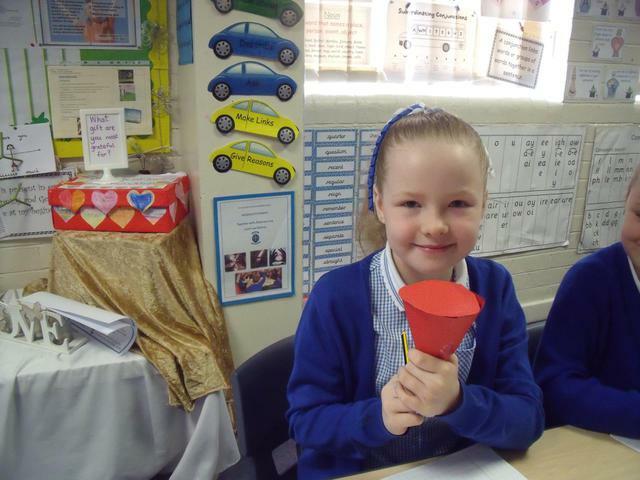 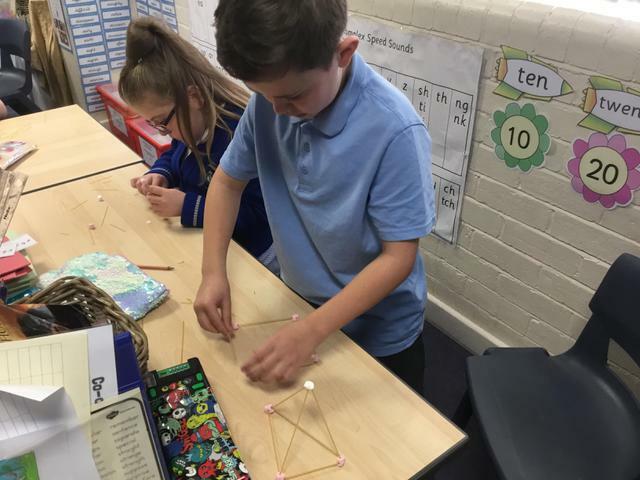 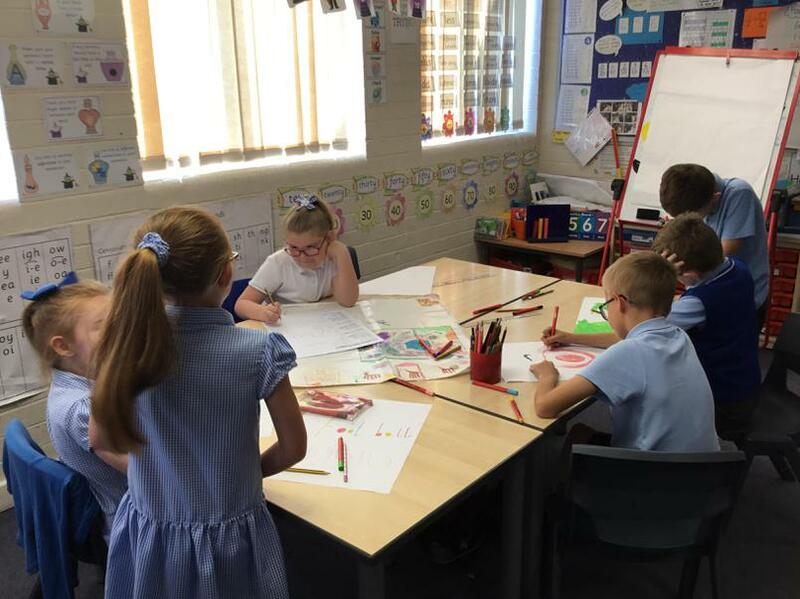 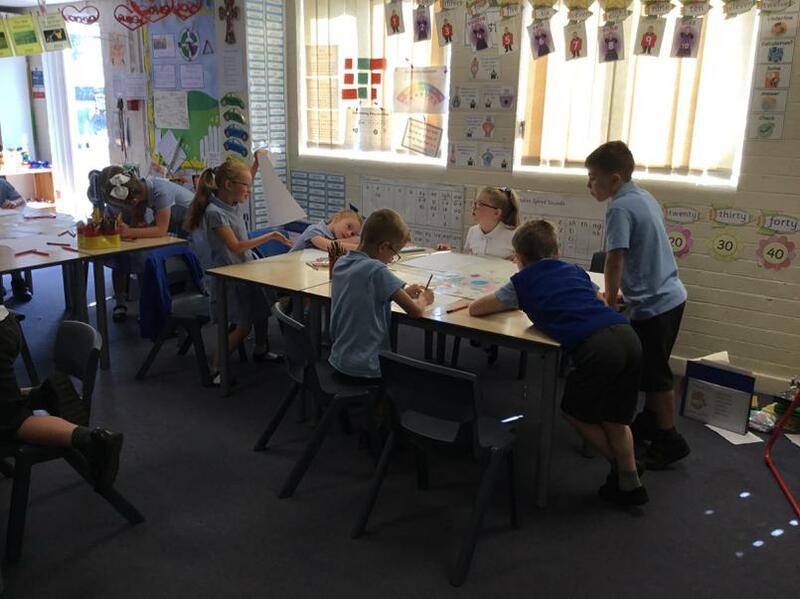 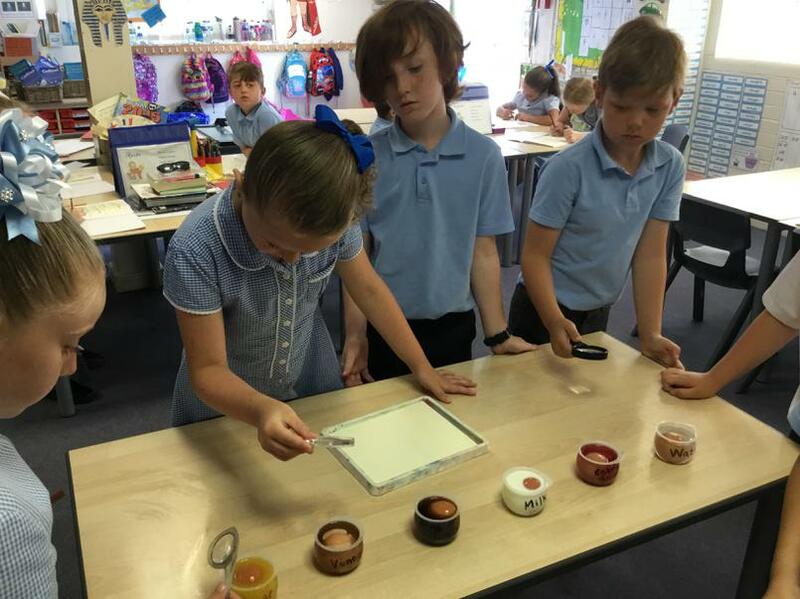 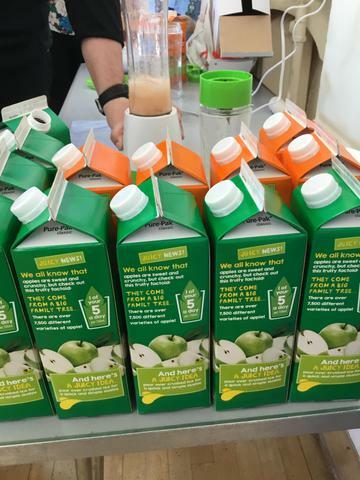 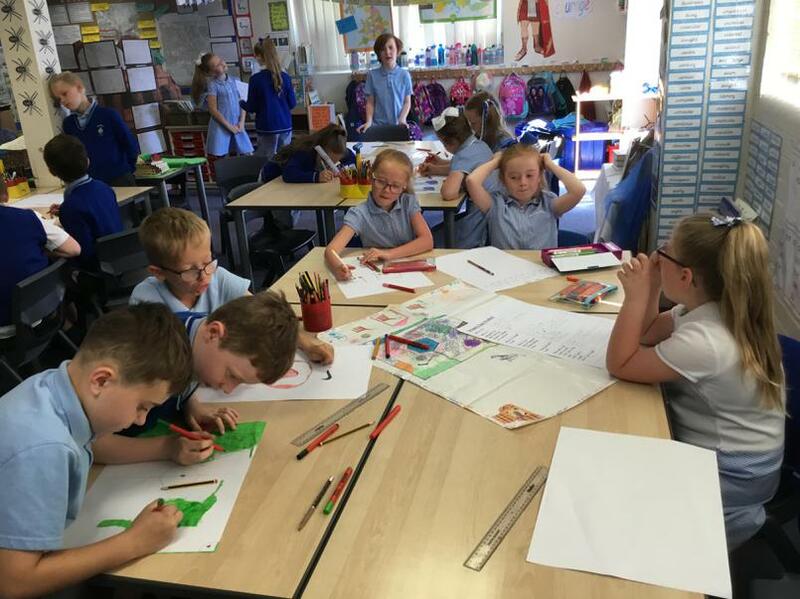 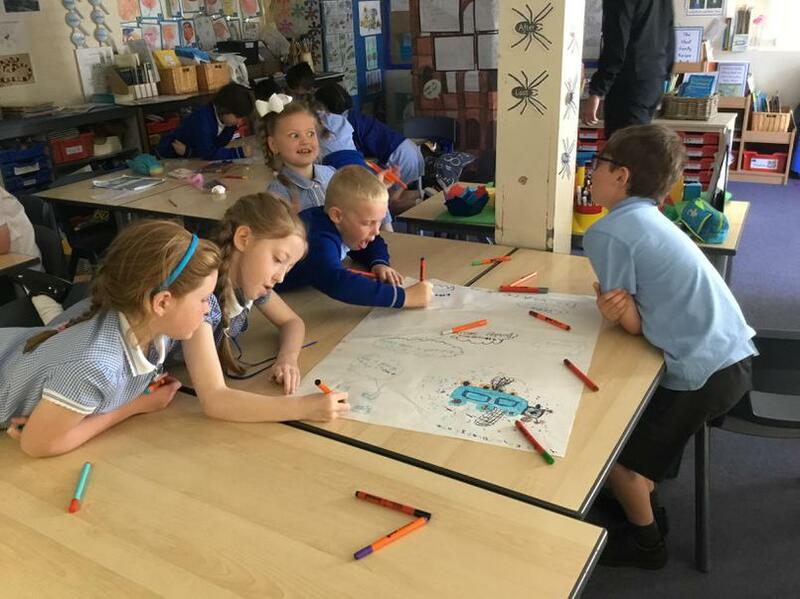 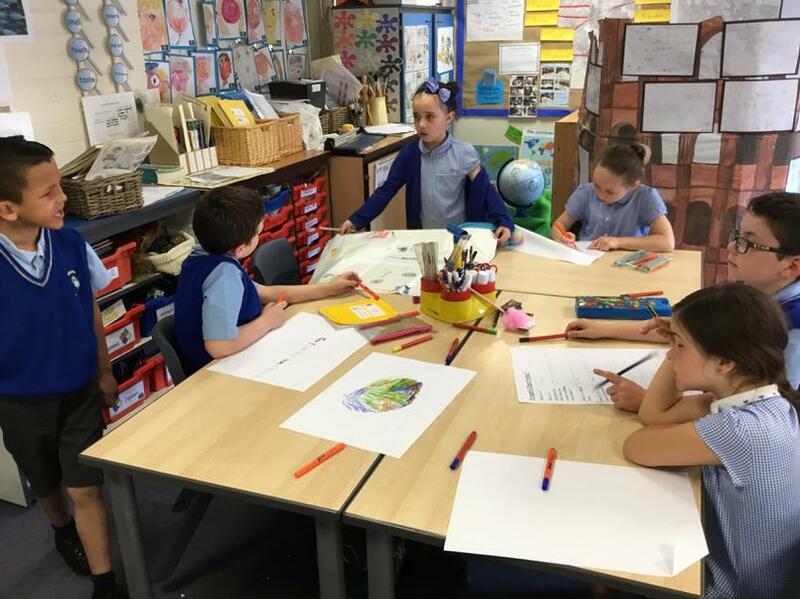 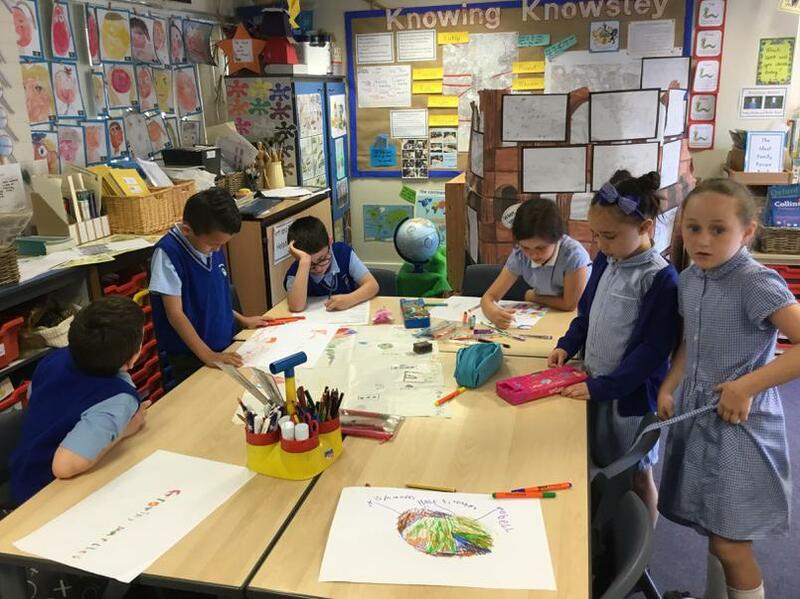 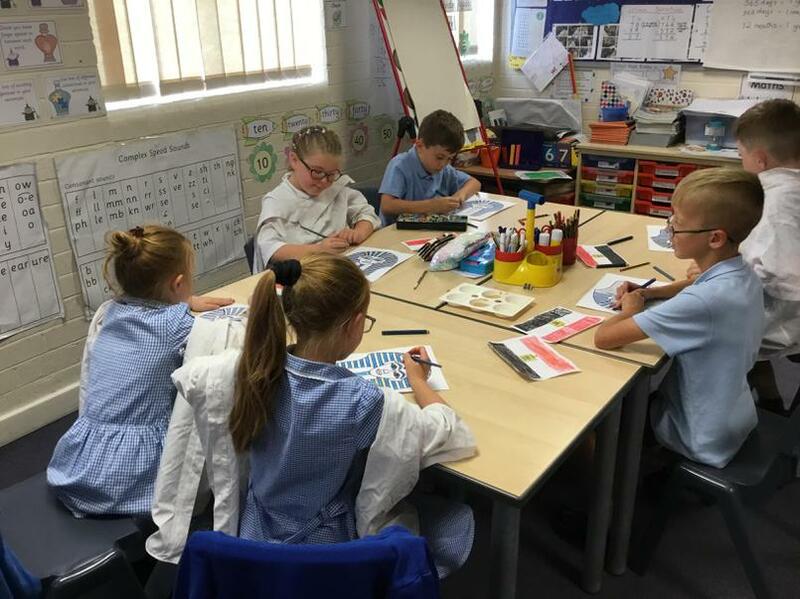 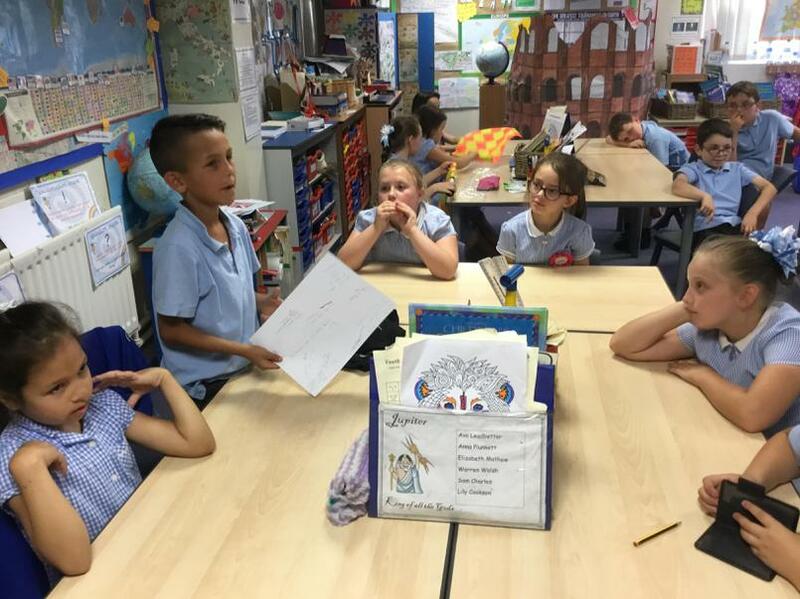 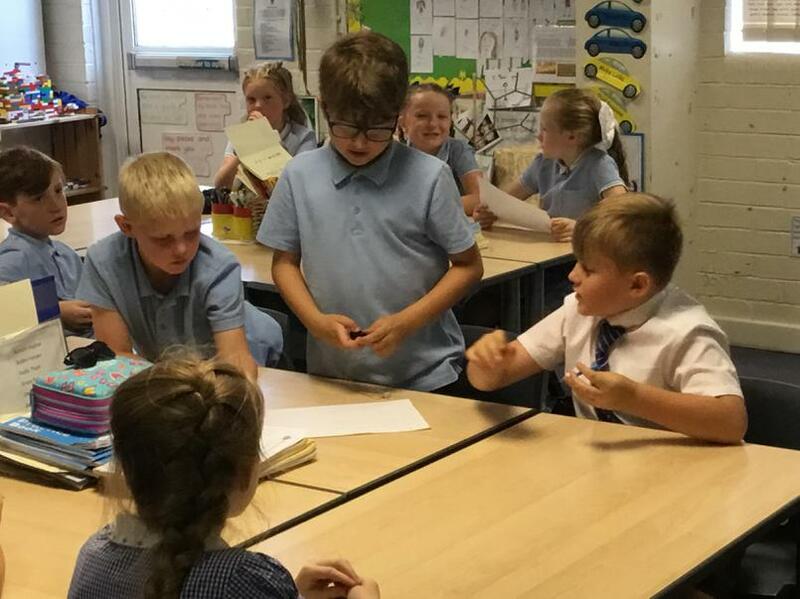 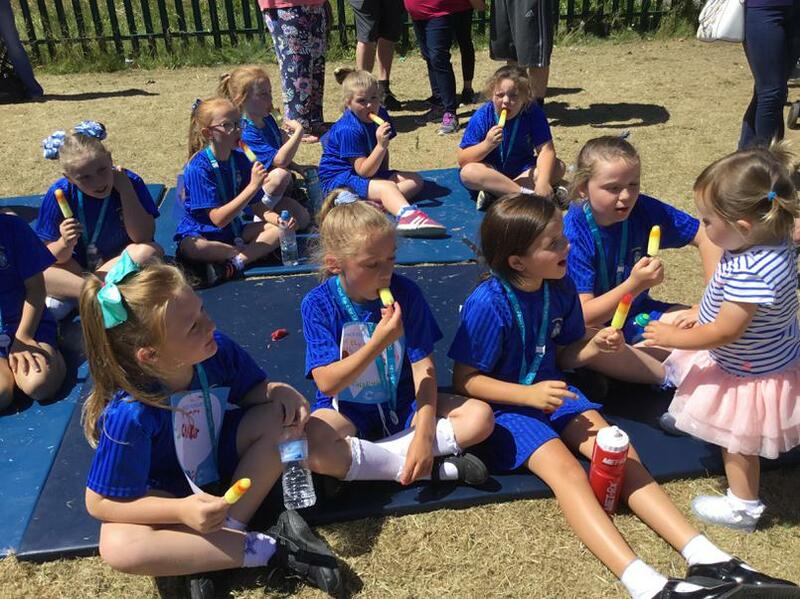 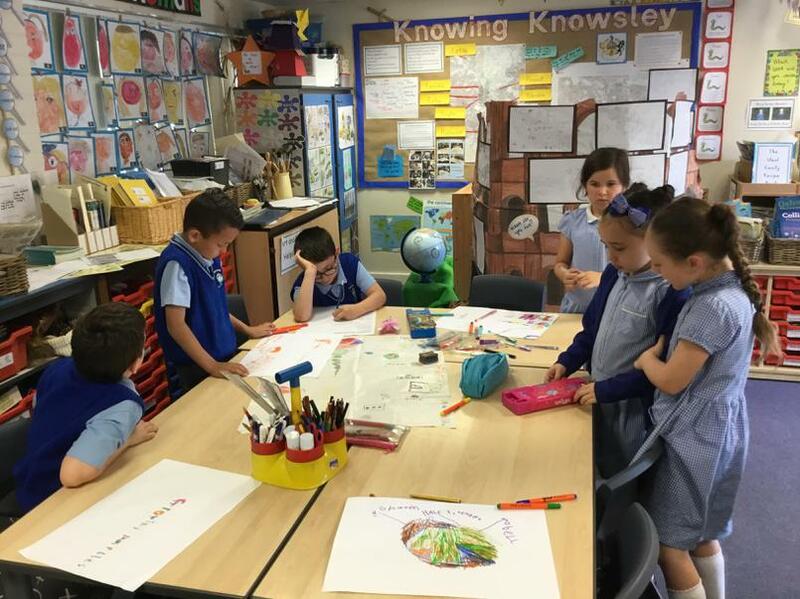 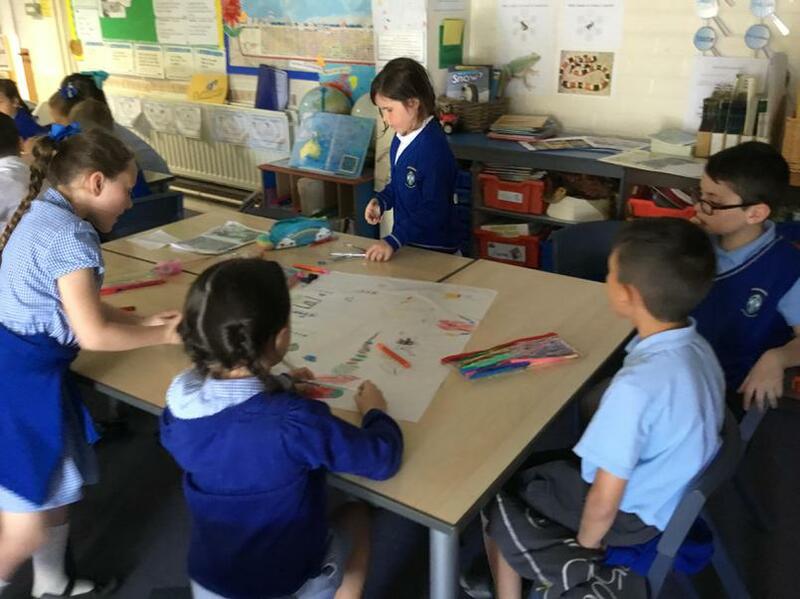 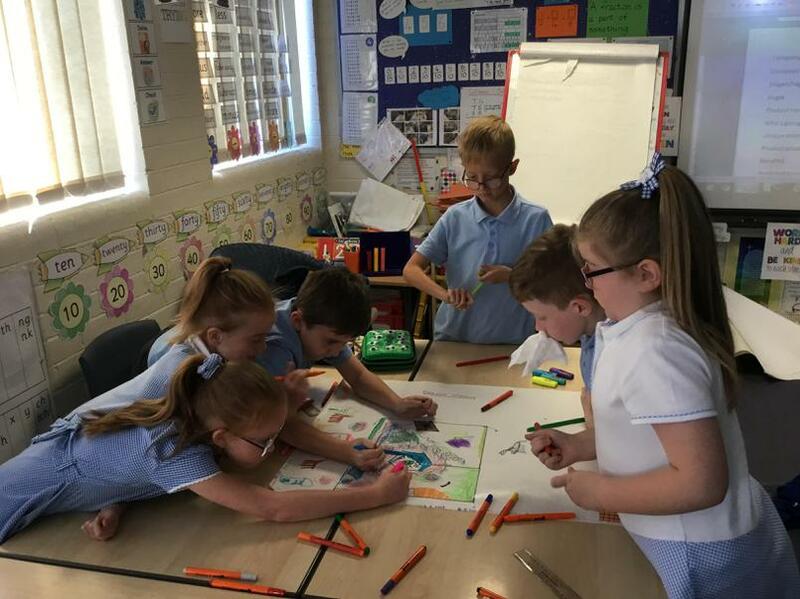 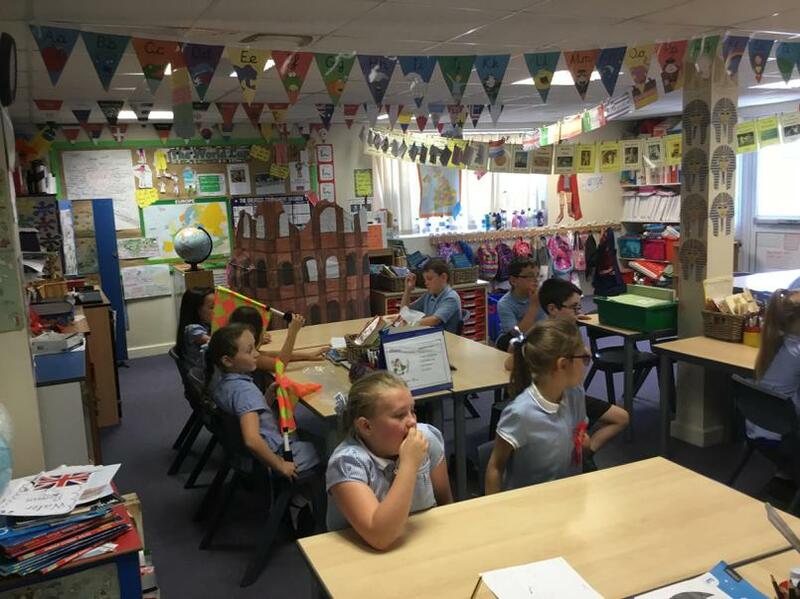 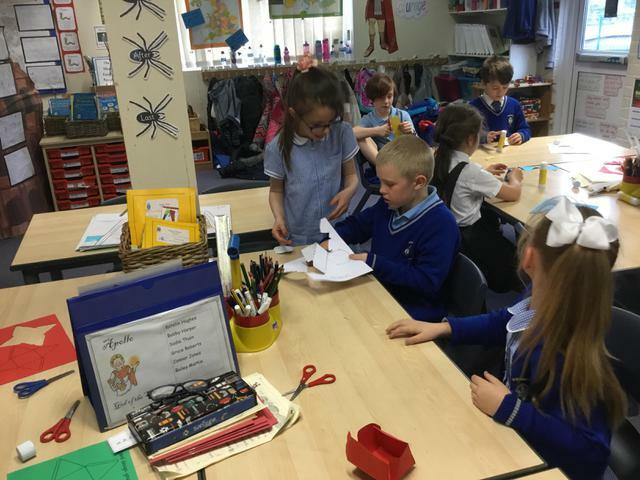 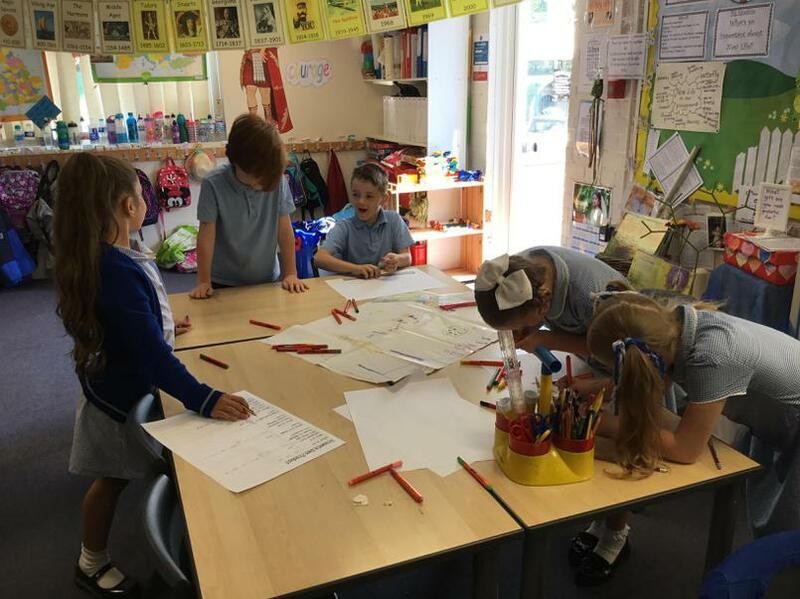 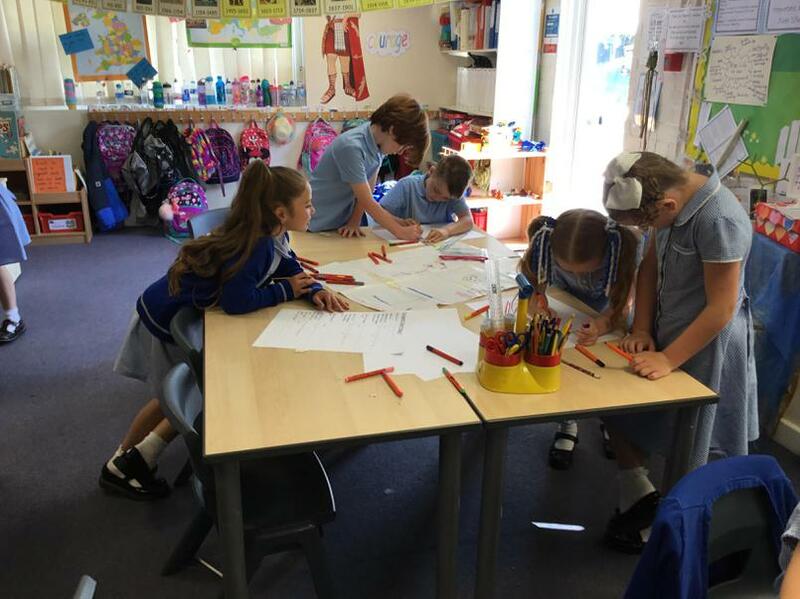 The children had to design a product and think carefully how to market it to a panel who would decide whether to invest or not in the product. 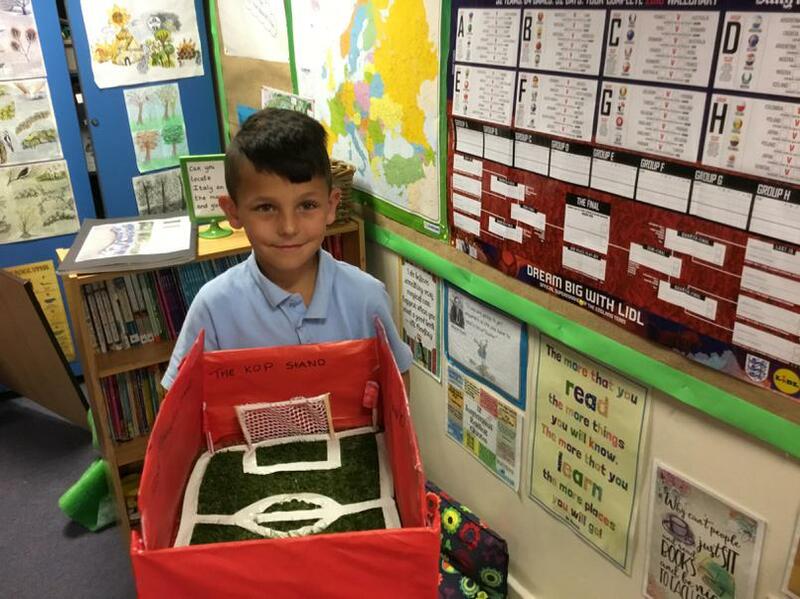 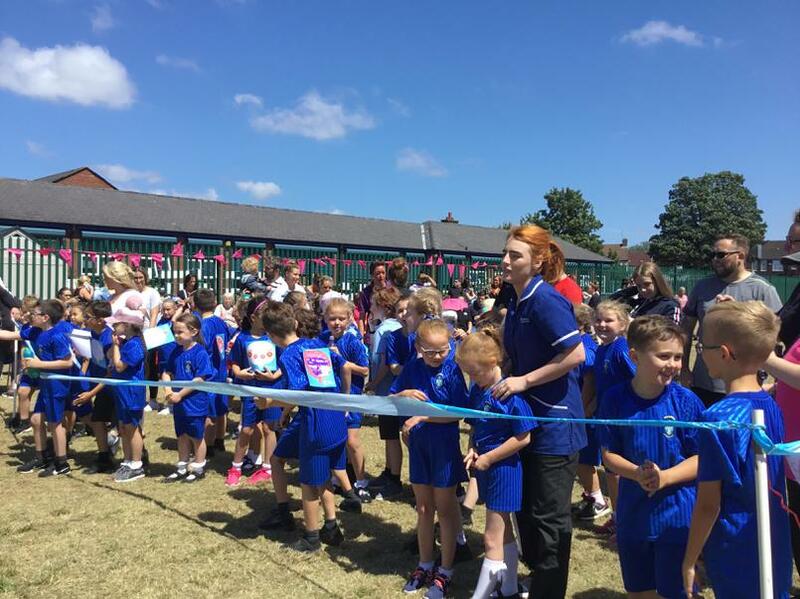 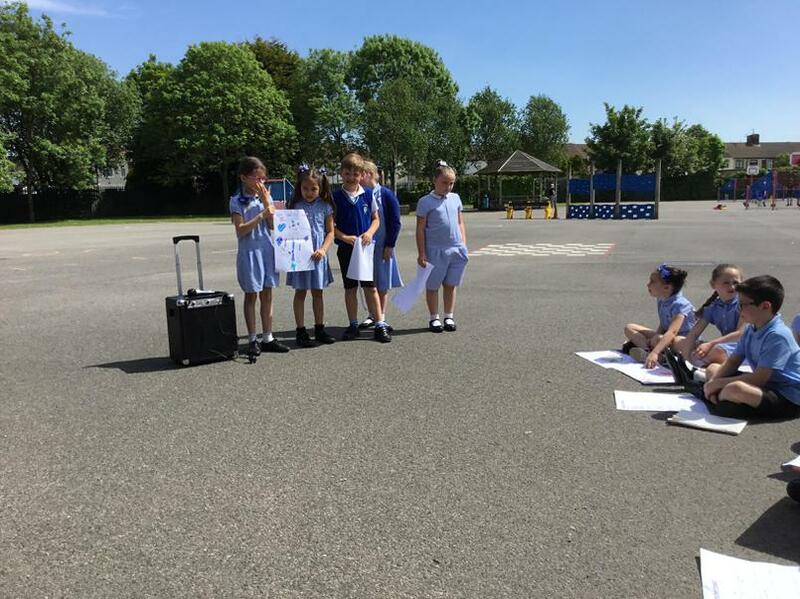 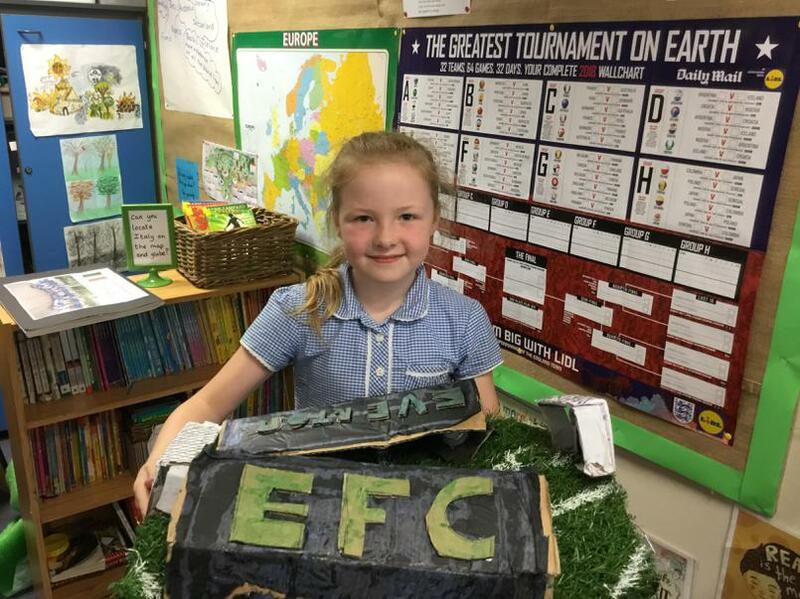 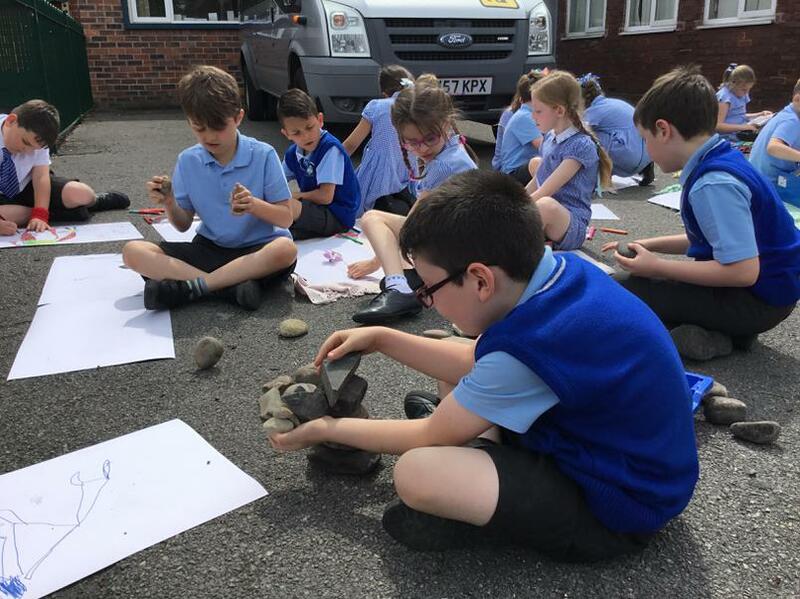 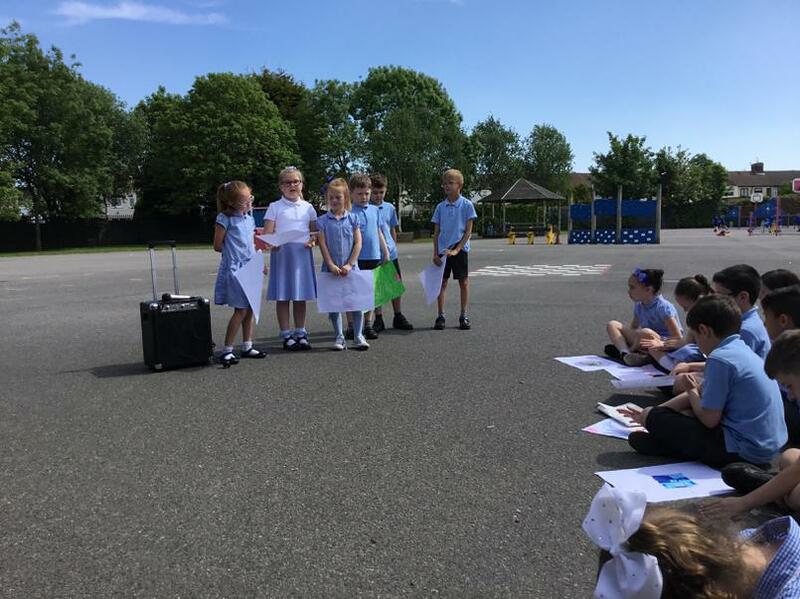 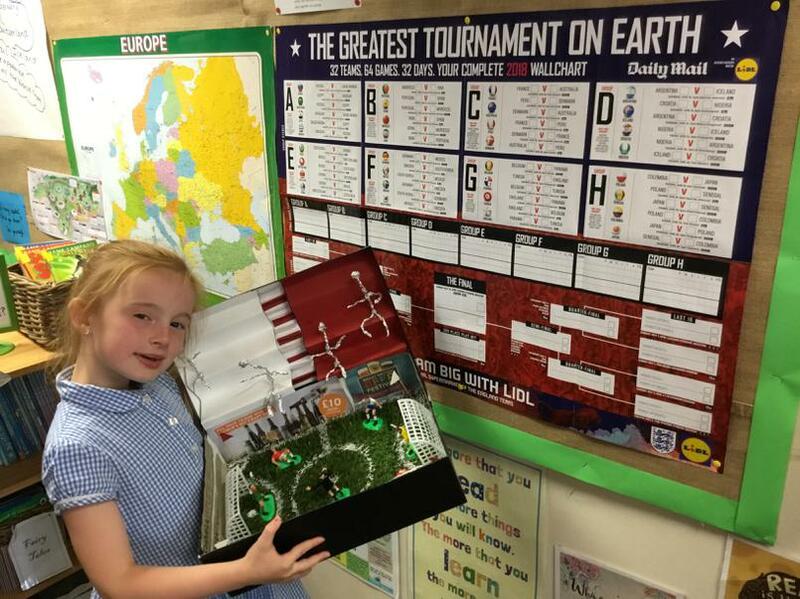 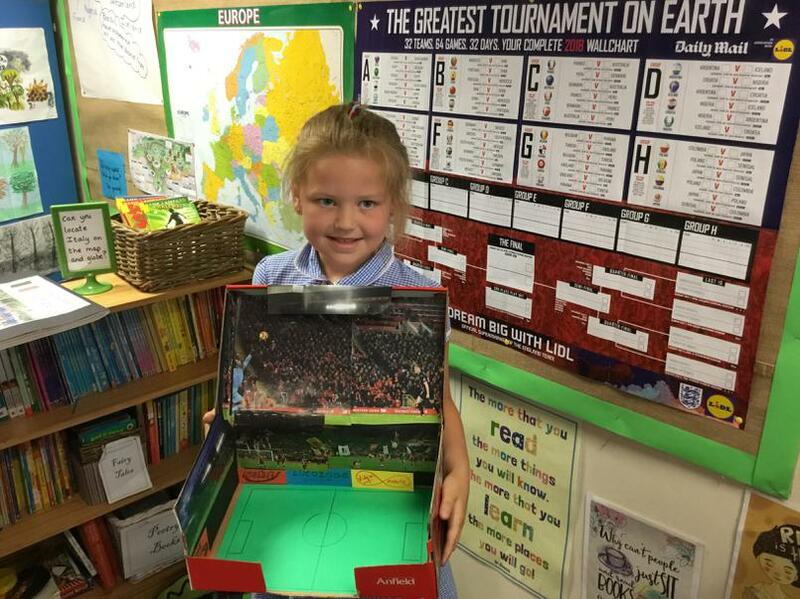 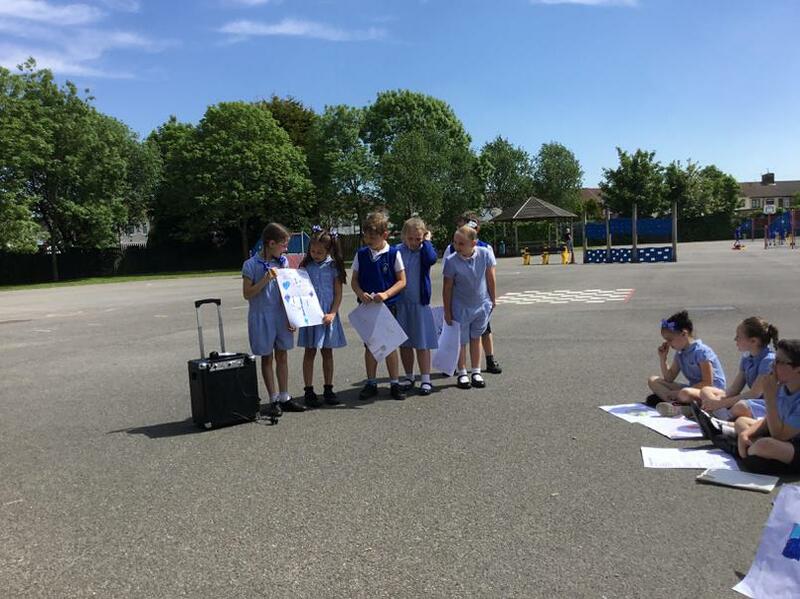 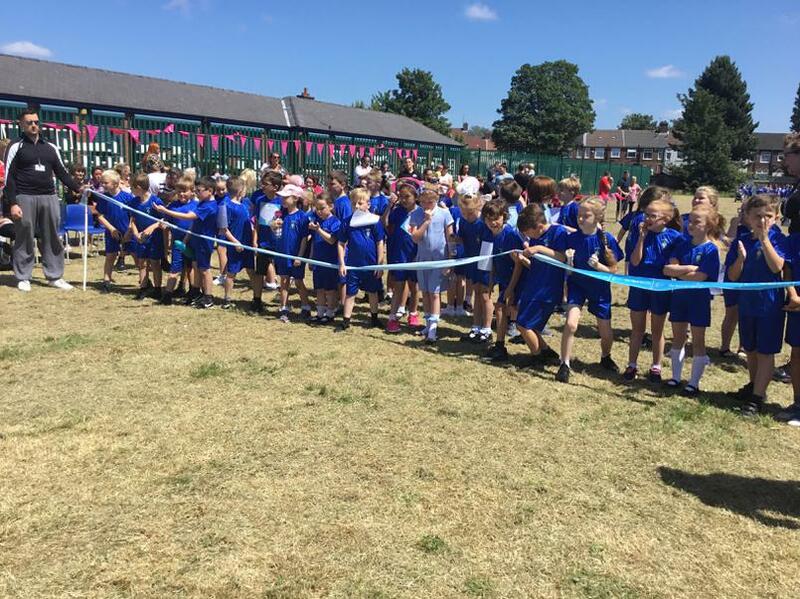 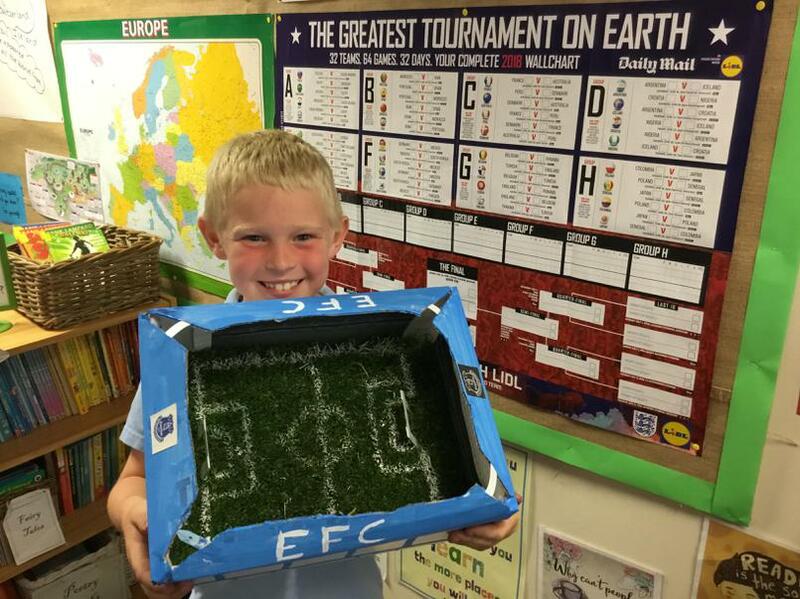 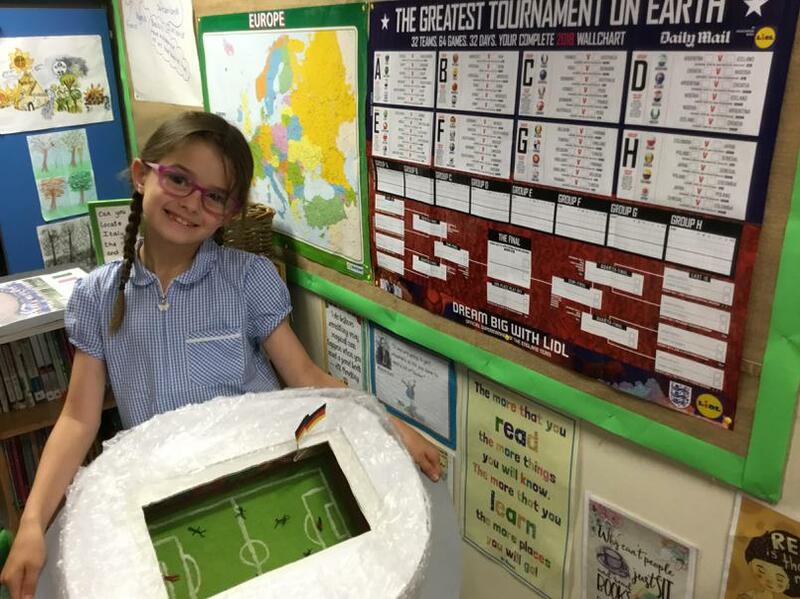 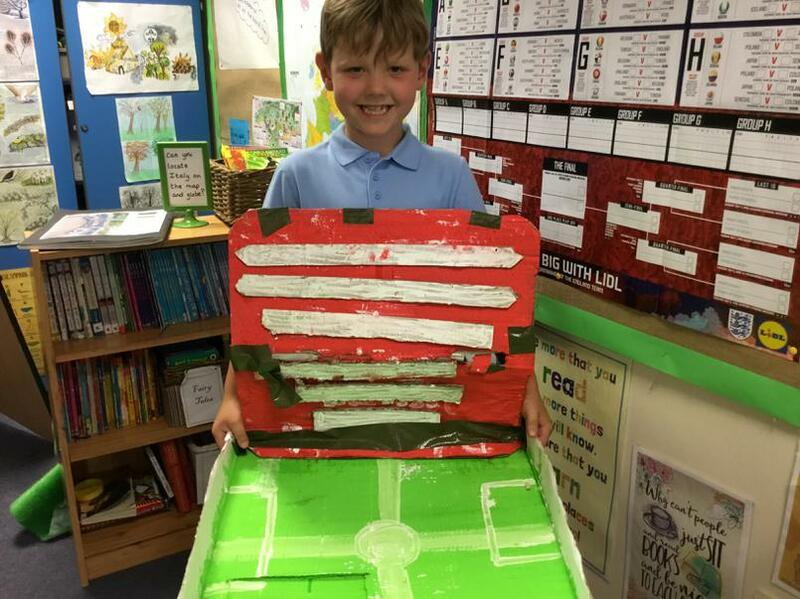 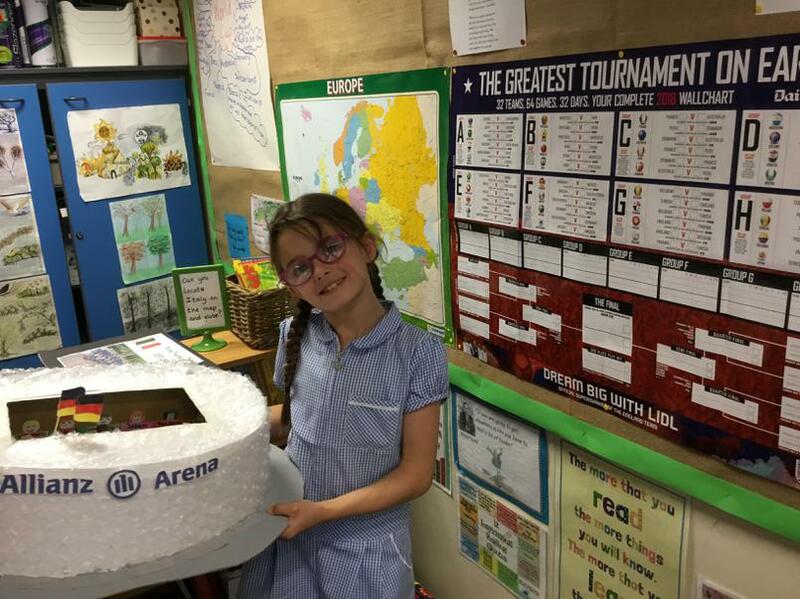 Jupiter designed a Wishing Well, Diana designed Growing Marbles, Apollo designed a Bouncy Castle on a car, Neptune designed Space Boots and Venus designed a product involving a football pitch and ponies. 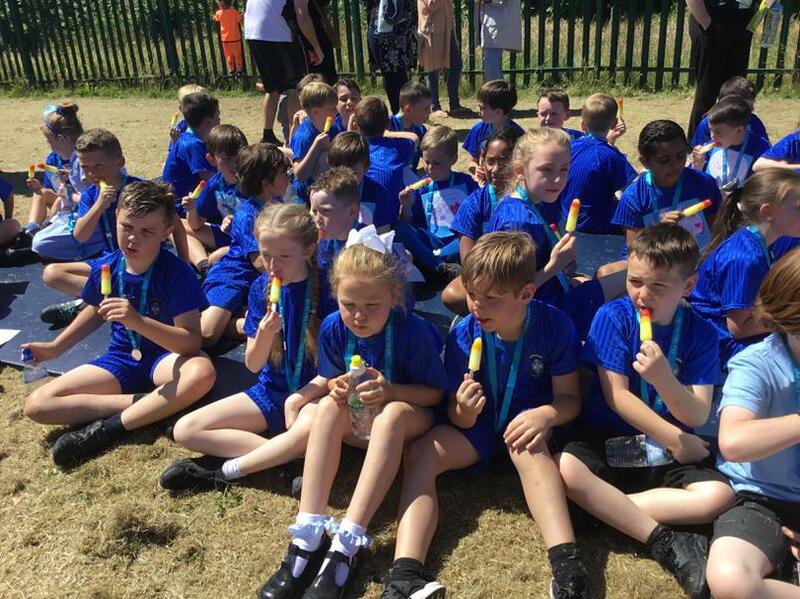 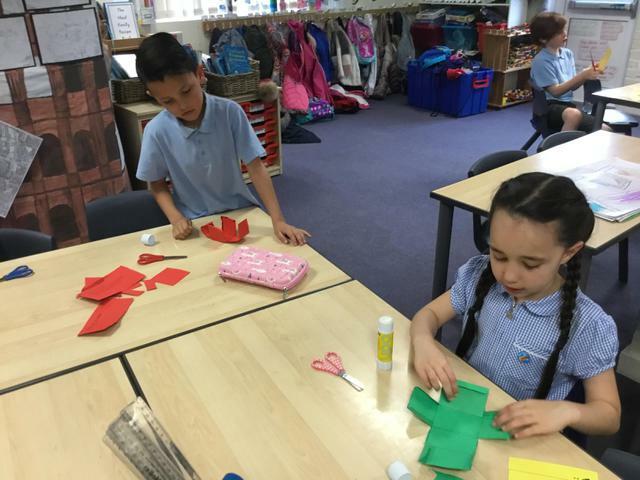 The children worked well together. 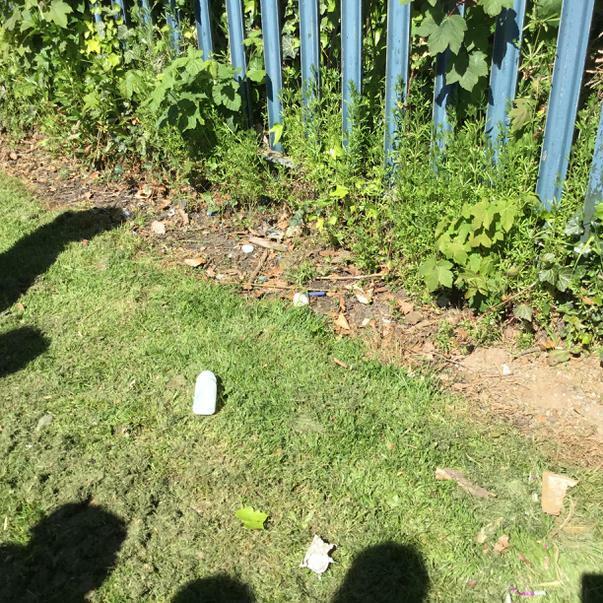 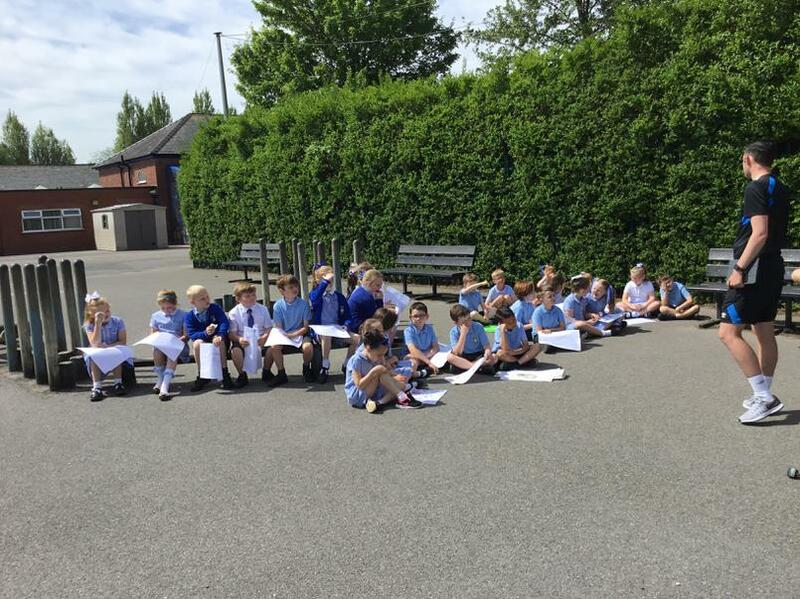 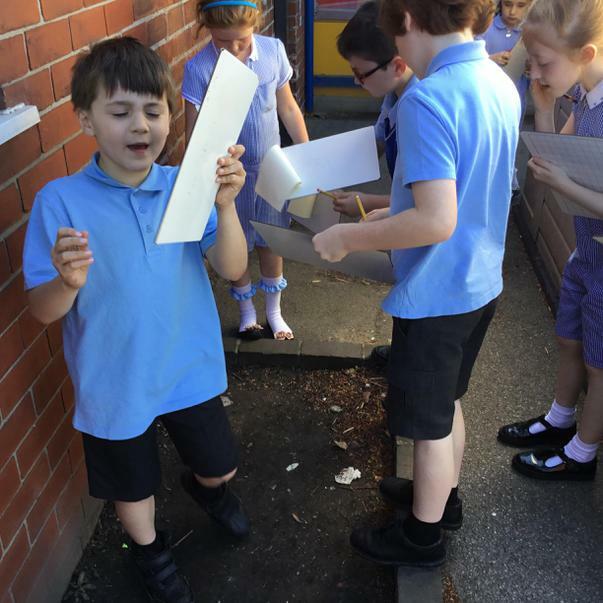 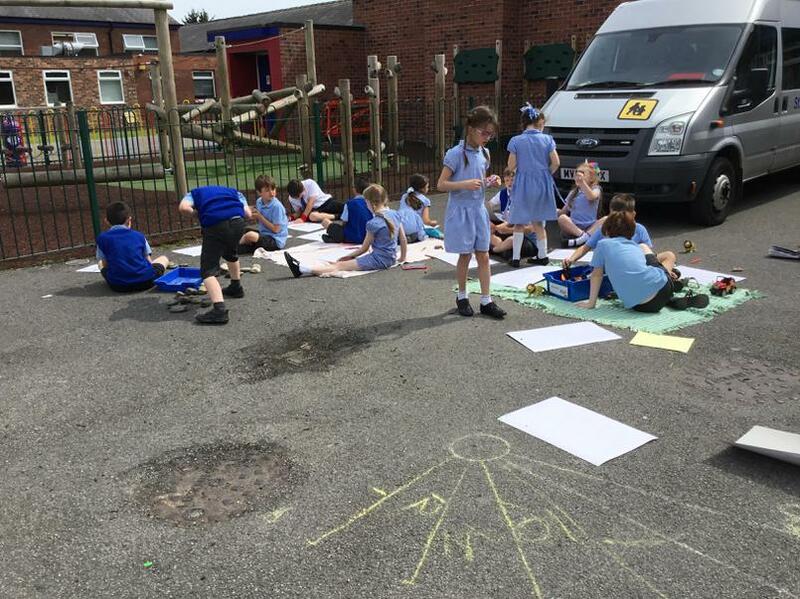 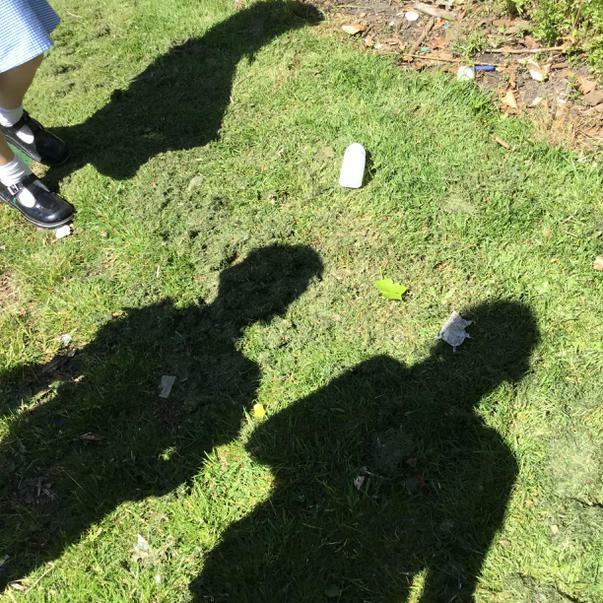 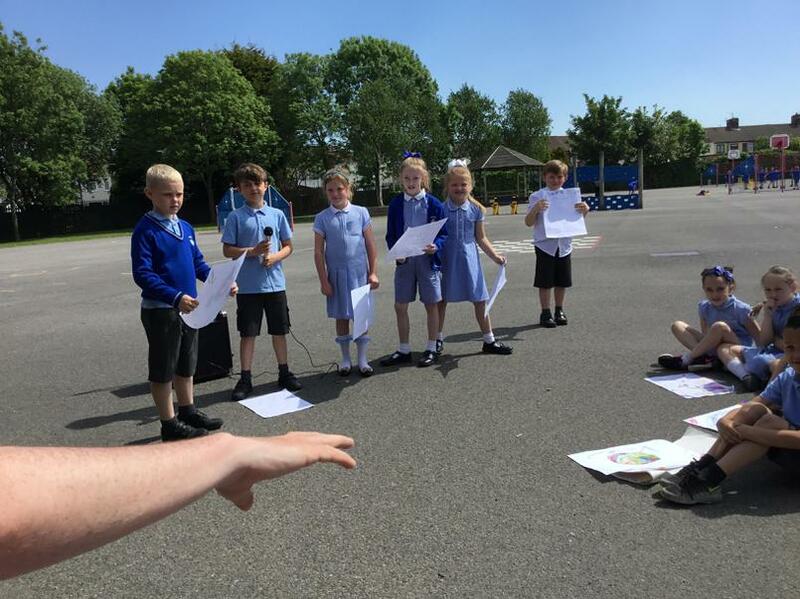 The children looked at the impact of litter on the school environment. 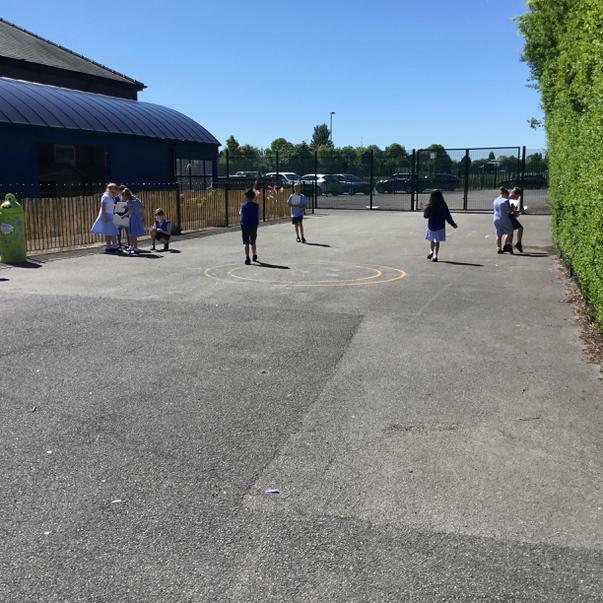 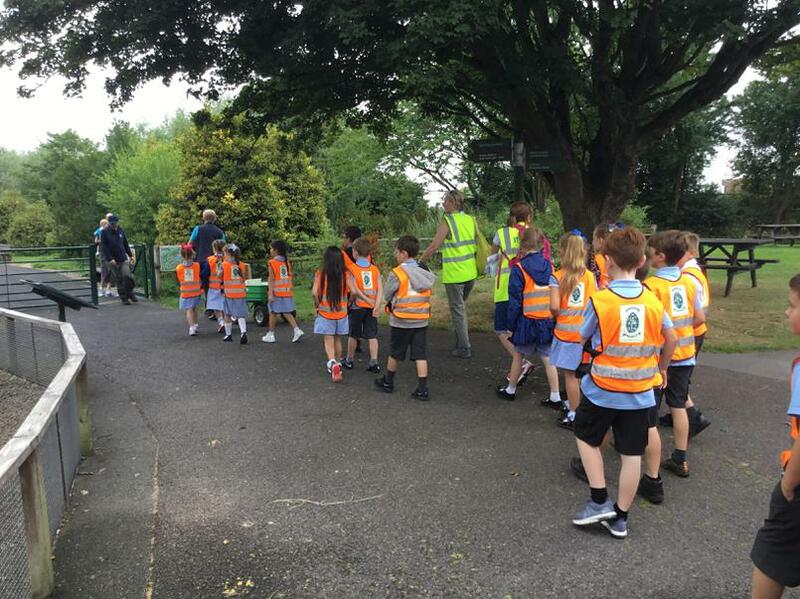 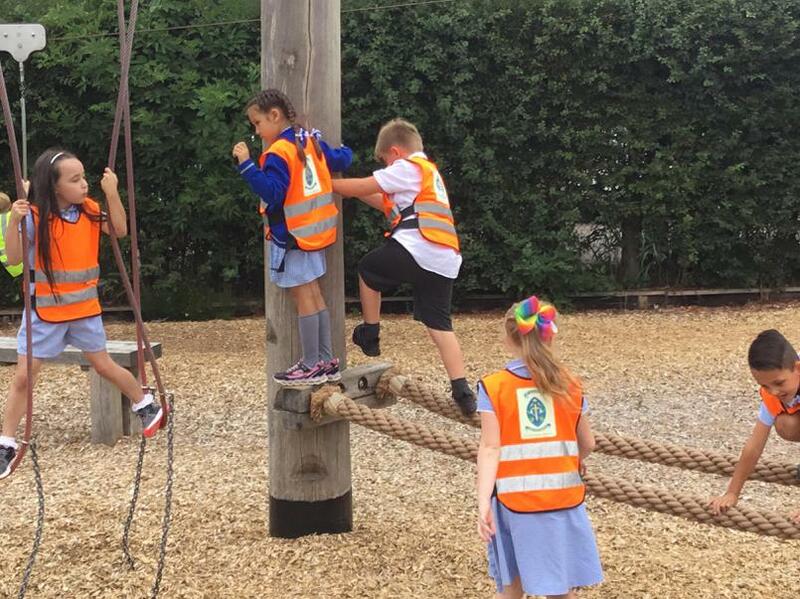 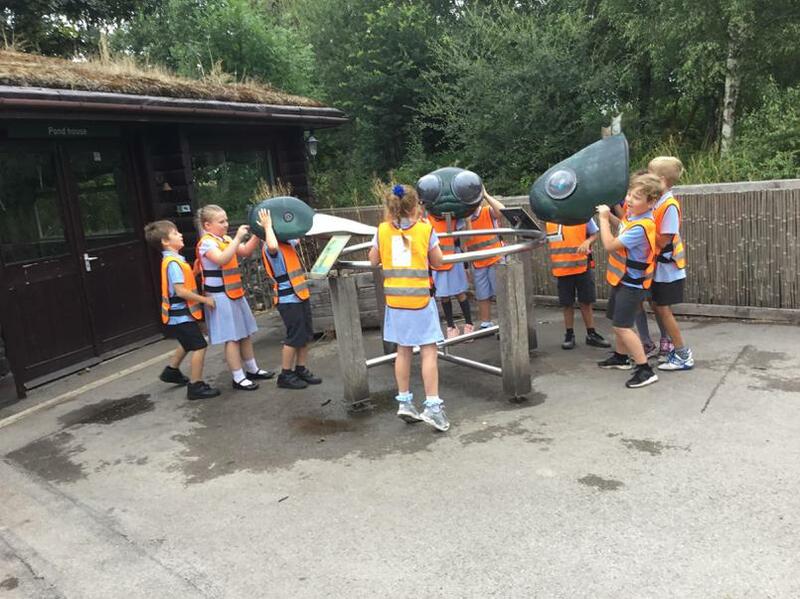 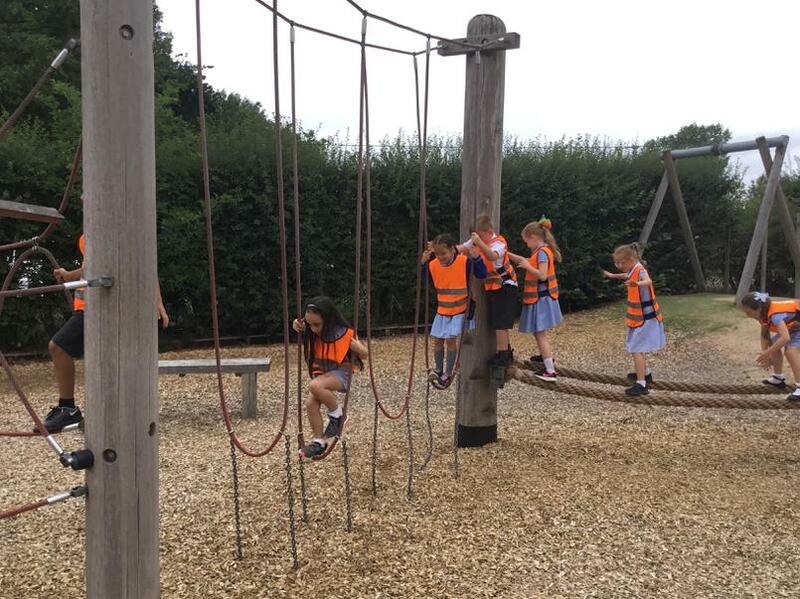 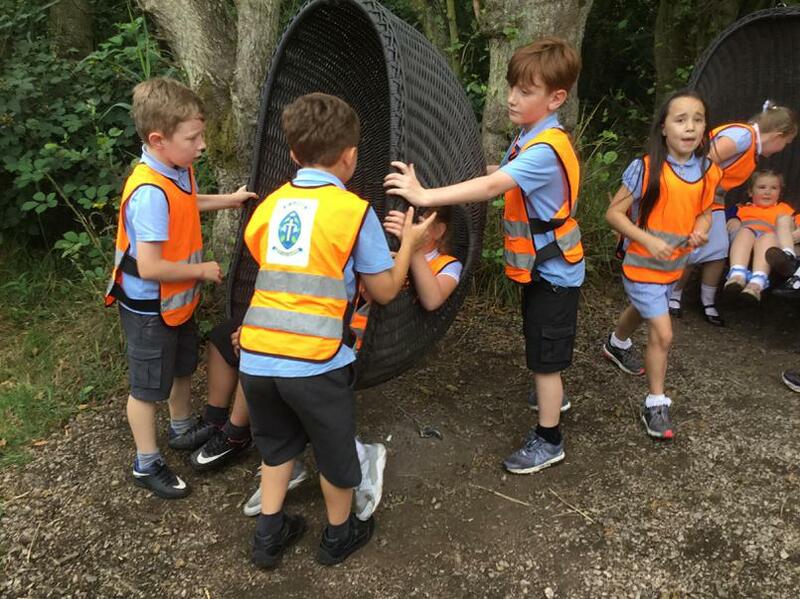 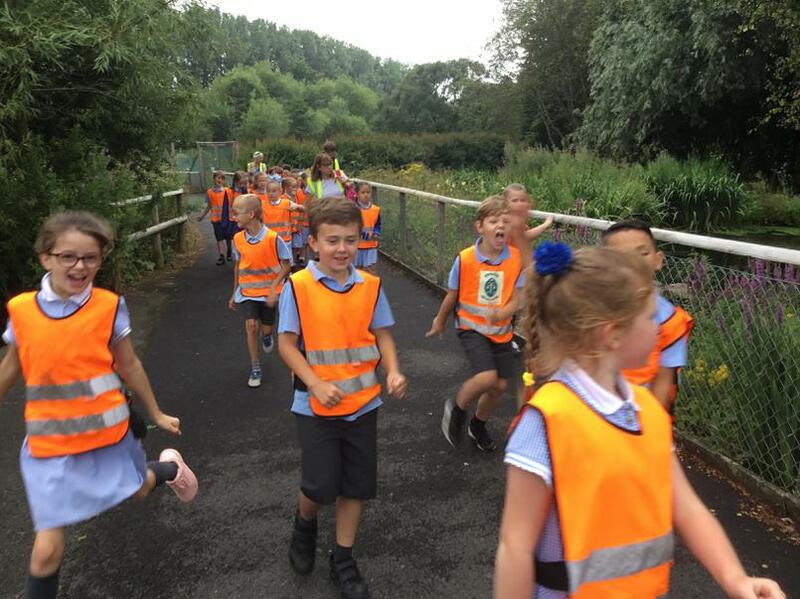 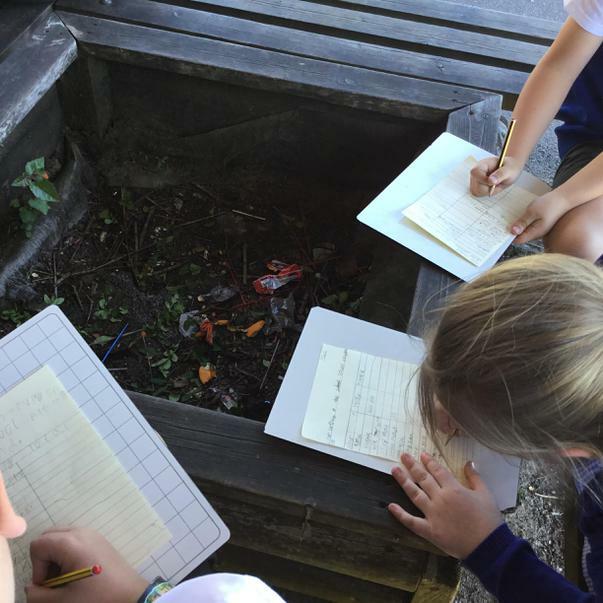 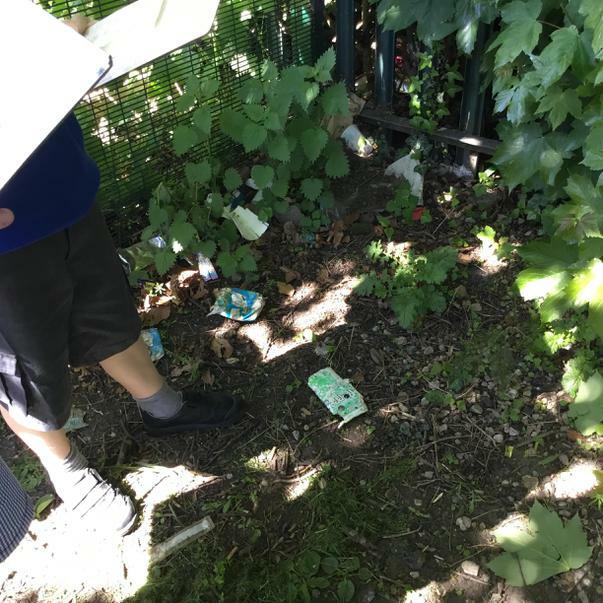 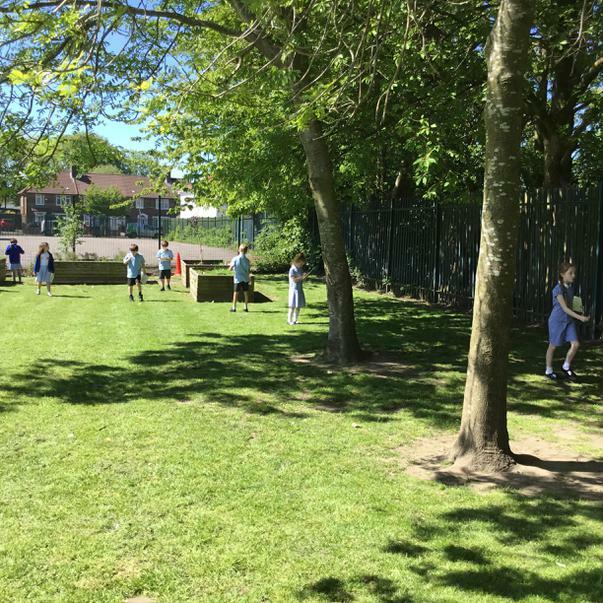 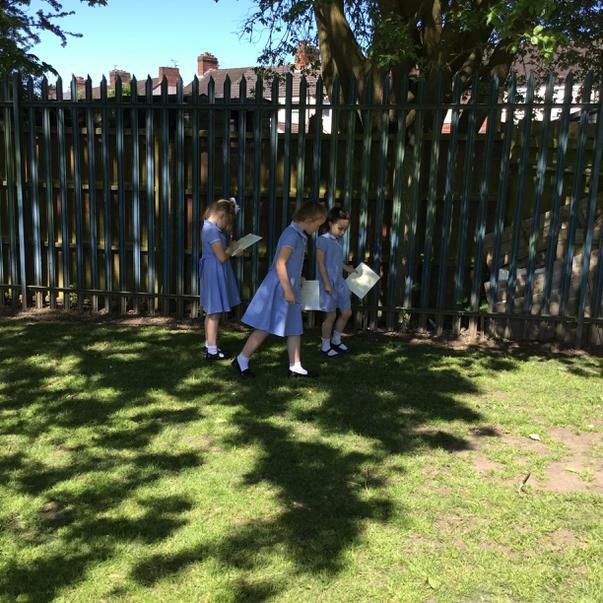 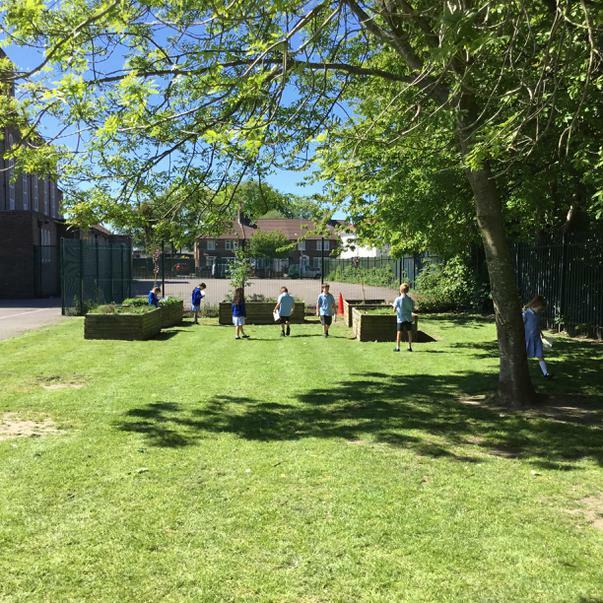 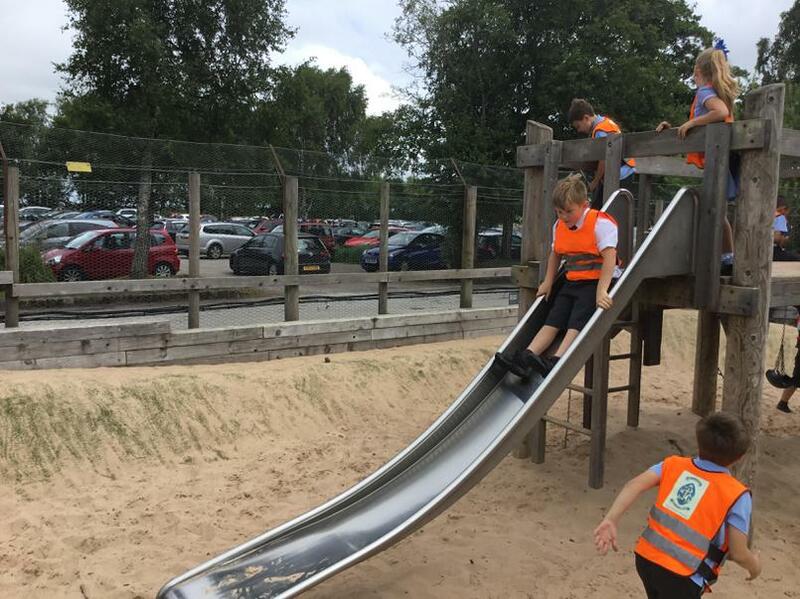 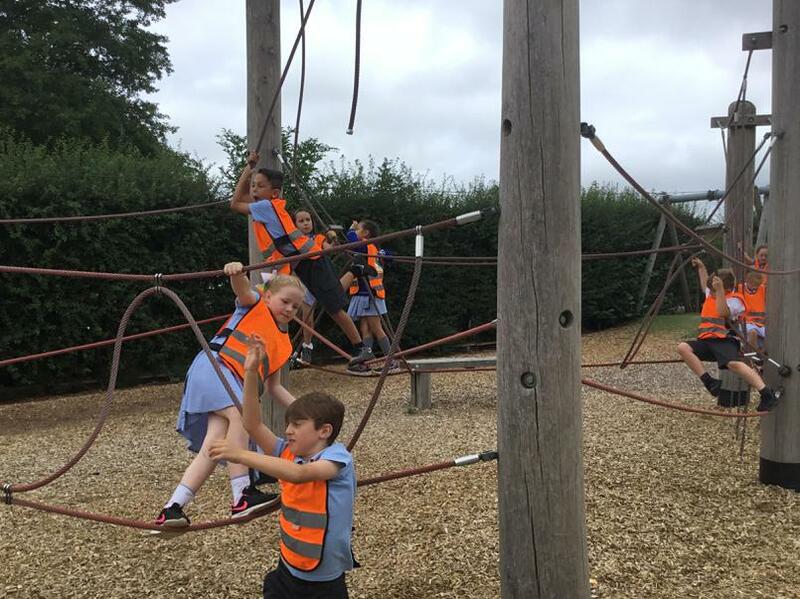 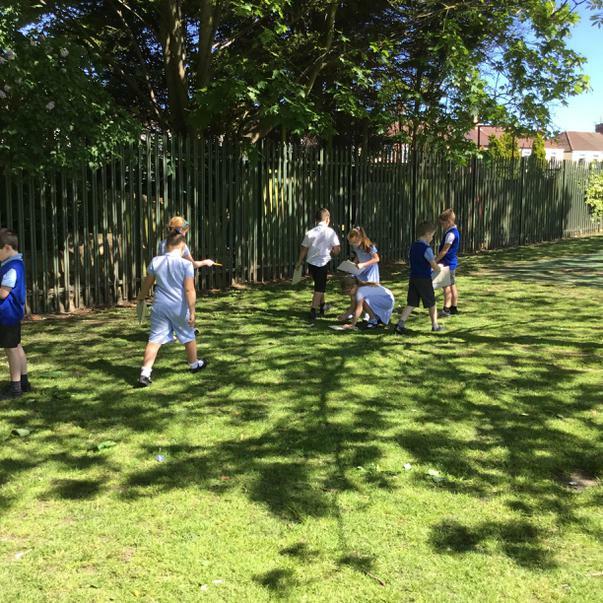 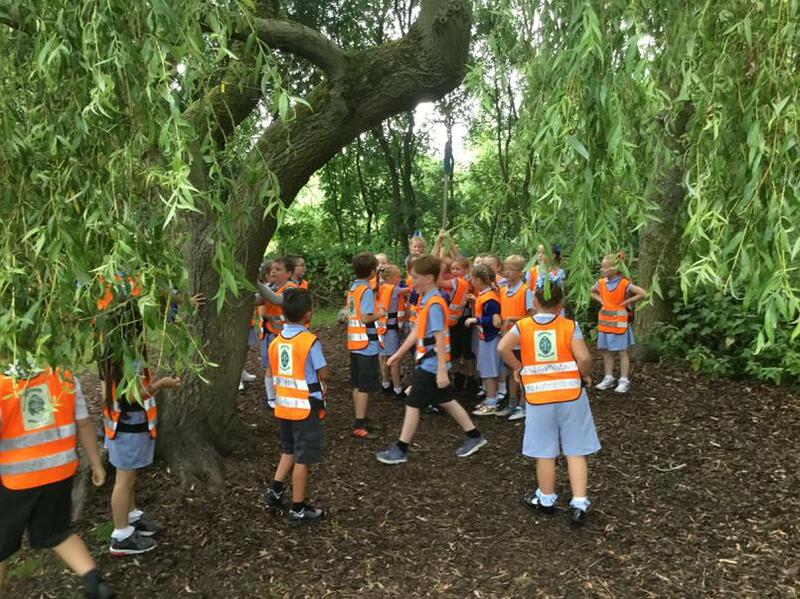 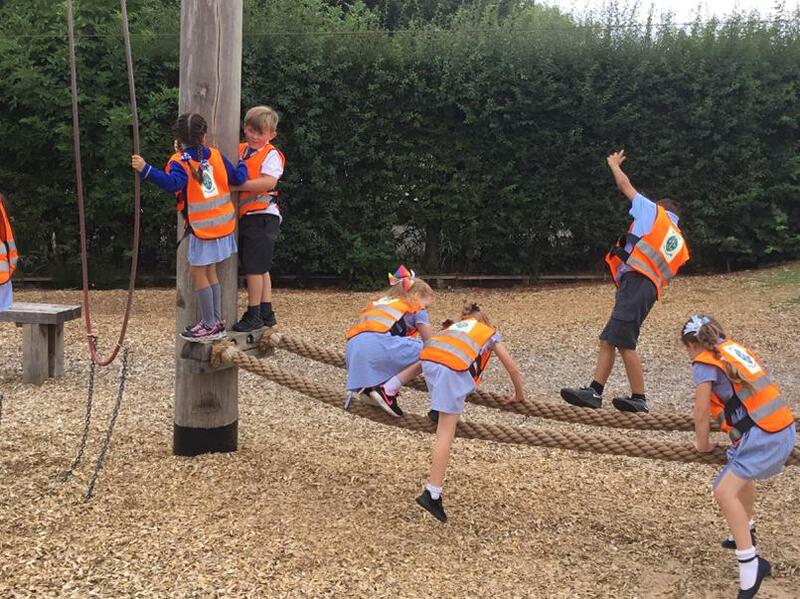 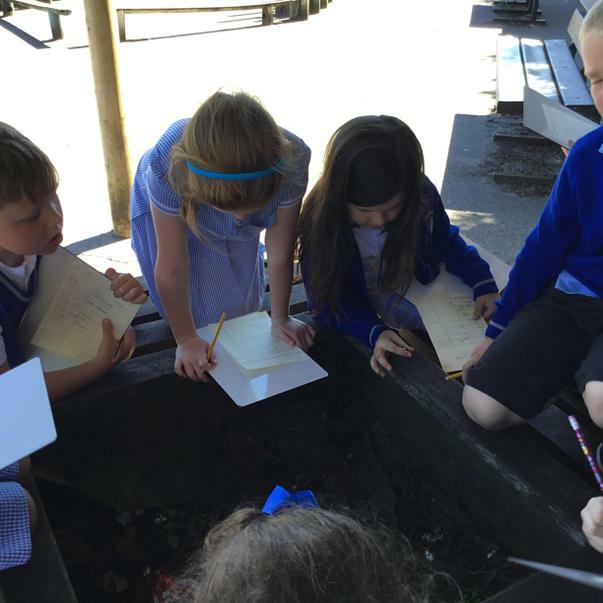 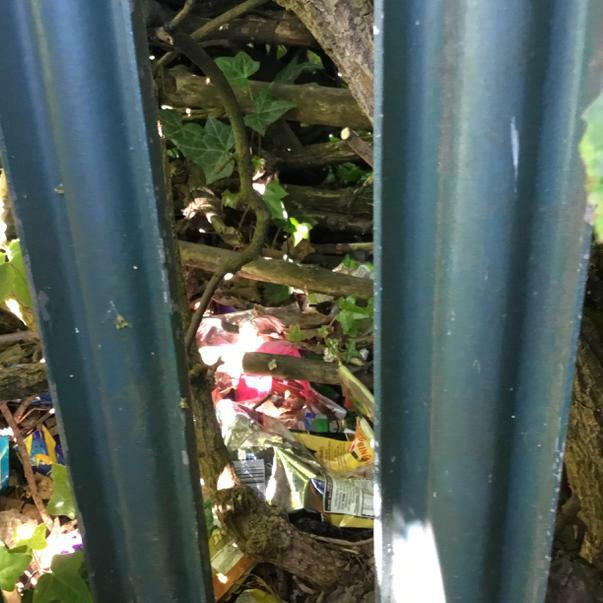 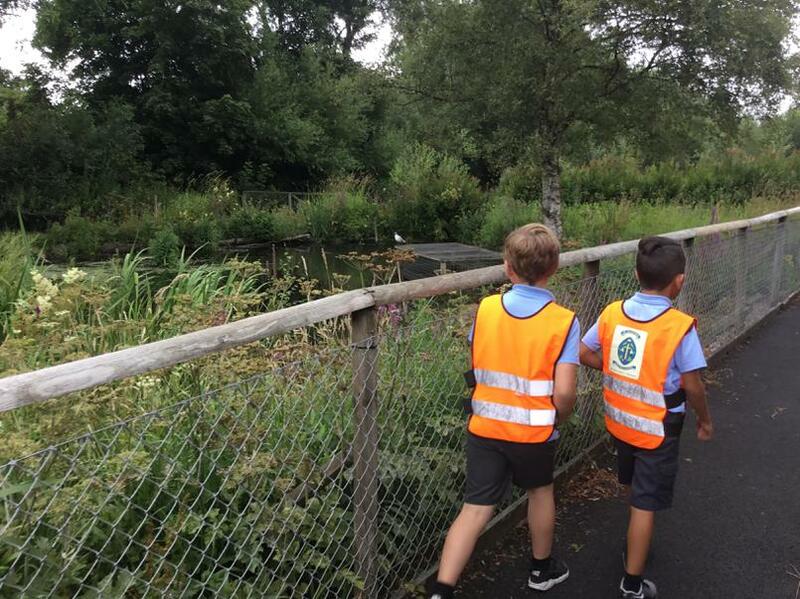 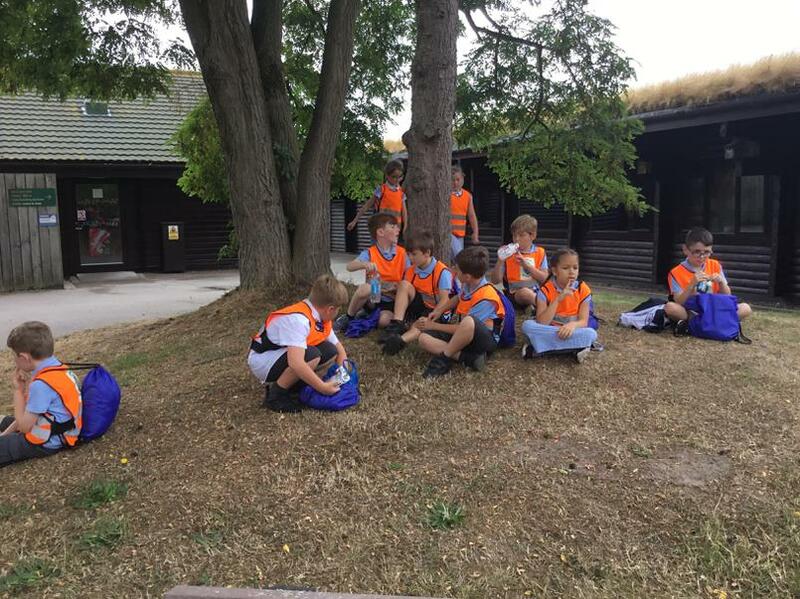 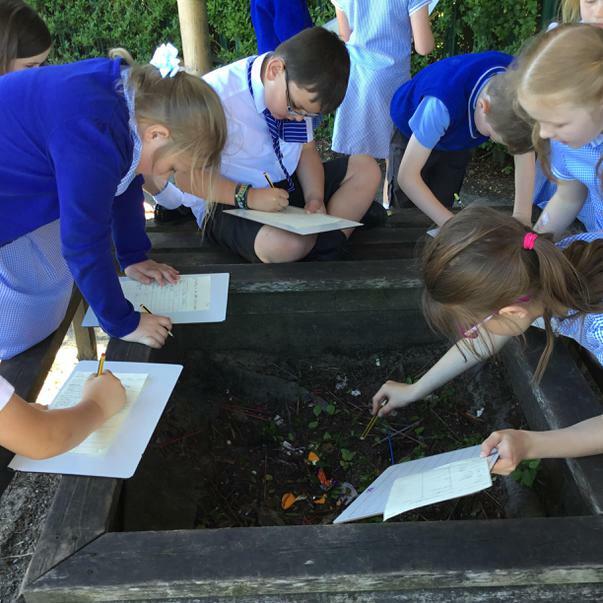 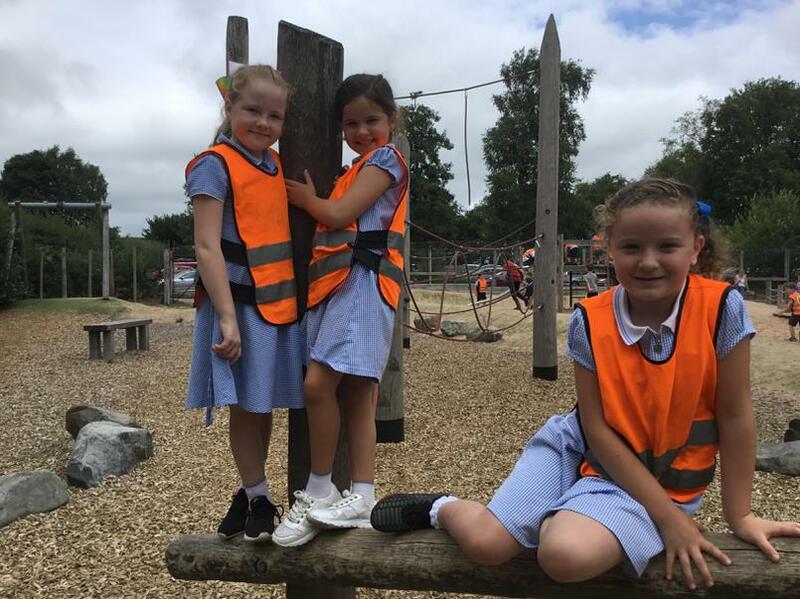 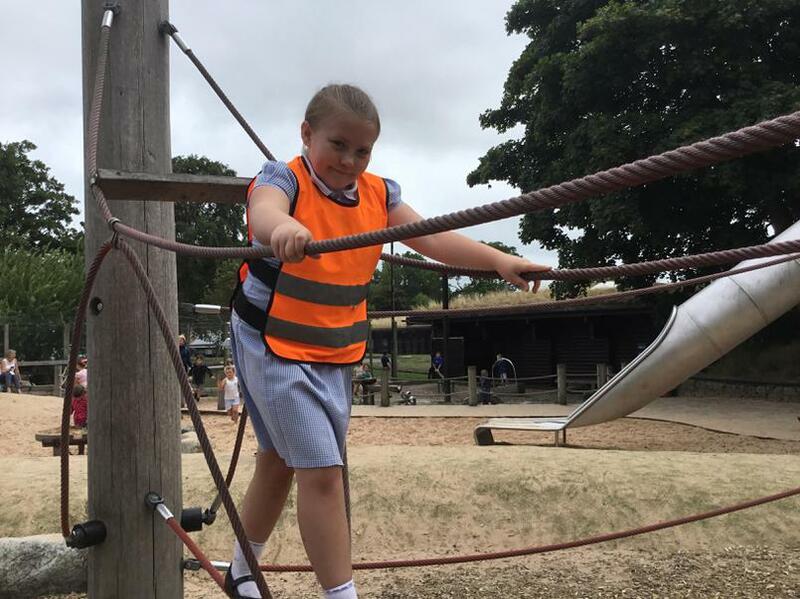 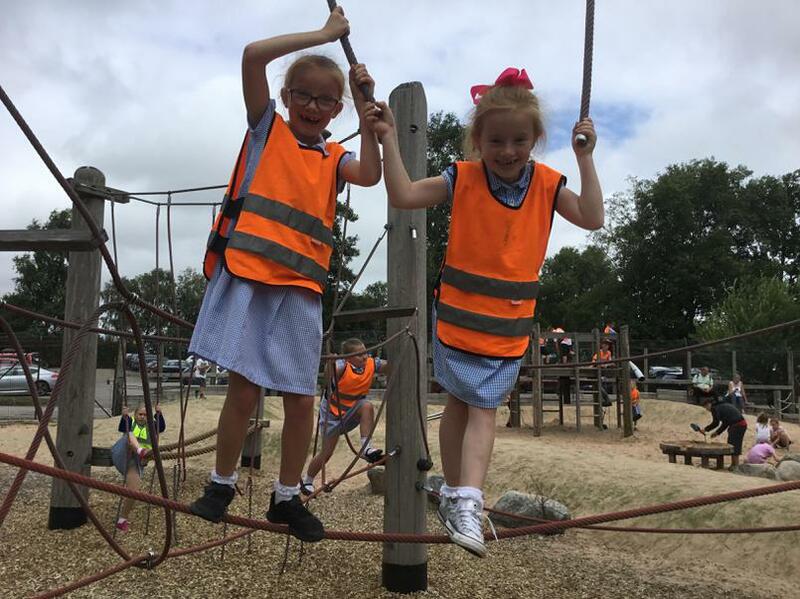 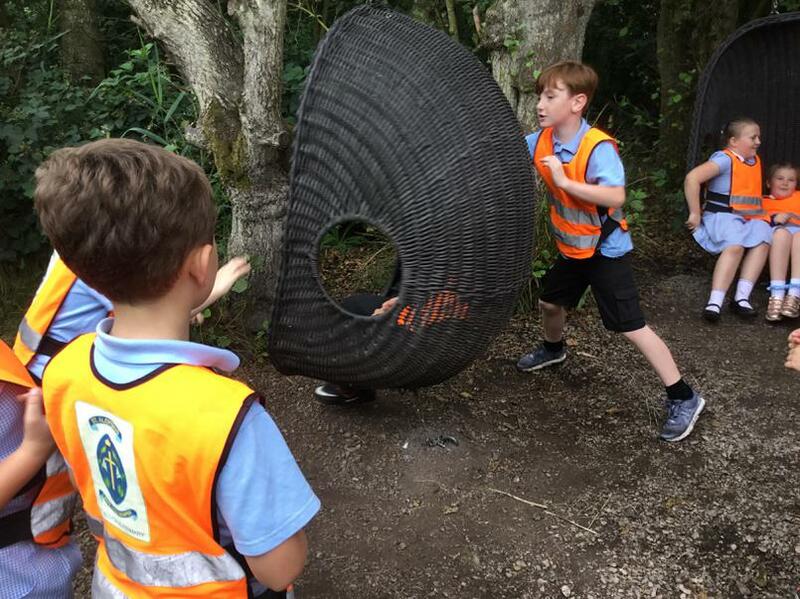 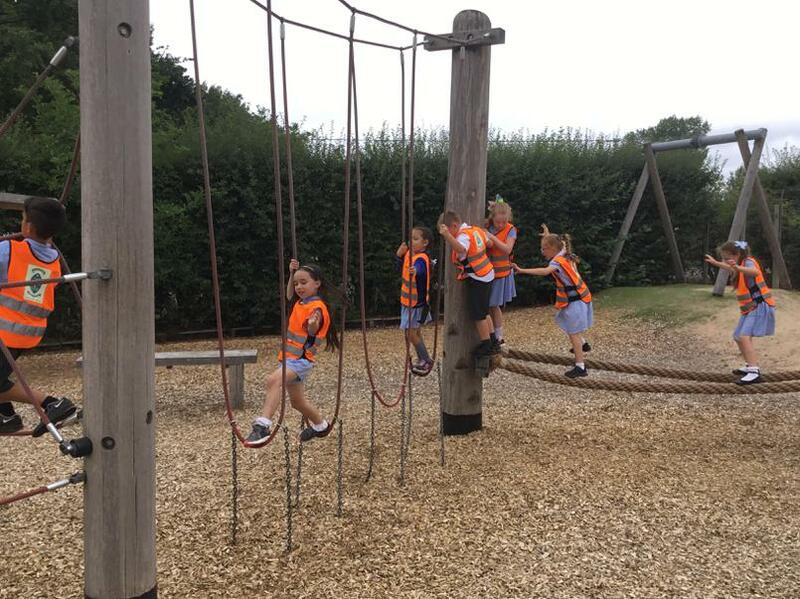 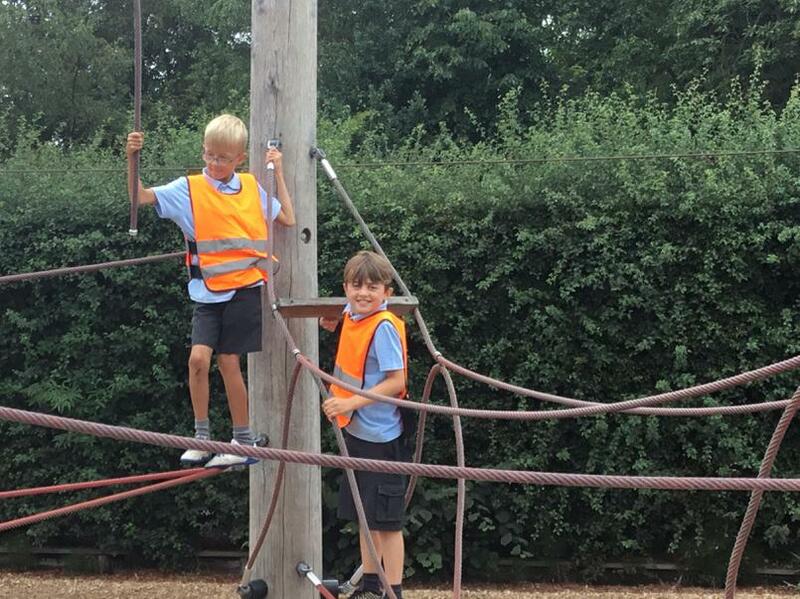 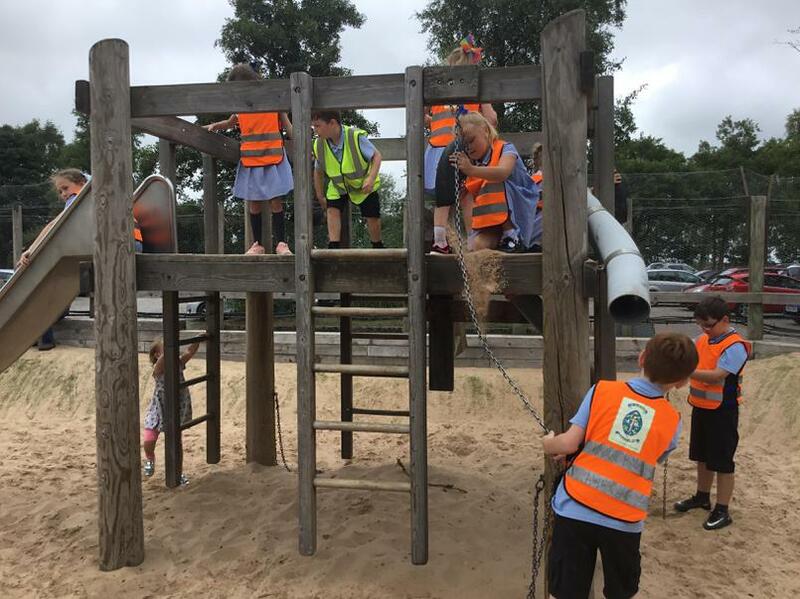 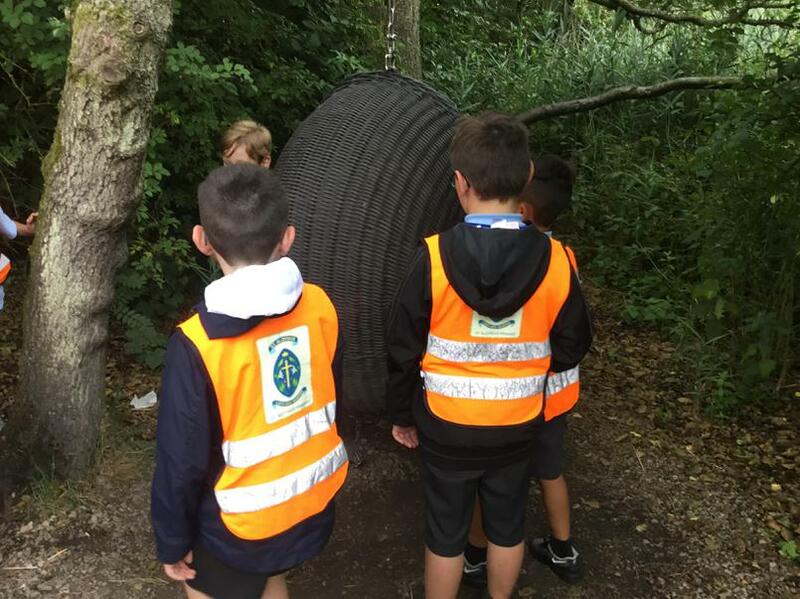 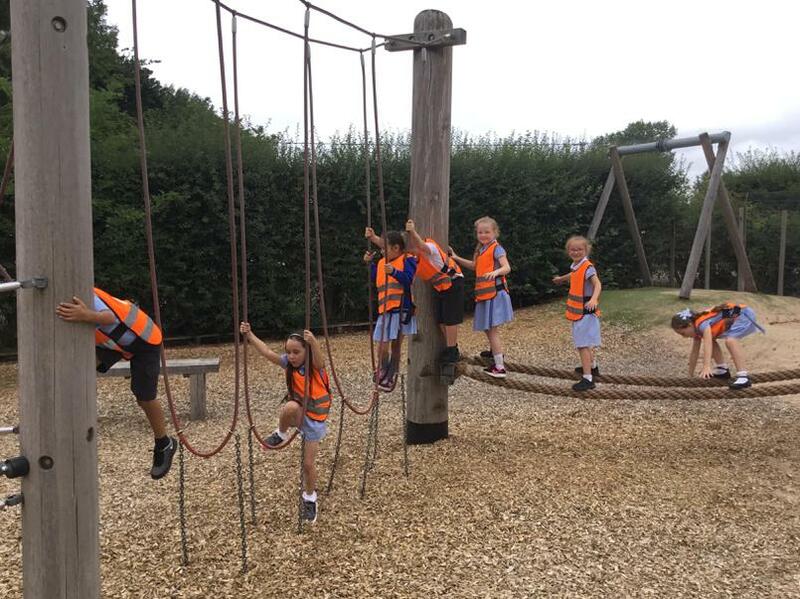 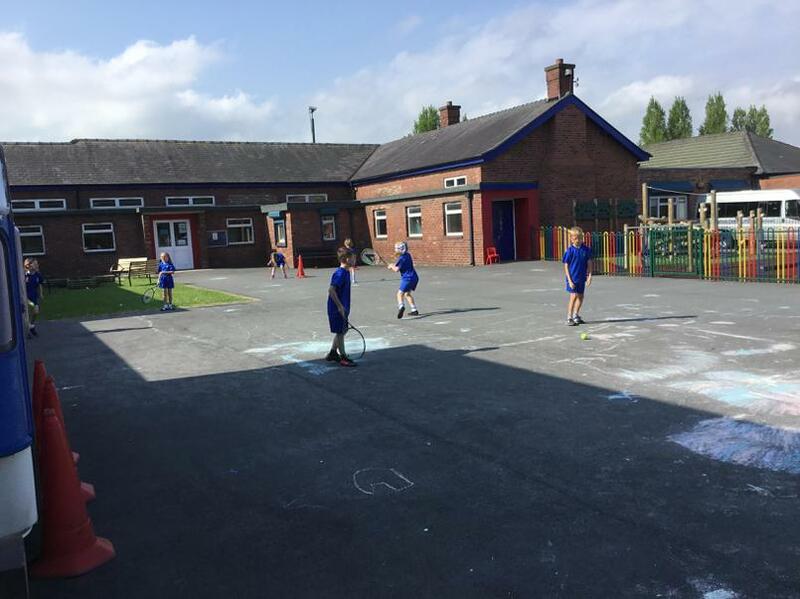 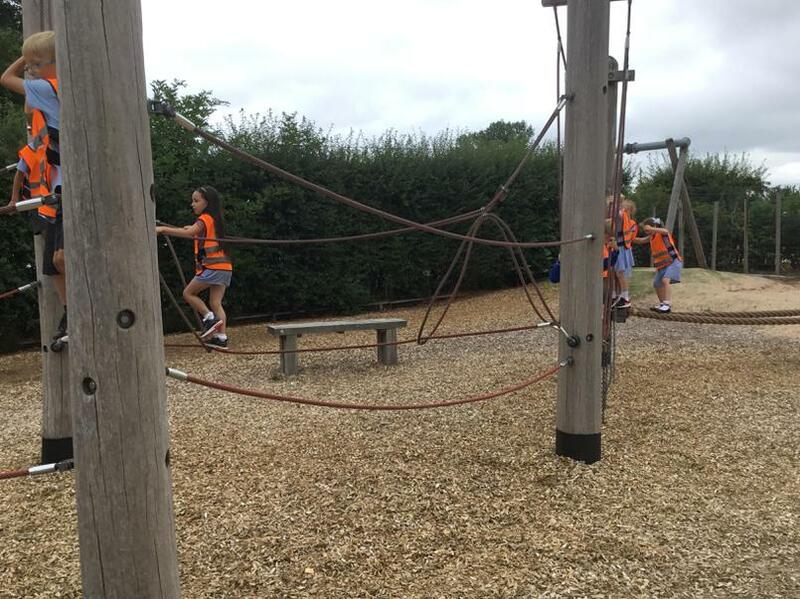 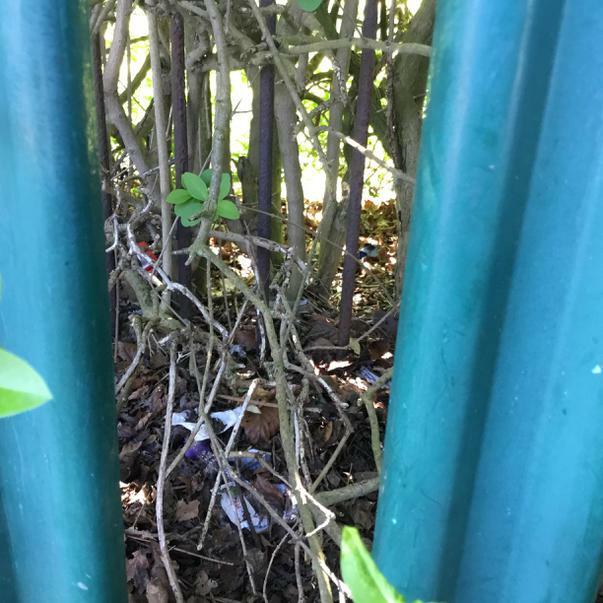 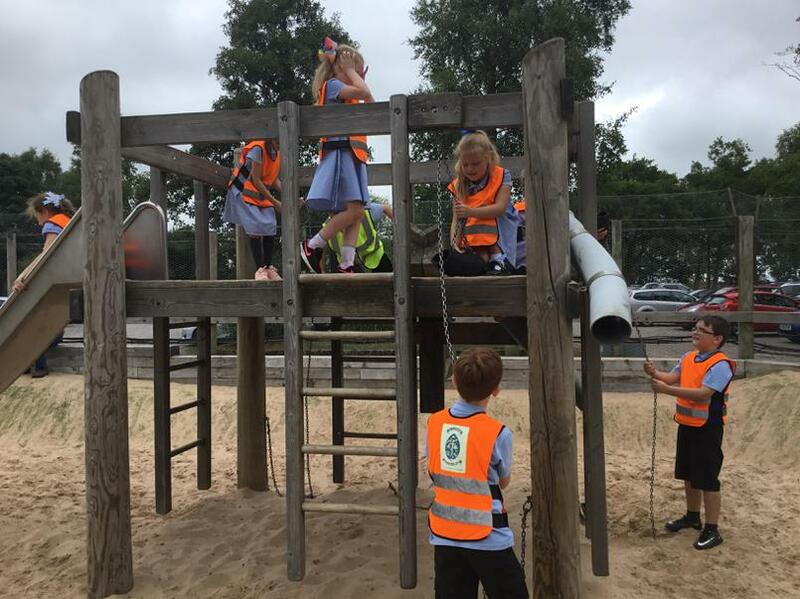 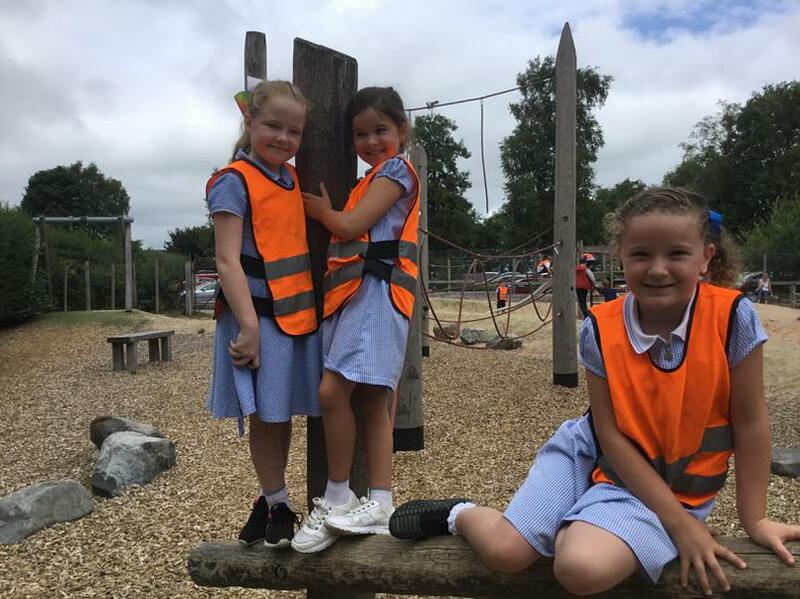 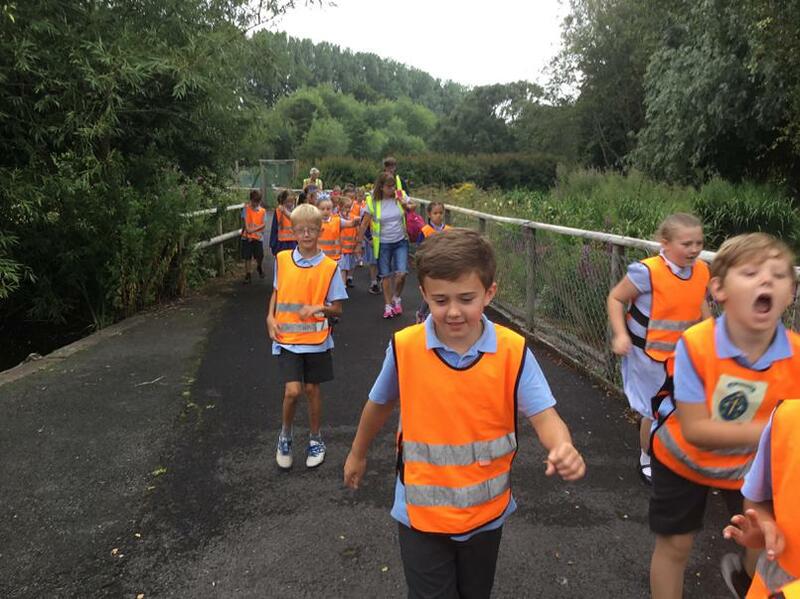 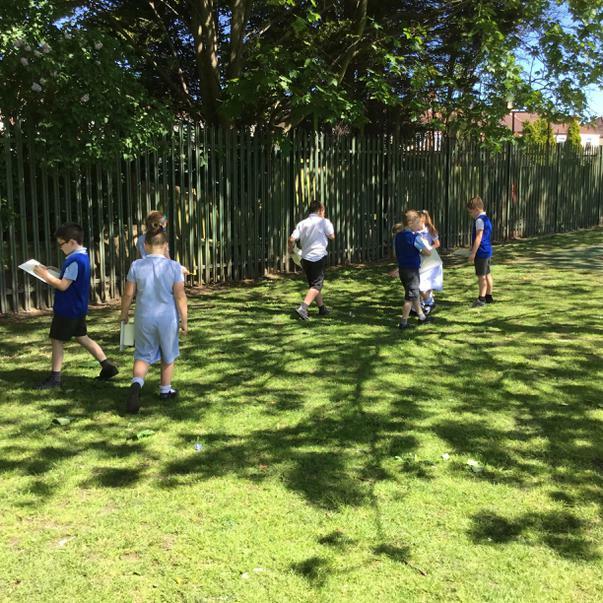 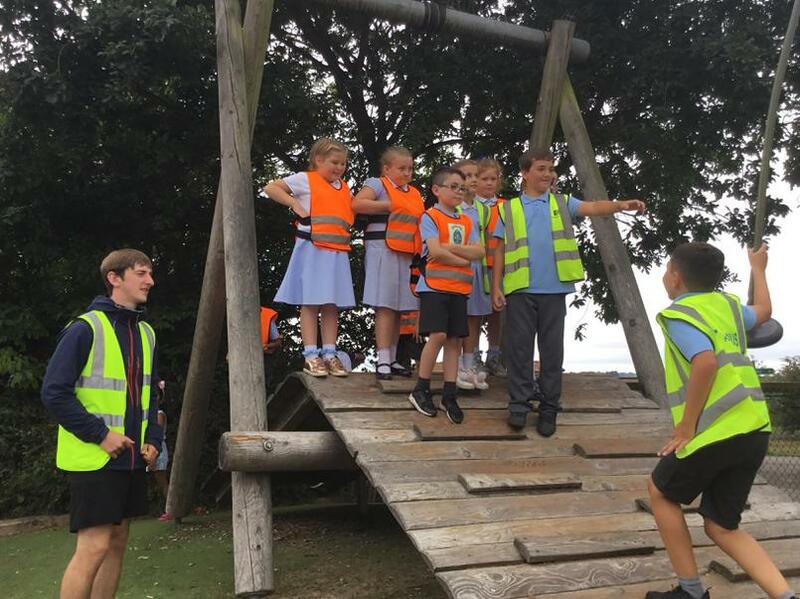 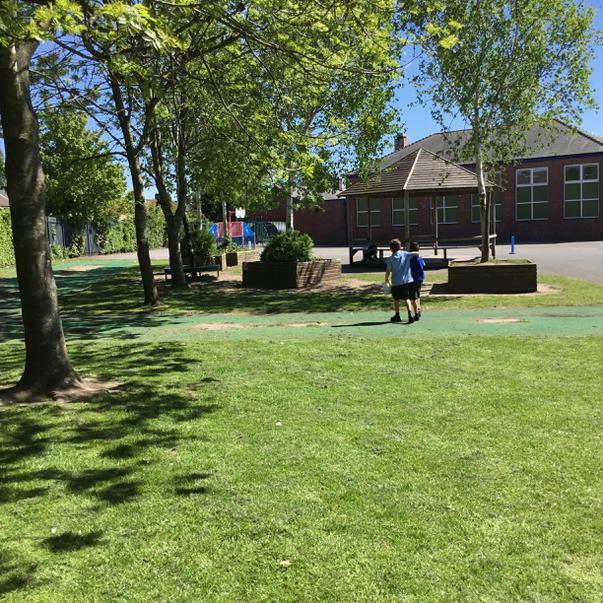 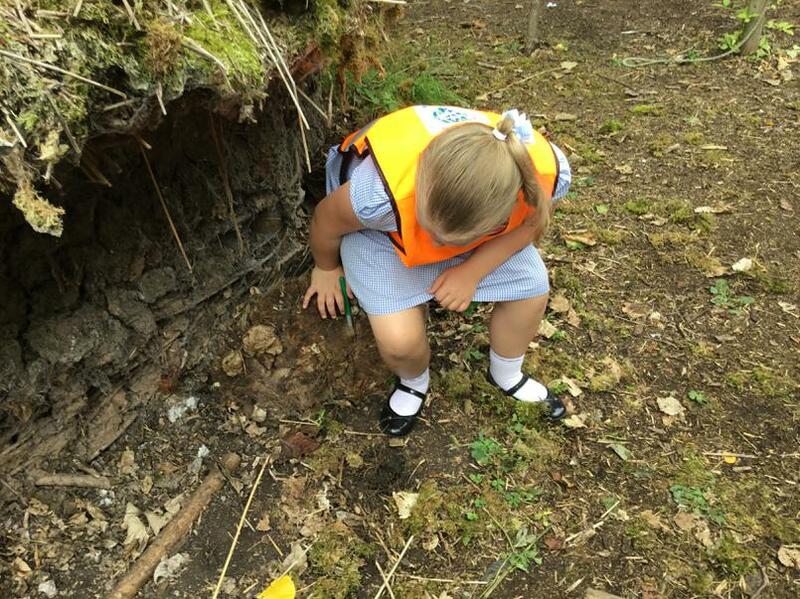 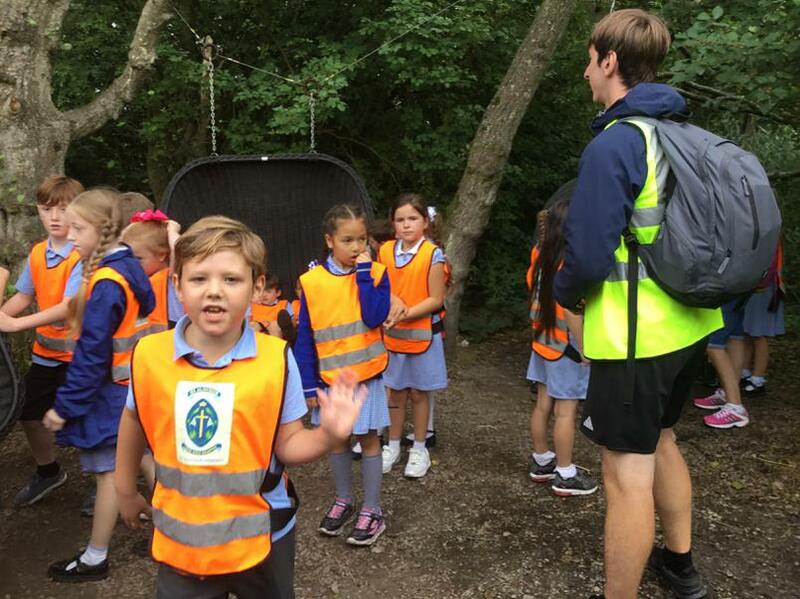 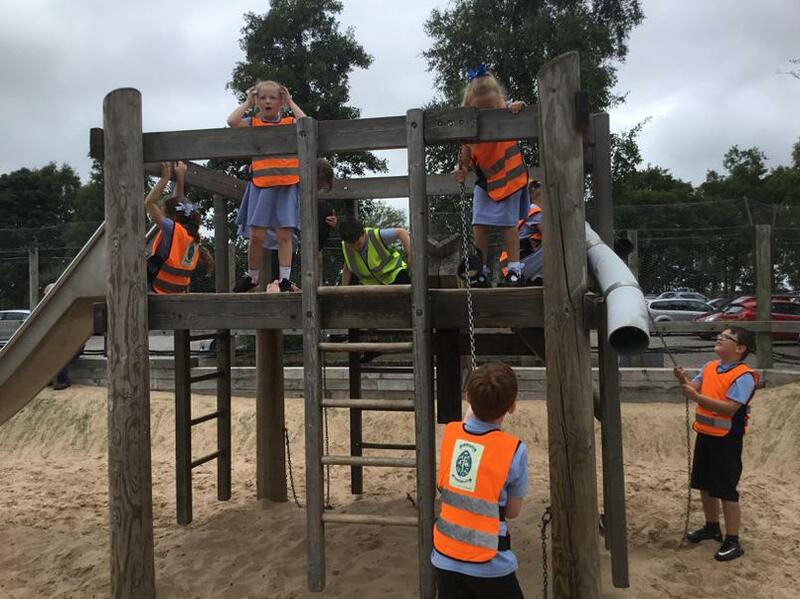 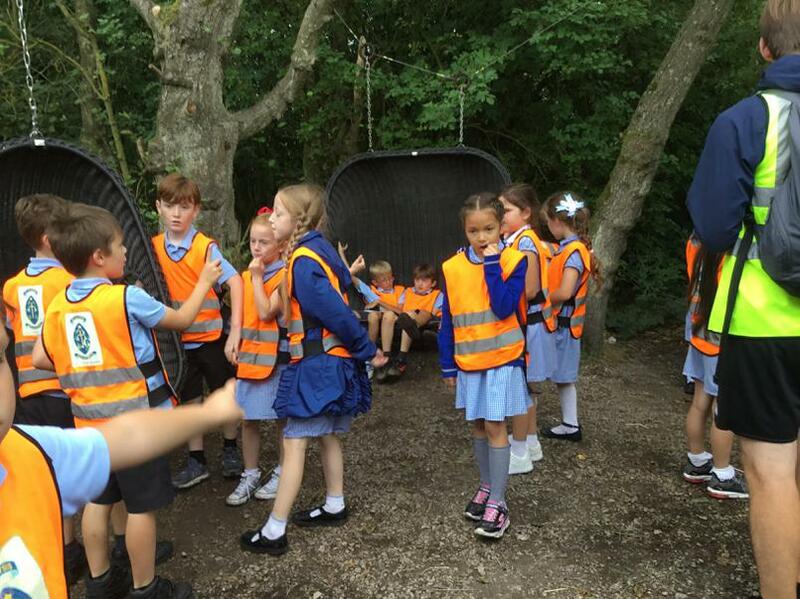 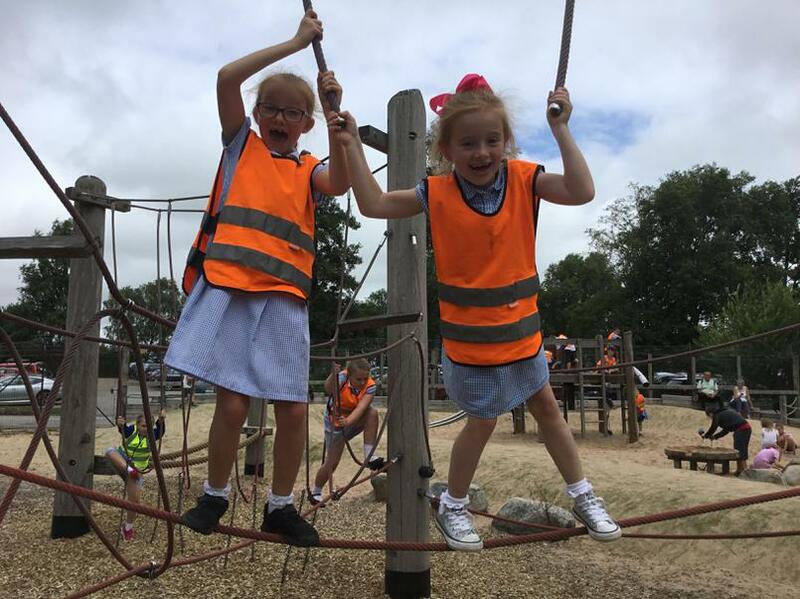 They enjoyed exploring and searching for litter collection points in the school playground. 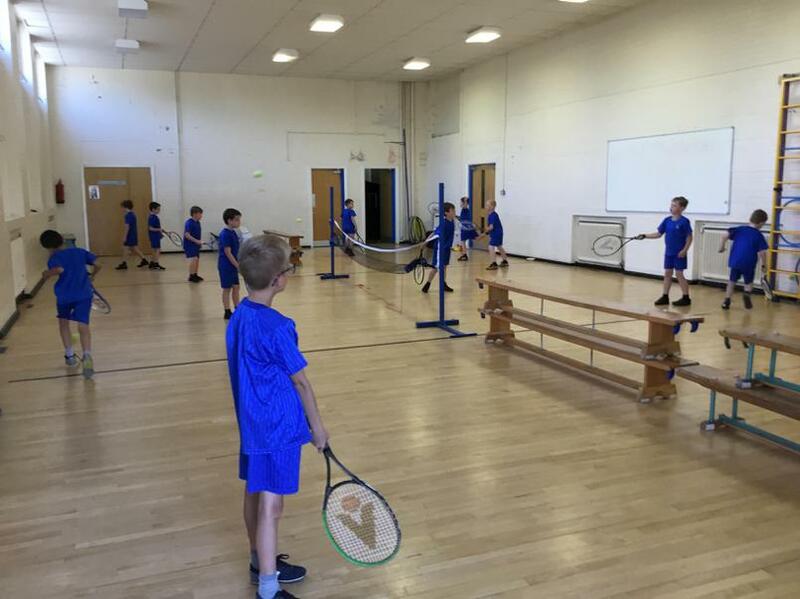 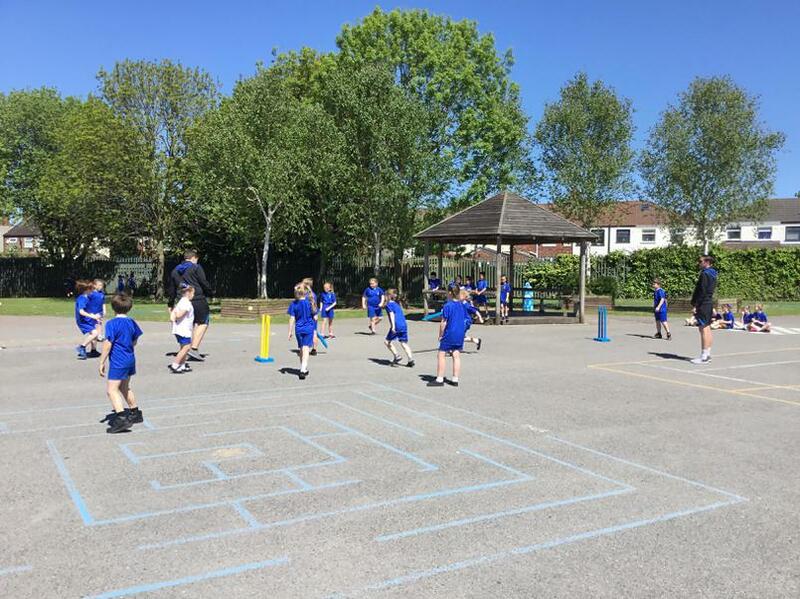 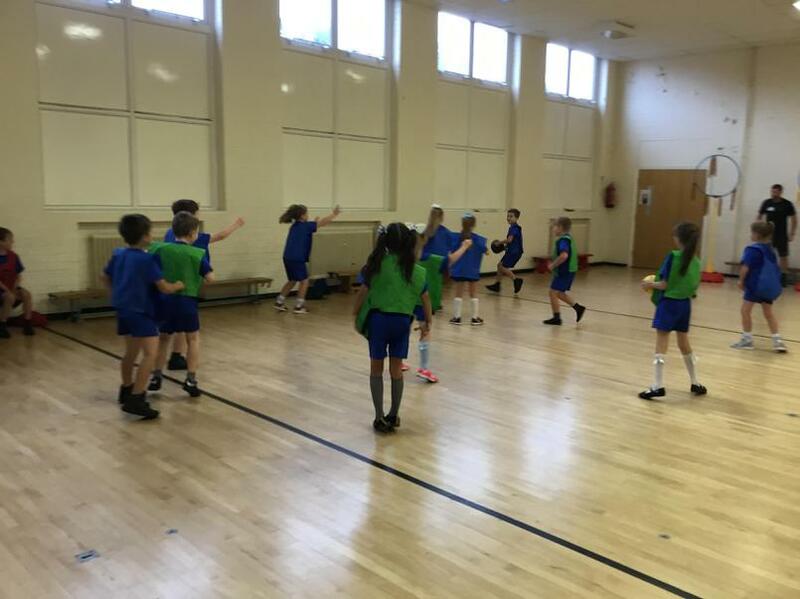 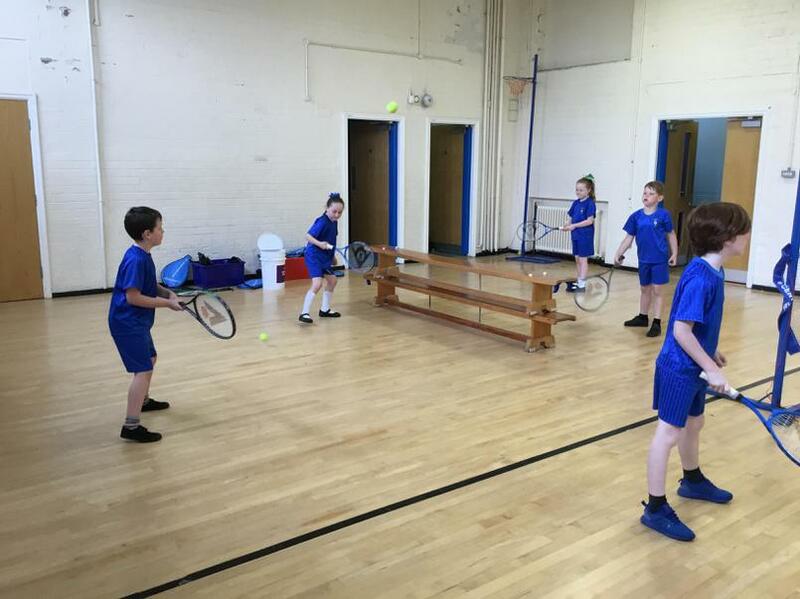 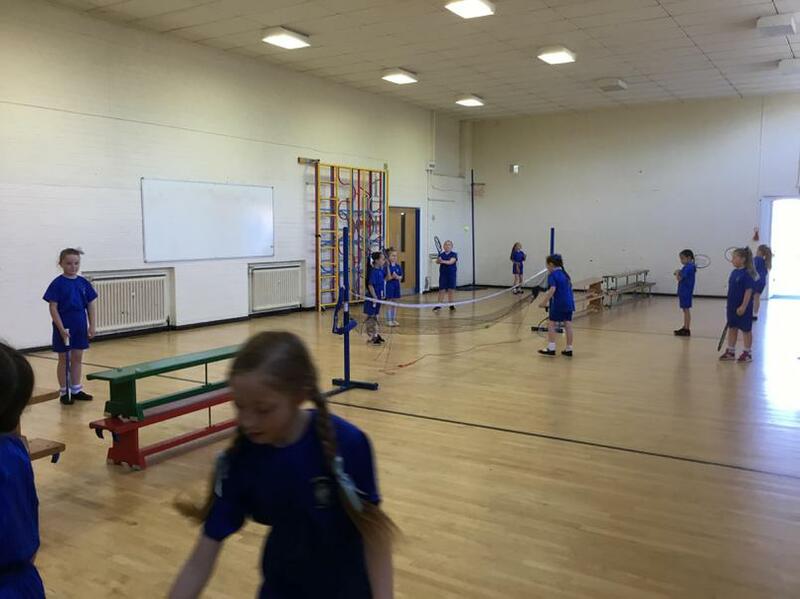 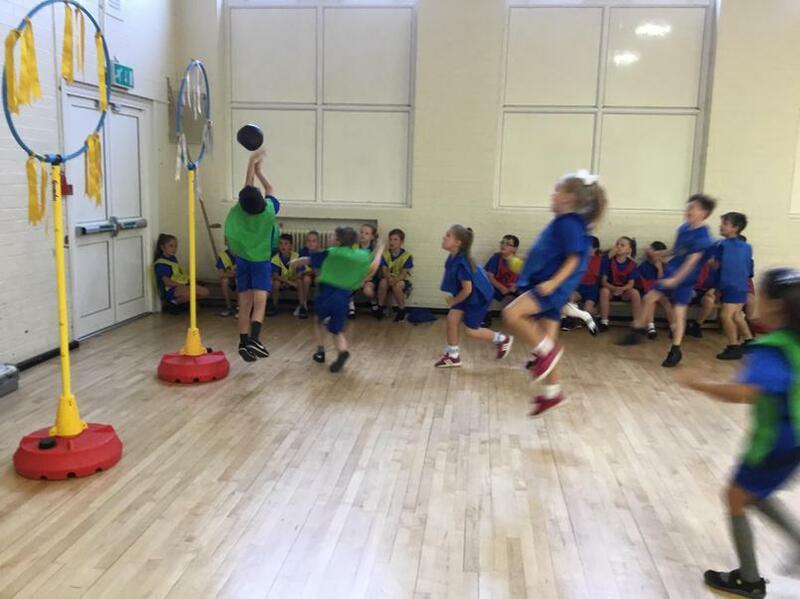 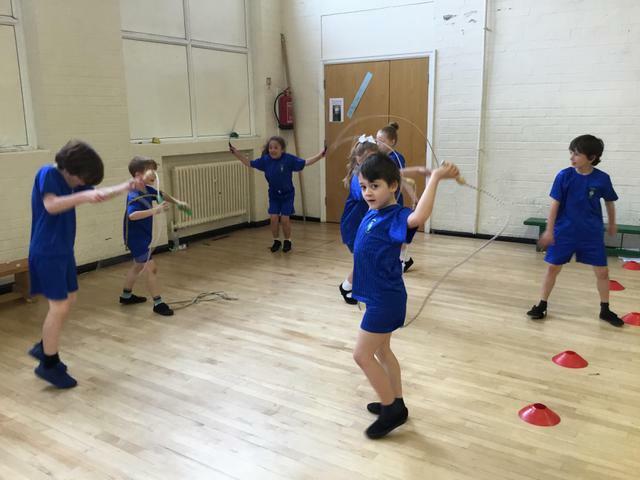 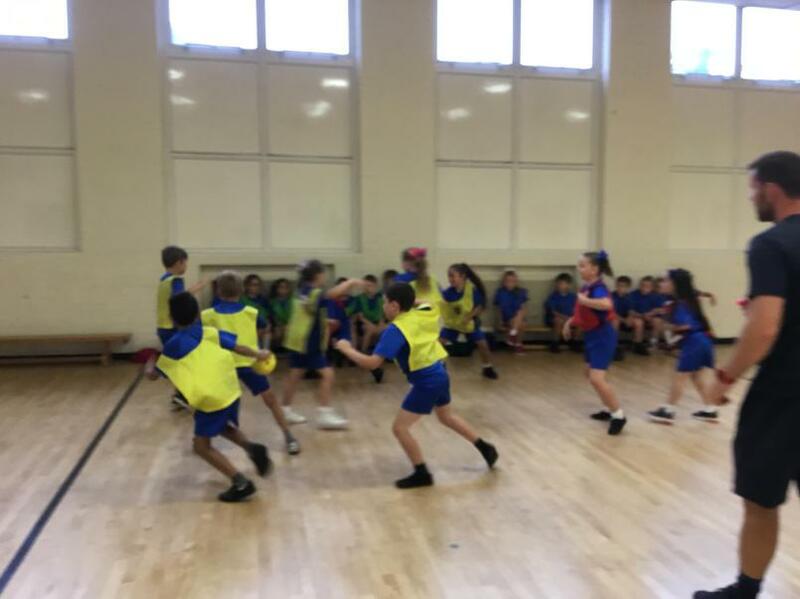 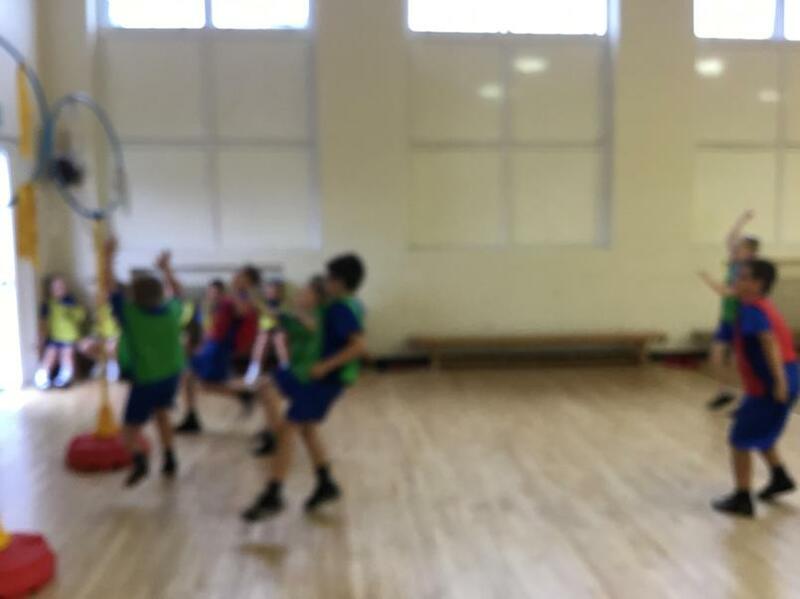 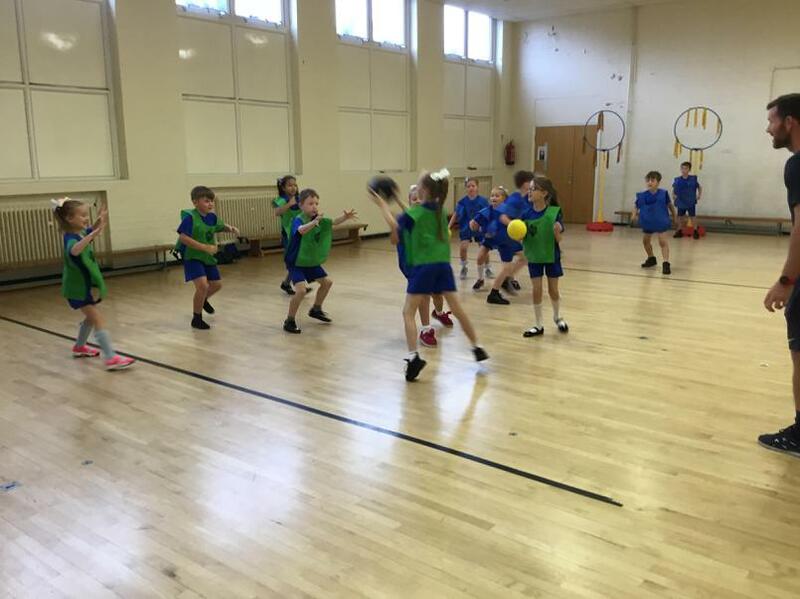 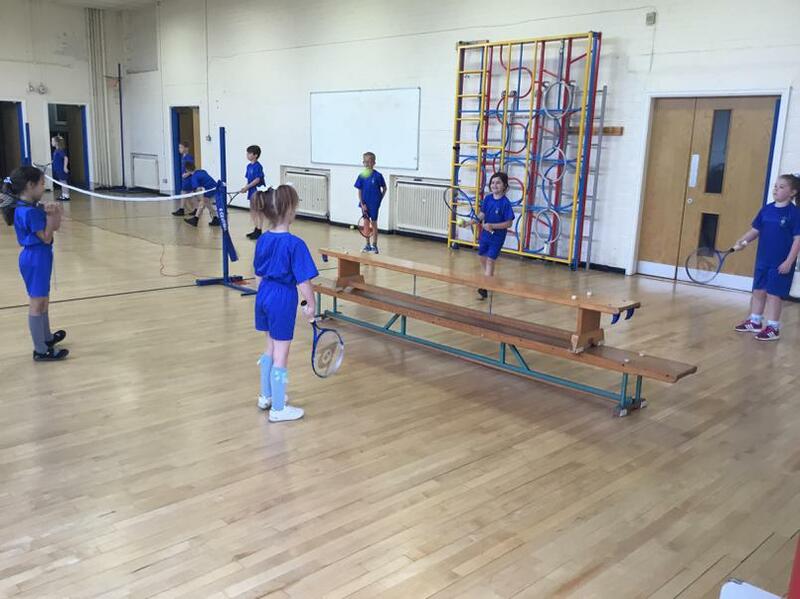 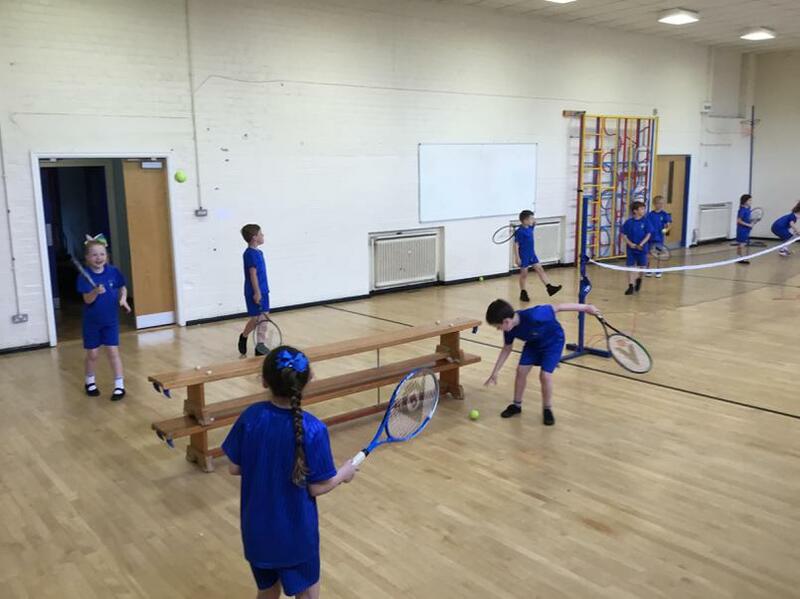 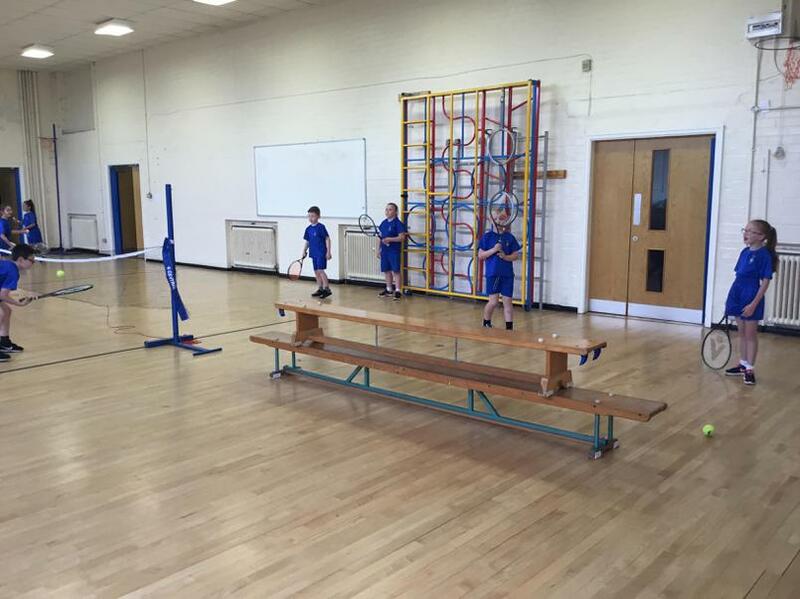 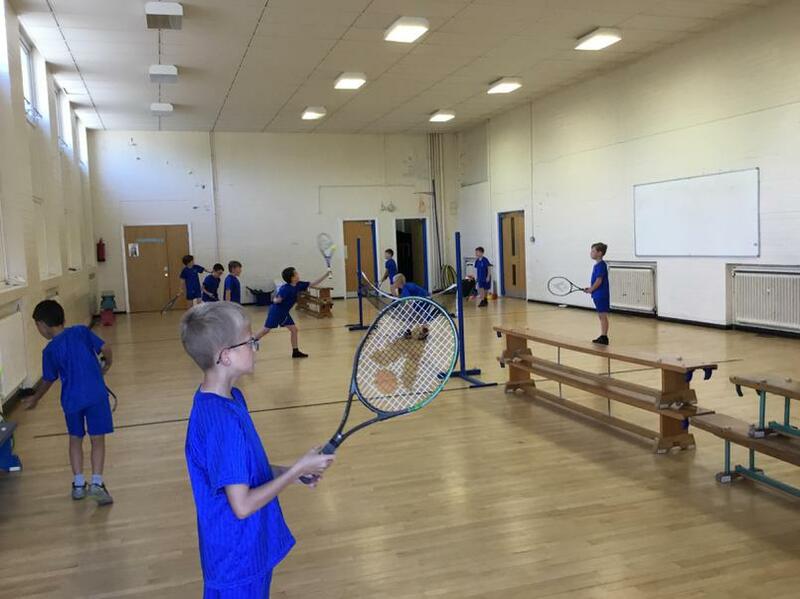 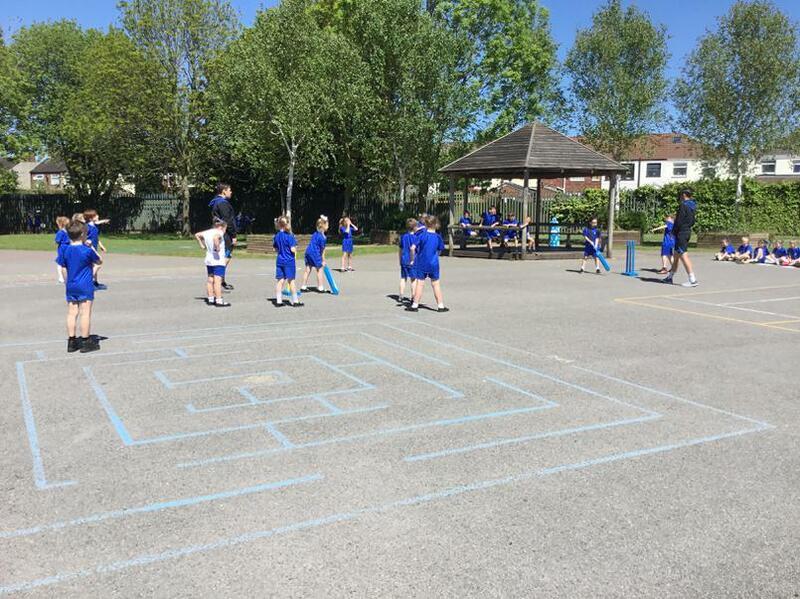 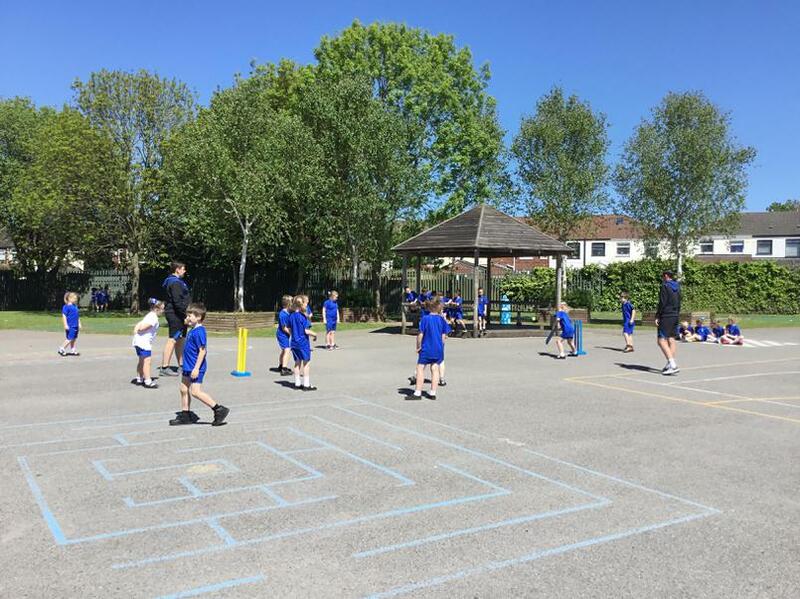 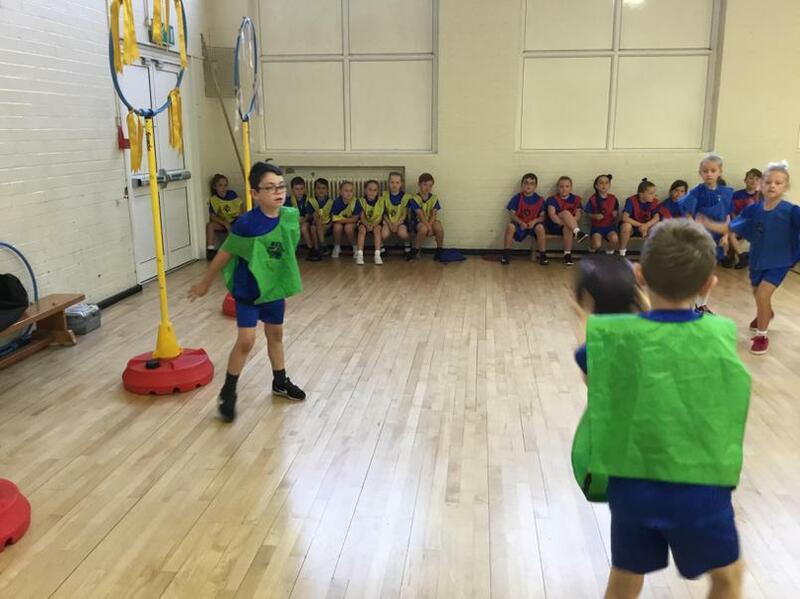 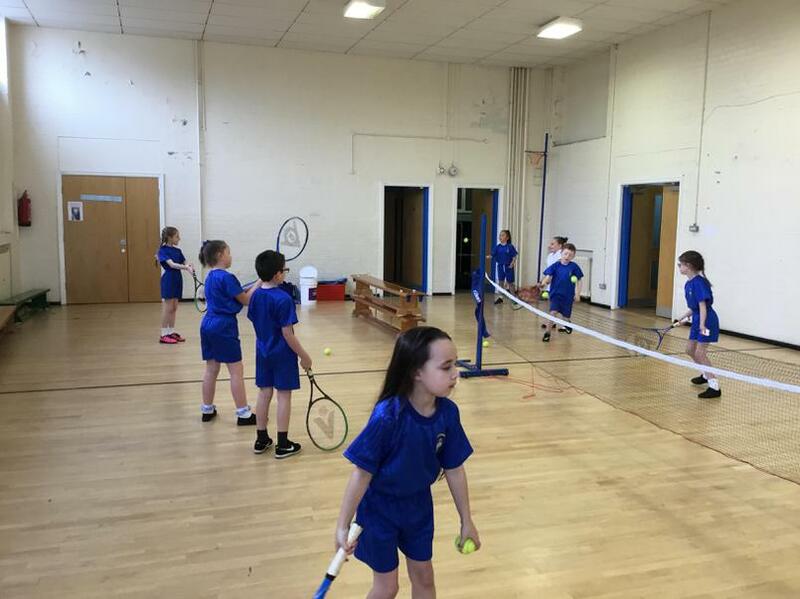 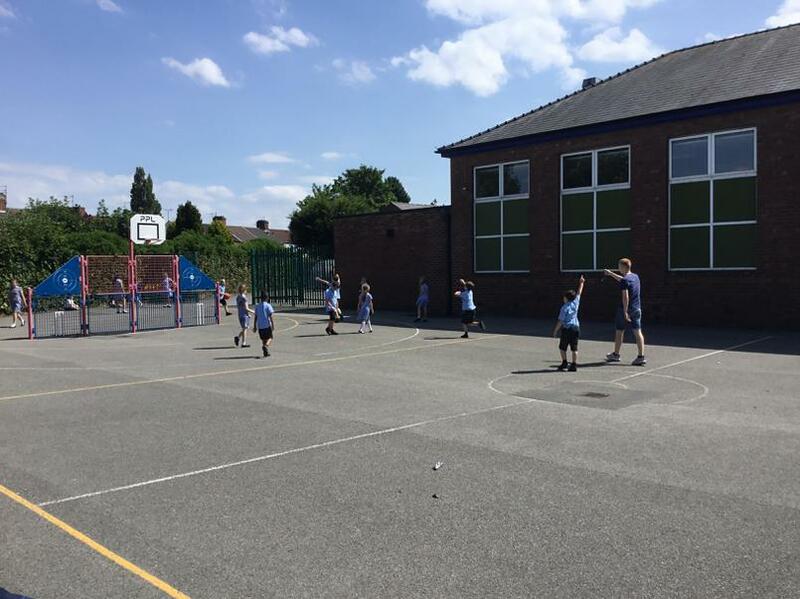 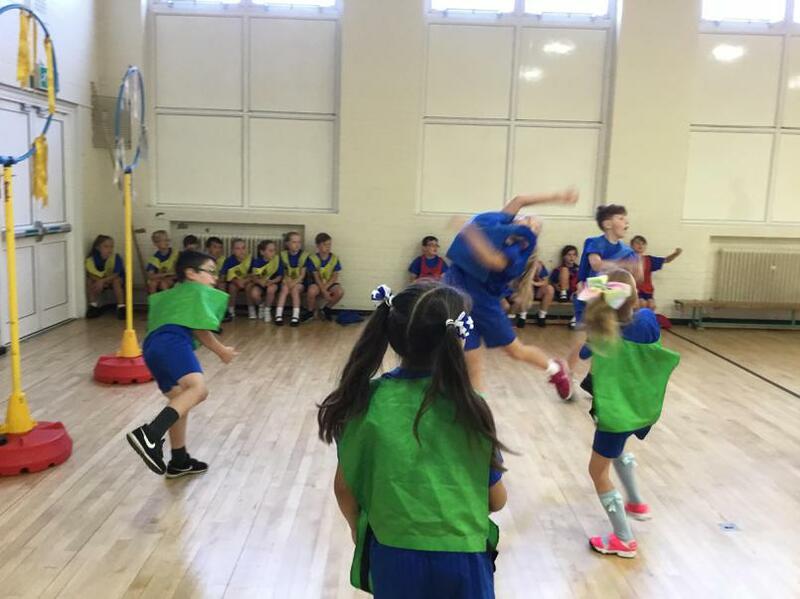 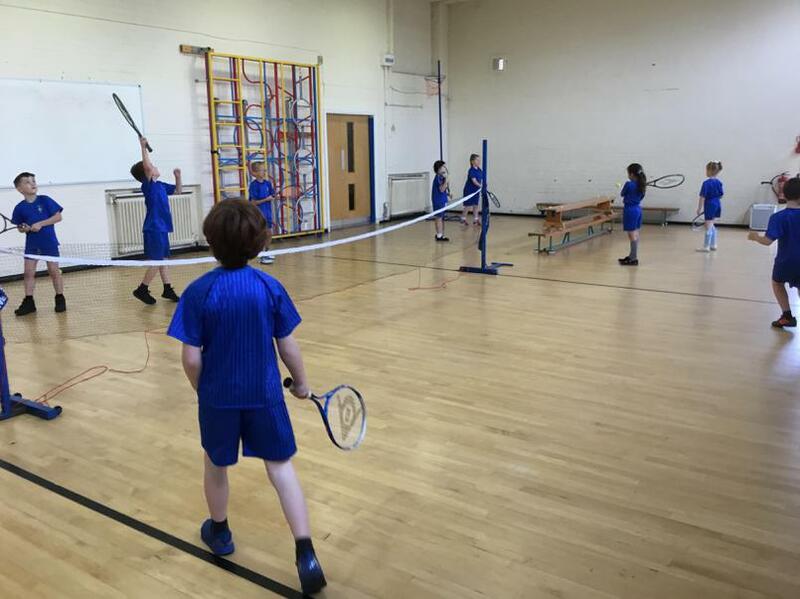 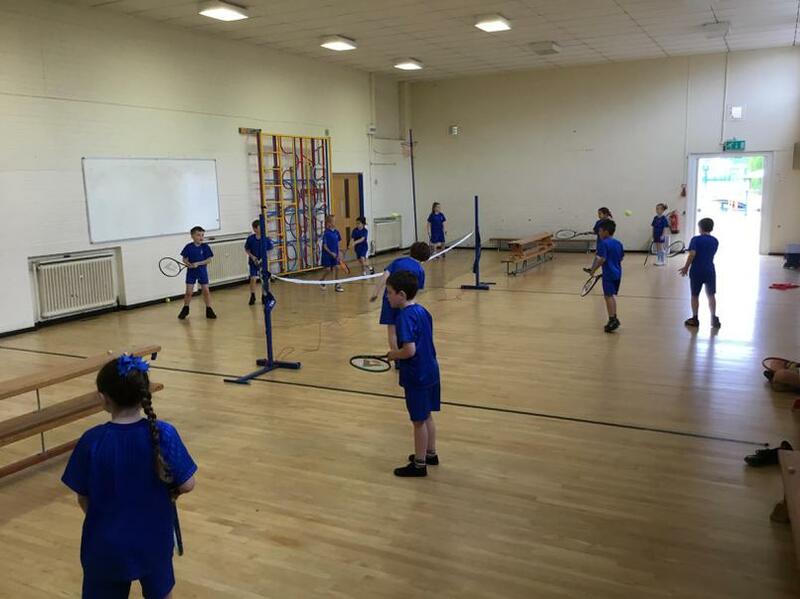 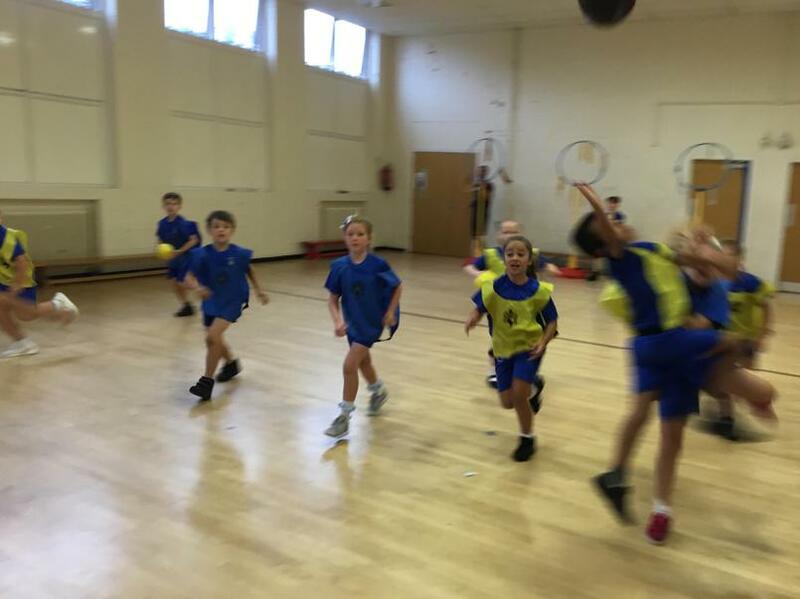 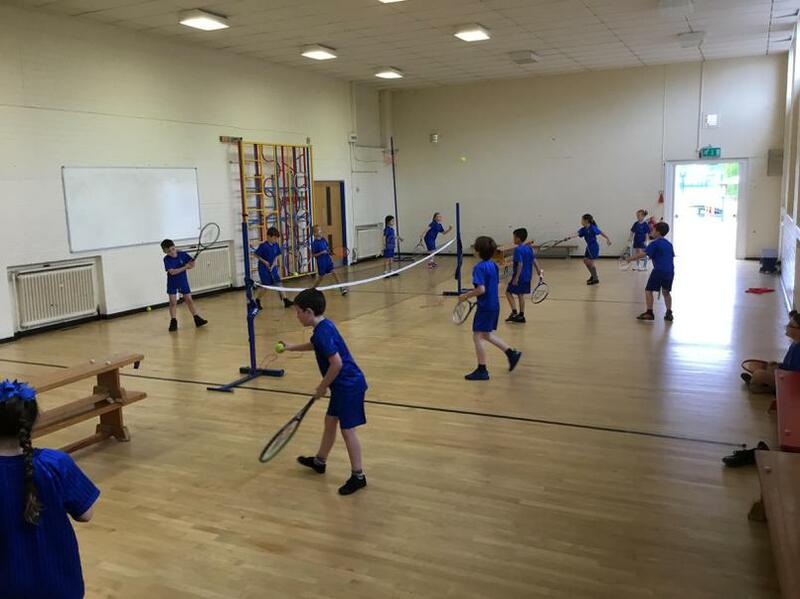 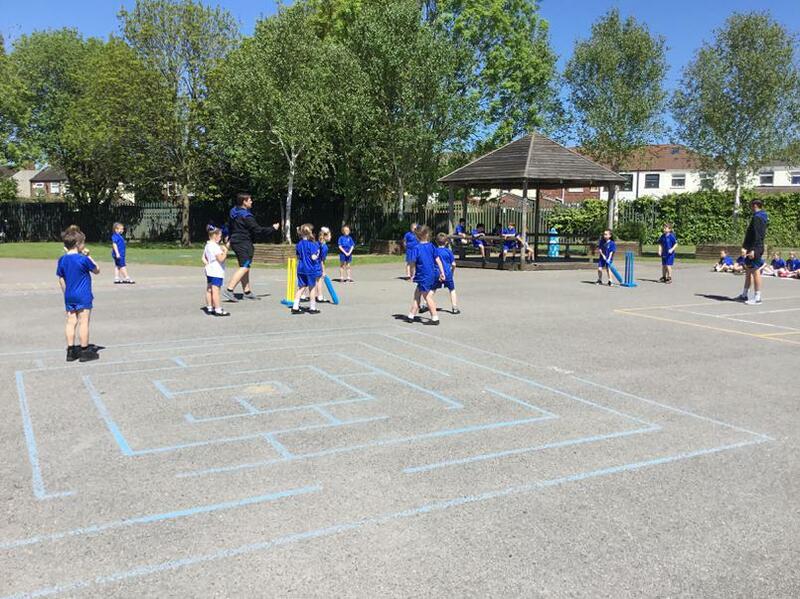 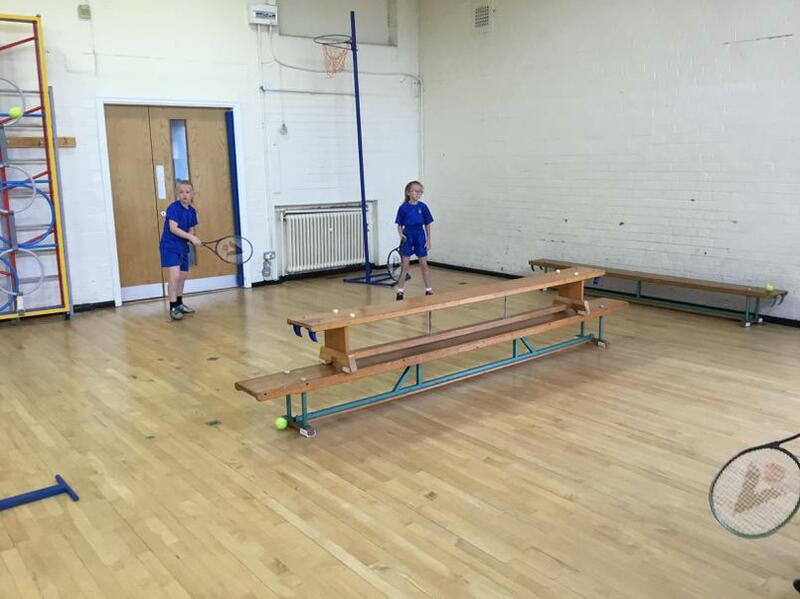 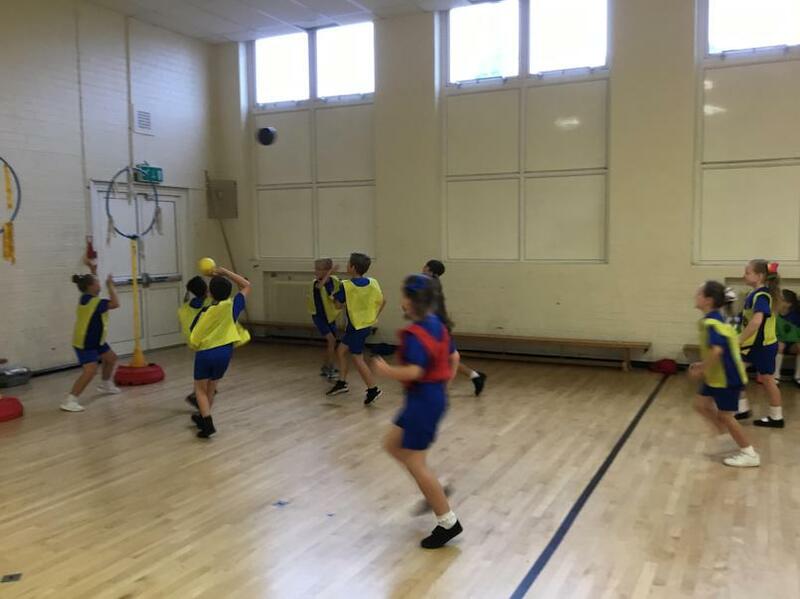 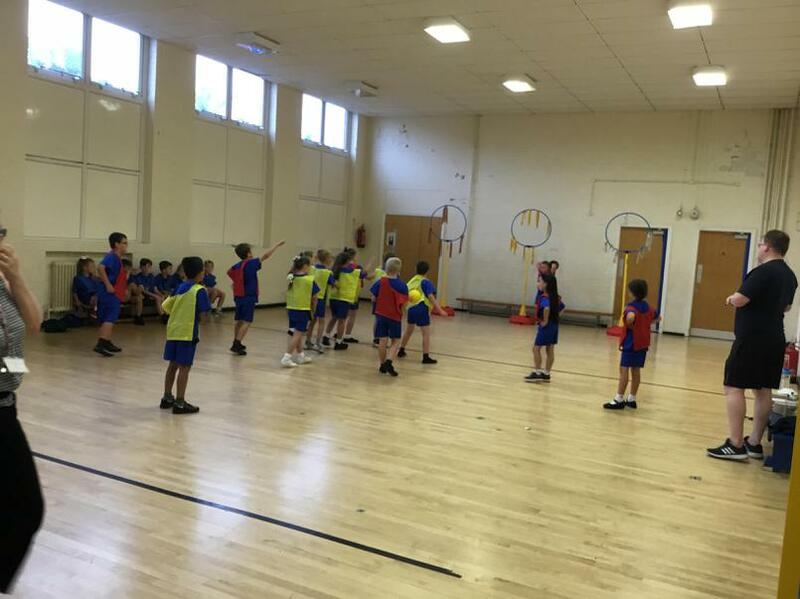 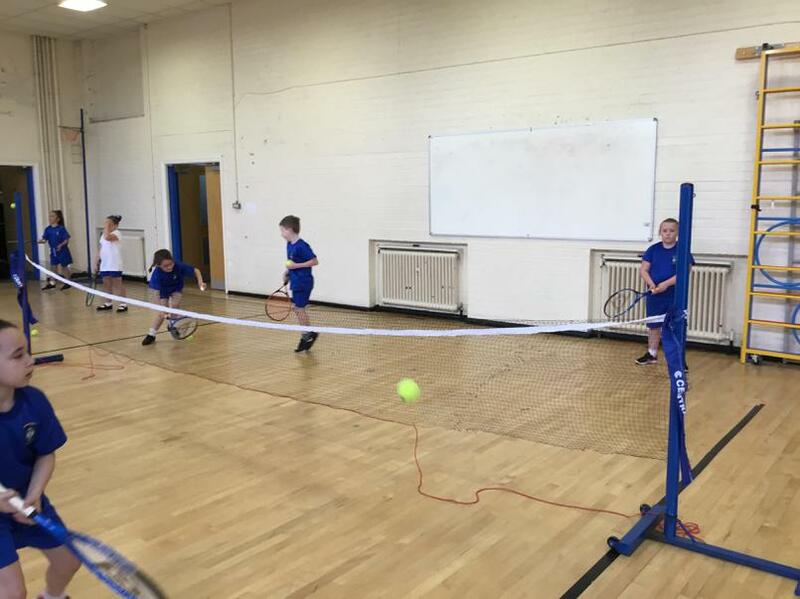 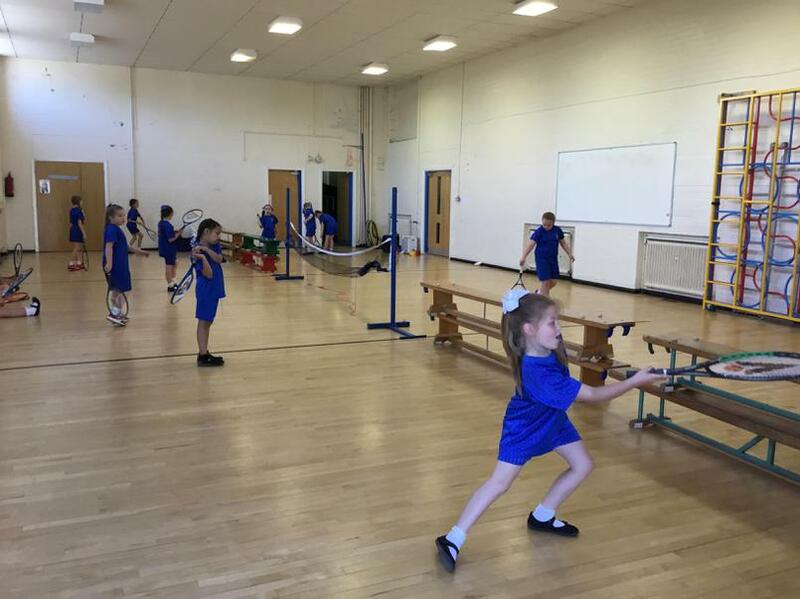 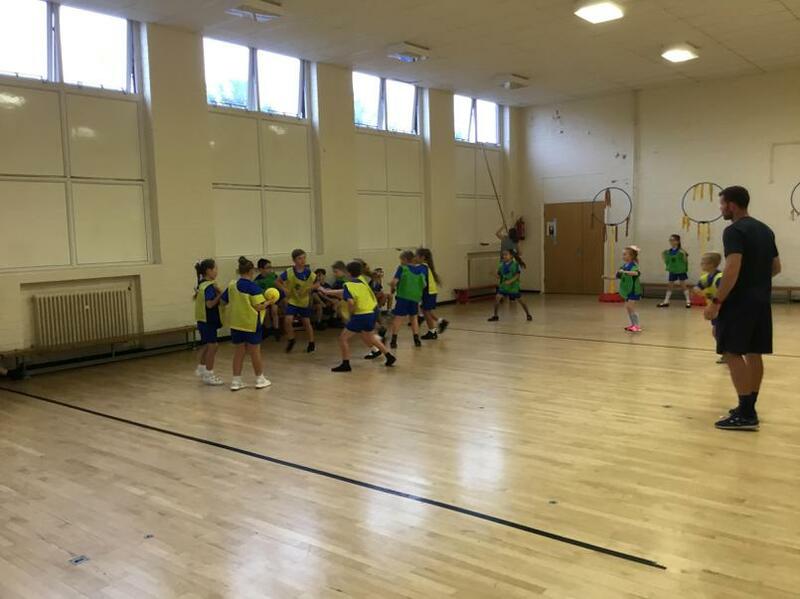 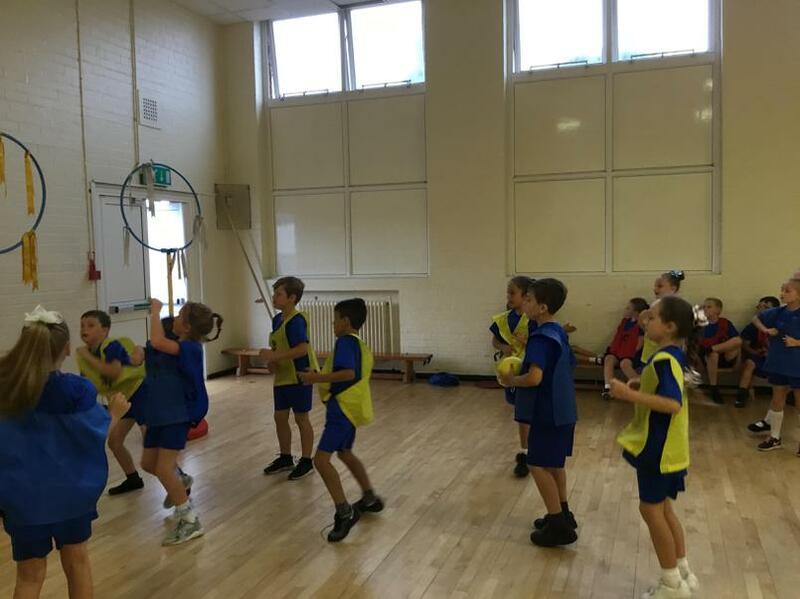 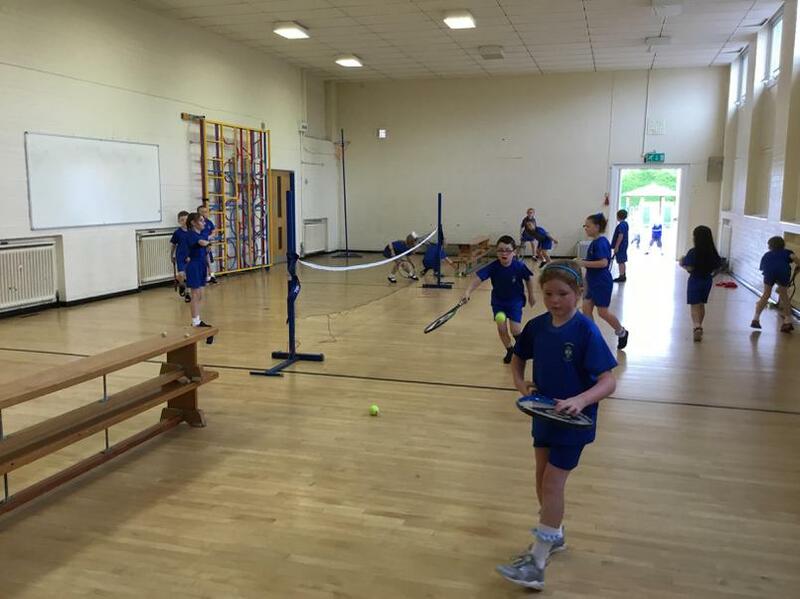 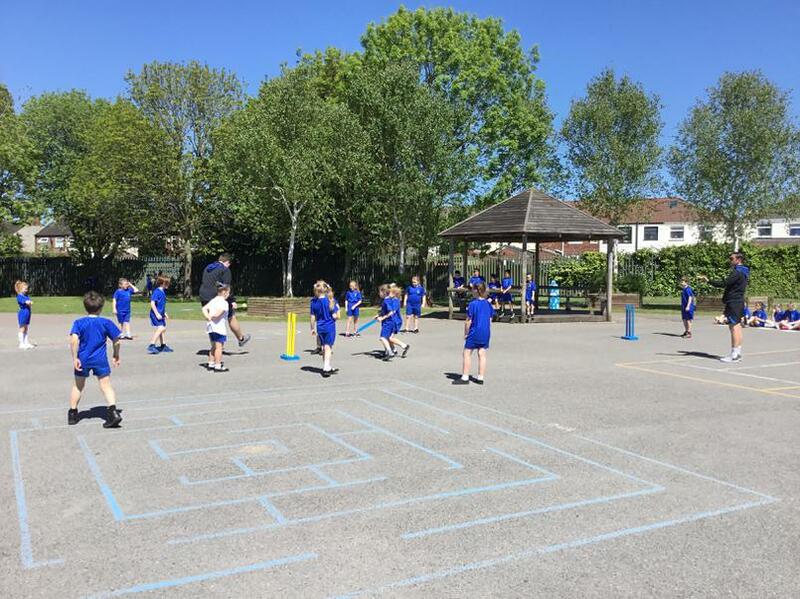 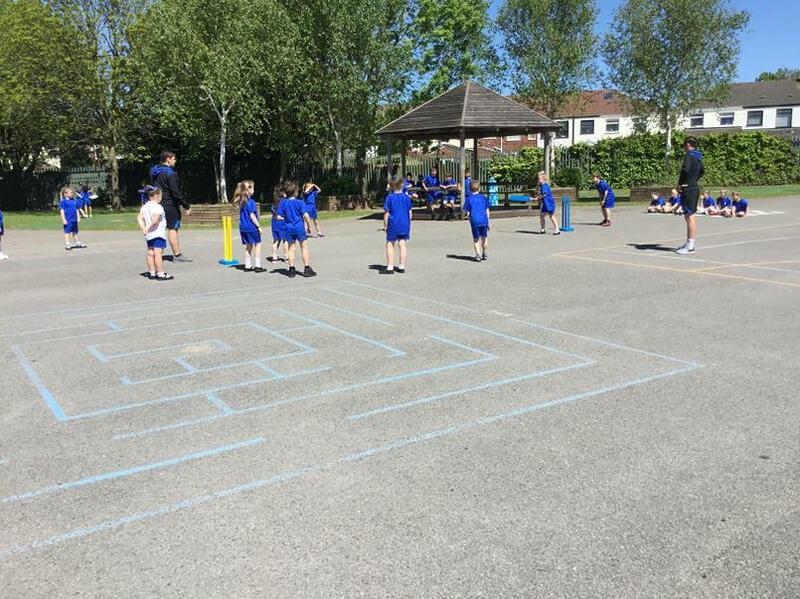 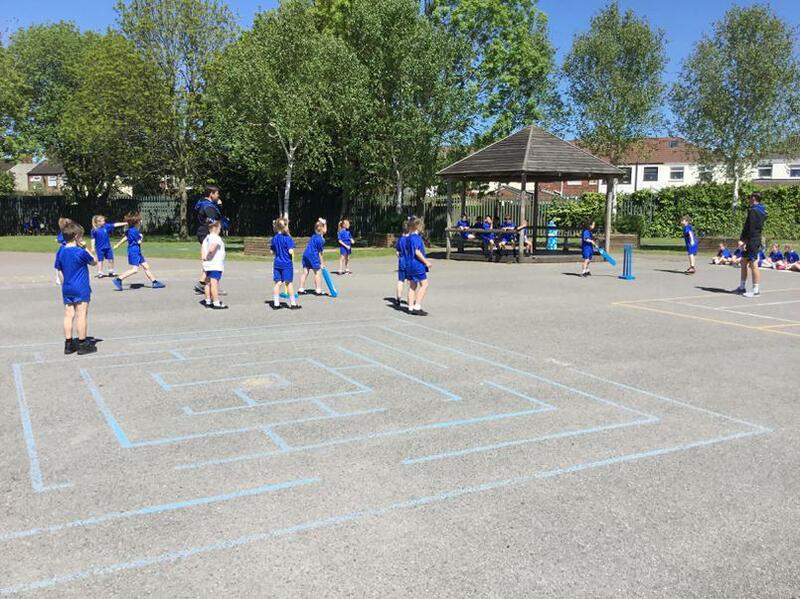 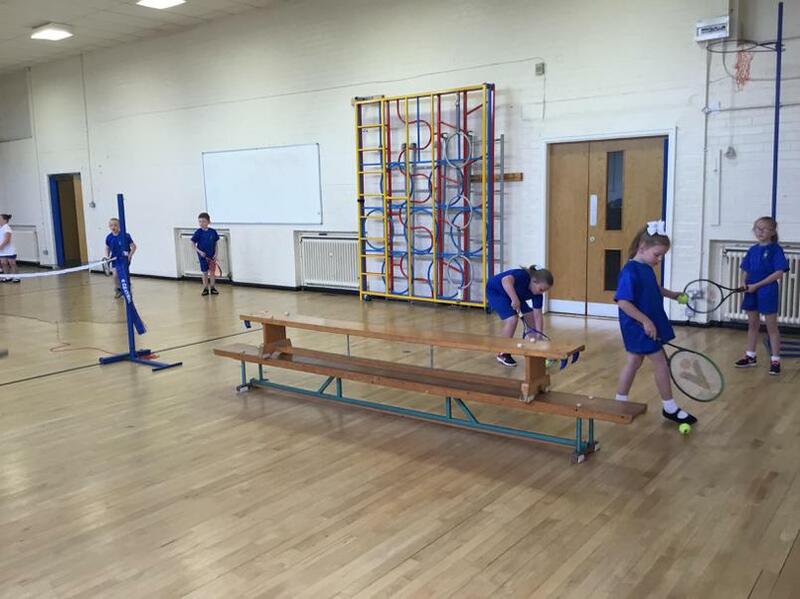 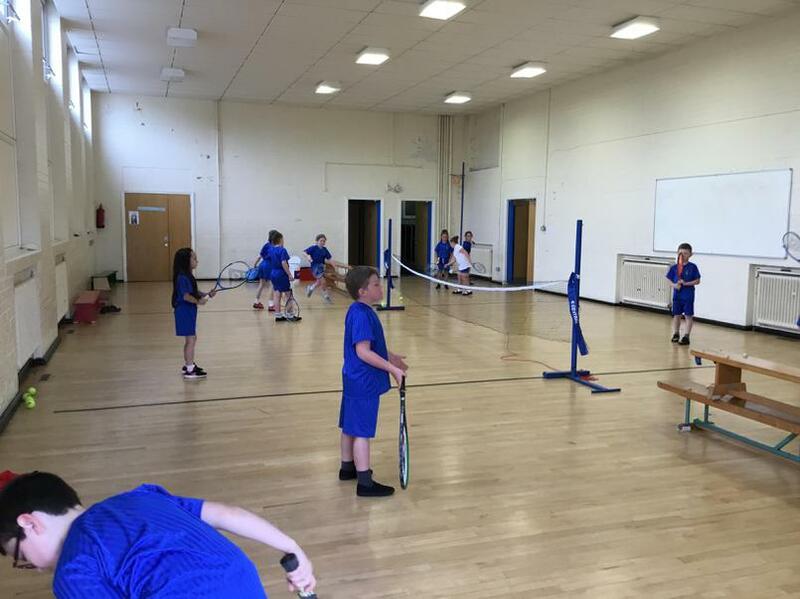 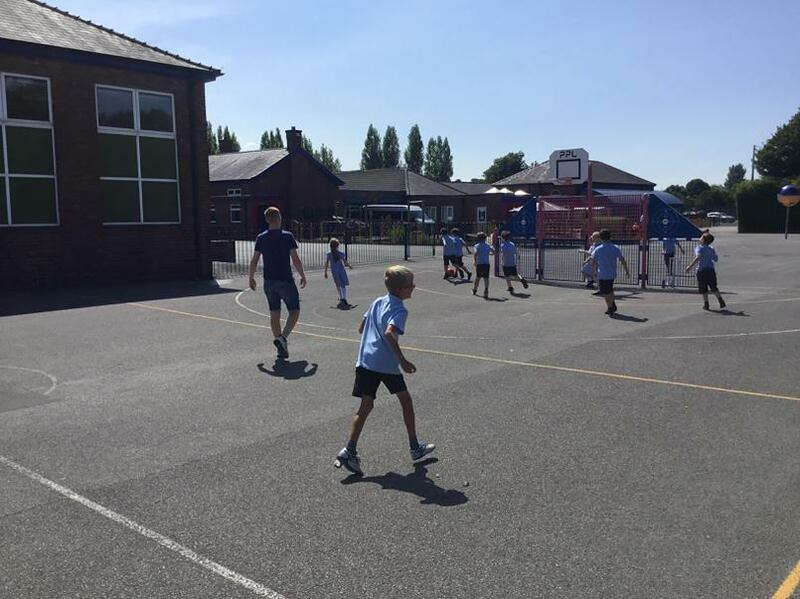 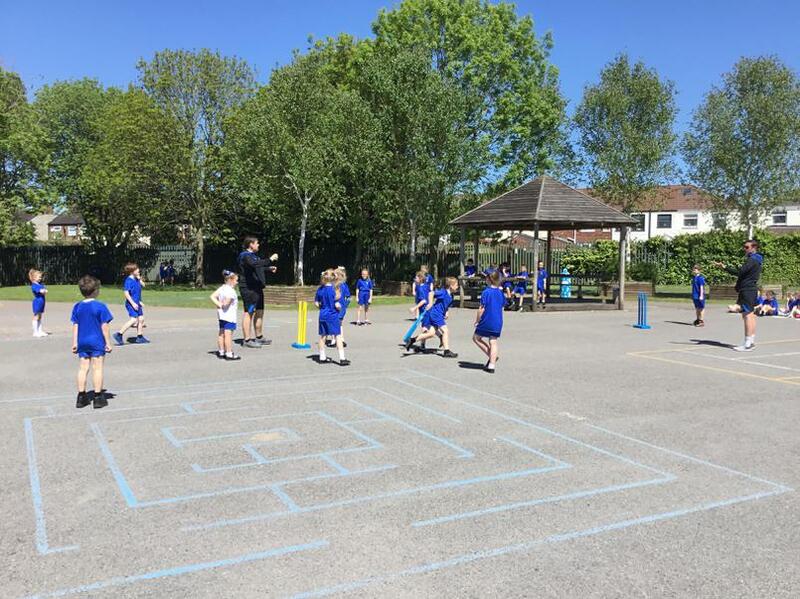 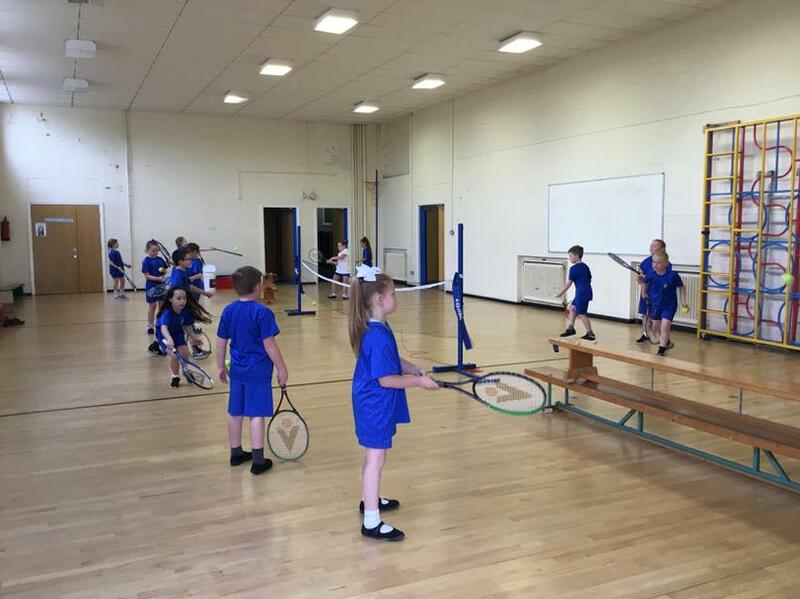 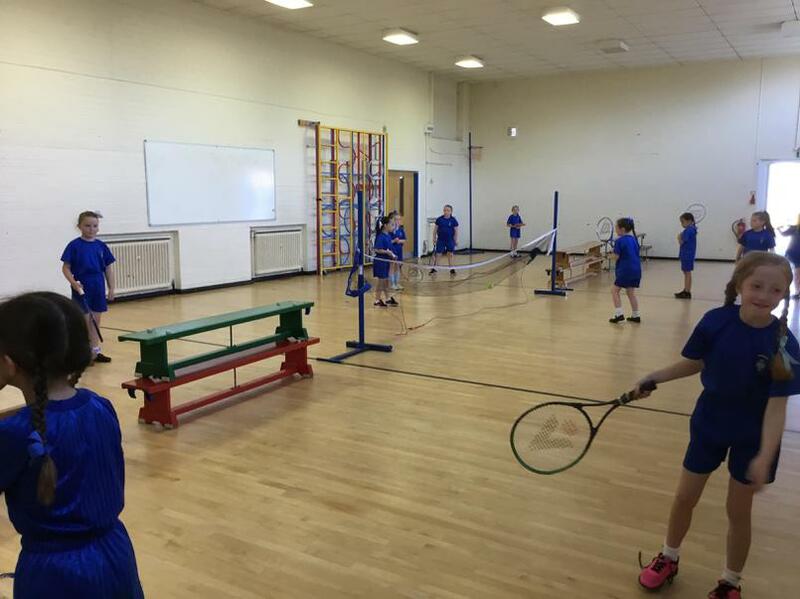 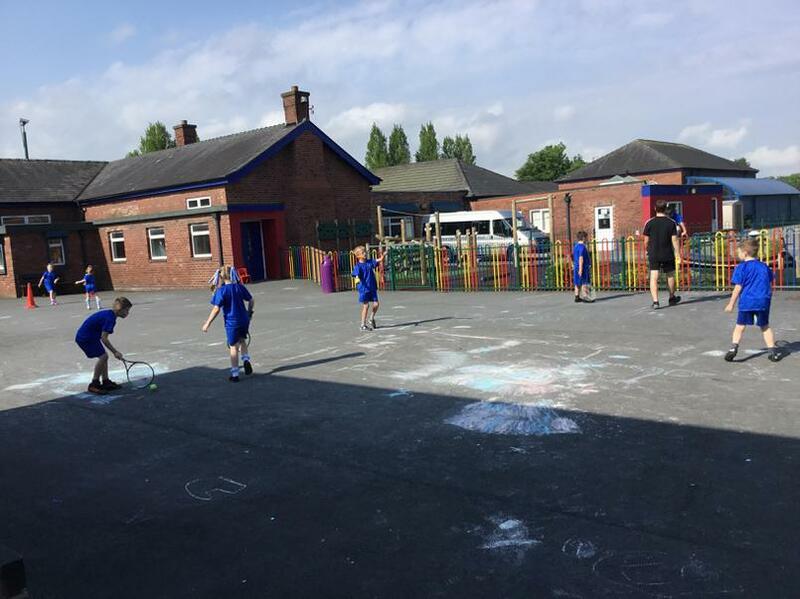 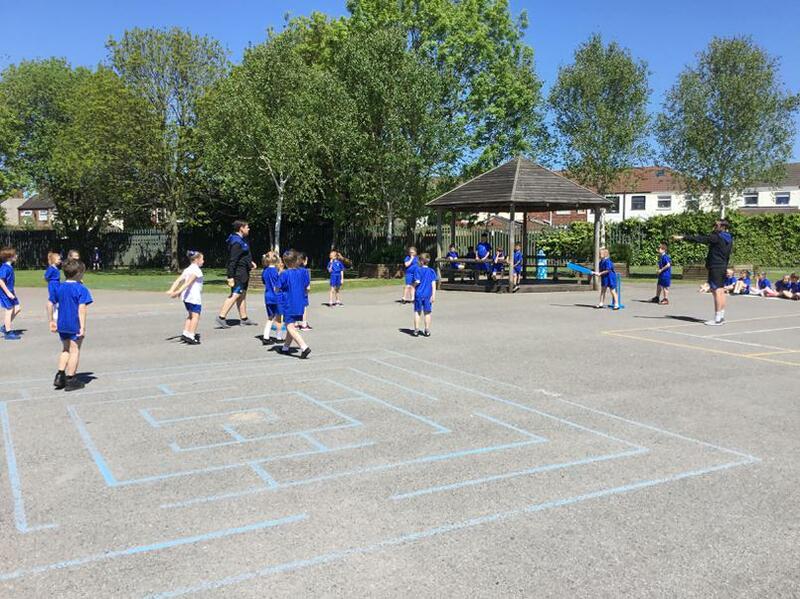 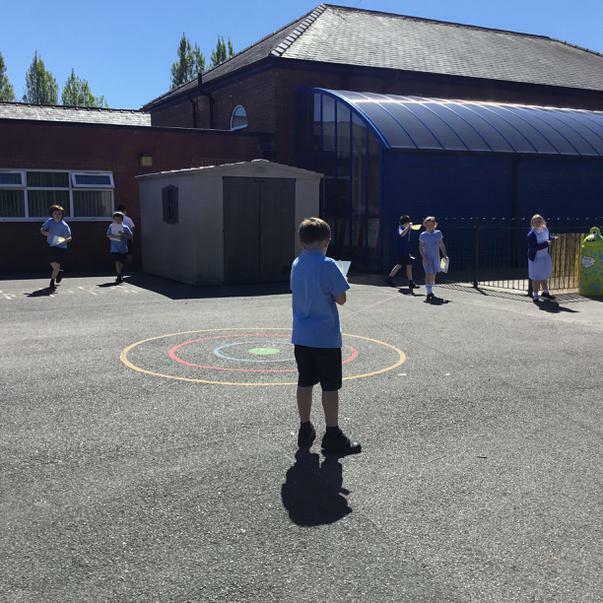 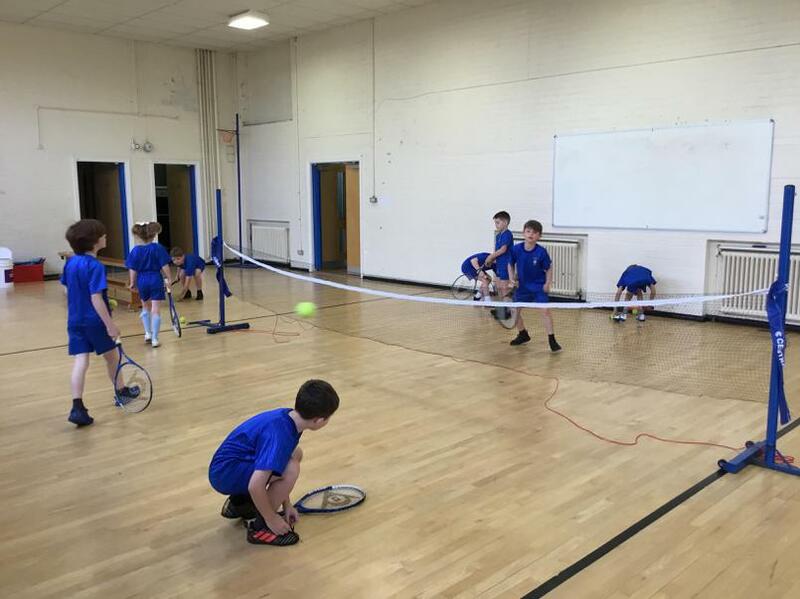 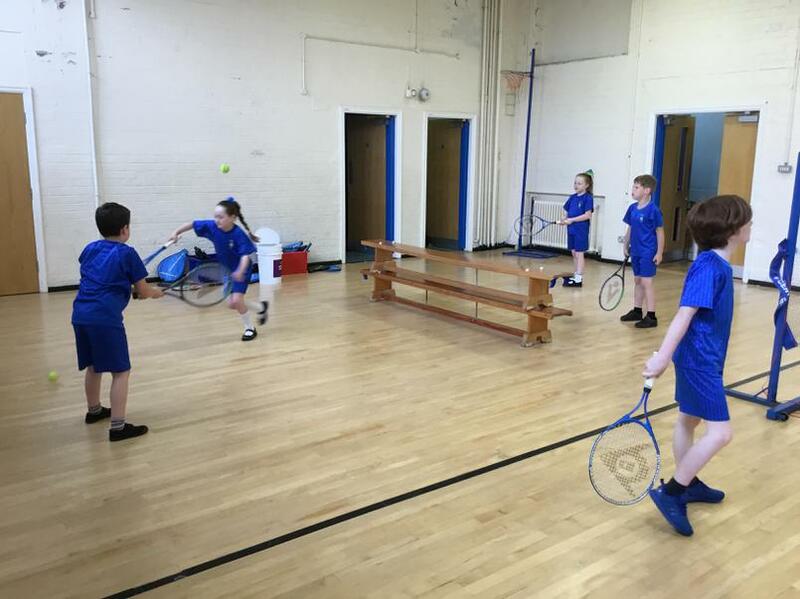 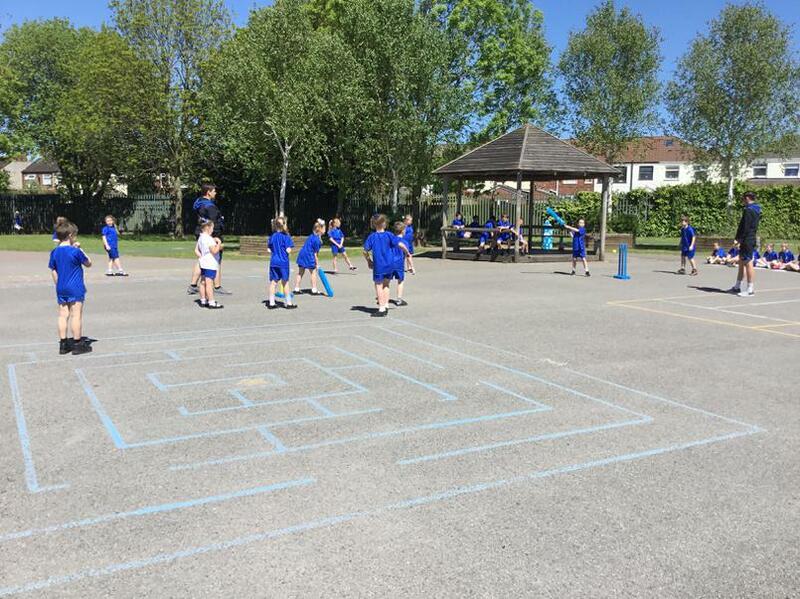 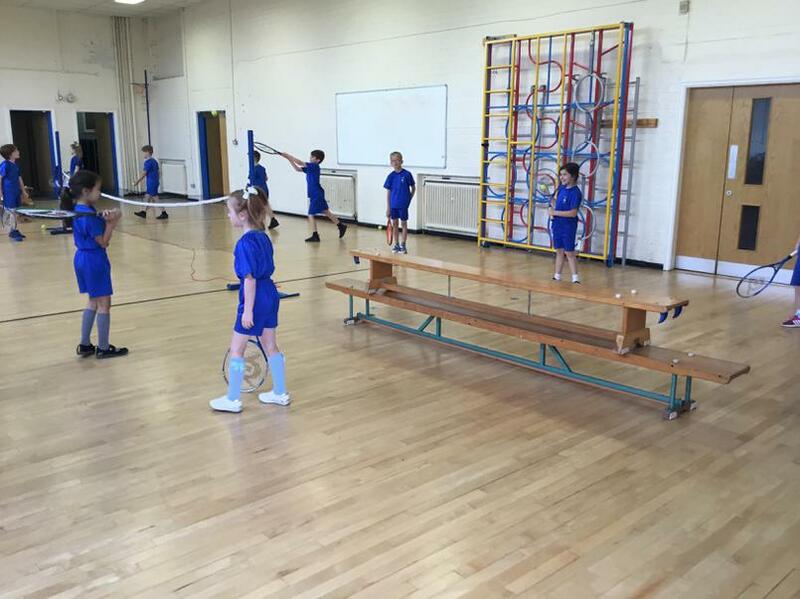 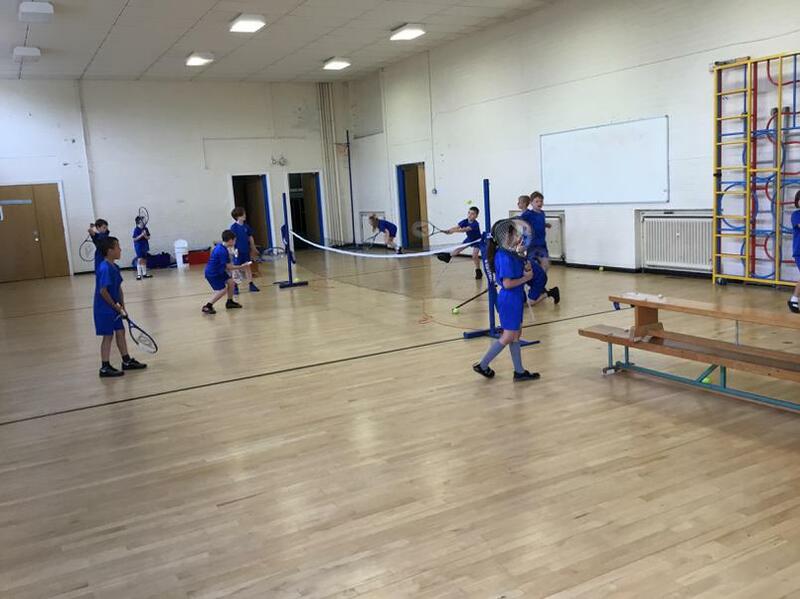 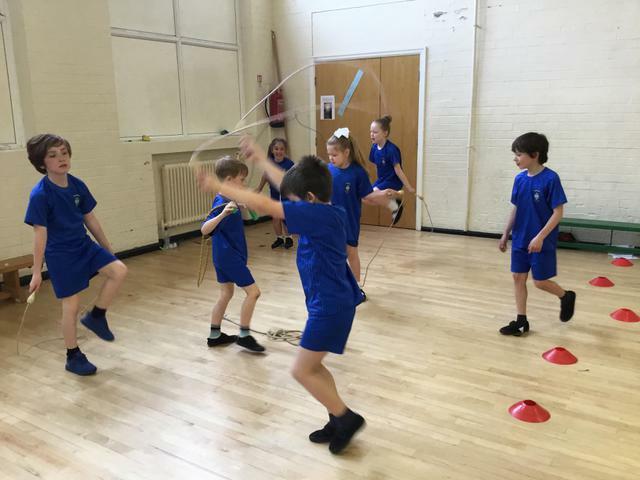 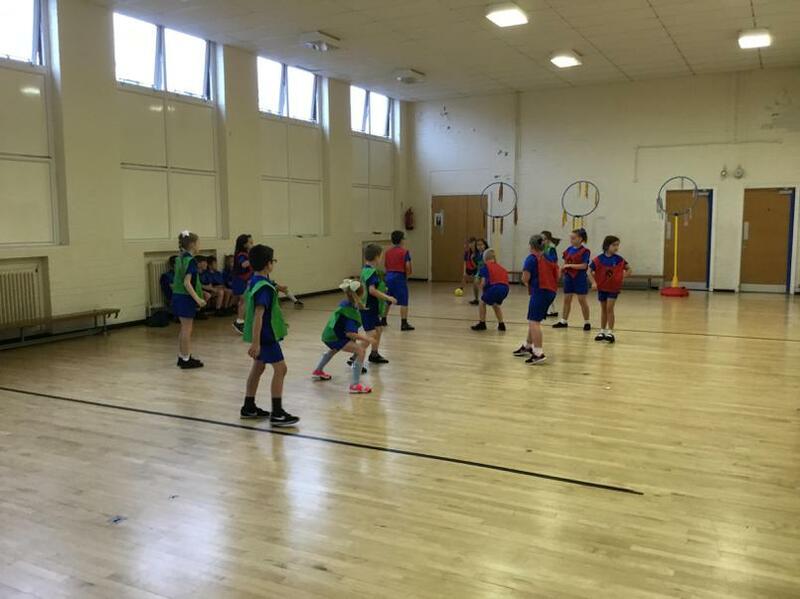 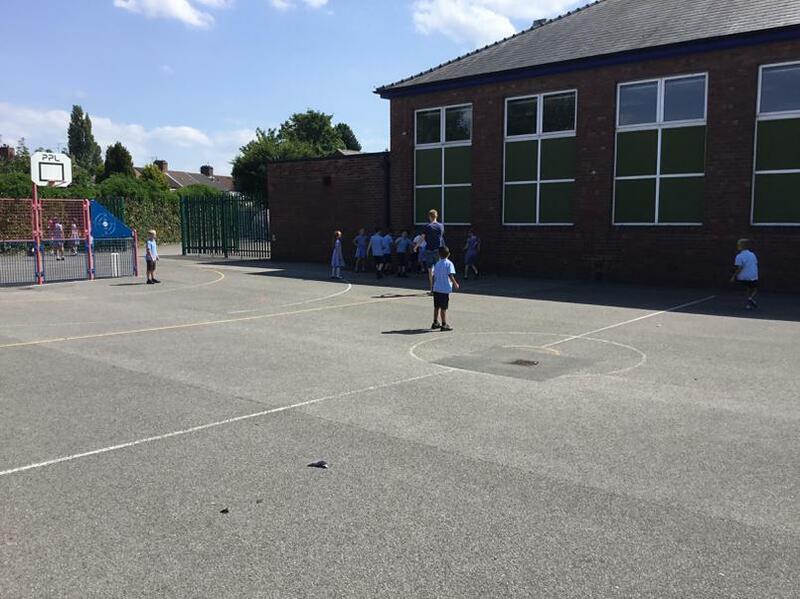 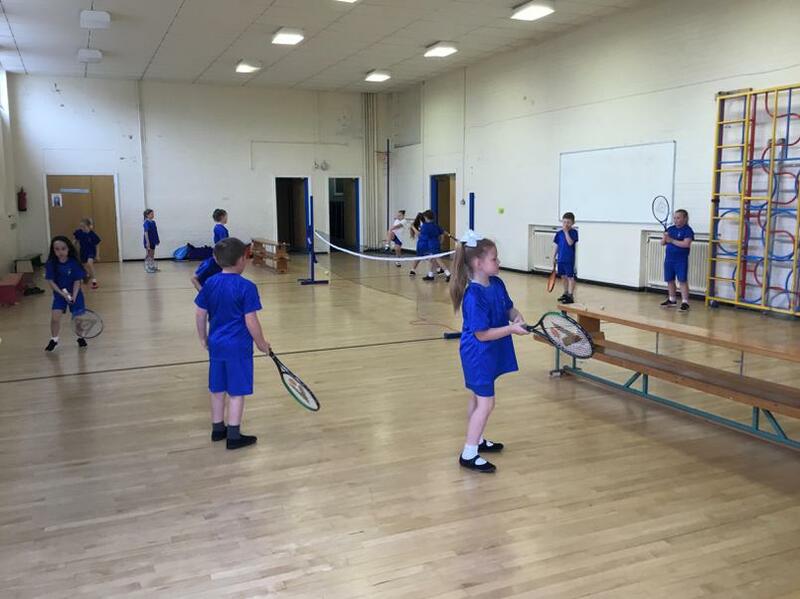 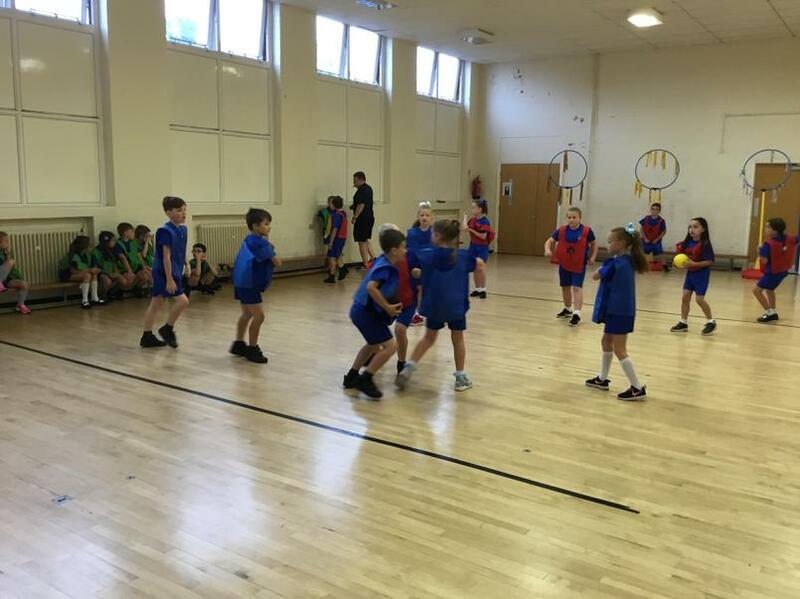 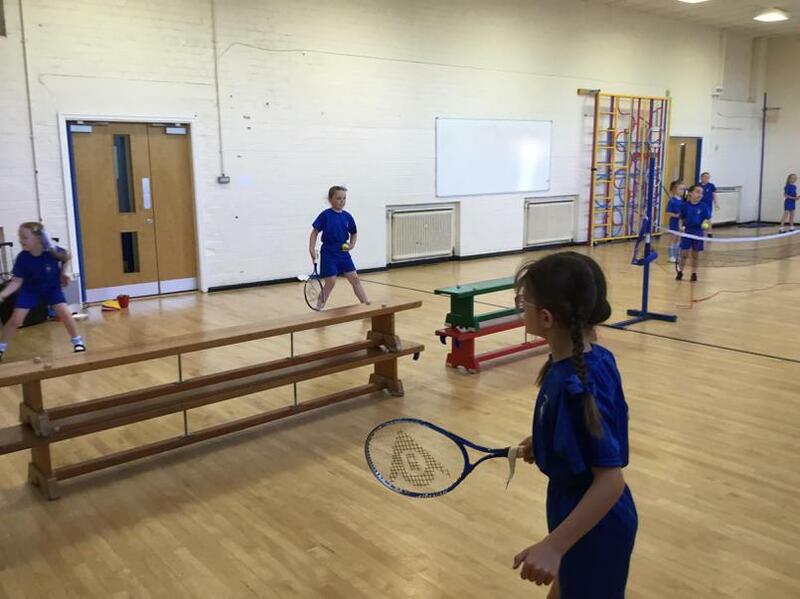 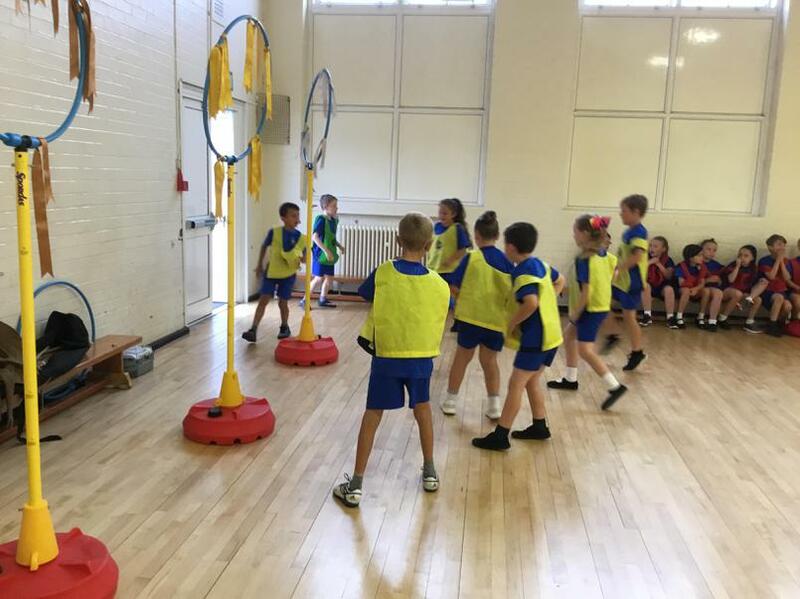 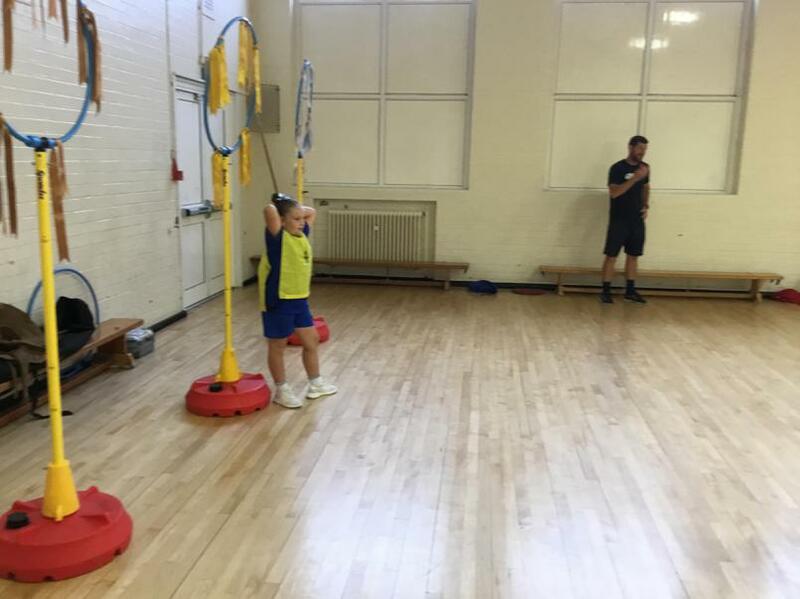 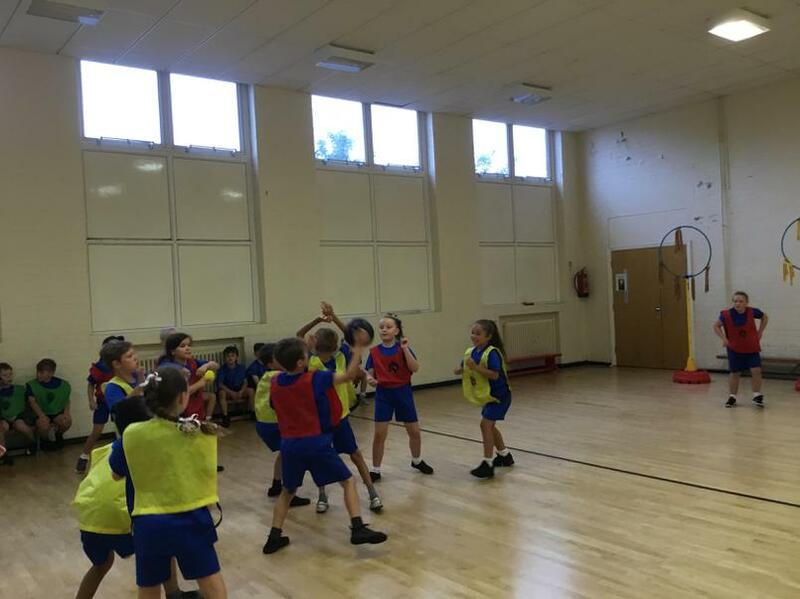 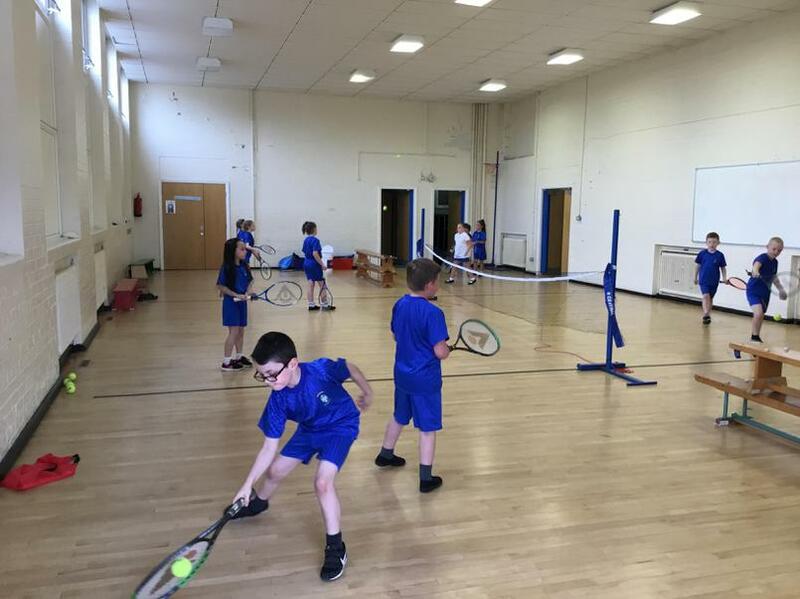 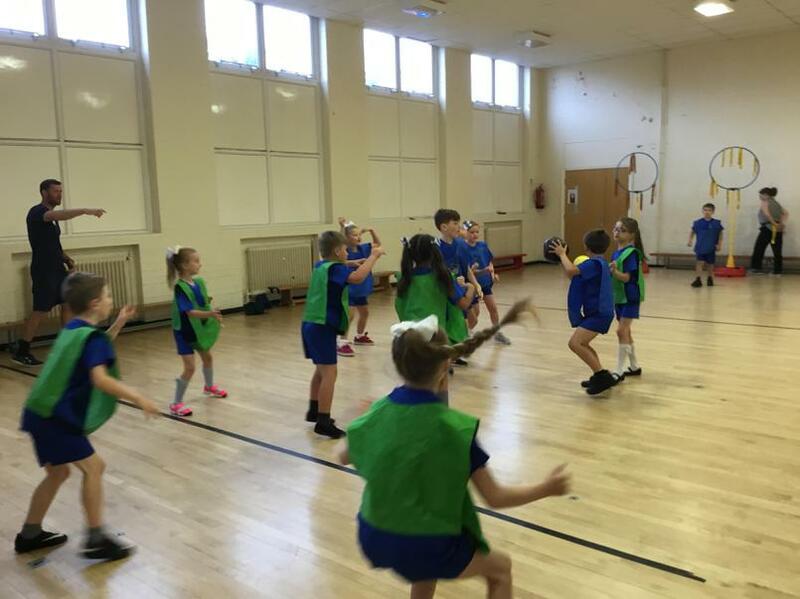 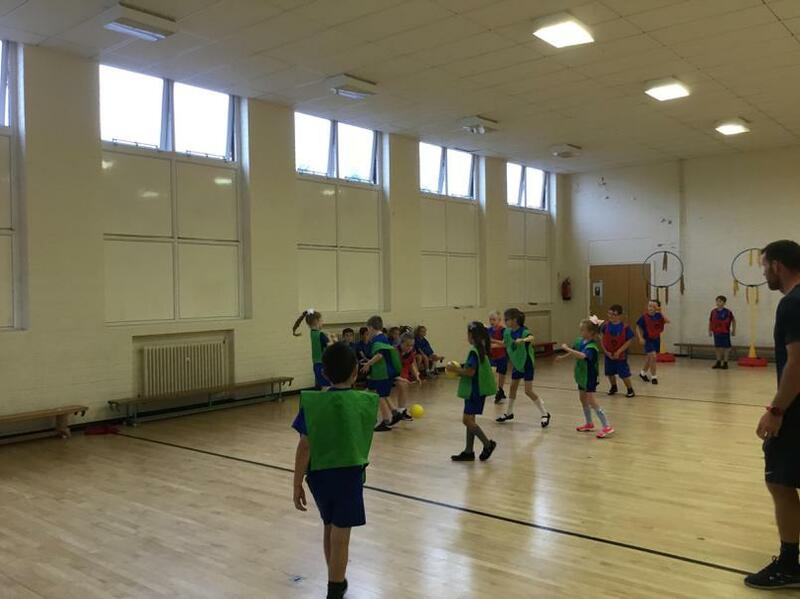 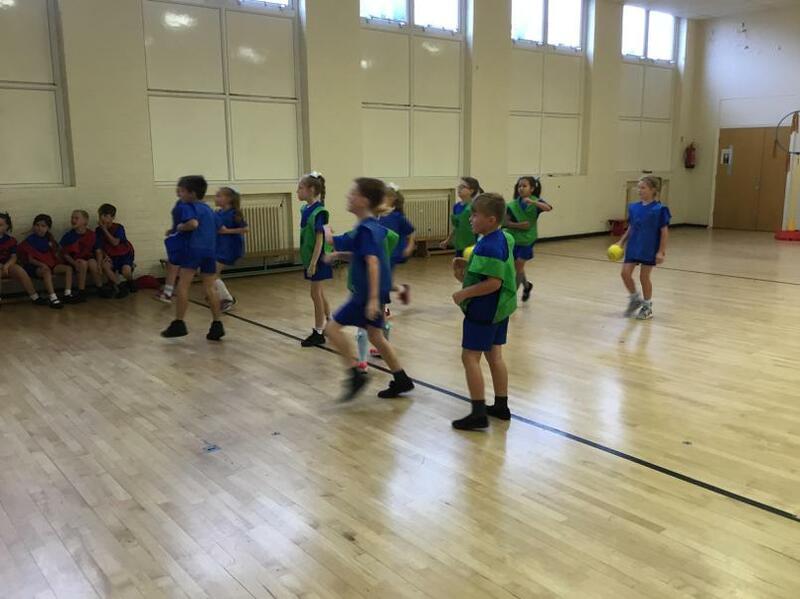 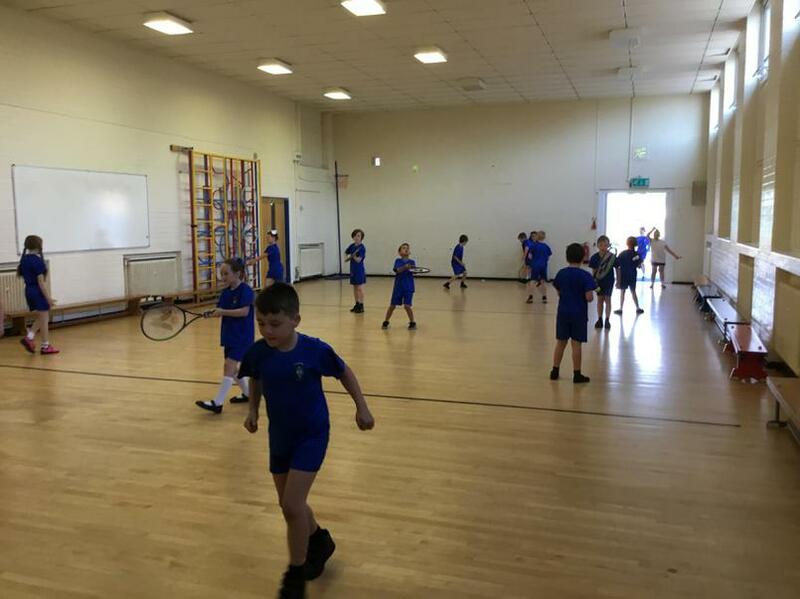 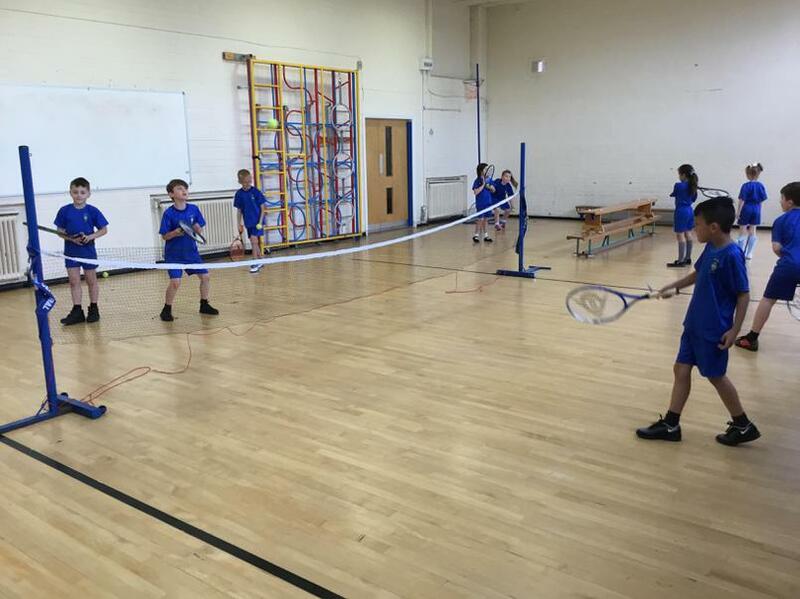 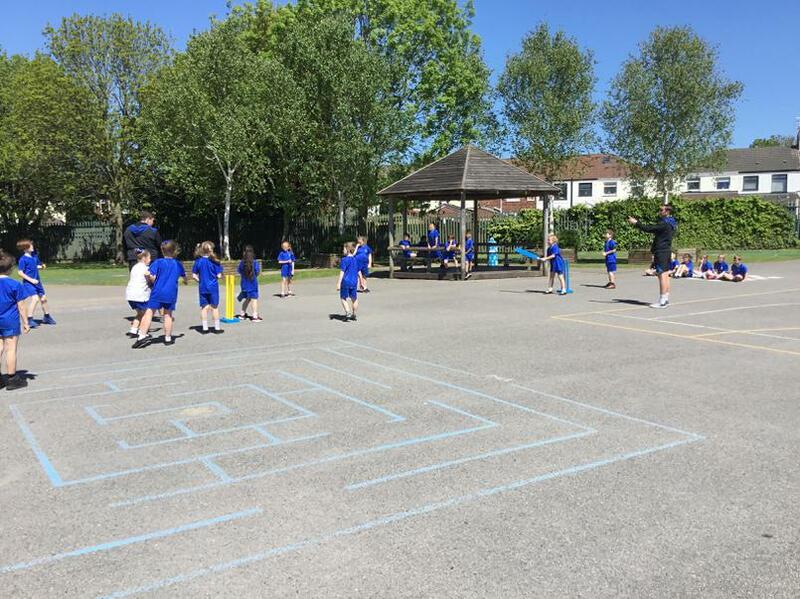 This half term the children have been learning to play tennis and cricket whilst practising their hand eye co-ordination skills and teamwork. 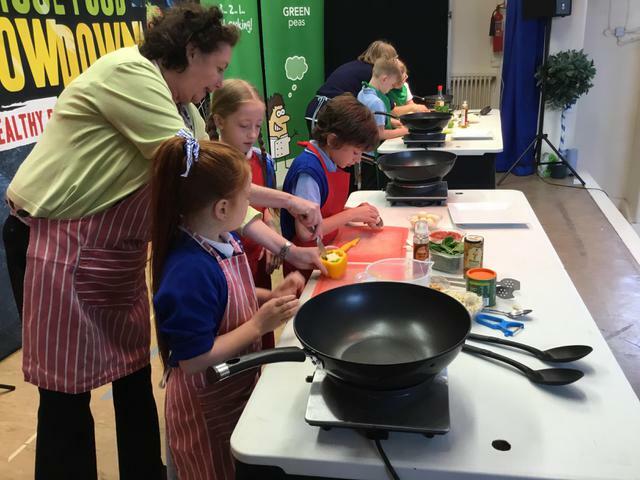 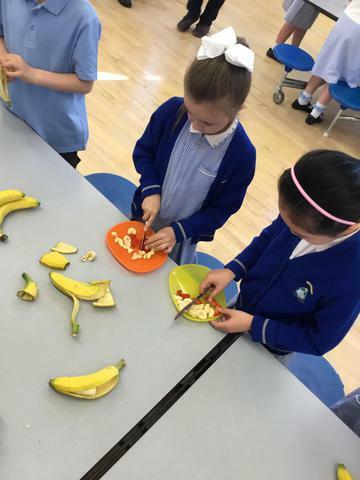 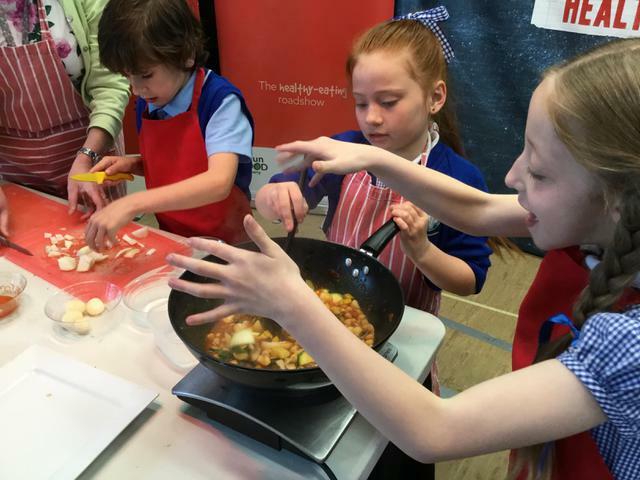 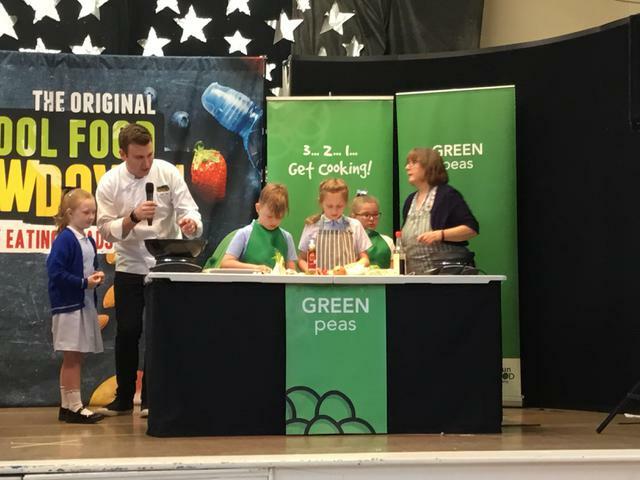 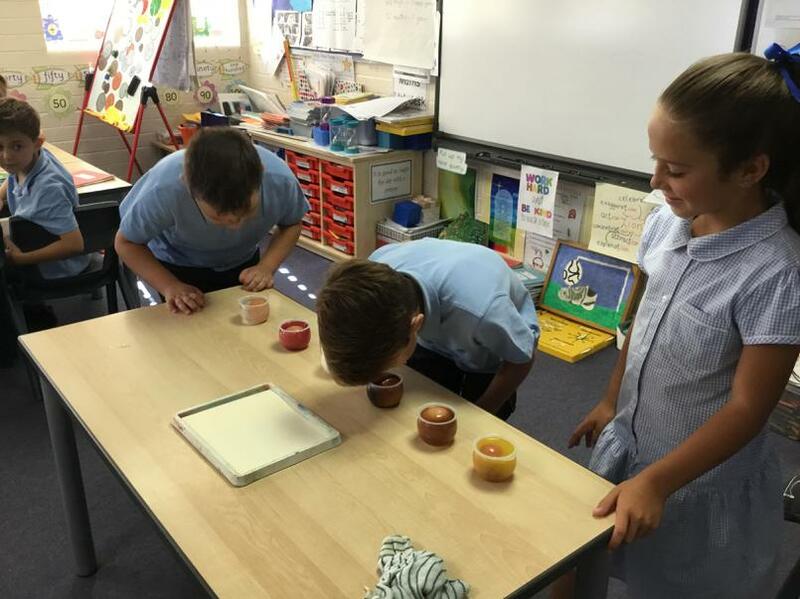 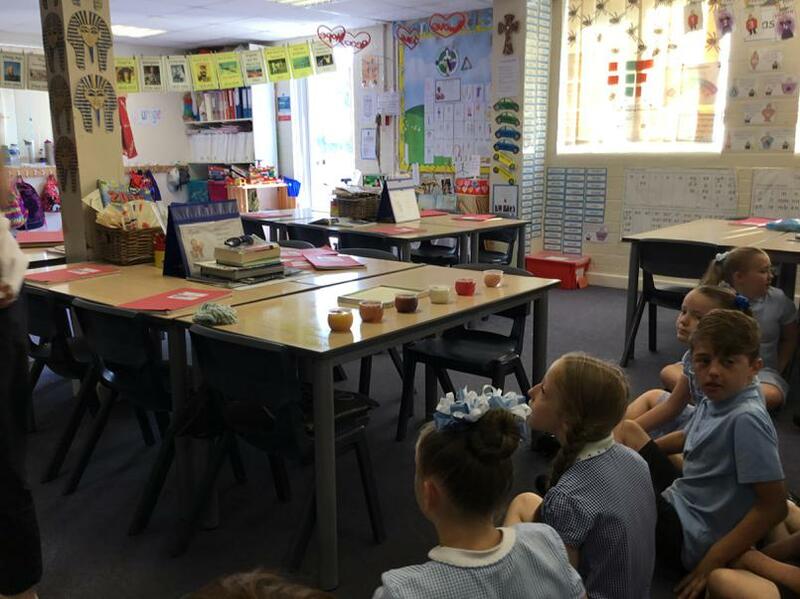 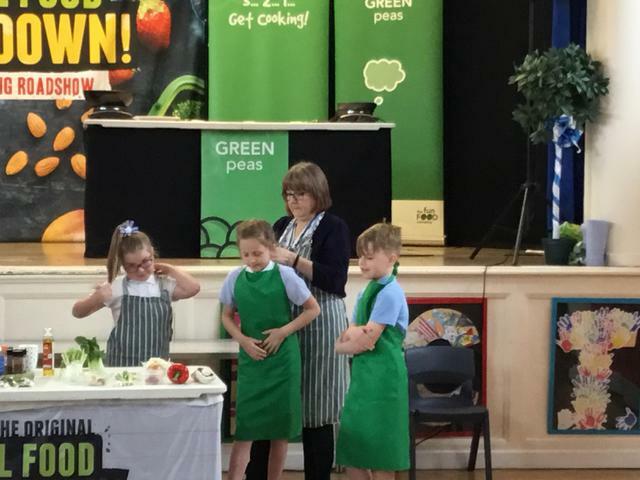 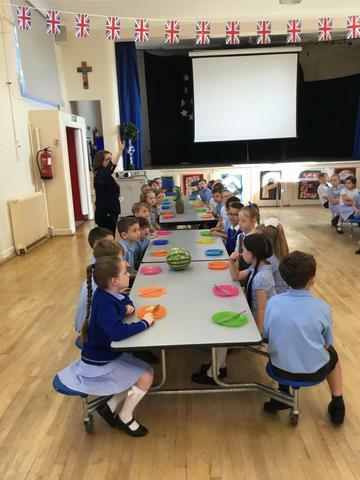 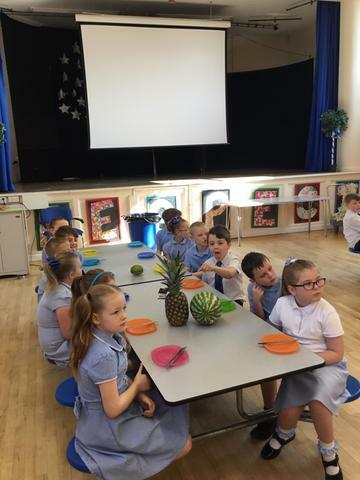 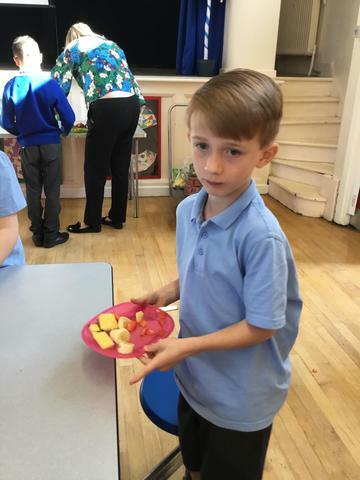 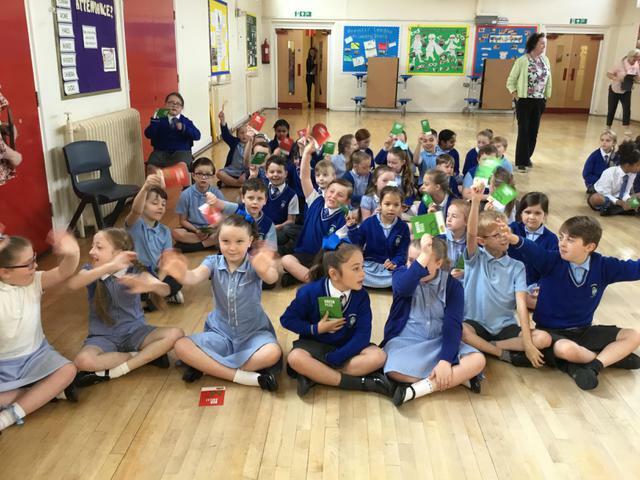 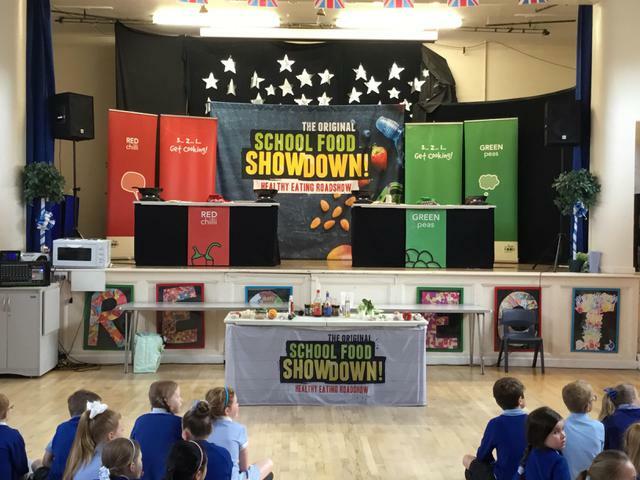 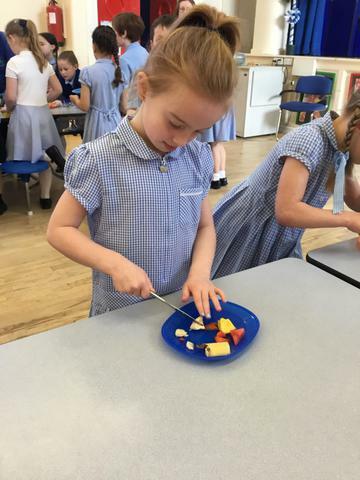 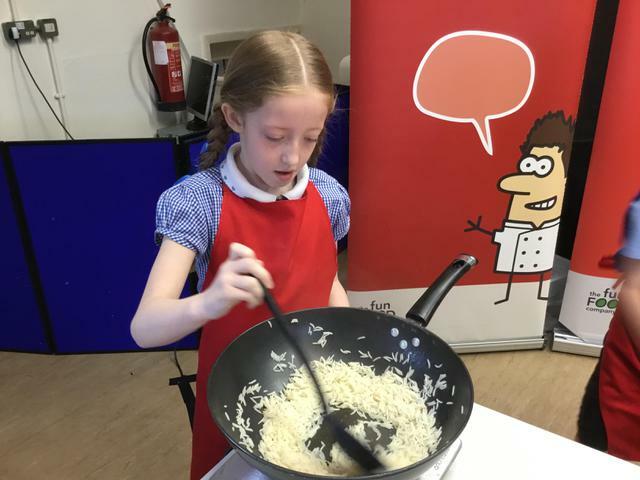 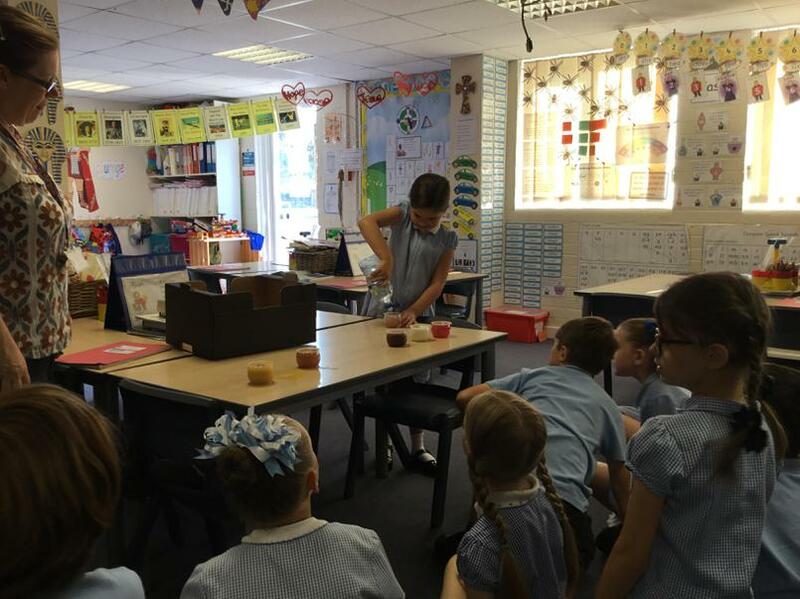 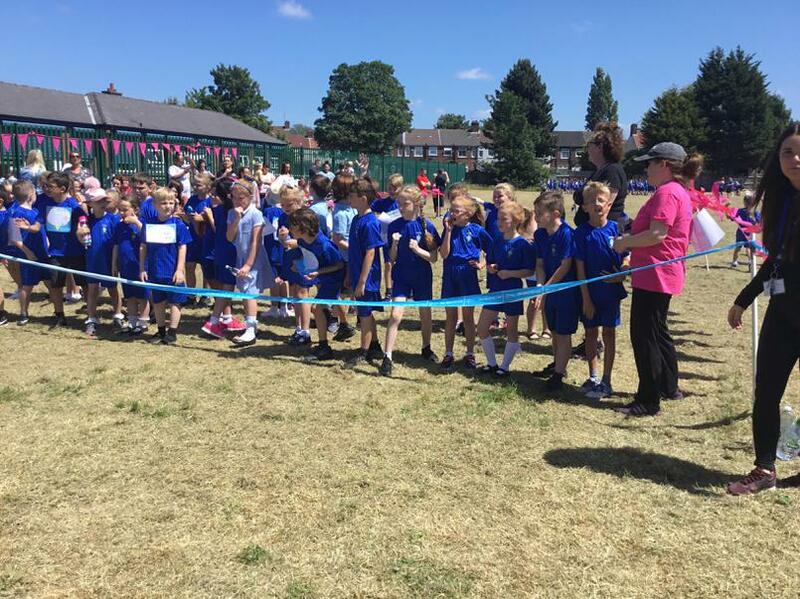 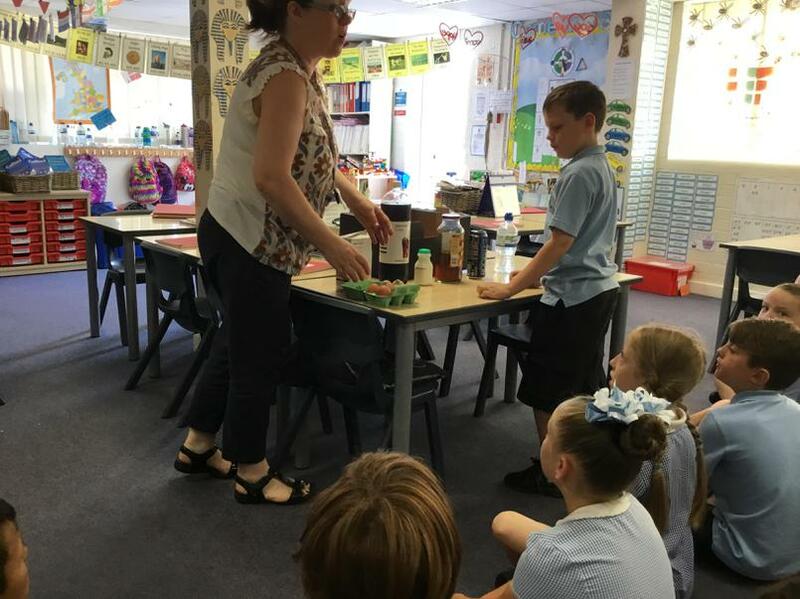 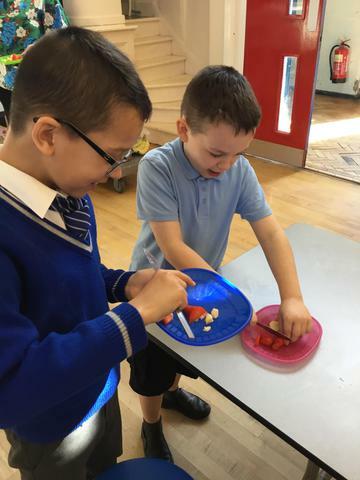 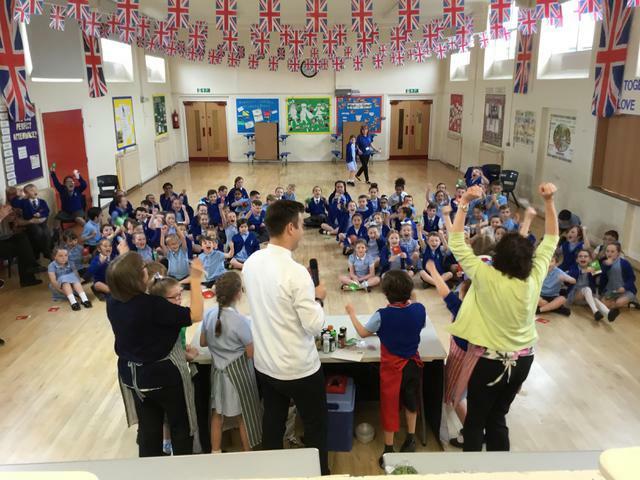 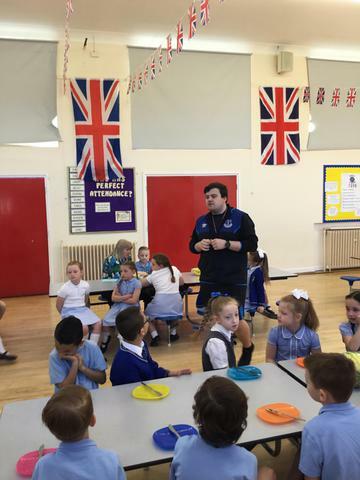 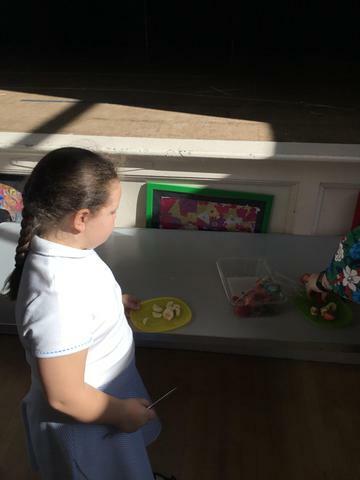 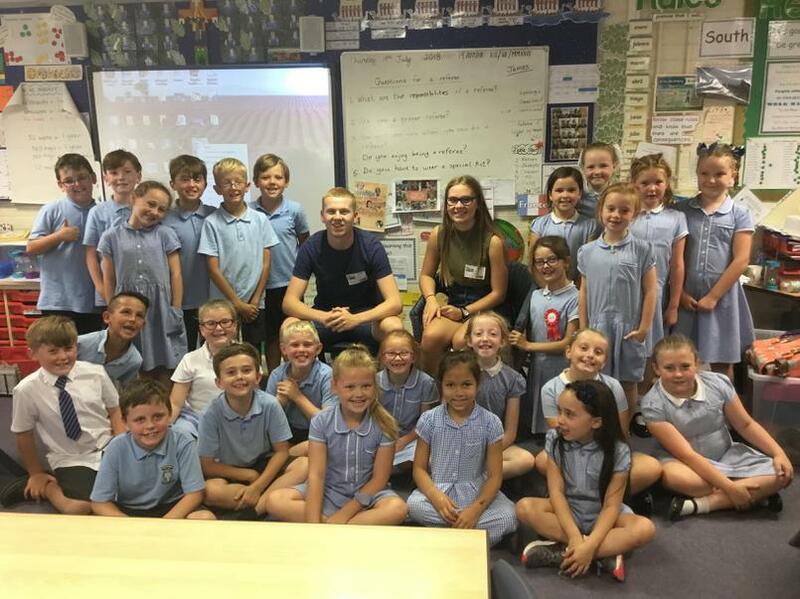 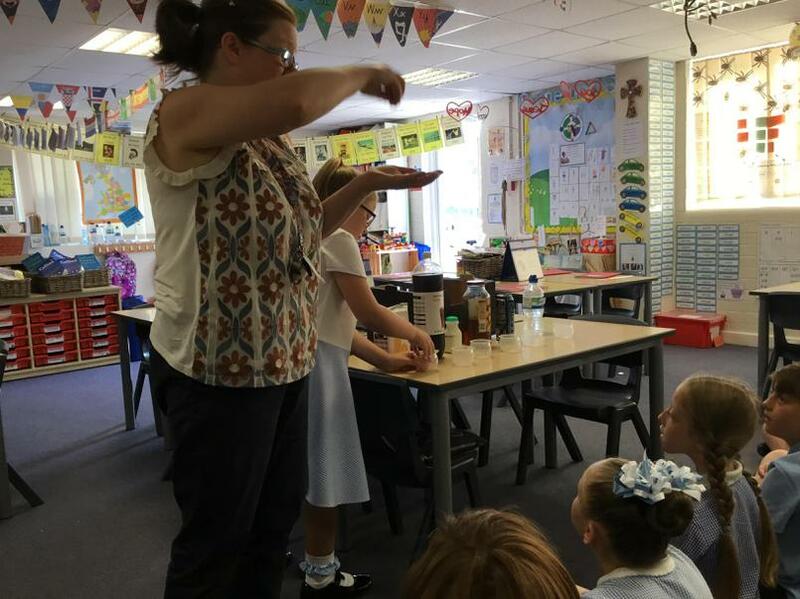 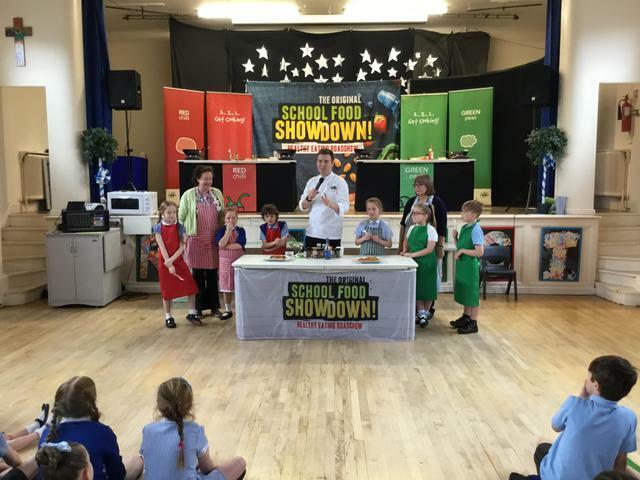 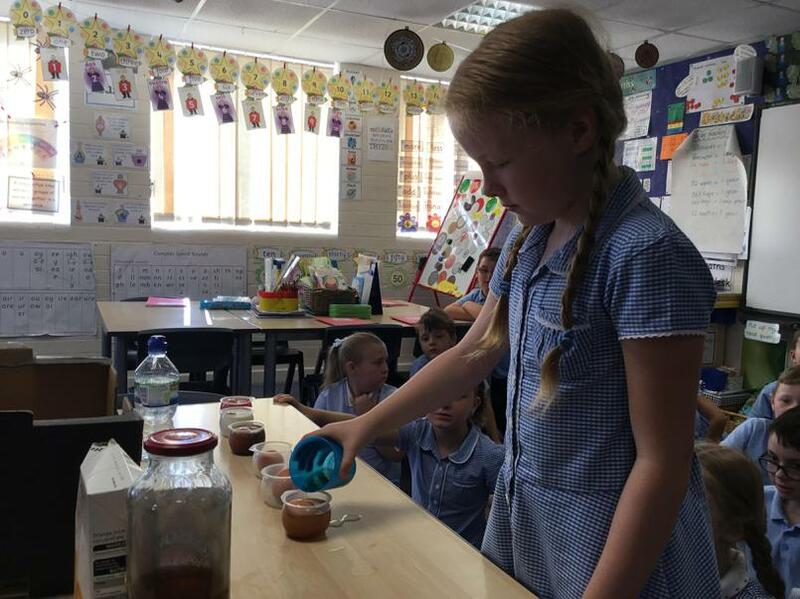 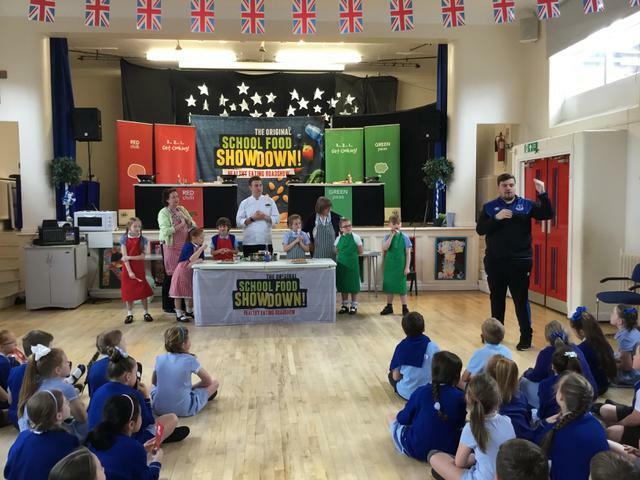 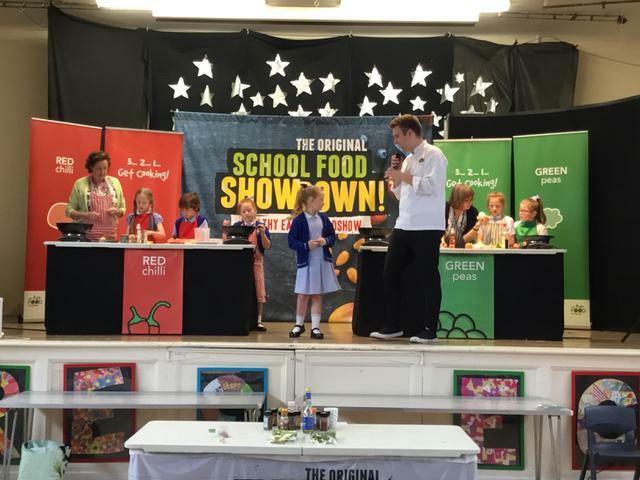 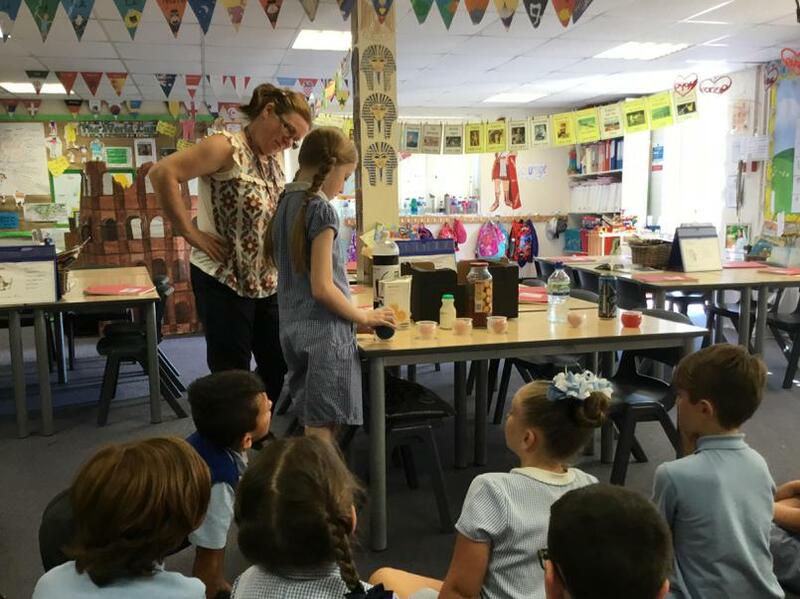 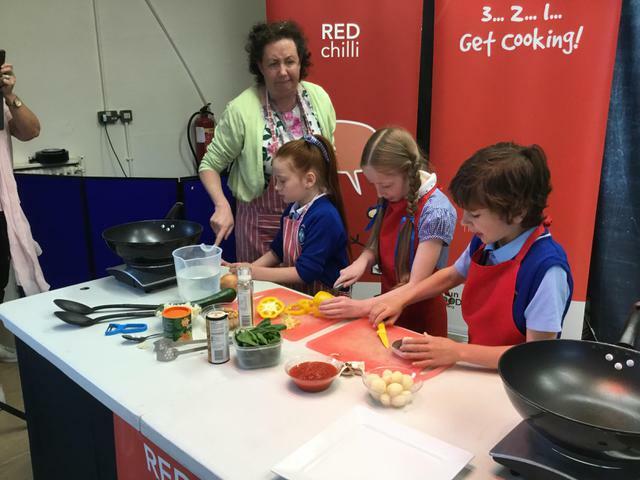 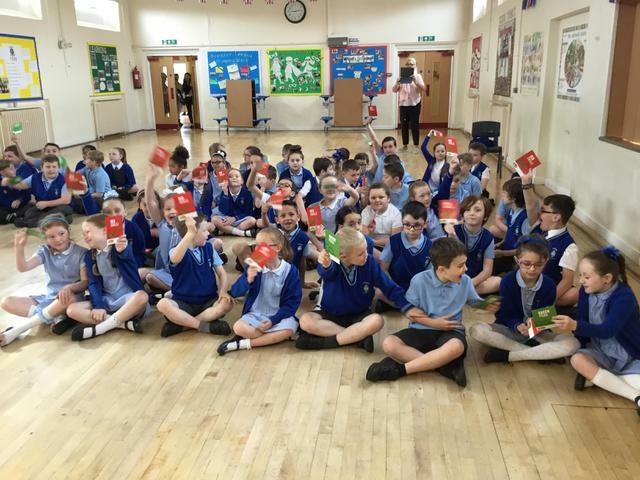 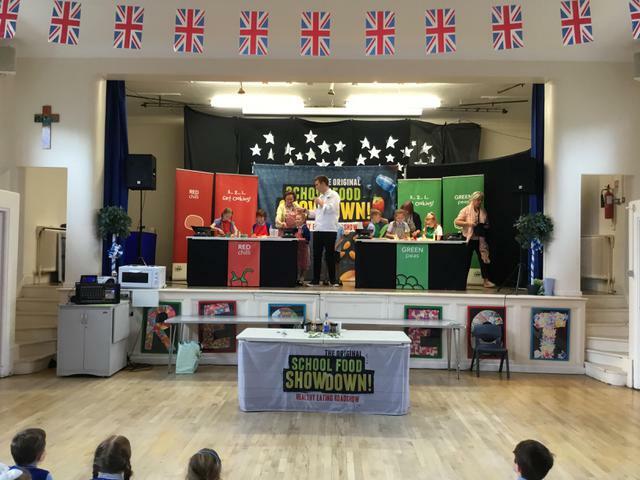 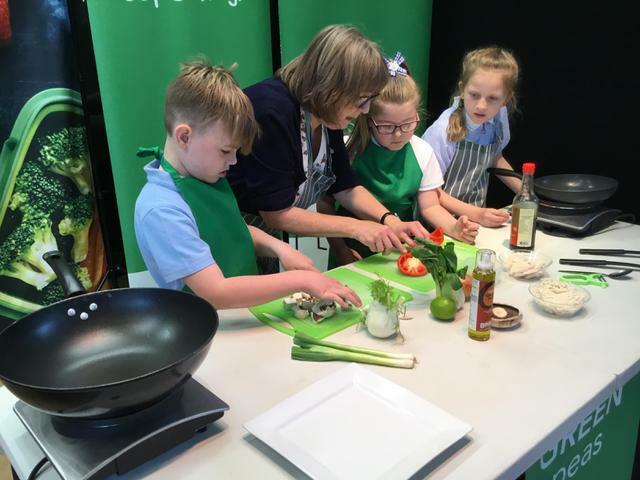 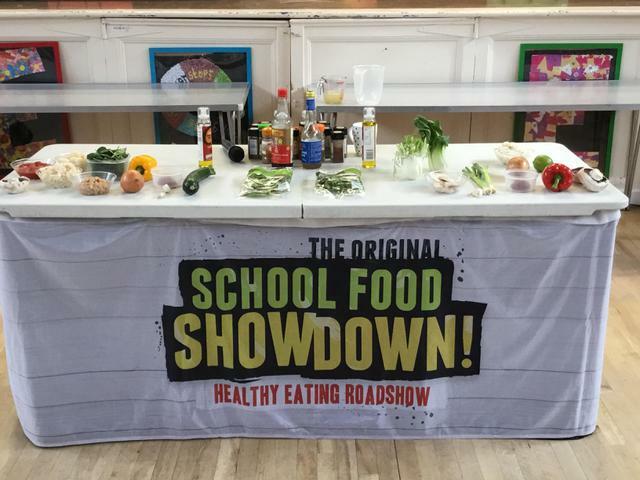 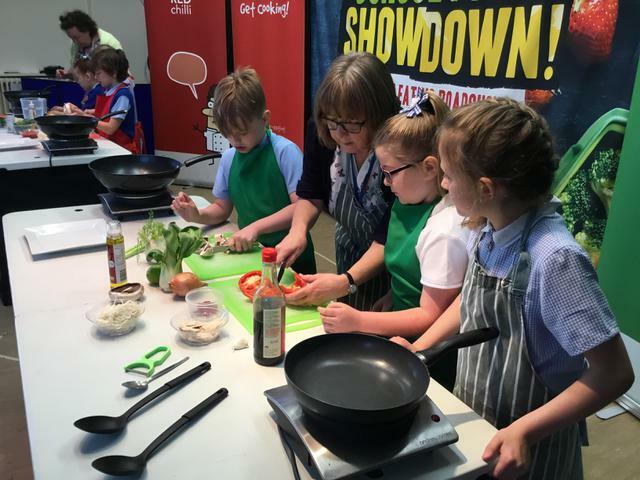 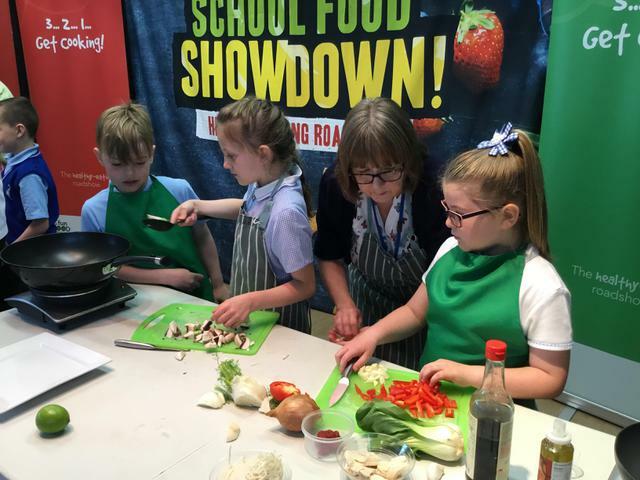 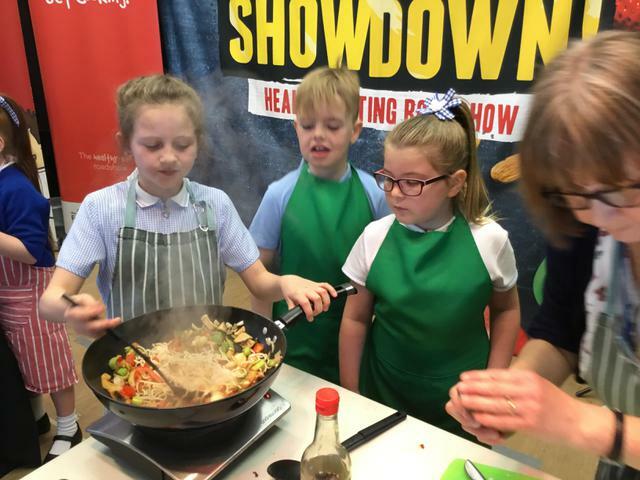 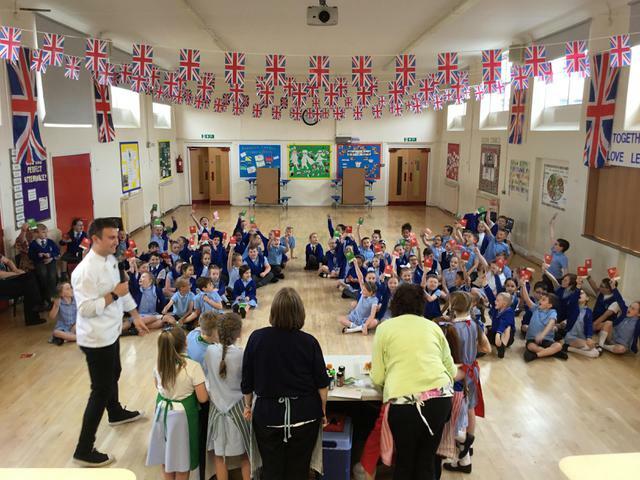 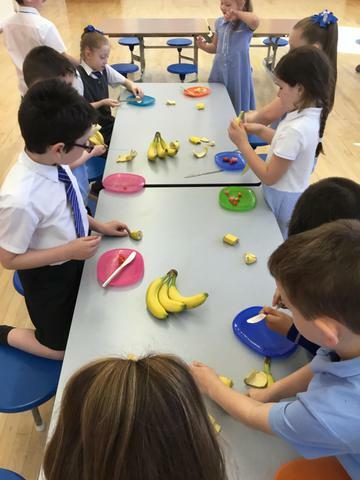 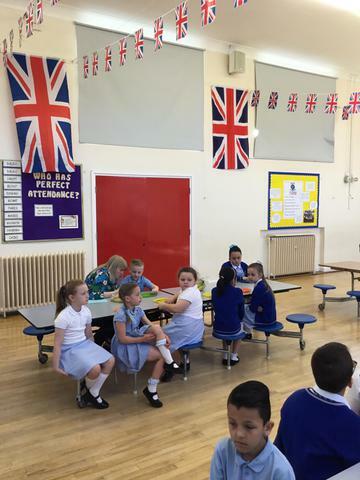 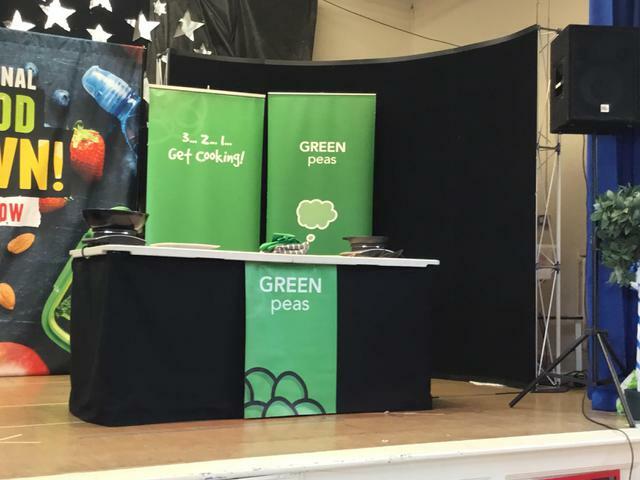 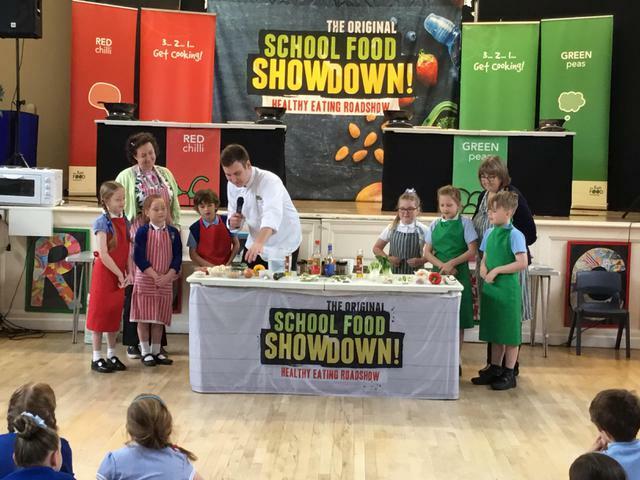 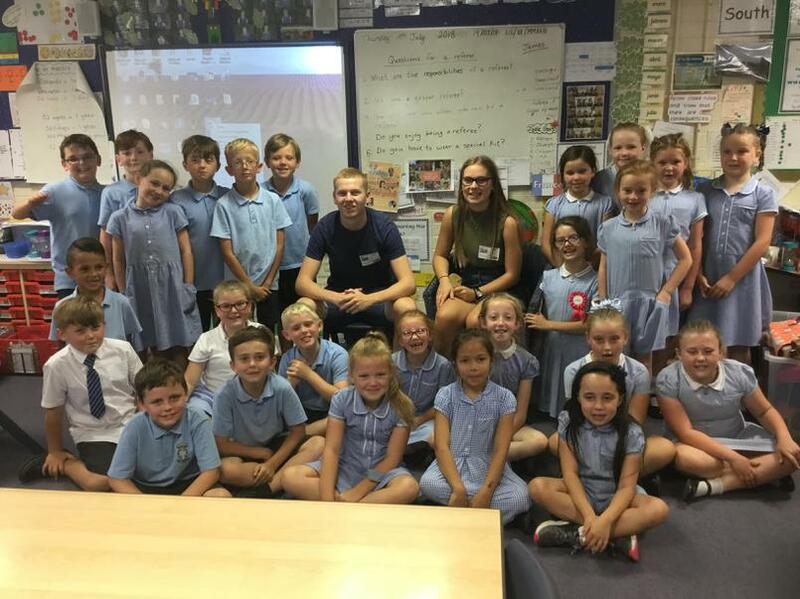 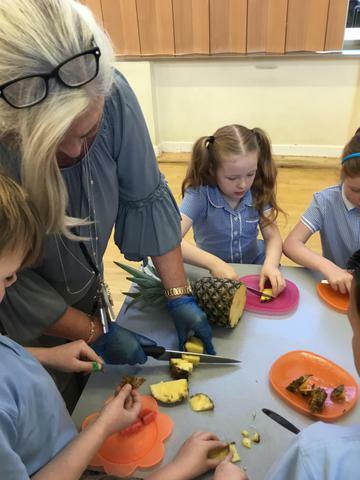 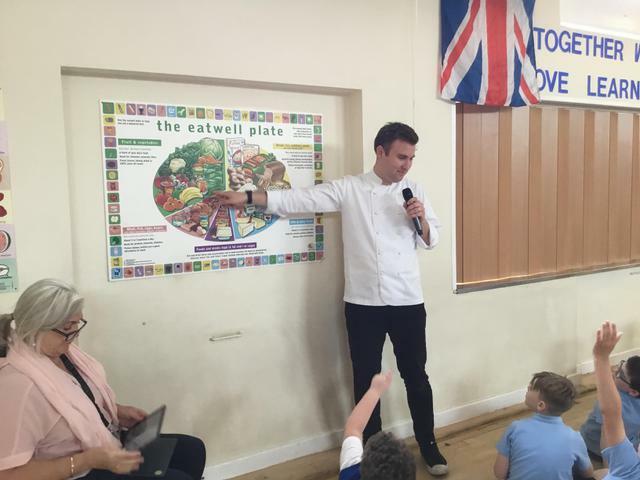 Year 3 and 4 took part in a healthy food School Food Showdown. 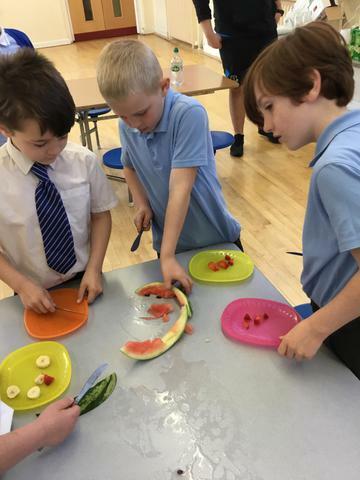 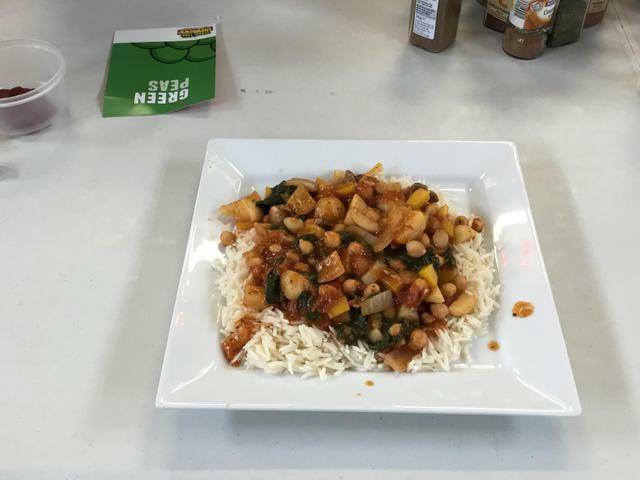 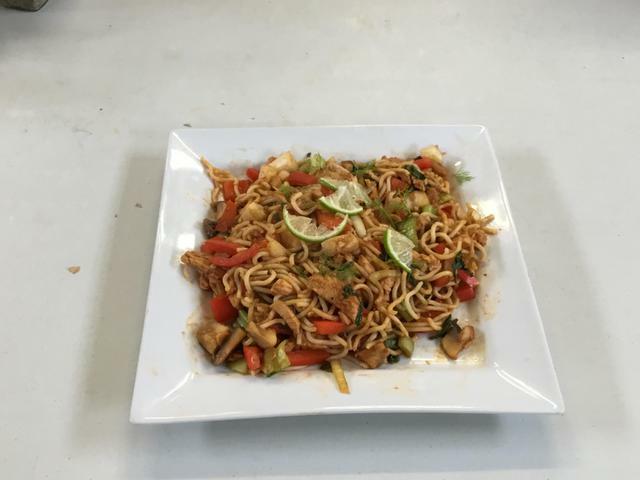 Teams of four had to prepare and cook a healthy meal in 15 minutes. 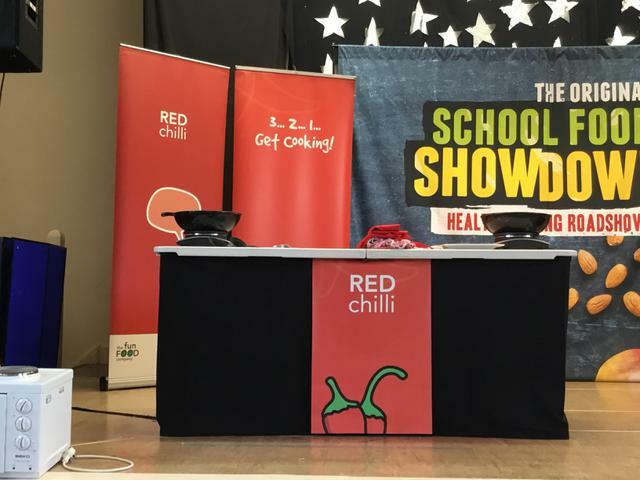 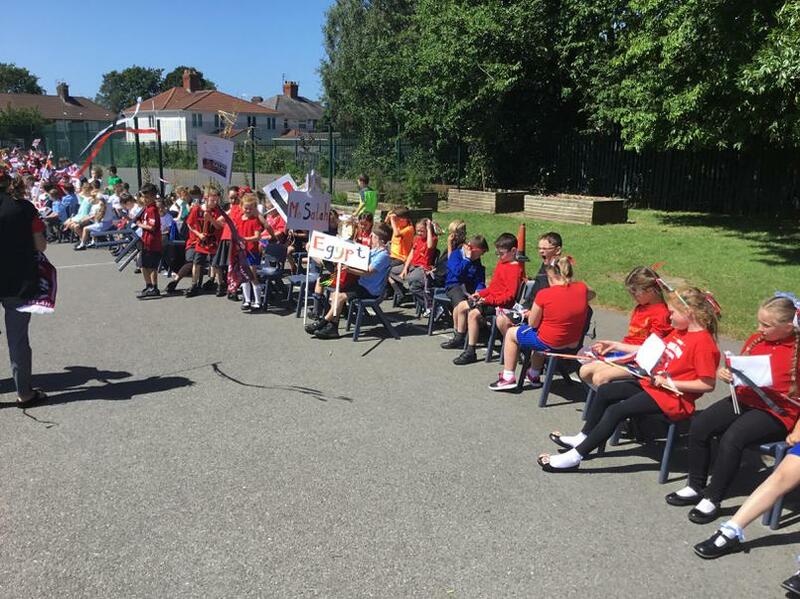 The teams were called Red Chillis and Green Peas. 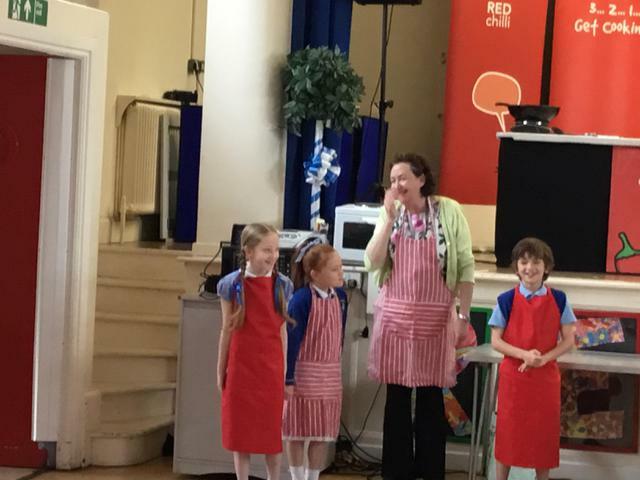 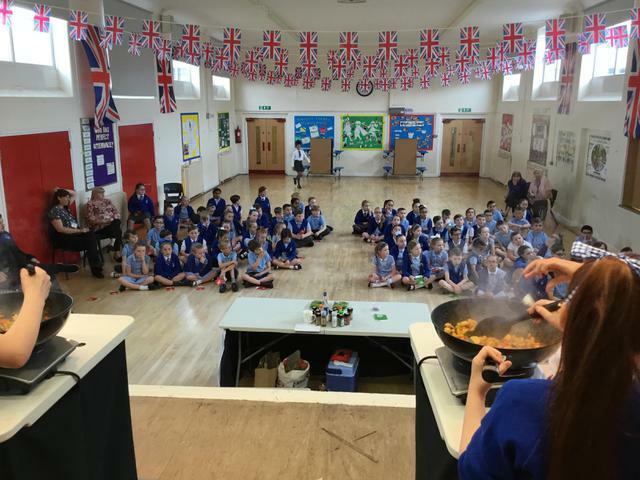 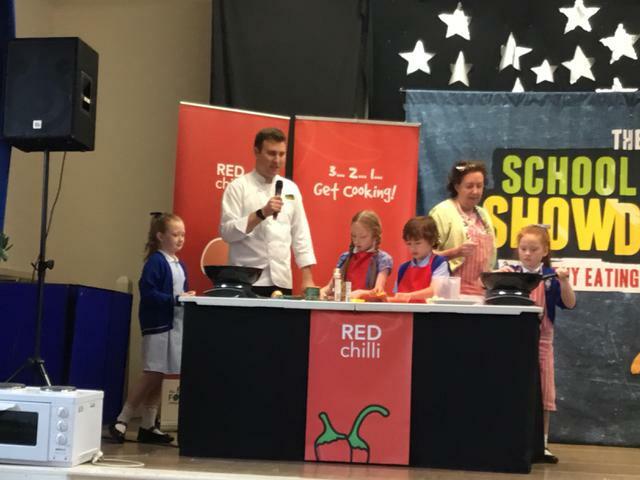 The teams had a great time cooking and the rest of the children formed the audience, answering questions with some chosen to taste the final results. 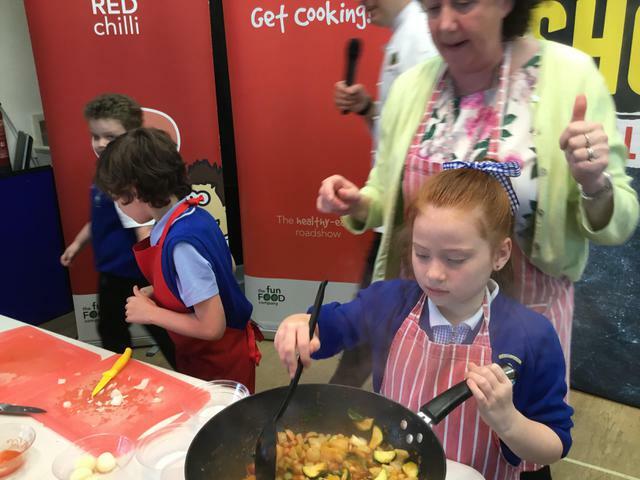 The Red Chillis cooked a vegetable curry, whilst the Green Peas cooked a chicken stir fry. 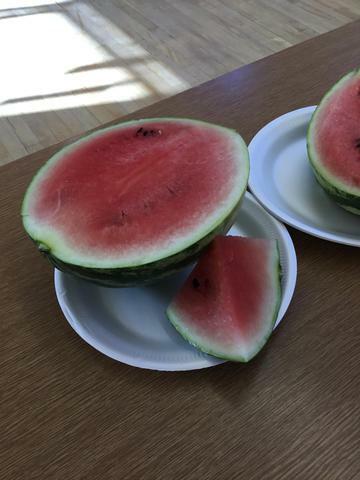 I can honestly say they both tasted delicious! 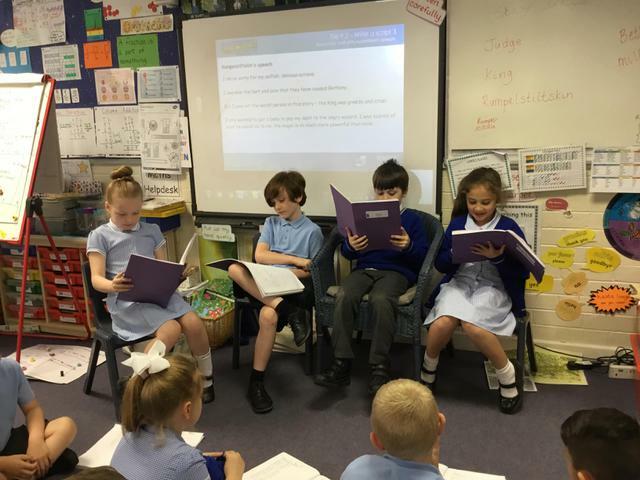 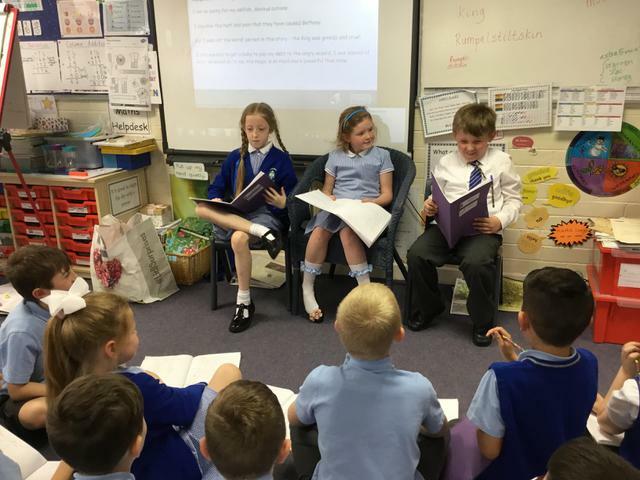 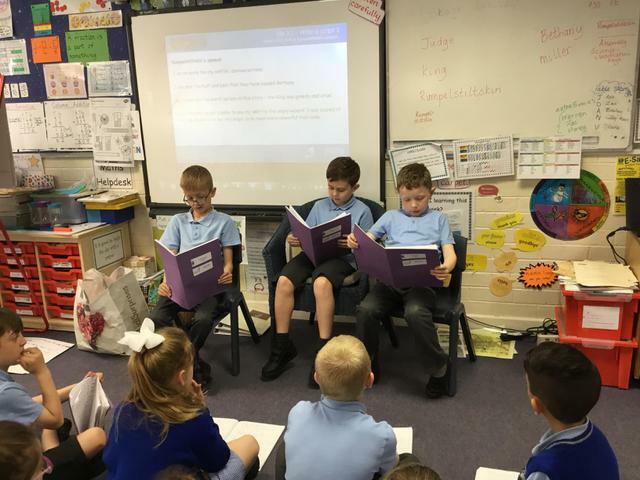 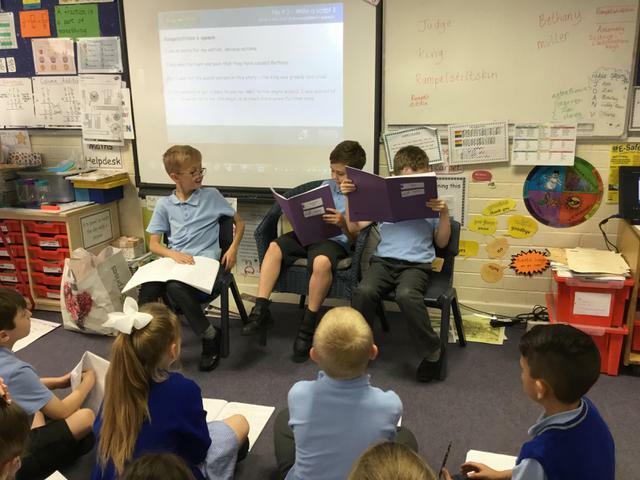 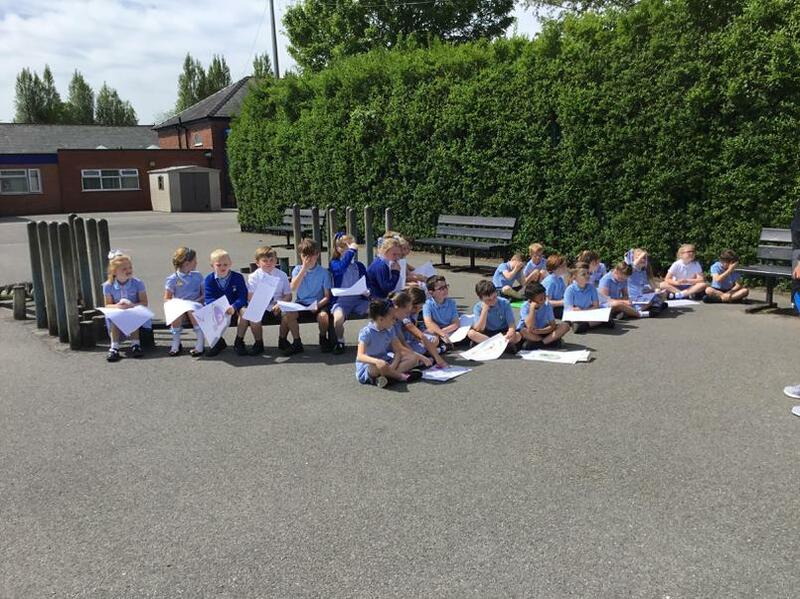 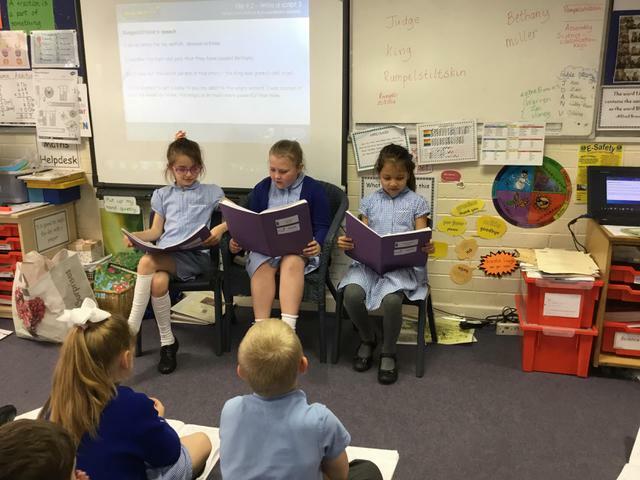 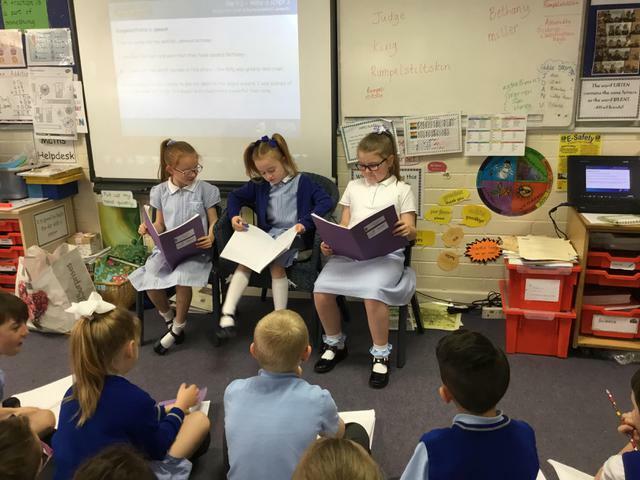 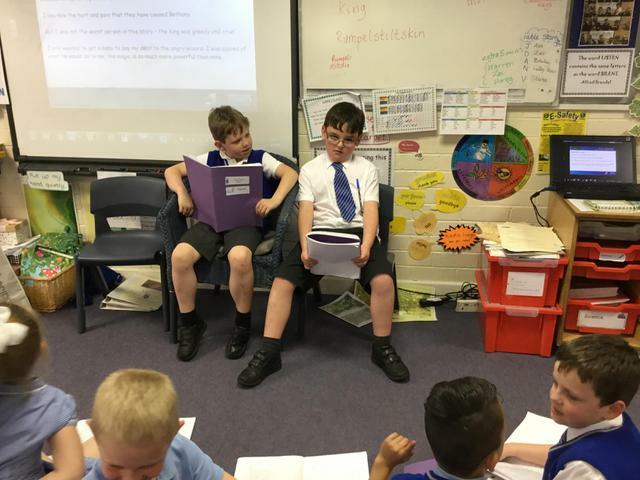 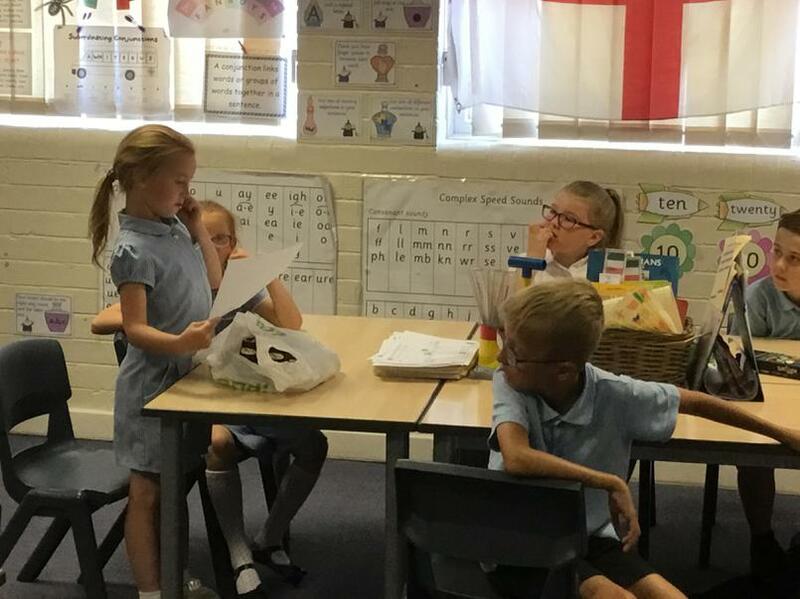 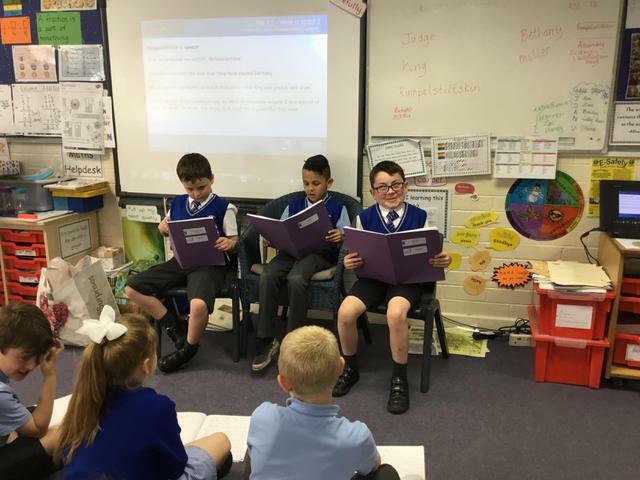 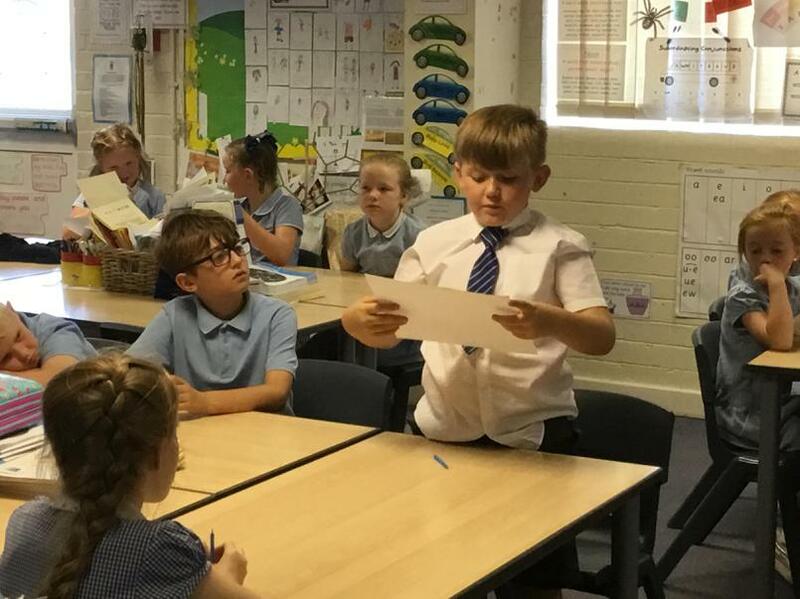 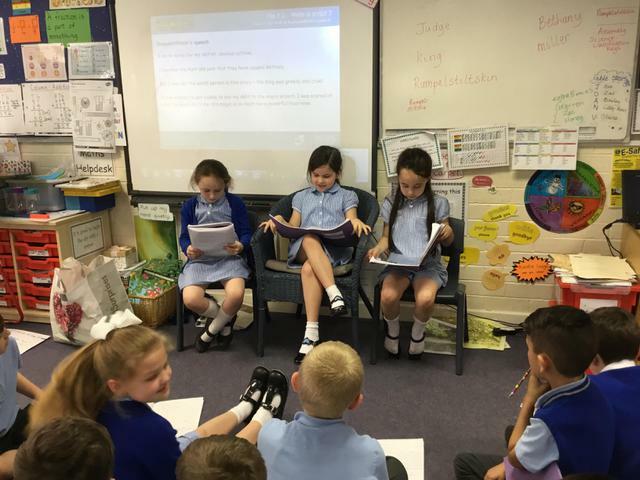 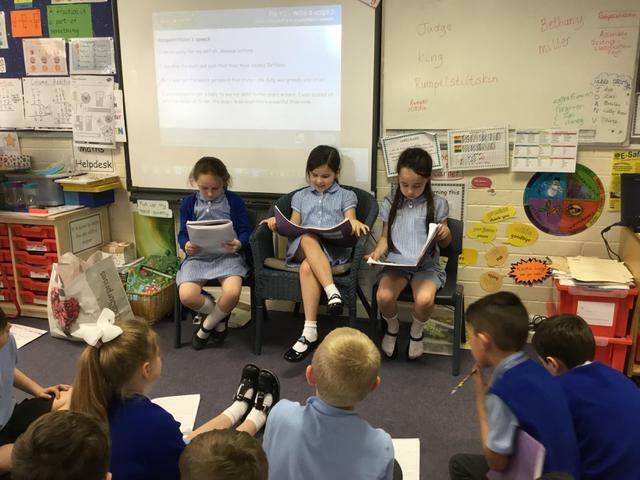 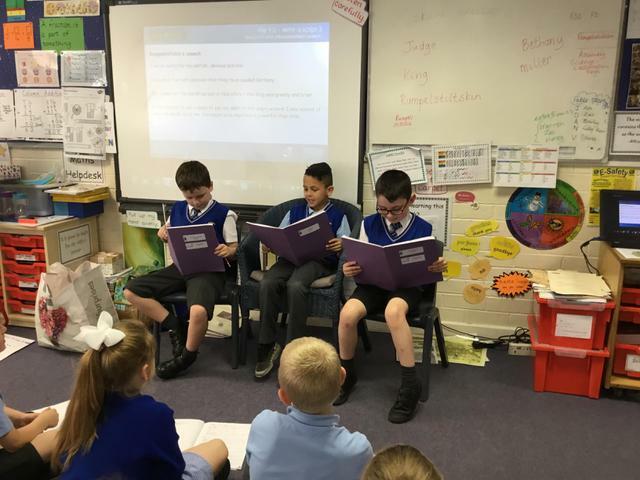 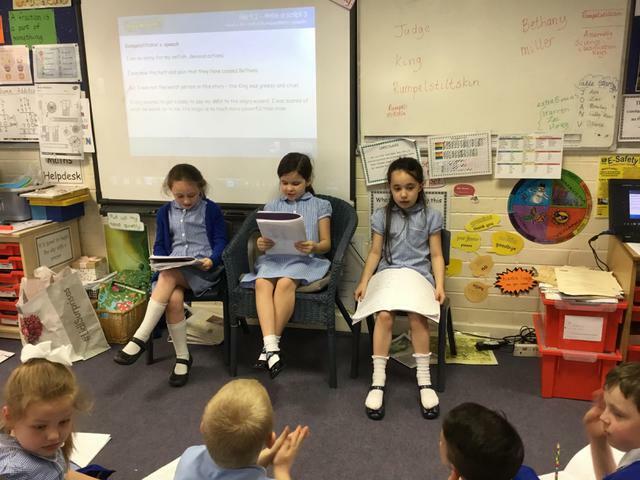 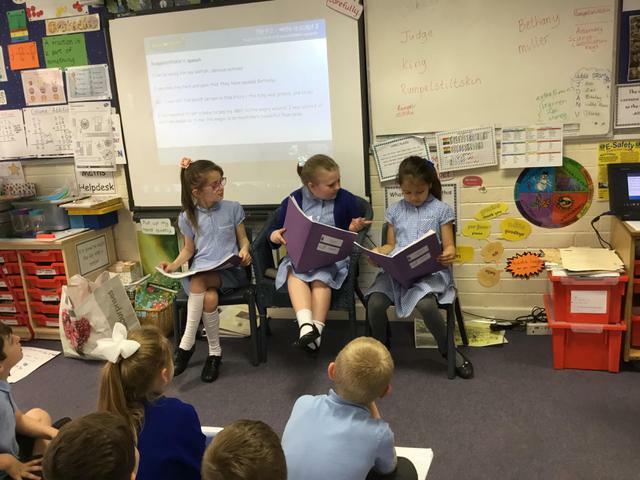 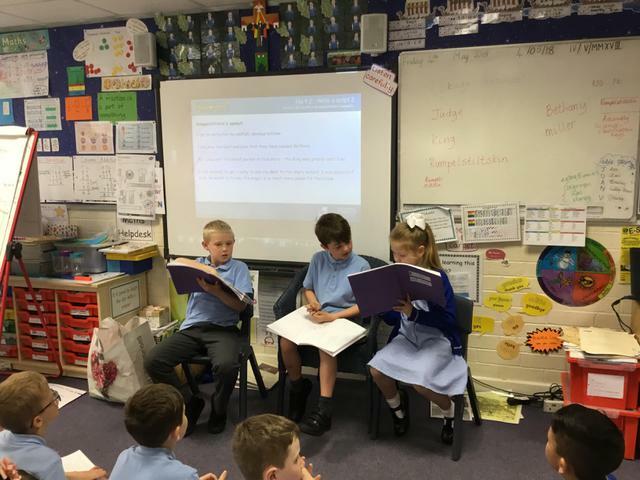 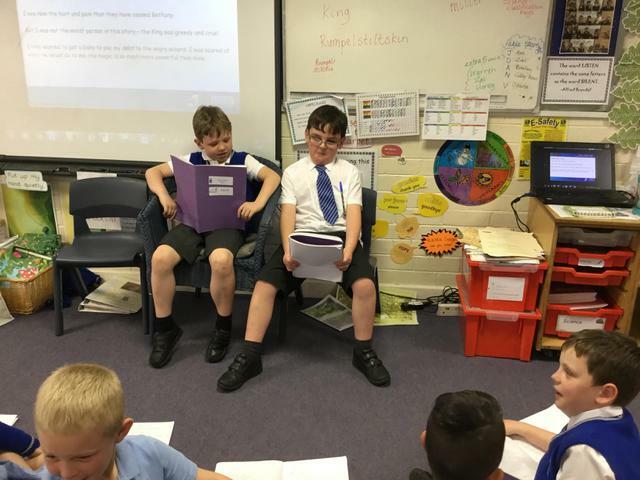 The children wrote a playscript and read it to the class. 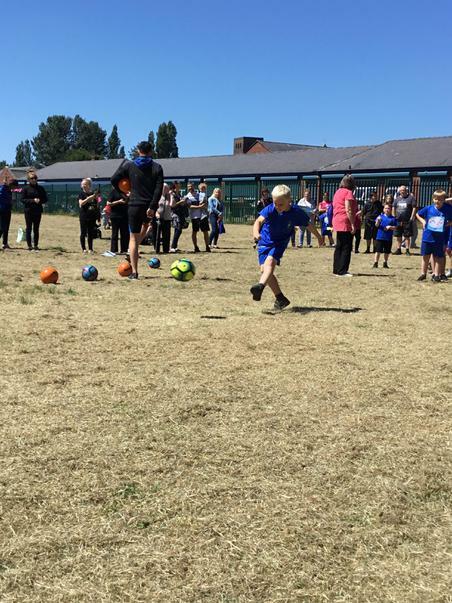 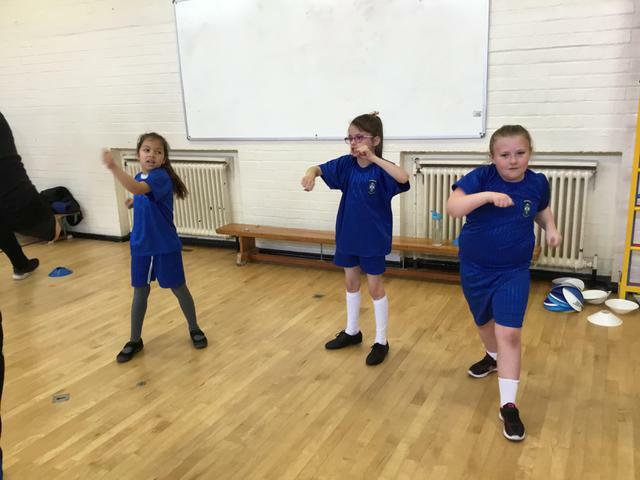 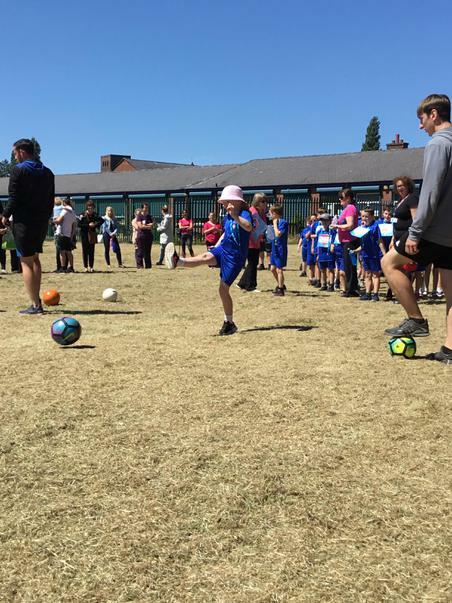 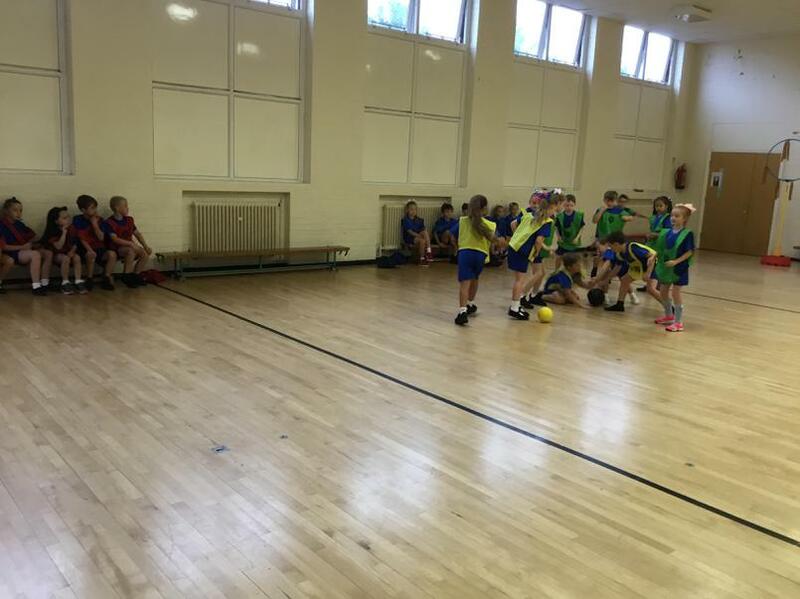 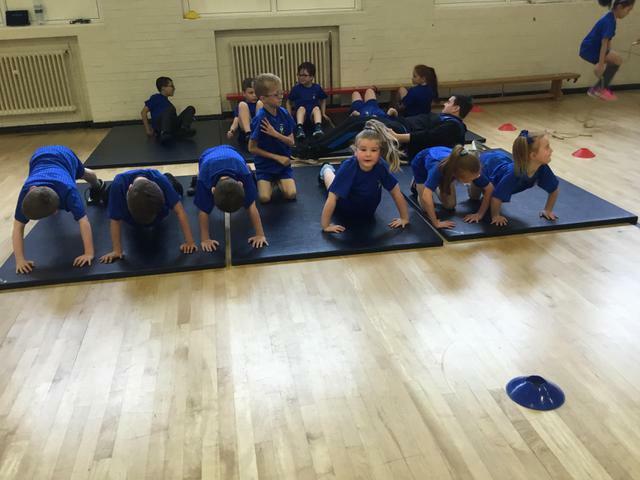 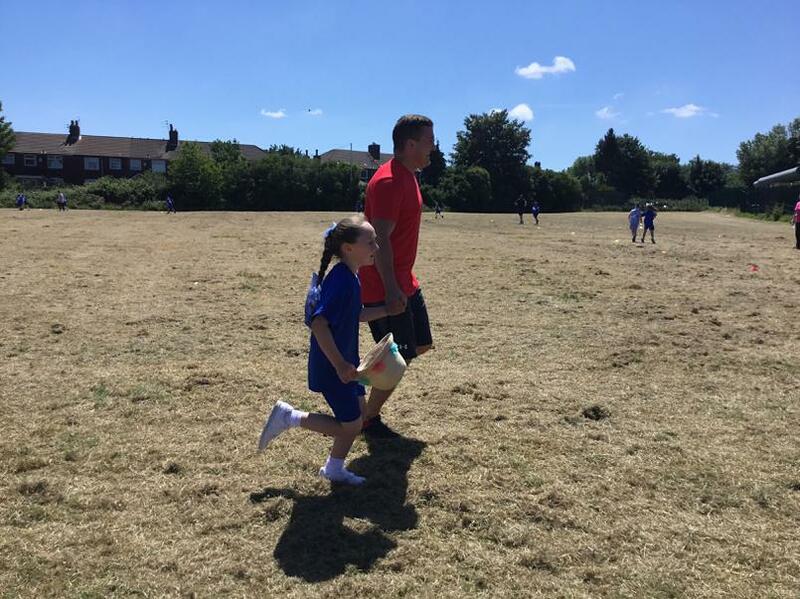 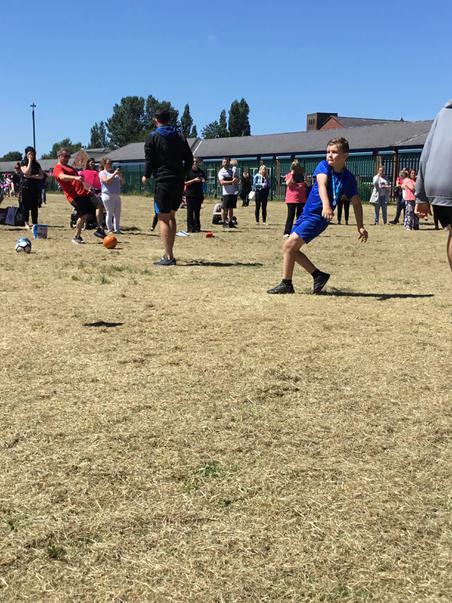 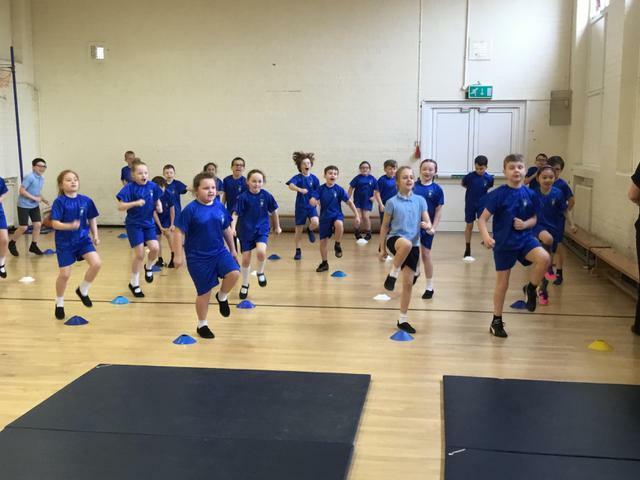 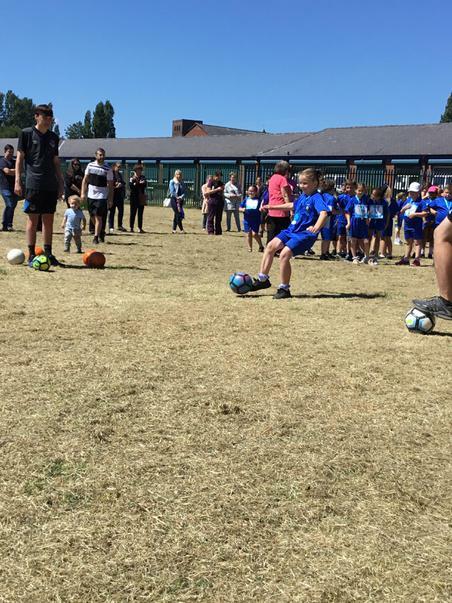 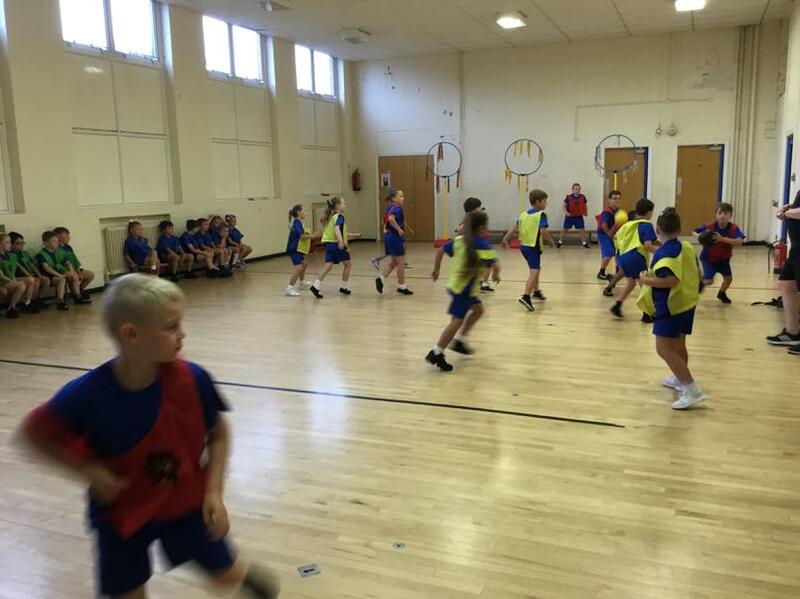 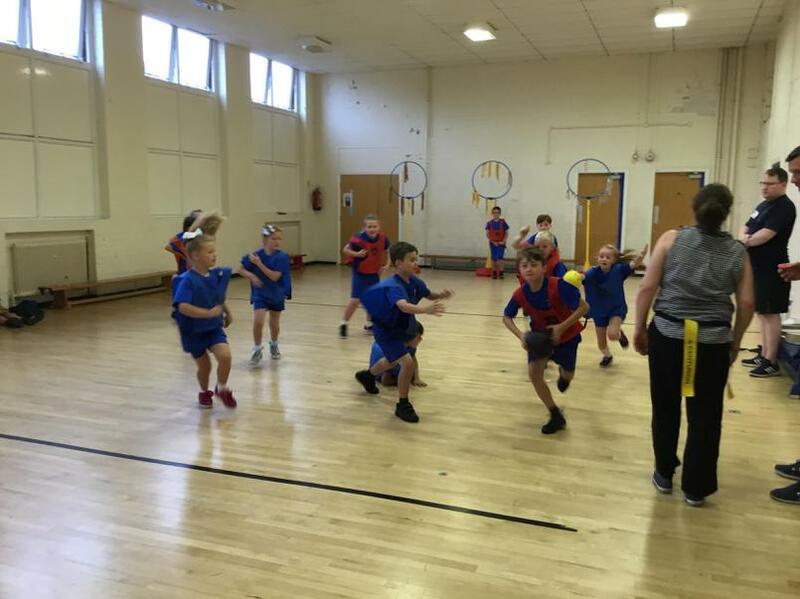 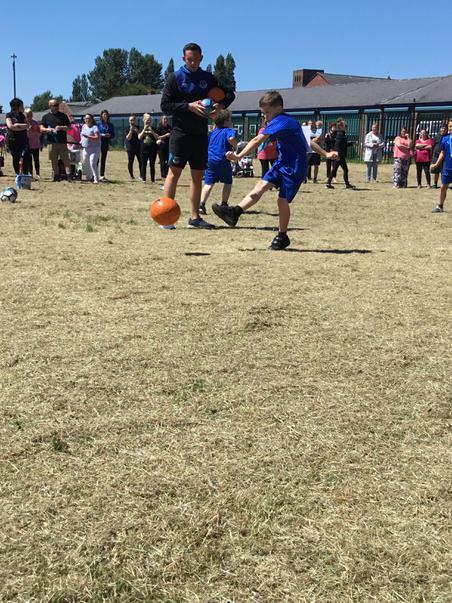 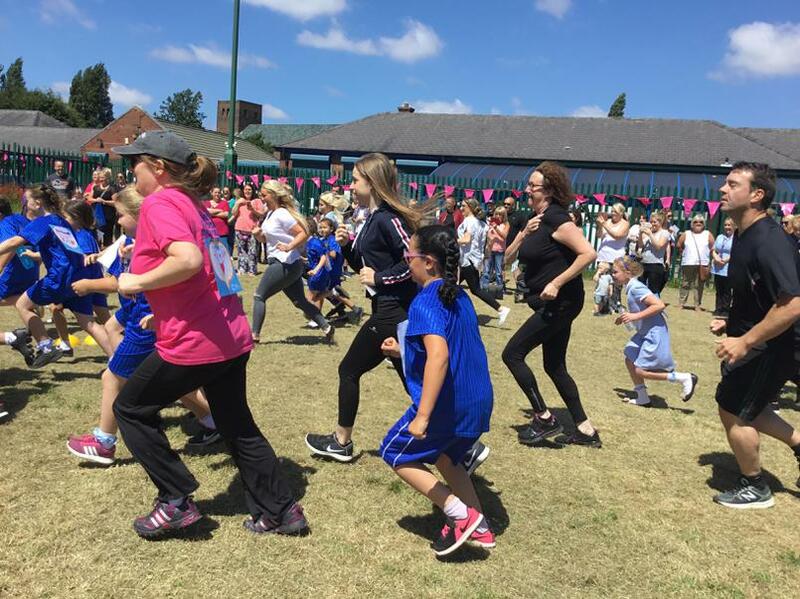 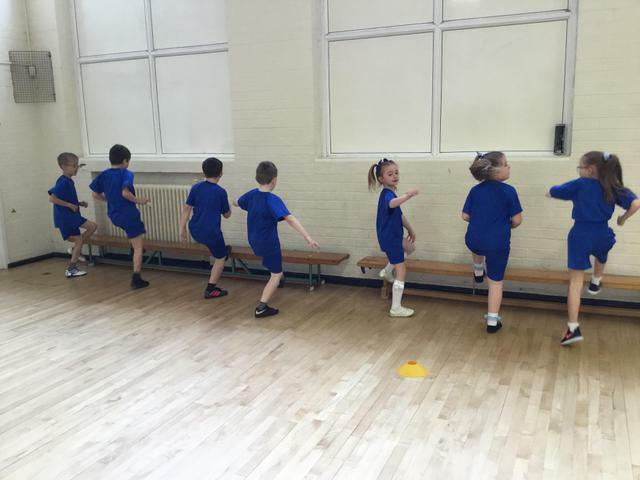 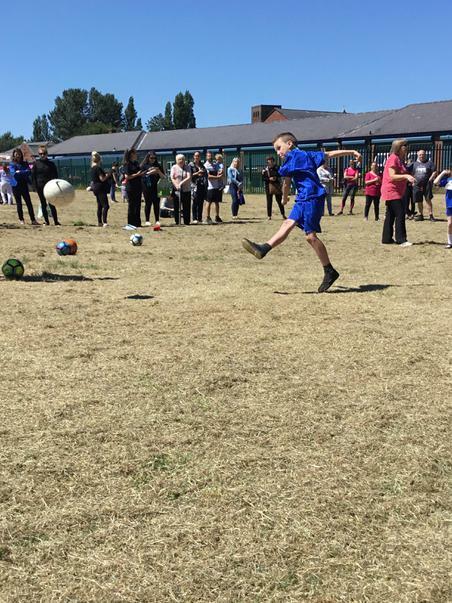 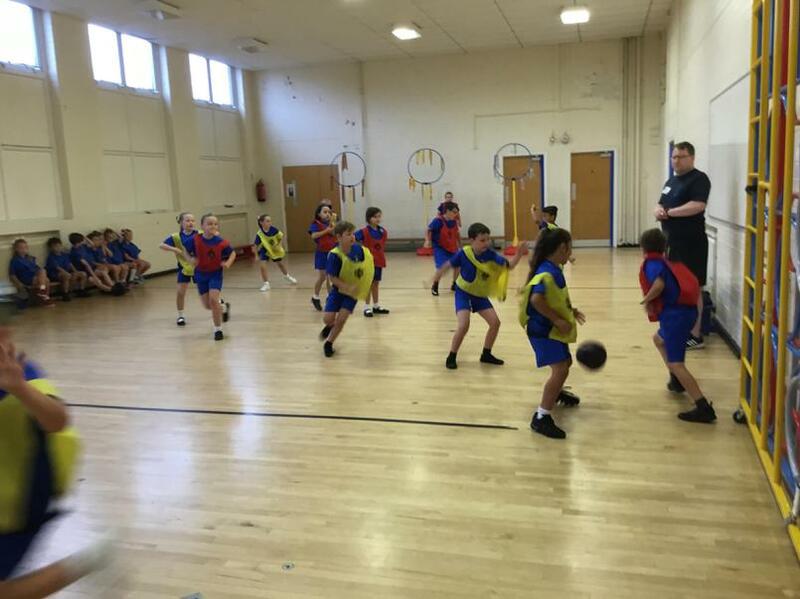 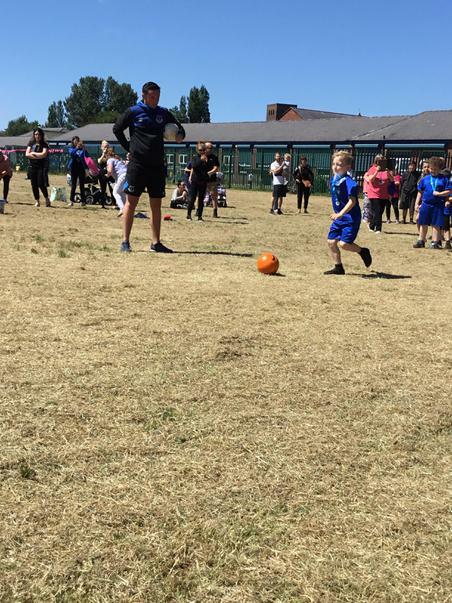 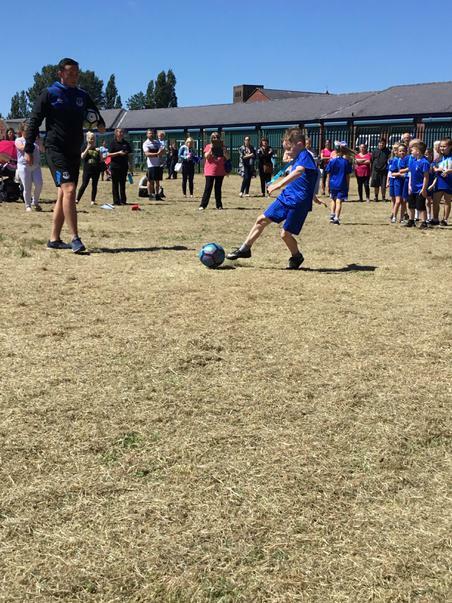 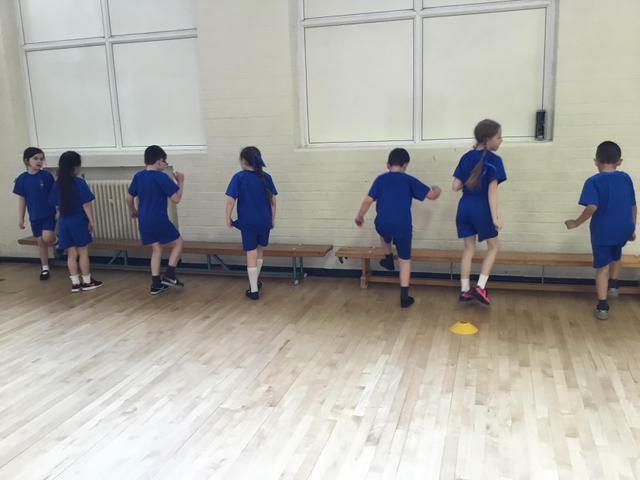 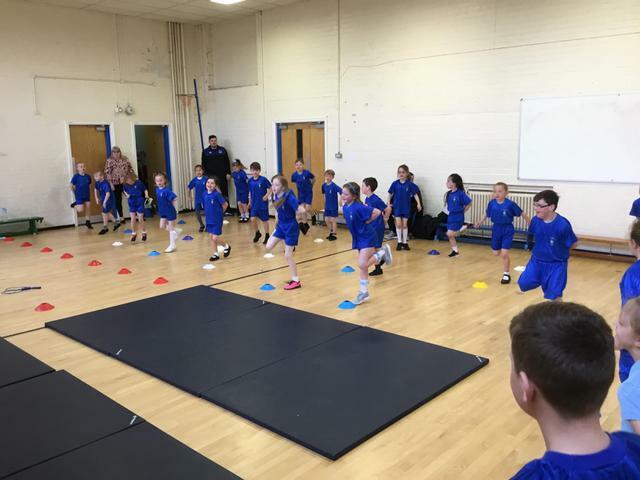 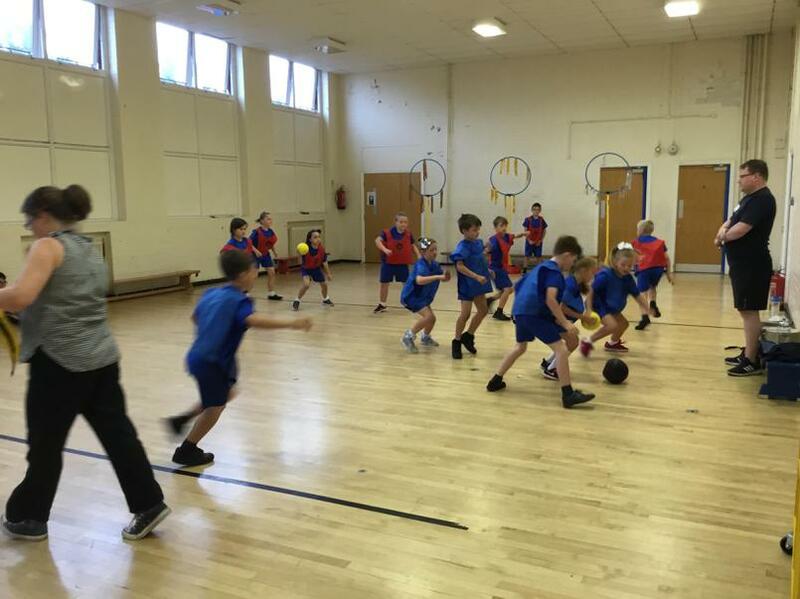 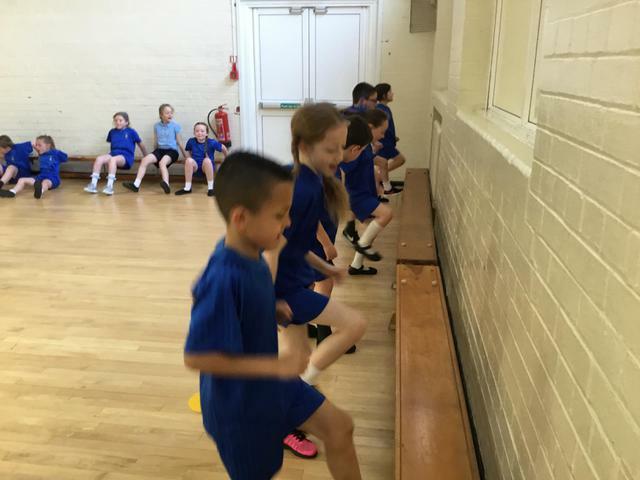 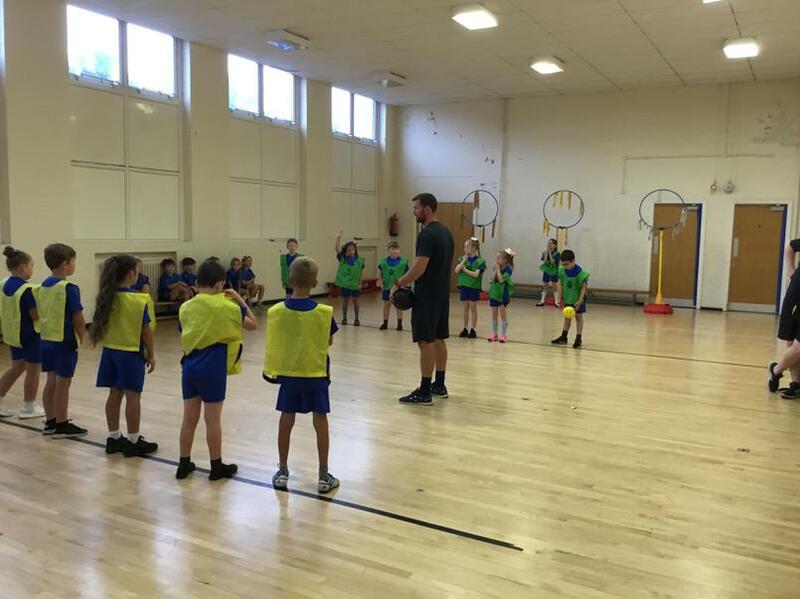 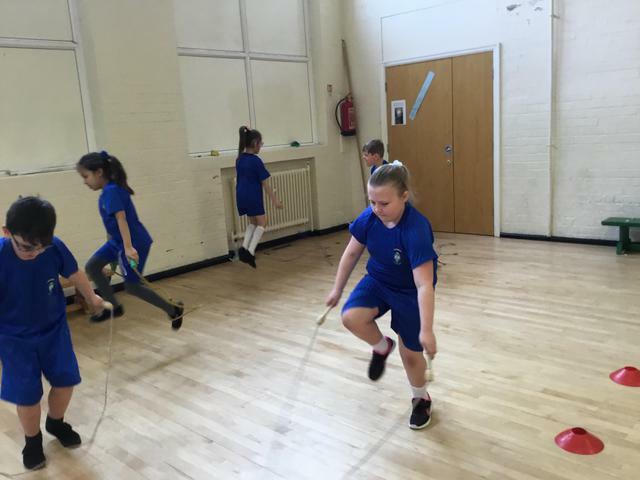 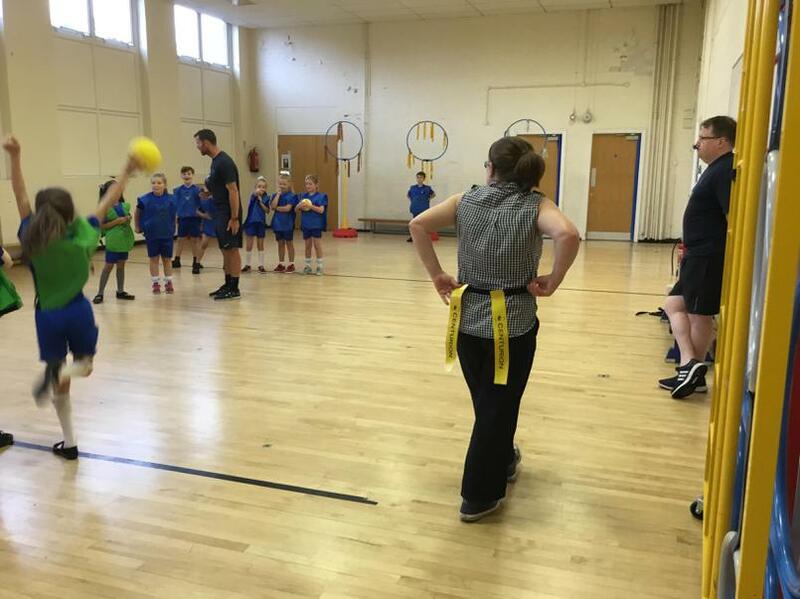 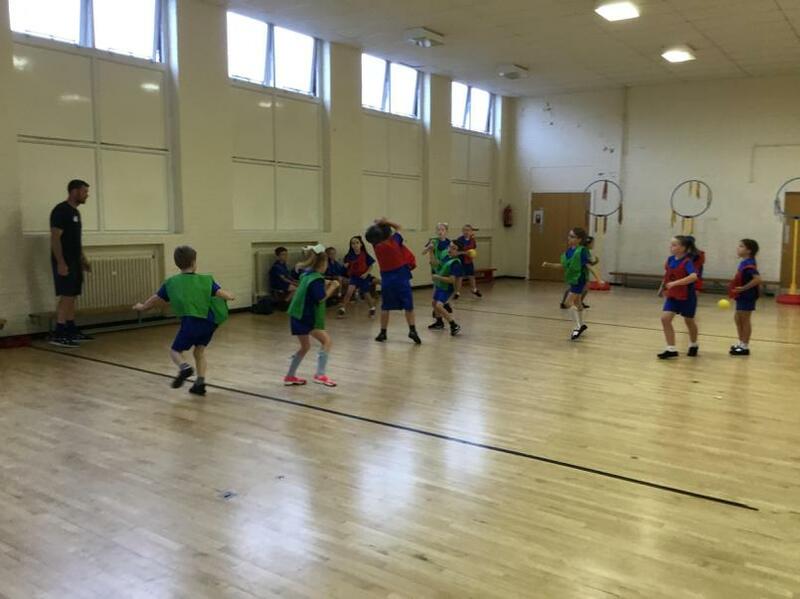 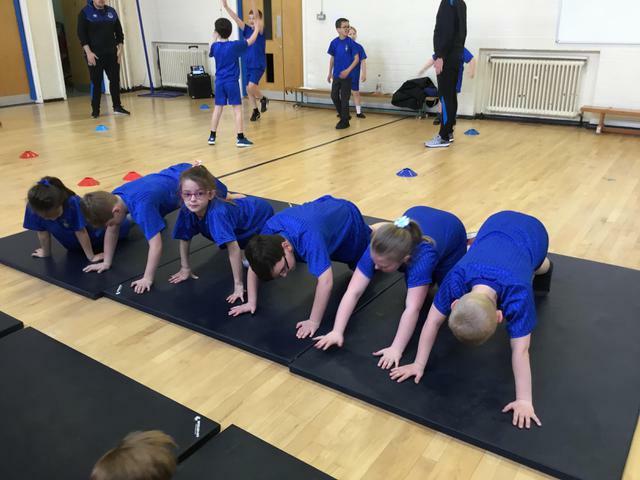 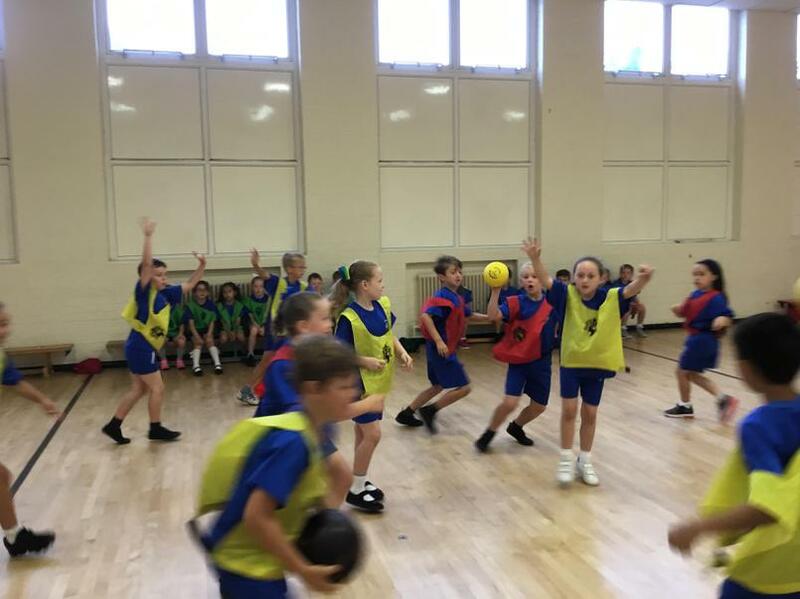 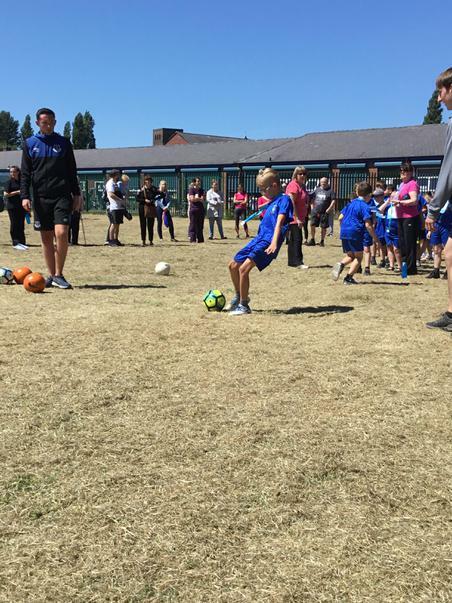 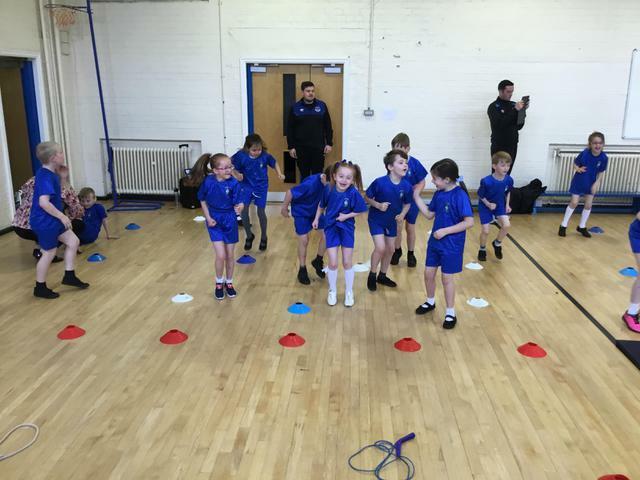 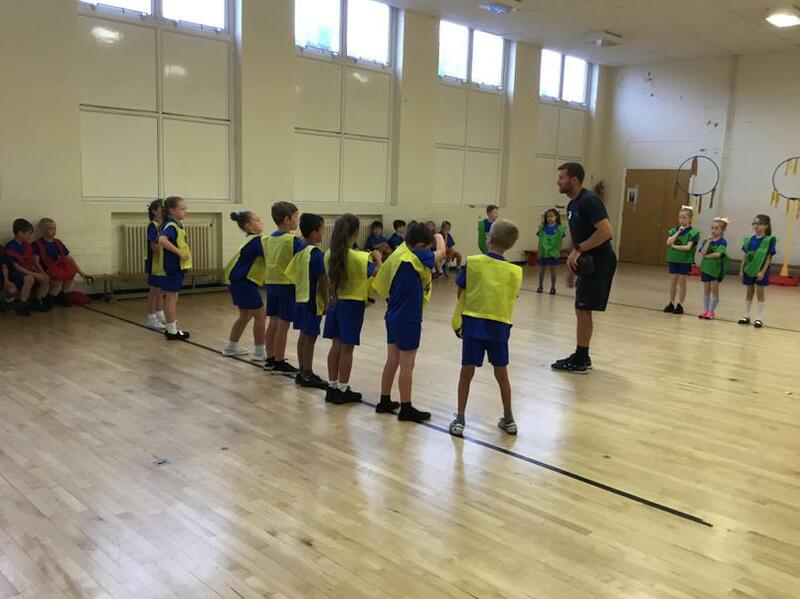 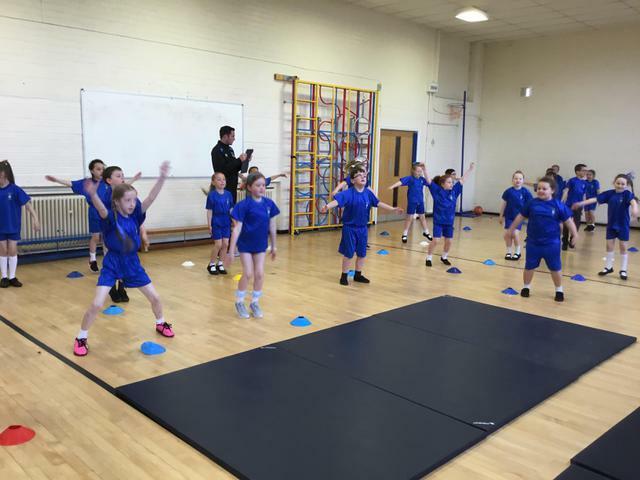 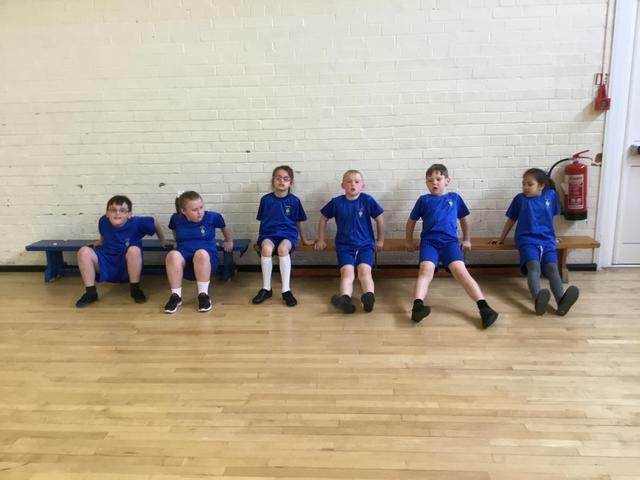 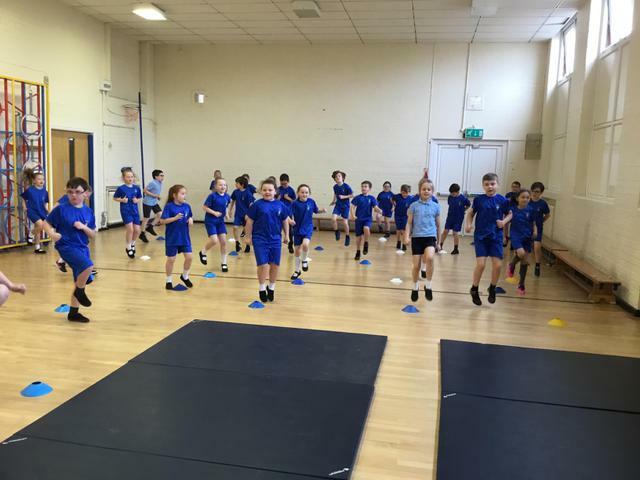 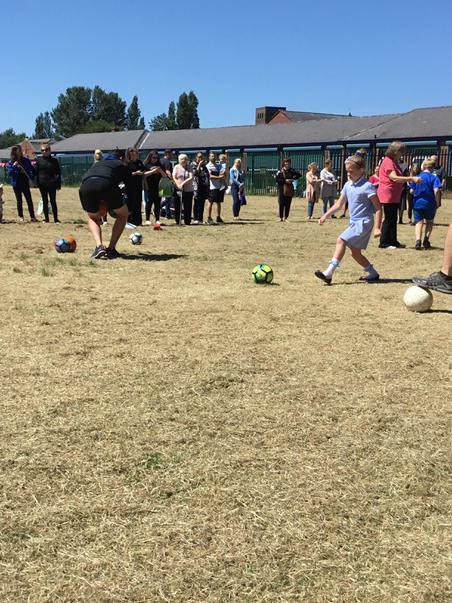 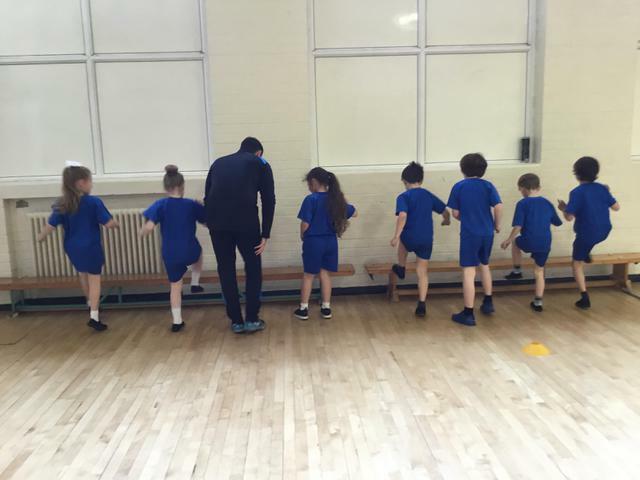 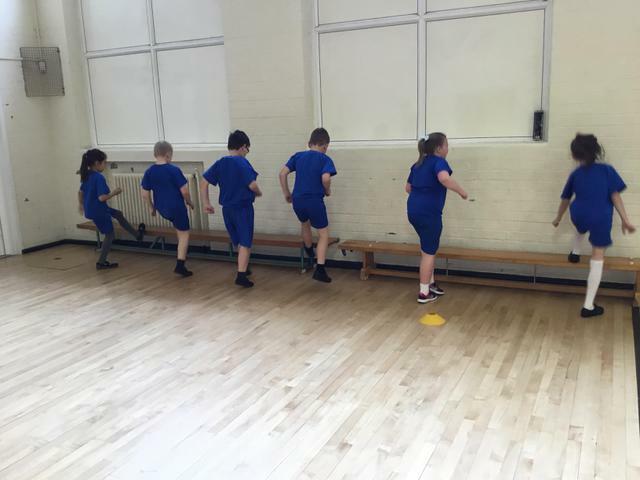 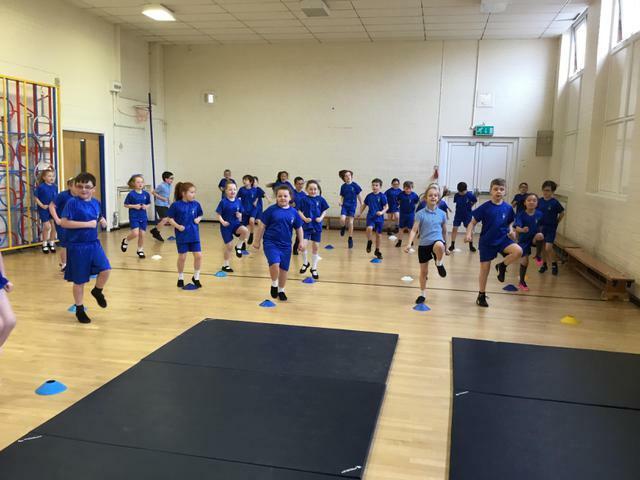 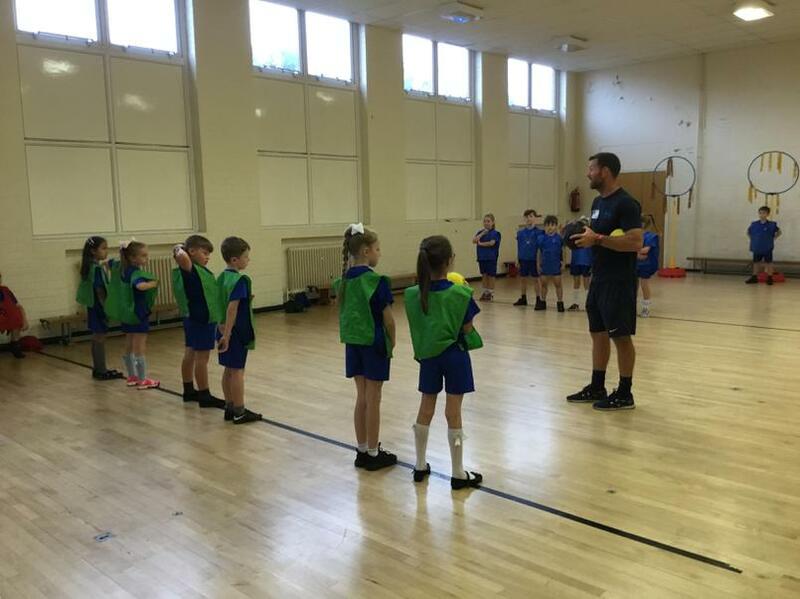 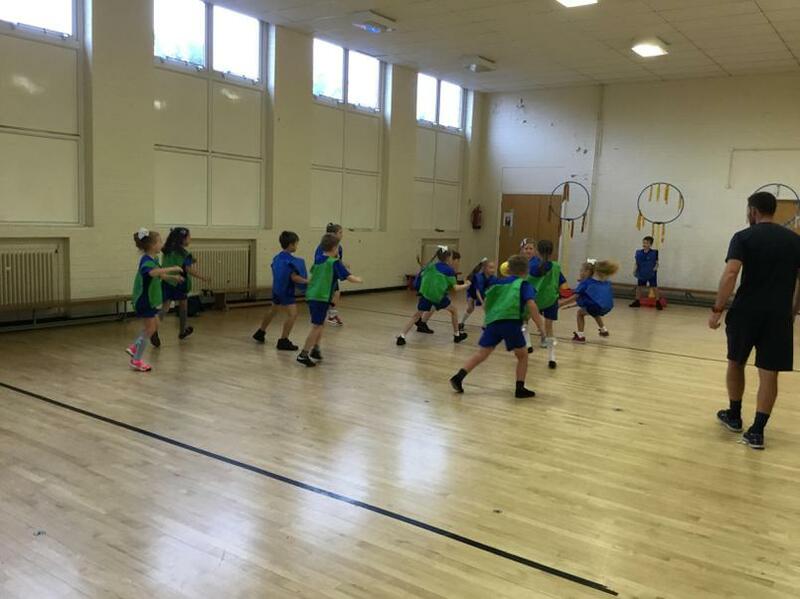 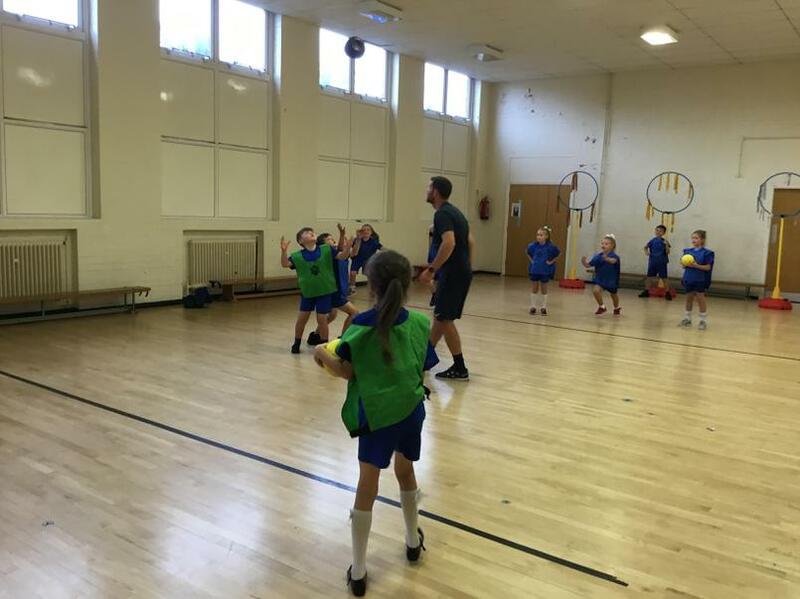 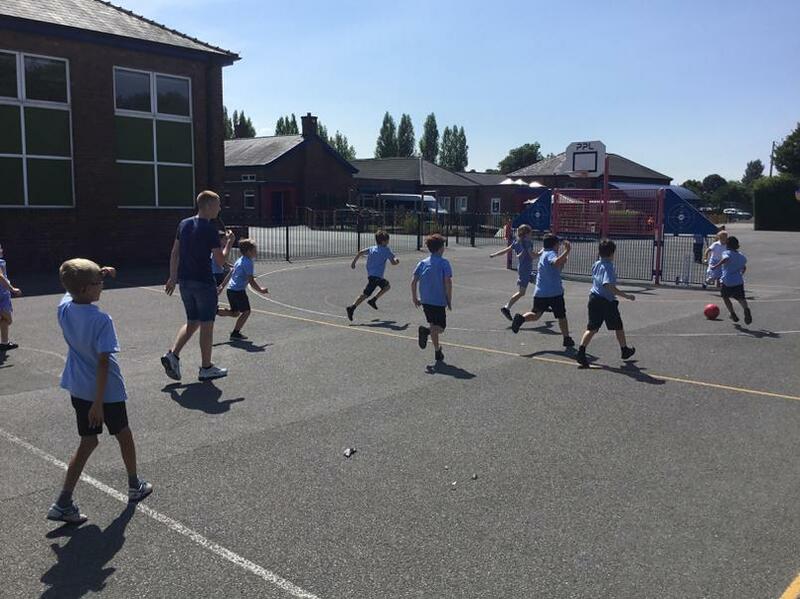 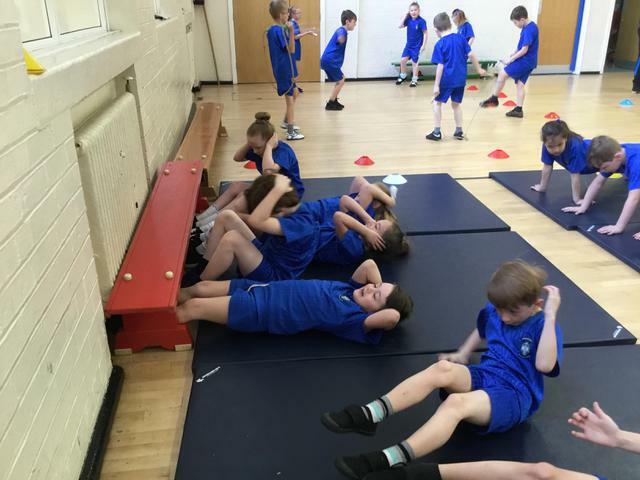 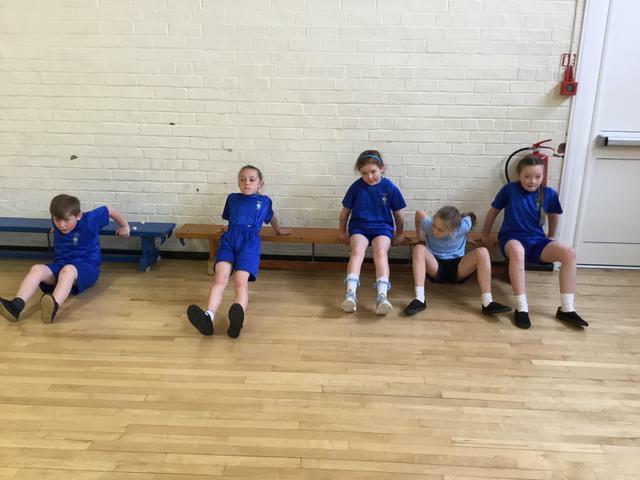 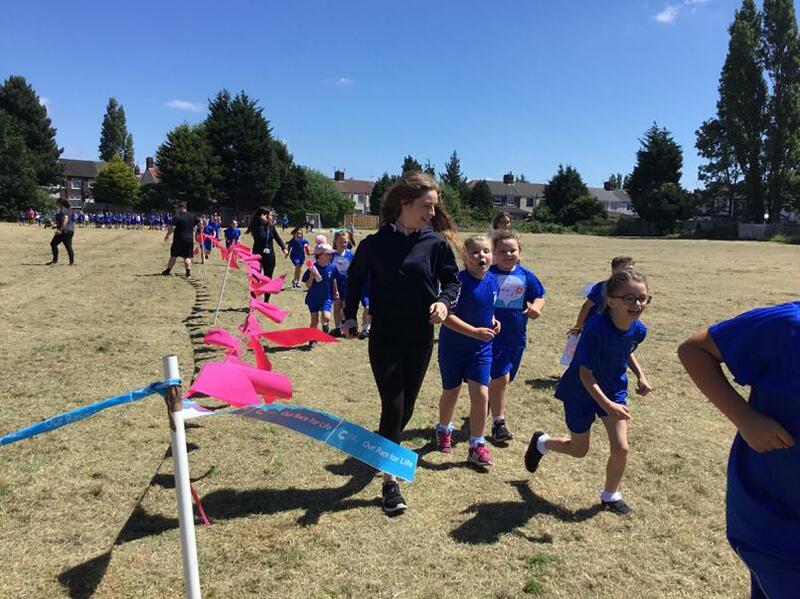 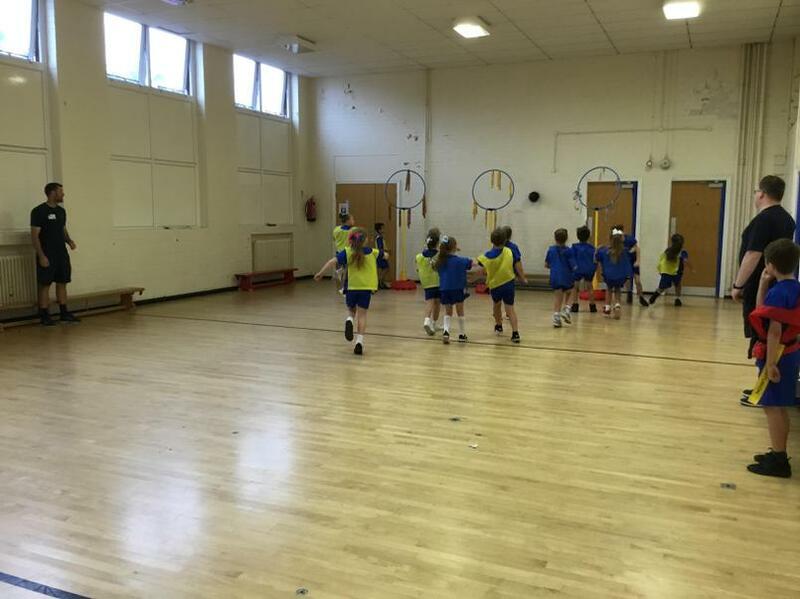 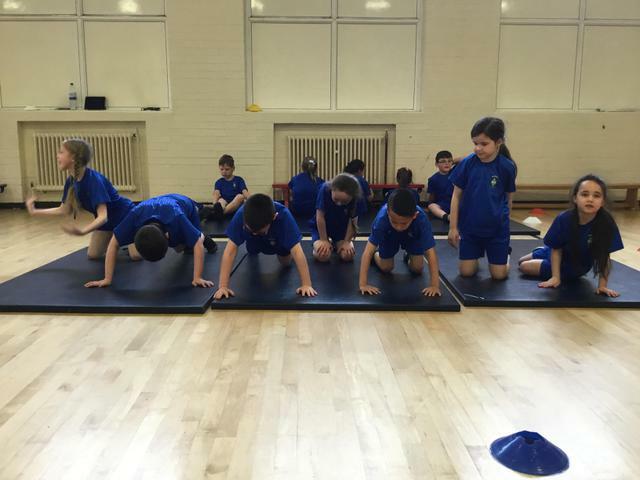 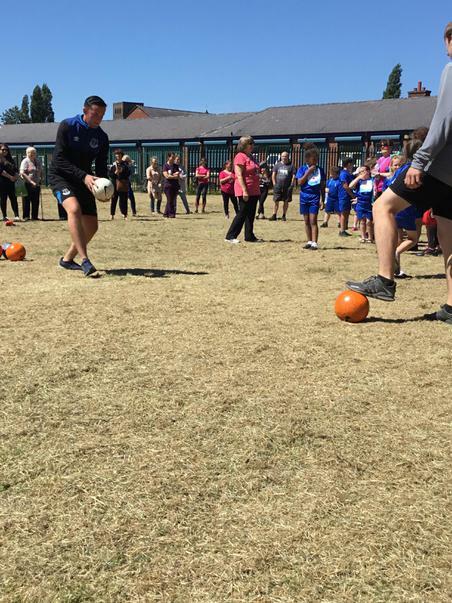 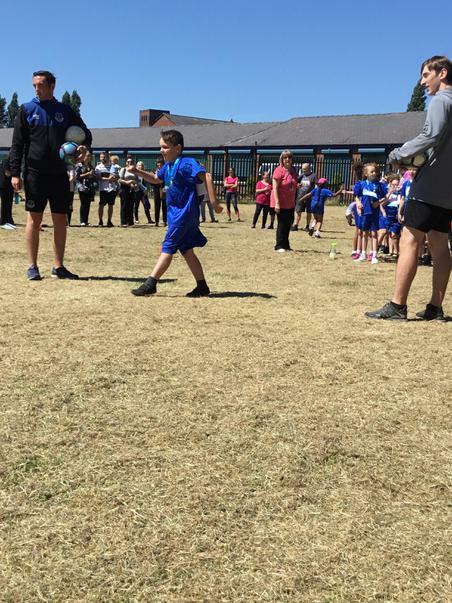 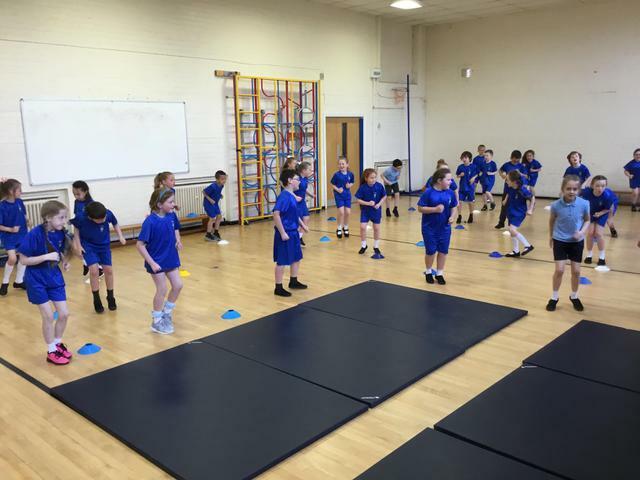 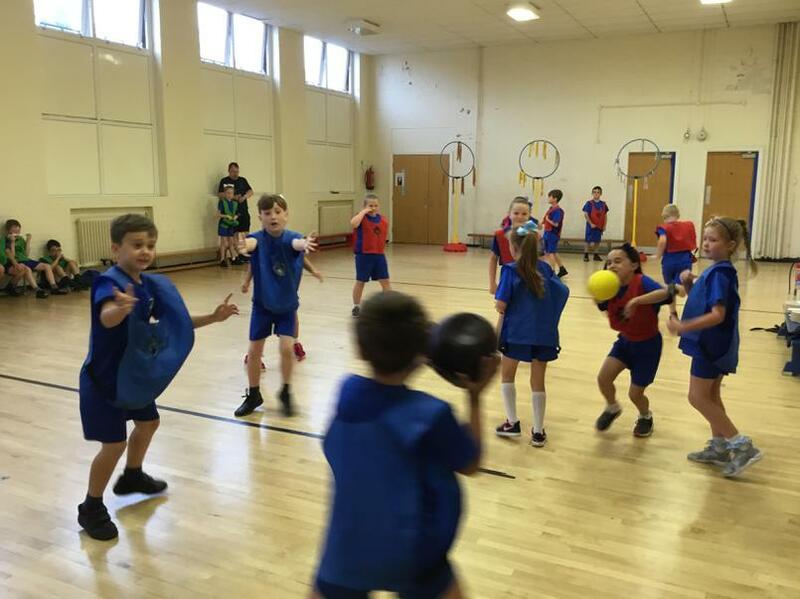 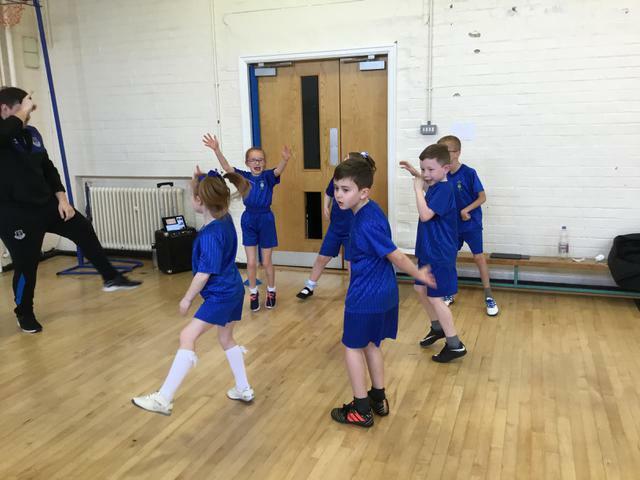 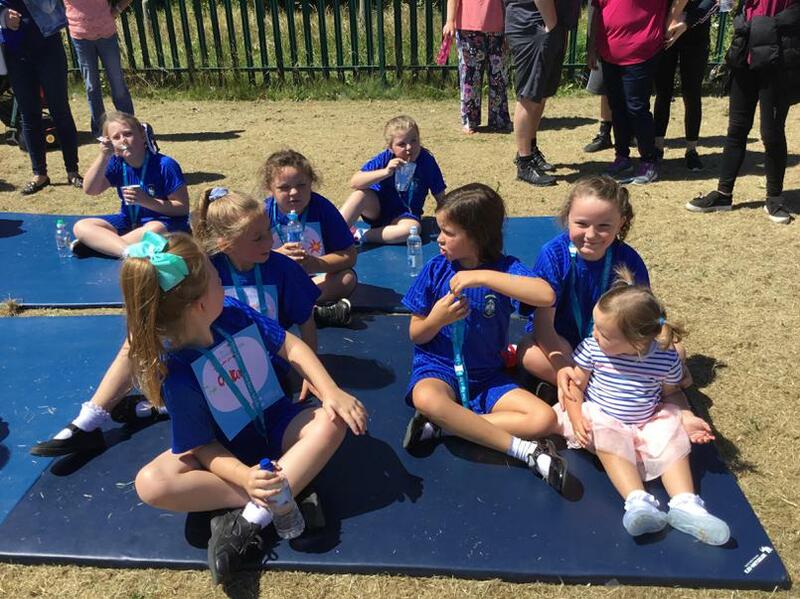 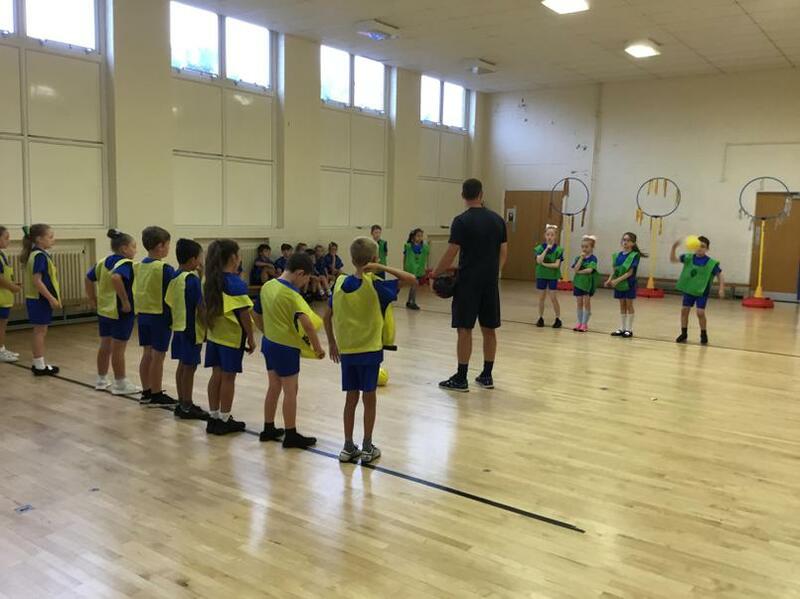 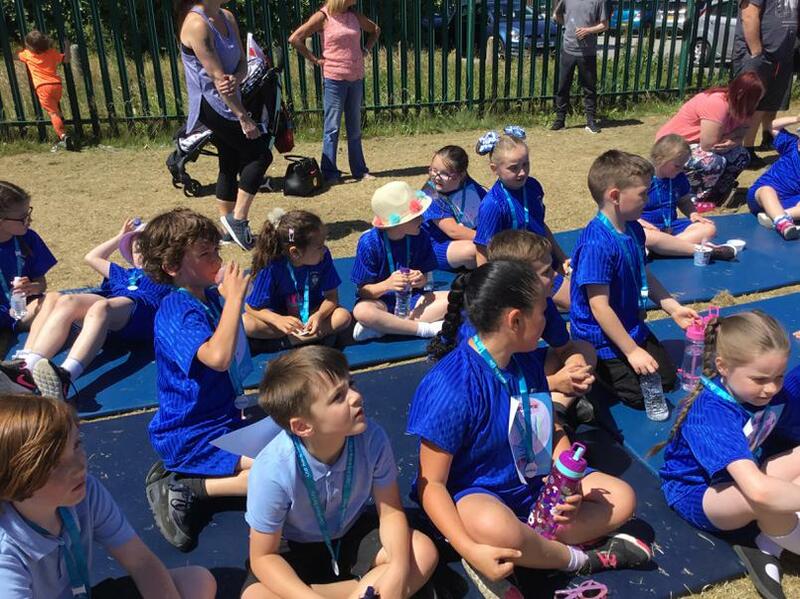 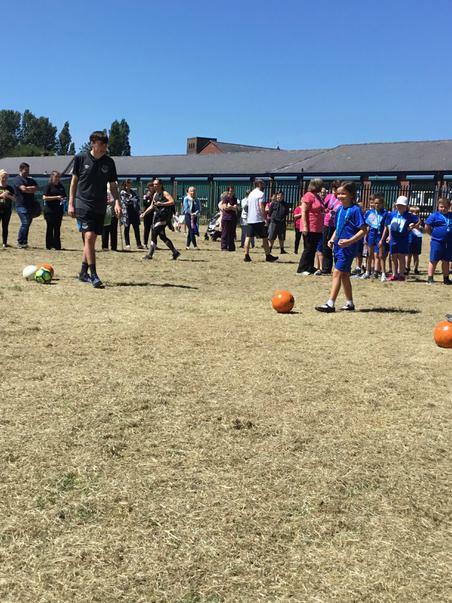 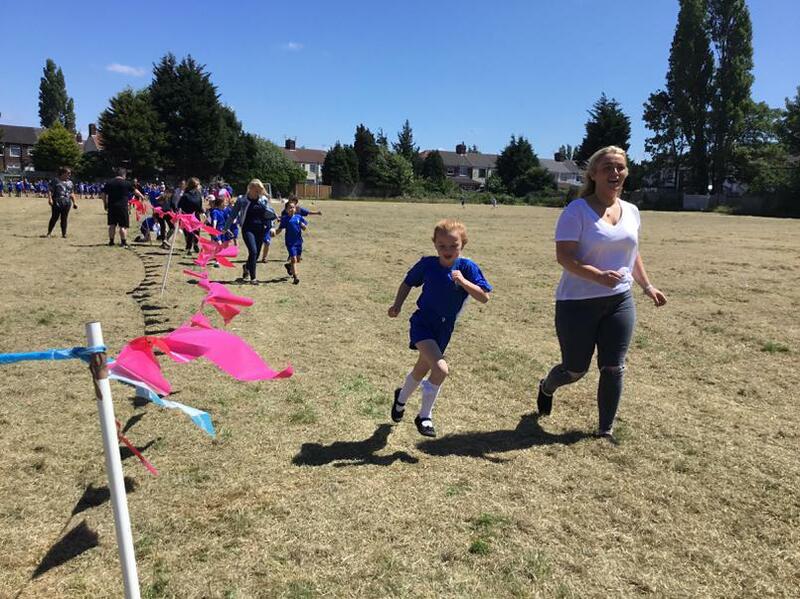 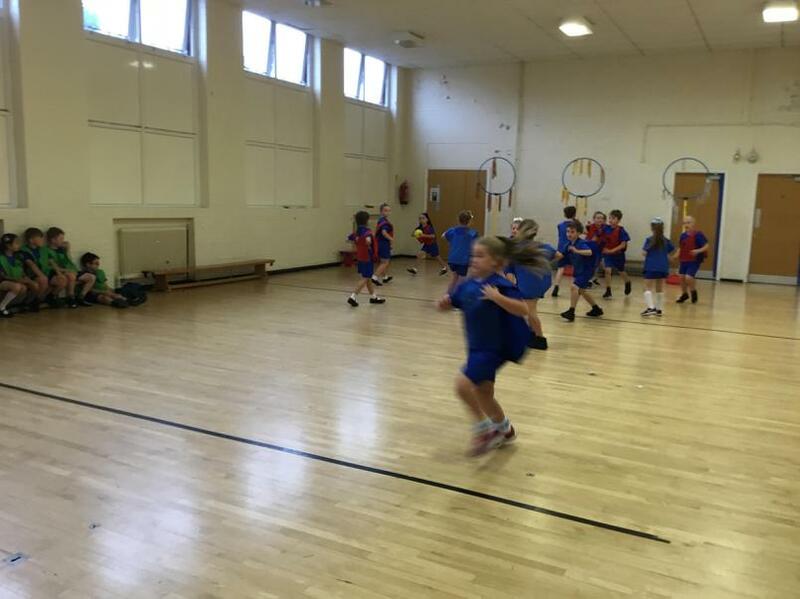 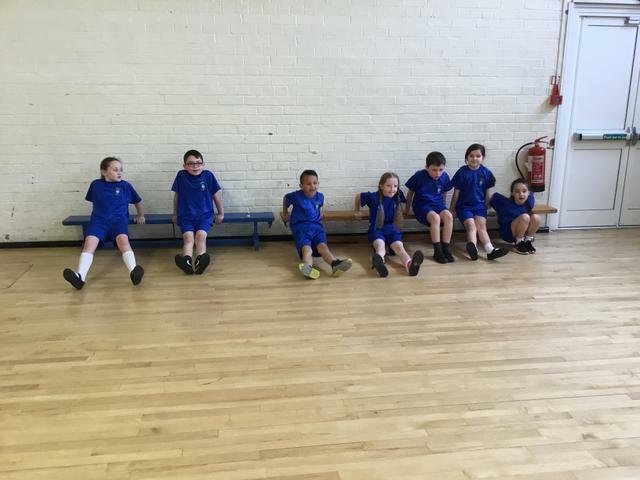 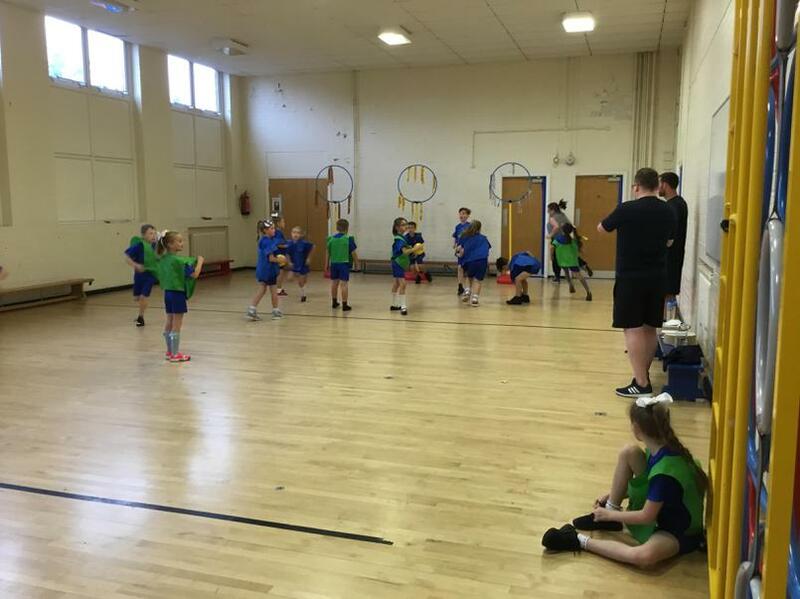 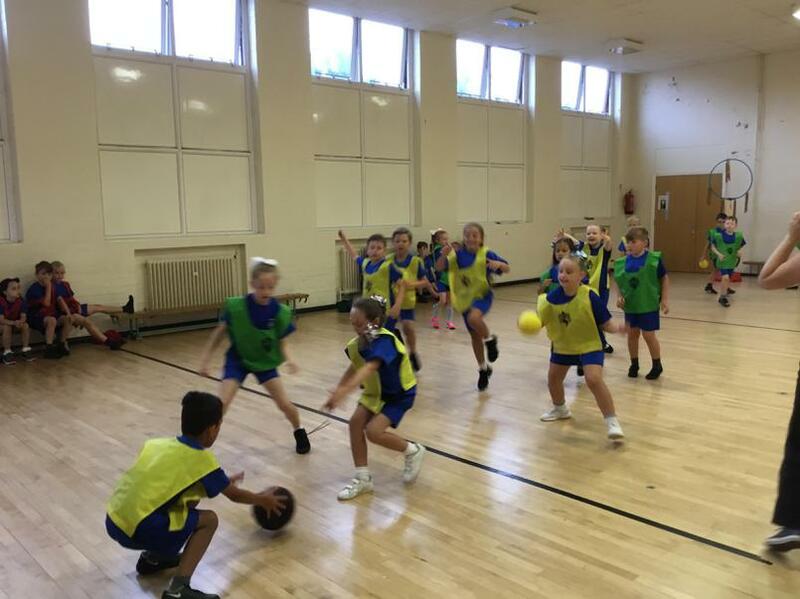 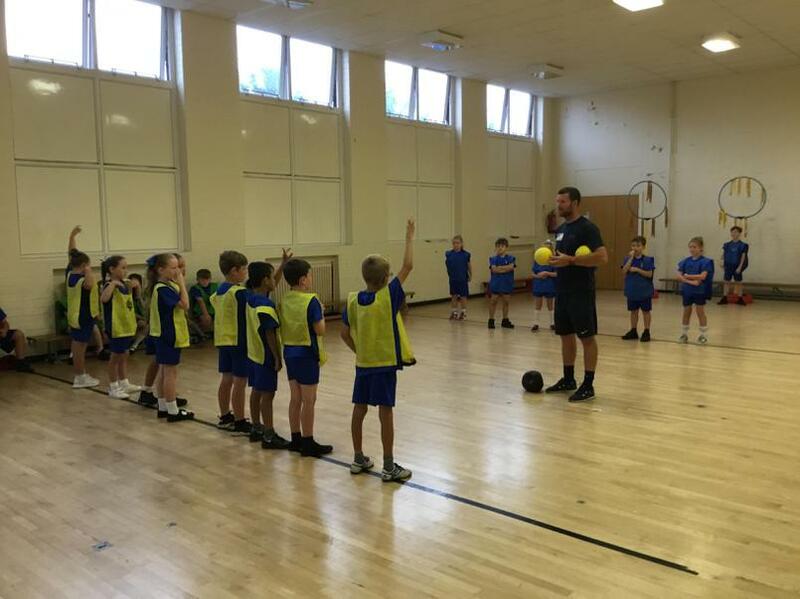 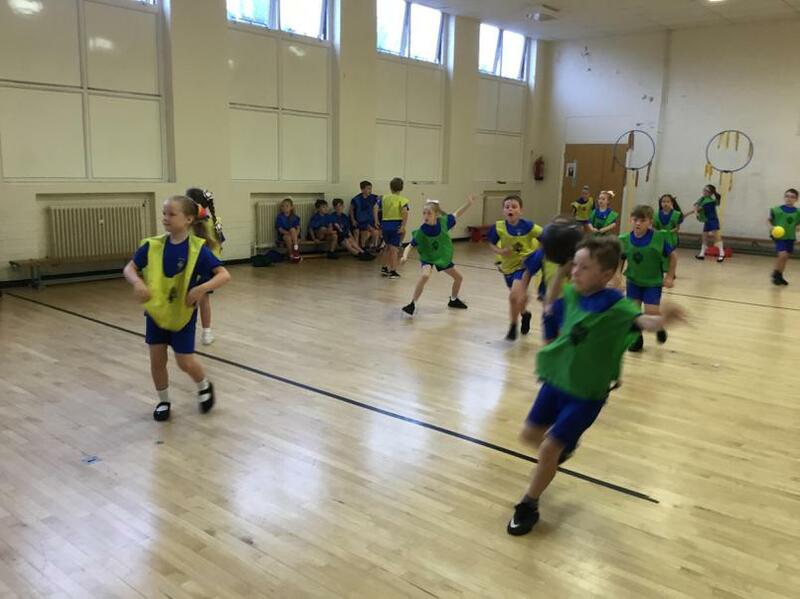 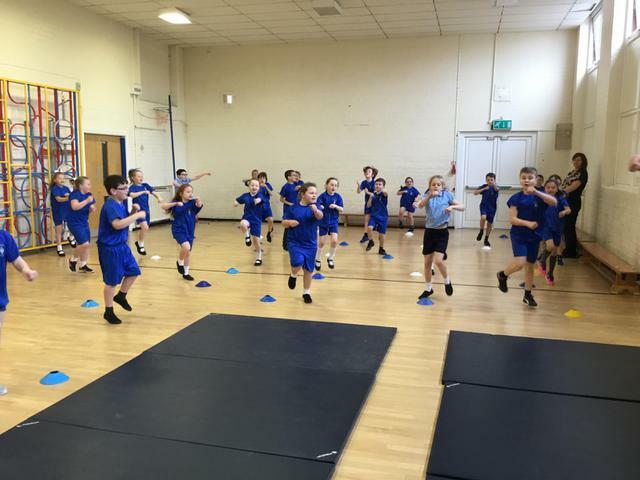 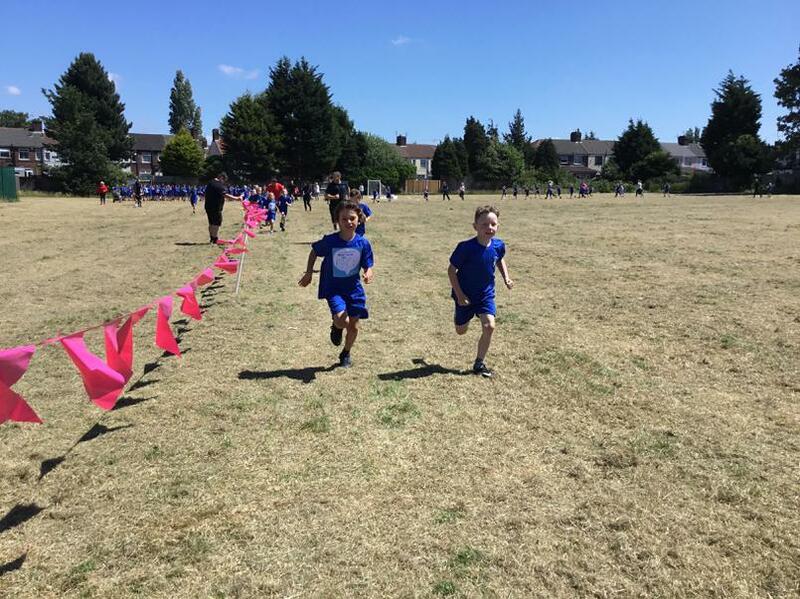 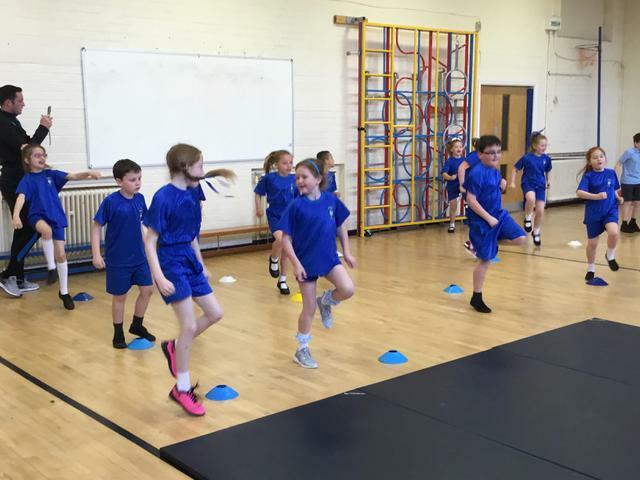 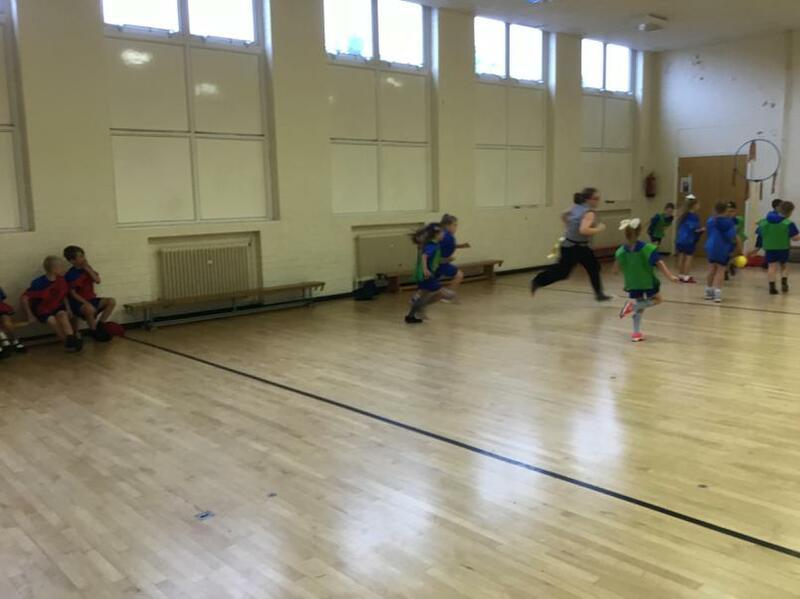 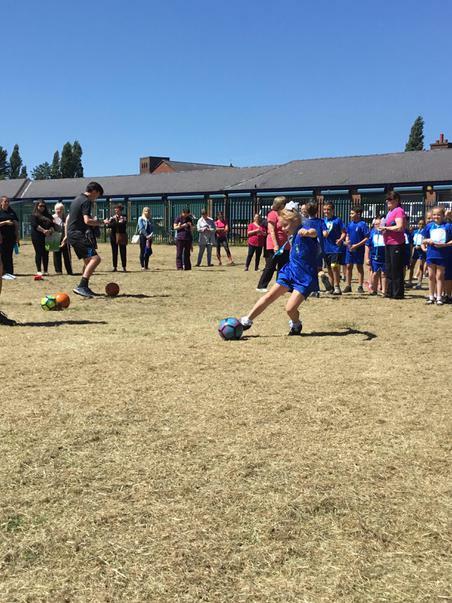 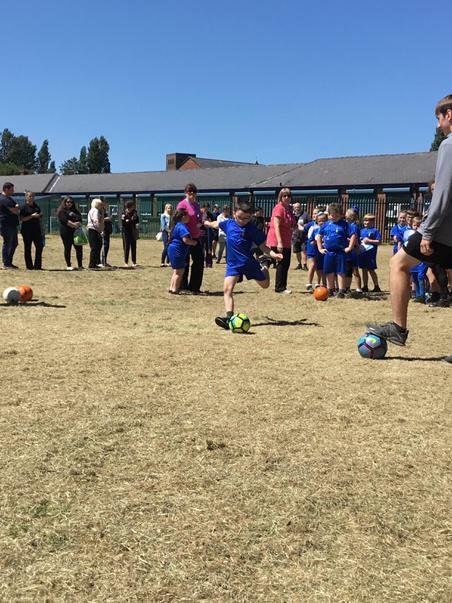 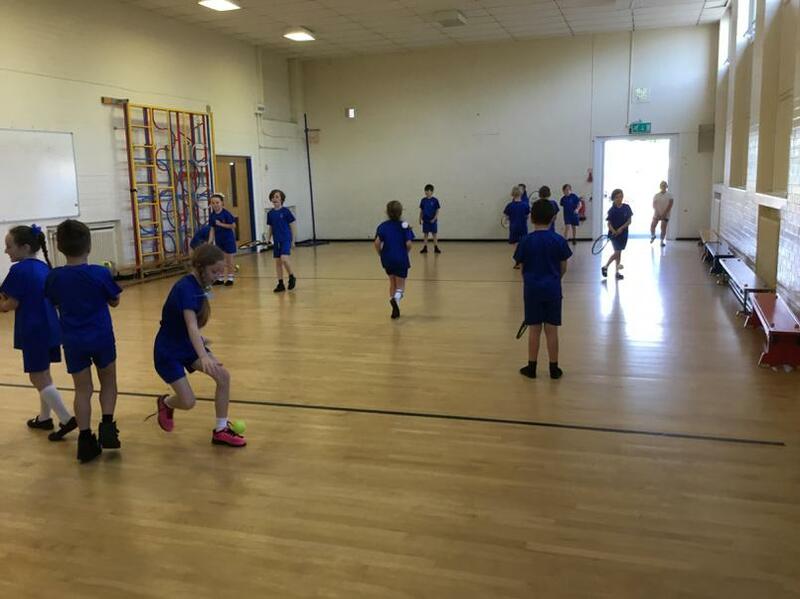 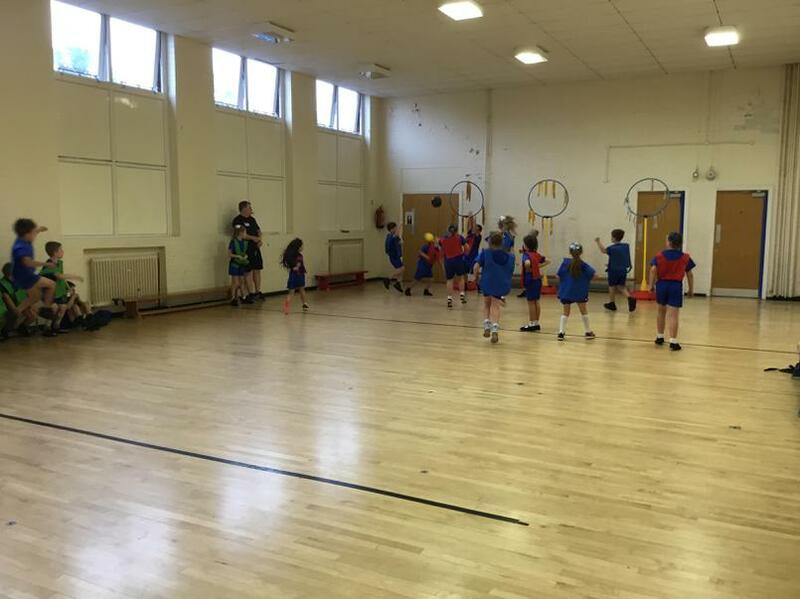 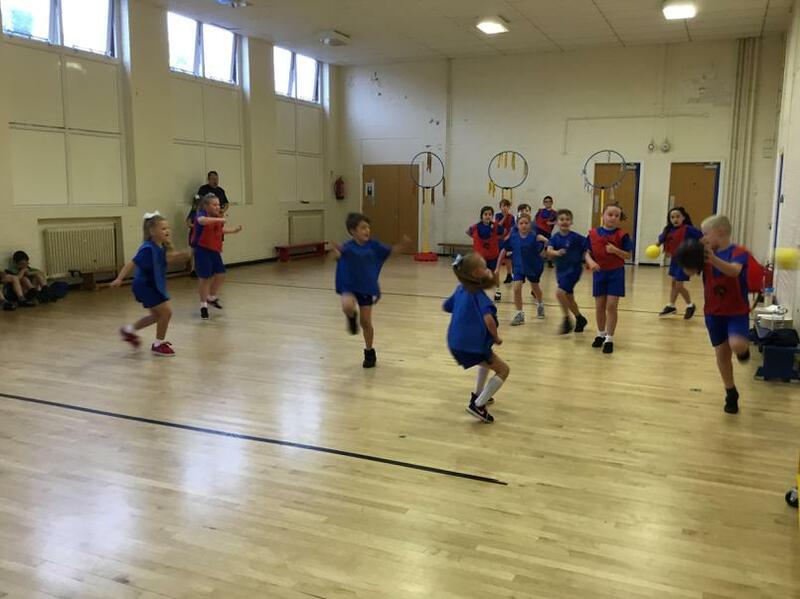 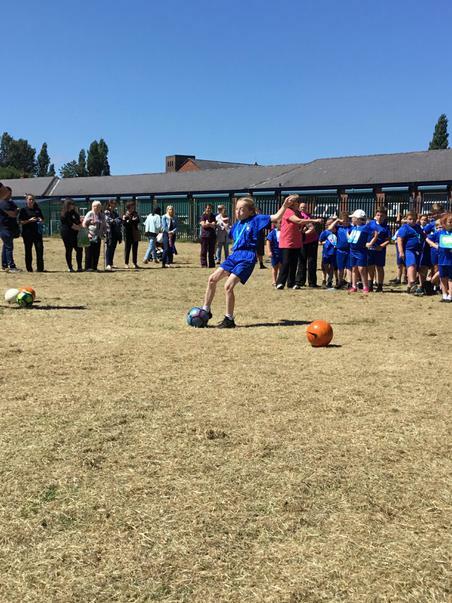 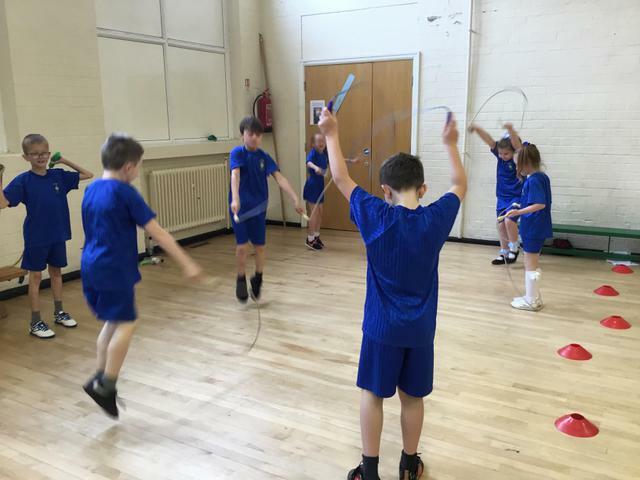 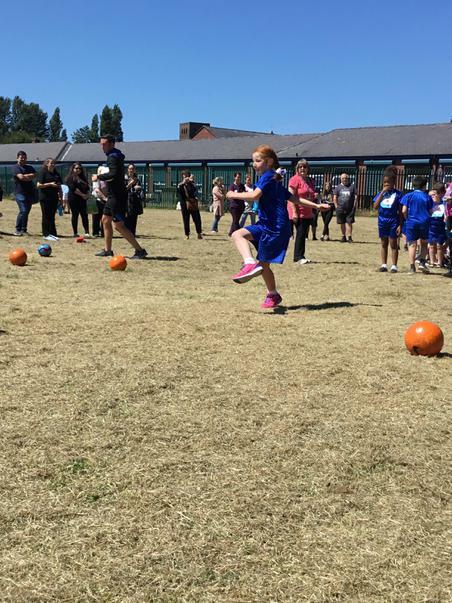 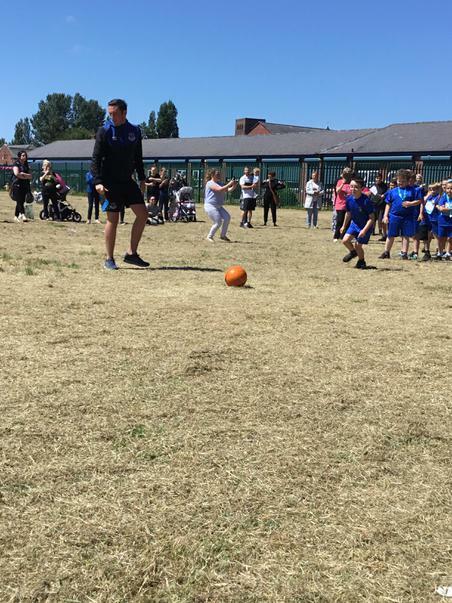 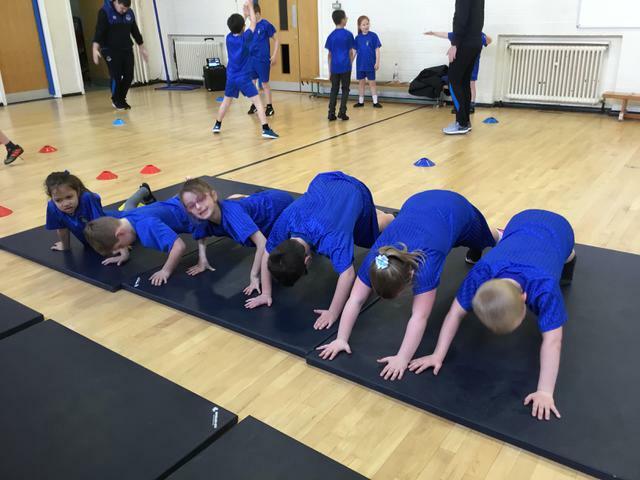 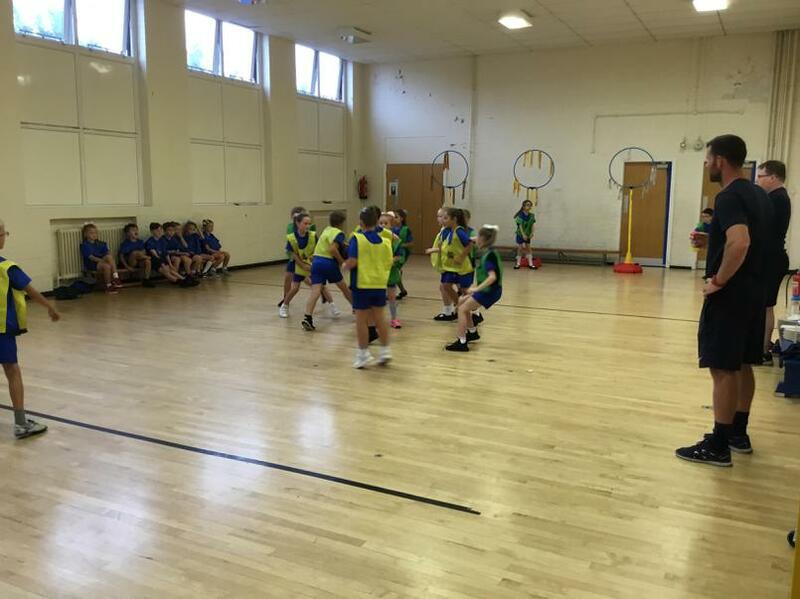 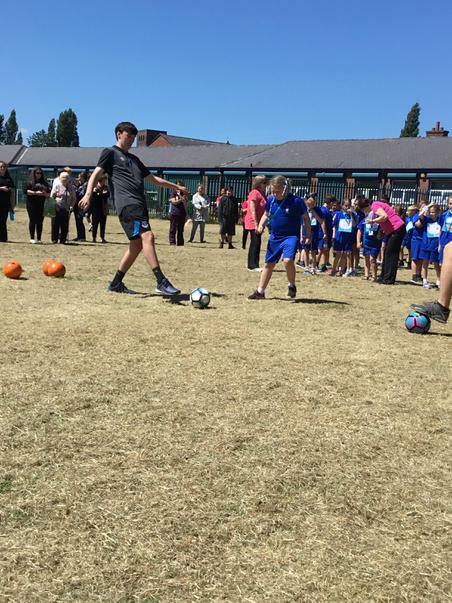 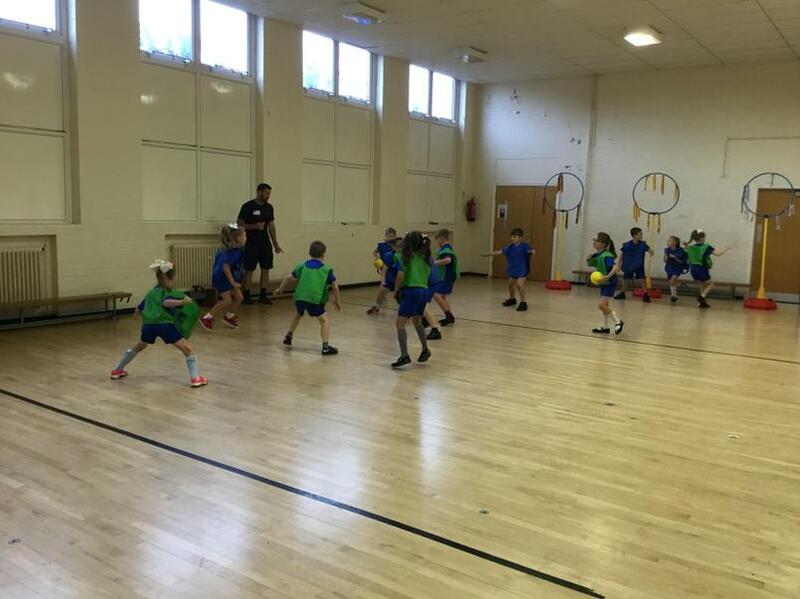 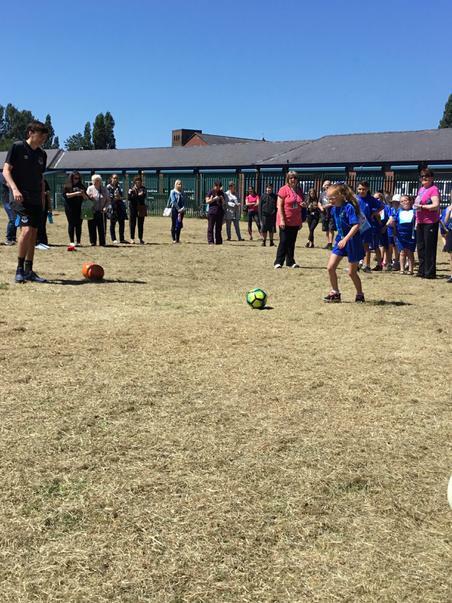 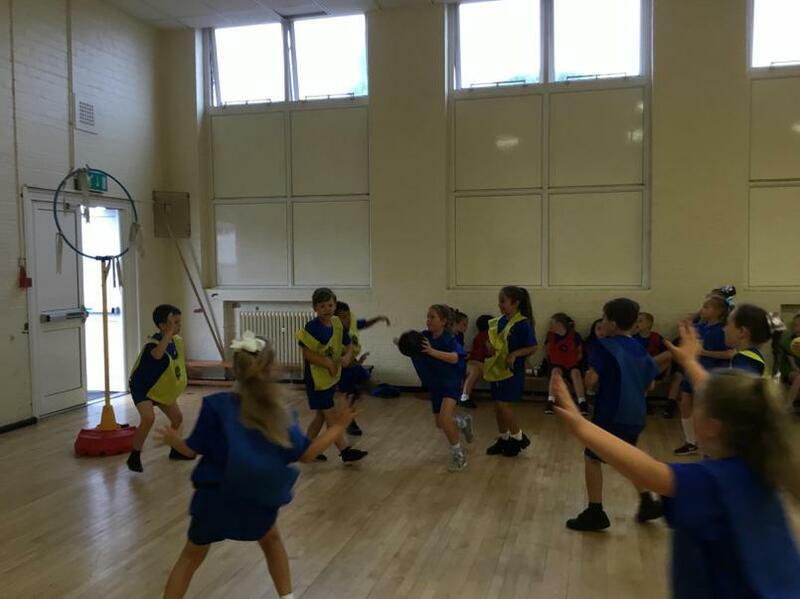 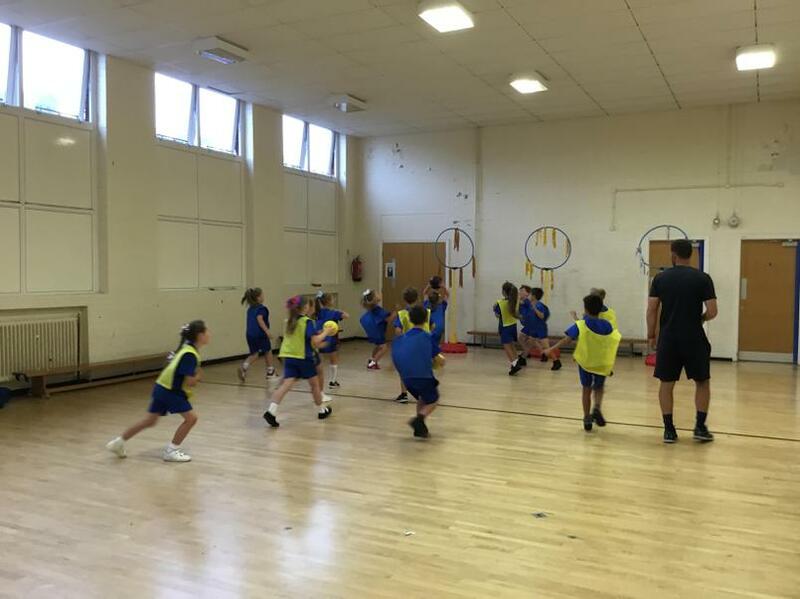 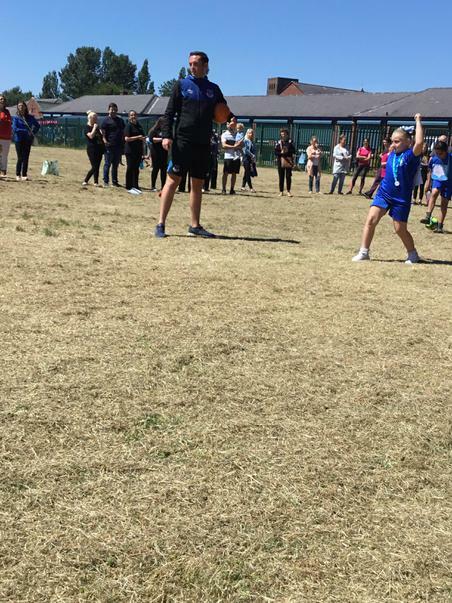 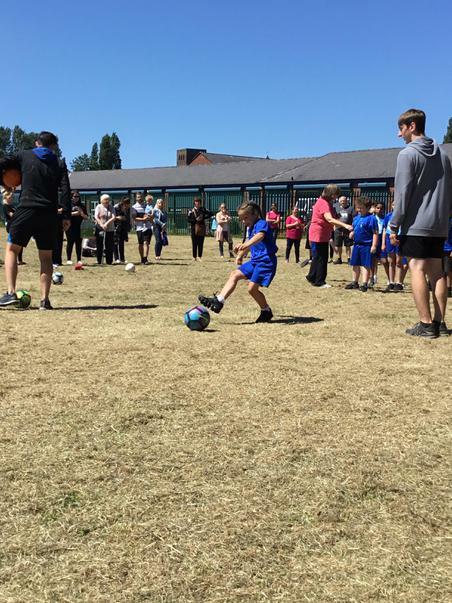 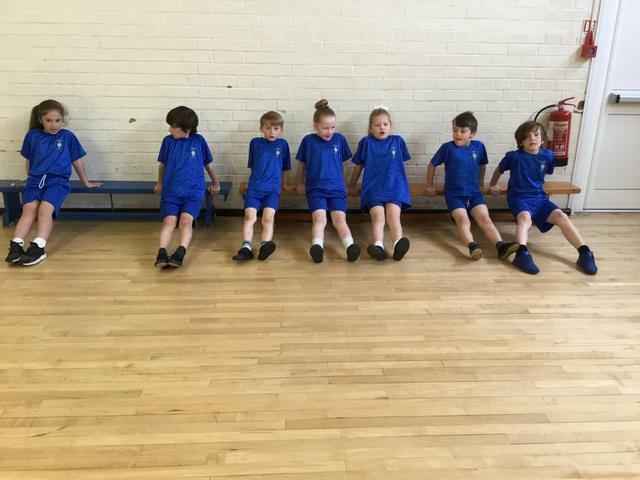 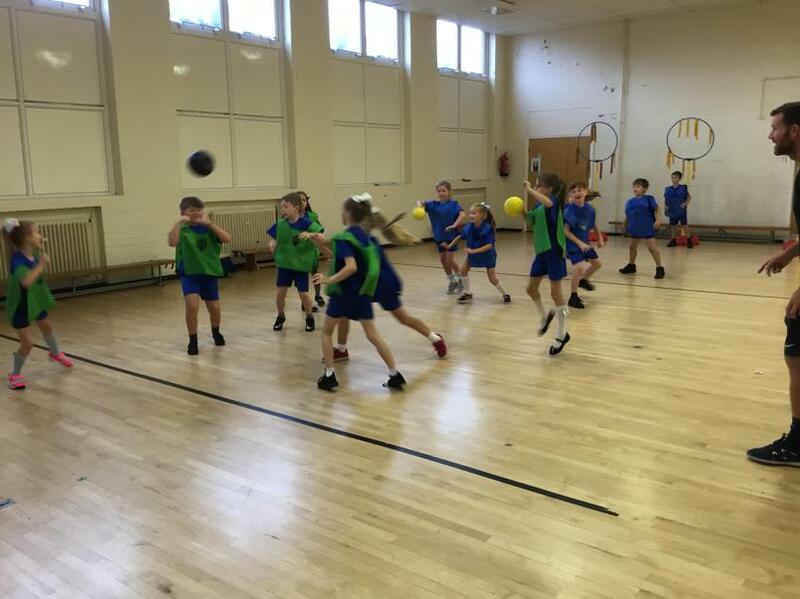 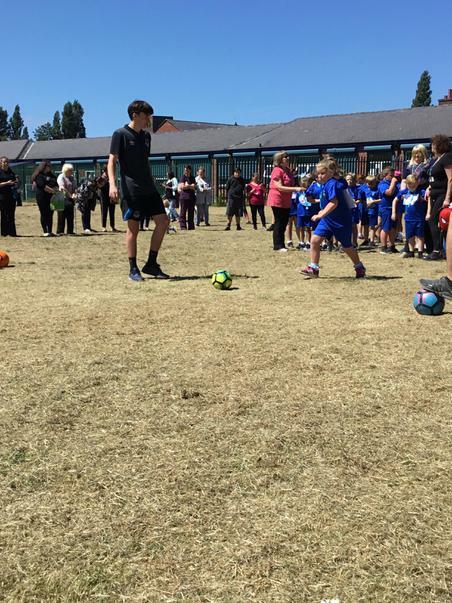 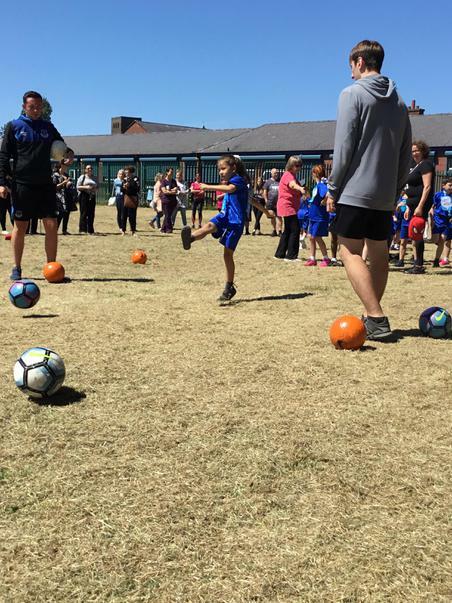 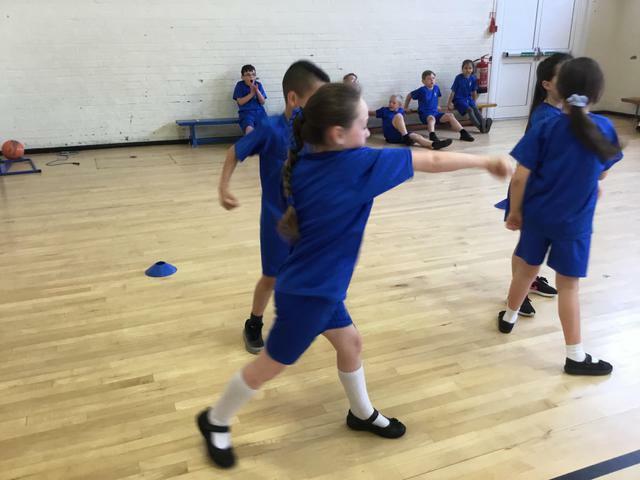 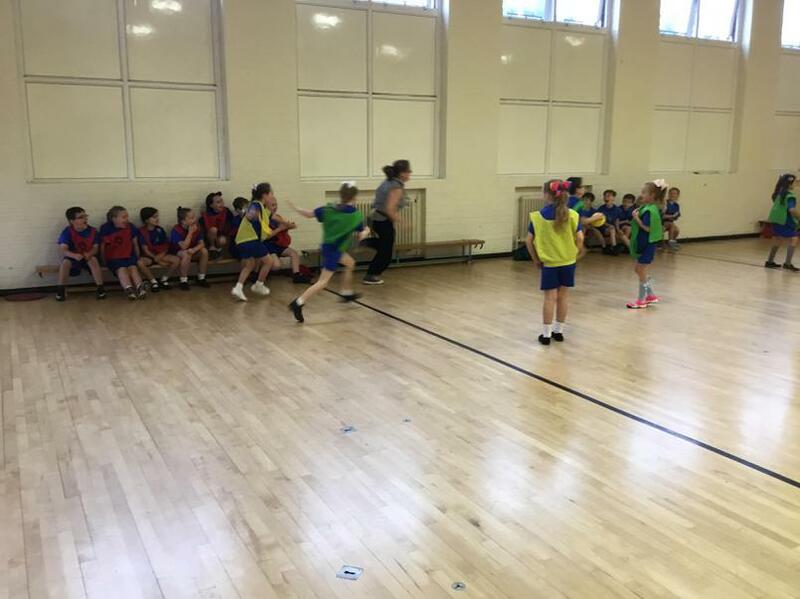 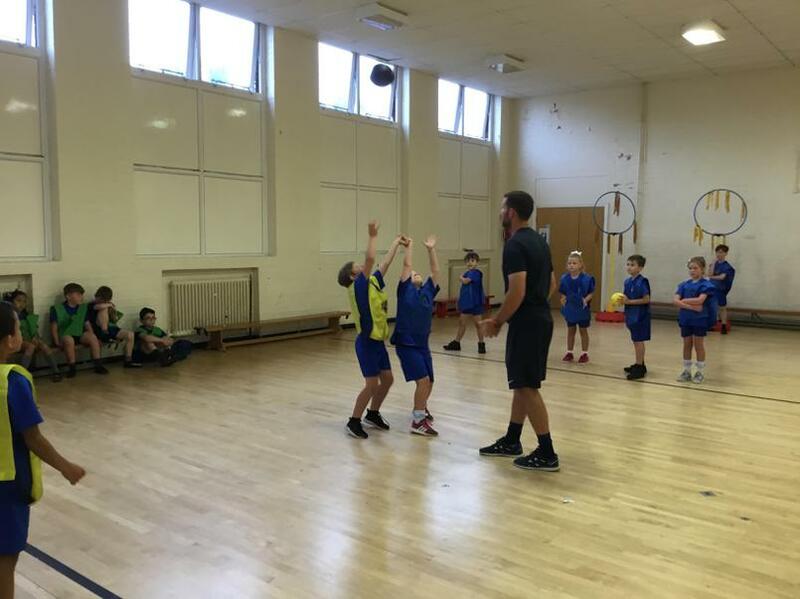 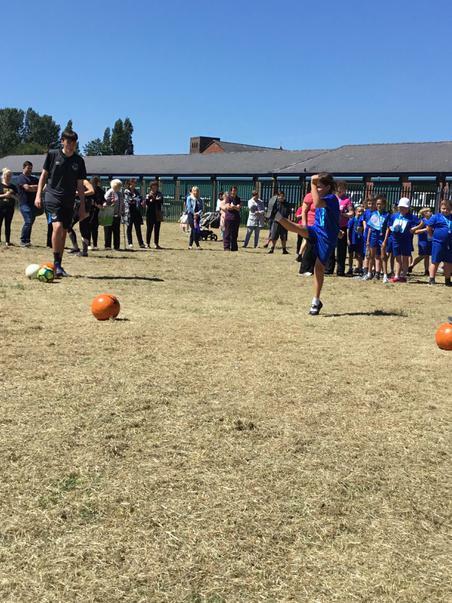 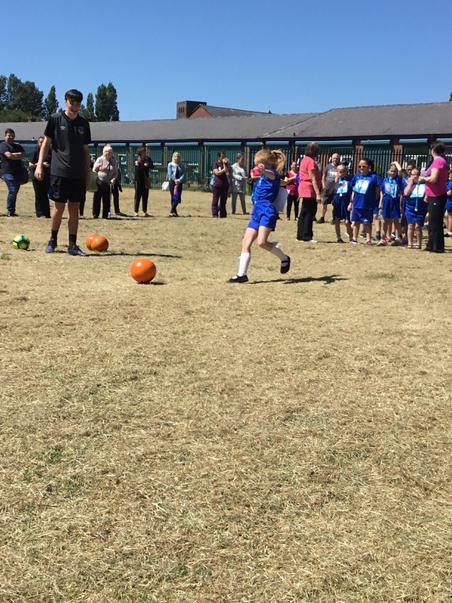 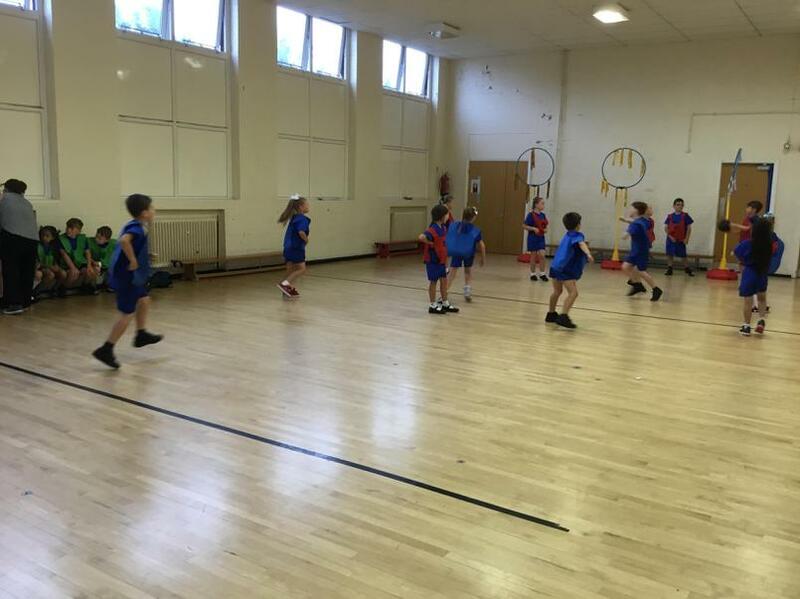 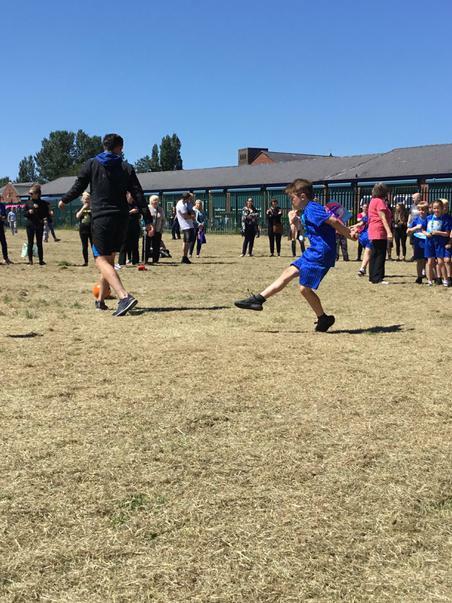 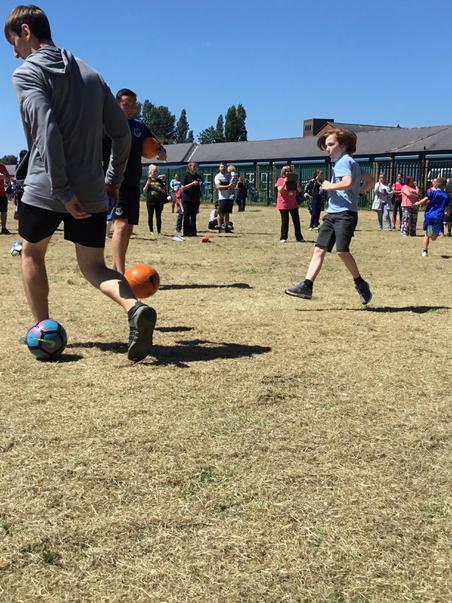 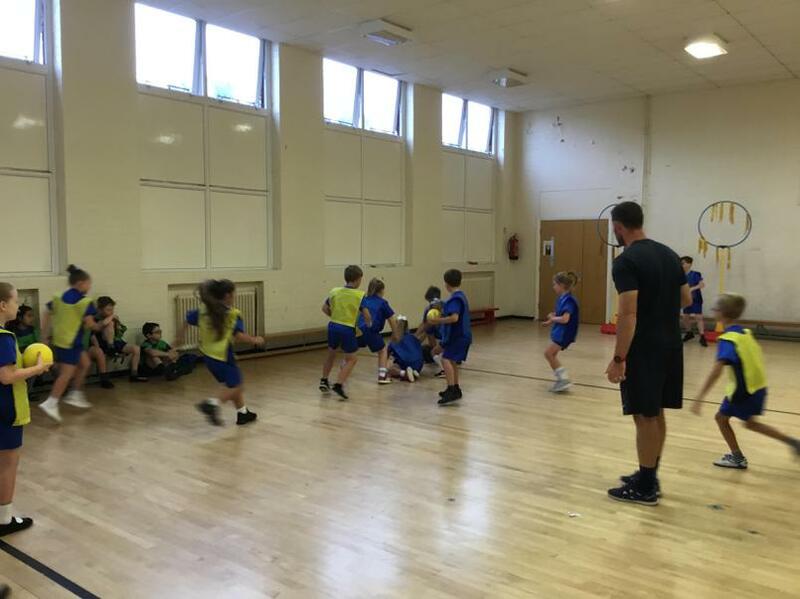 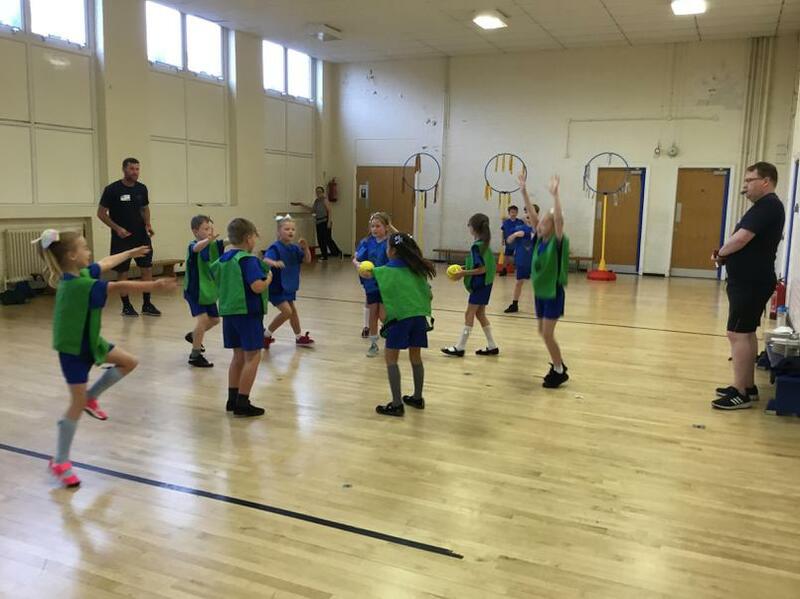 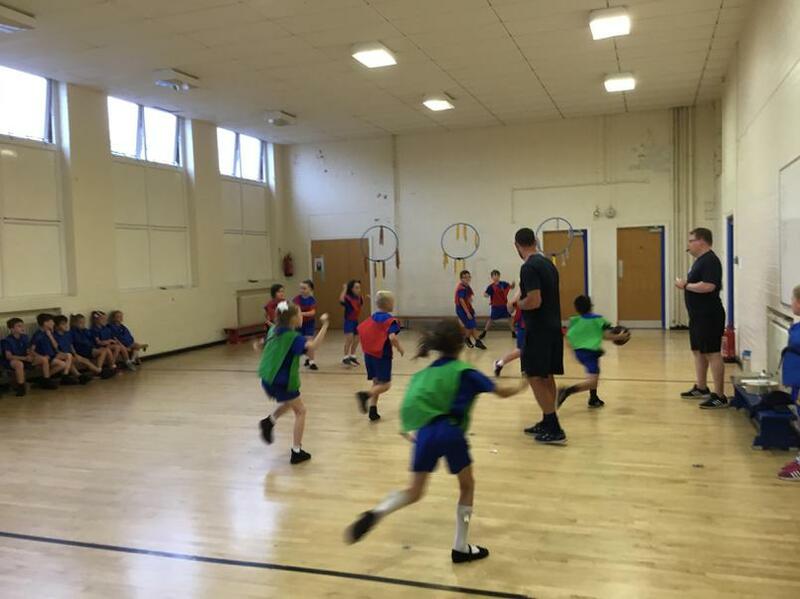 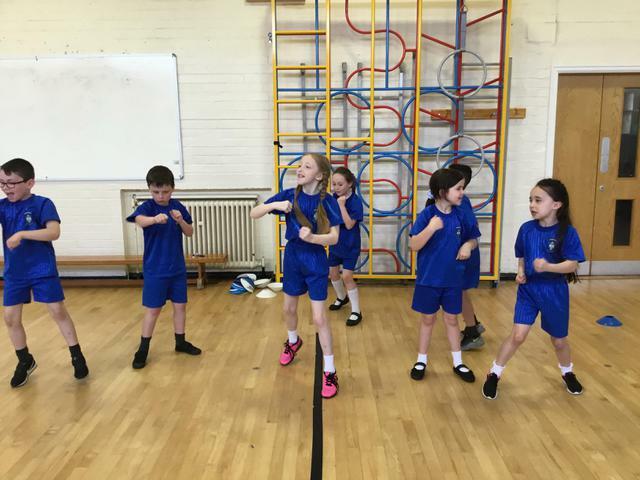 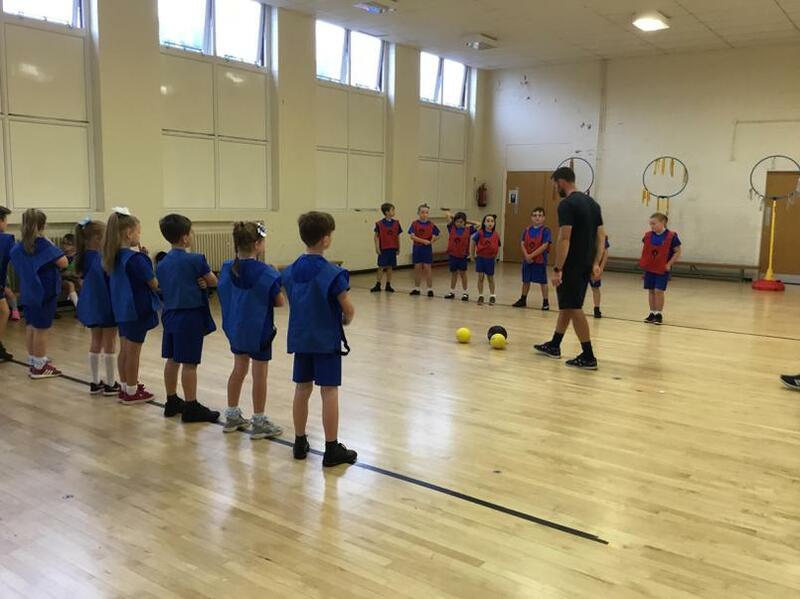 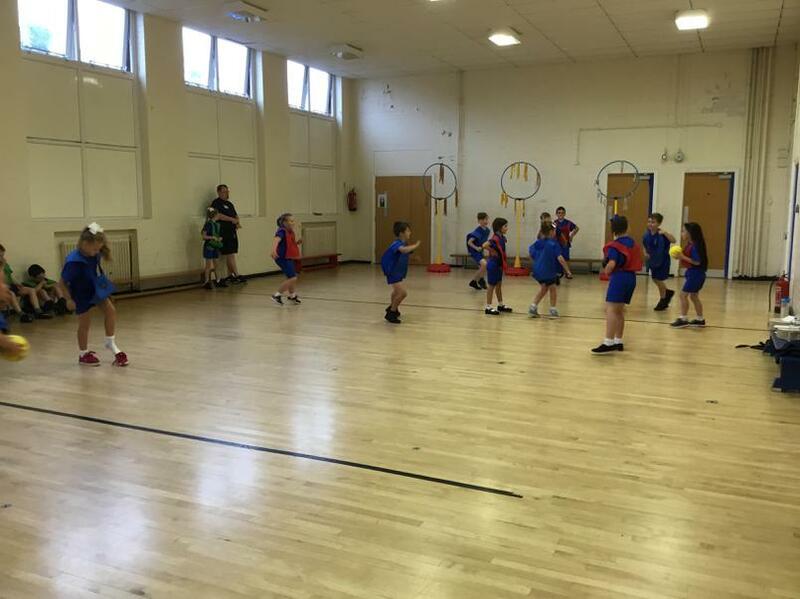 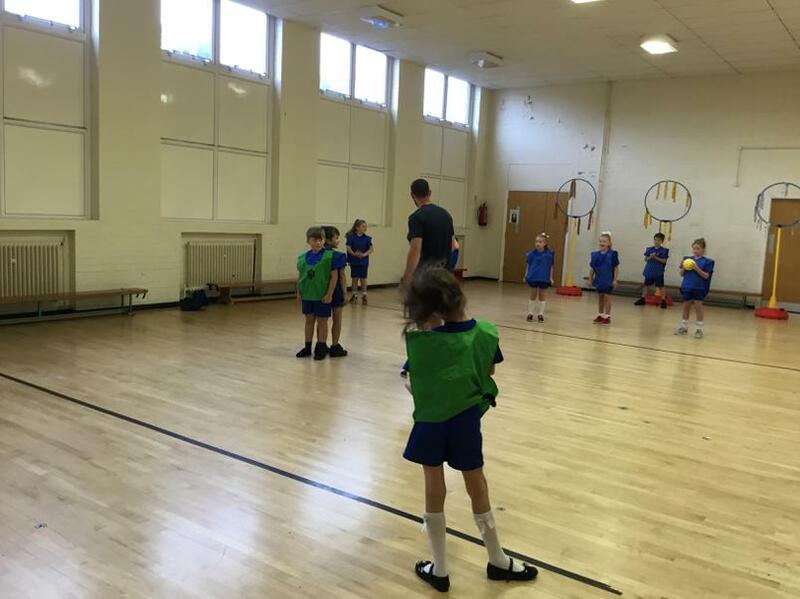 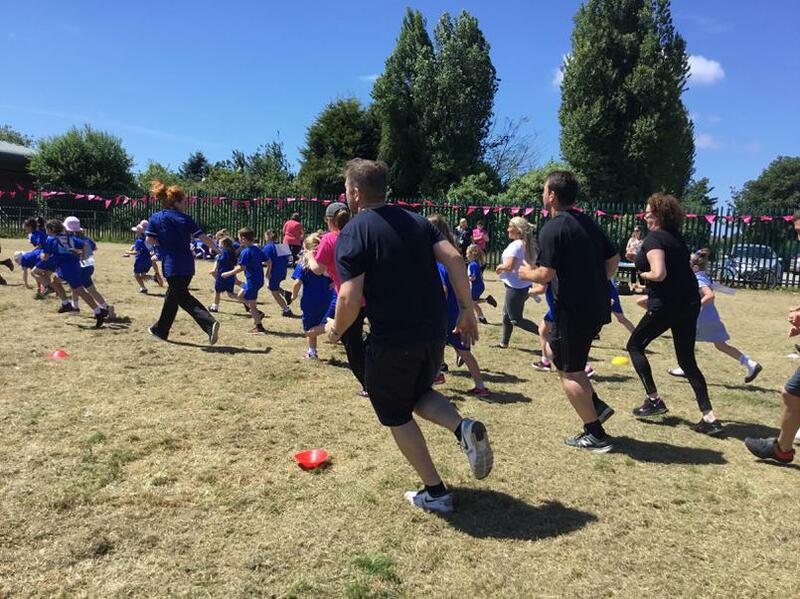 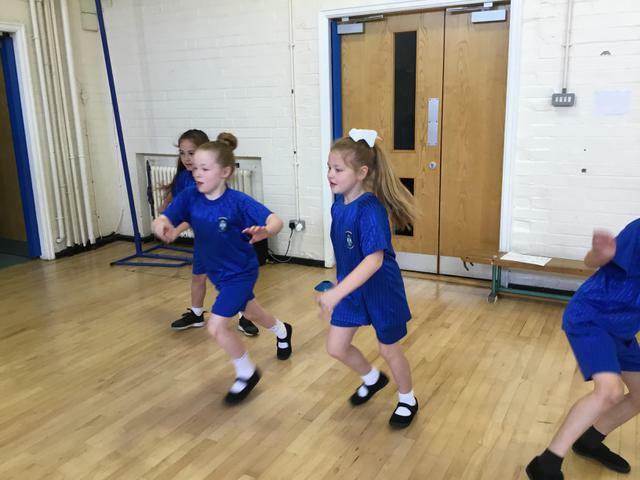 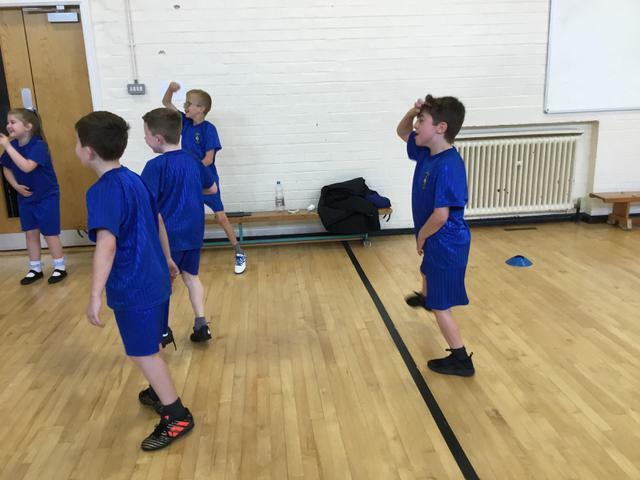 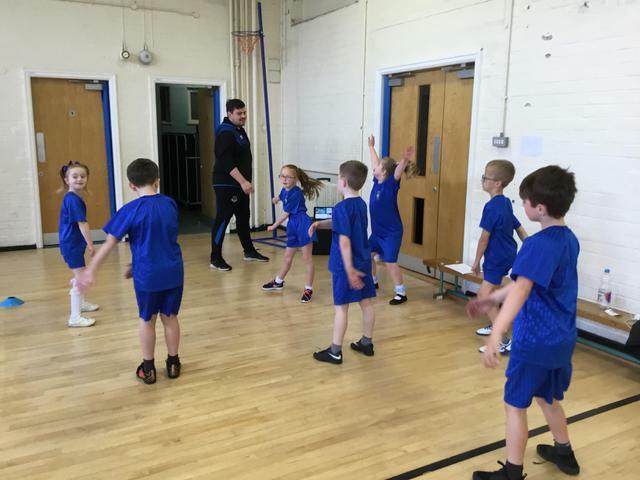 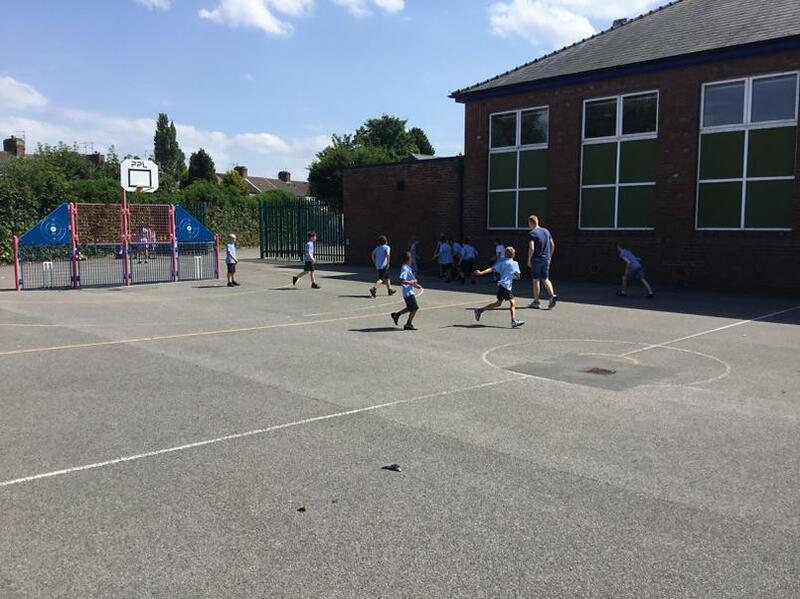 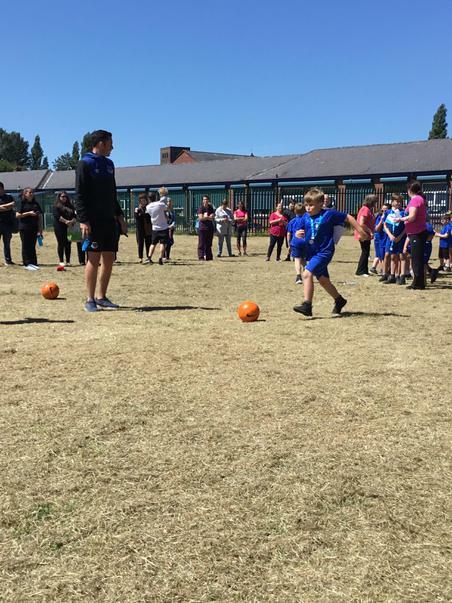 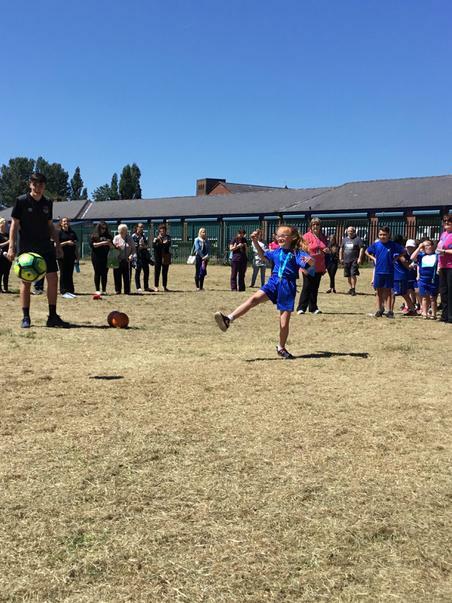 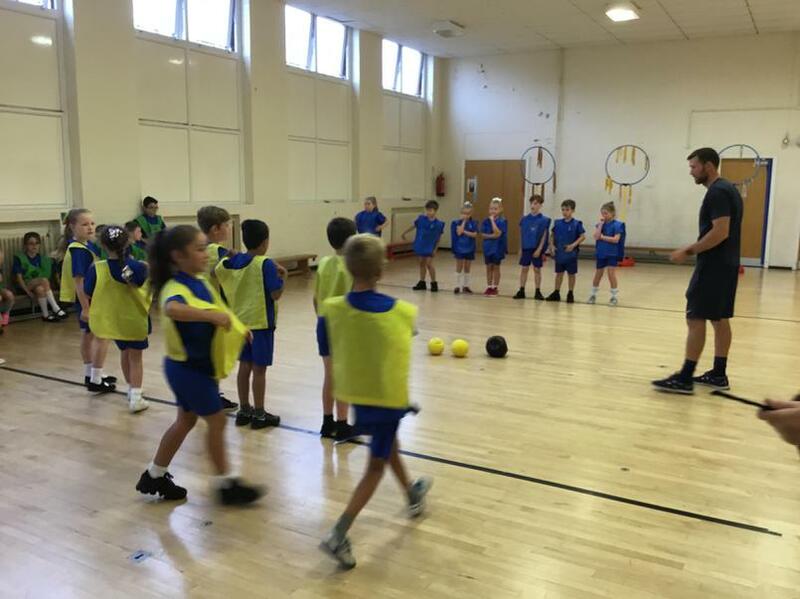 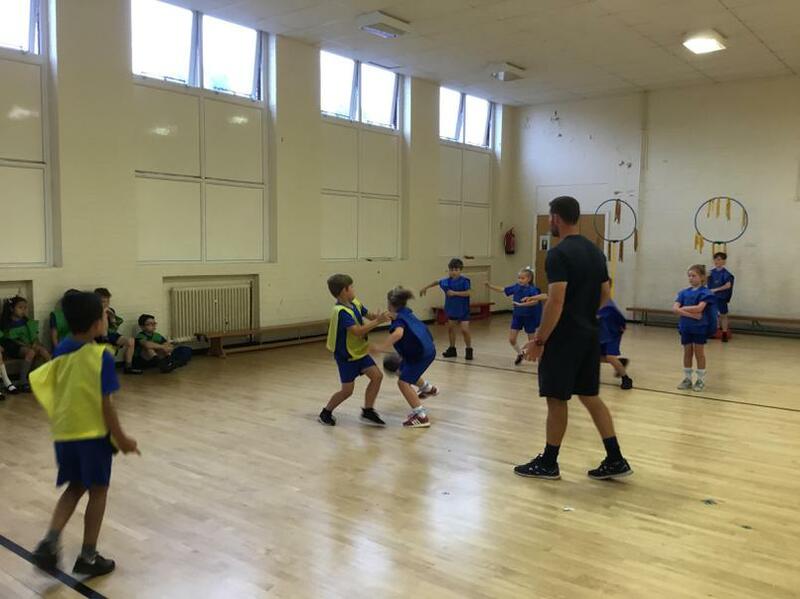 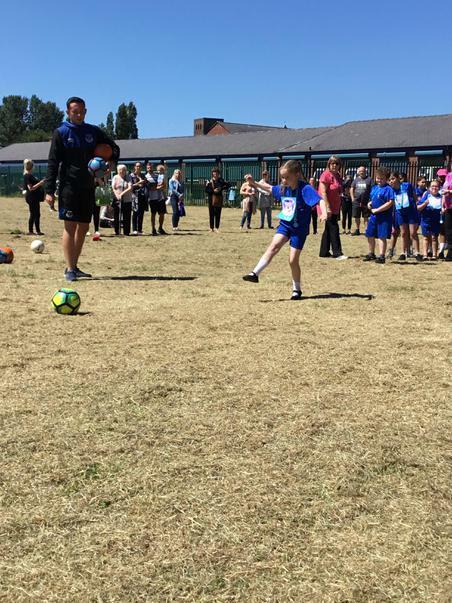 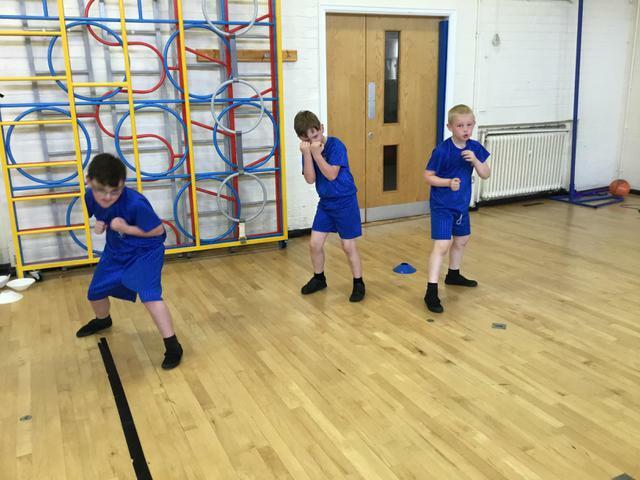 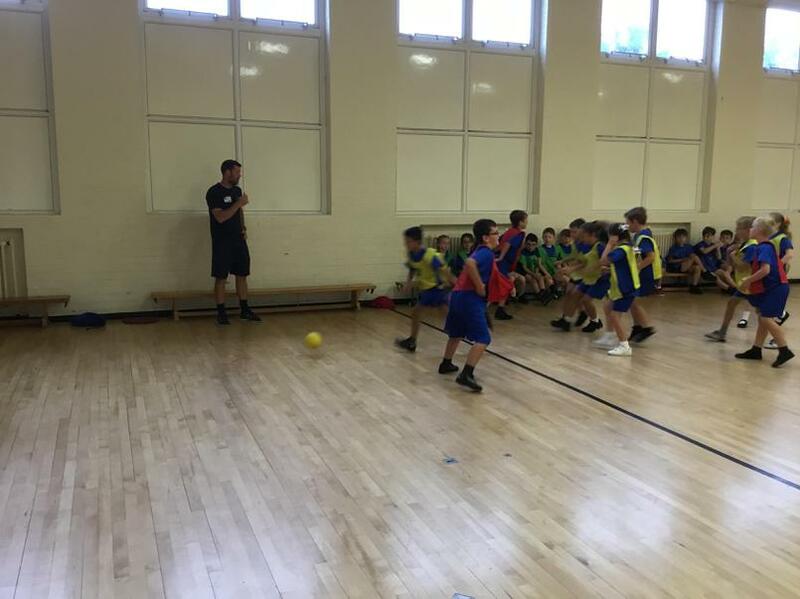 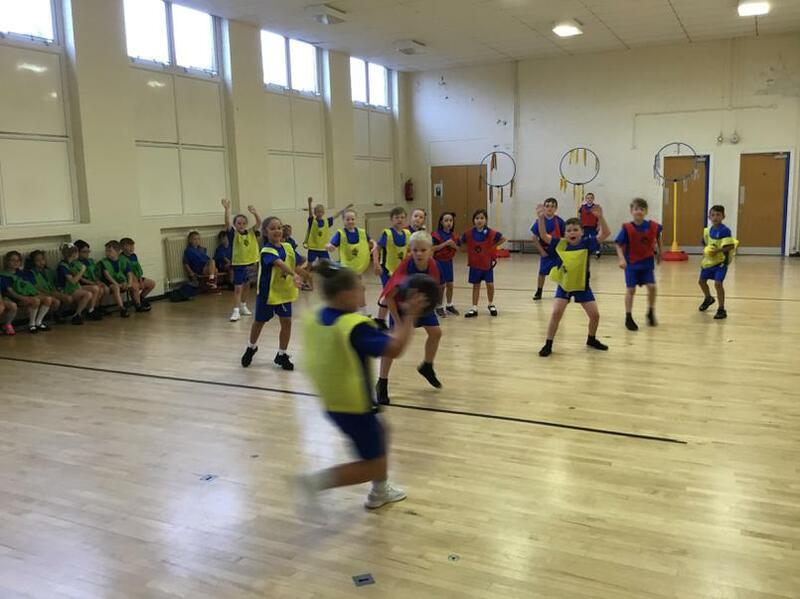 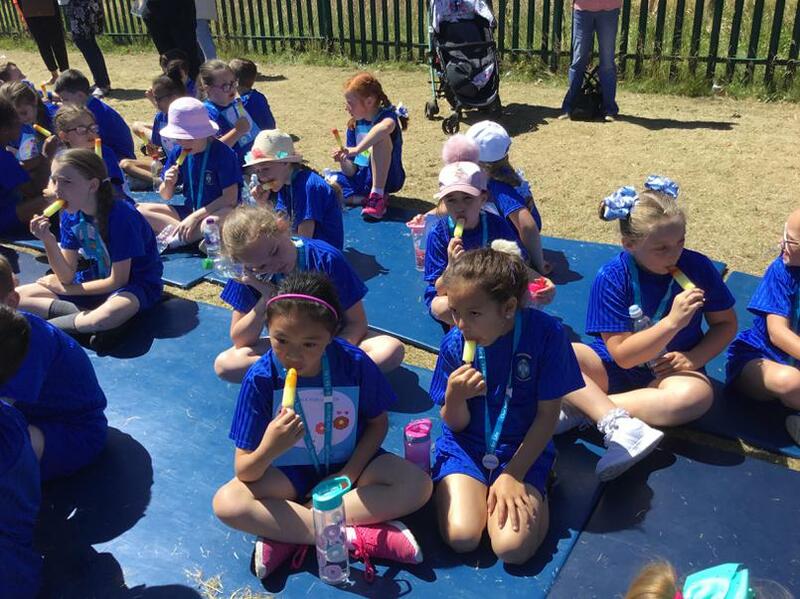 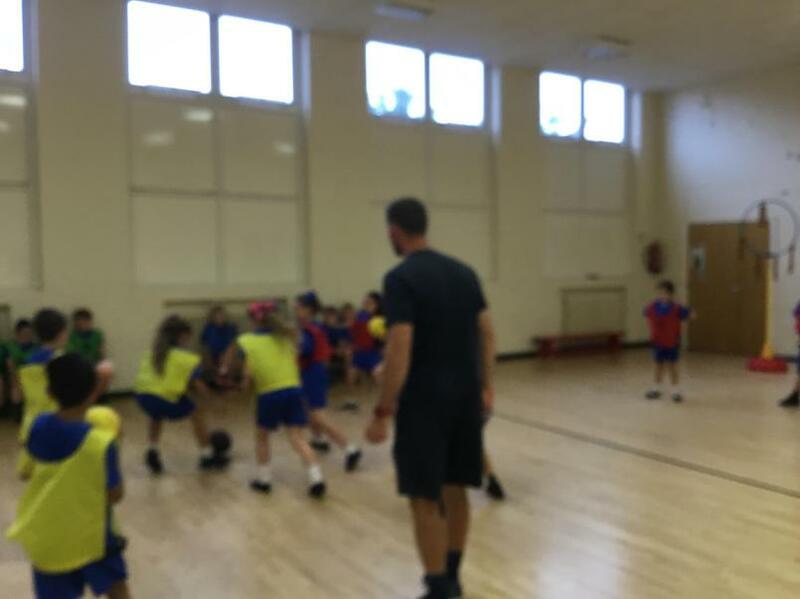 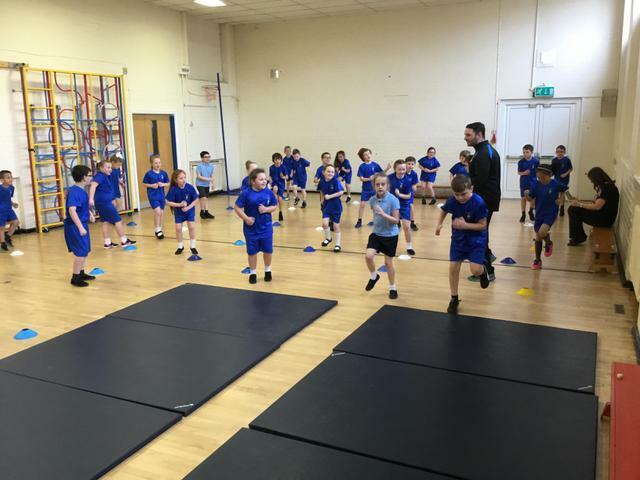 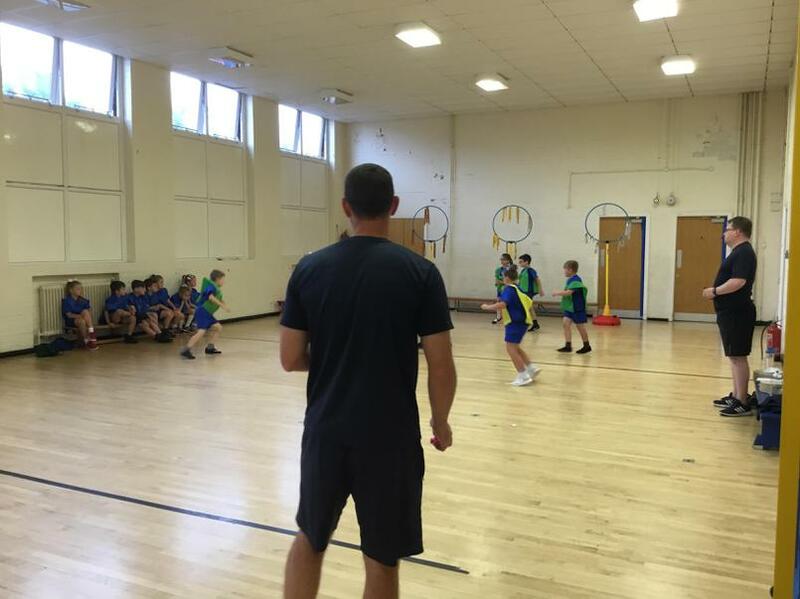 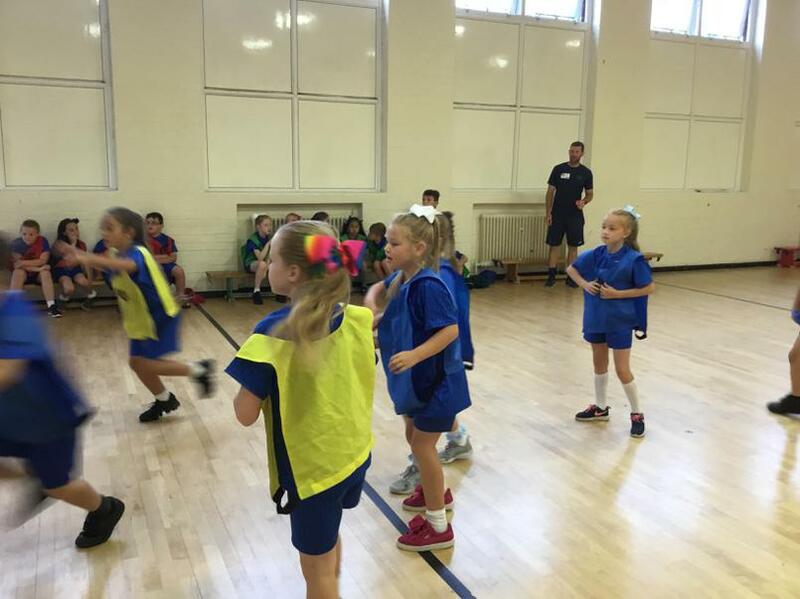 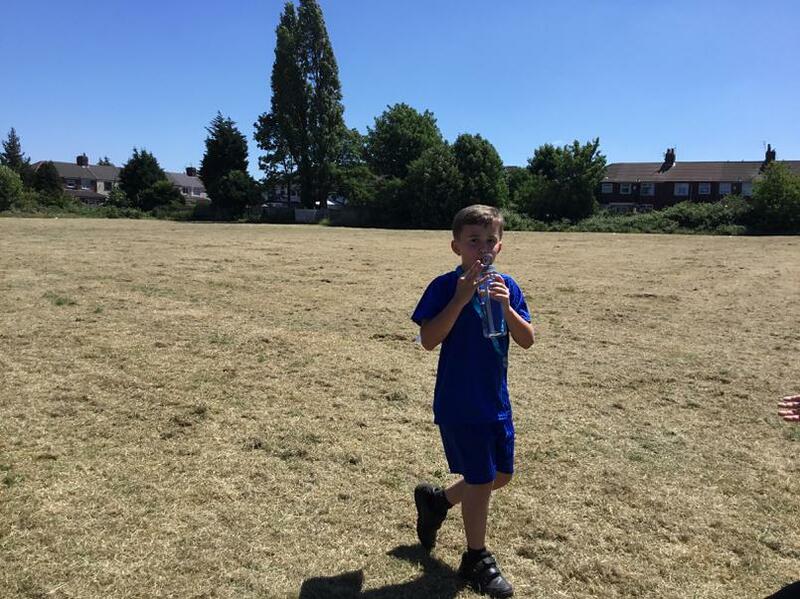 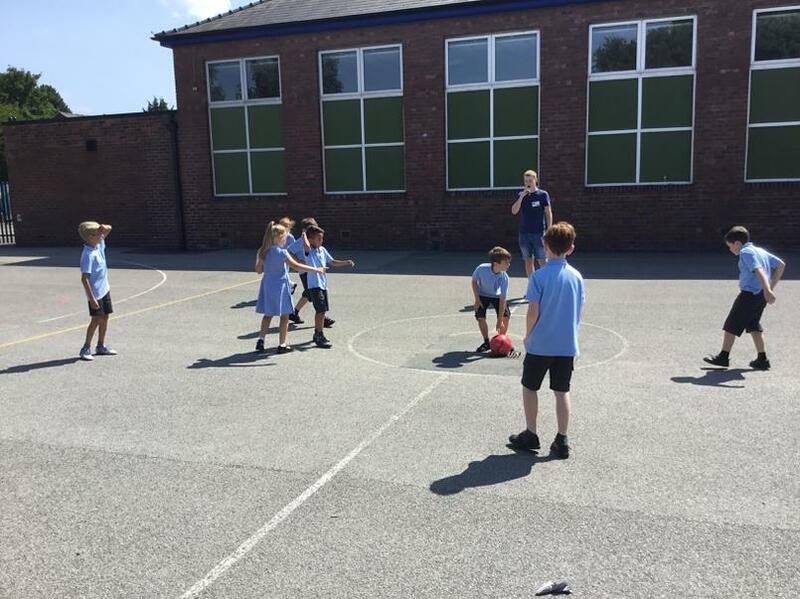 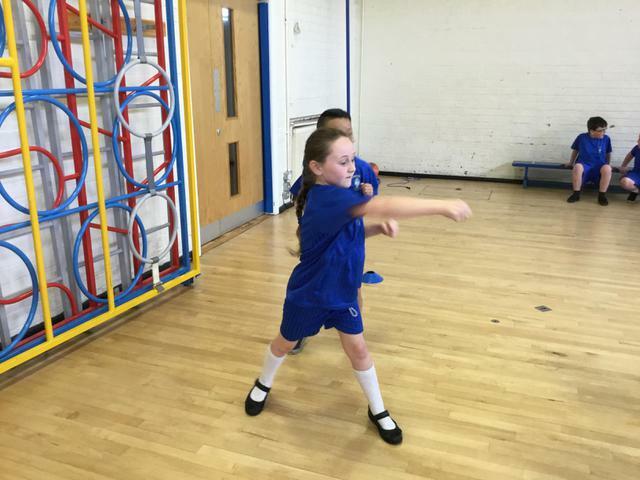 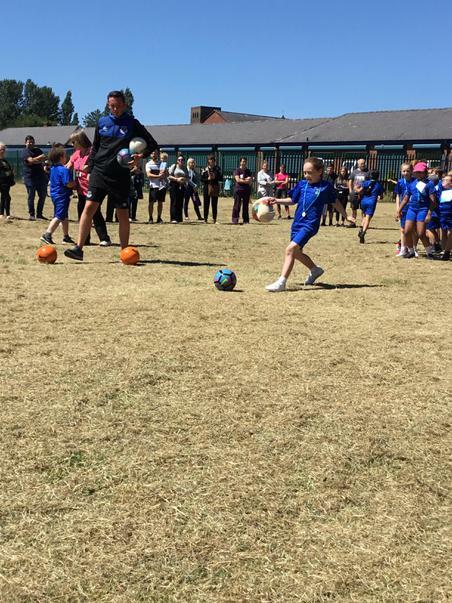 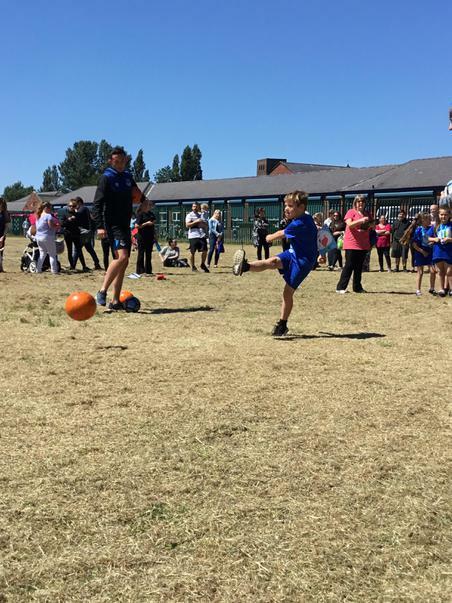 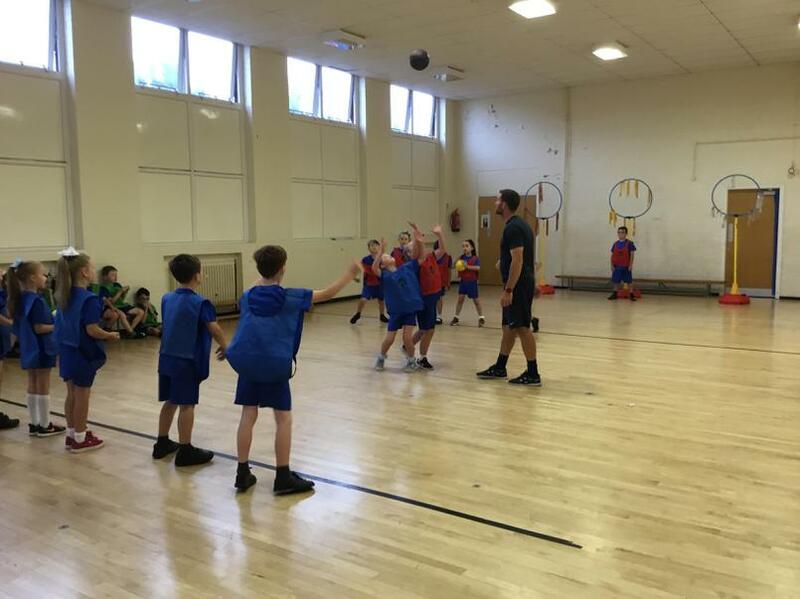 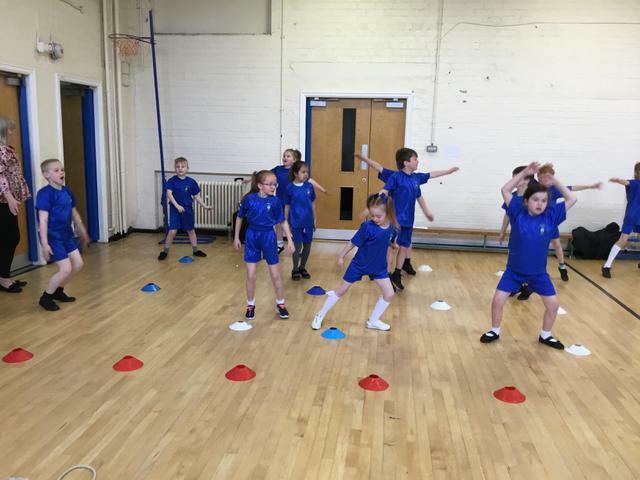 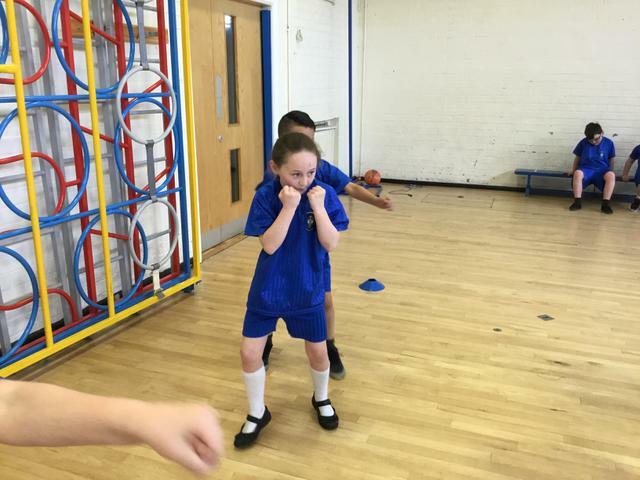 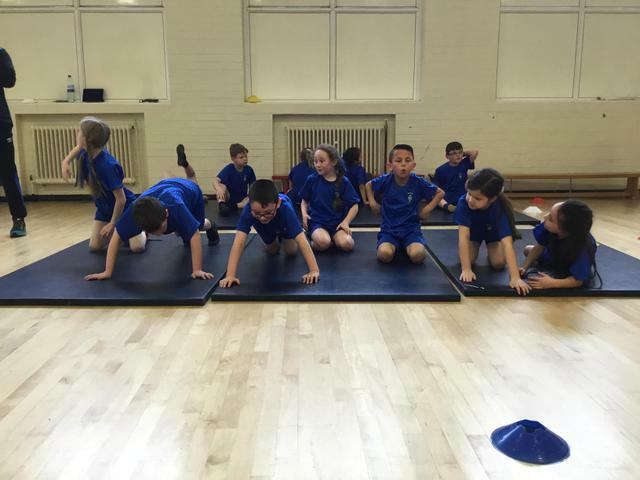 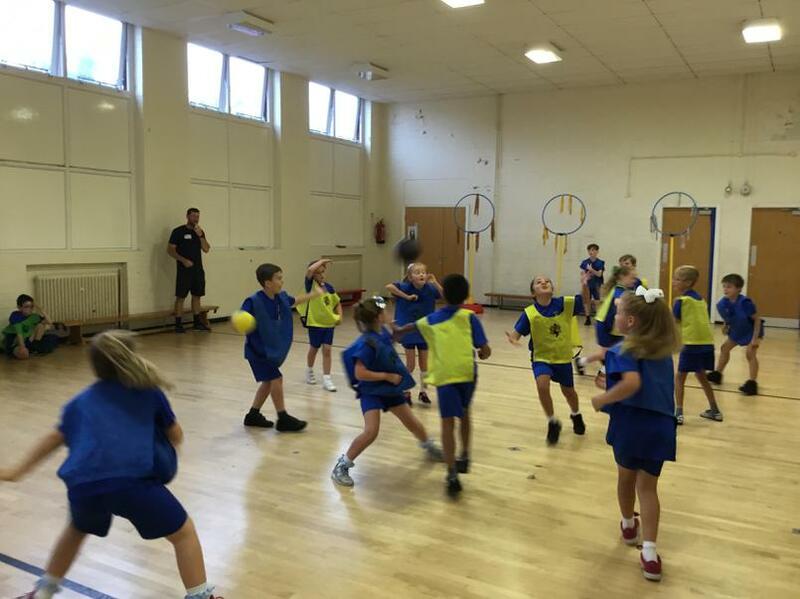 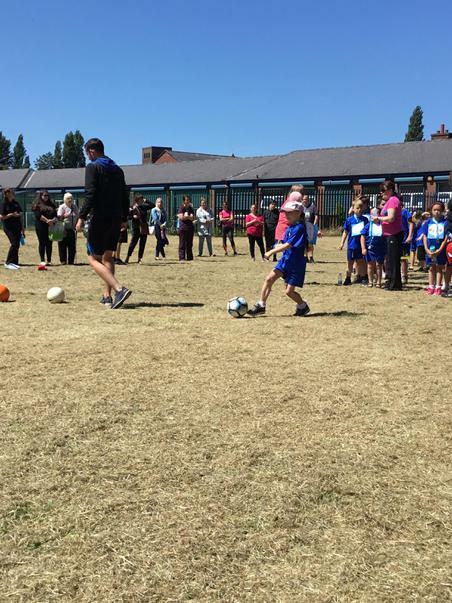 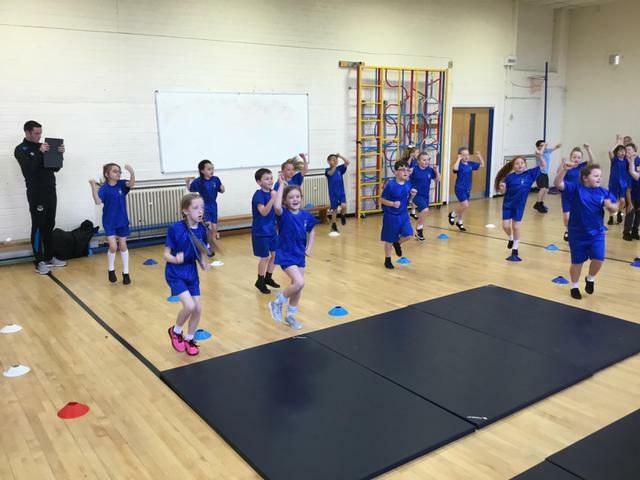 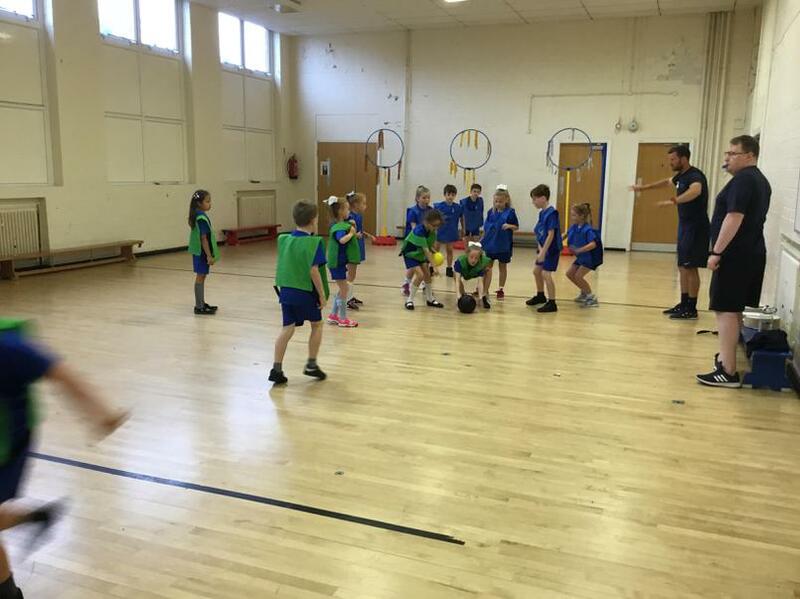 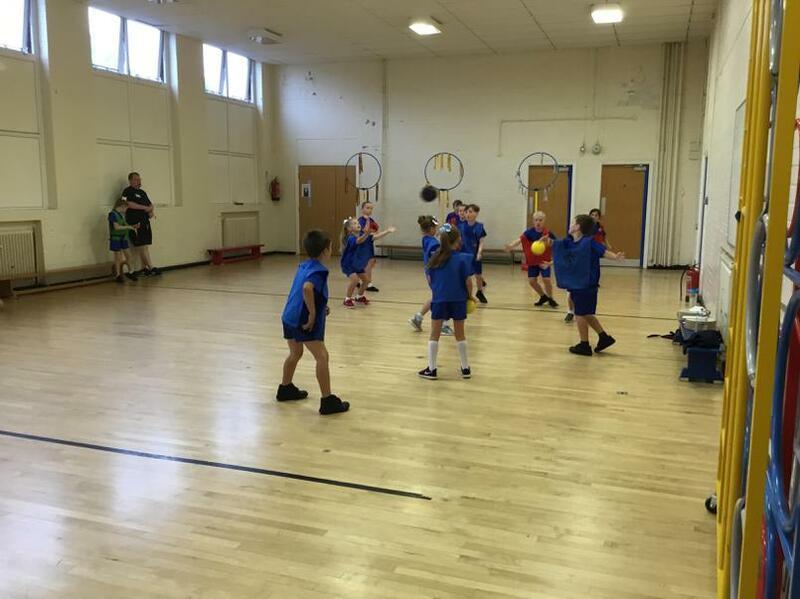 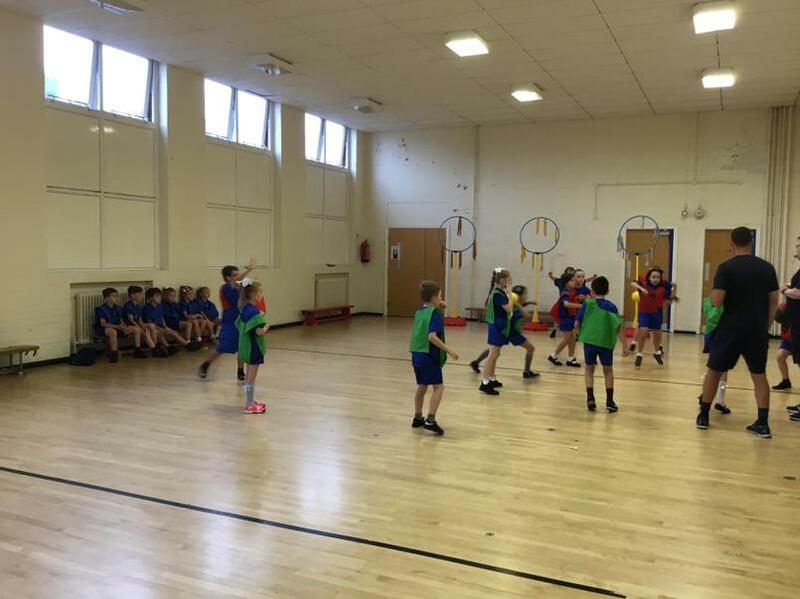 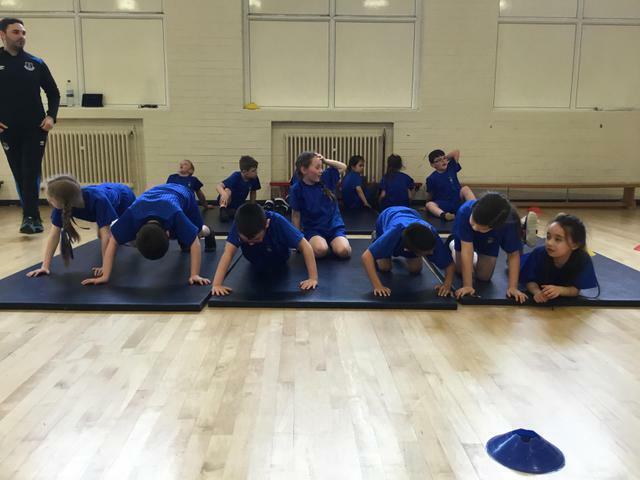 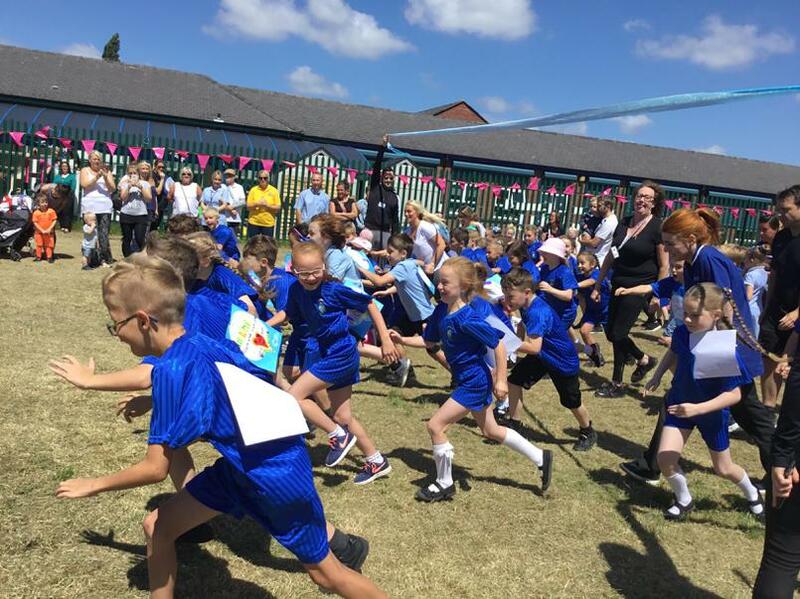 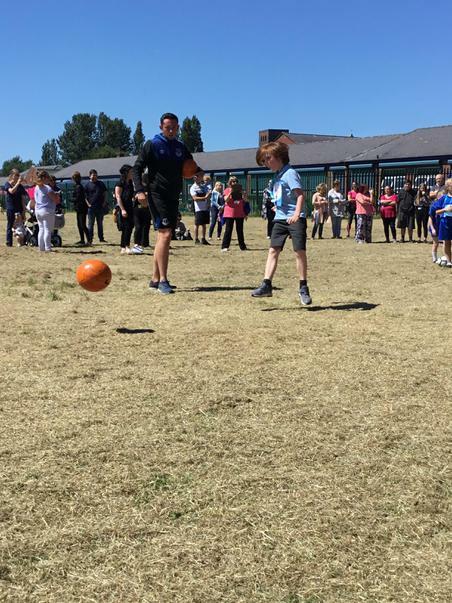 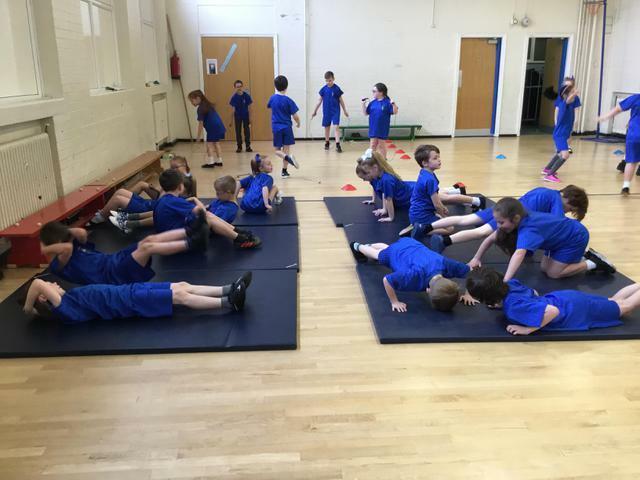 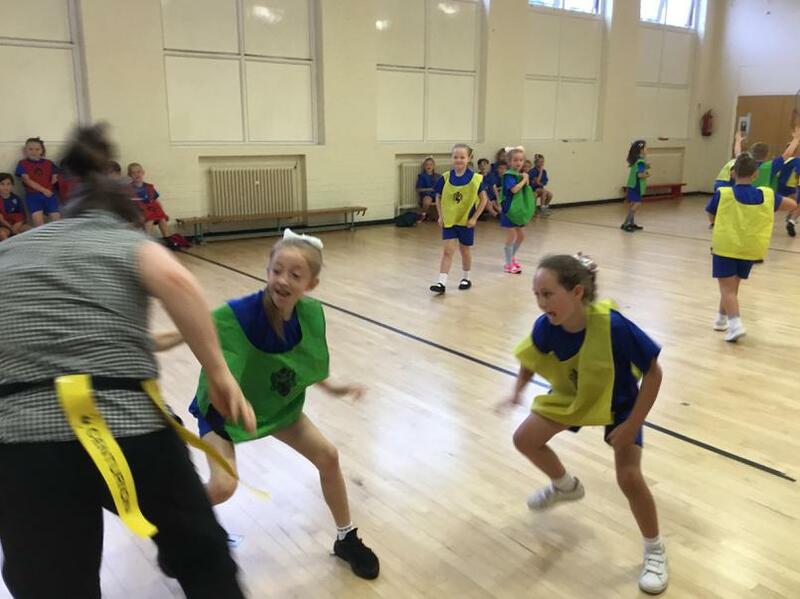 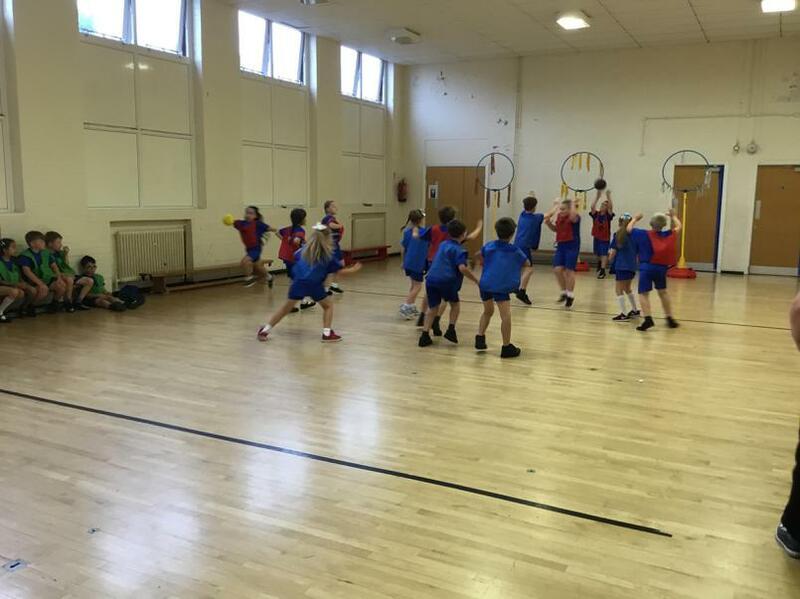 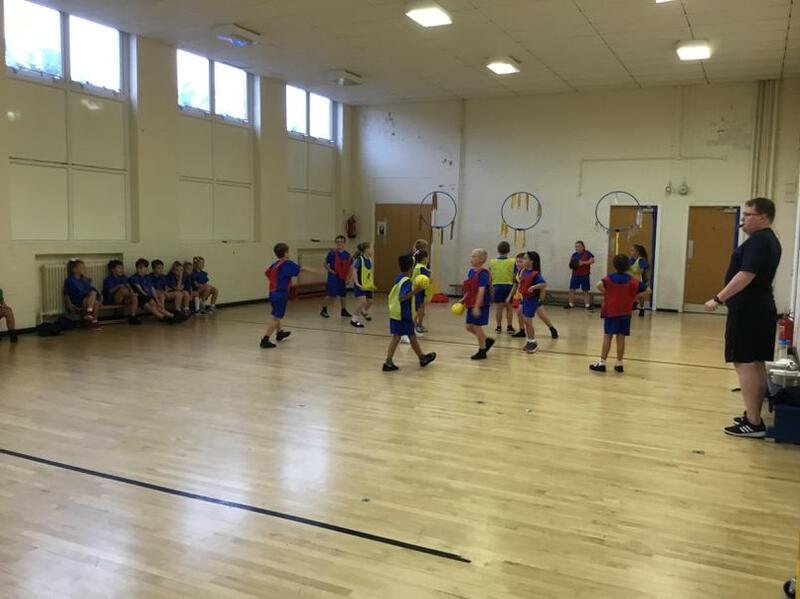 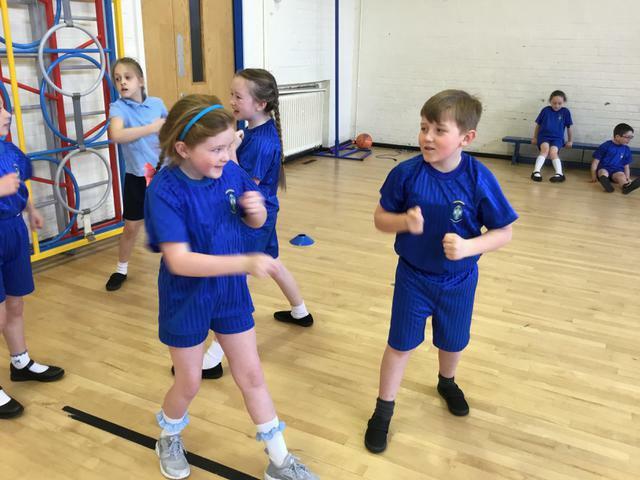 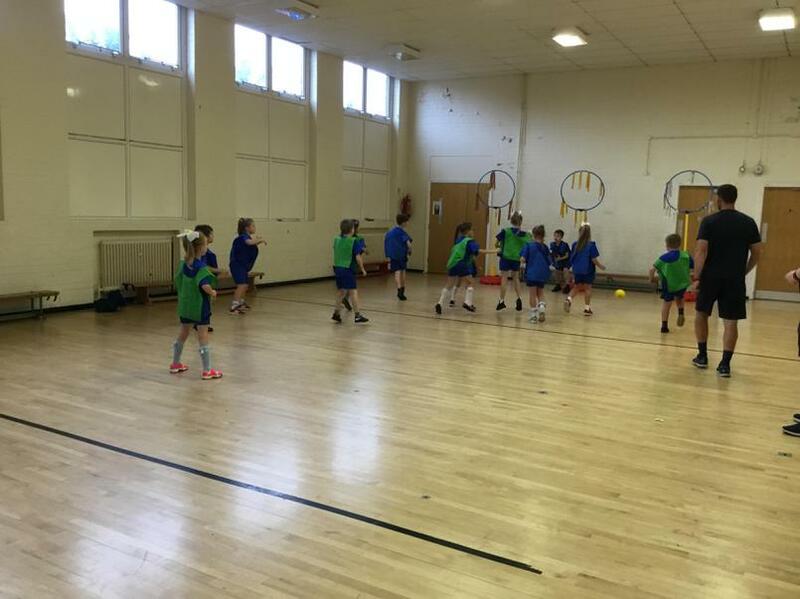 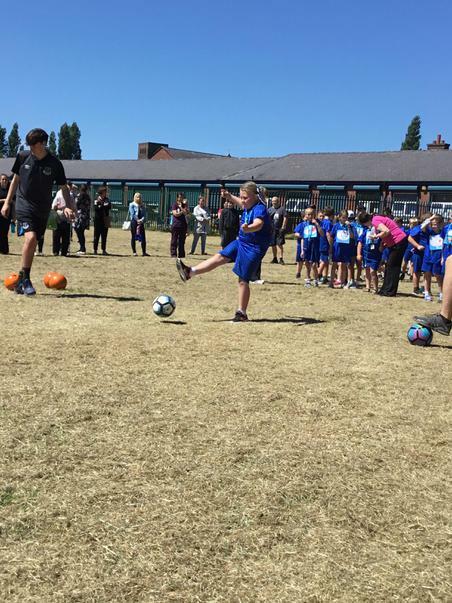 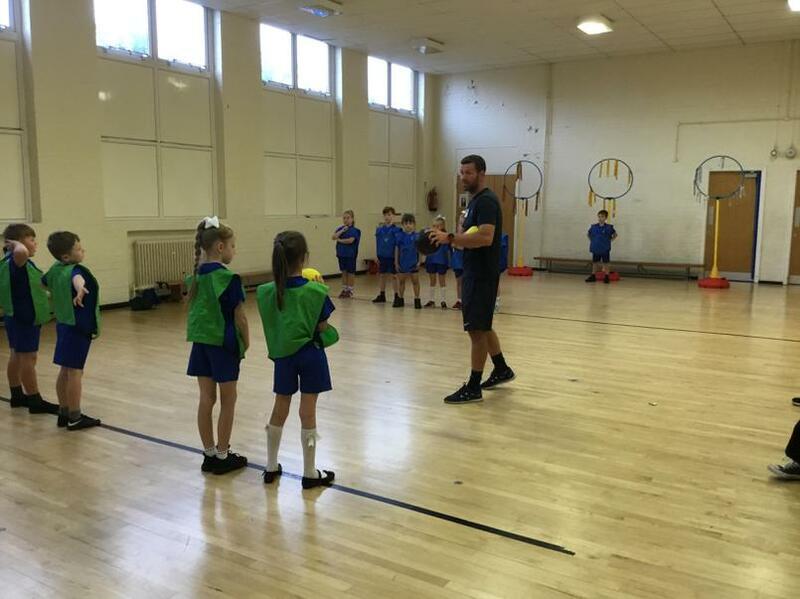 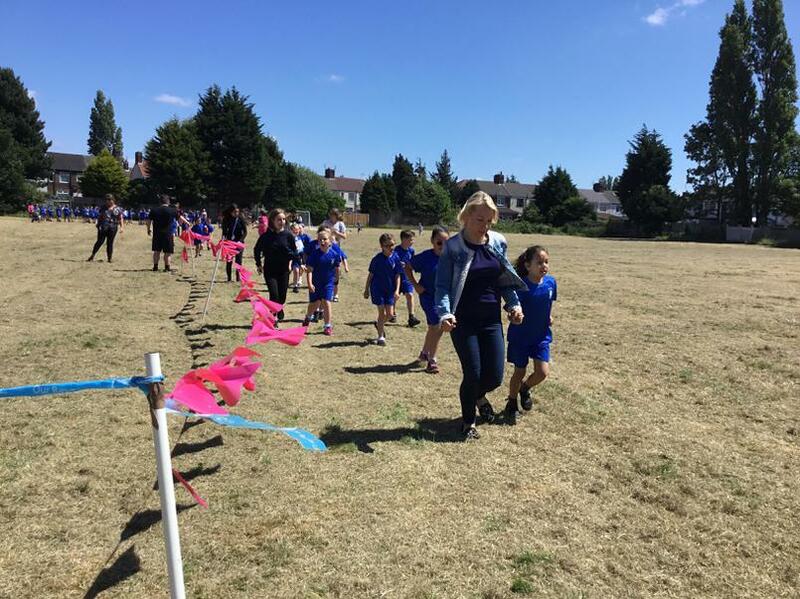 The children enjoyed half an hour of circuit training on Friday with Everton in the Community. 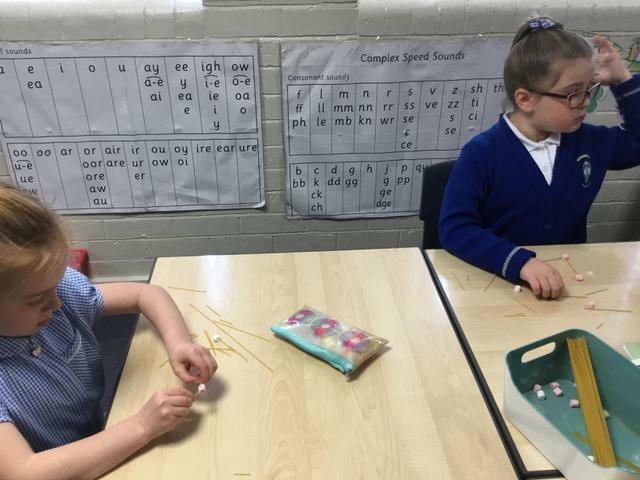 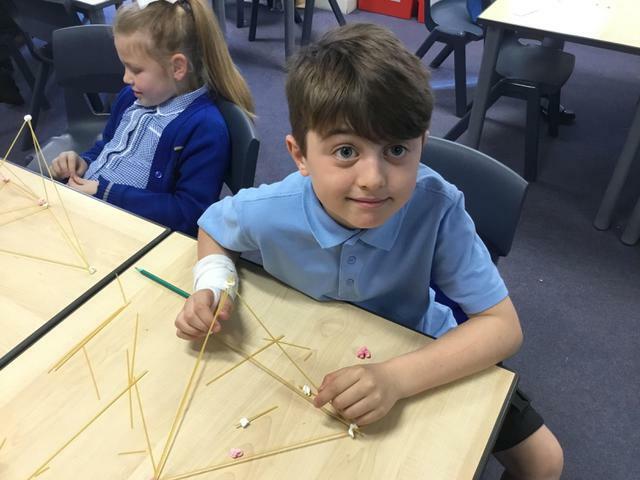 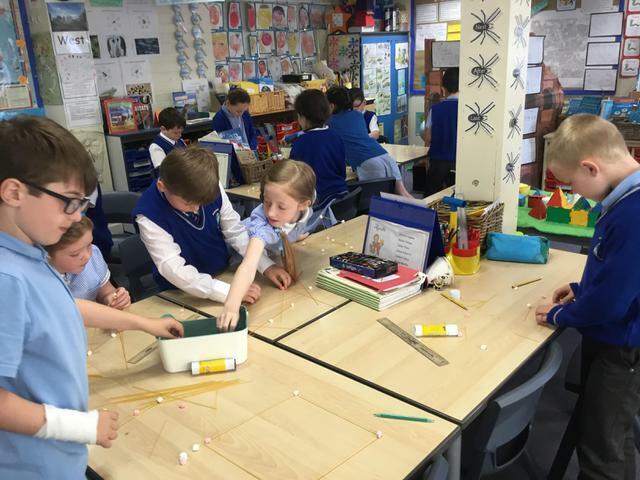 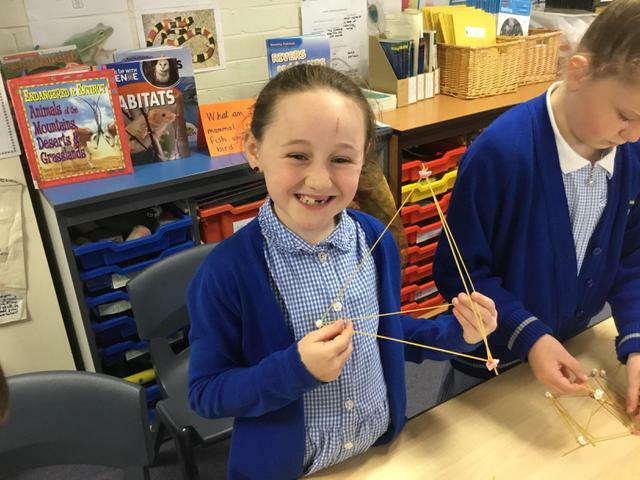 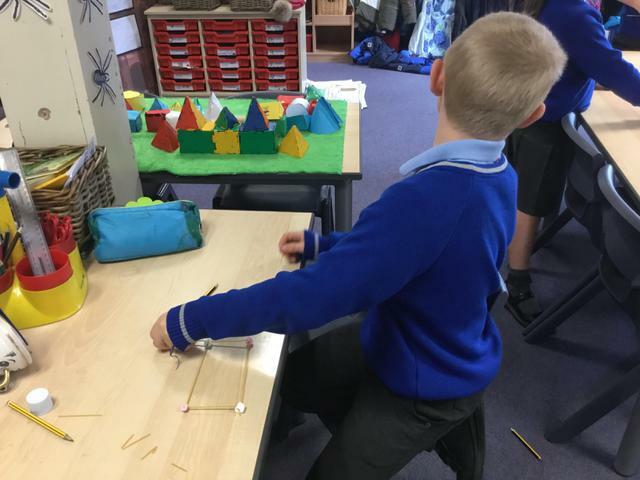 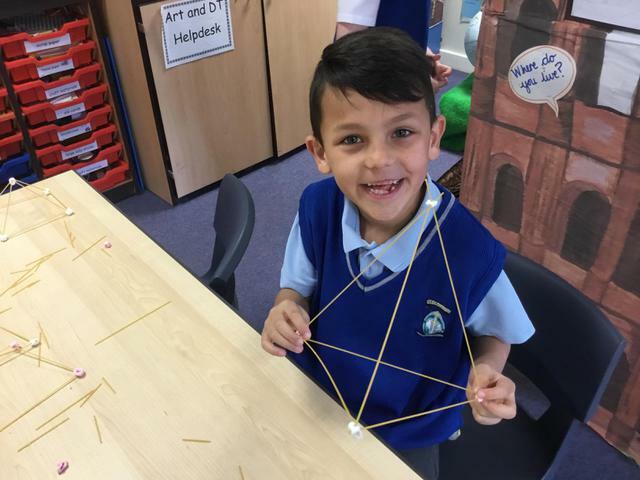 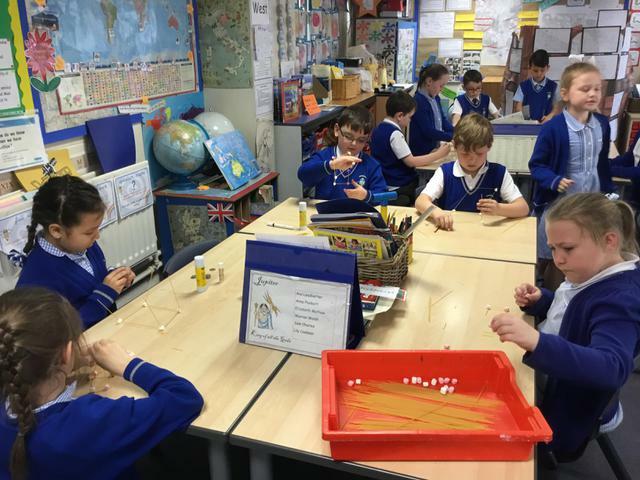 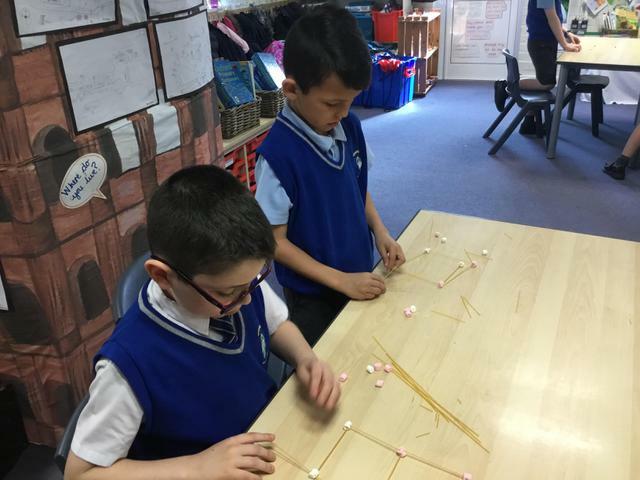 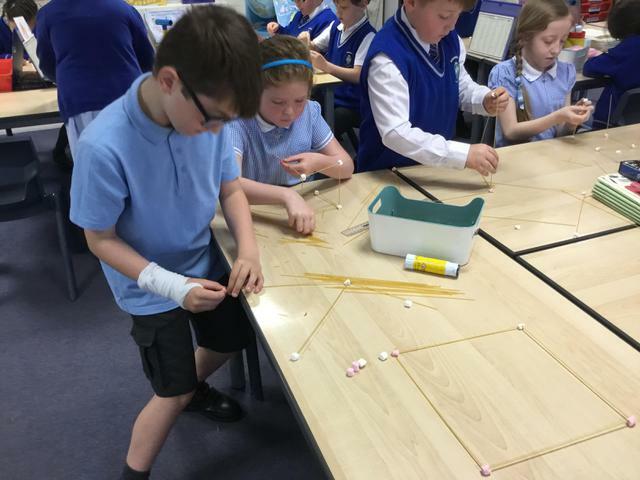 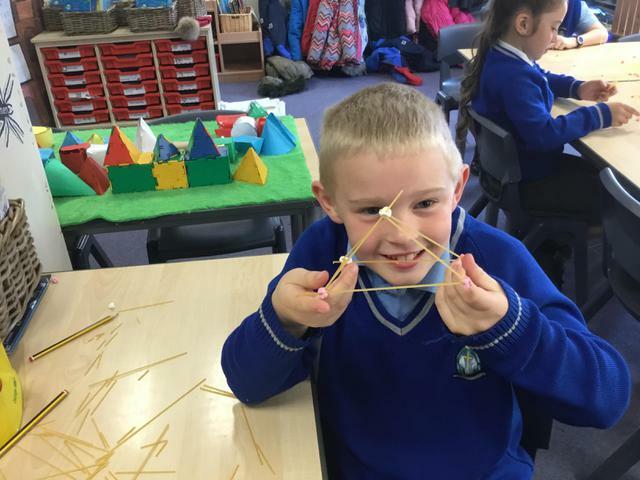 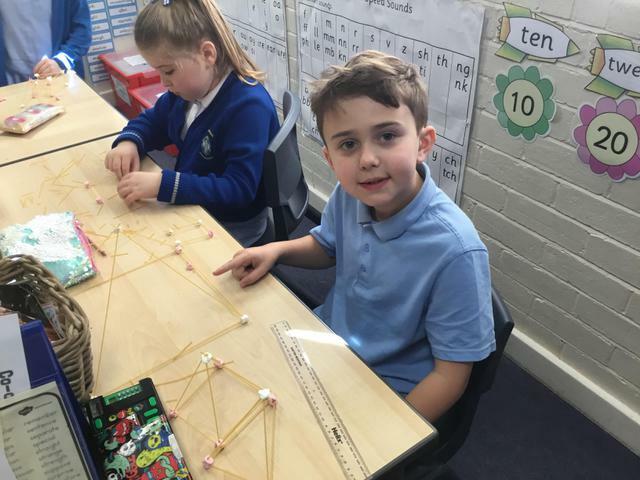 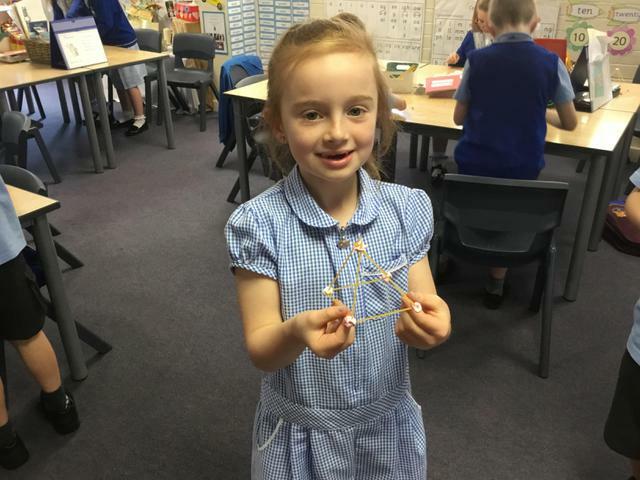 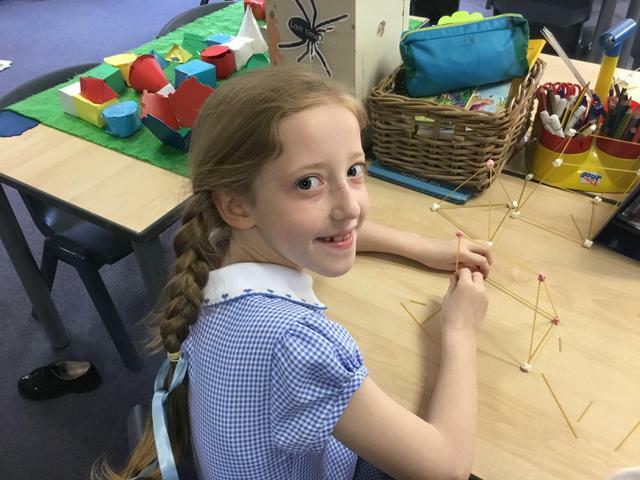 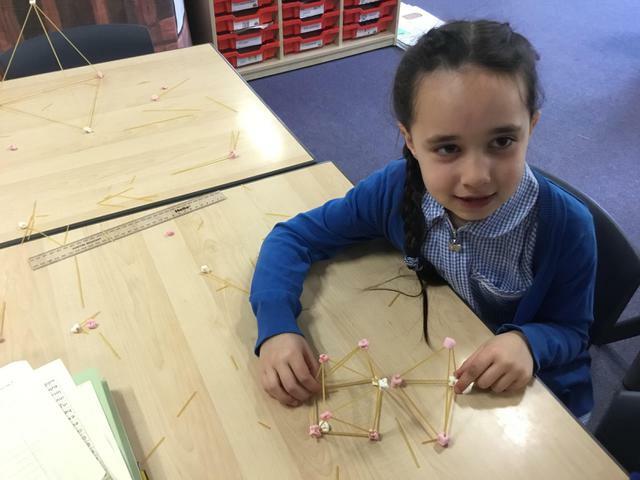 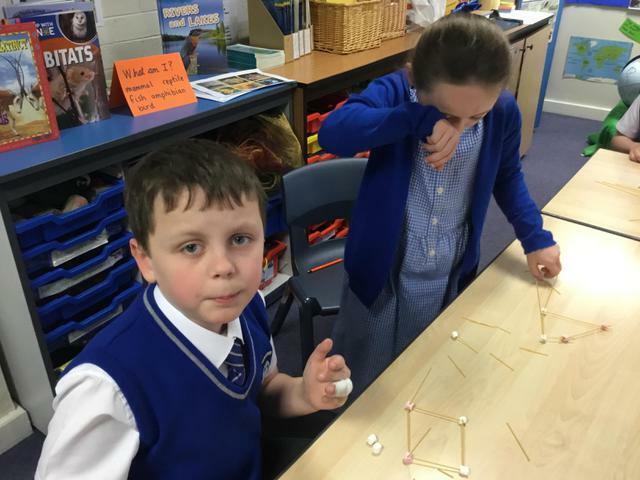 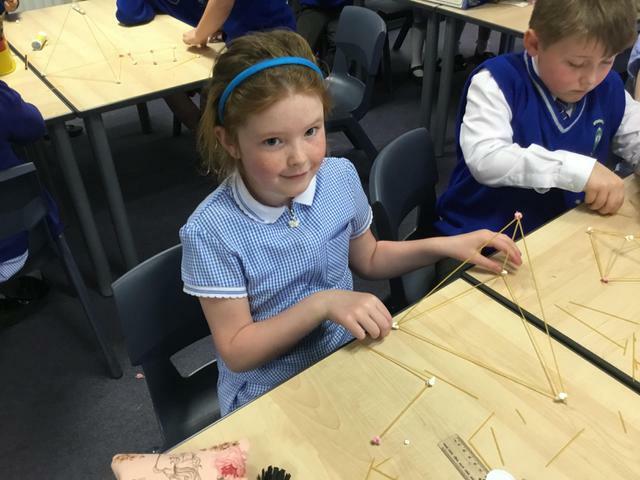 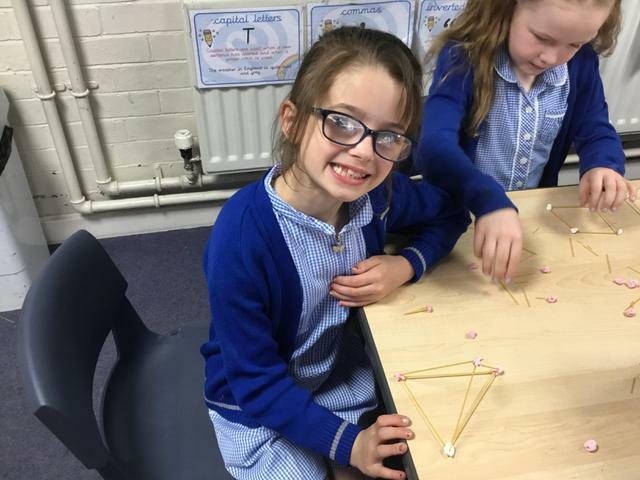 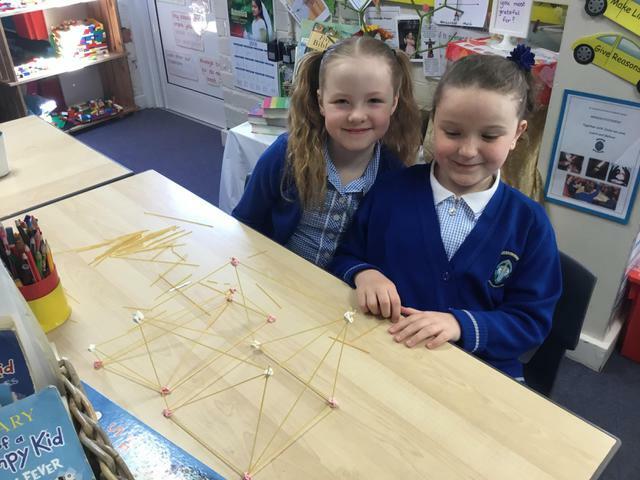 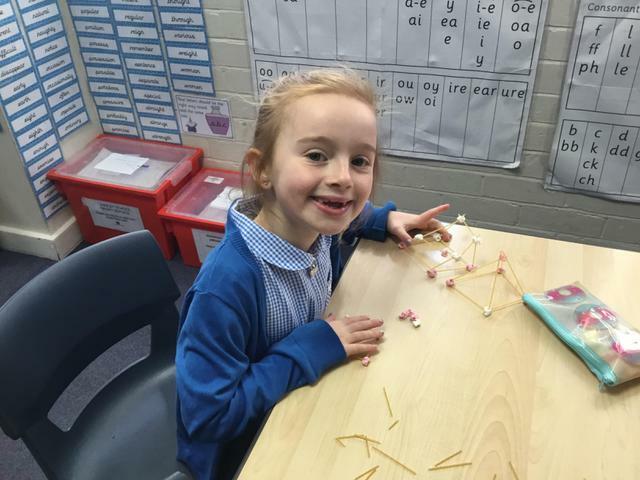 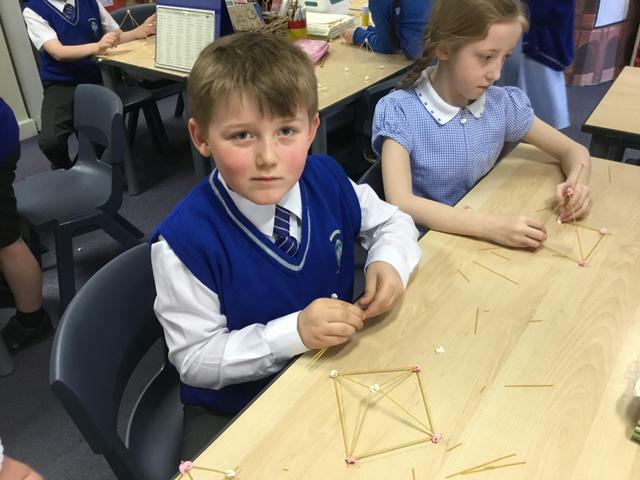 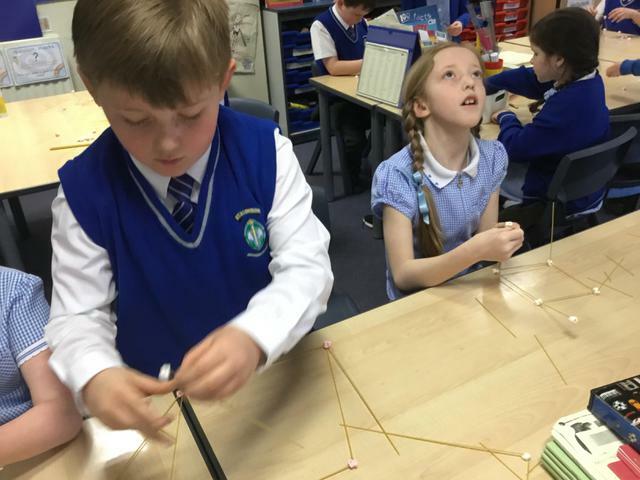 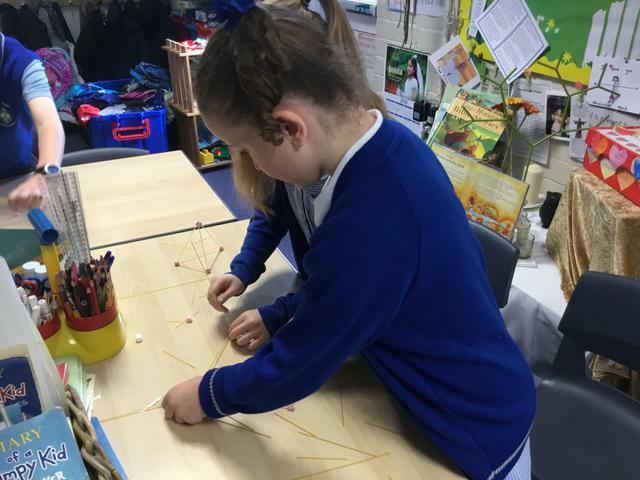 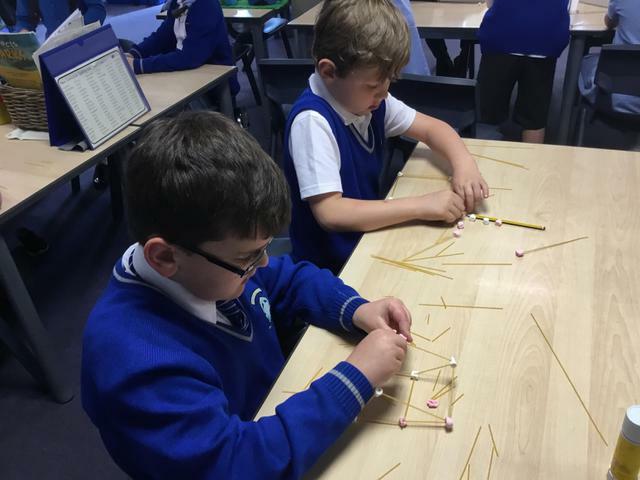 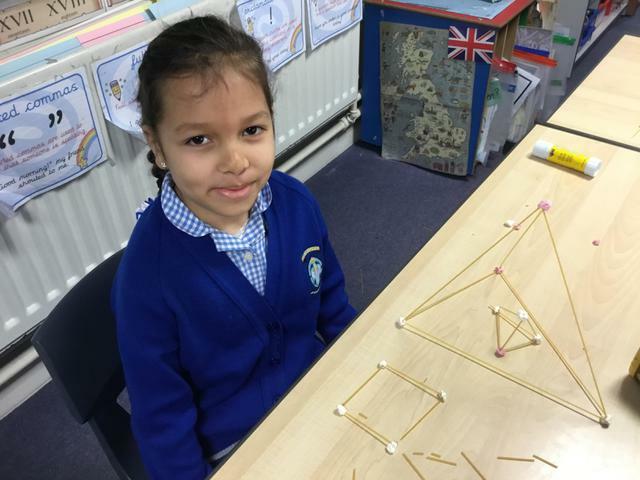 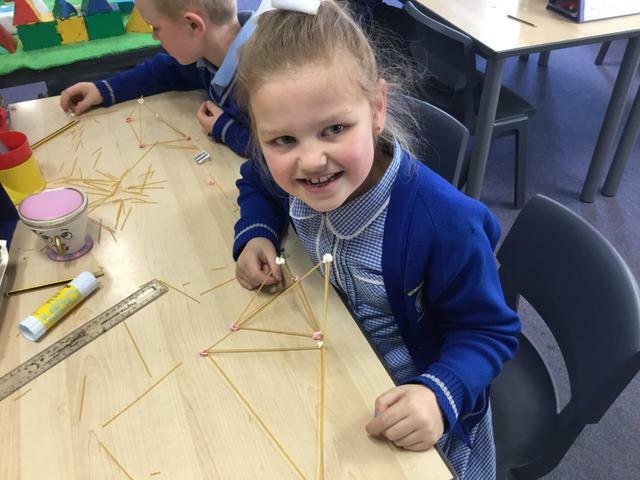 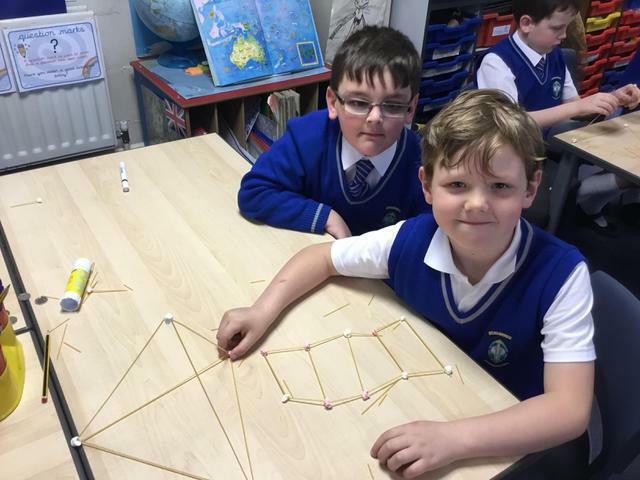 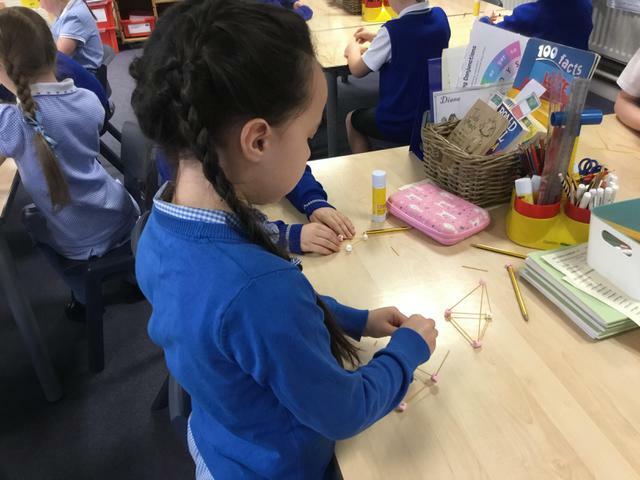 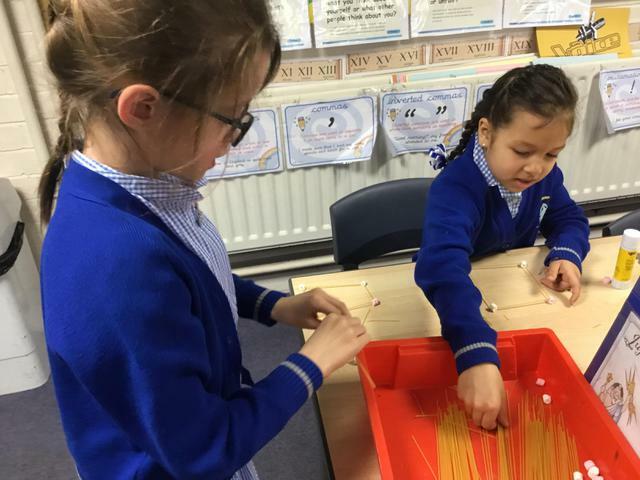 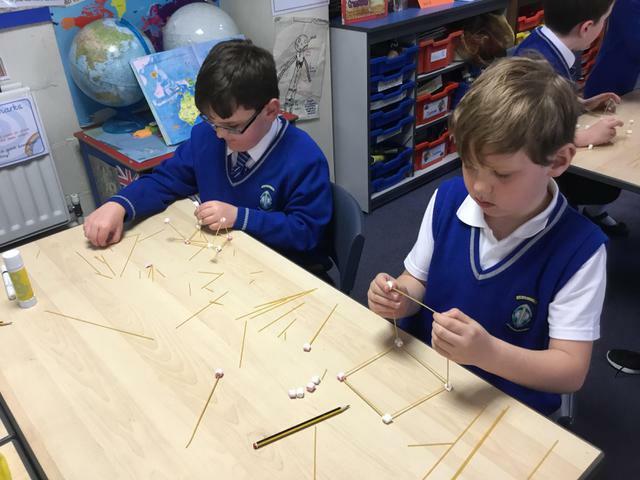 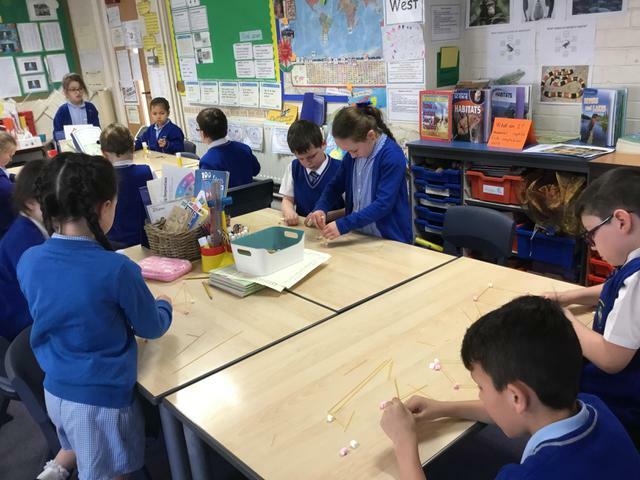 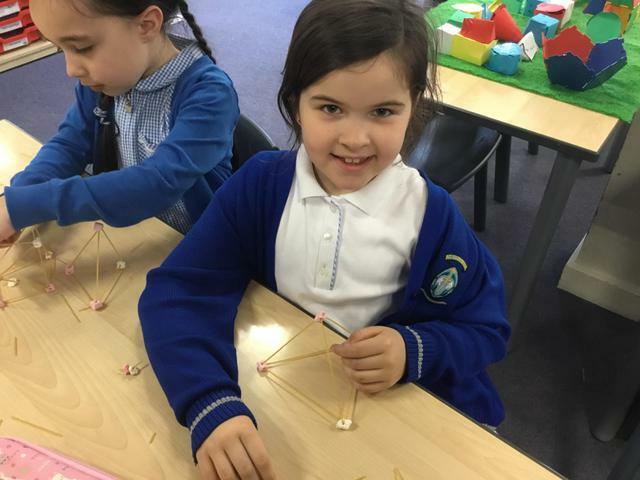 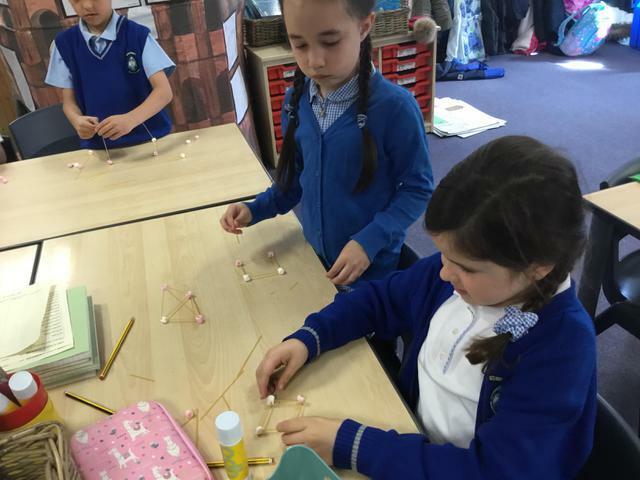 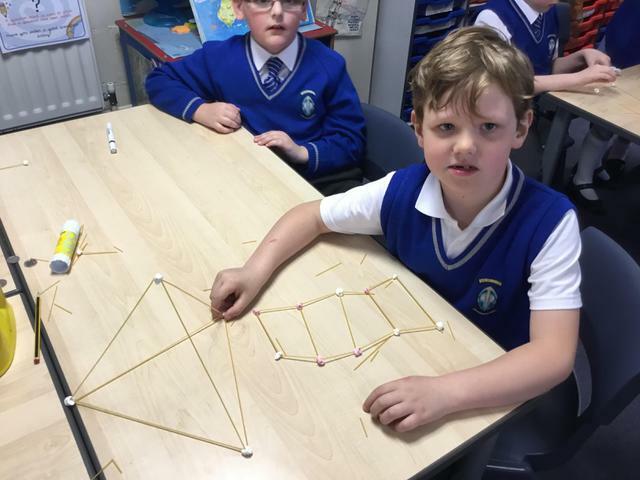 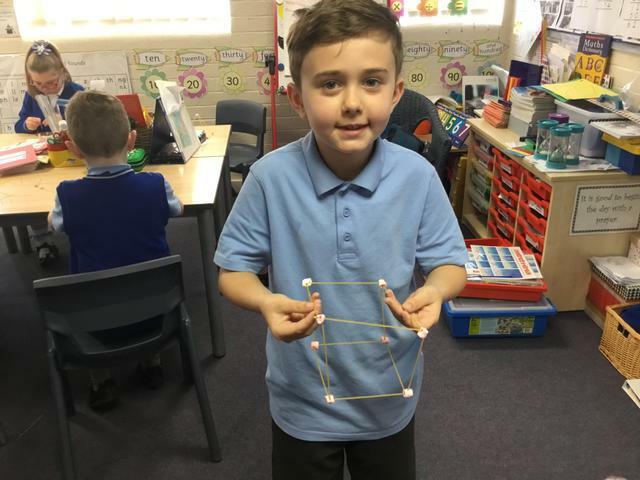 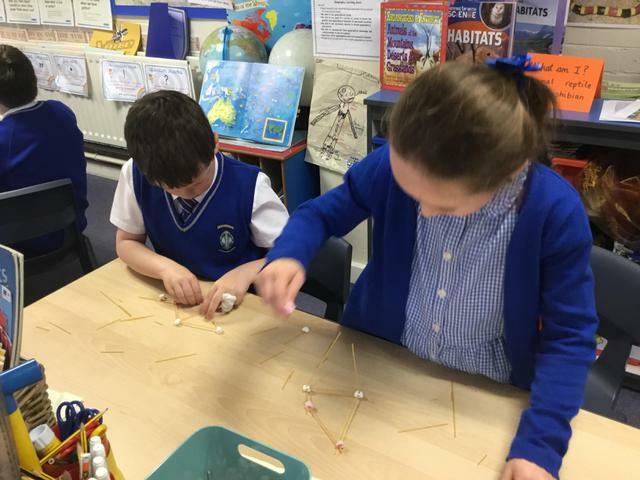 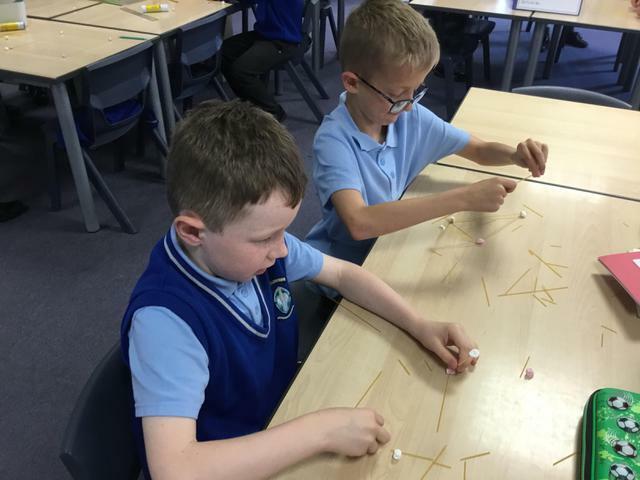 The children have made a variety of 3D shapes and structures this week from card, spaghetti and marshmallows. 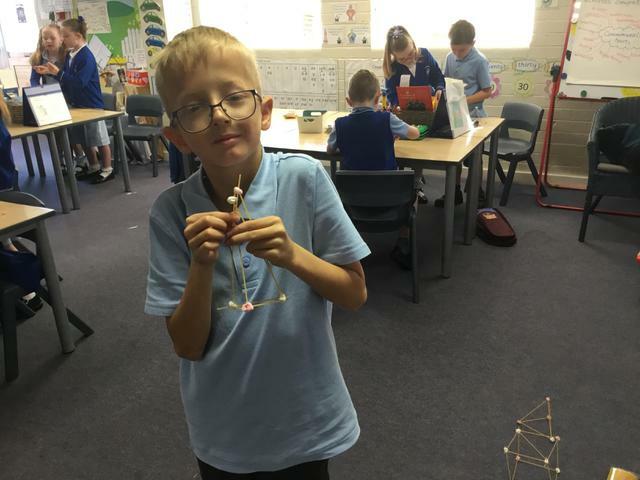 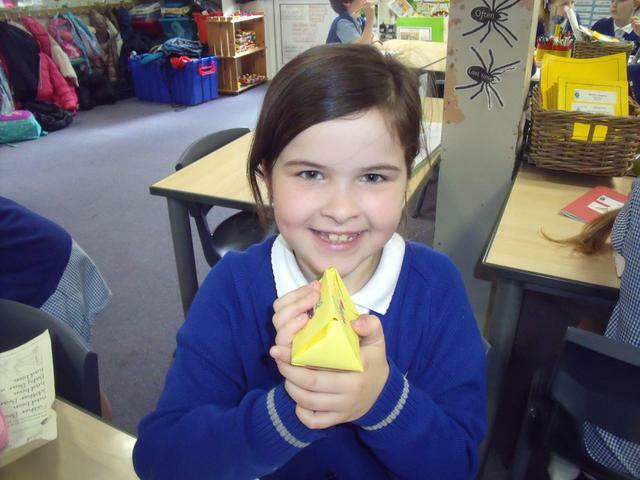 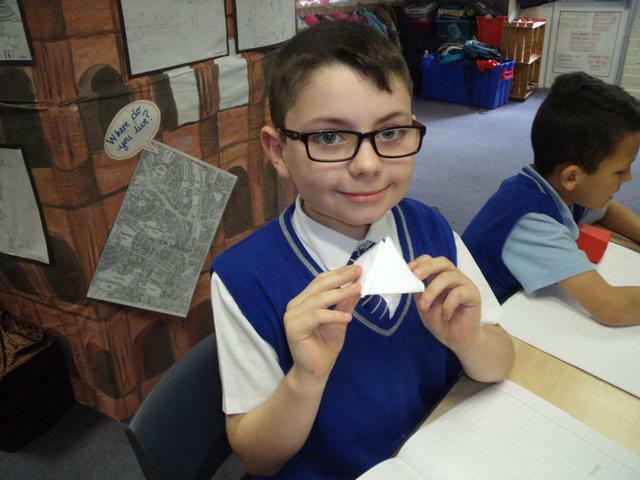 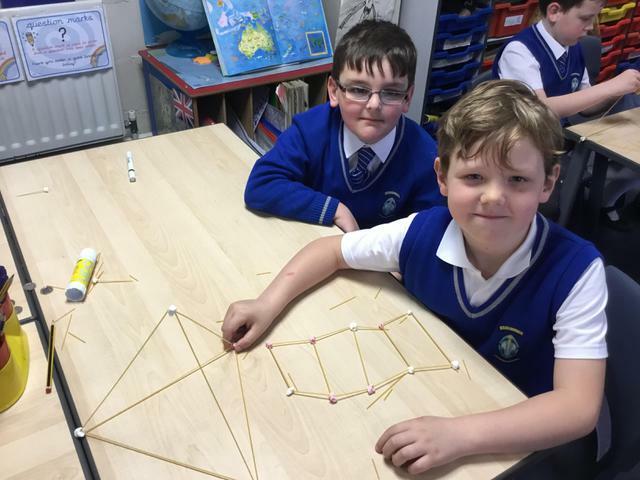 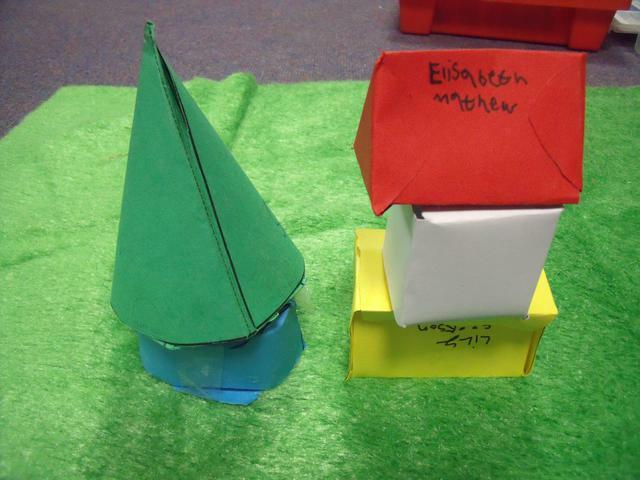 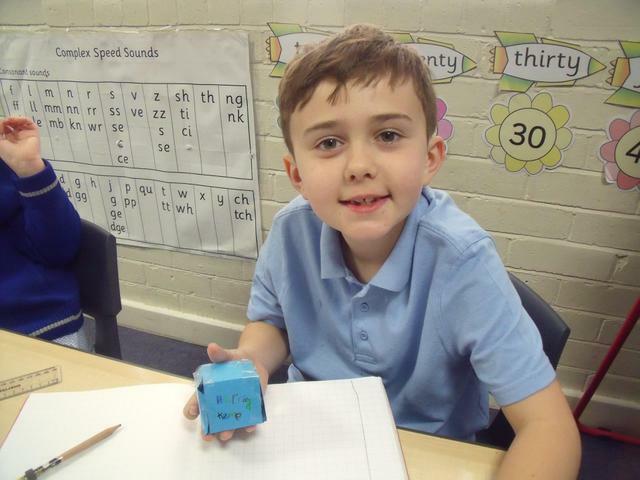 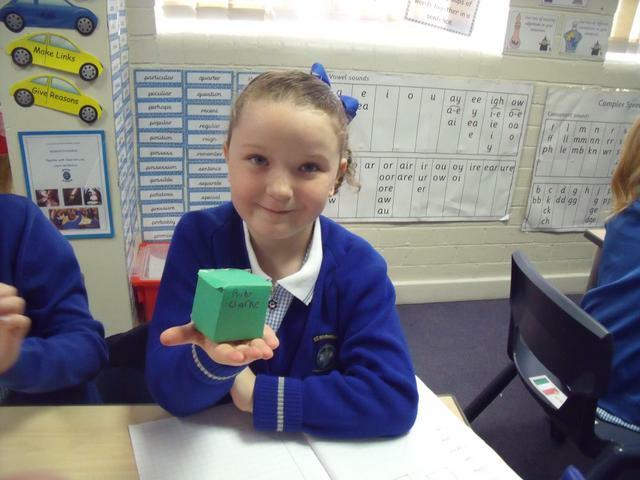 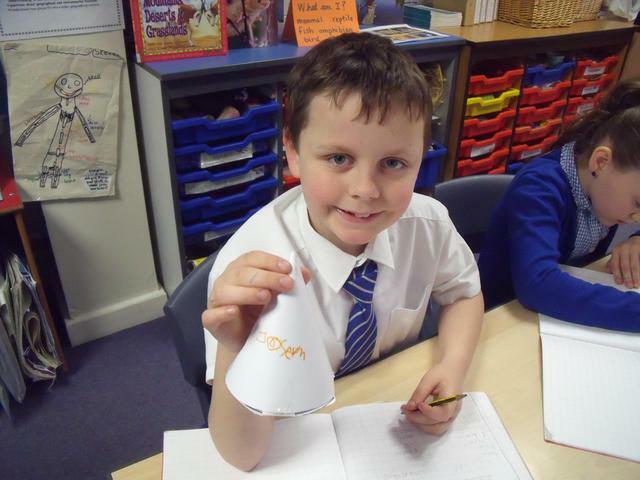 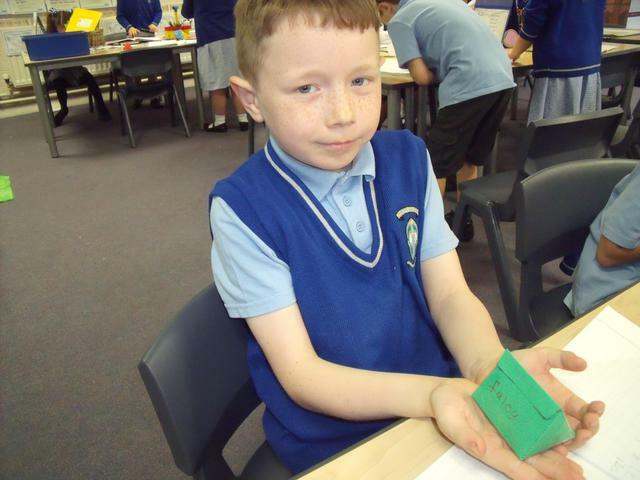 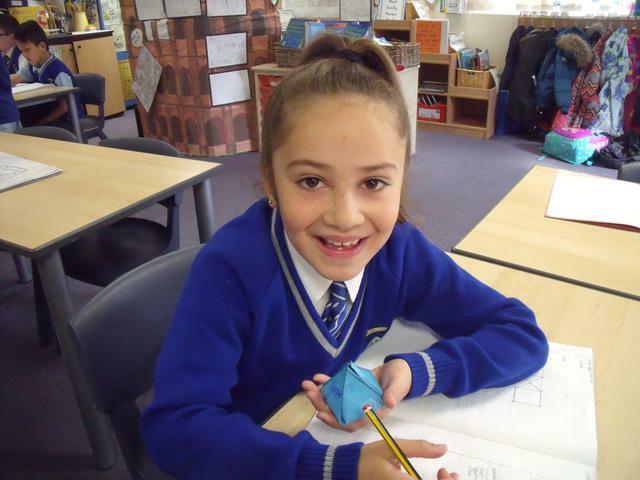 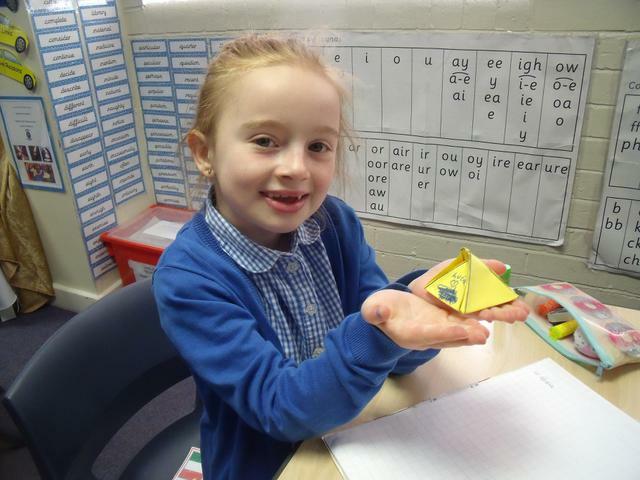 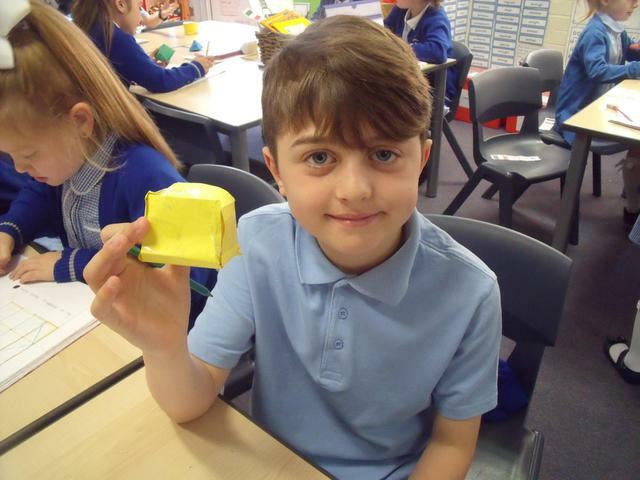 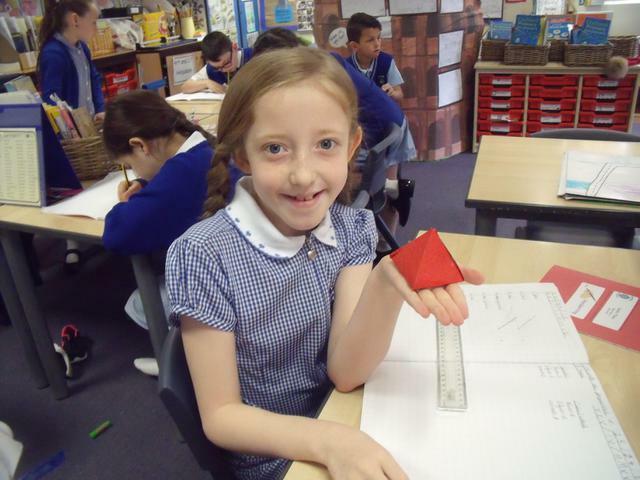 They made cubes, cones, cuboids, cylinders, triangular prisms, square based pyramids and triangular based pyramids.